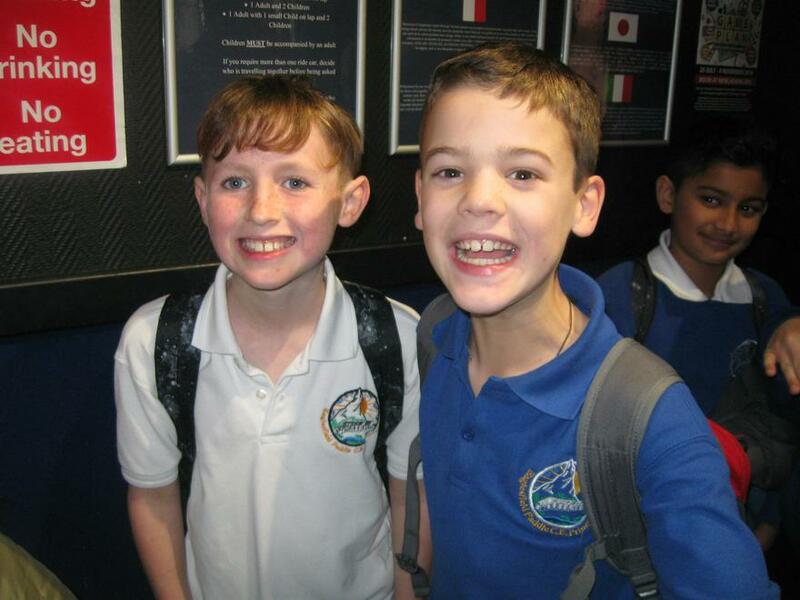 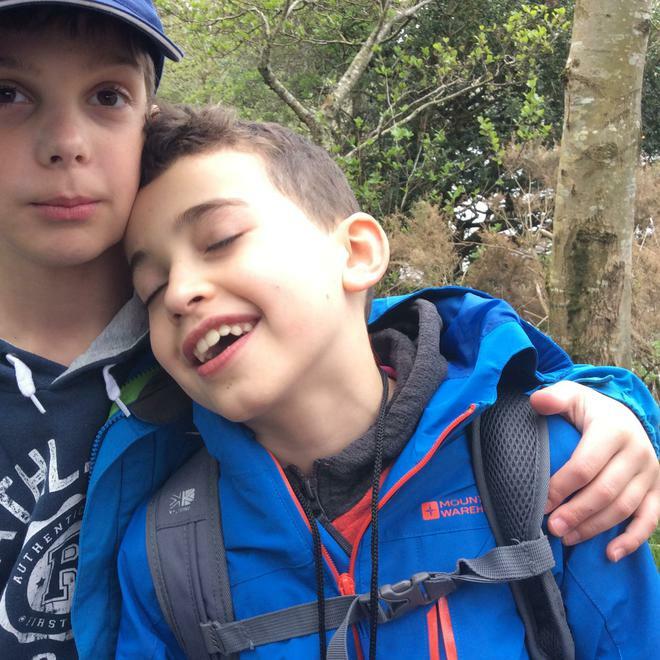 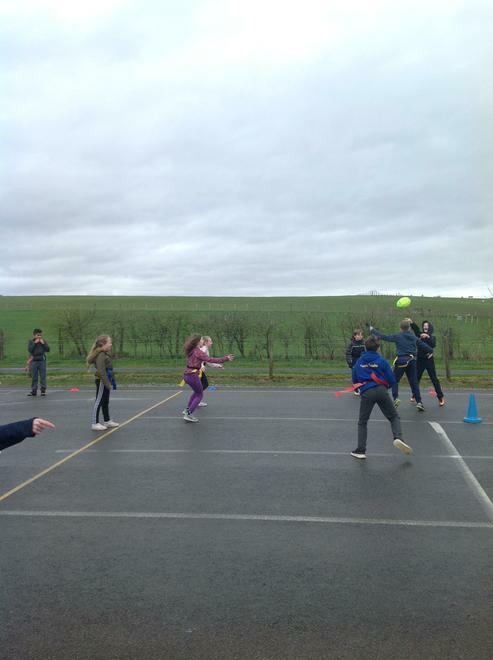 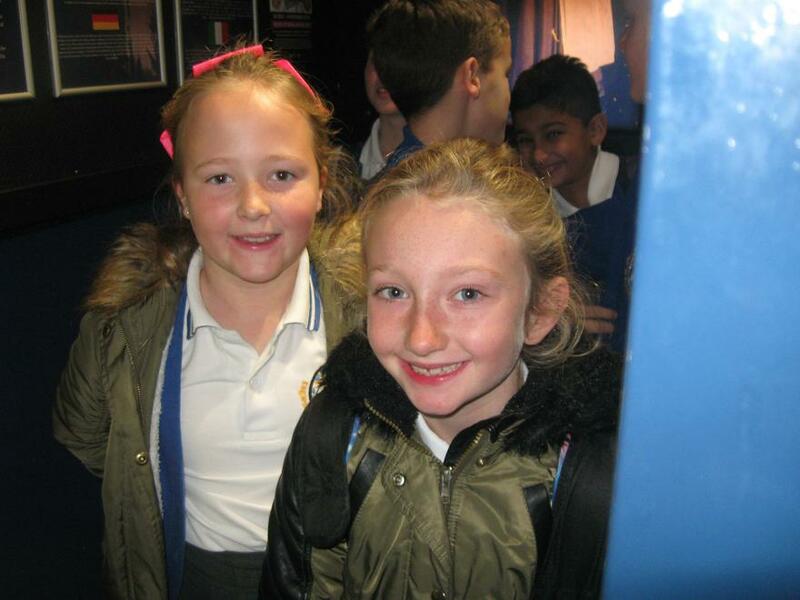 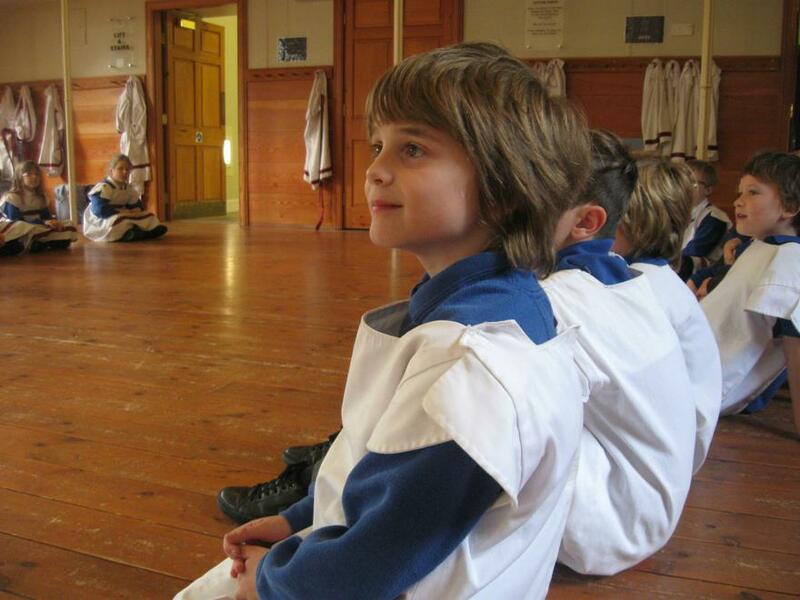 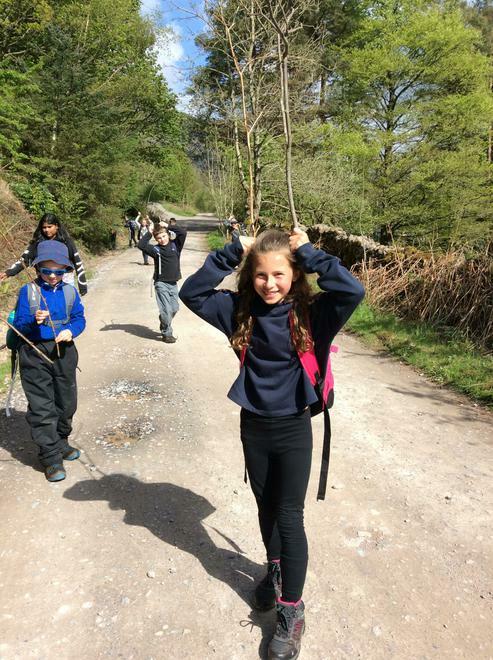 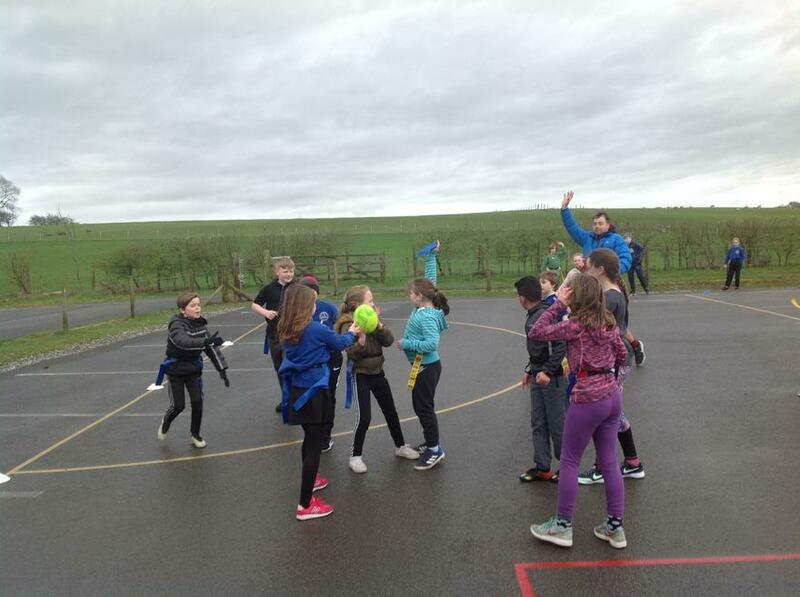 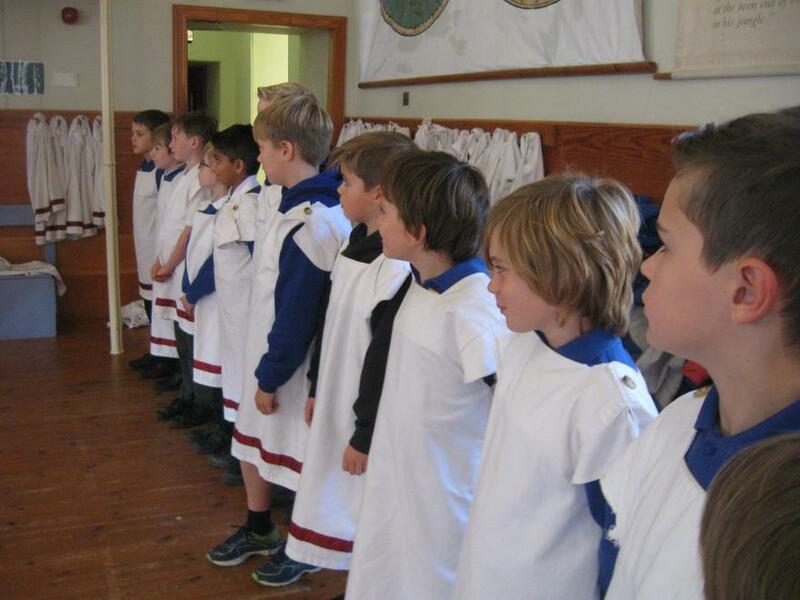 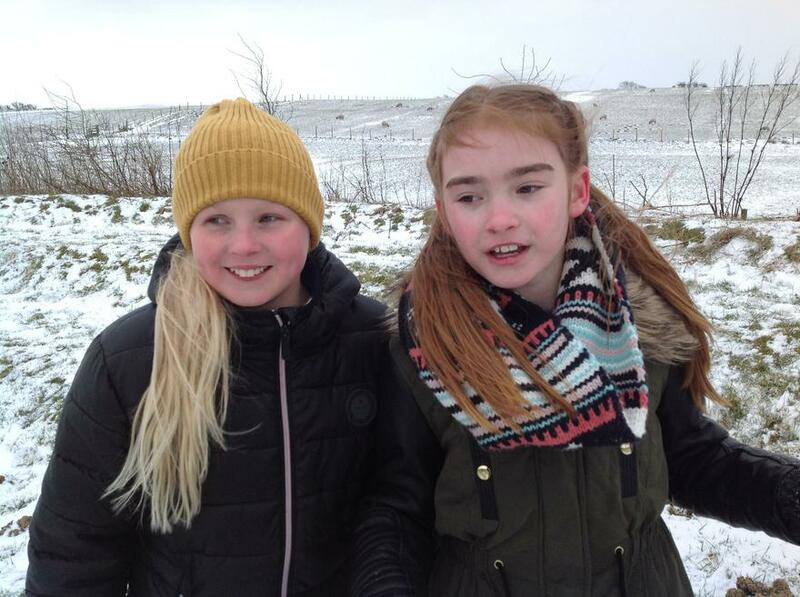 Year 5 is an exciting and challenging year for the children as they are expected to take a more mature and independent approach towards learning. 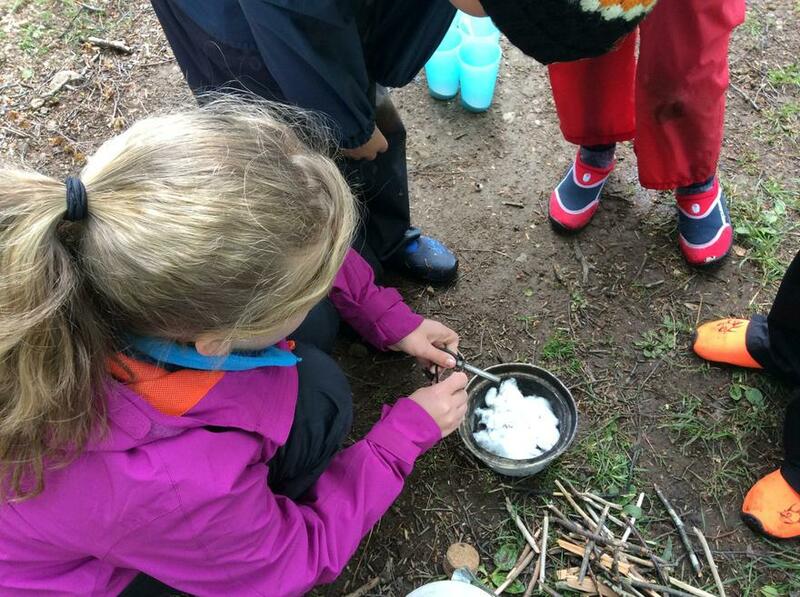 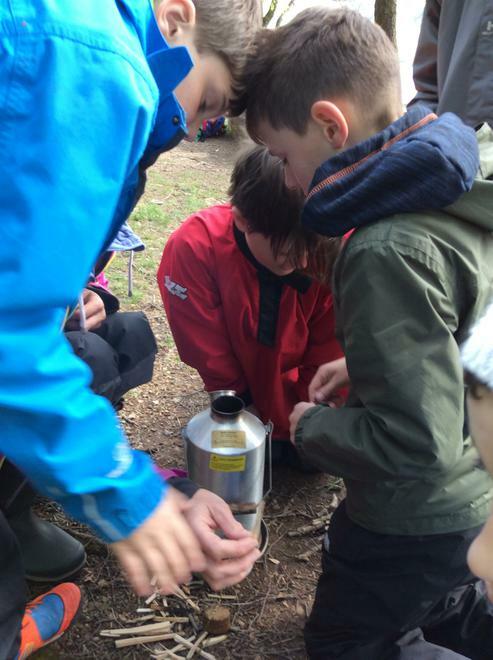 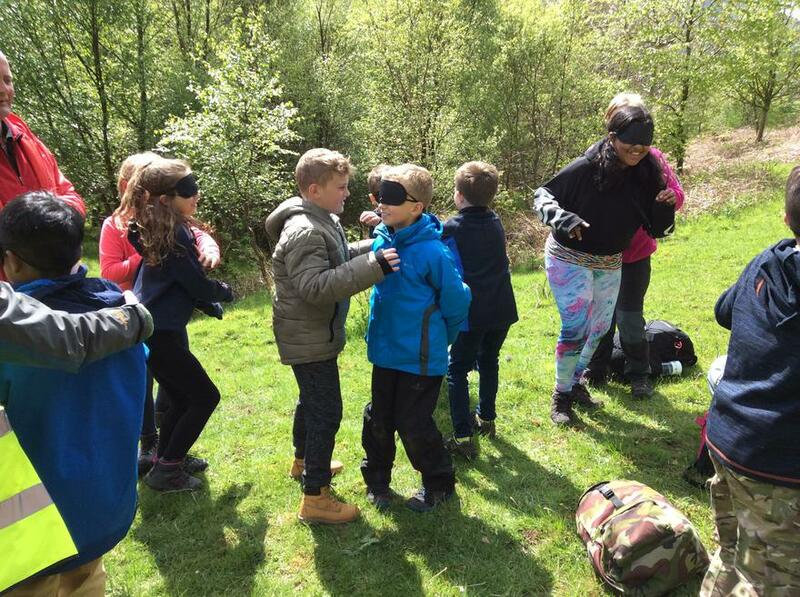 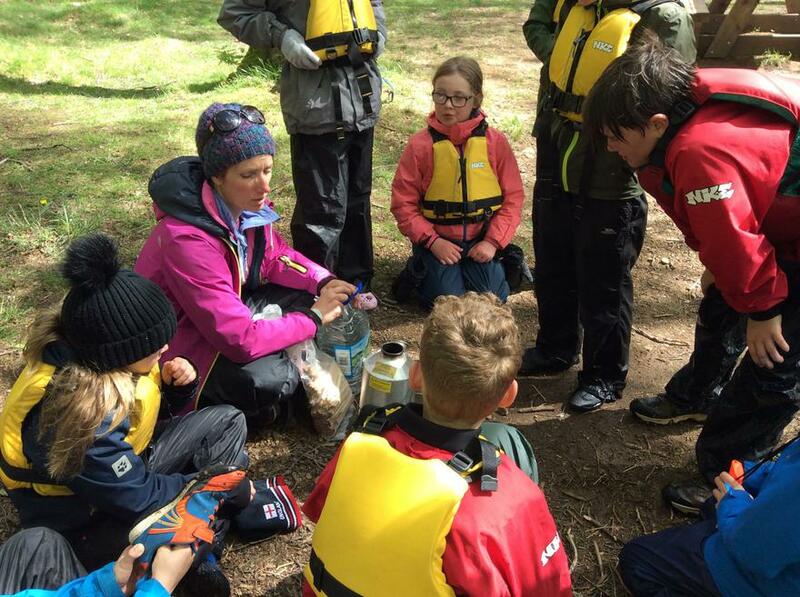 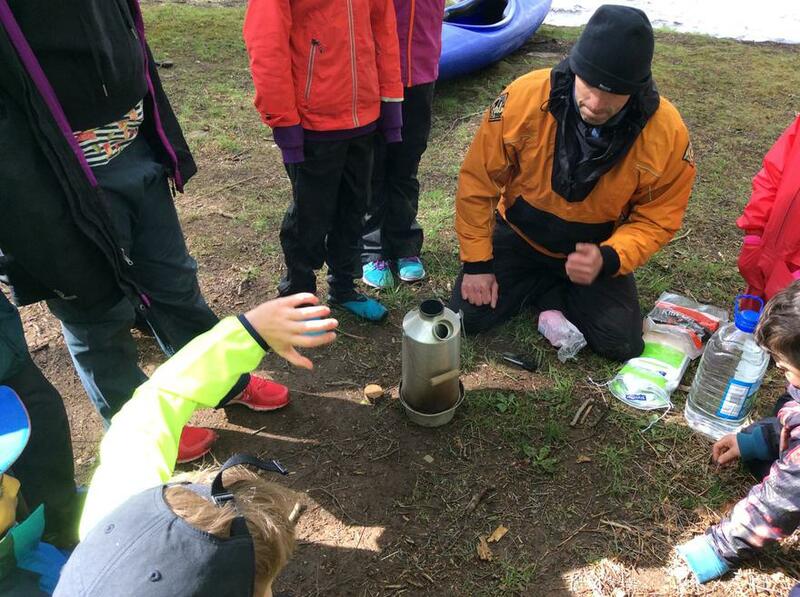 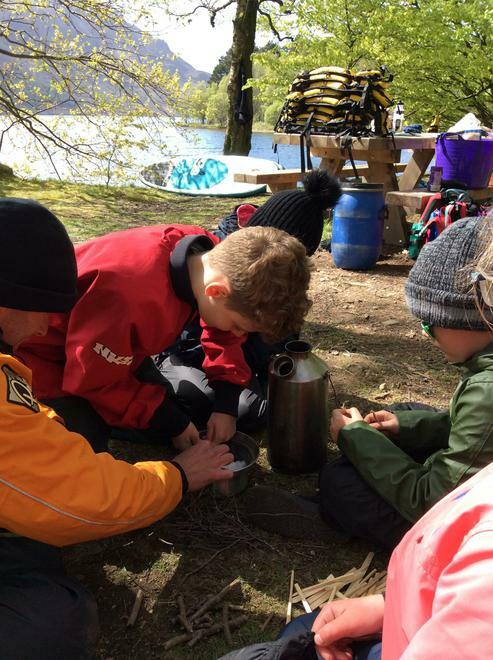 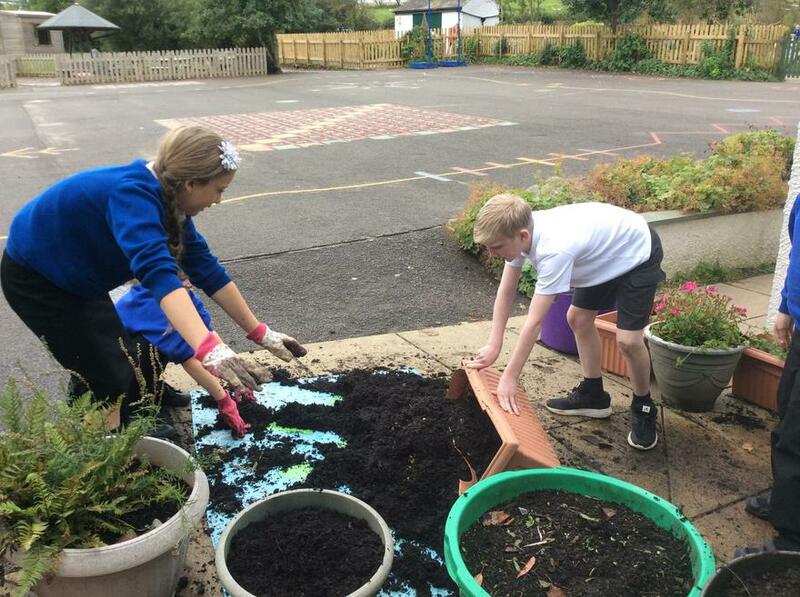 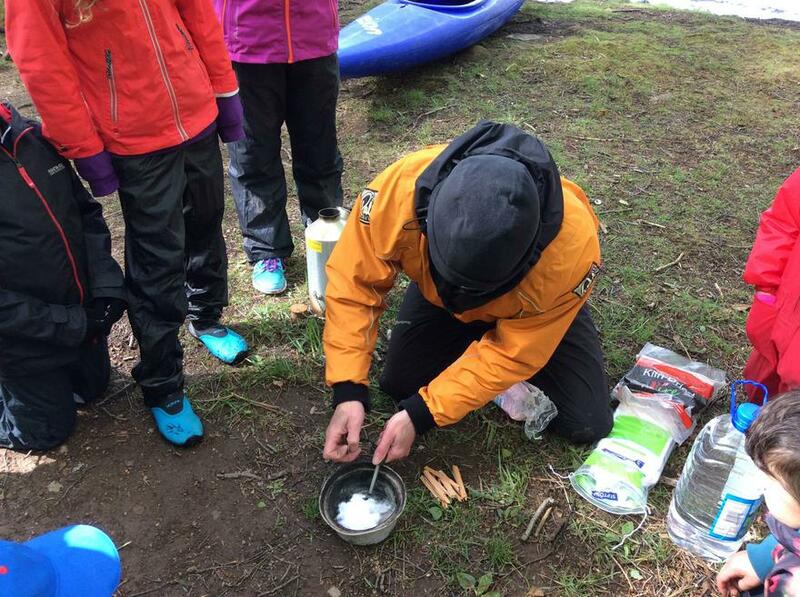 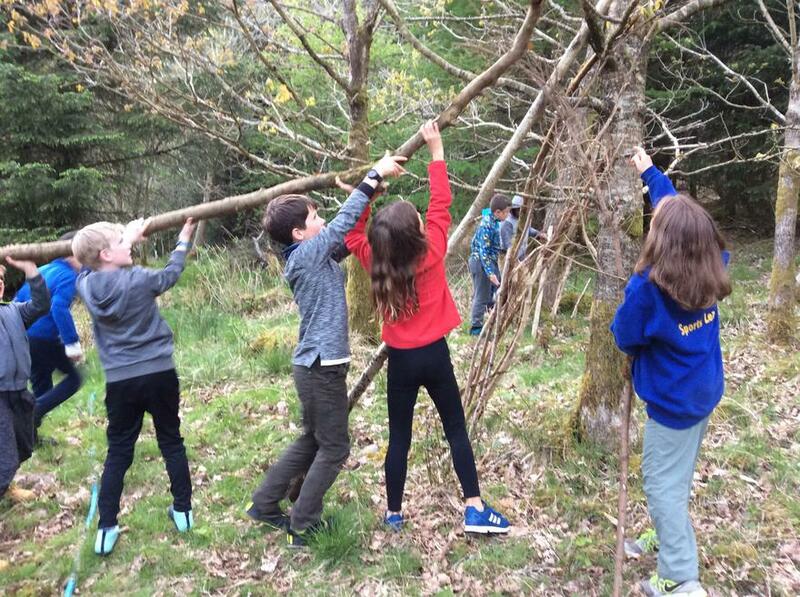 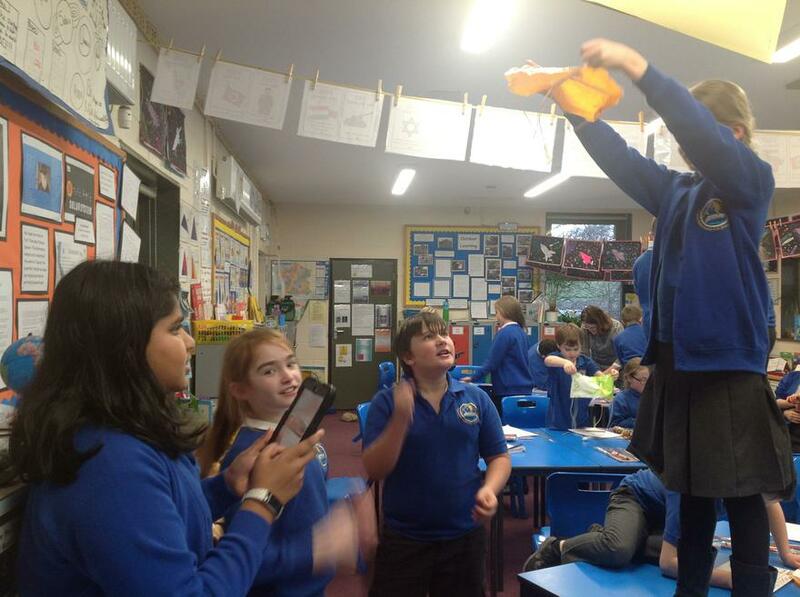 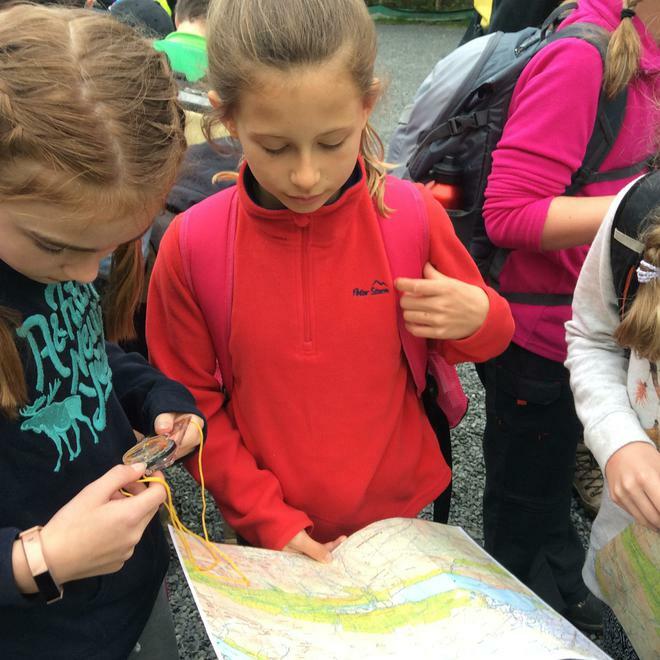 These skills are developed throughout the year during a variety of tasks and lessons and provide the key foundations that prepare the children for the challenges of year 6. 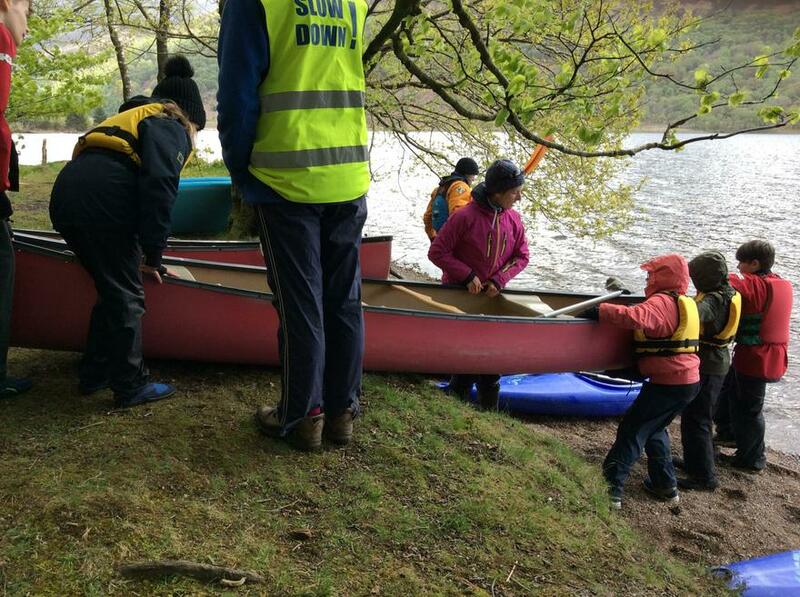 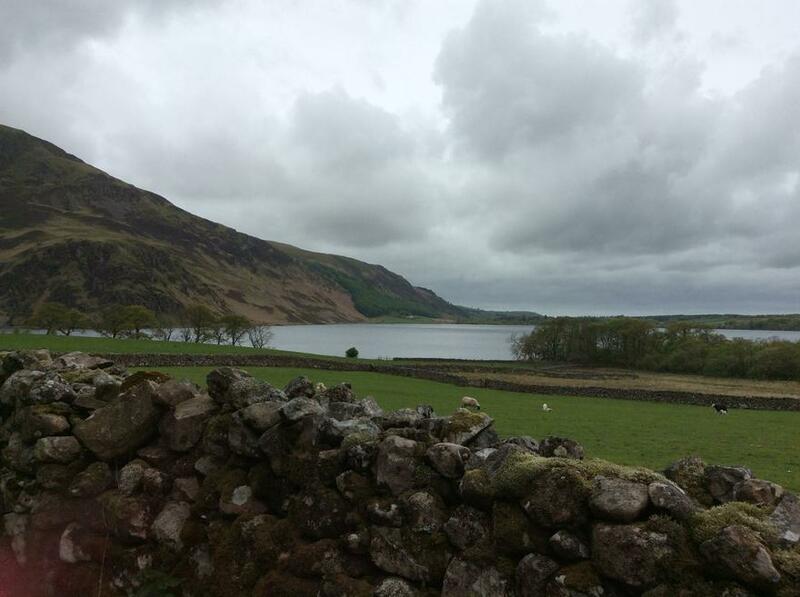 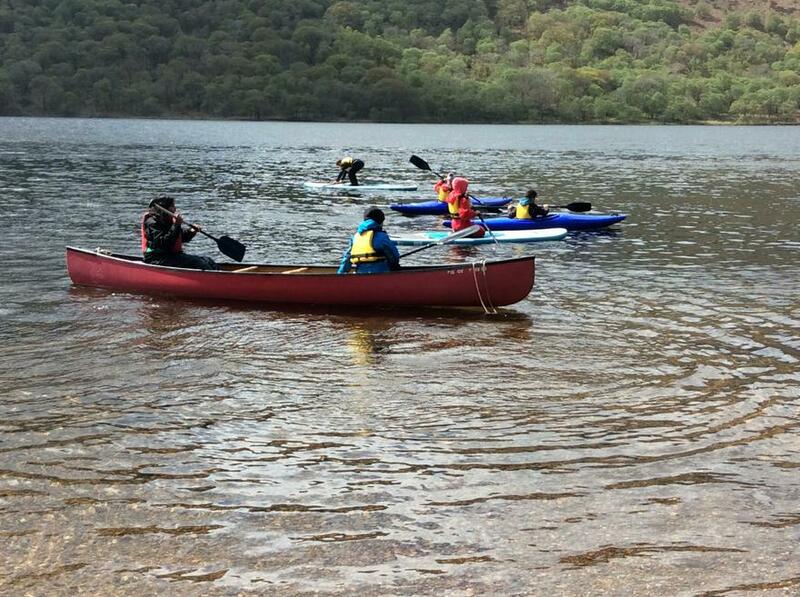 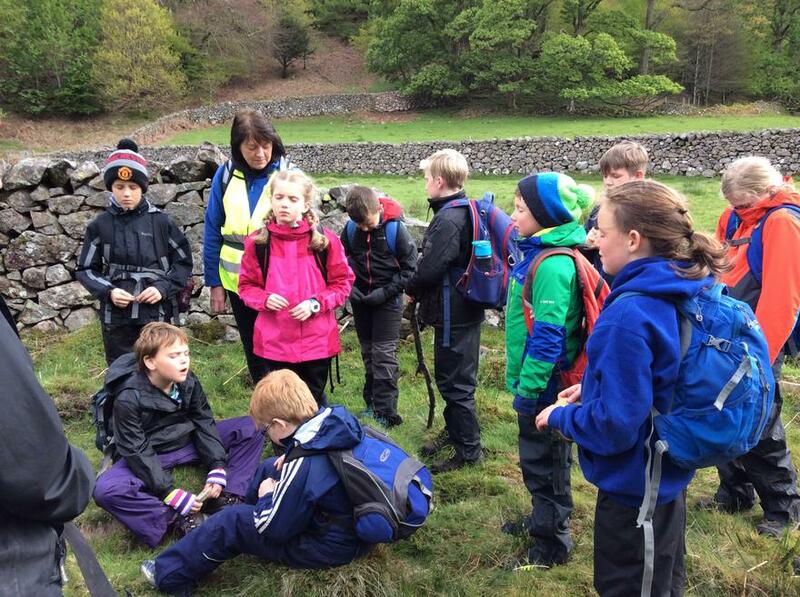 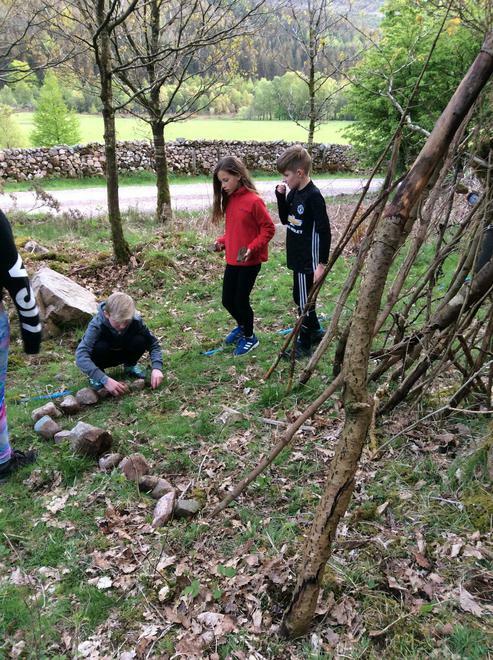 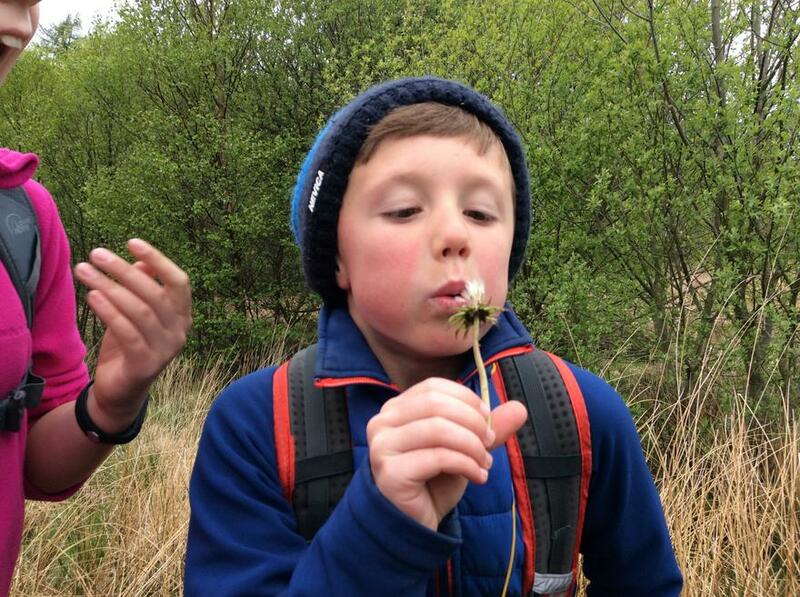 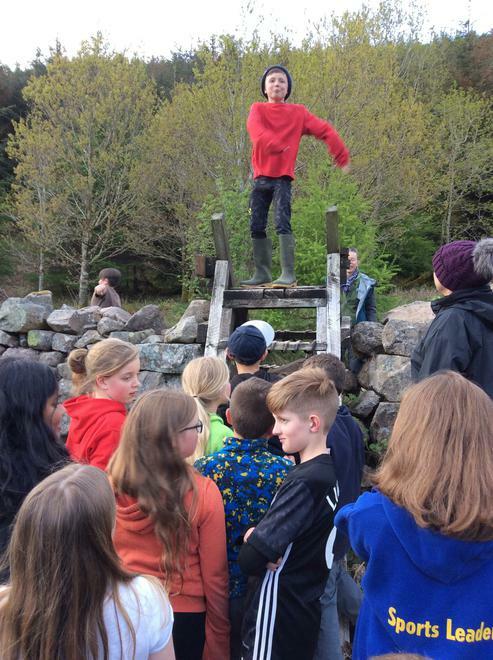 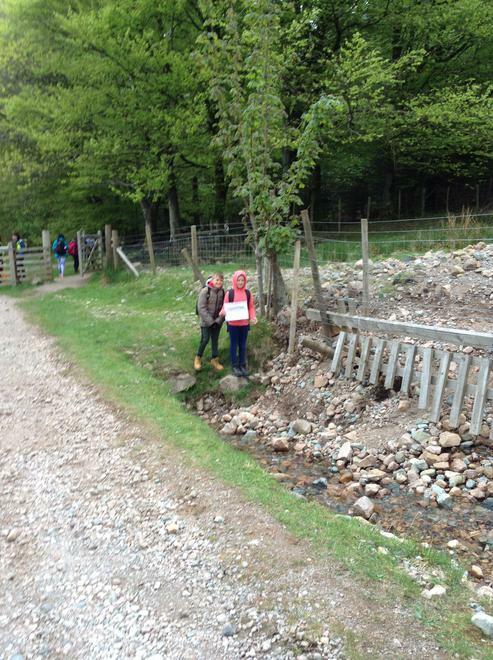 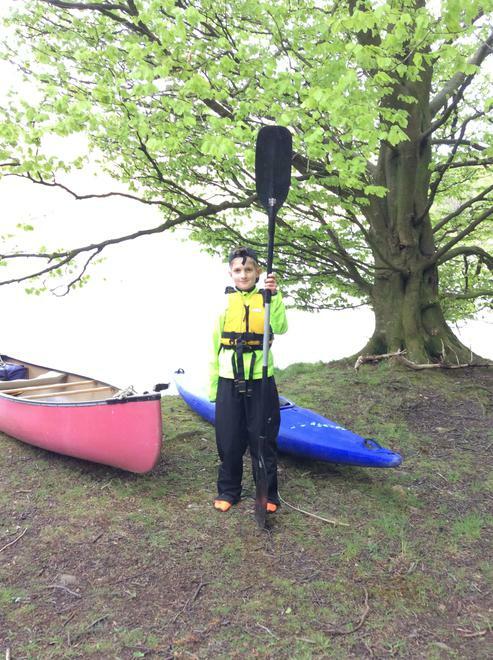 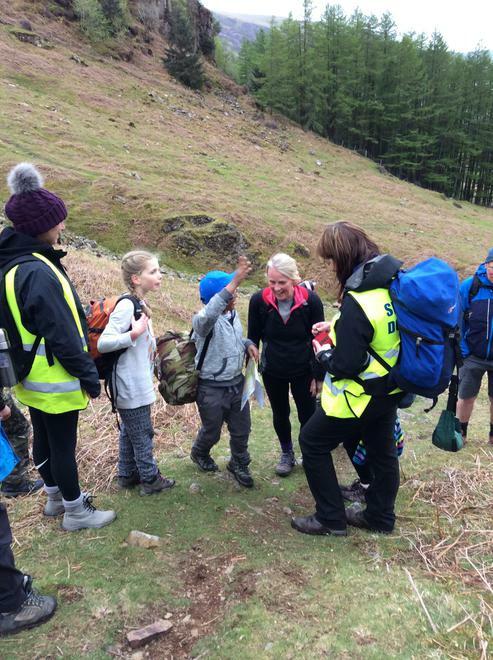 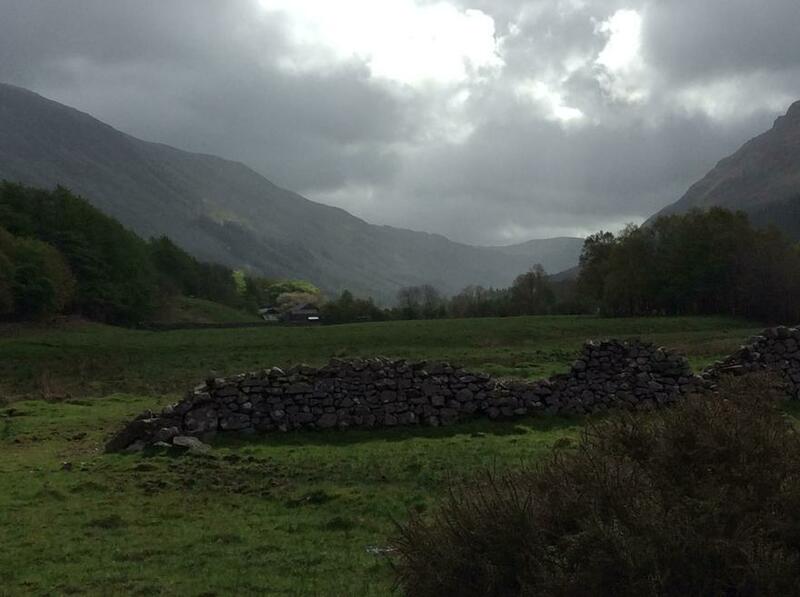 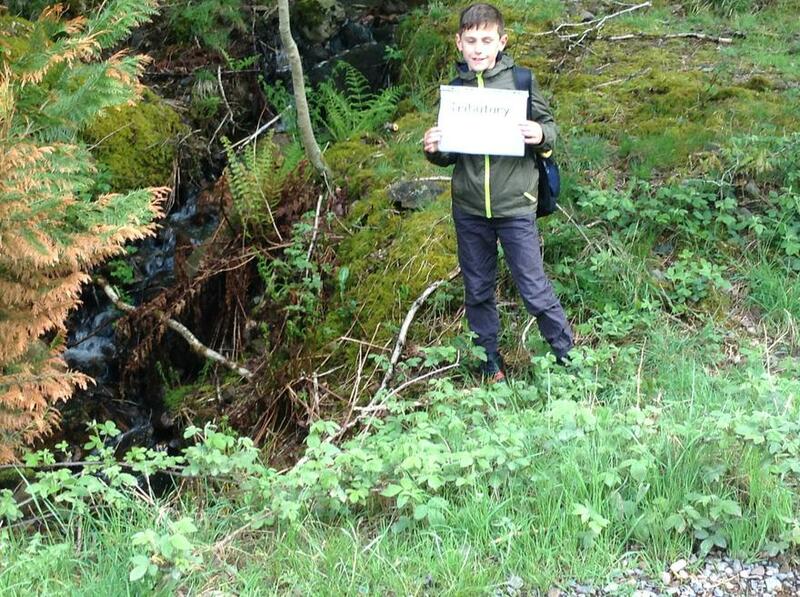 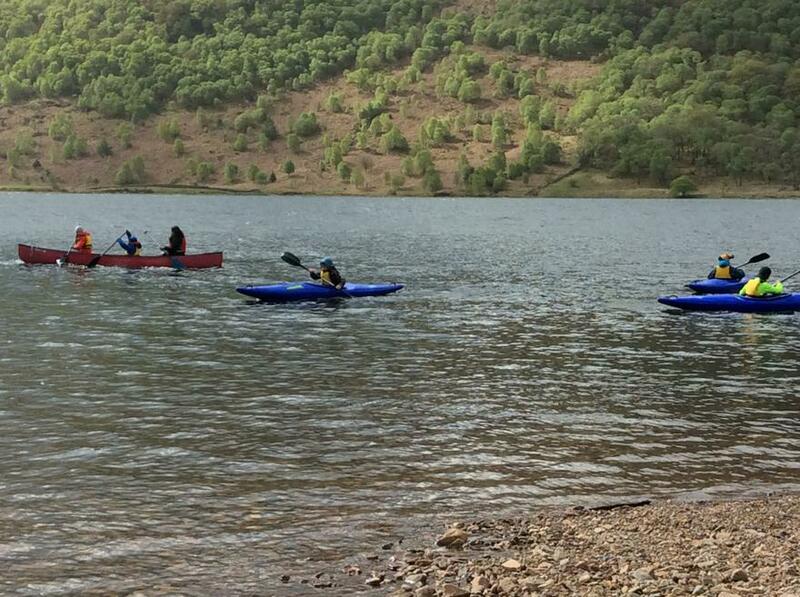 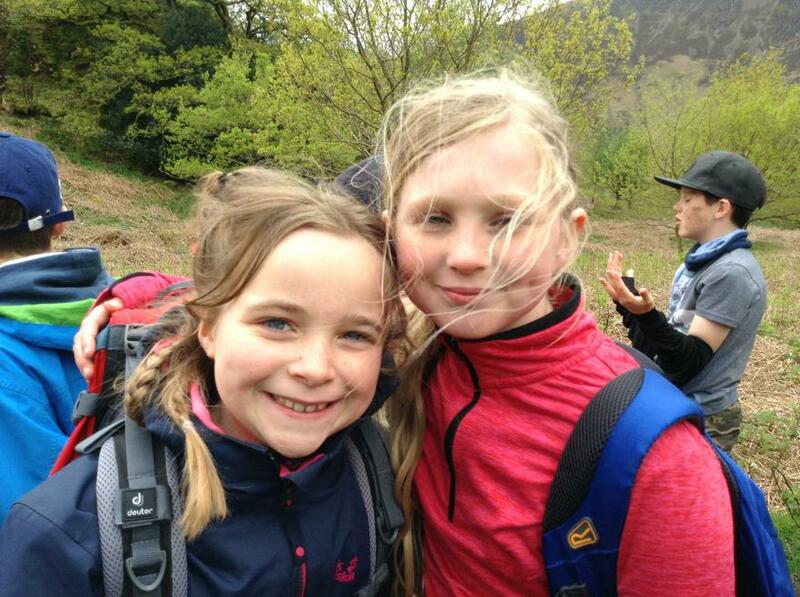 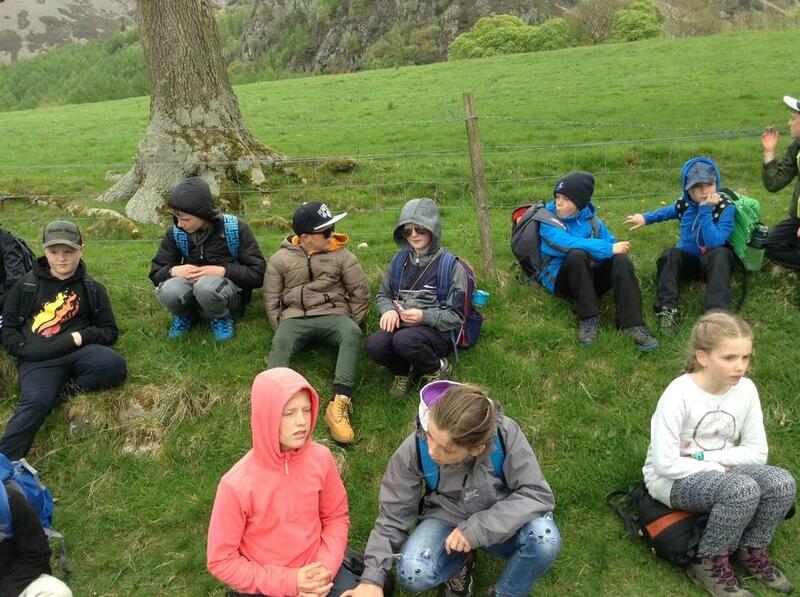 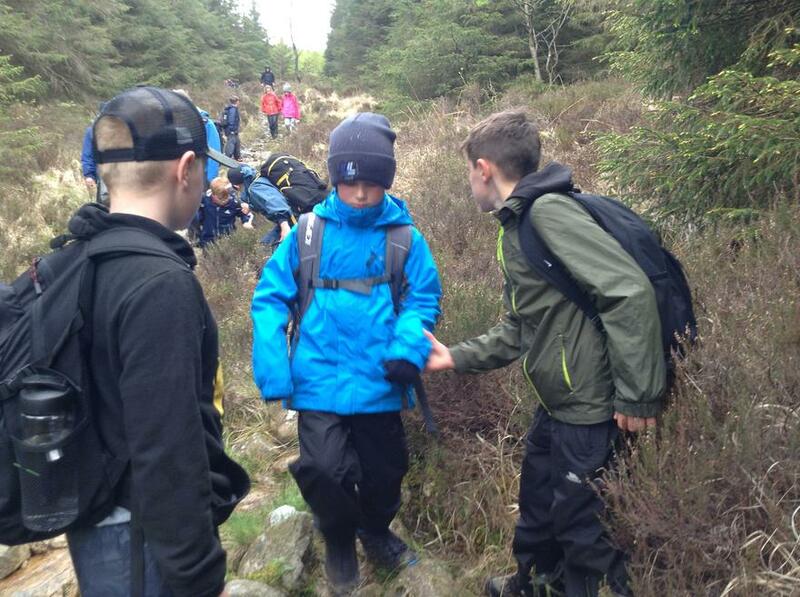 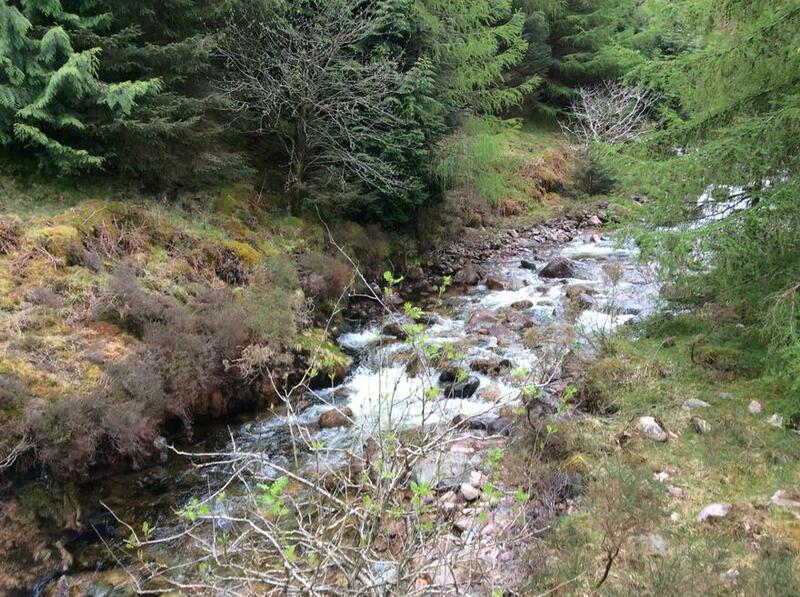 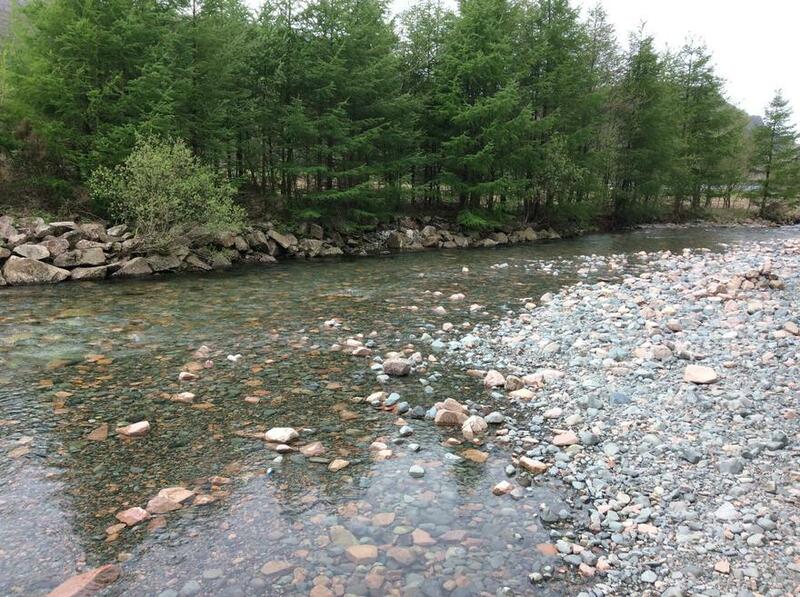 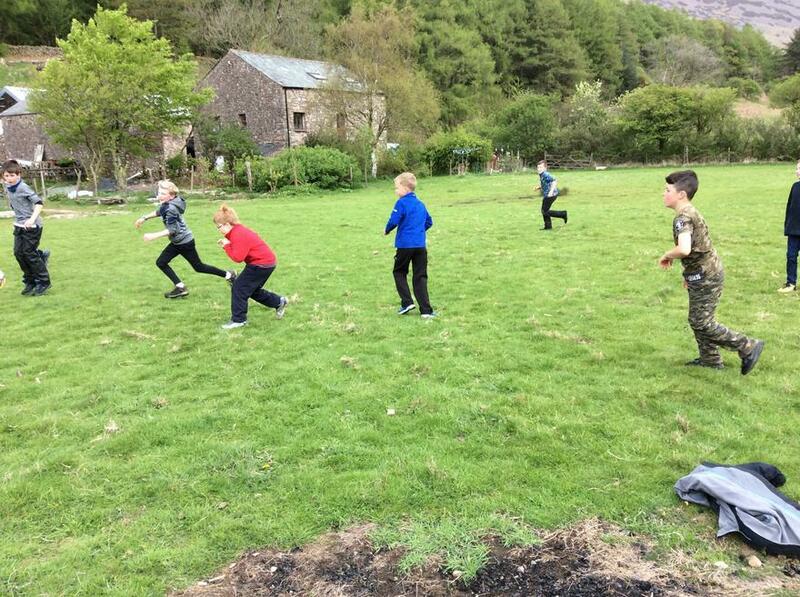 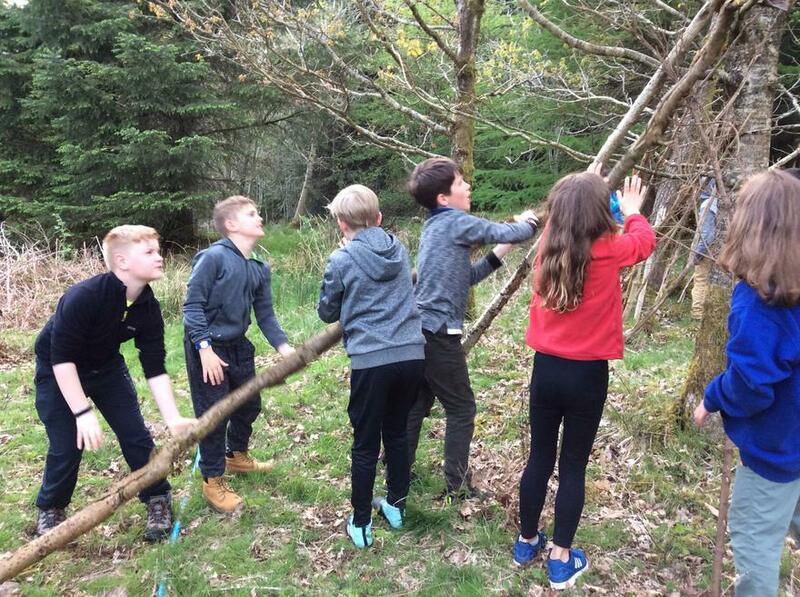 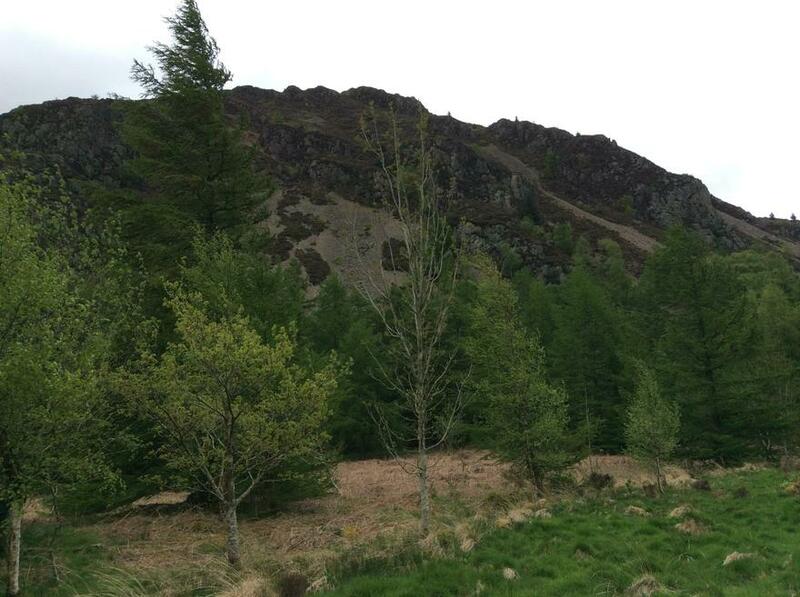 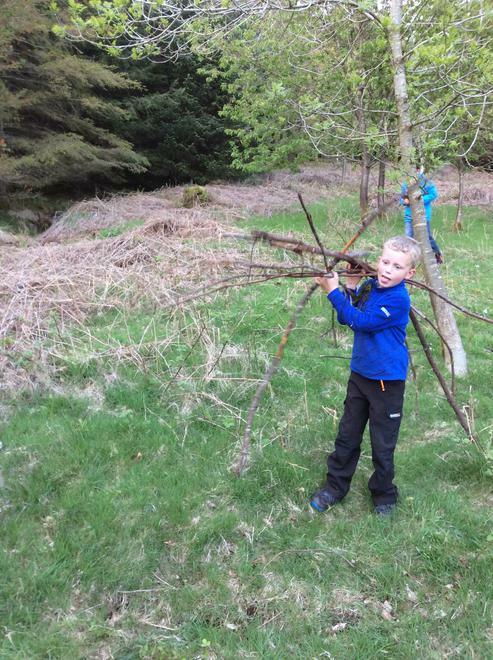 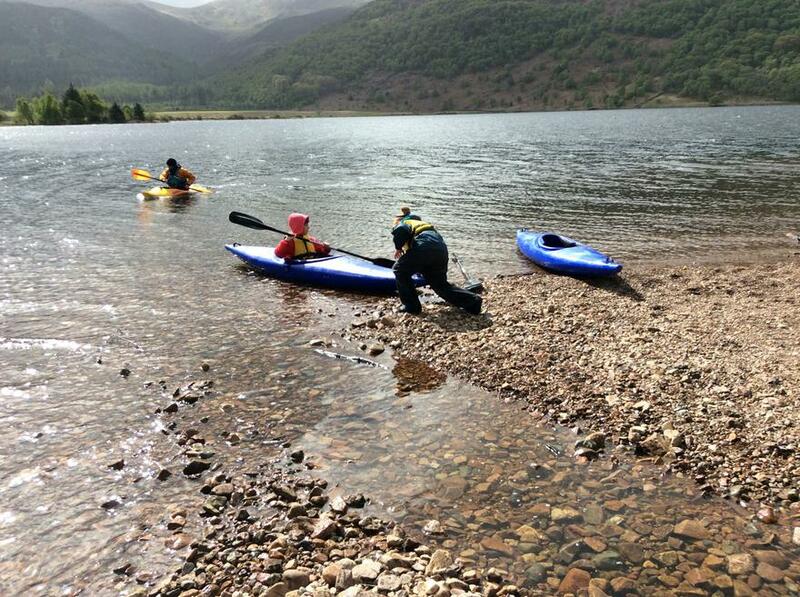 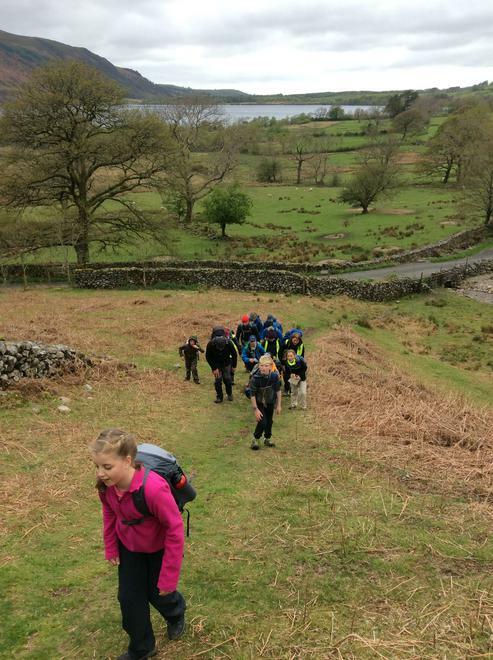 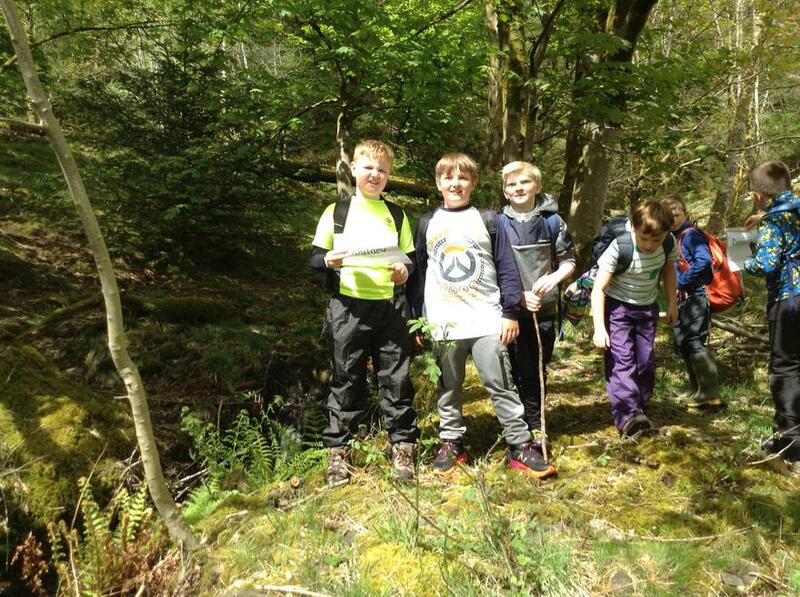 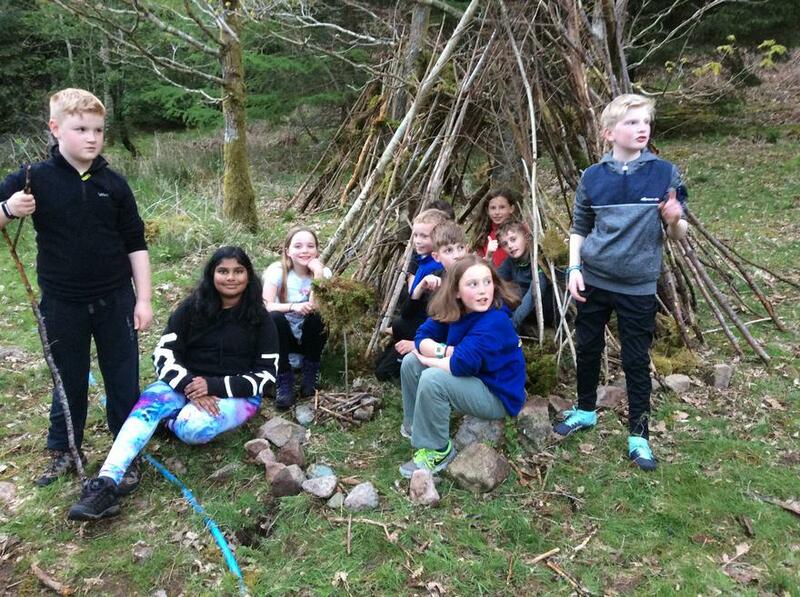 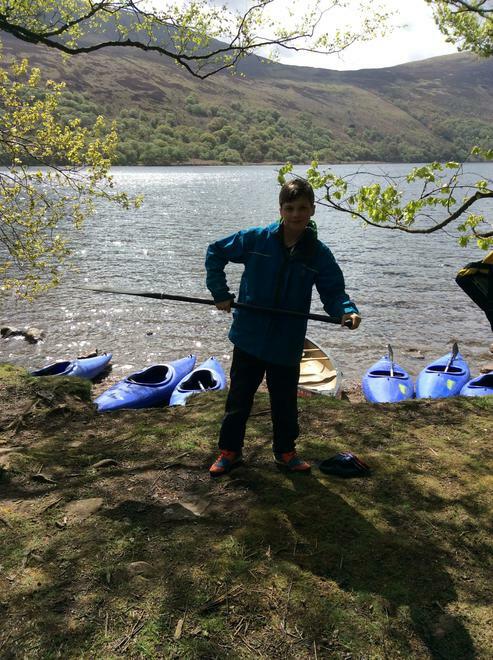 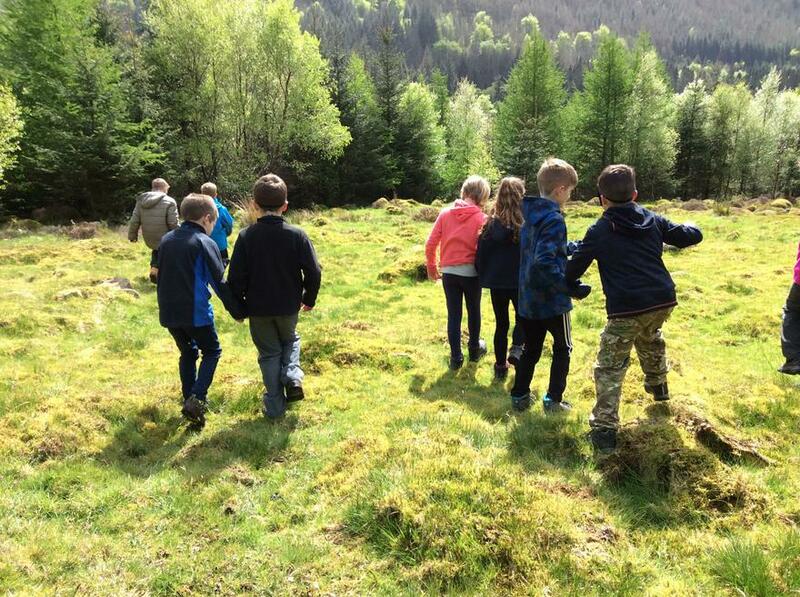 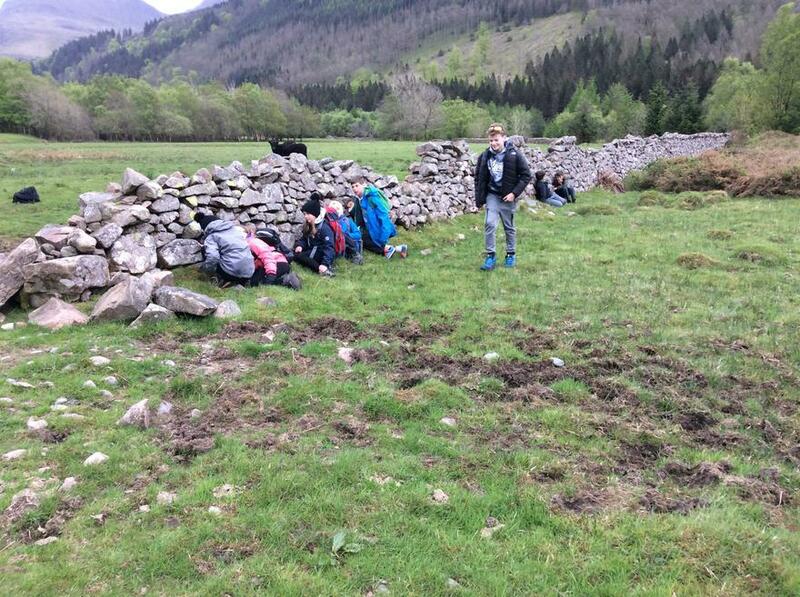 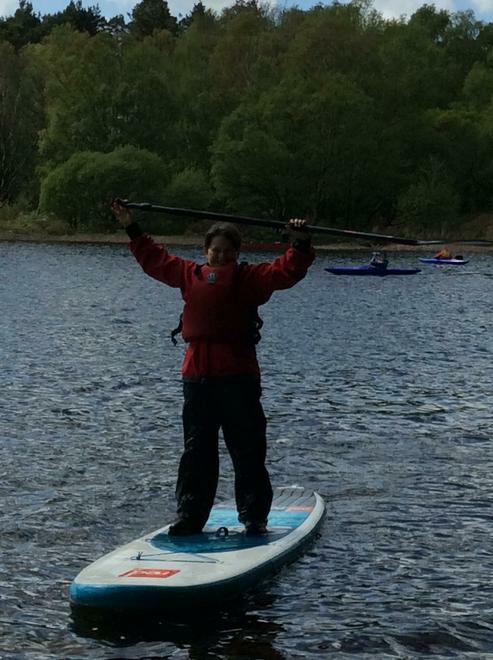 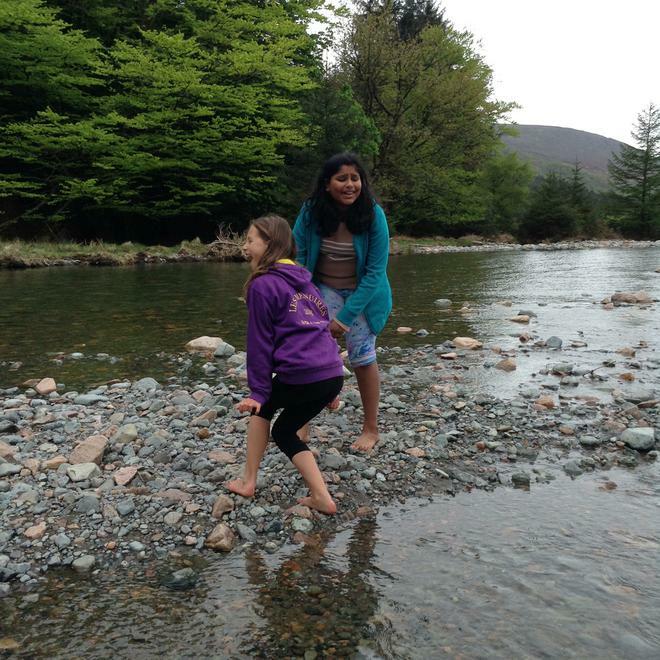 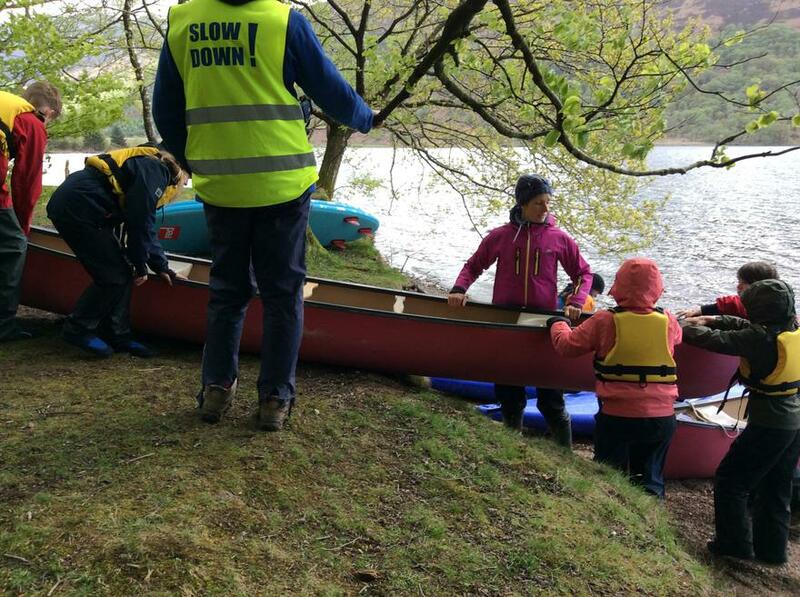 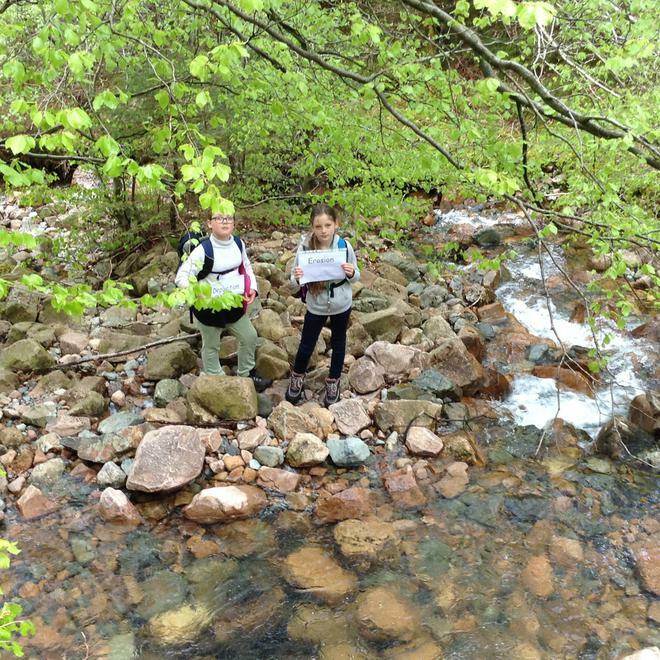 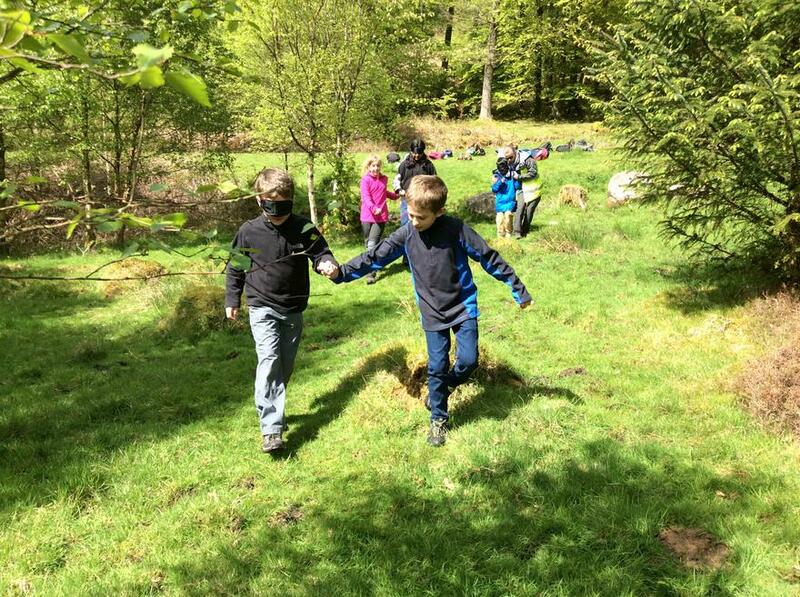 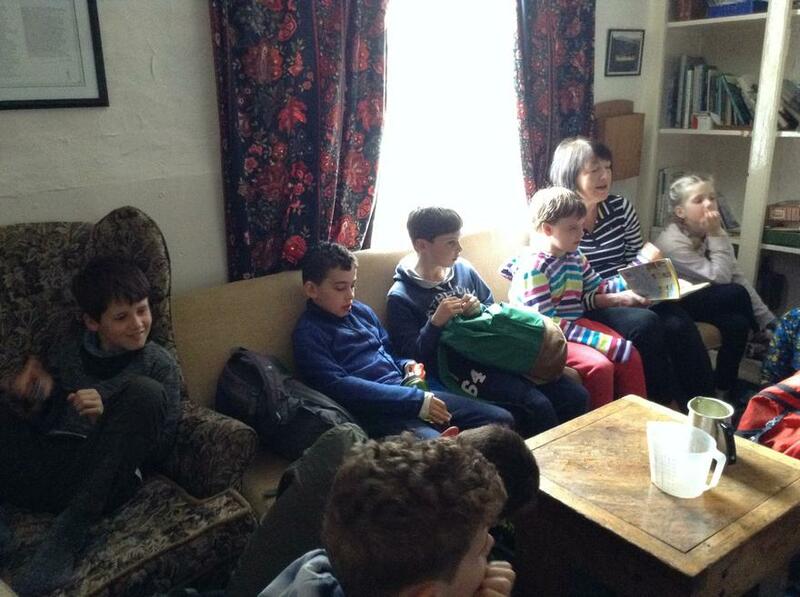 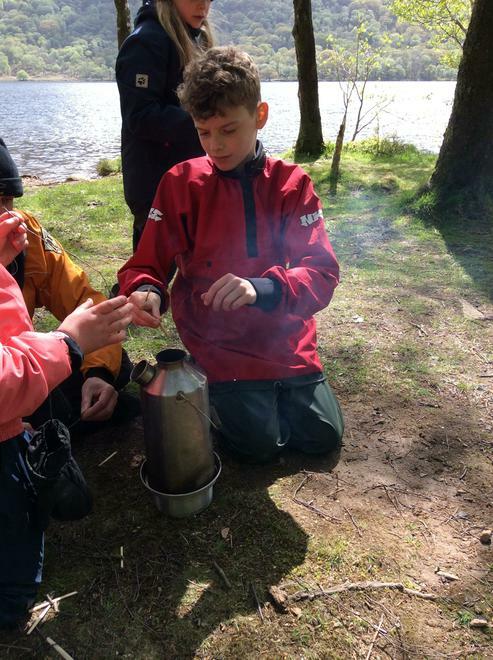 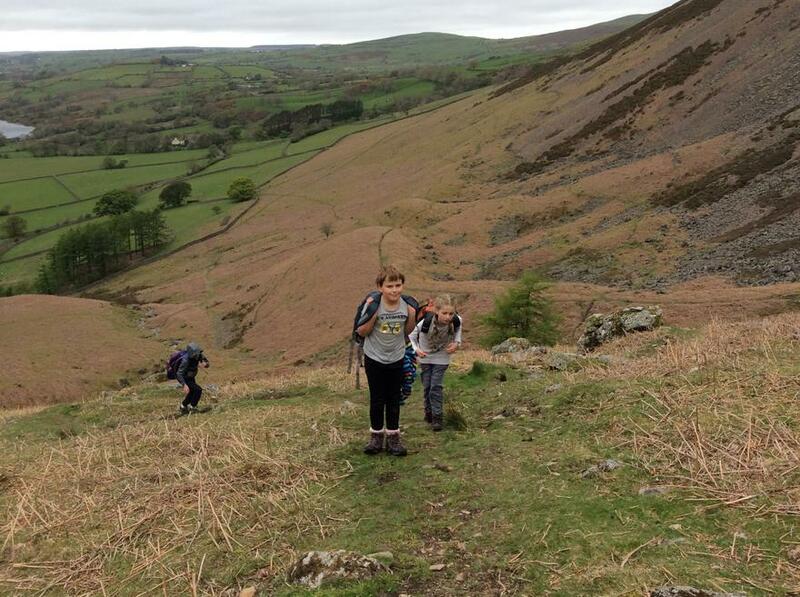 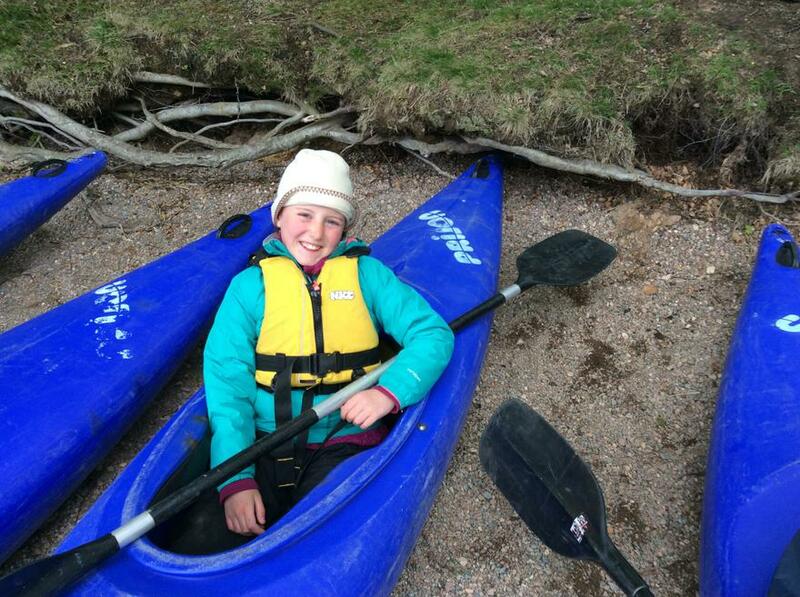 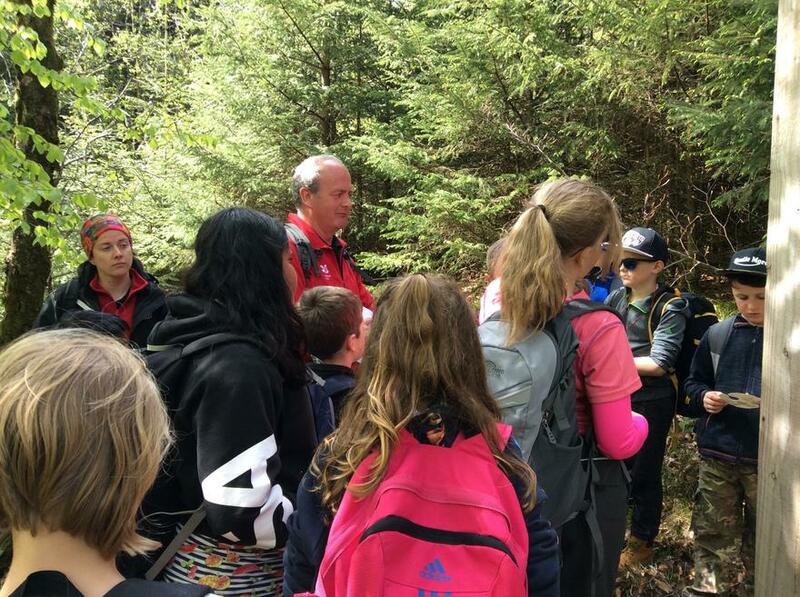 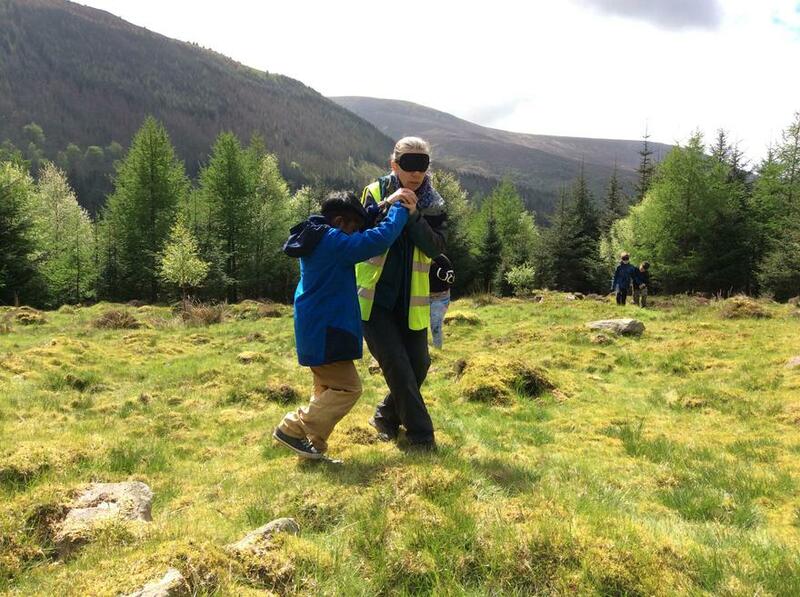 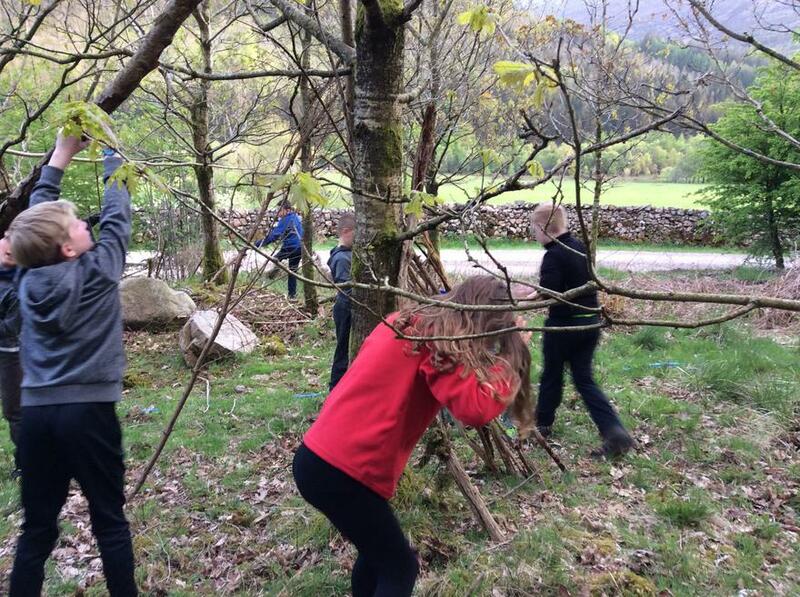 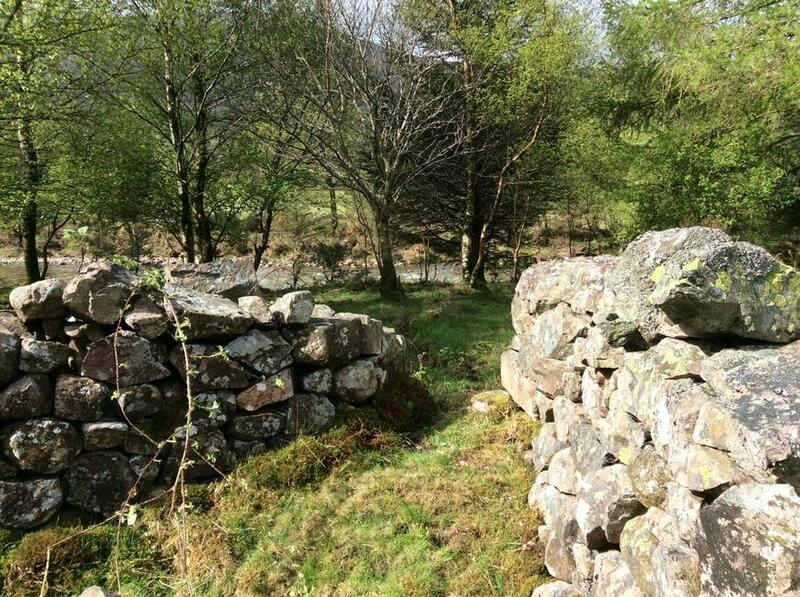 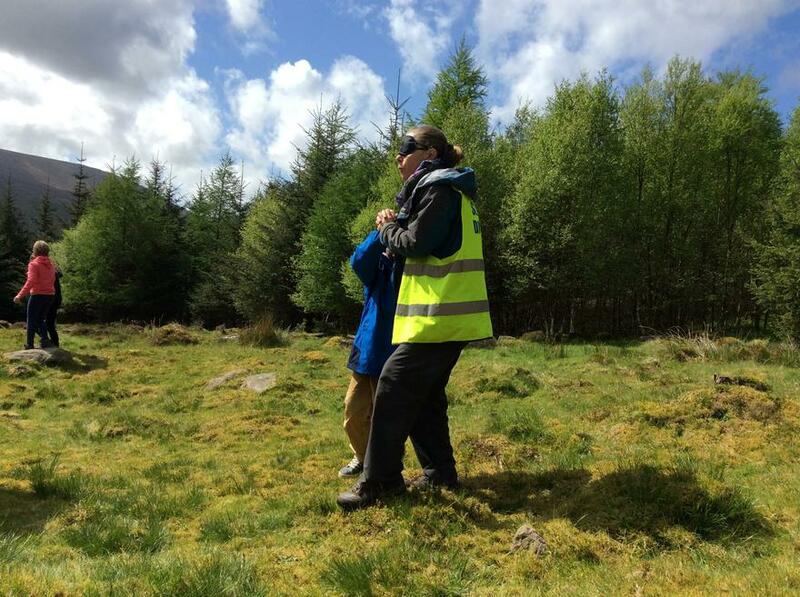 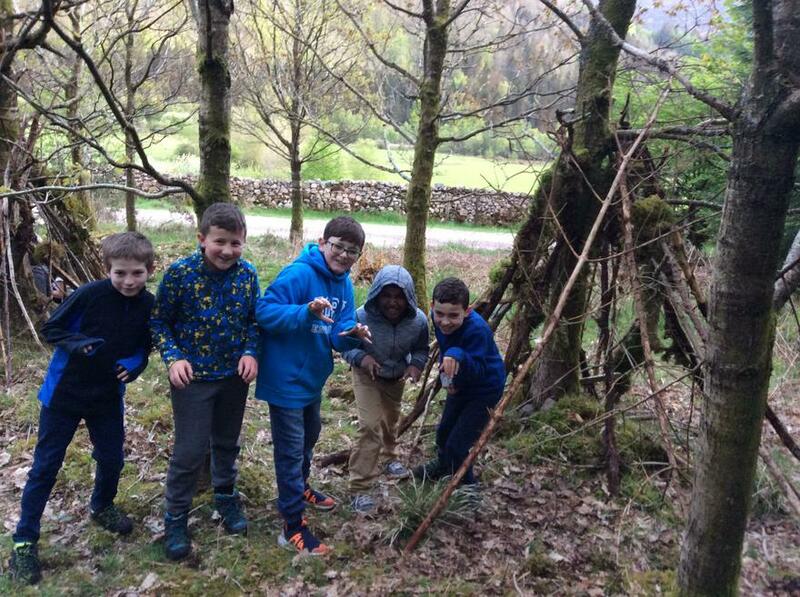 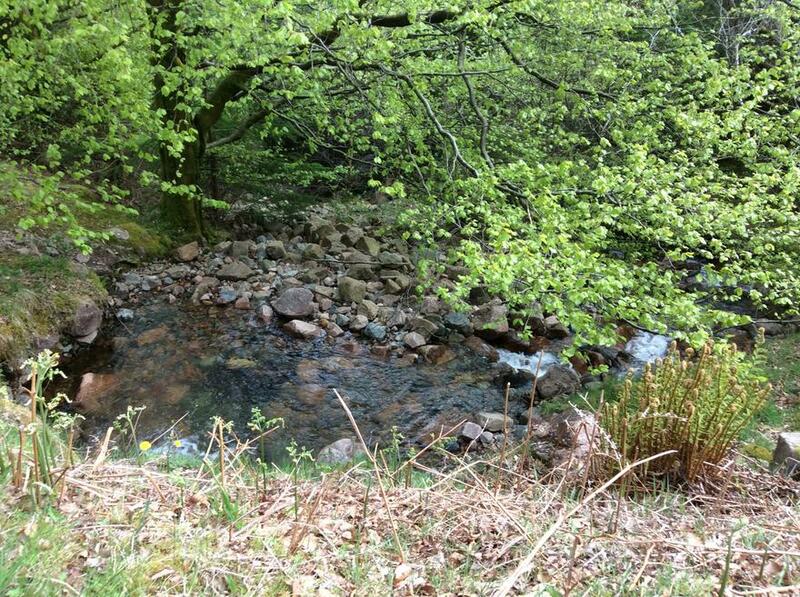 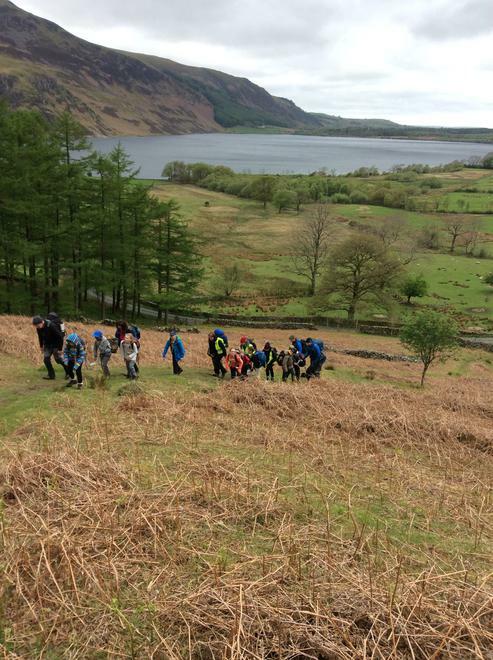 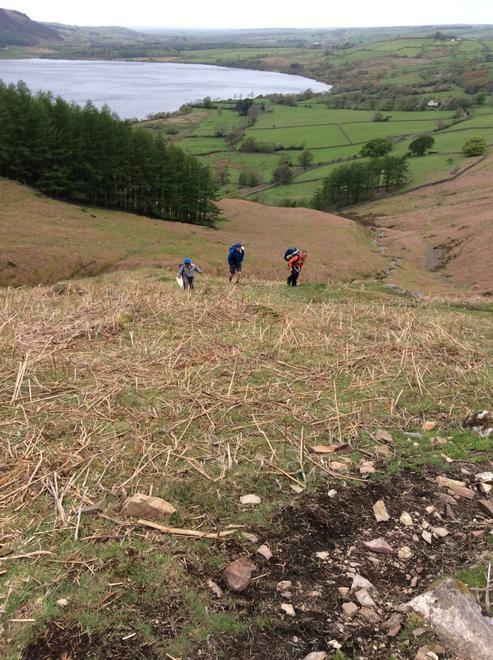 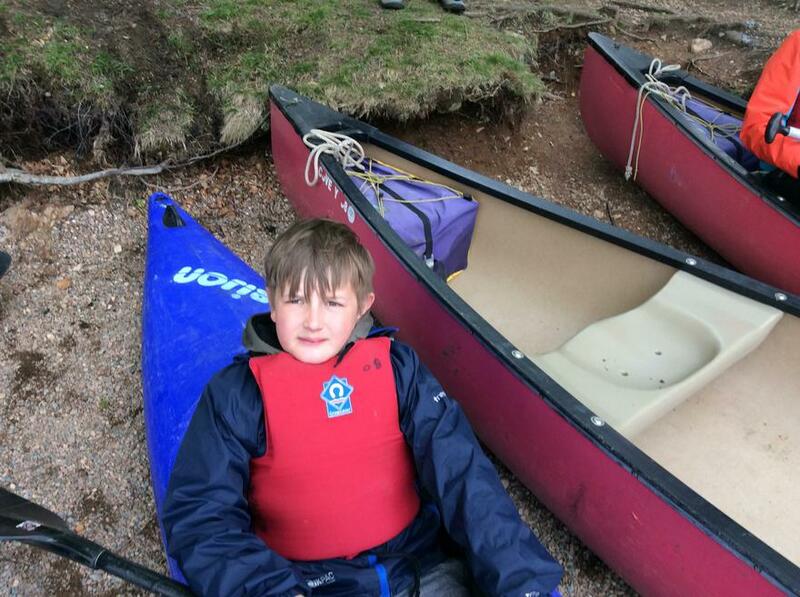 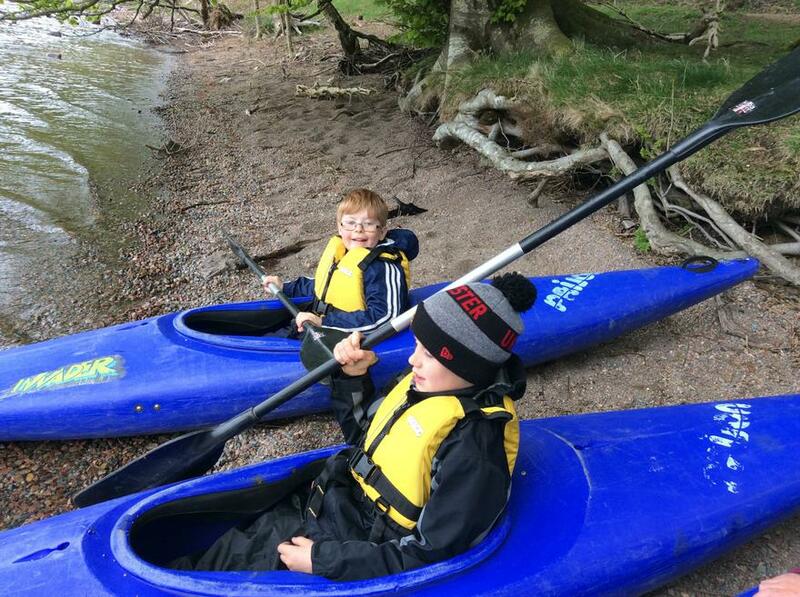 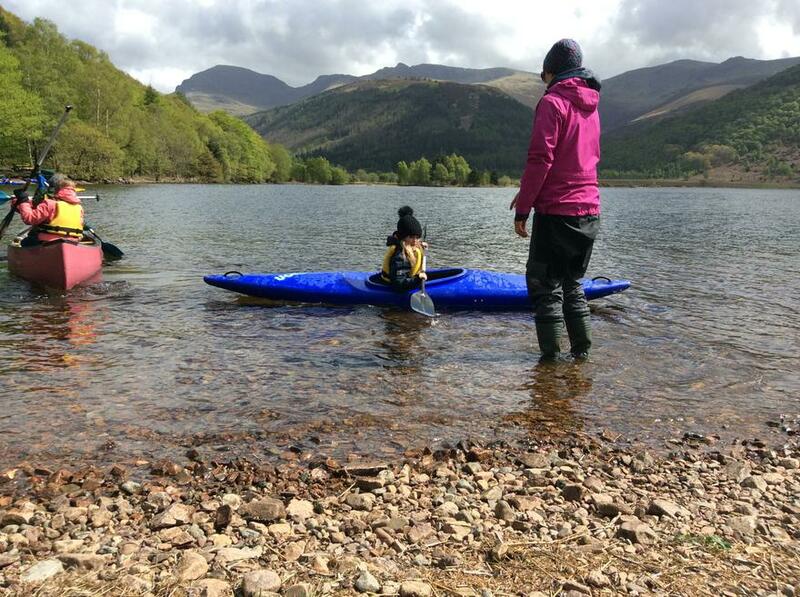 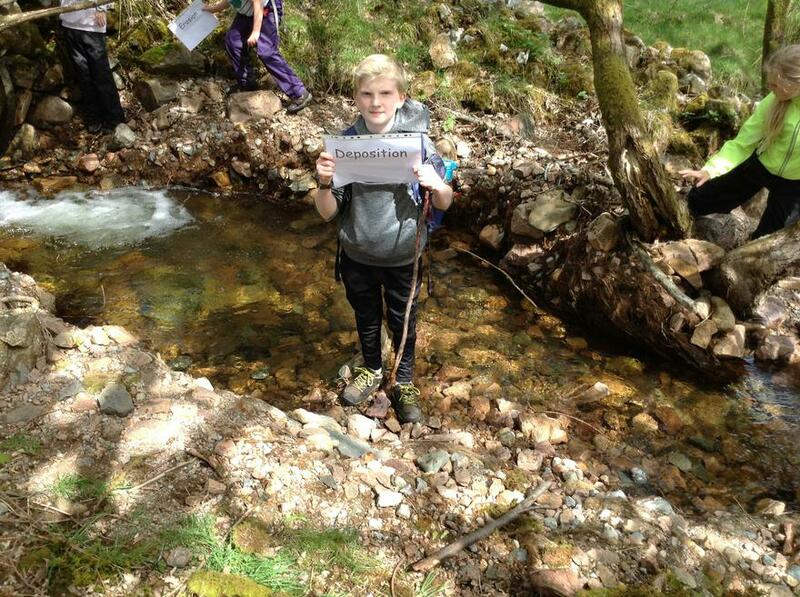 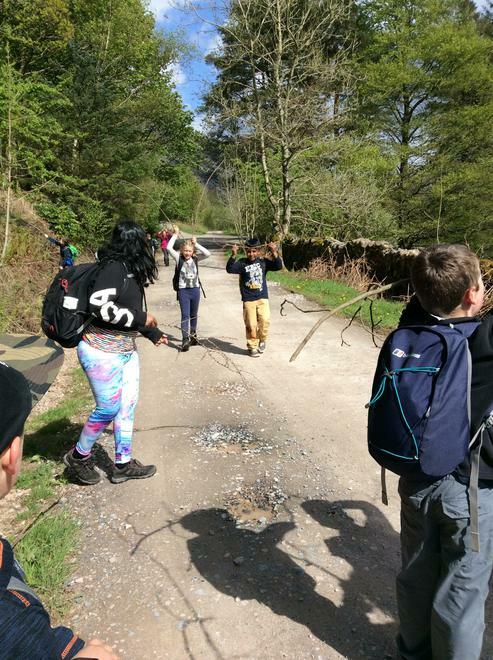 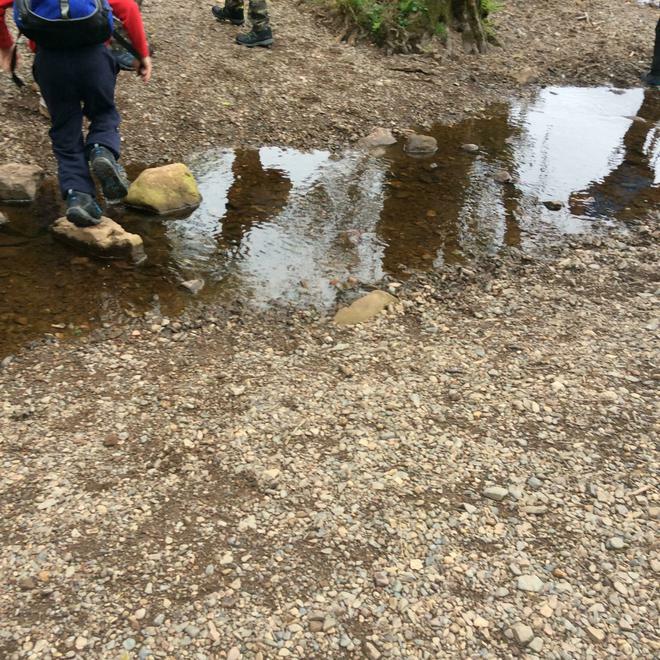 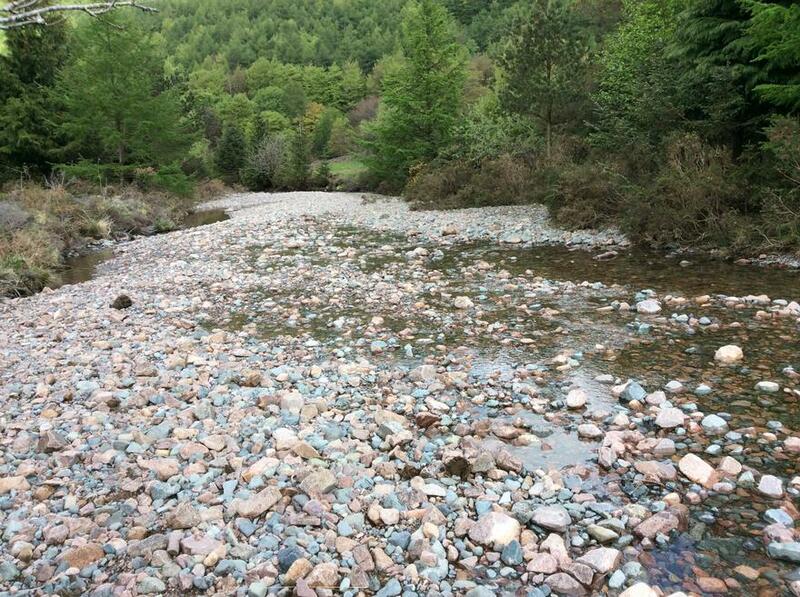 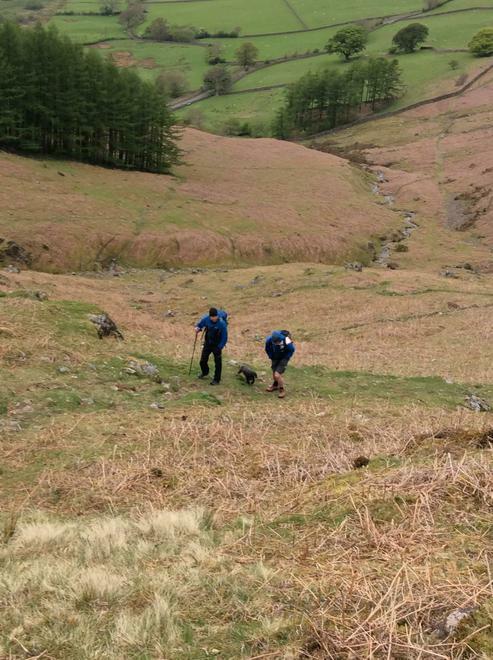 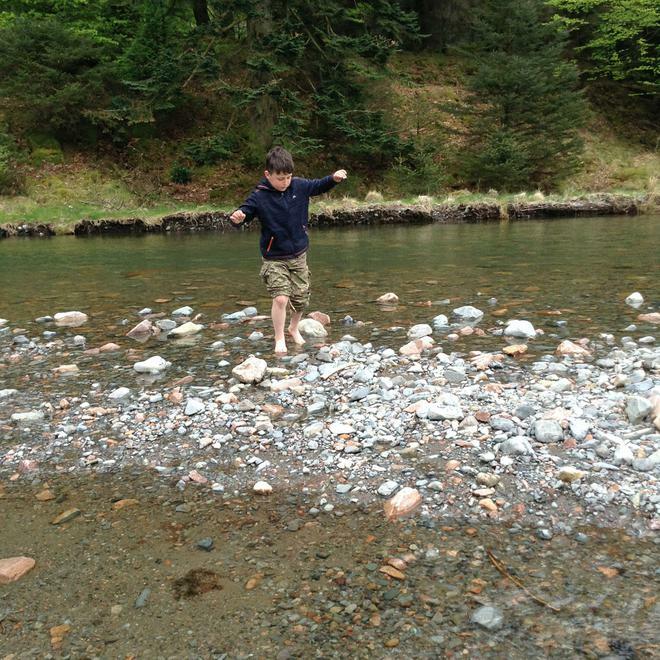 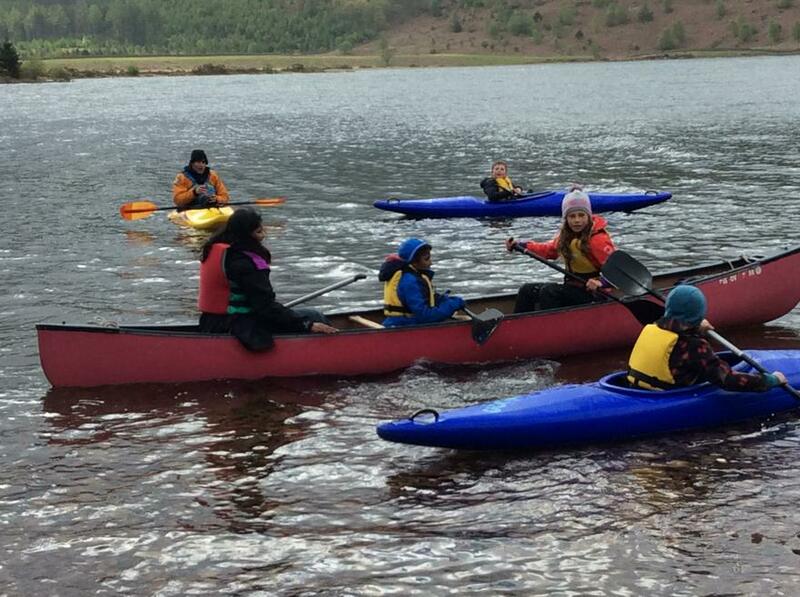 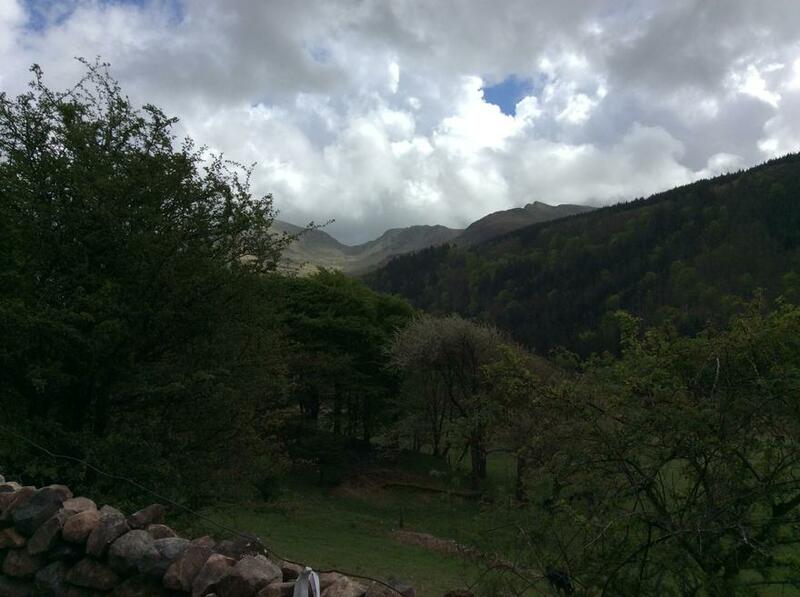 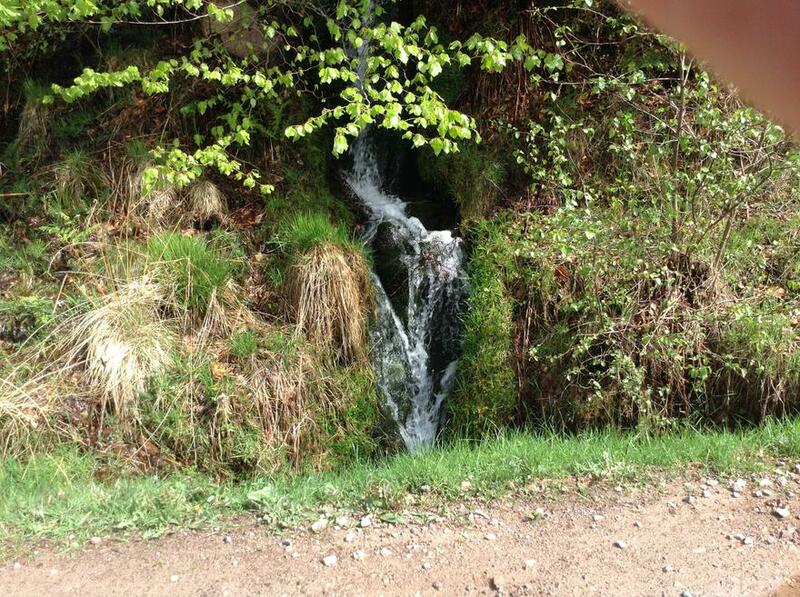 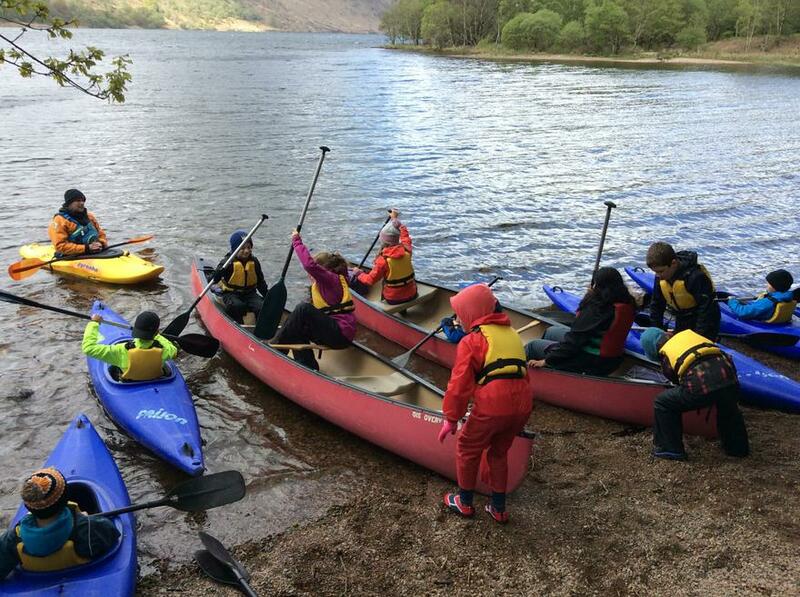 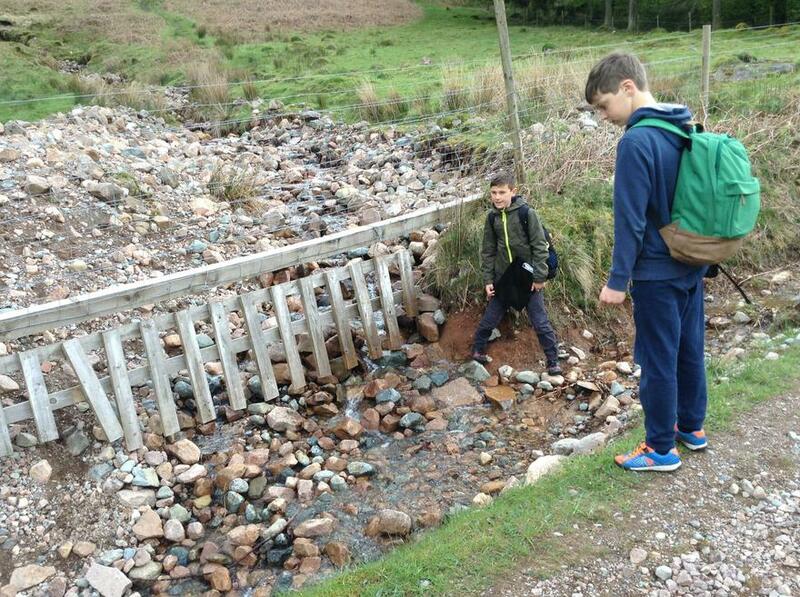 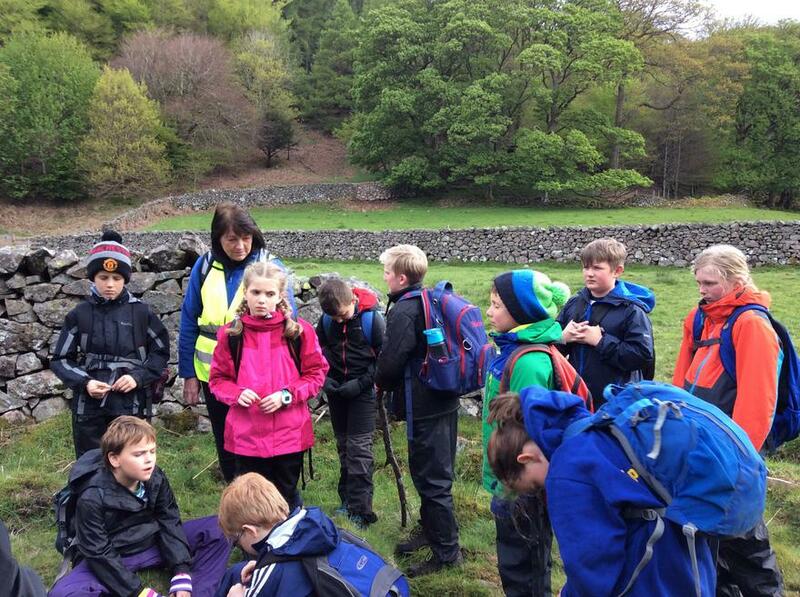 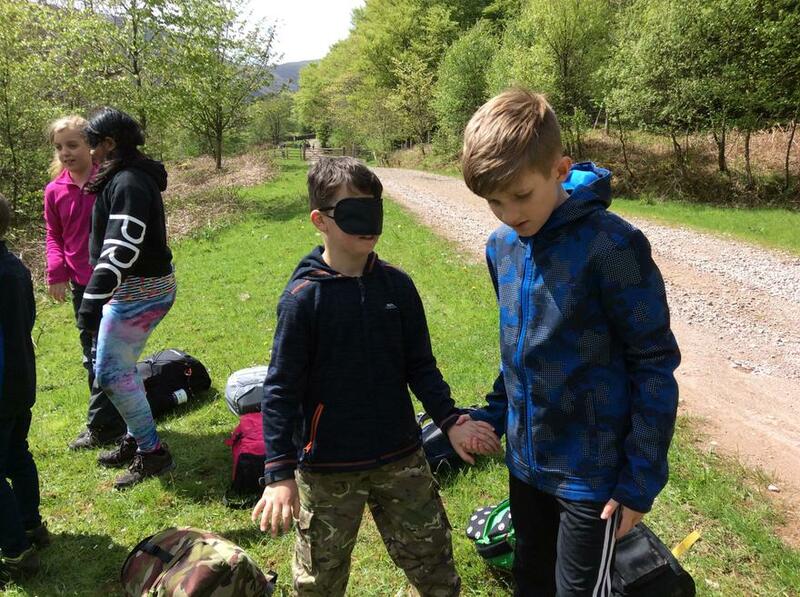 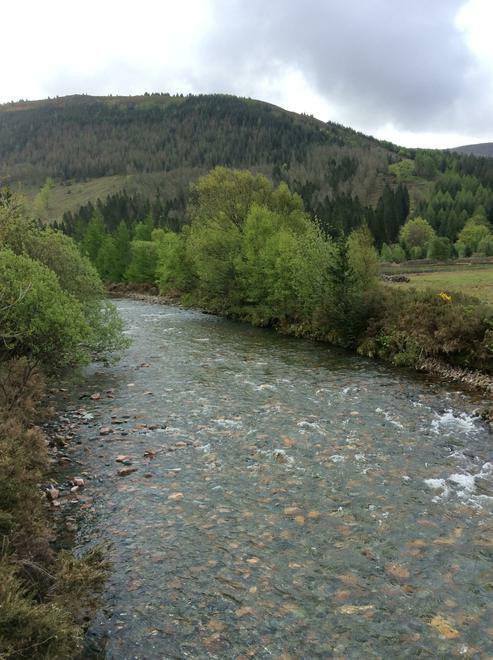 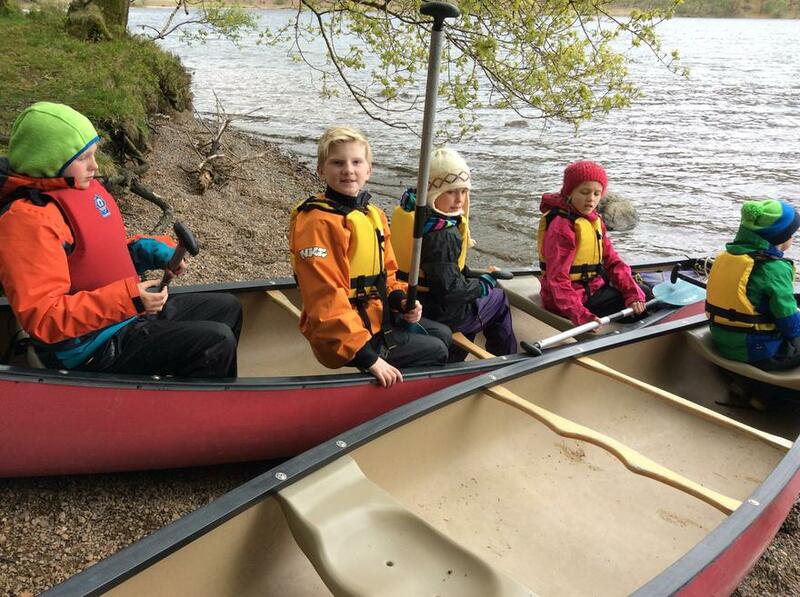 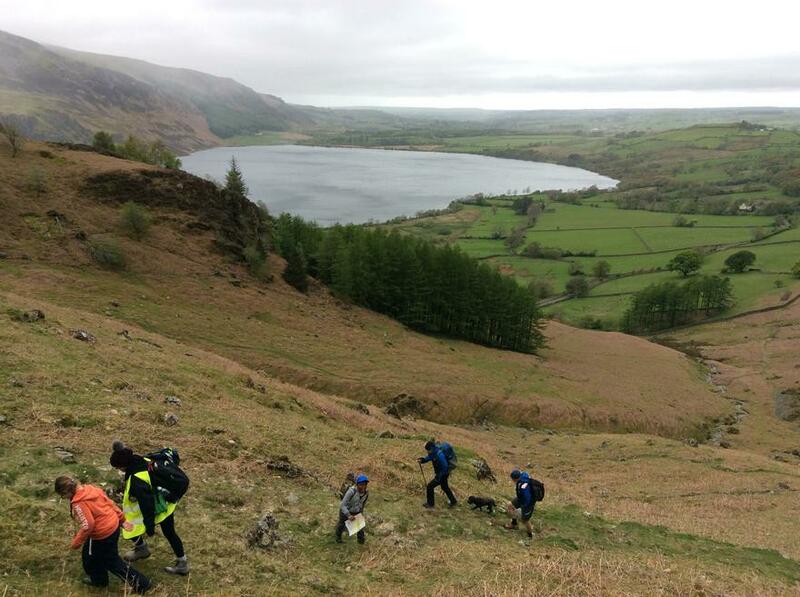 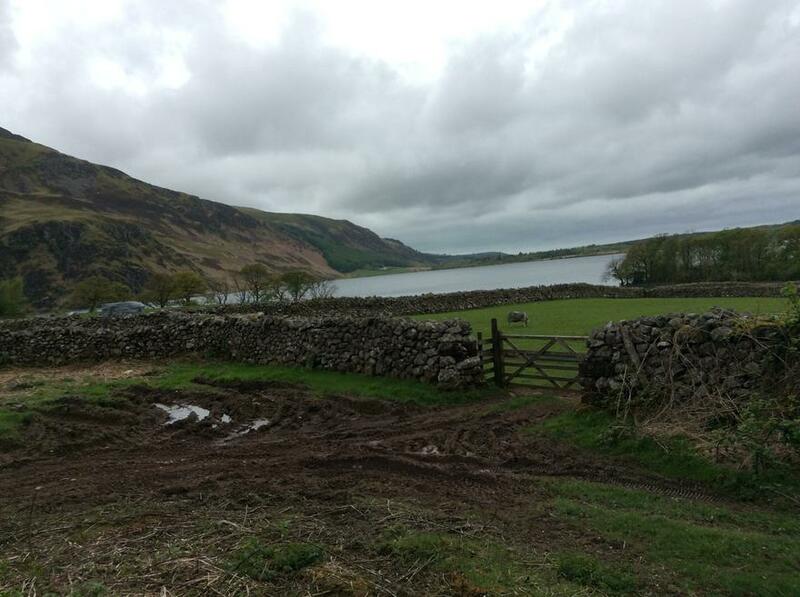 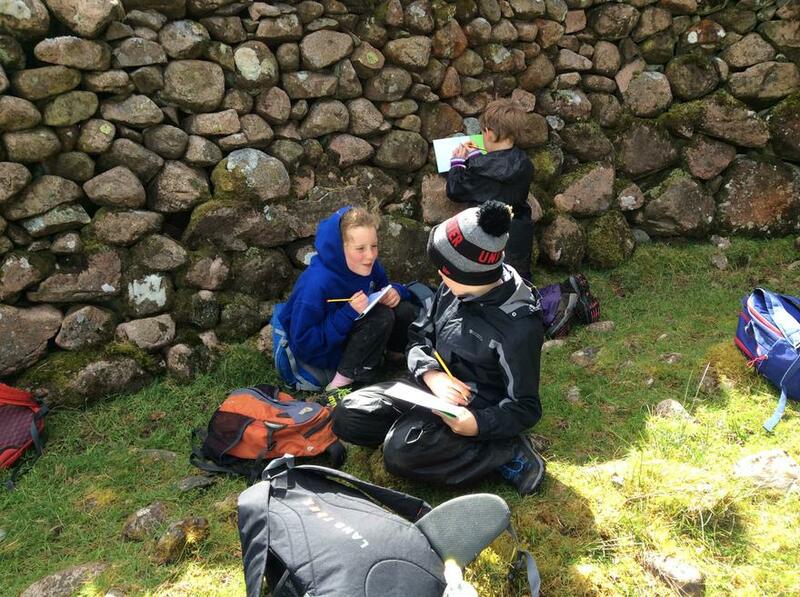 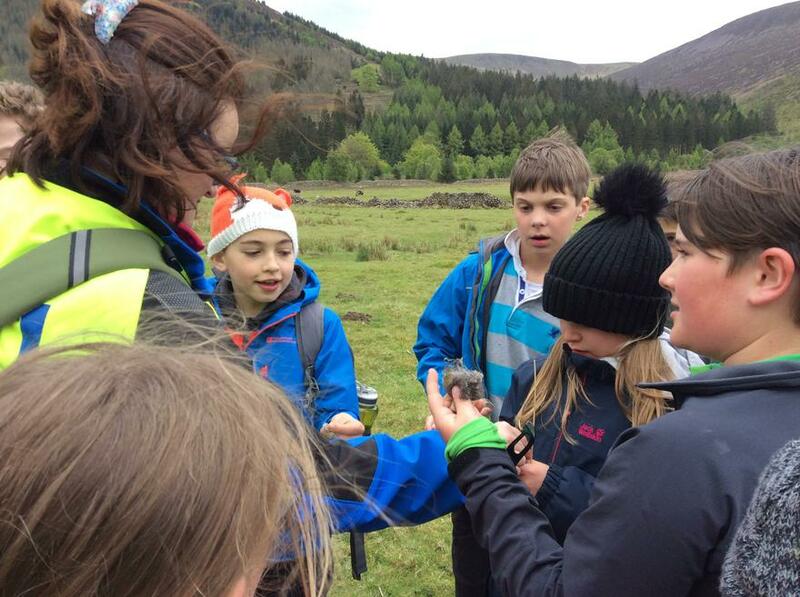 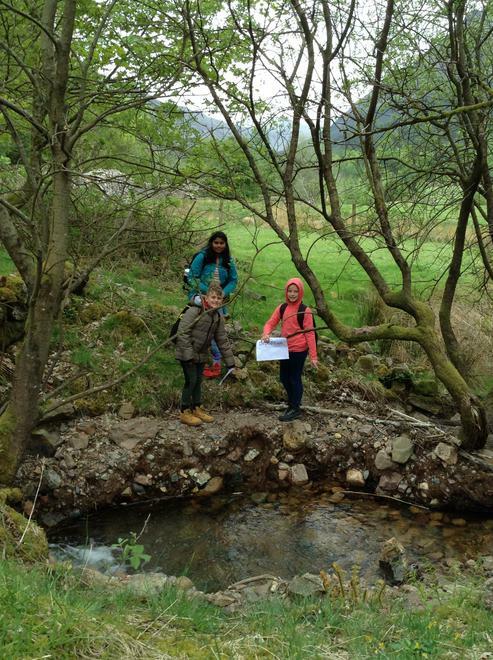 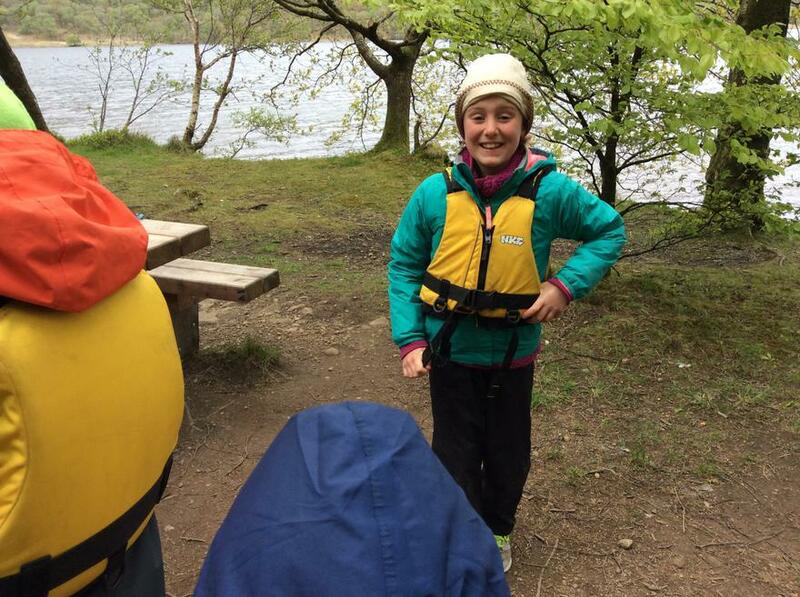 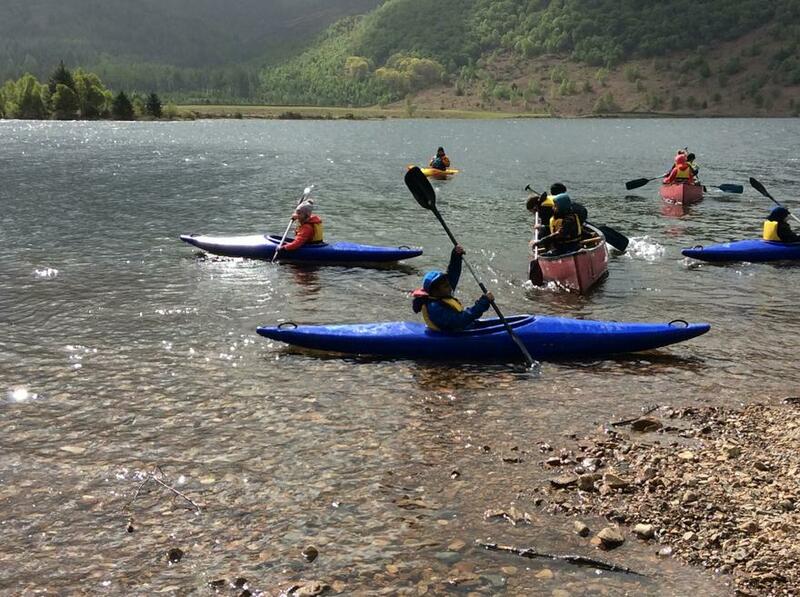 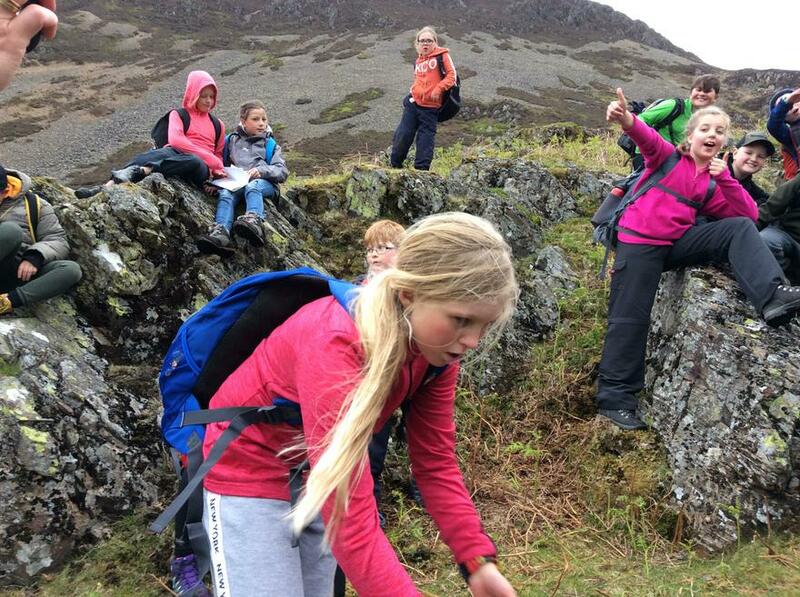 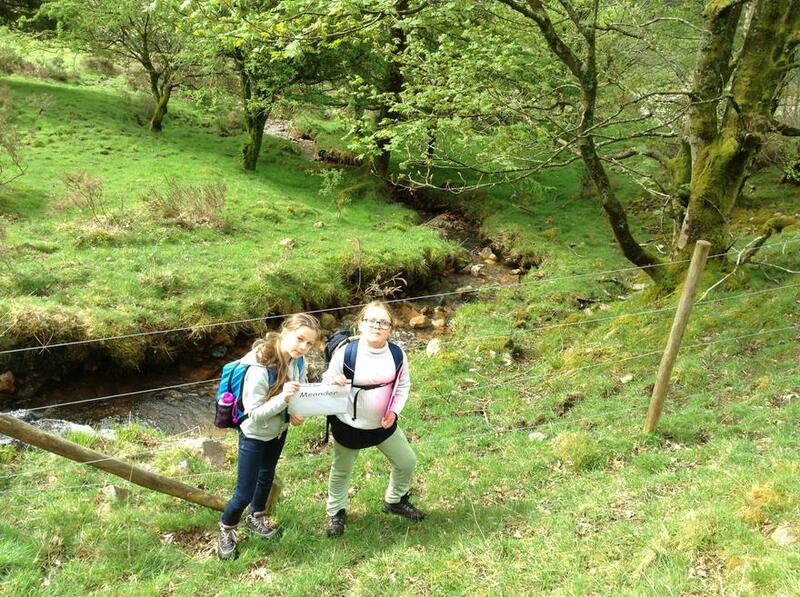 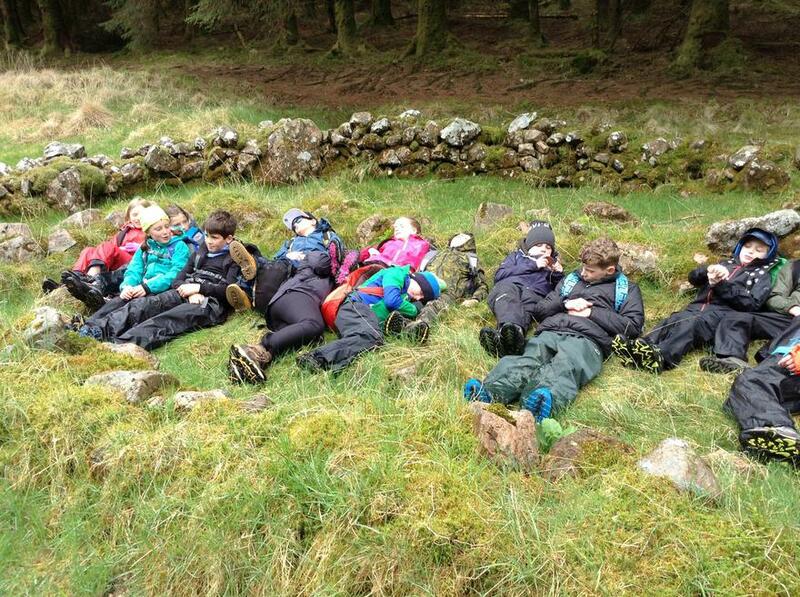 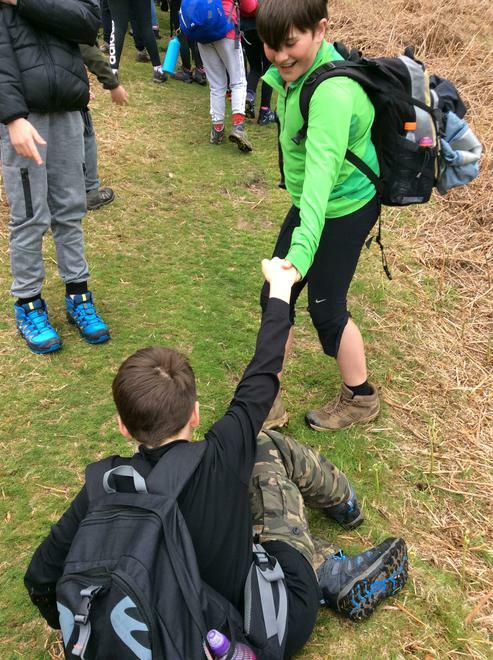 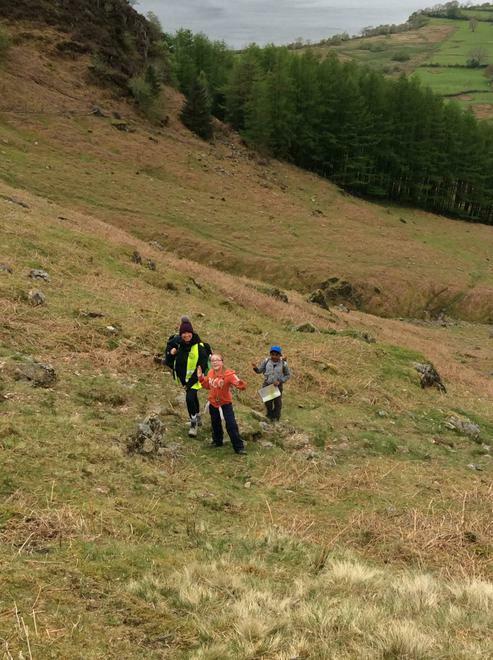 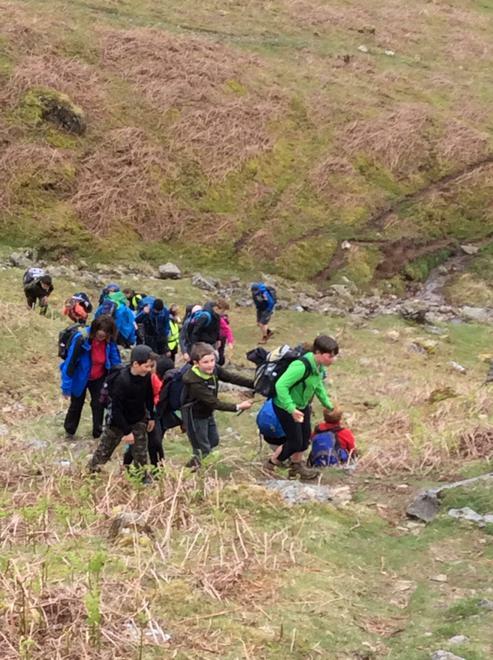 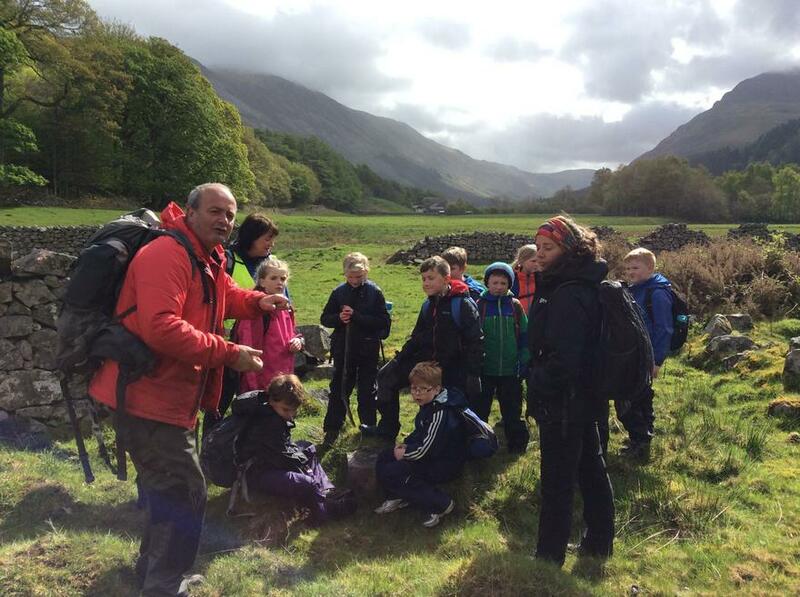 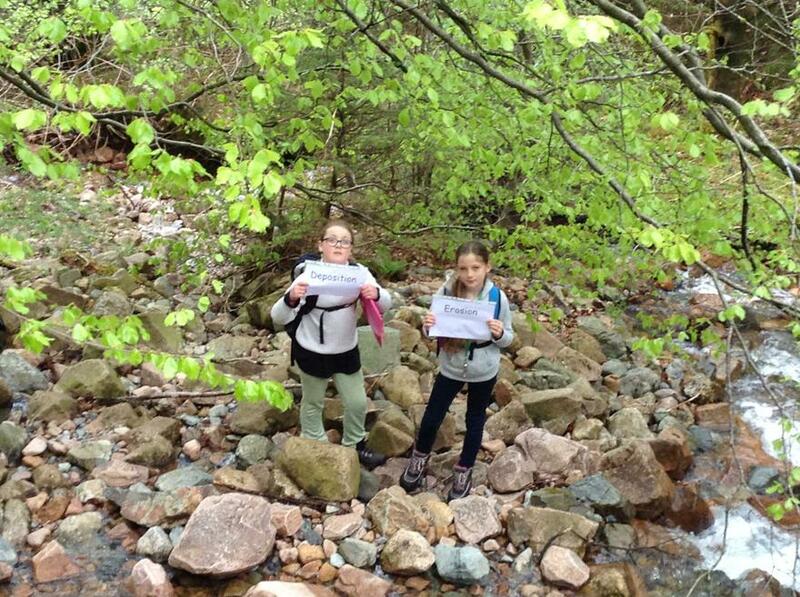 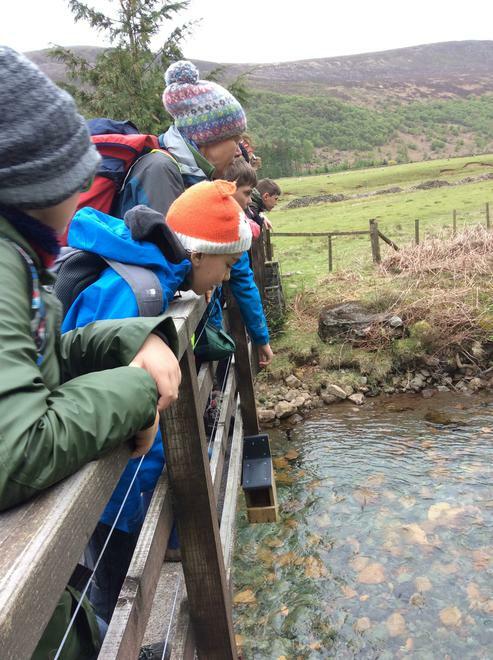 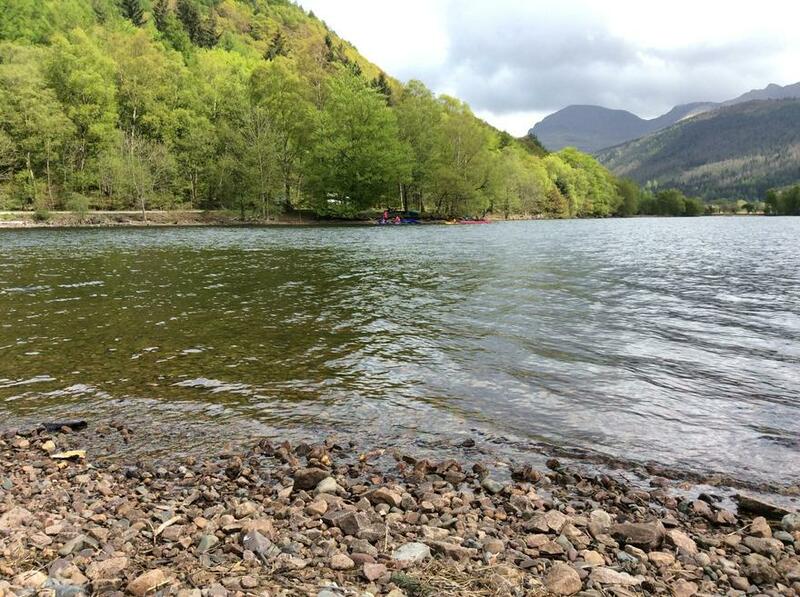 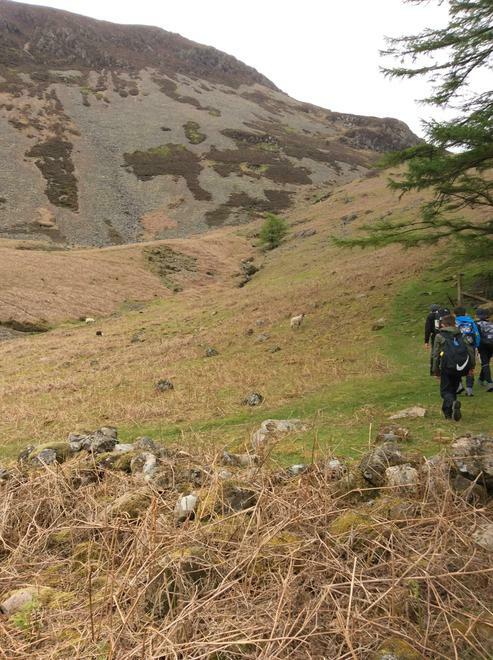 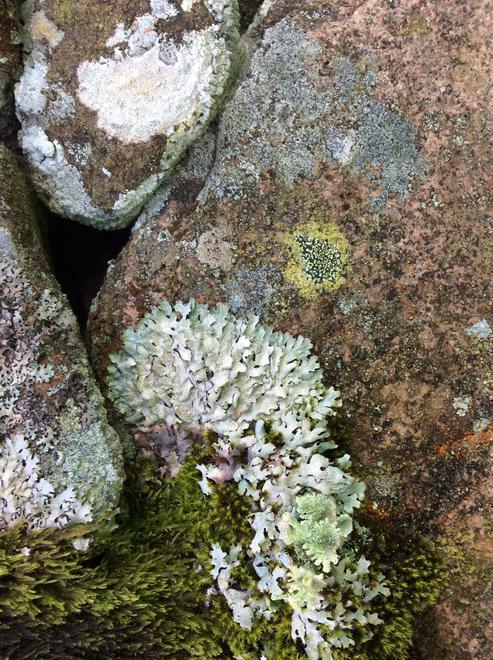 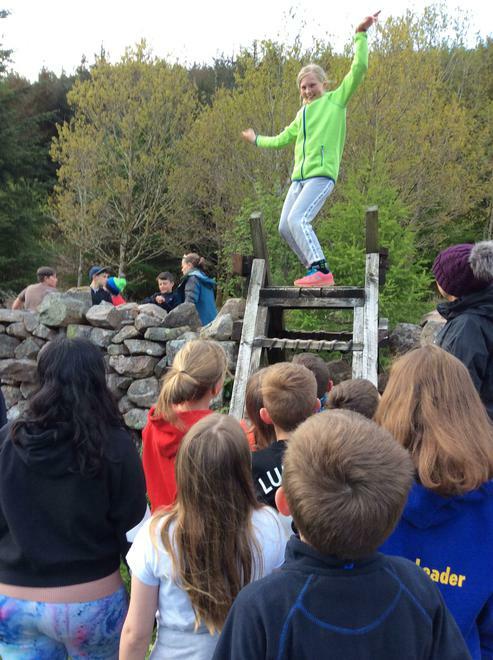 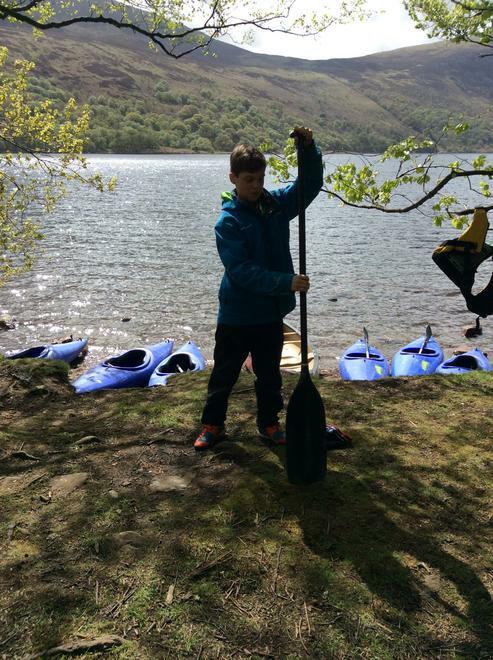 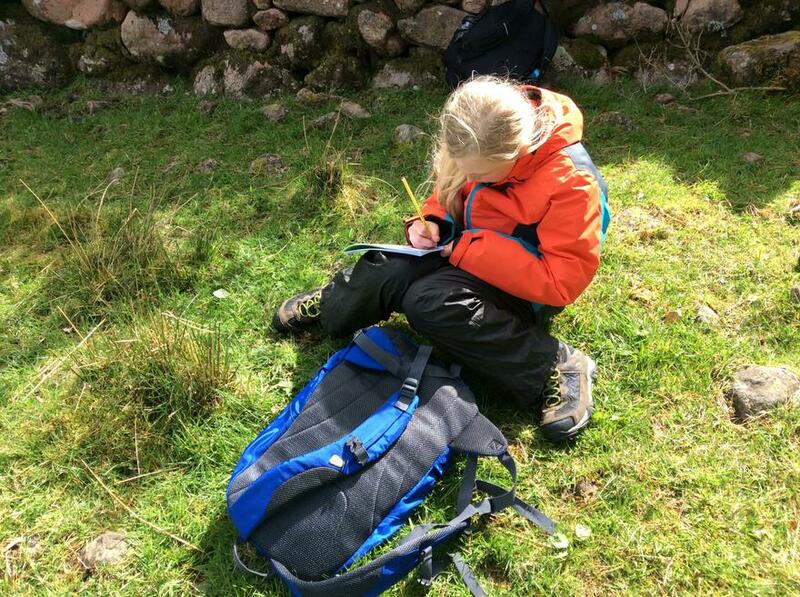 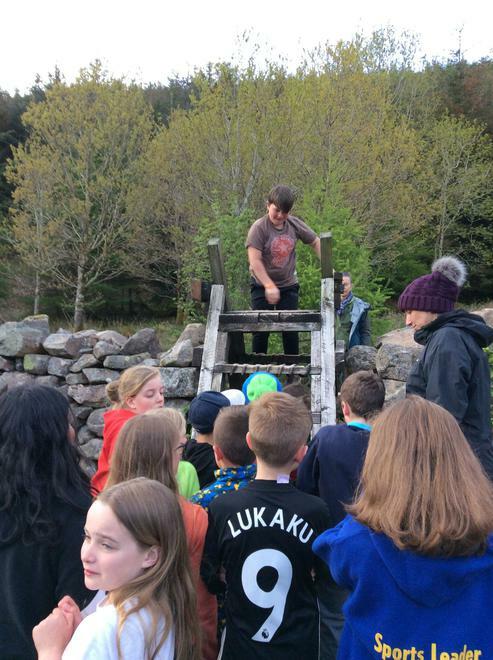 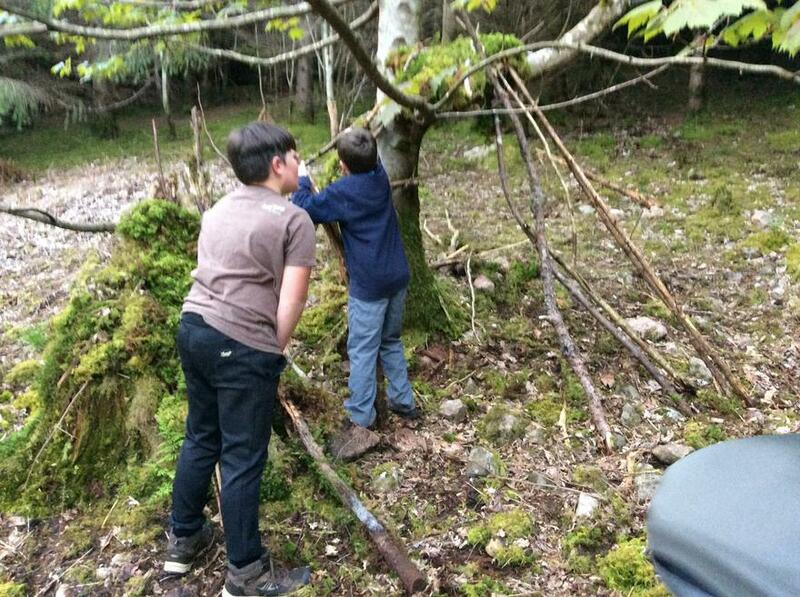 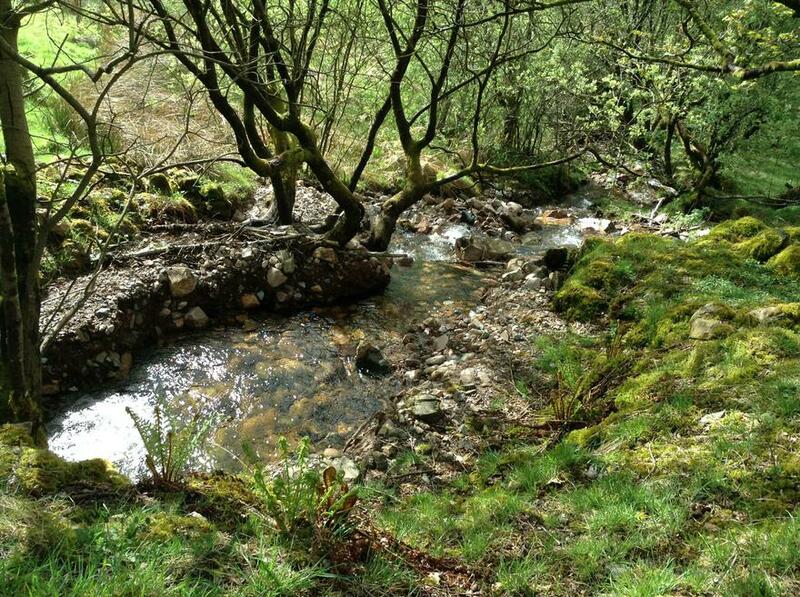 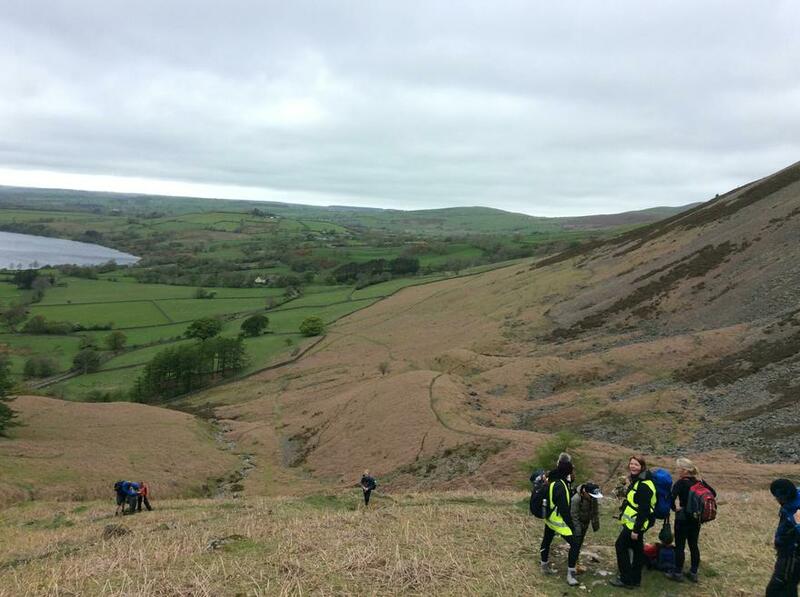 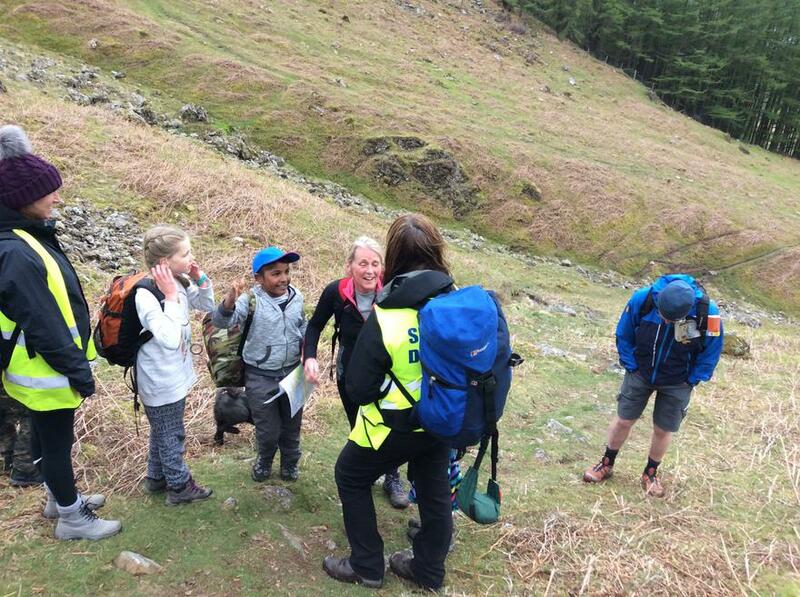 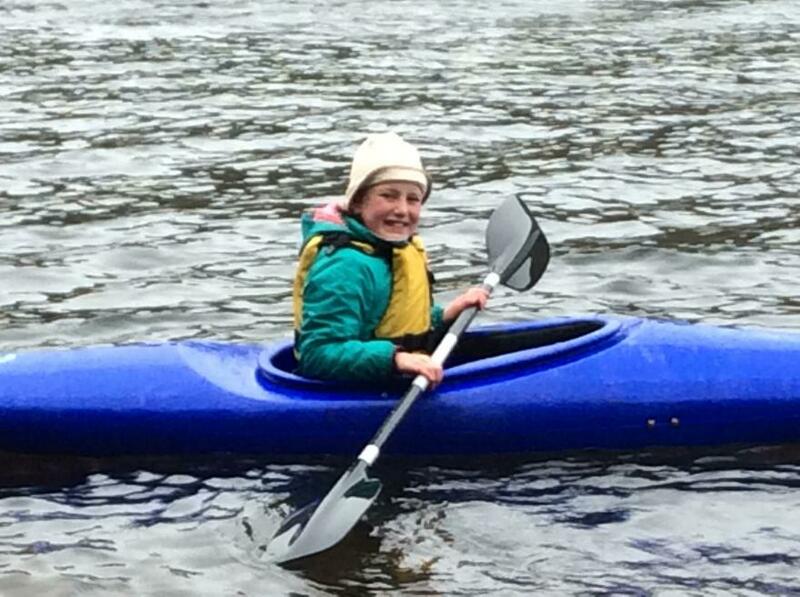 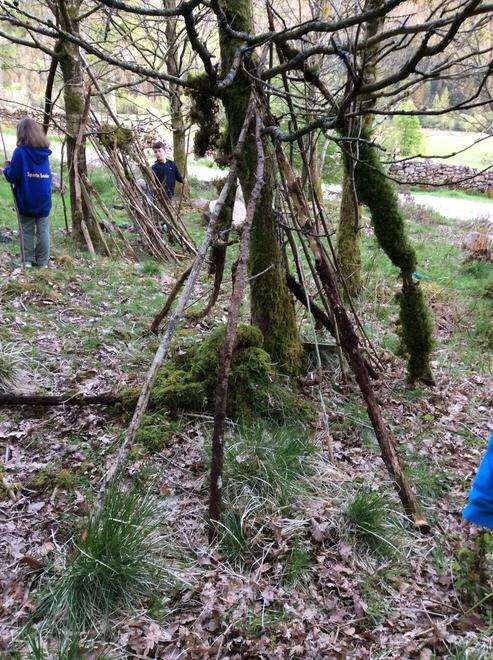 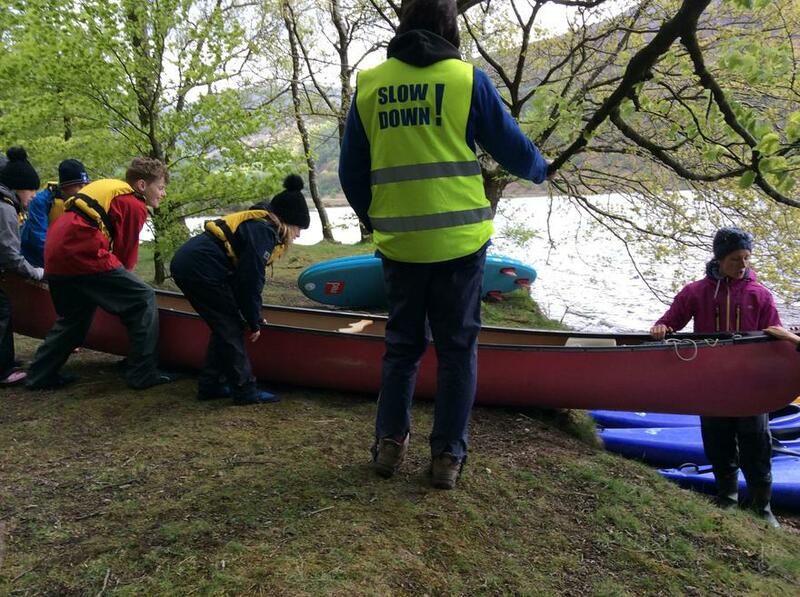 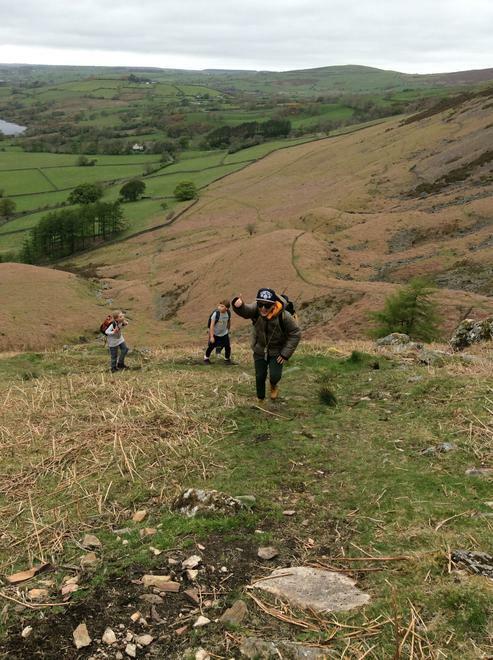 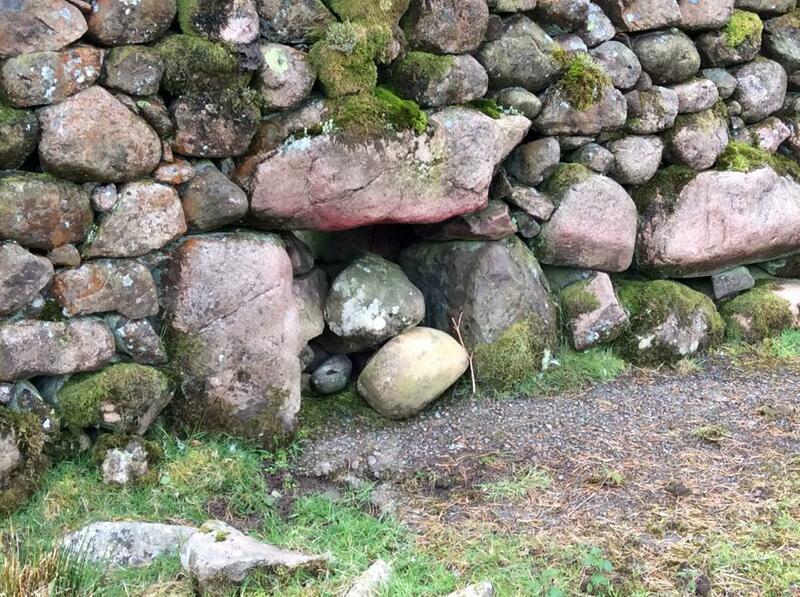 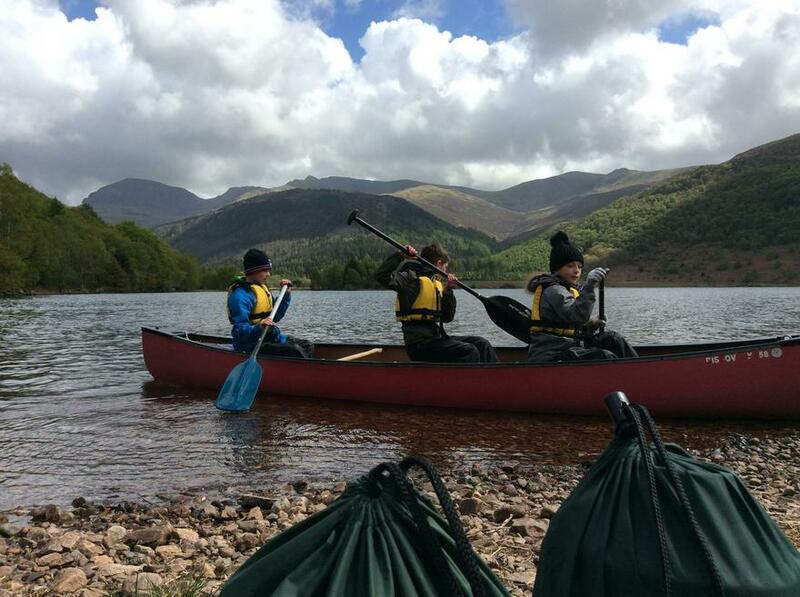 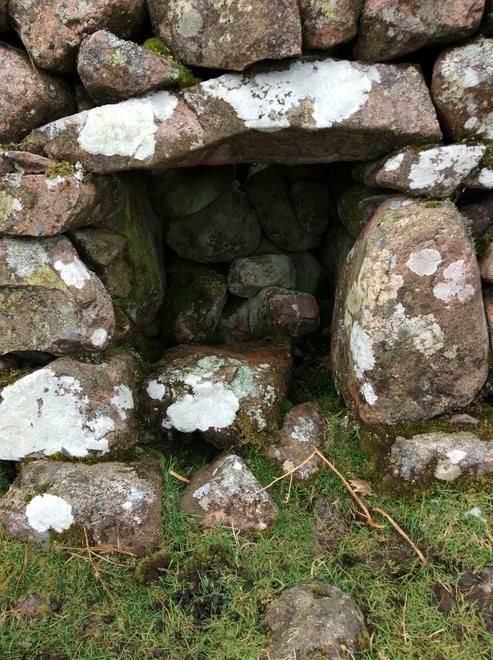 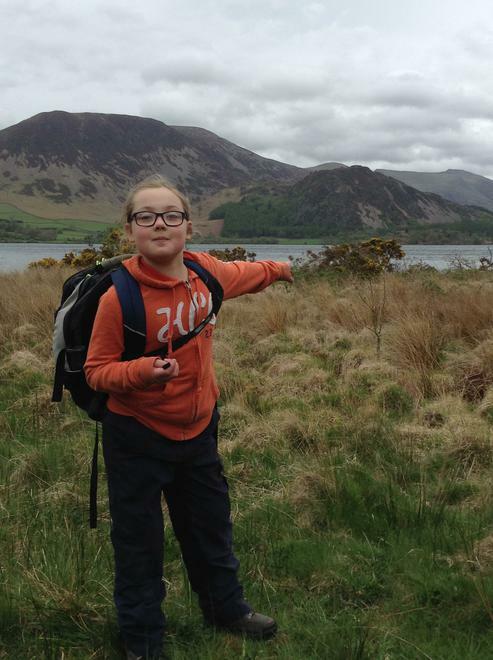 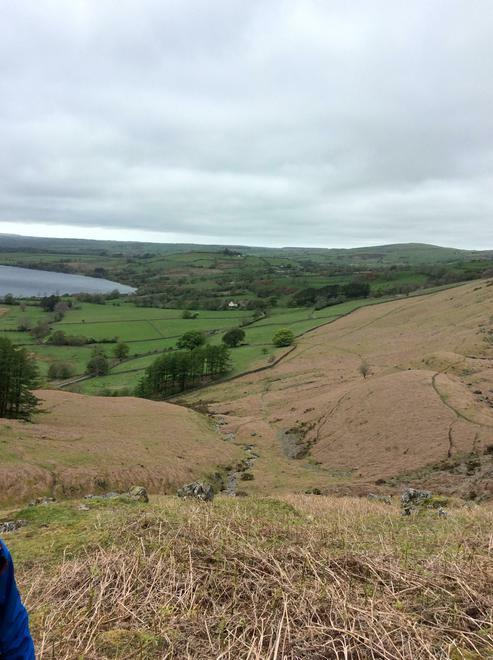 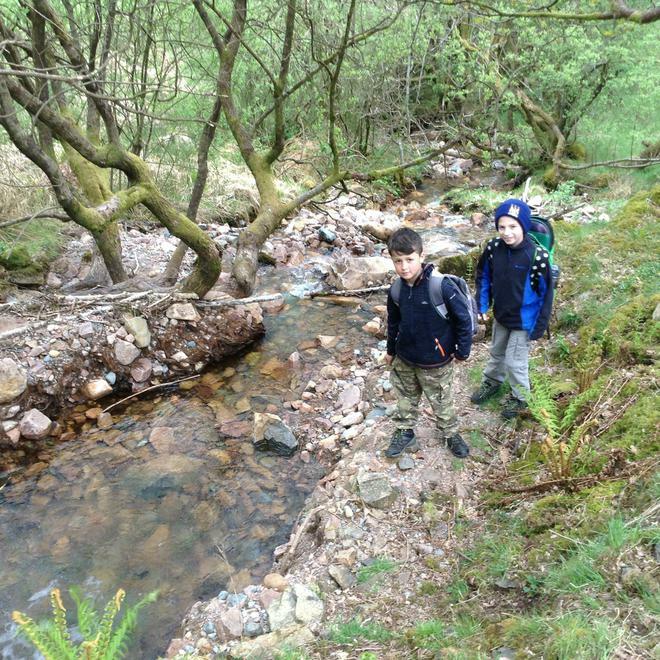 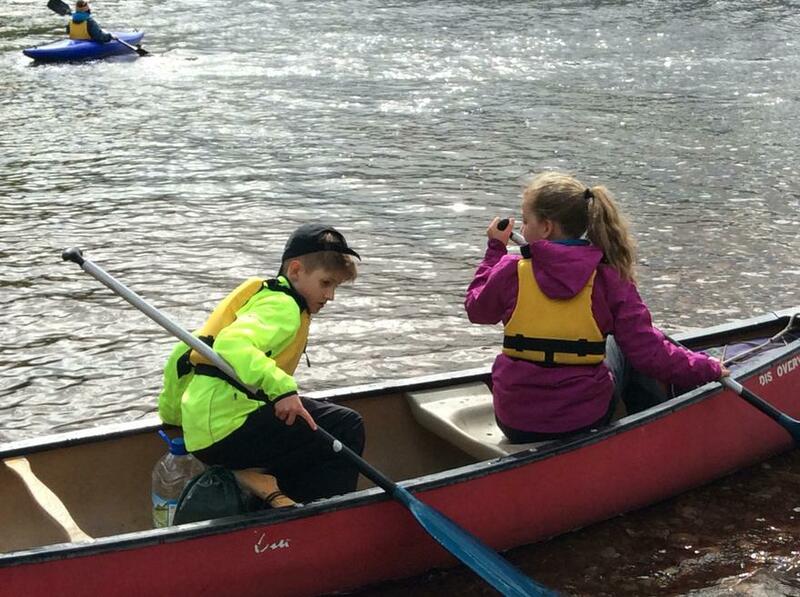 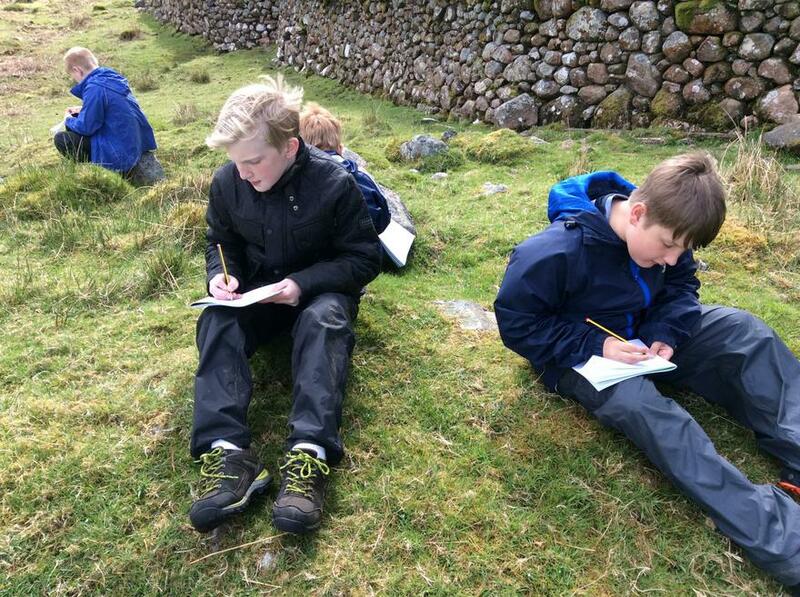 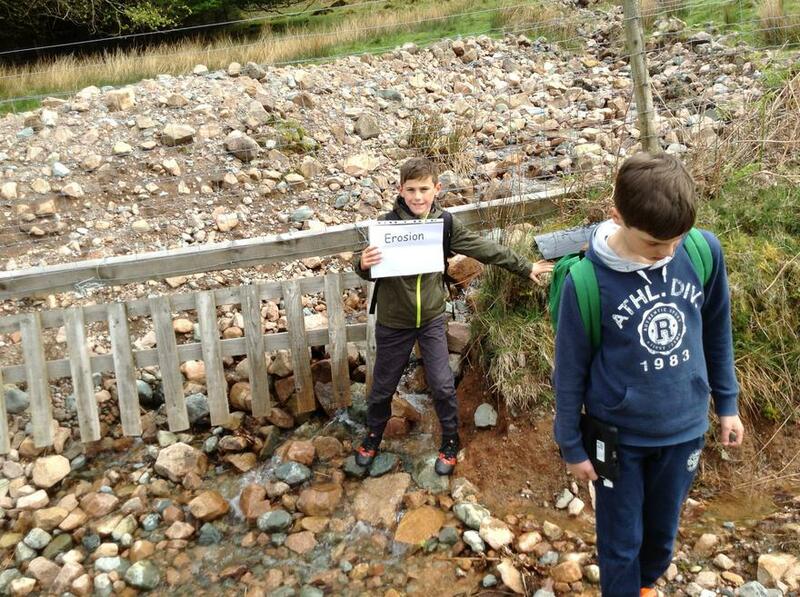 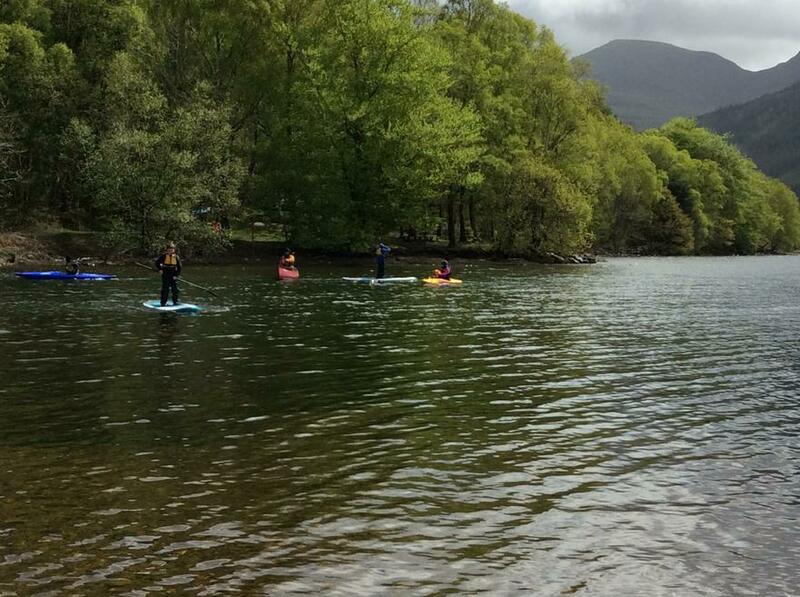 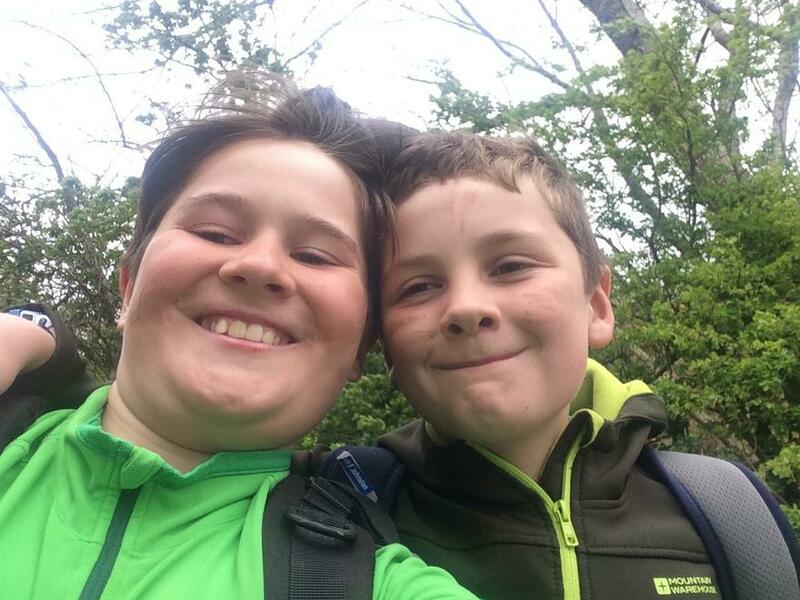 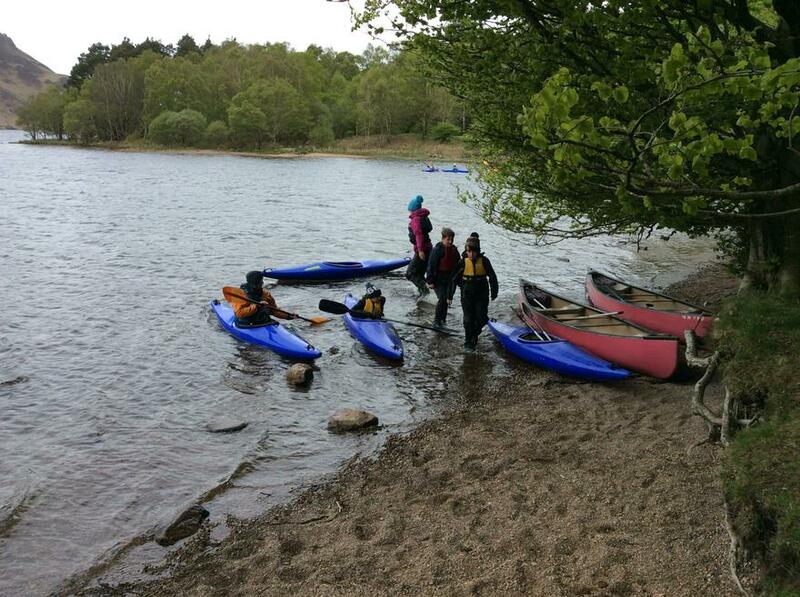 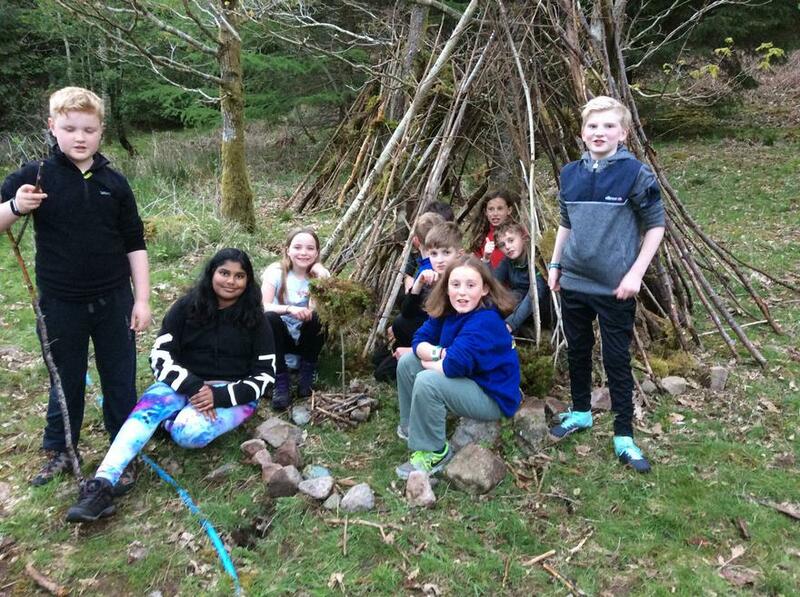 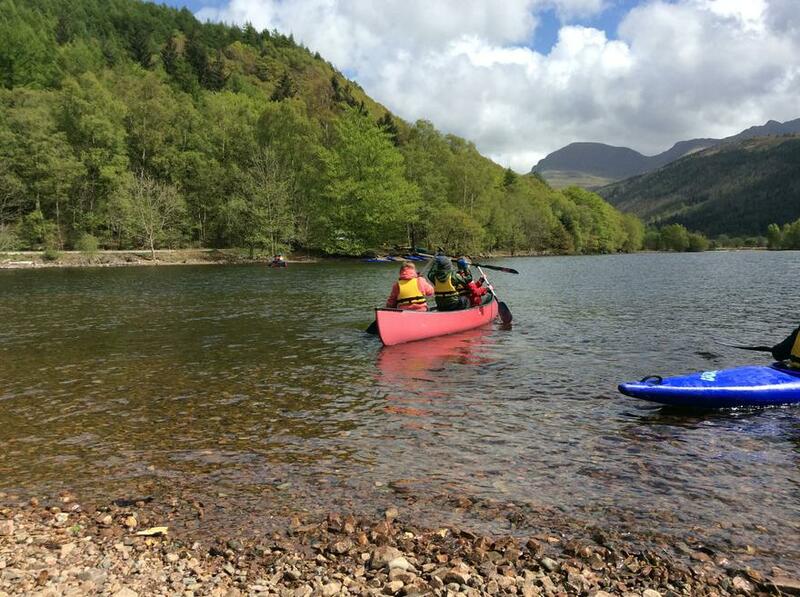 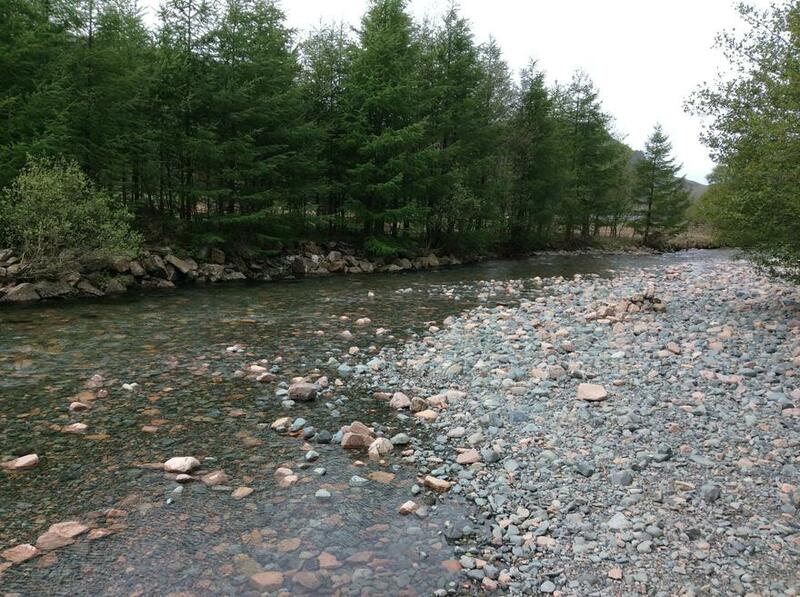 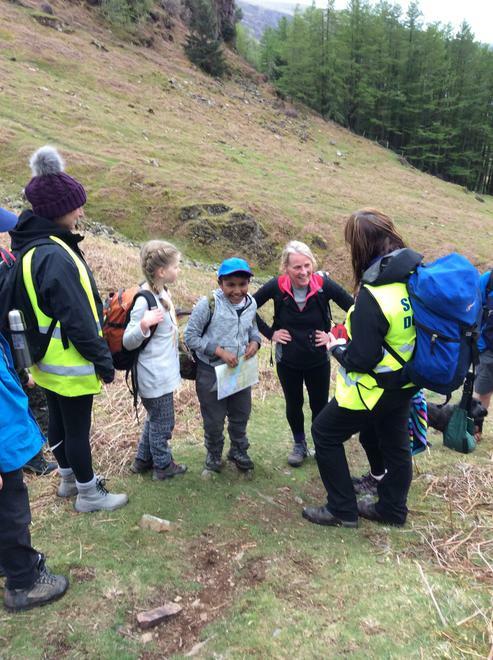 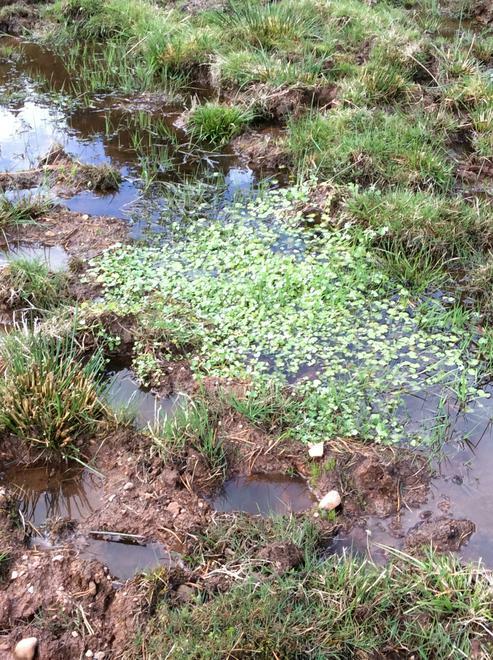 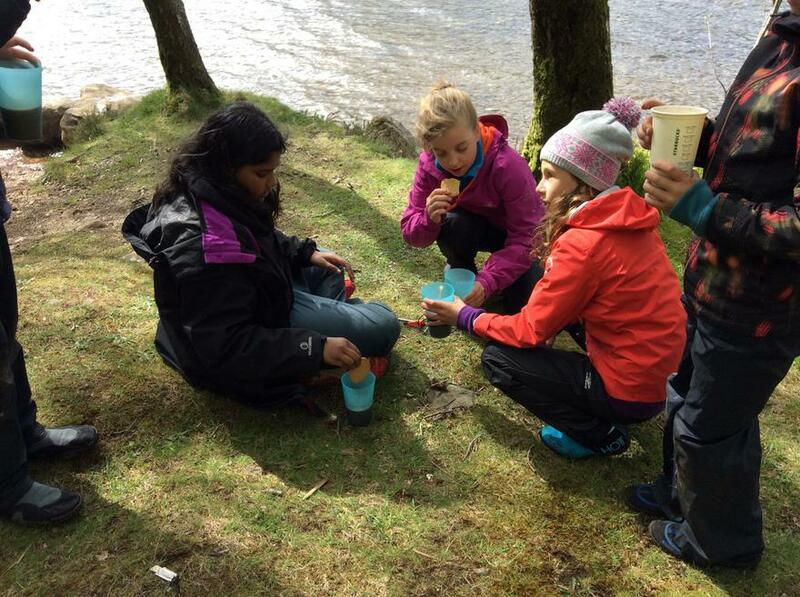 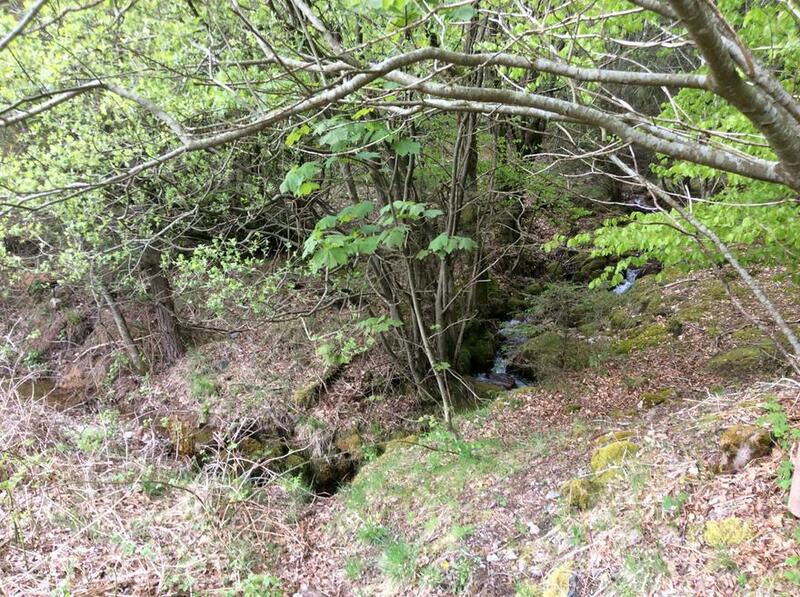 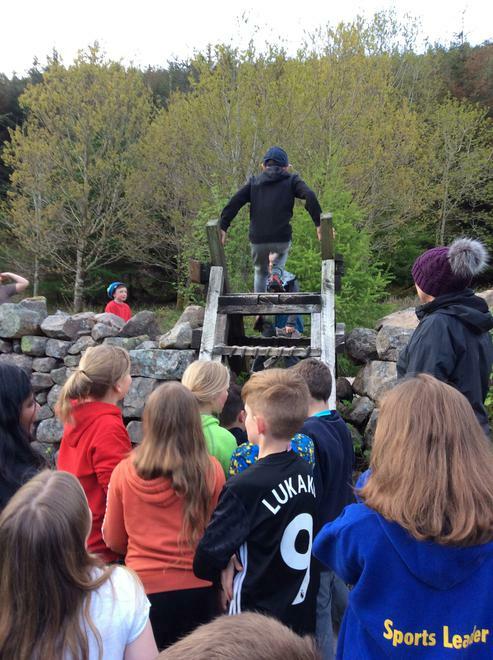 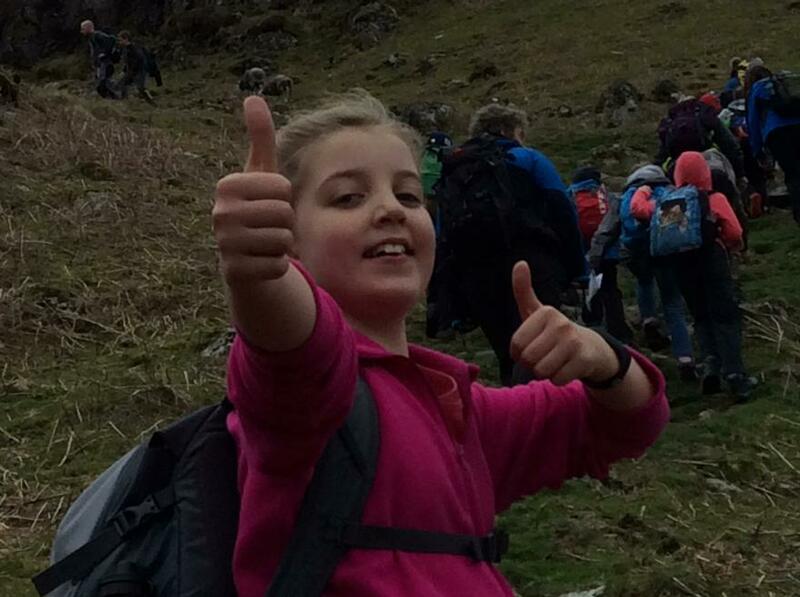 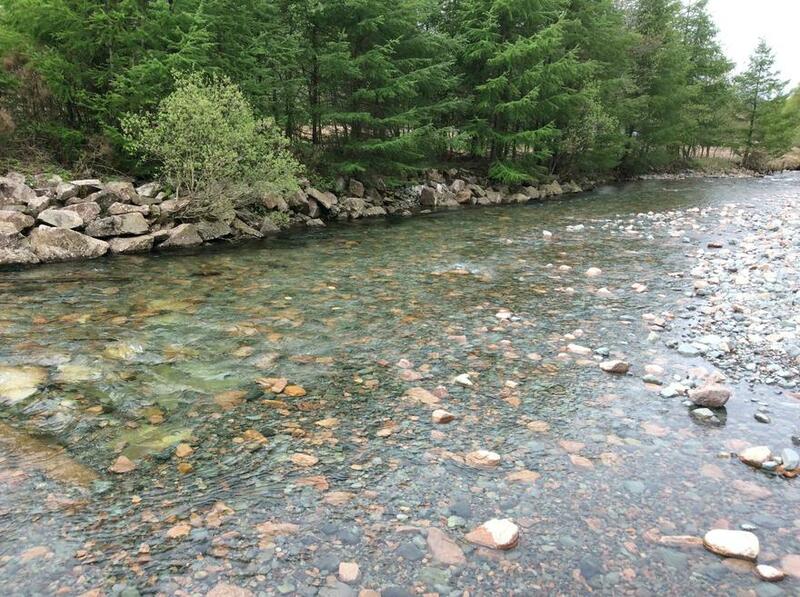 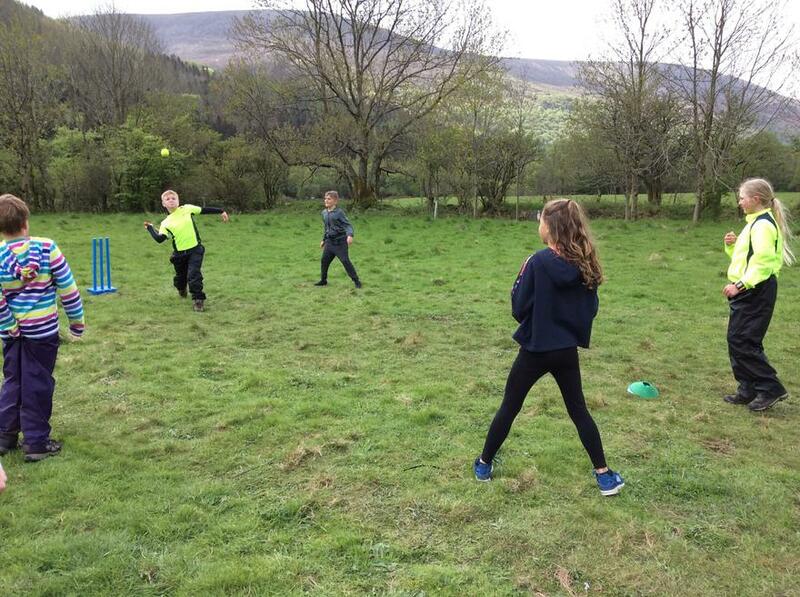 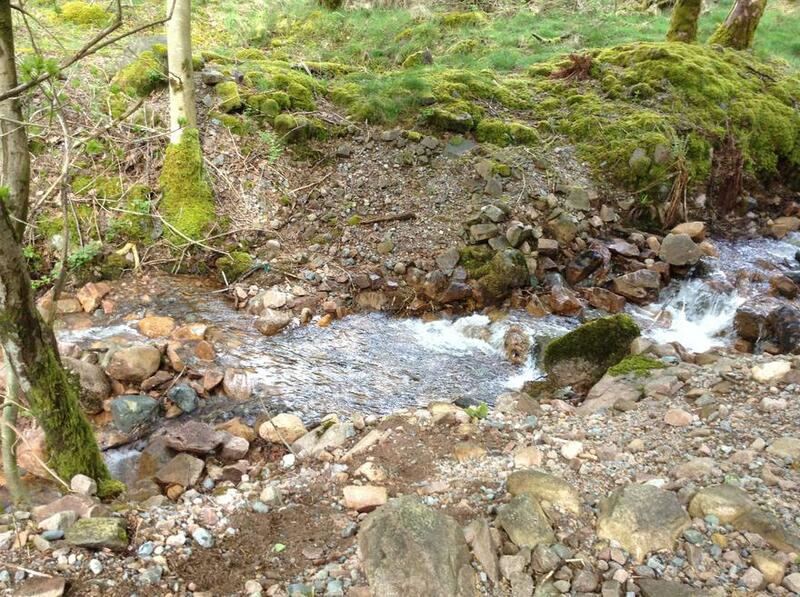 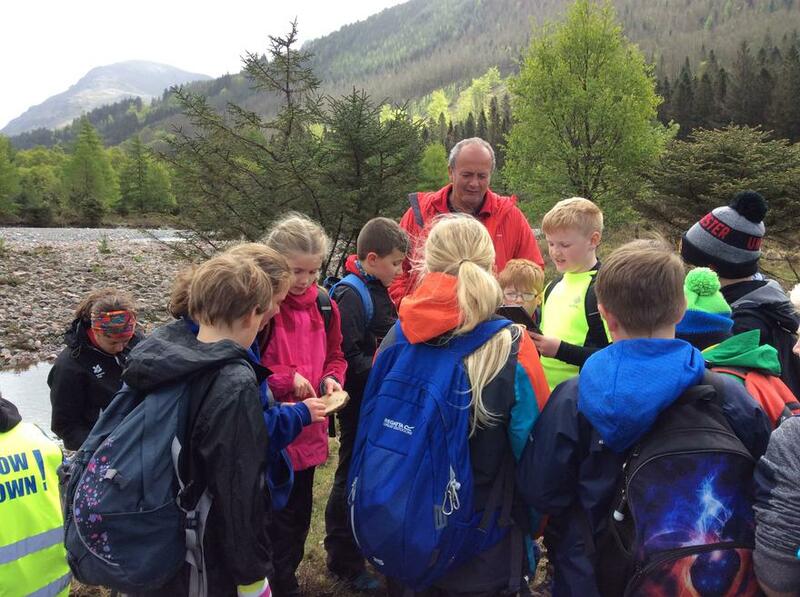 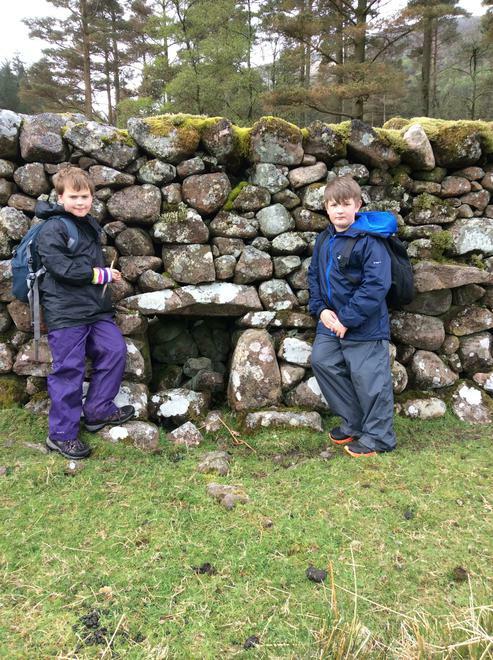 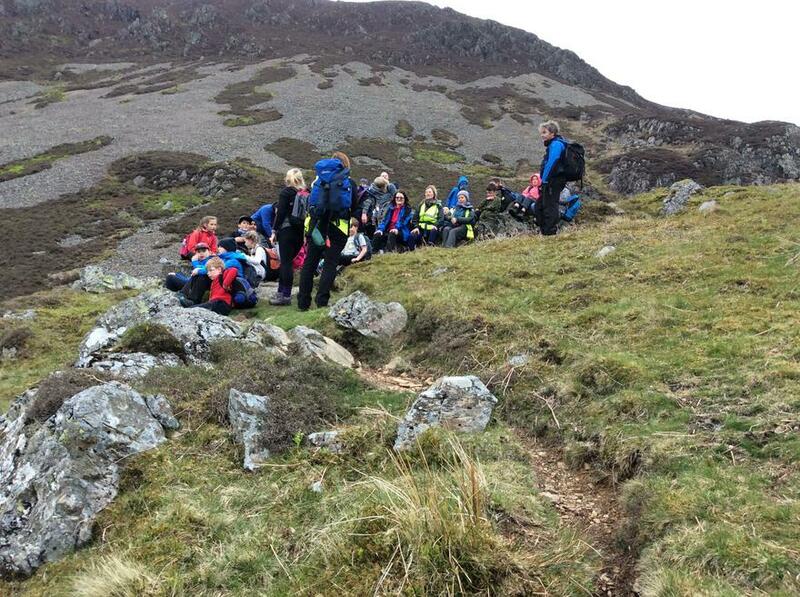 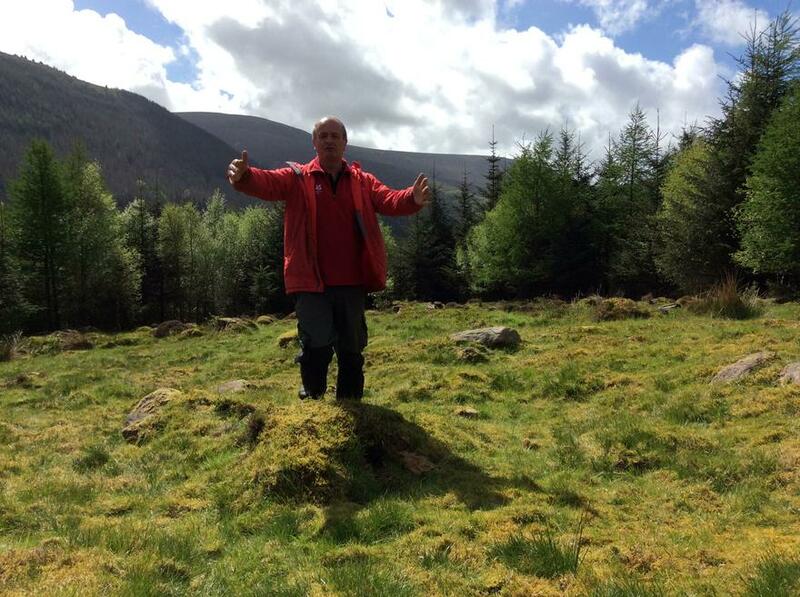 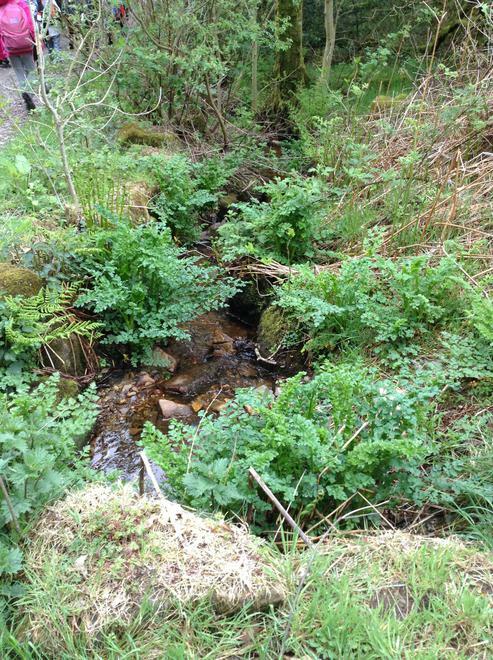 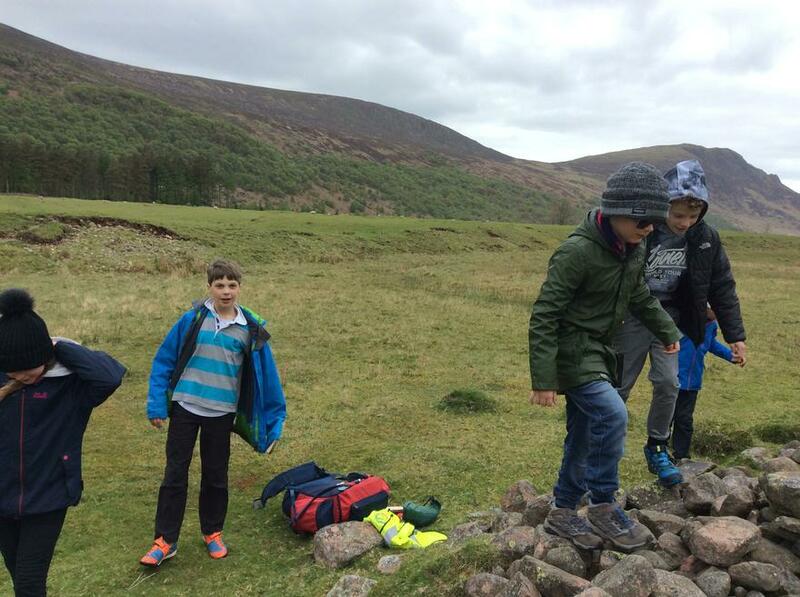 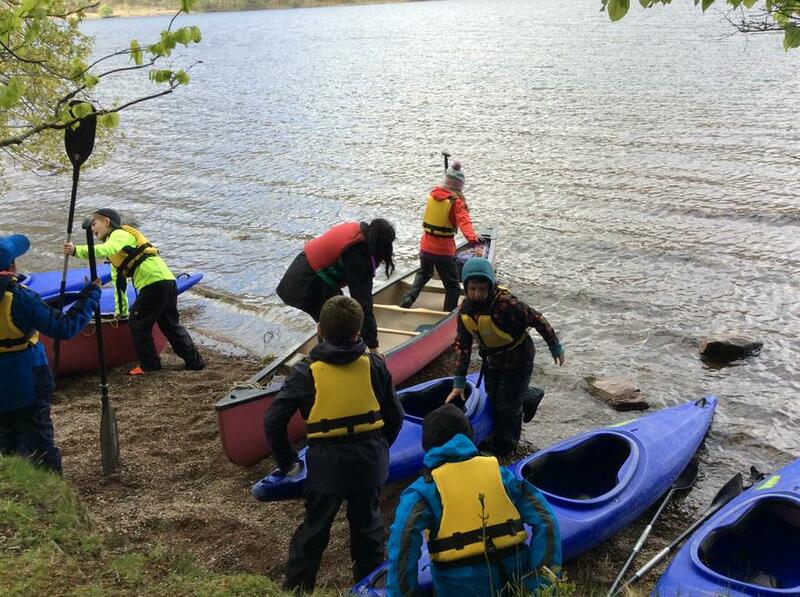 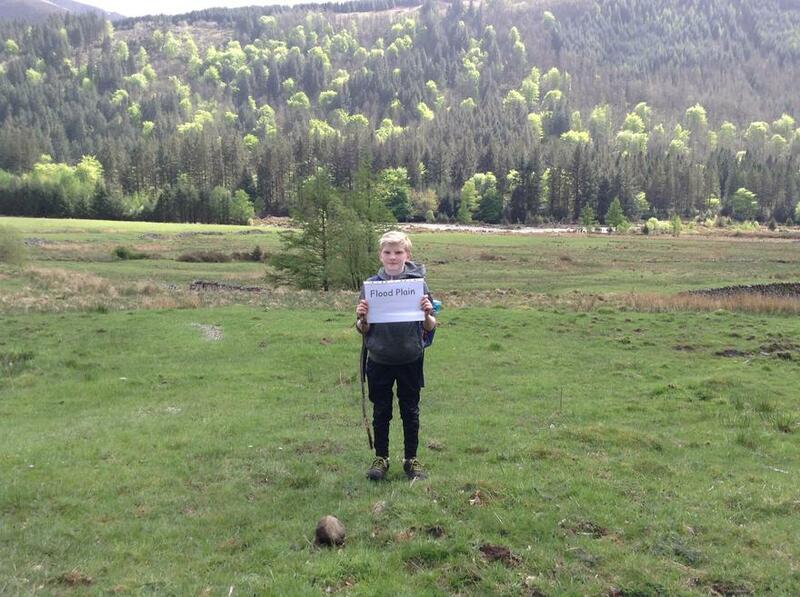 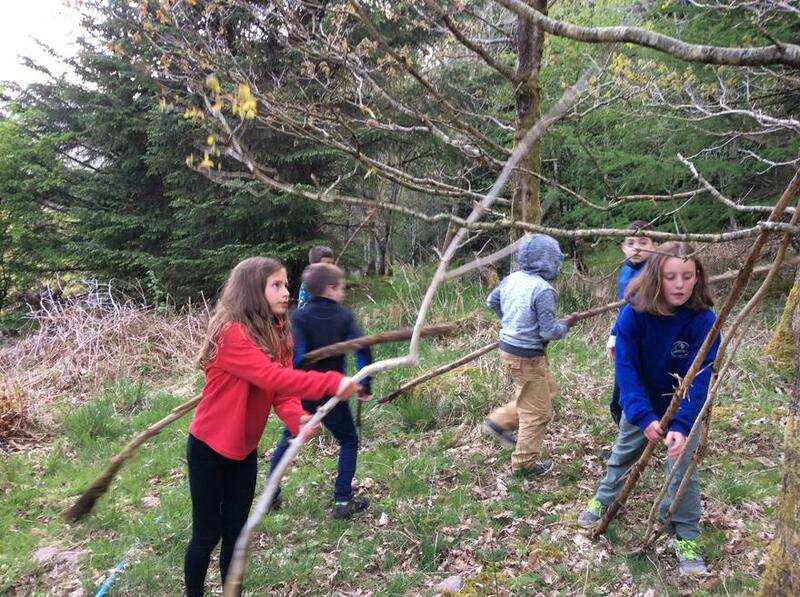 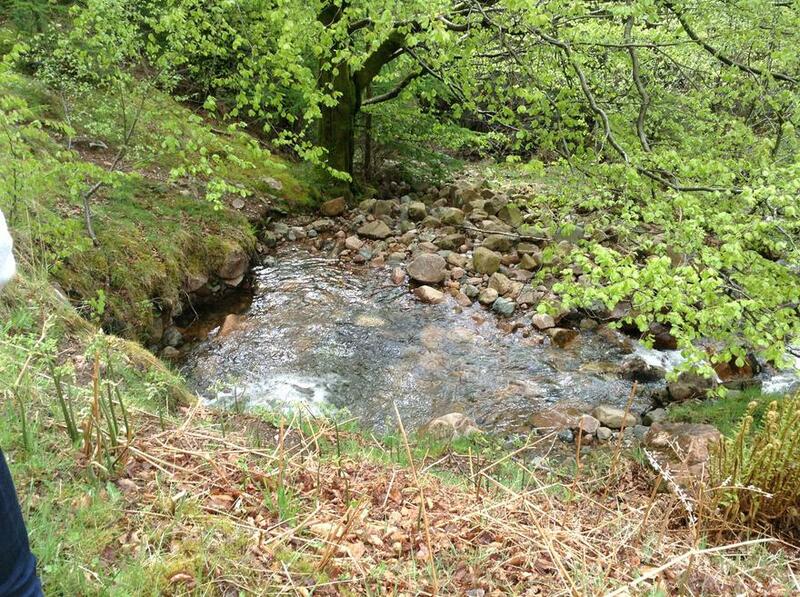 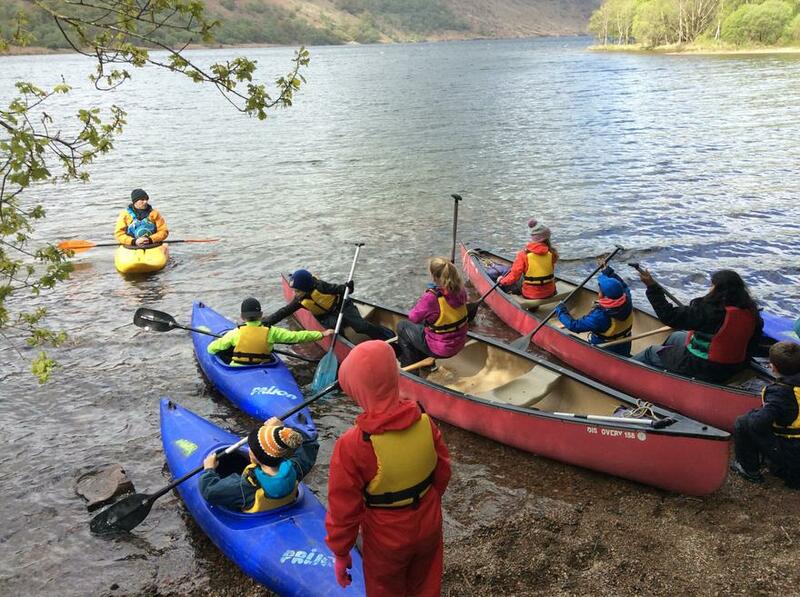 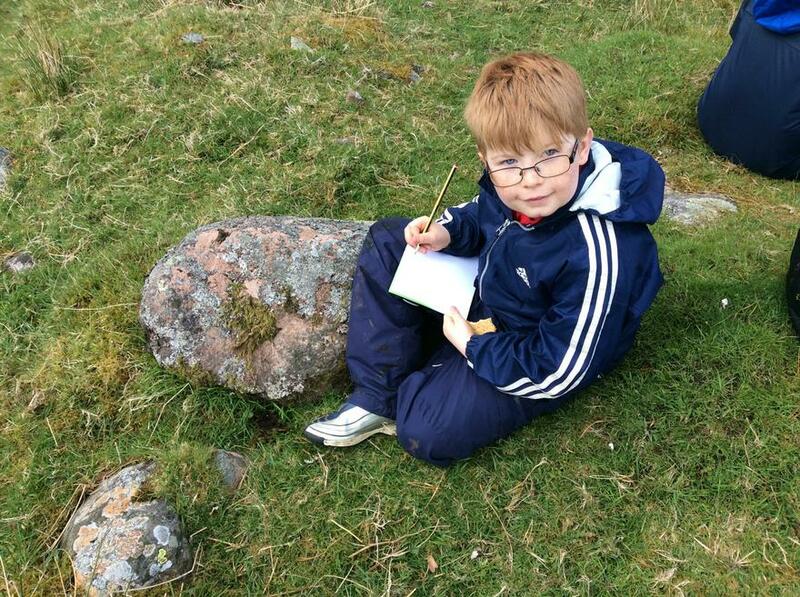 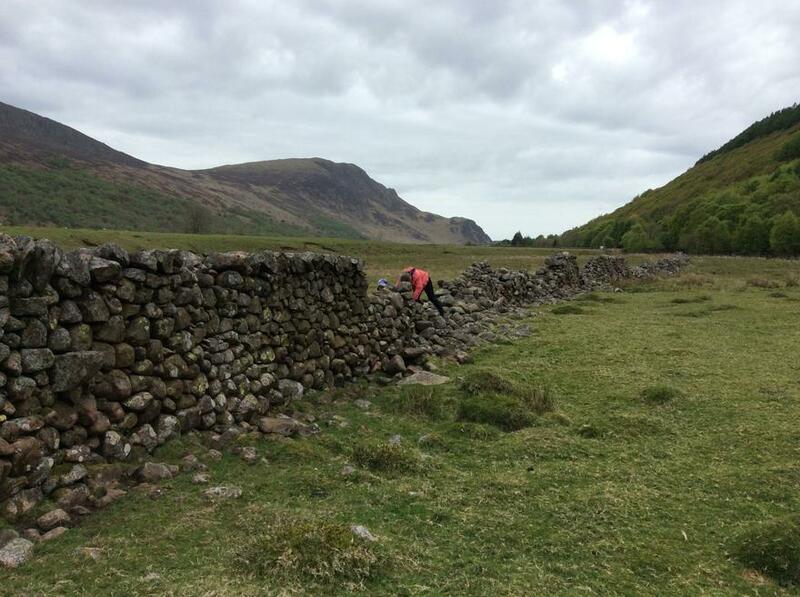 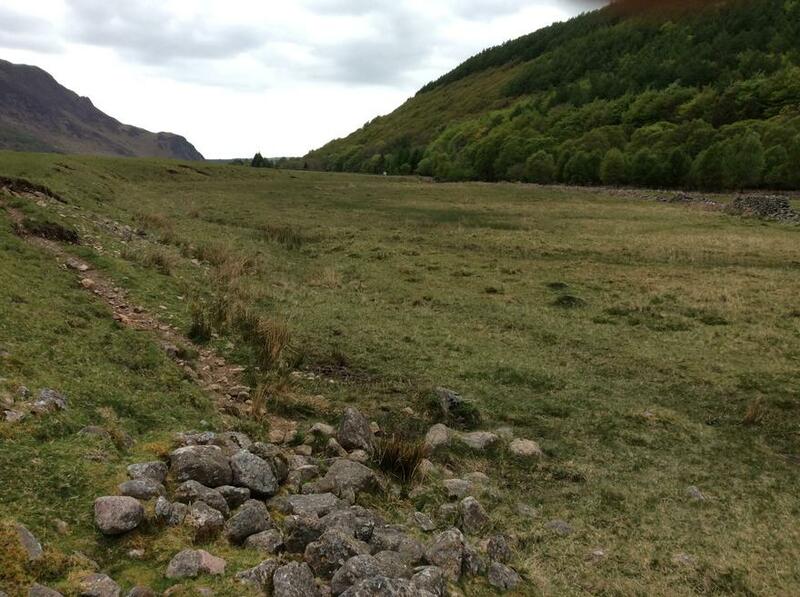 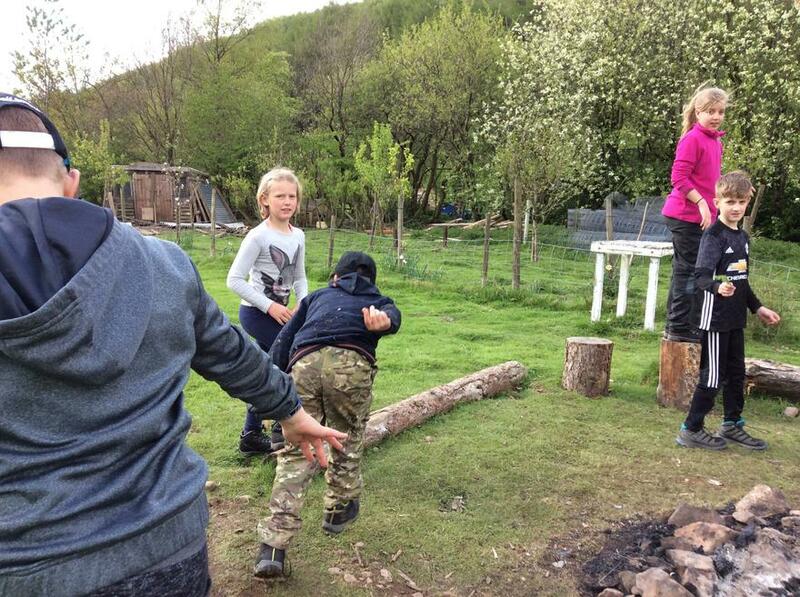 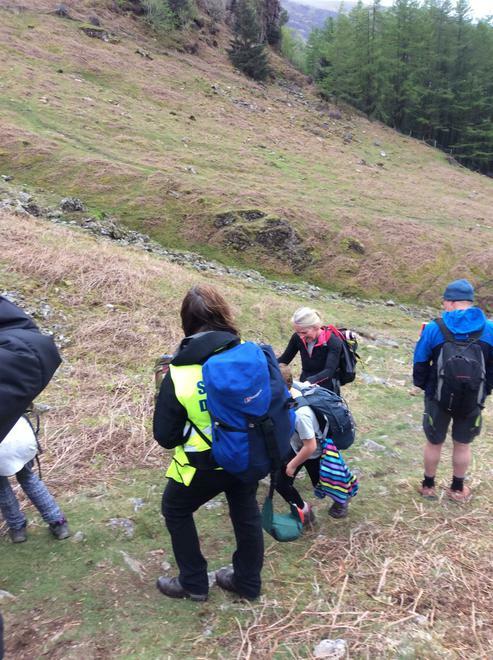 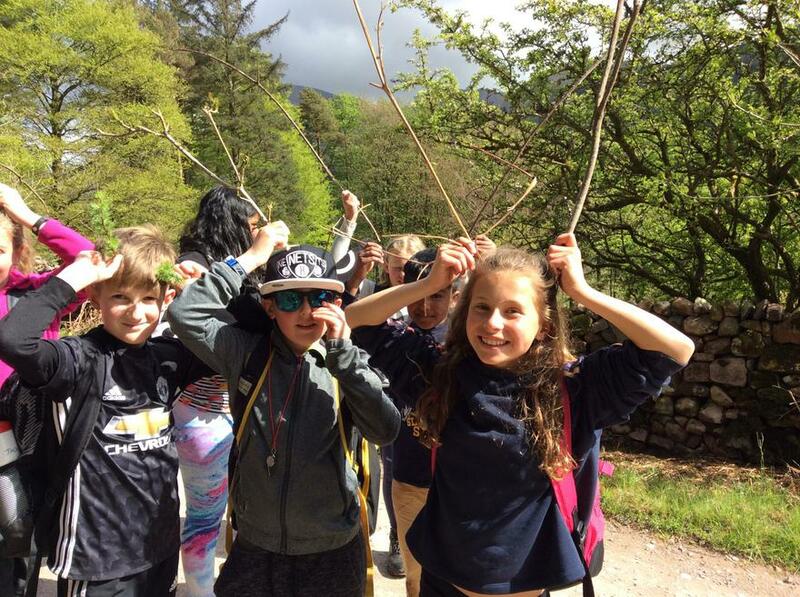 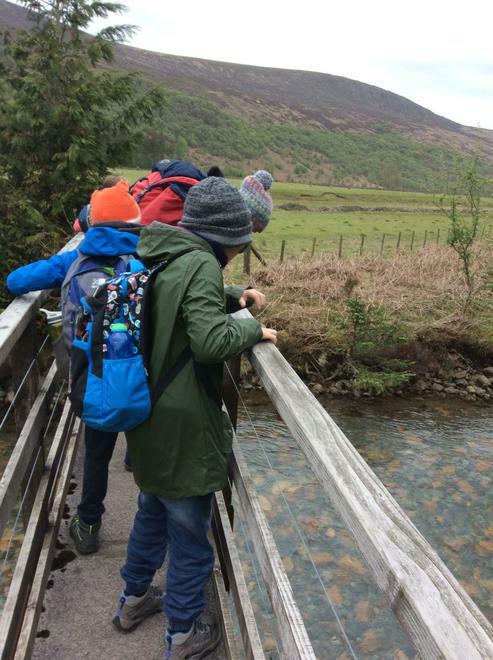 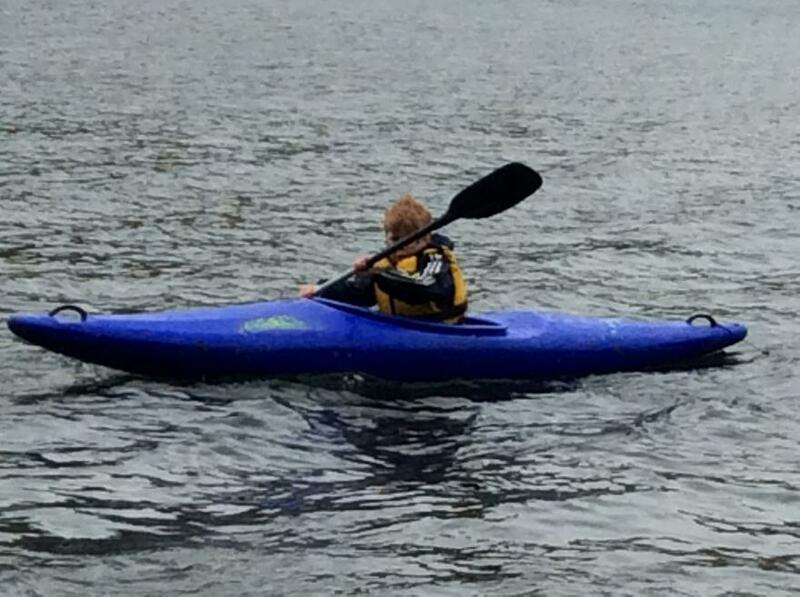 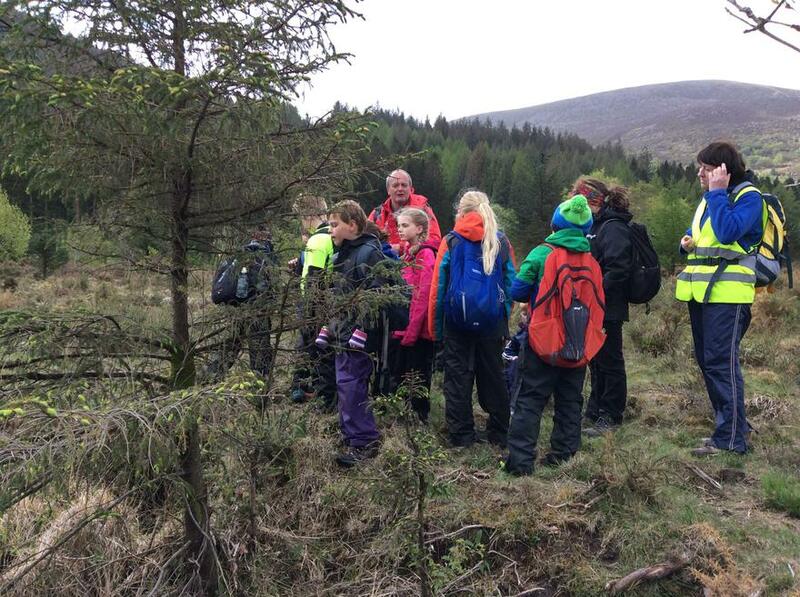 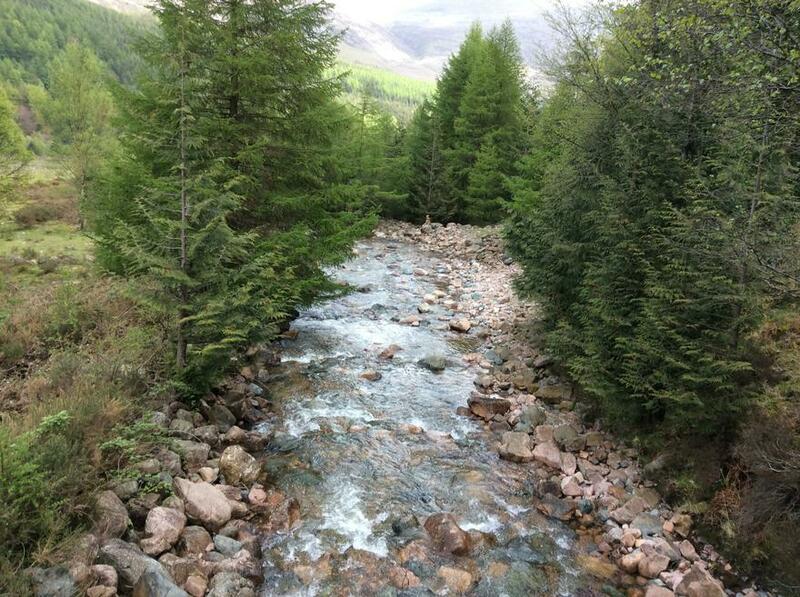 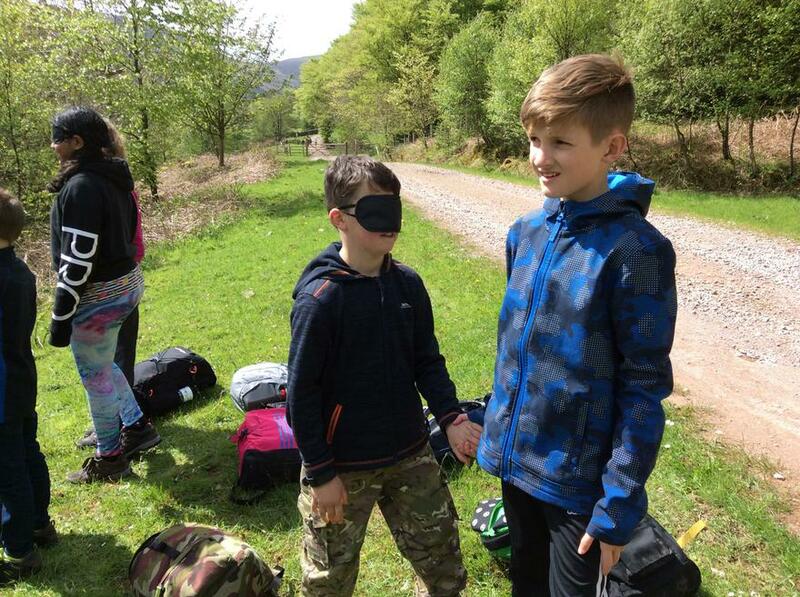 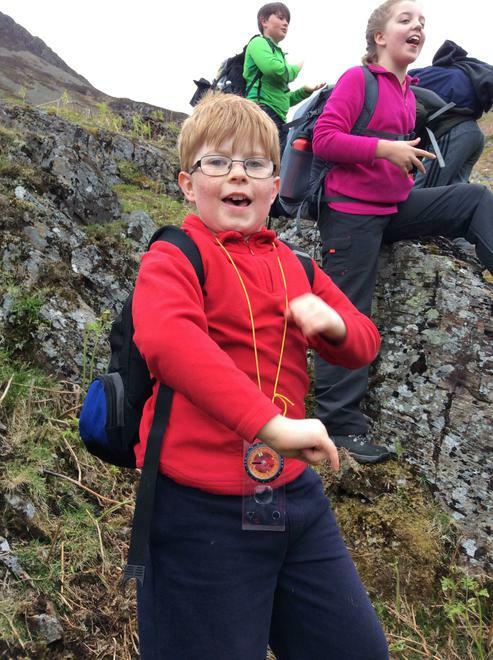 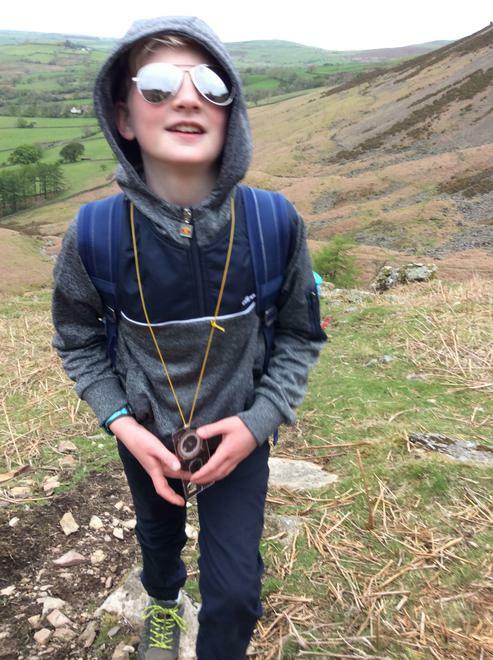 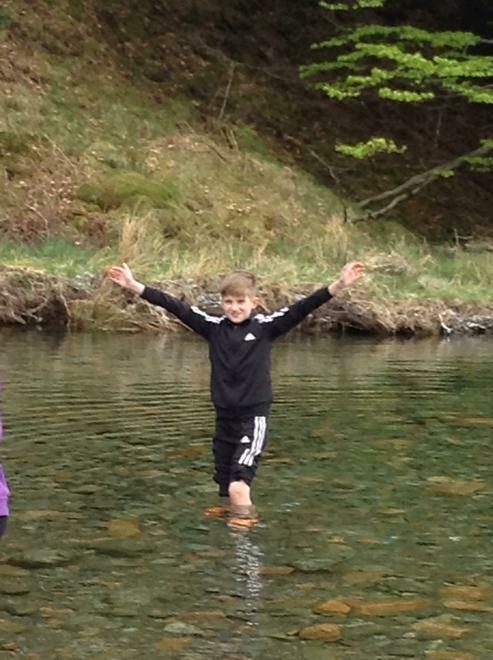 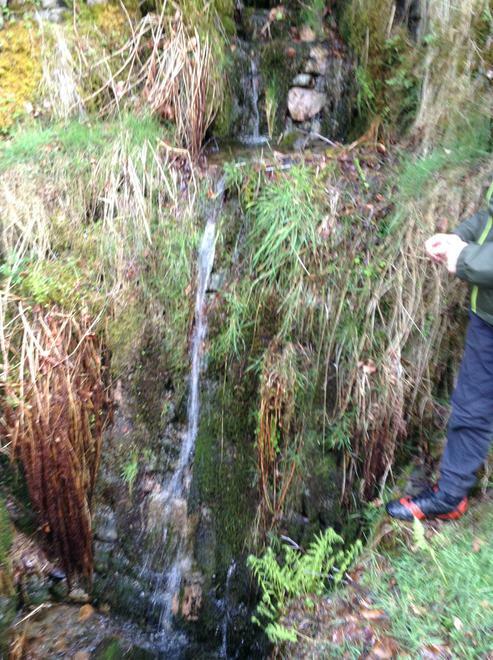 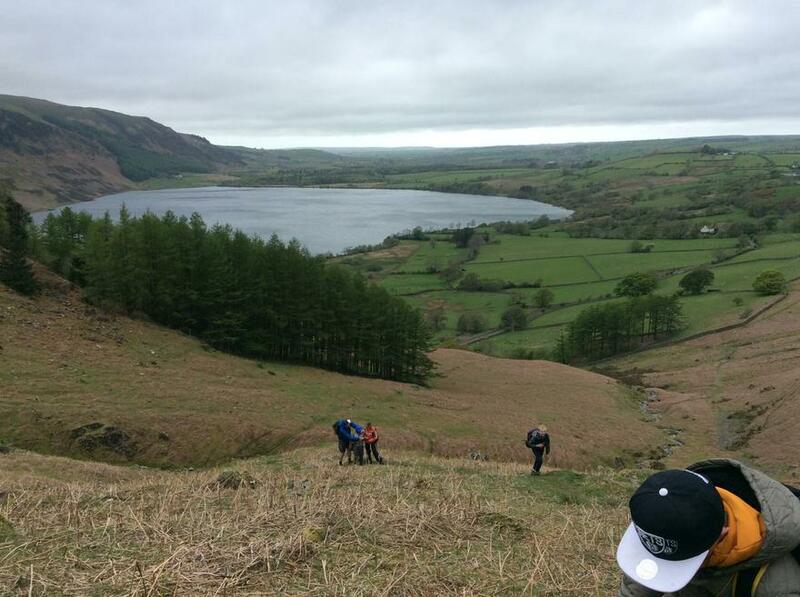 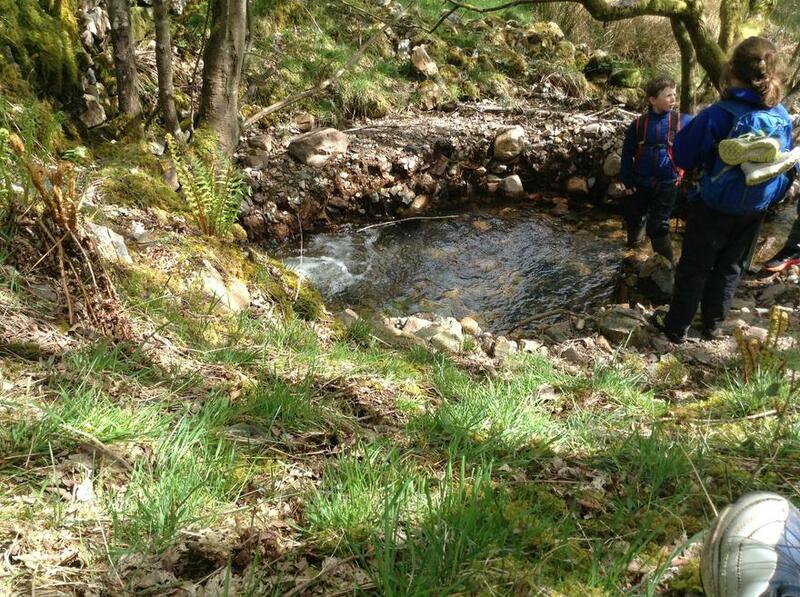 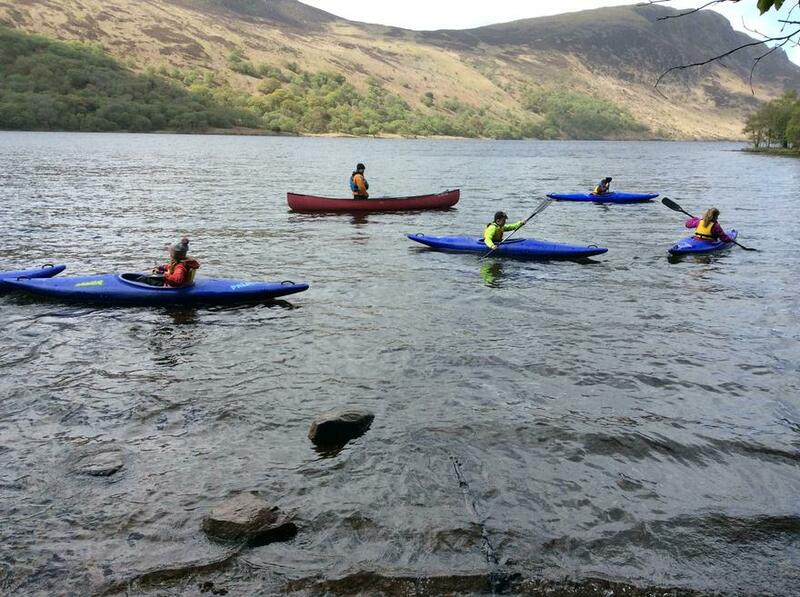 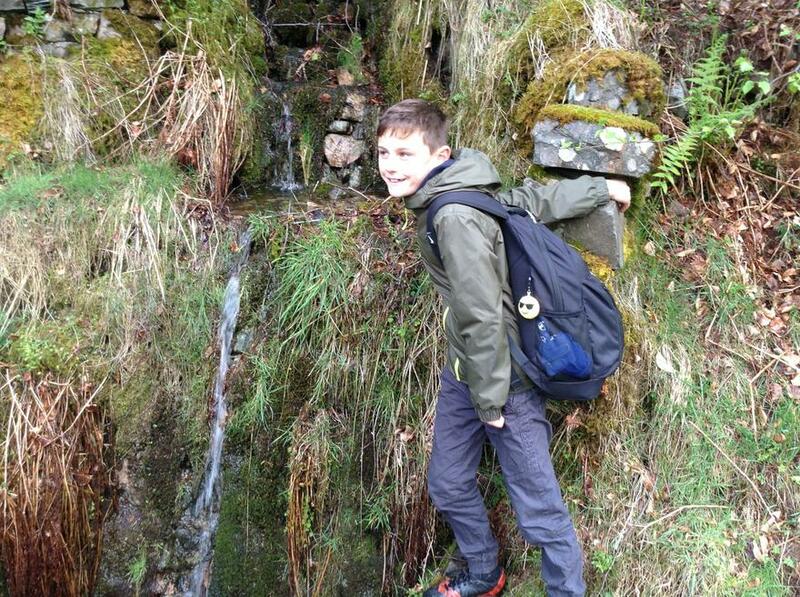 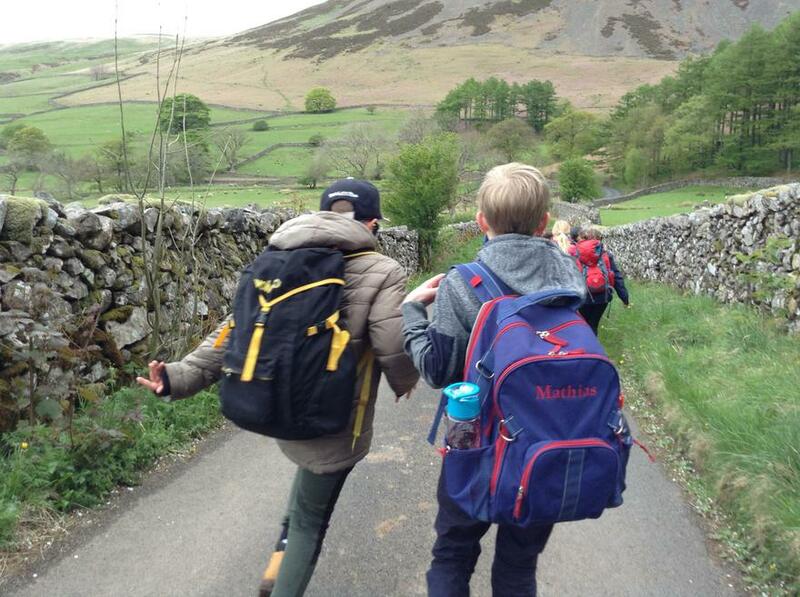 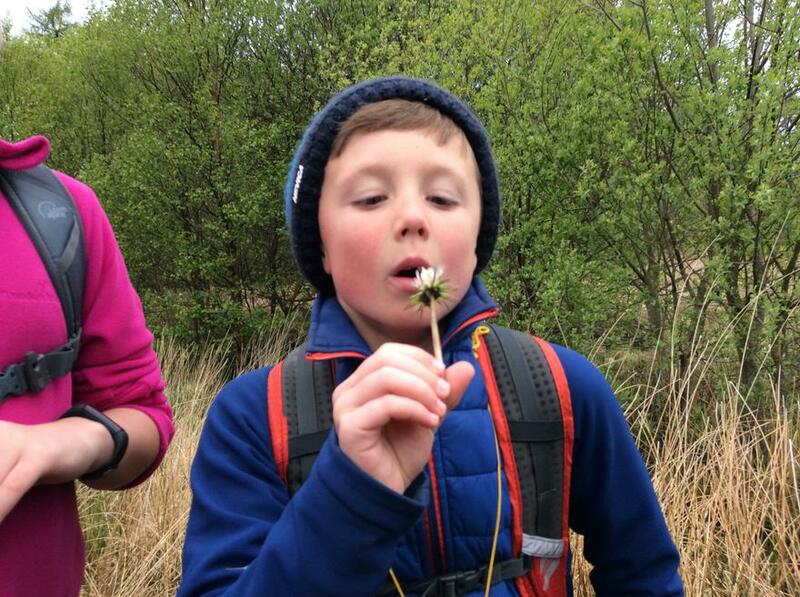 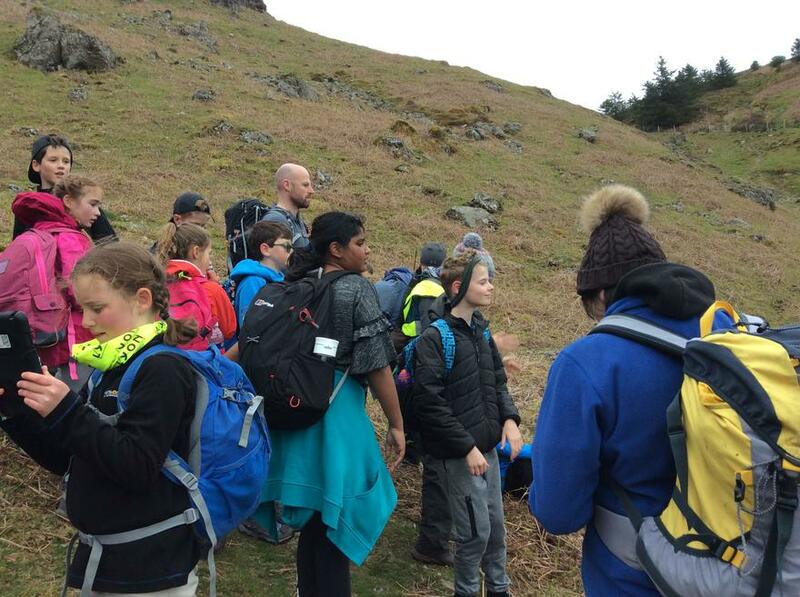 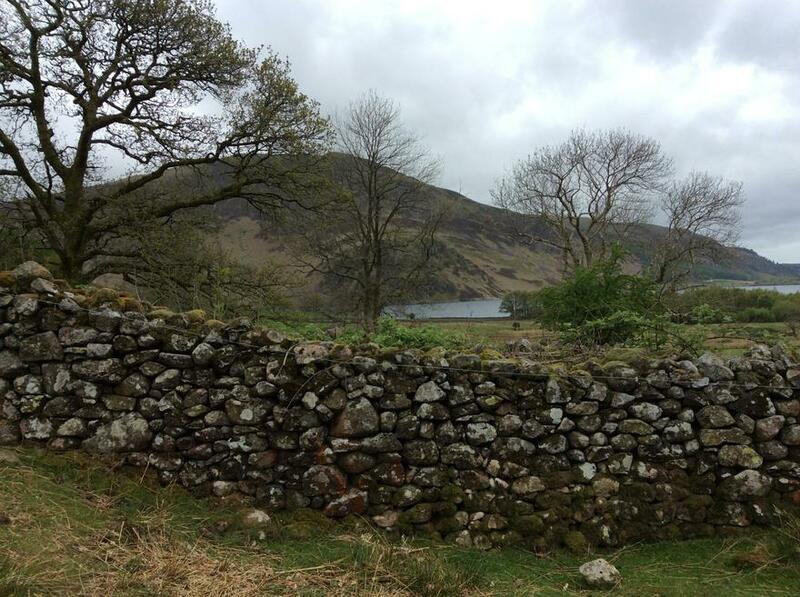 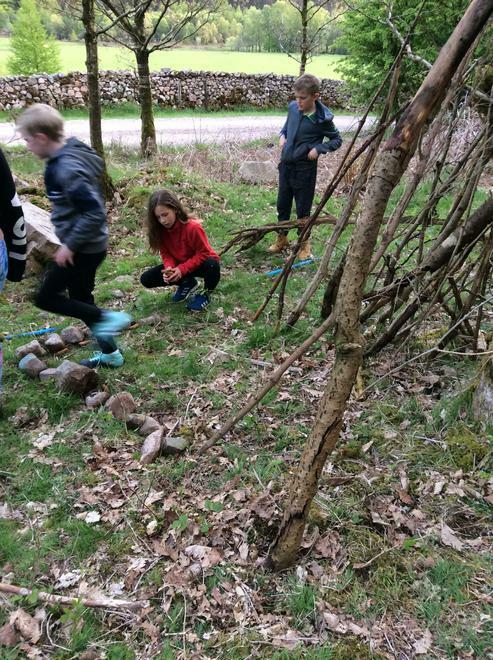 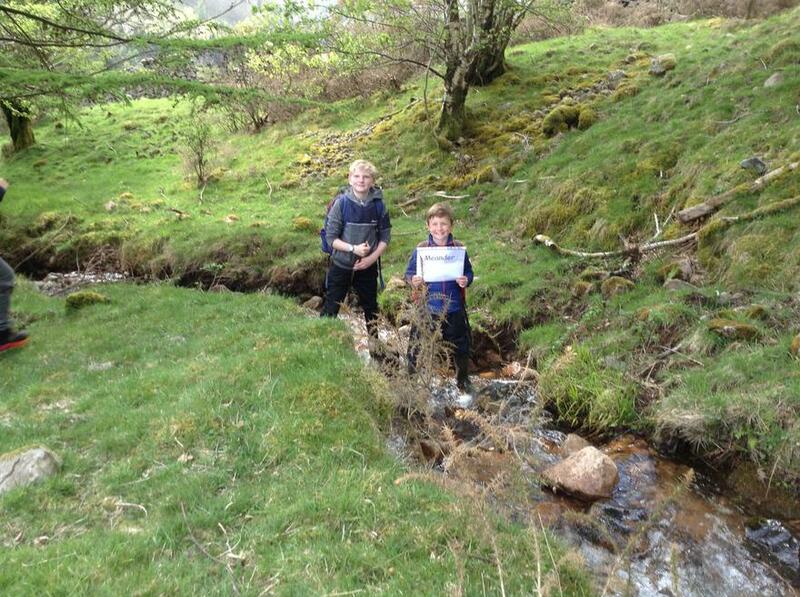 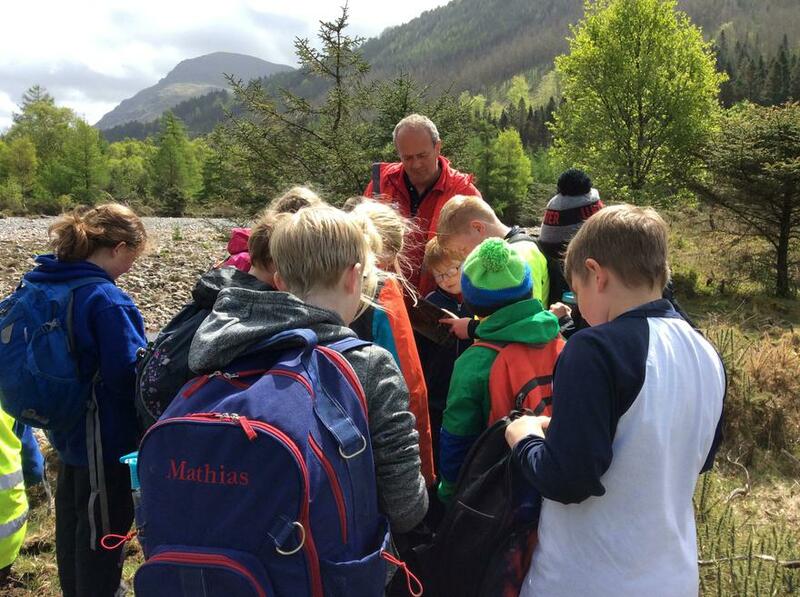 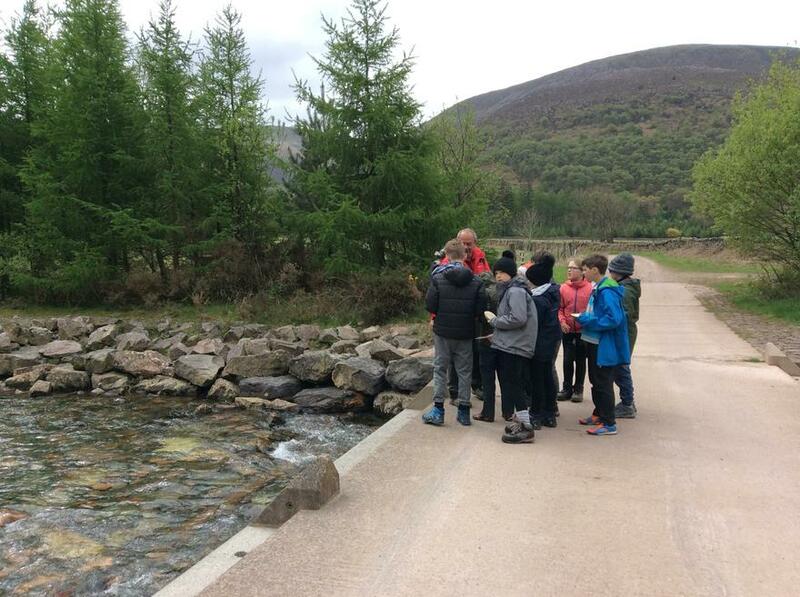 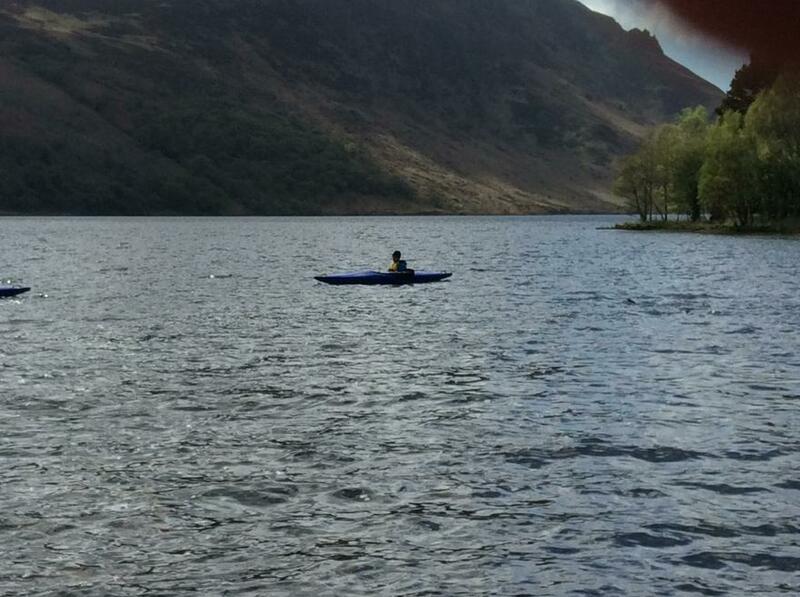 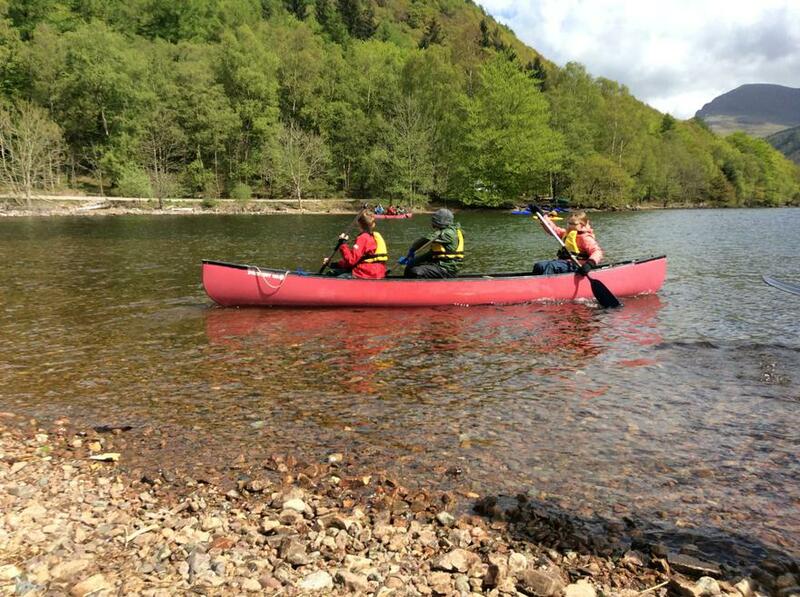 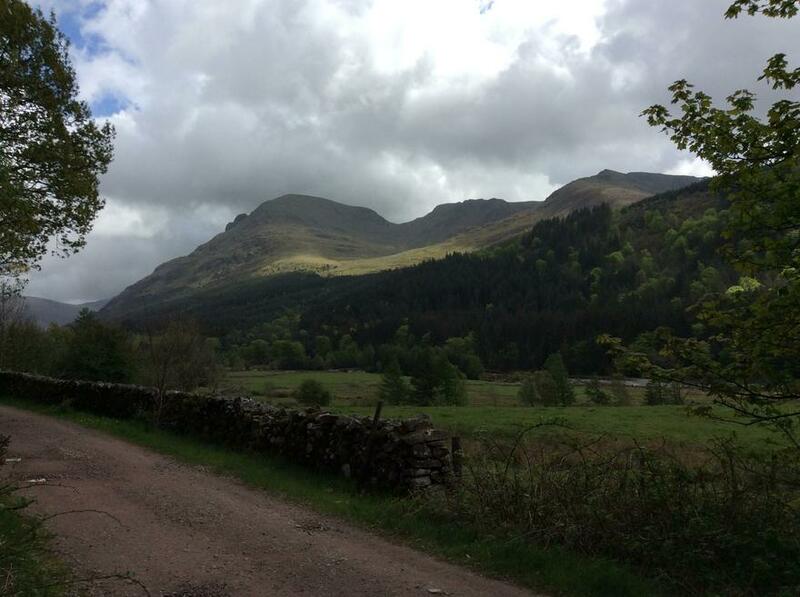 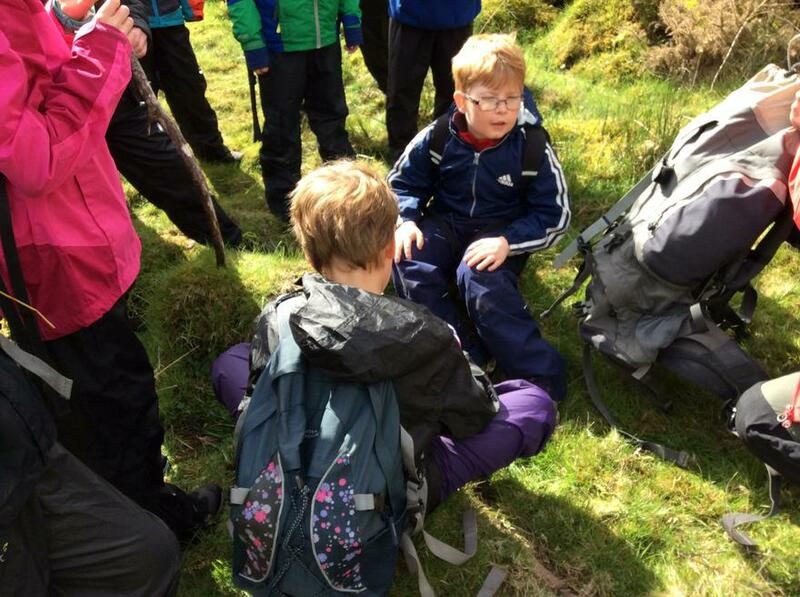 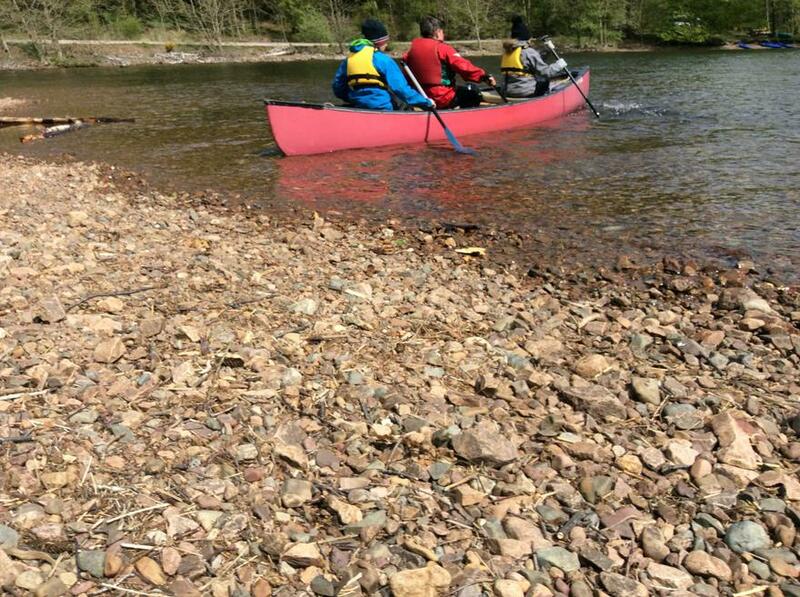 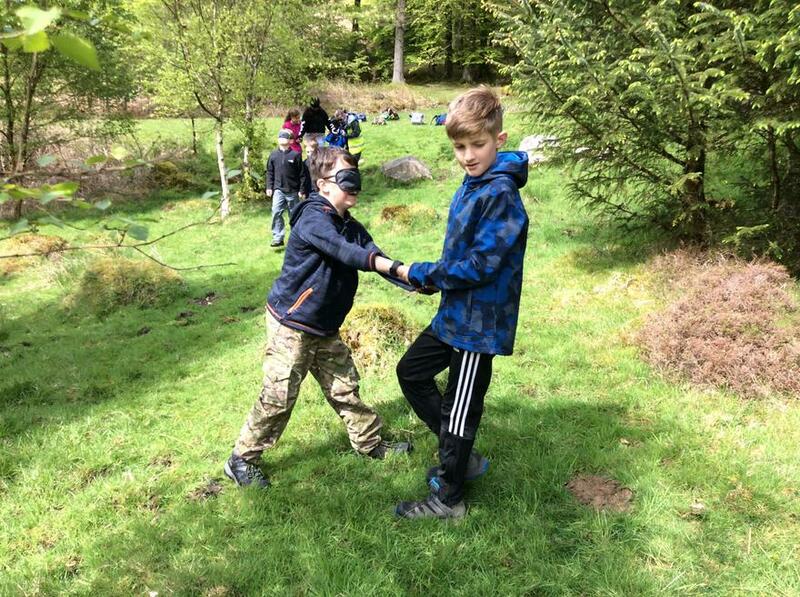 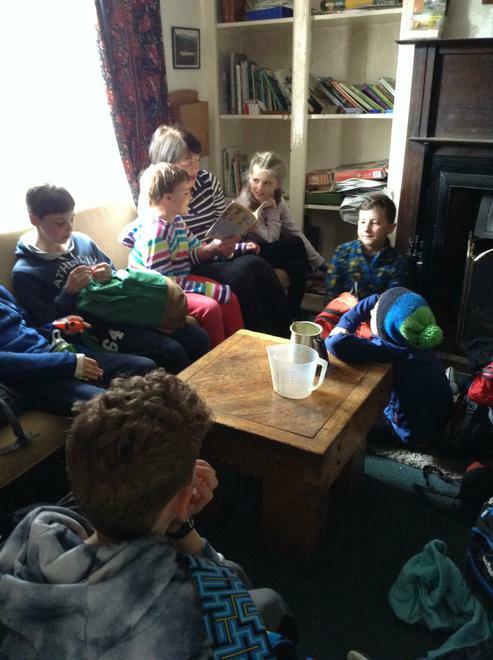 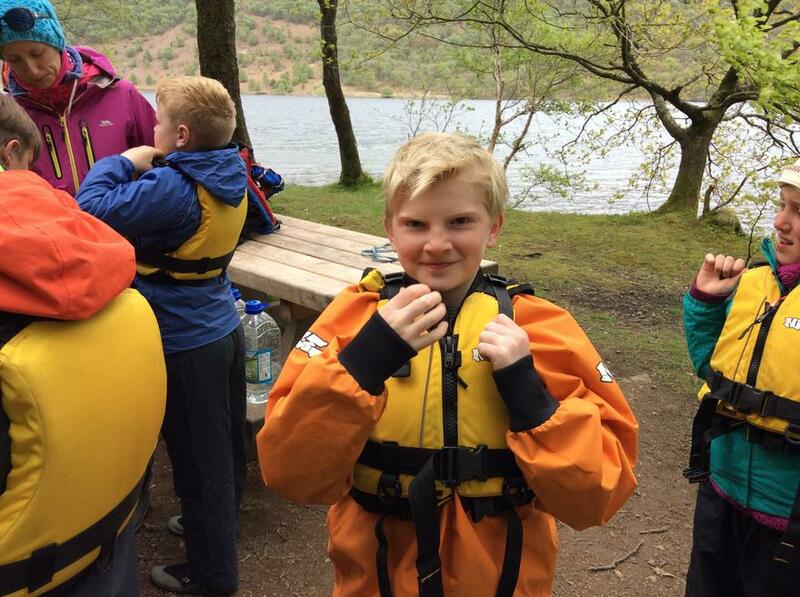 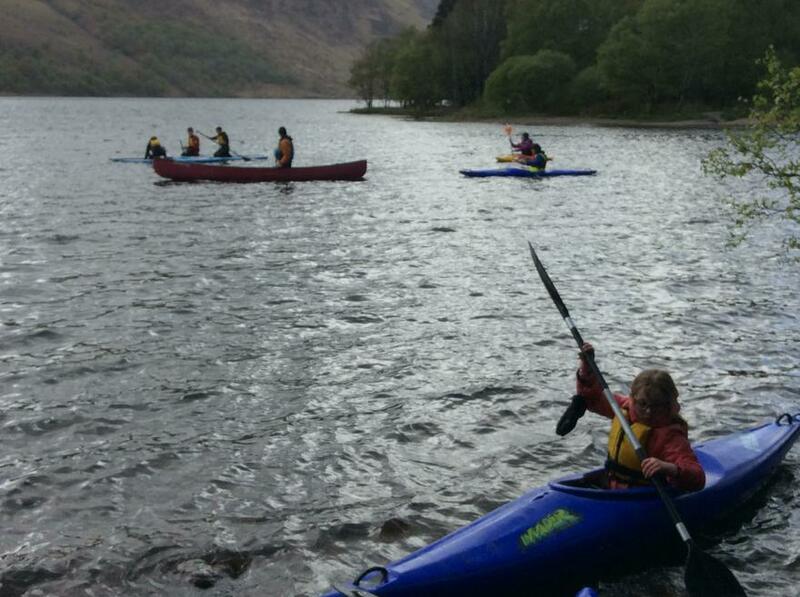 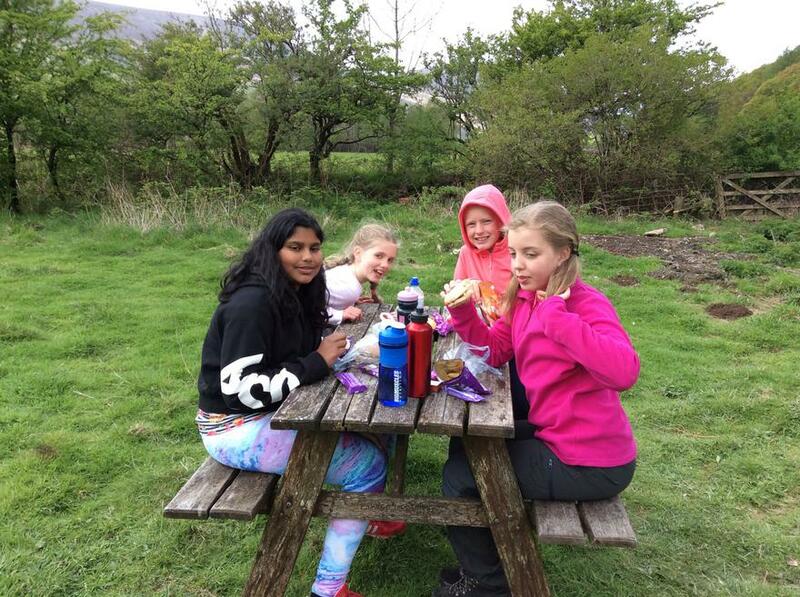 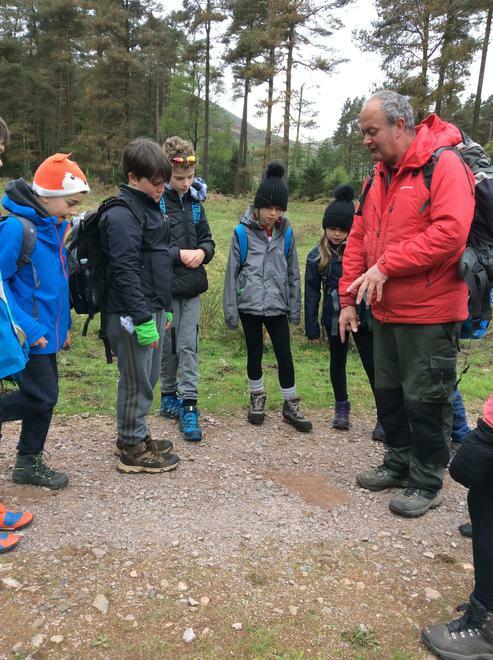 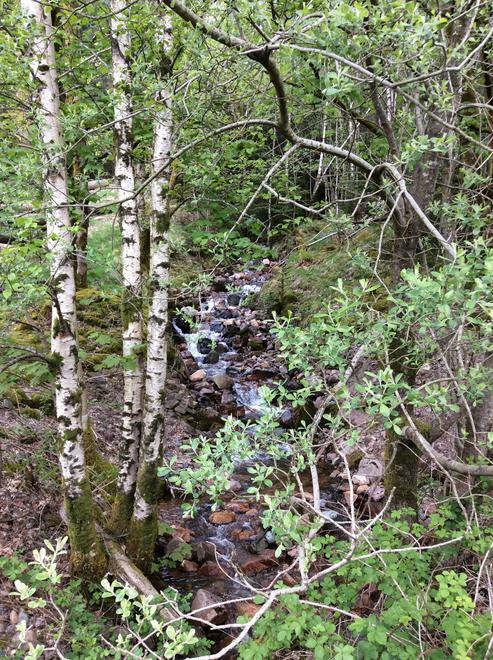 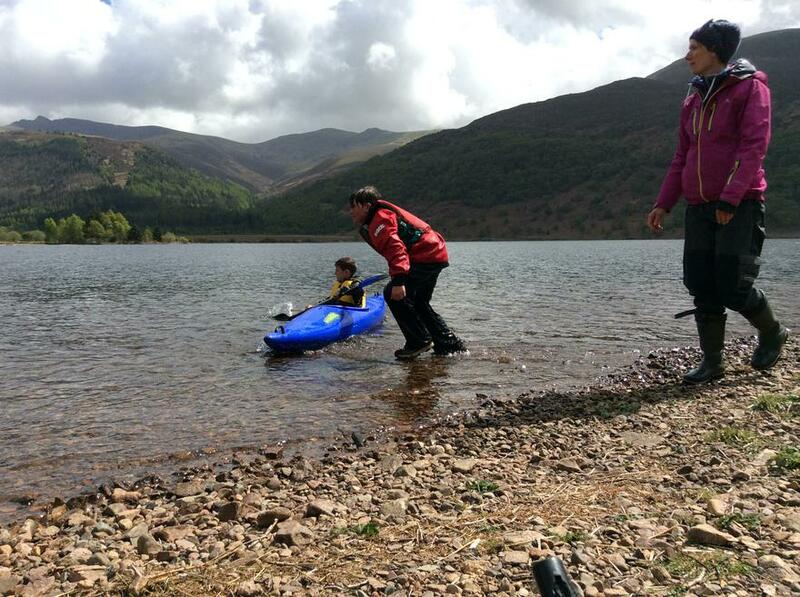 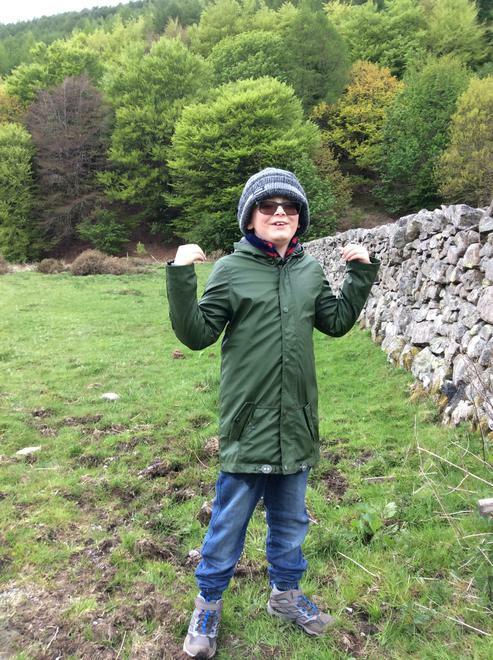 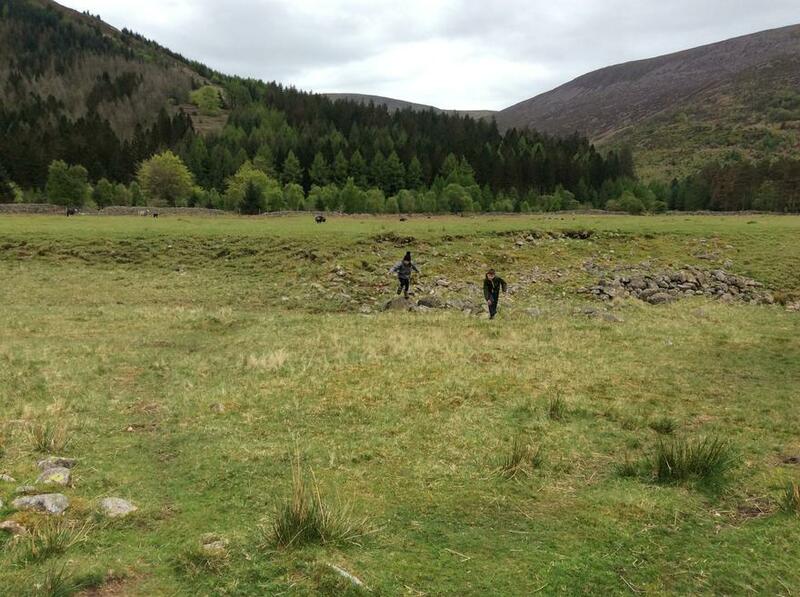 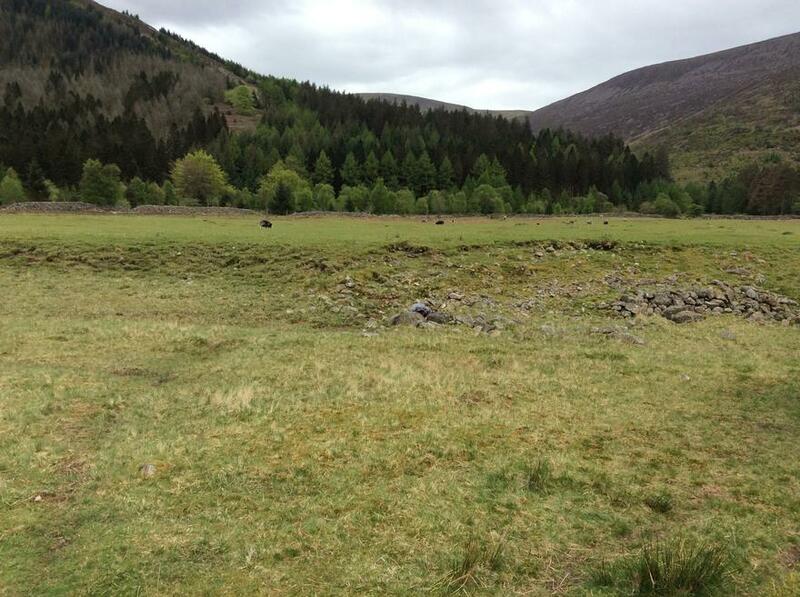 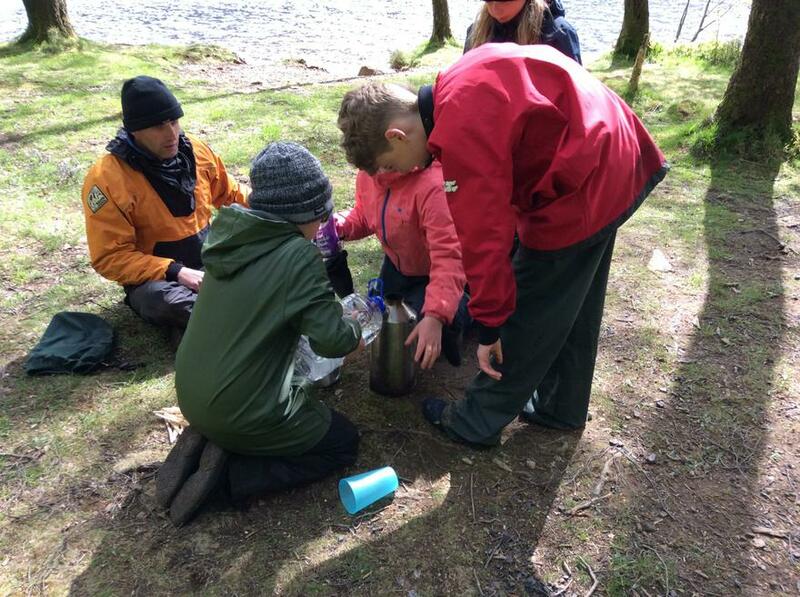 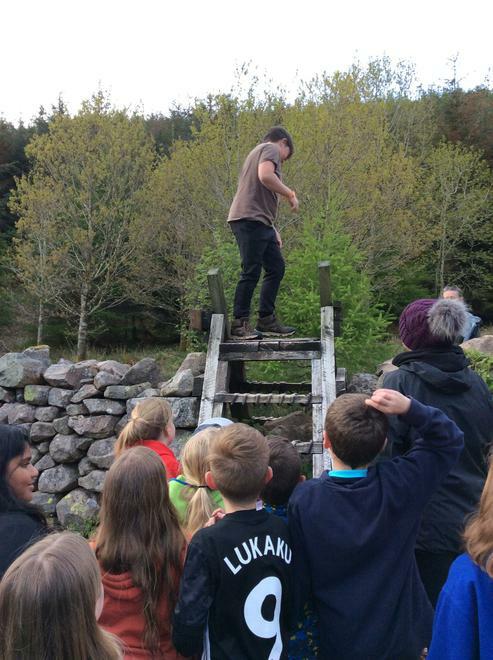 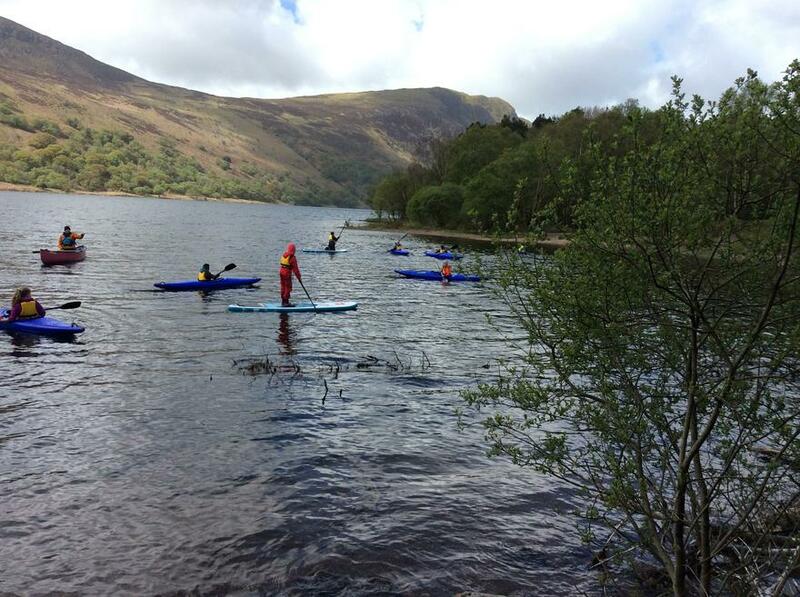 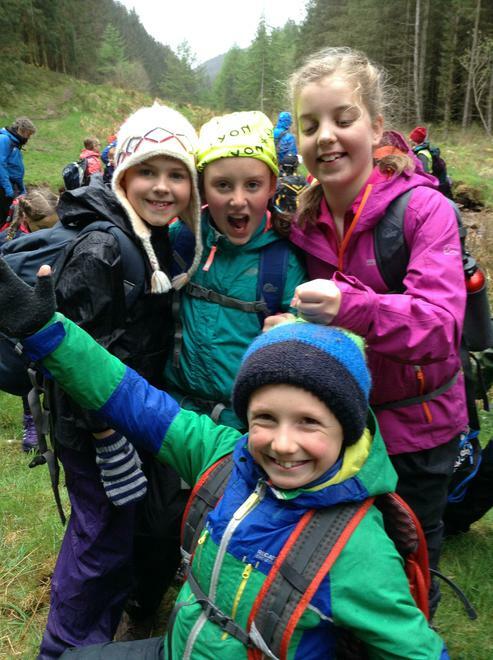 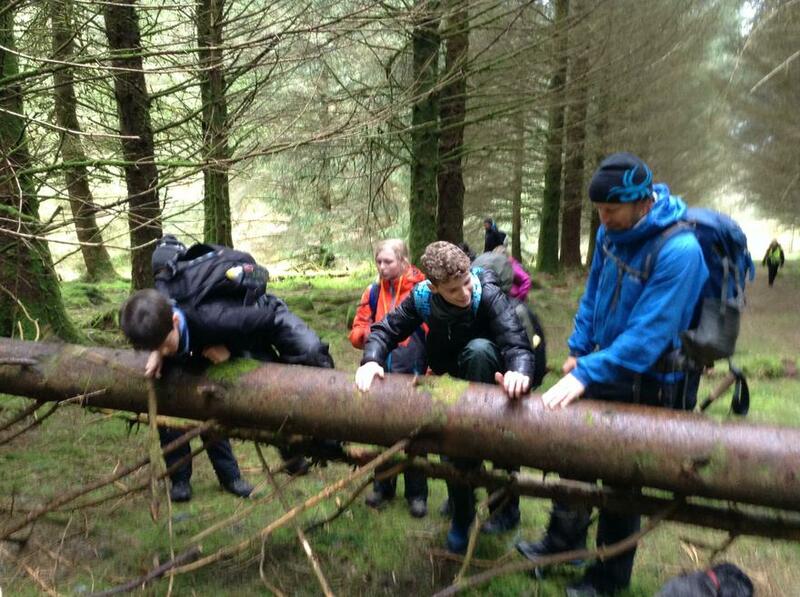 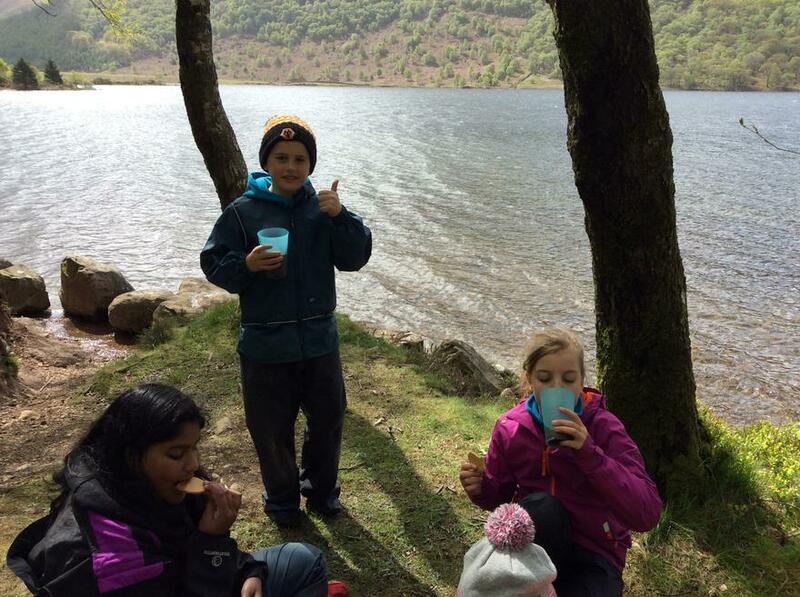 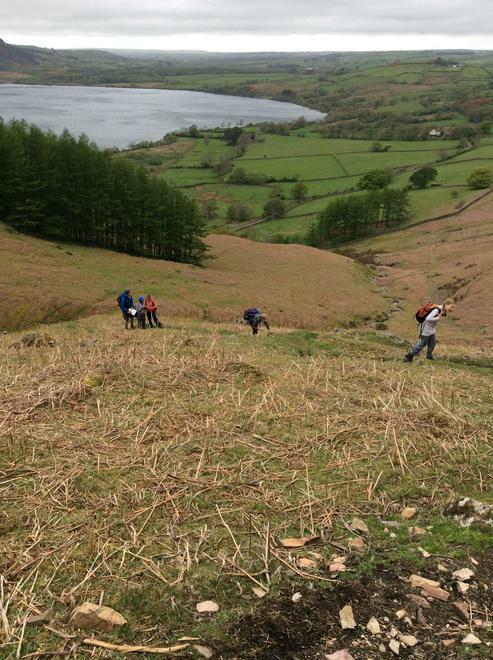 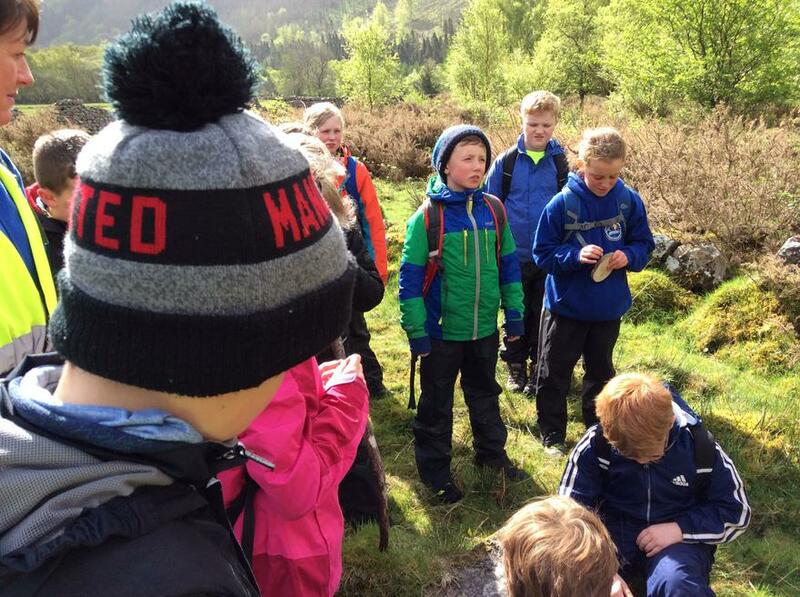 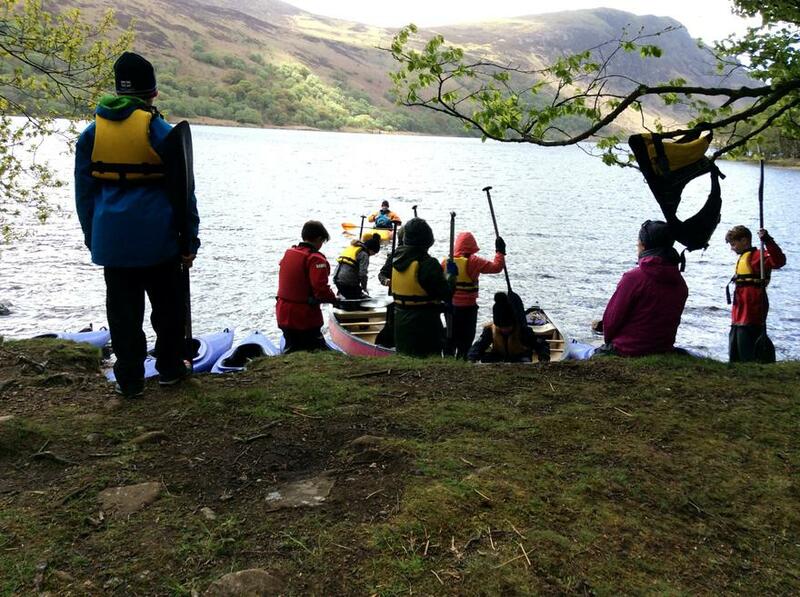 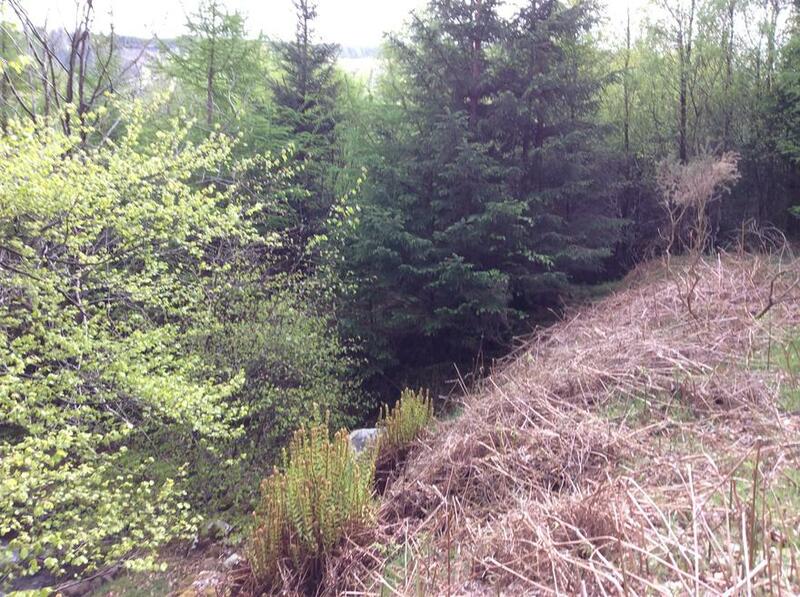 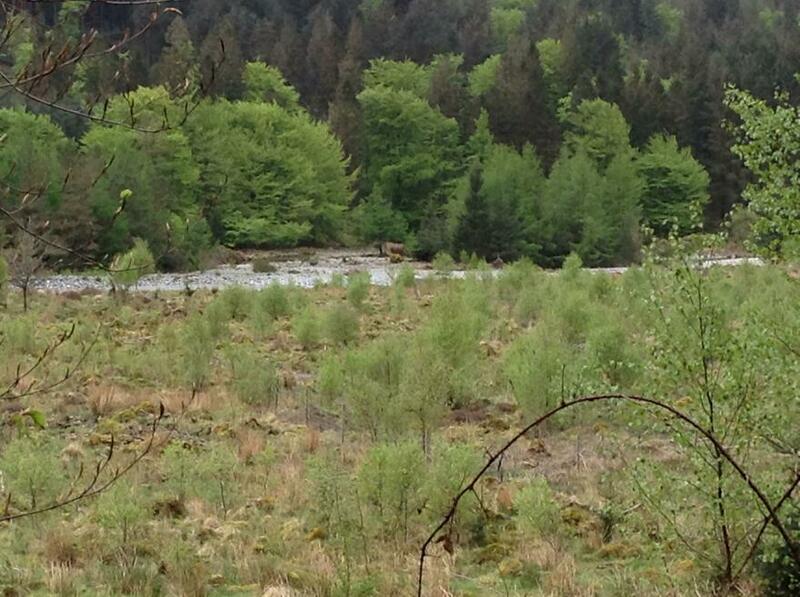 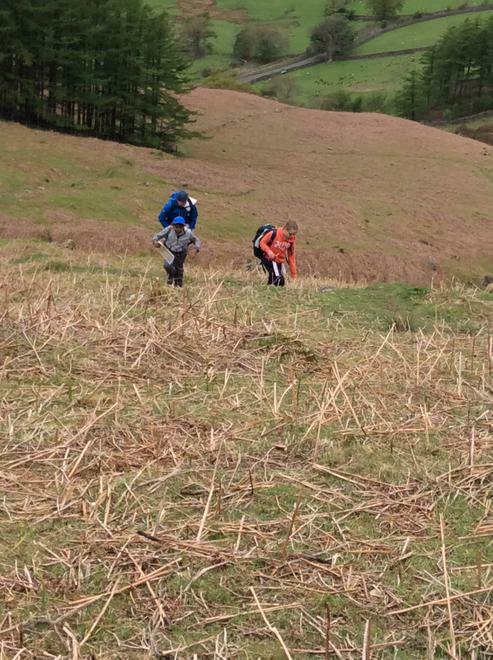 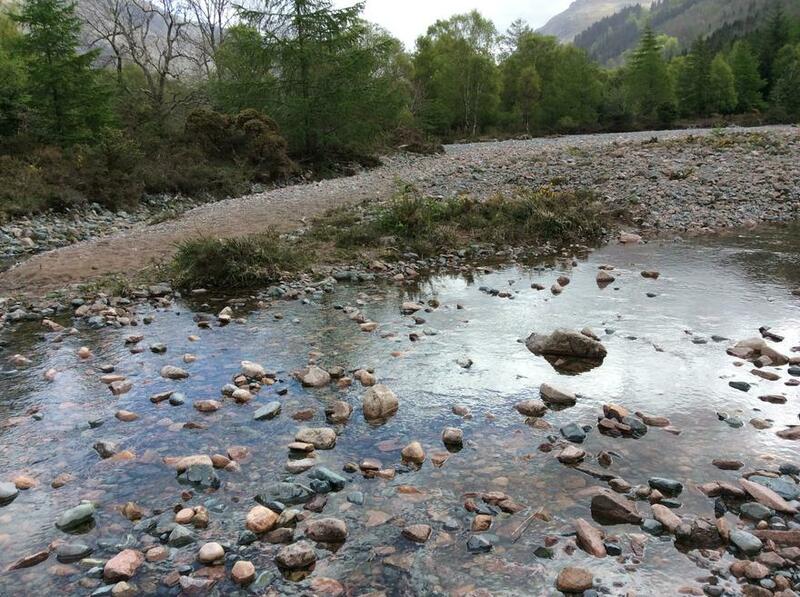 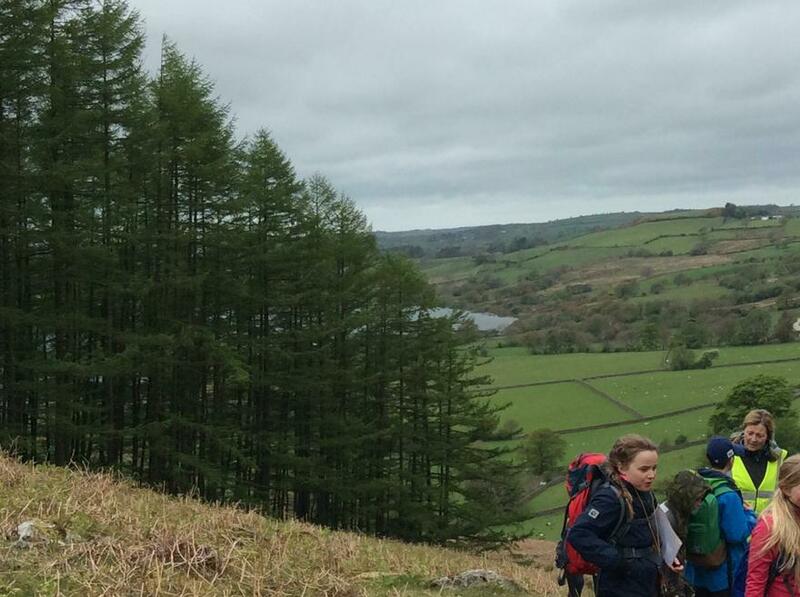 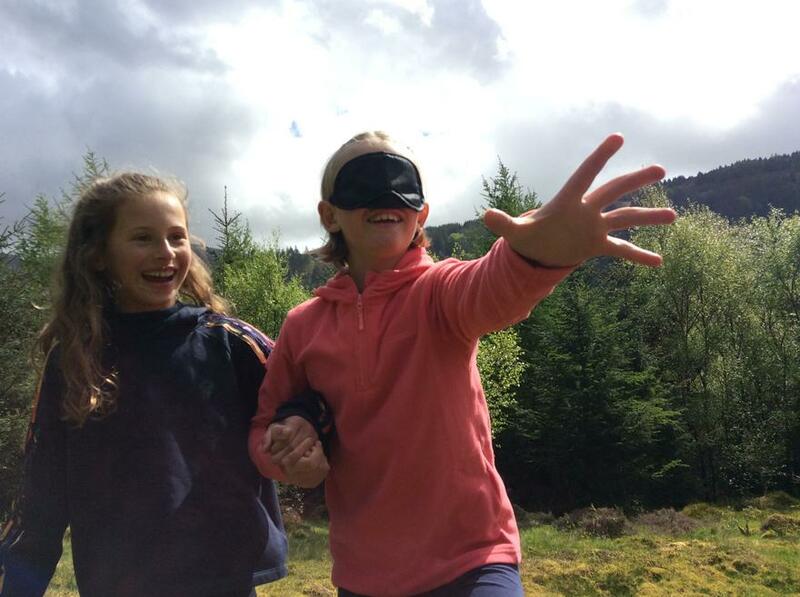 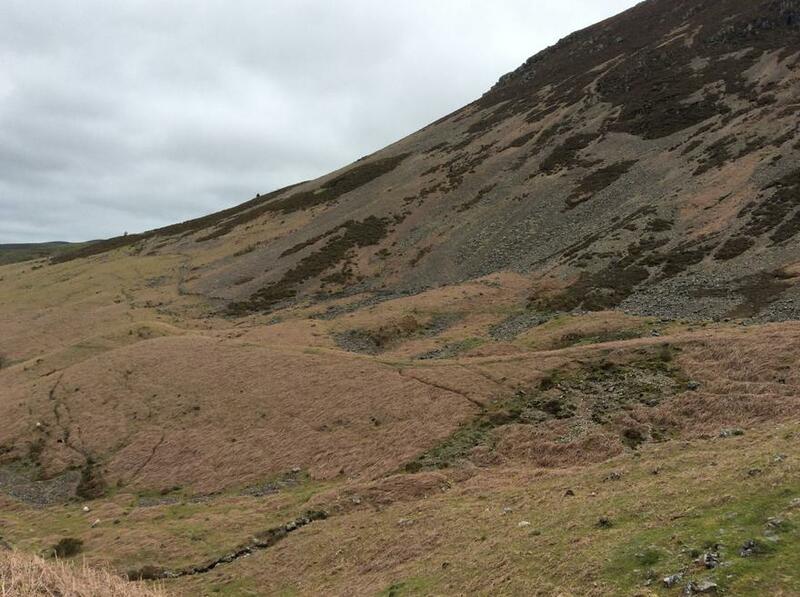 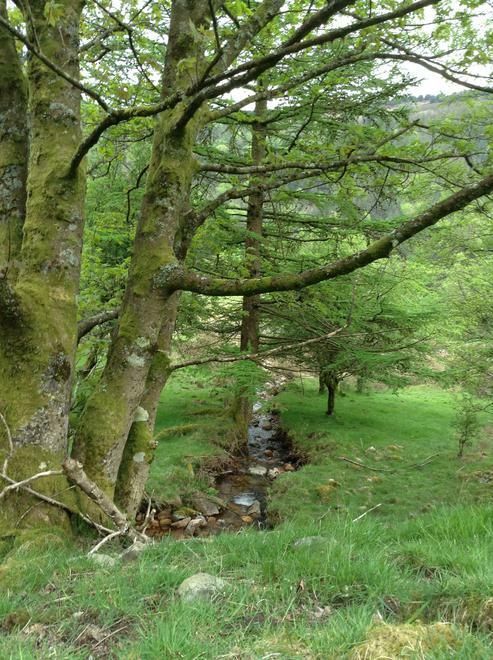 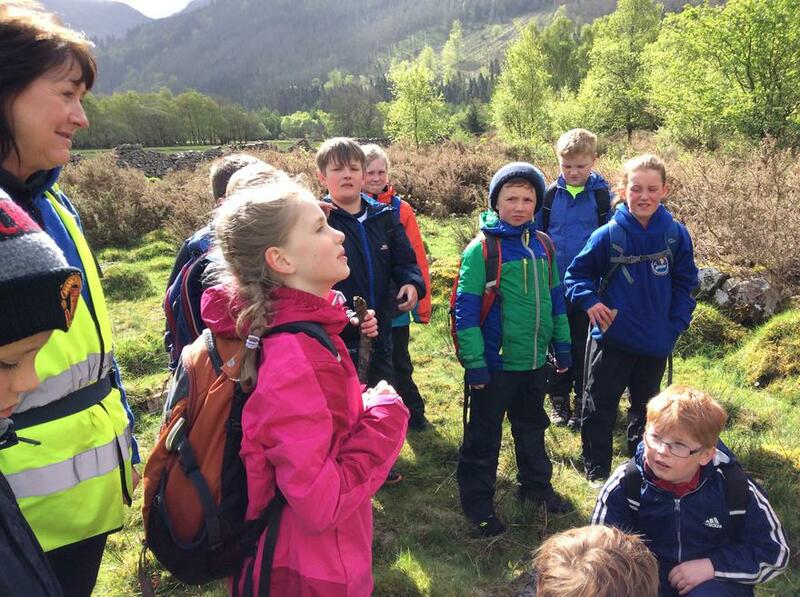 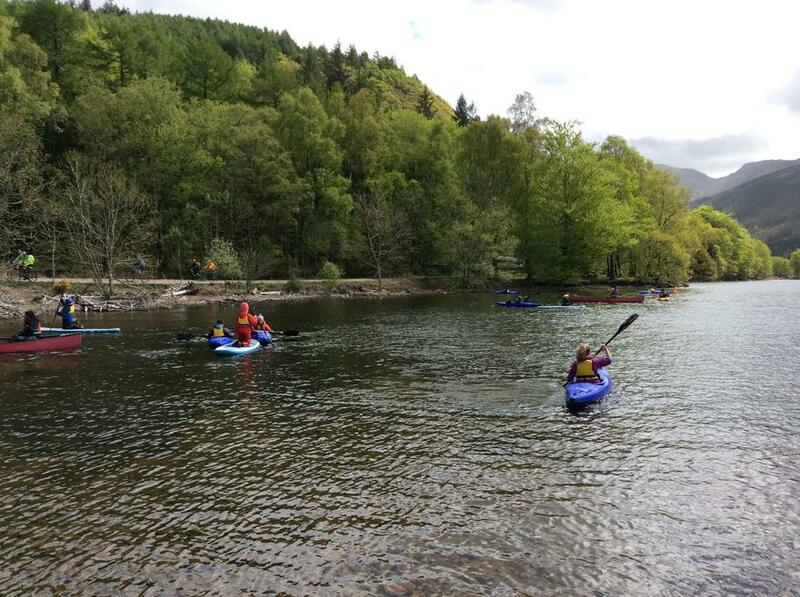 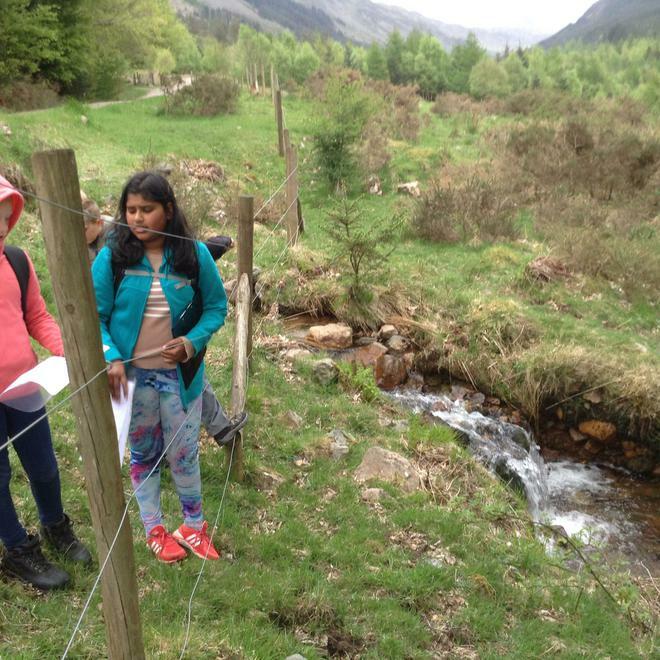 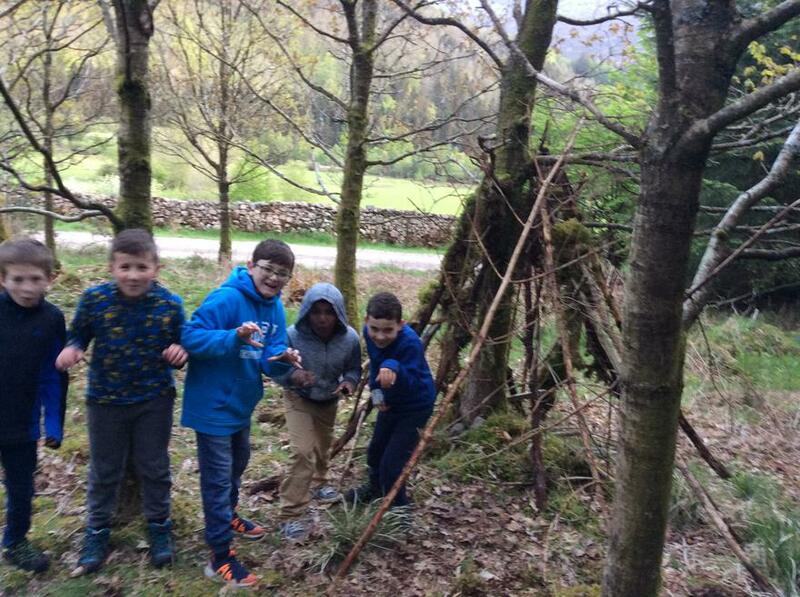 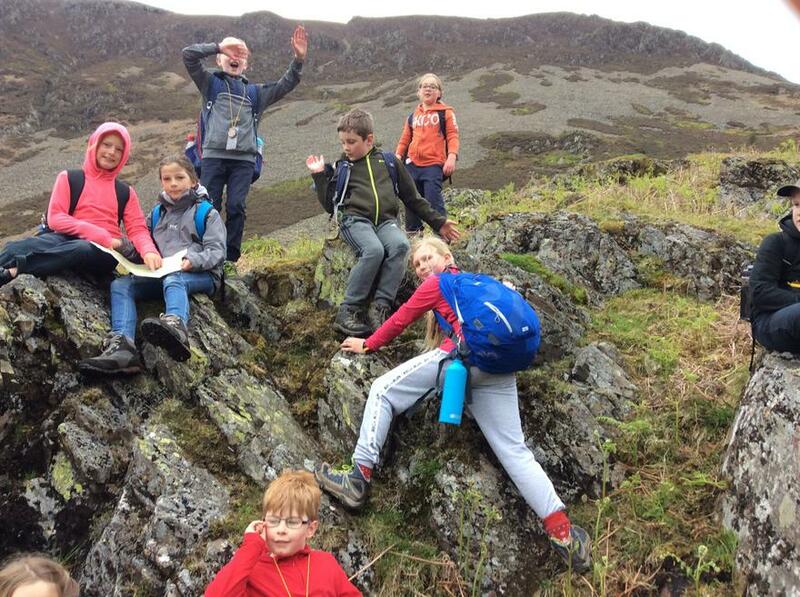 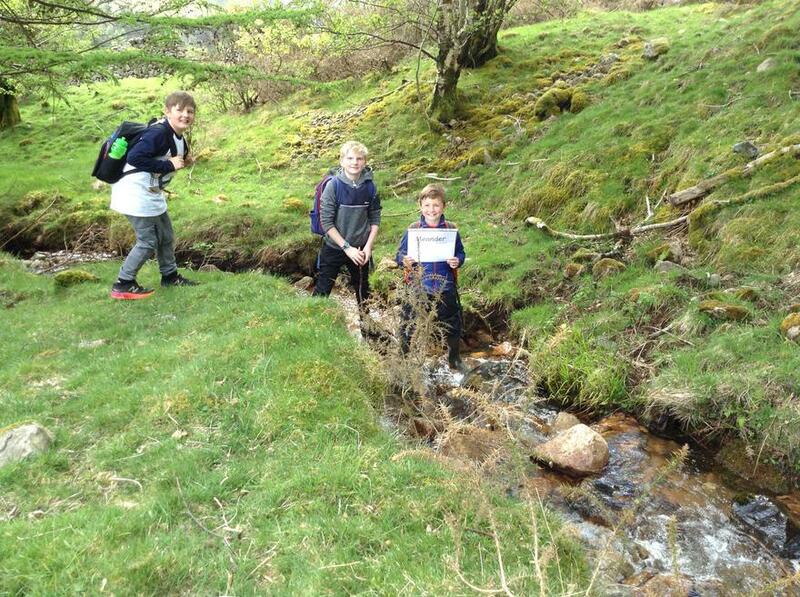 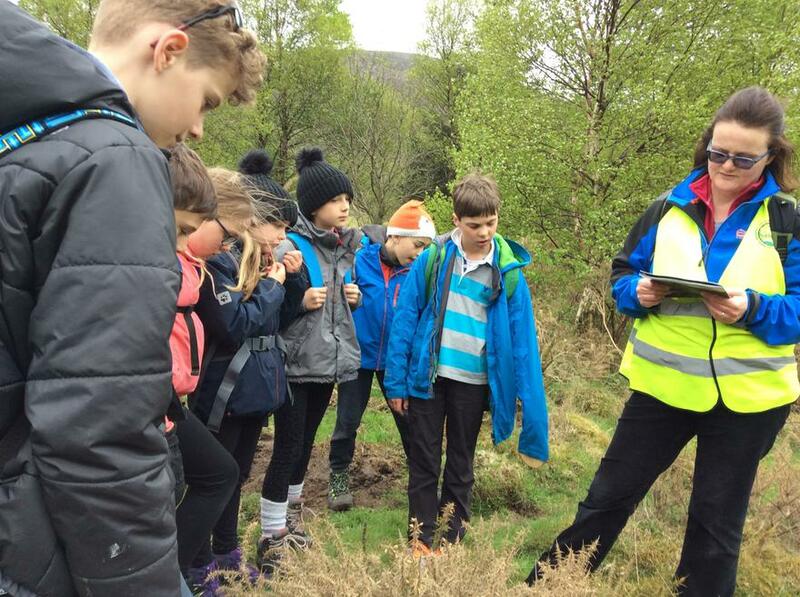 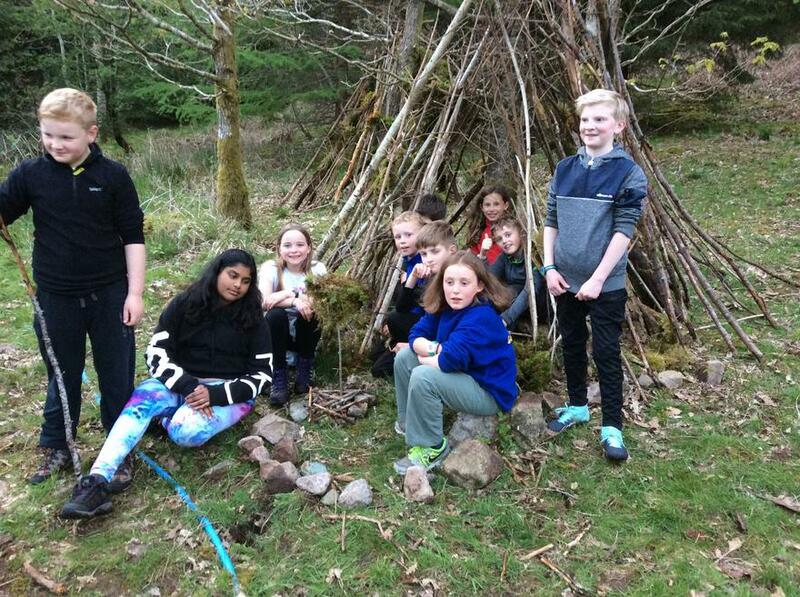 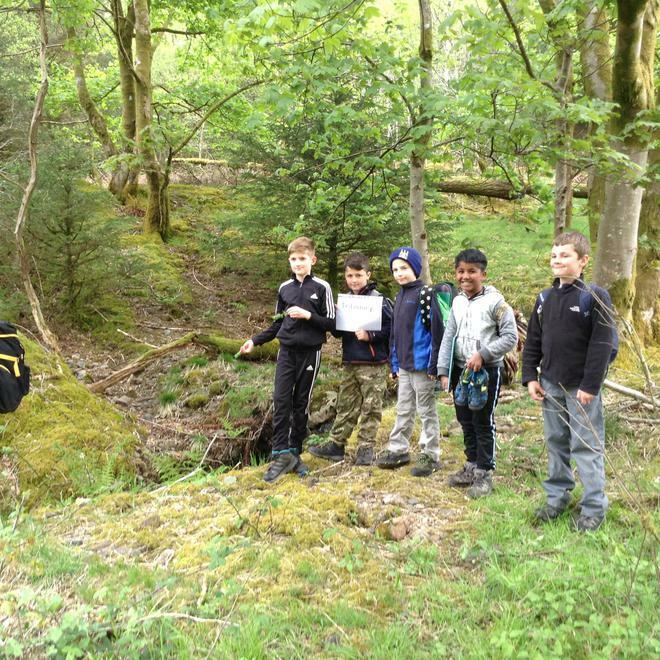 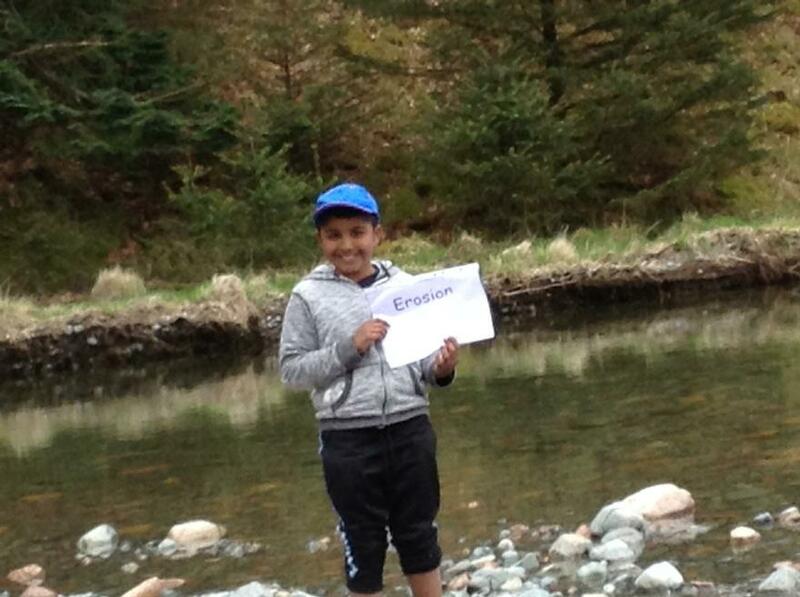 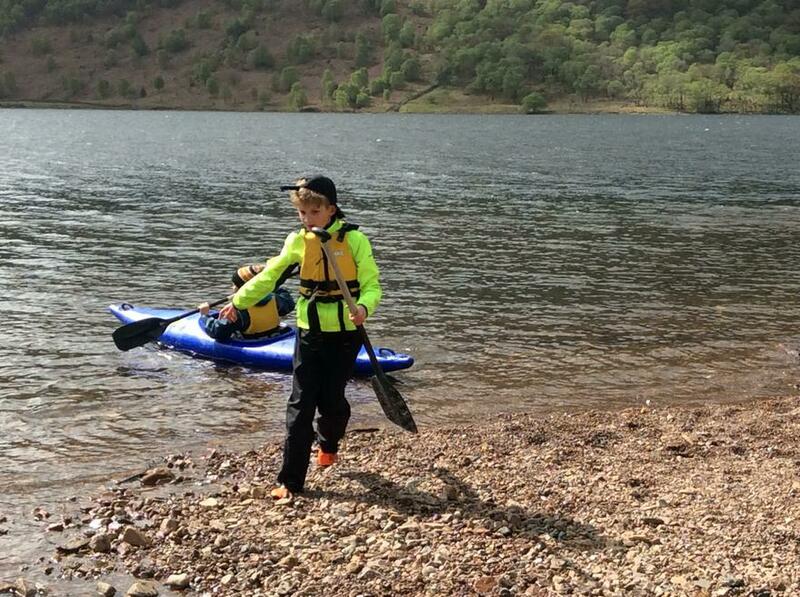 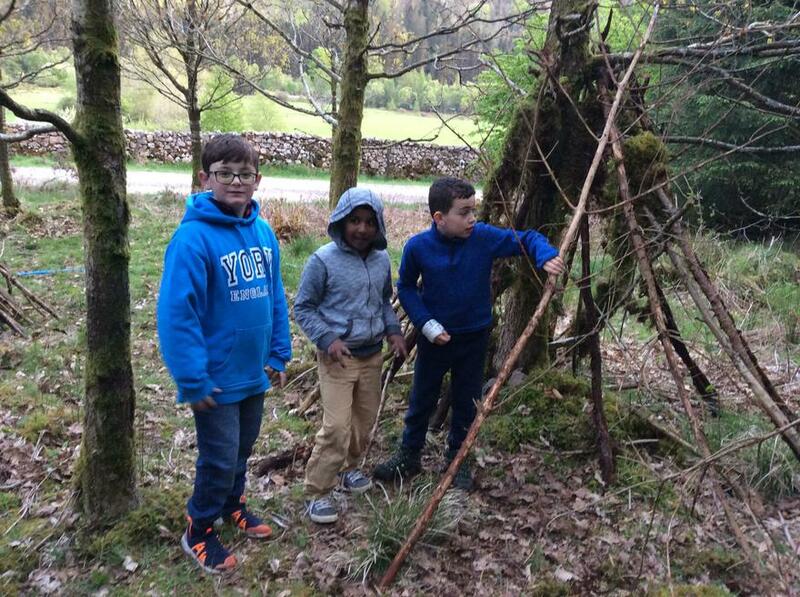 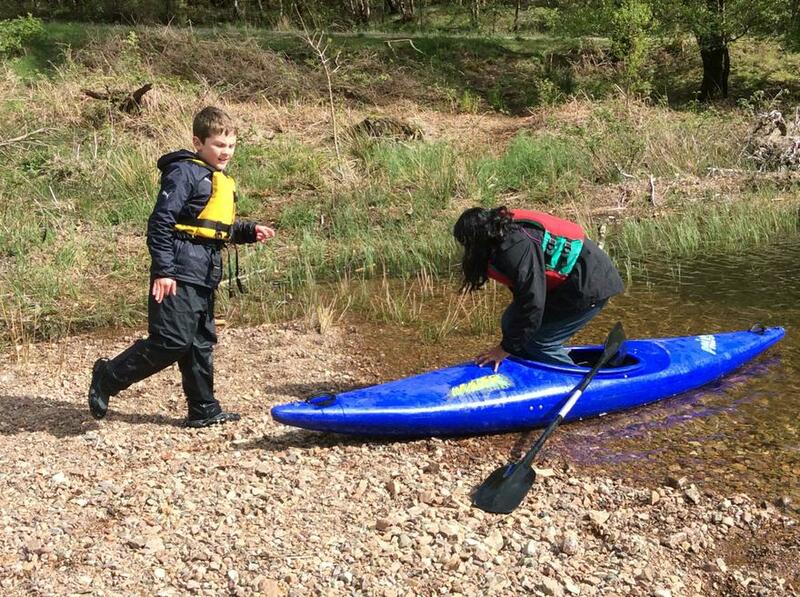 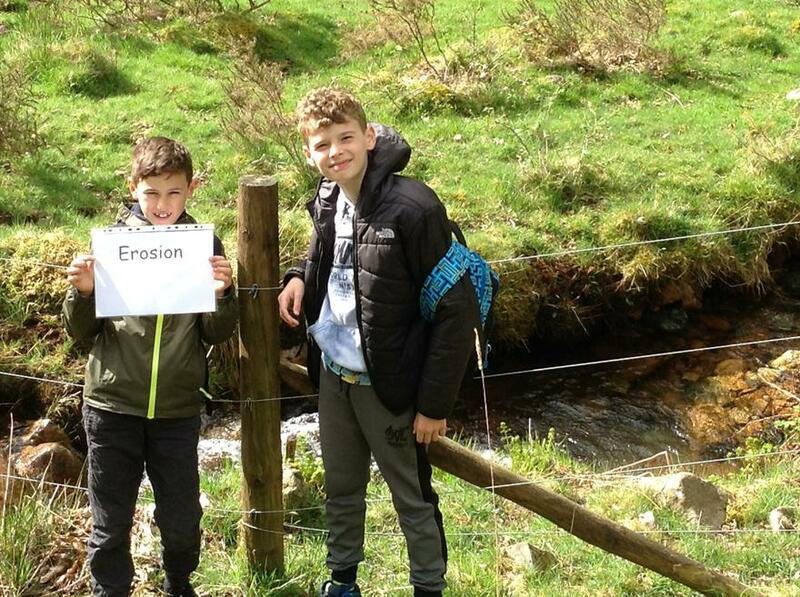 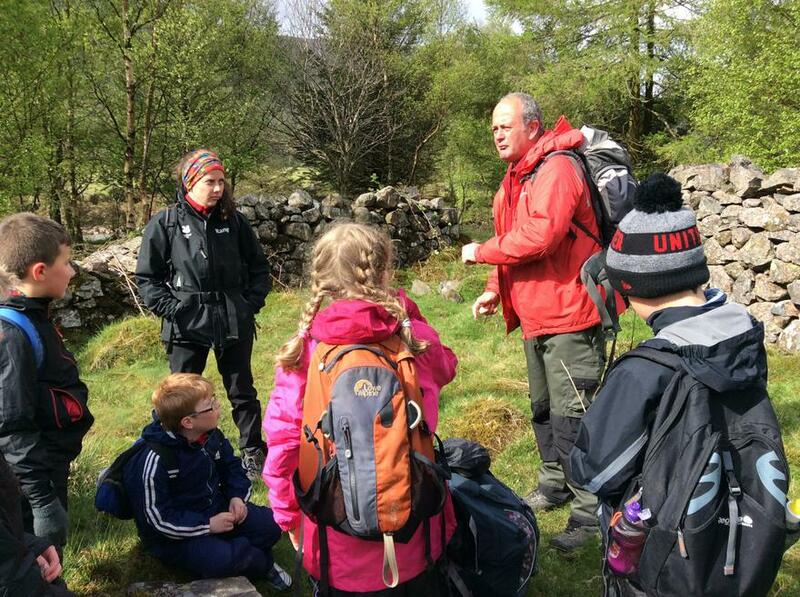 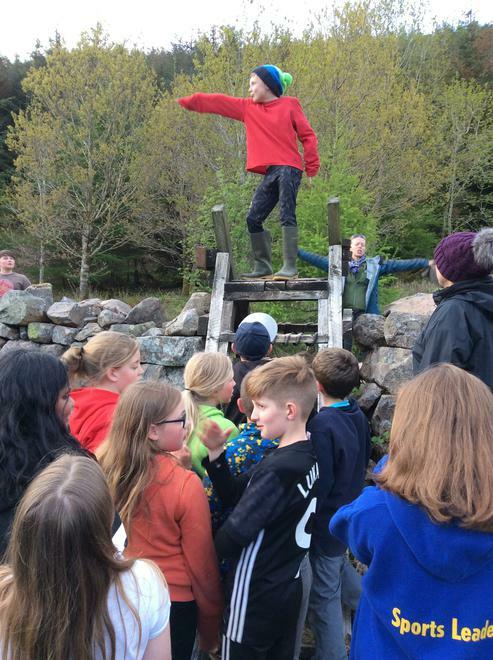 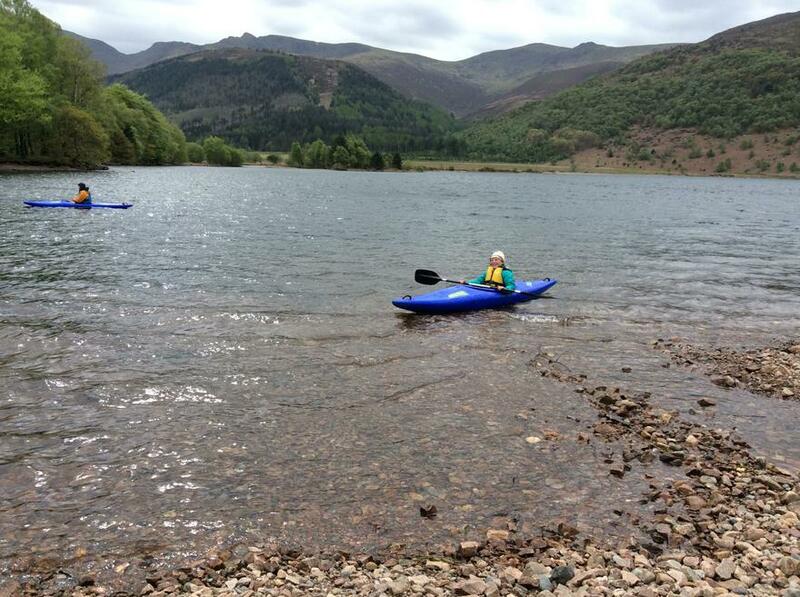 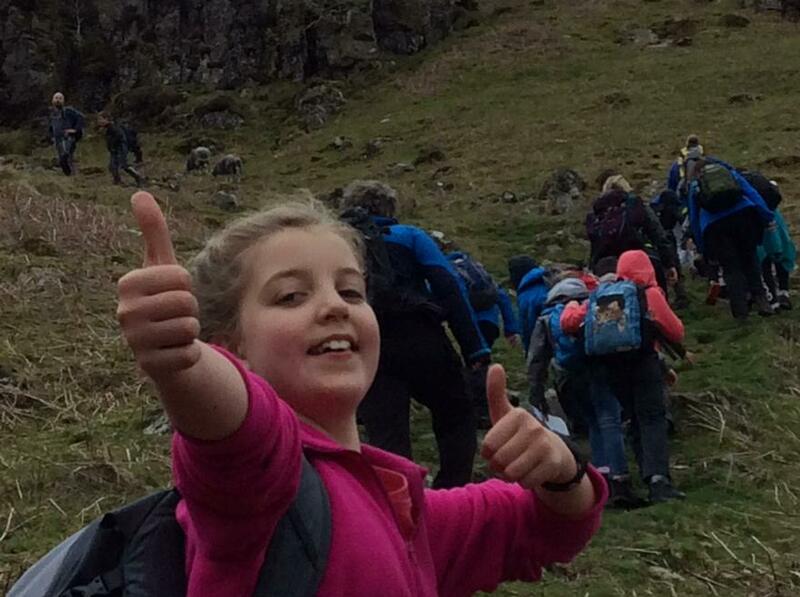 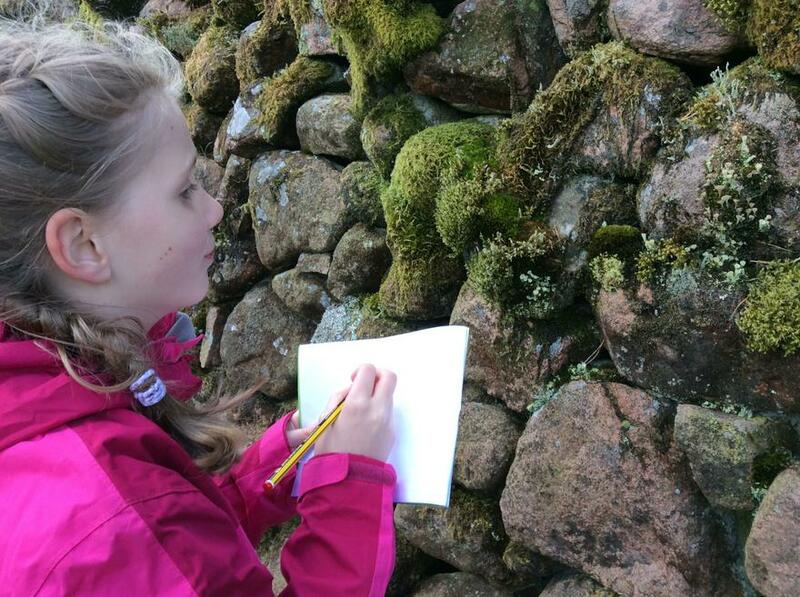 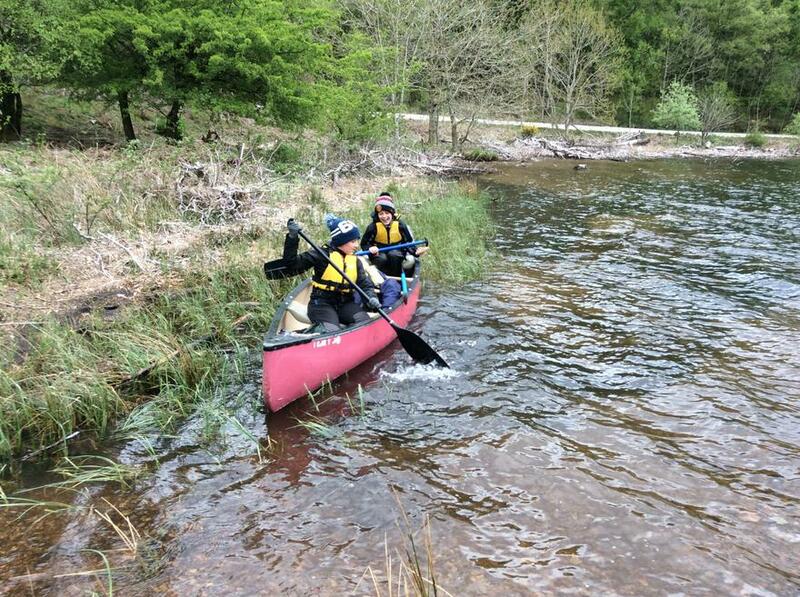 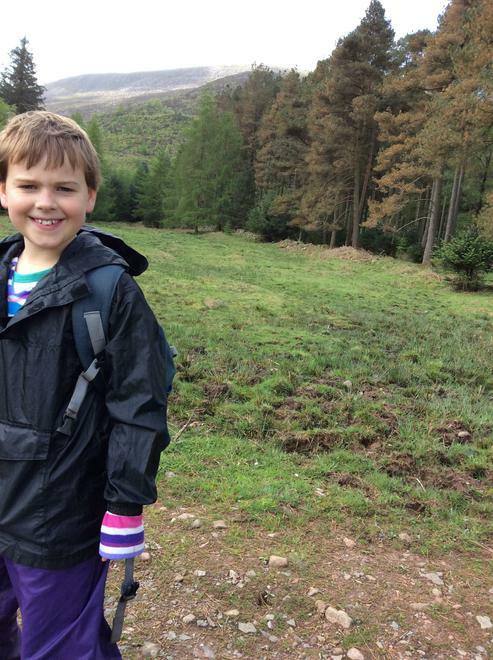 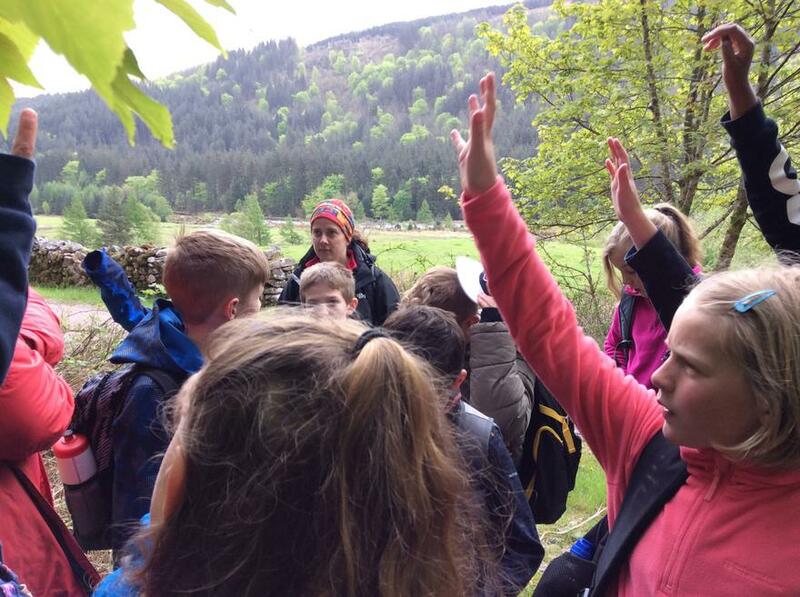 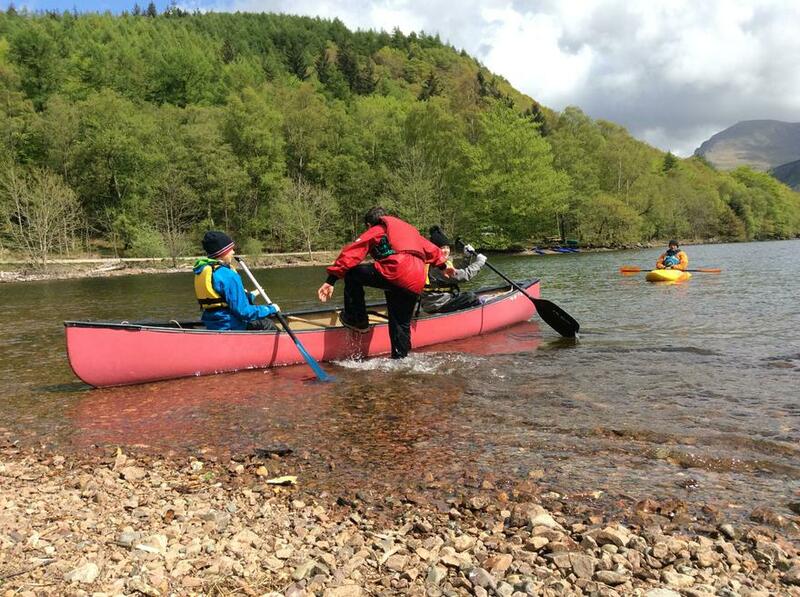 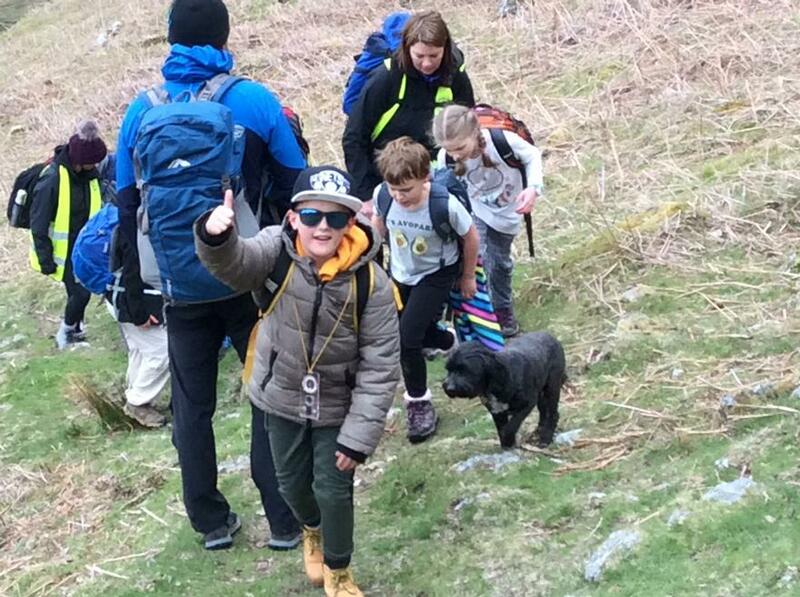 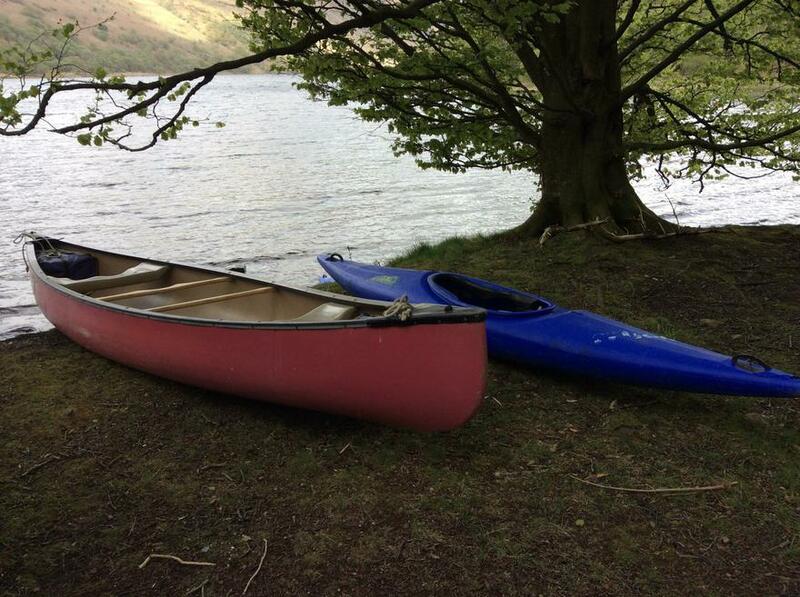 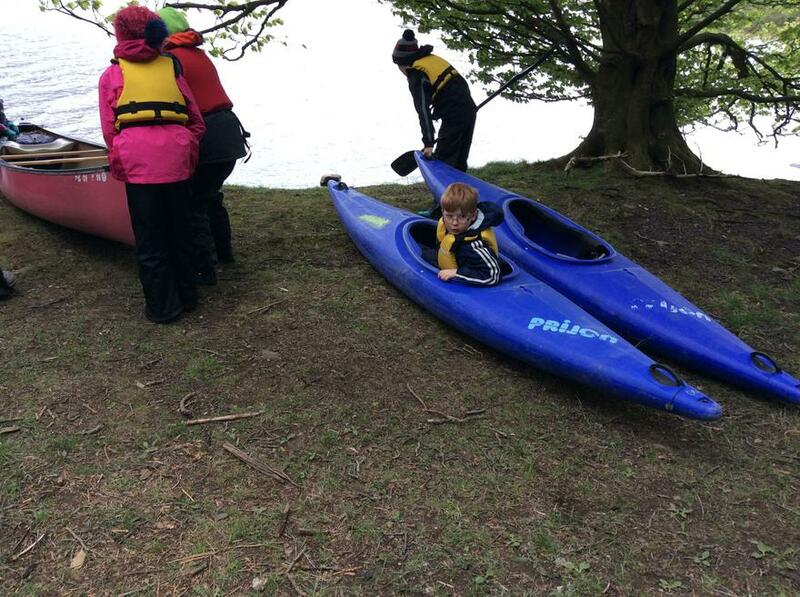 In the summer term all children are invited to go on a residential trip to Low Gillerthwaite in the Ennerdale Valley. 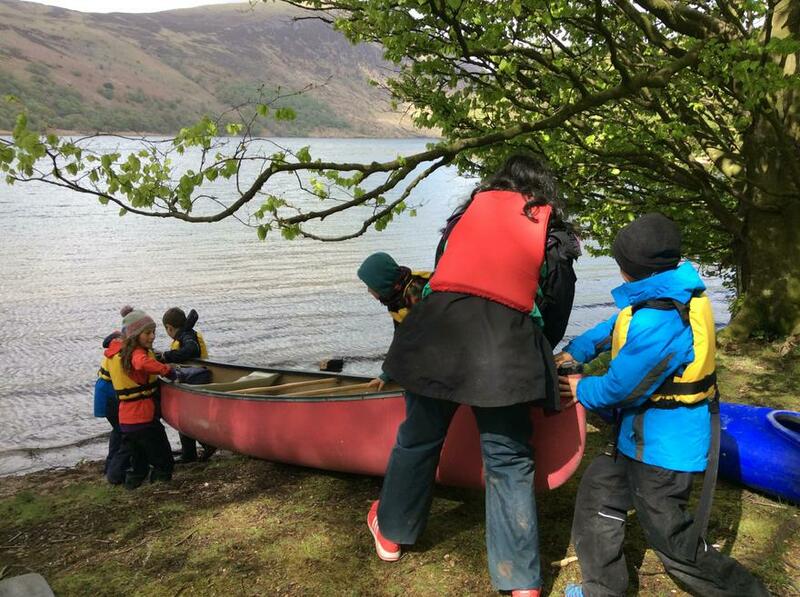 This represents a fantastic opportunity for our children to develop their resilience and further skills that they may not have even discovered yet. 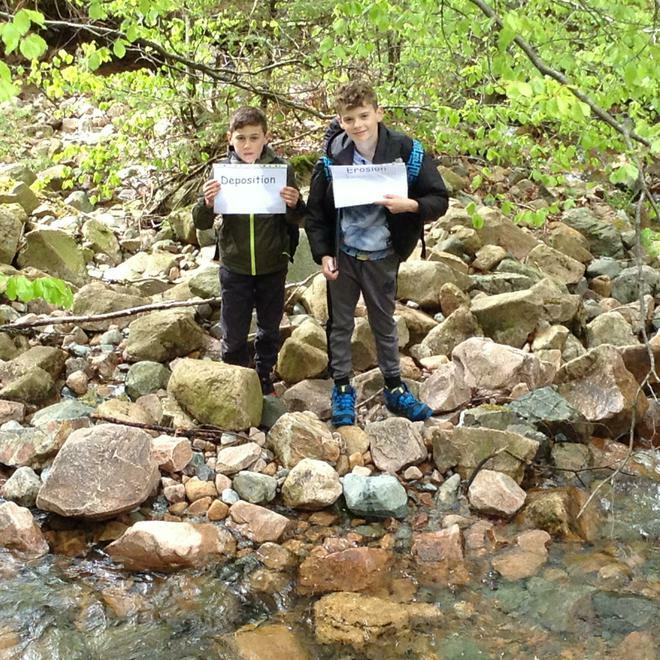 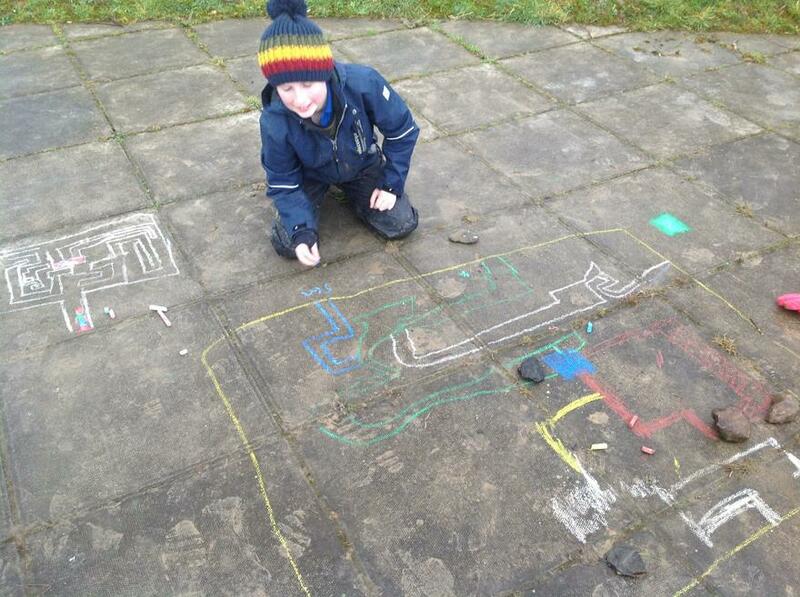 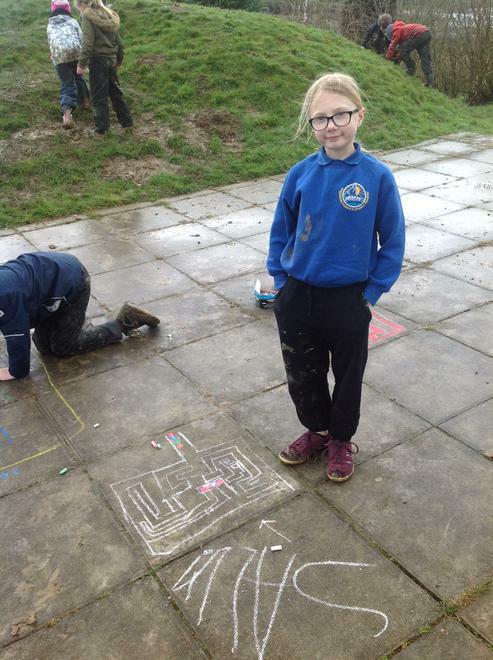 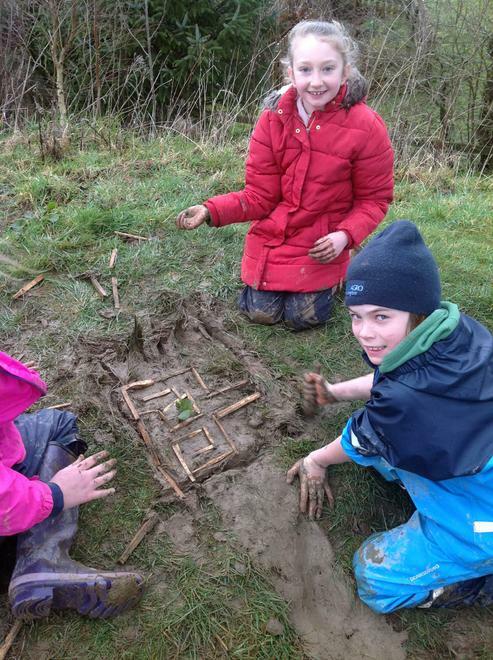 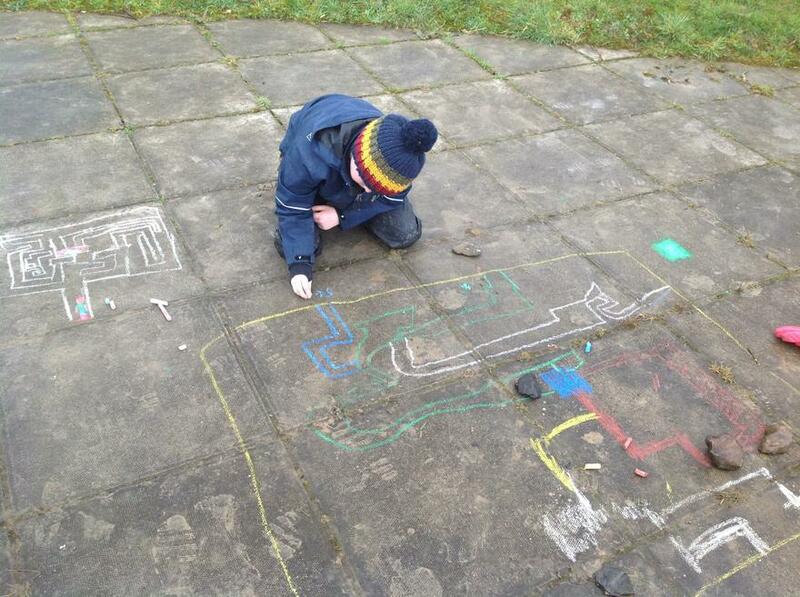 We've been working on our Greek myth of 'Theseus and the Minotaur' so spent our outdoor time creating labyrinths around the amphitheatre and stream. 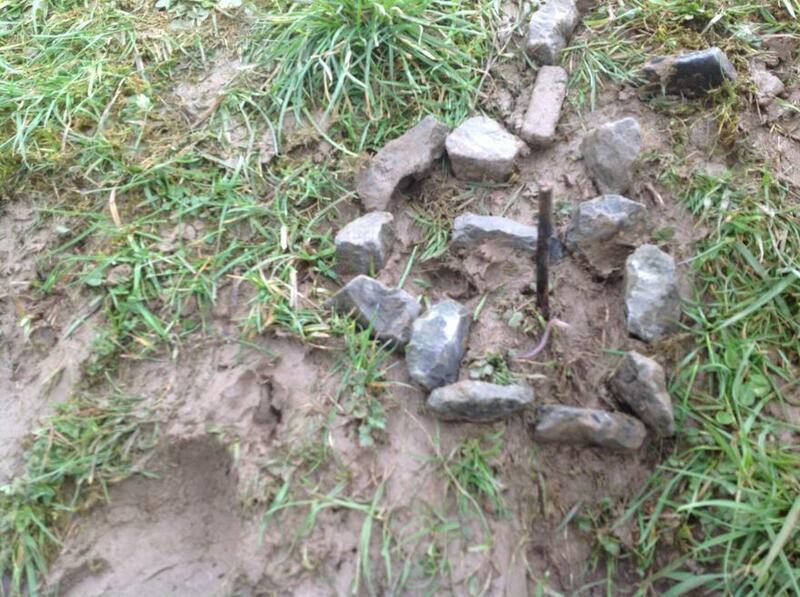 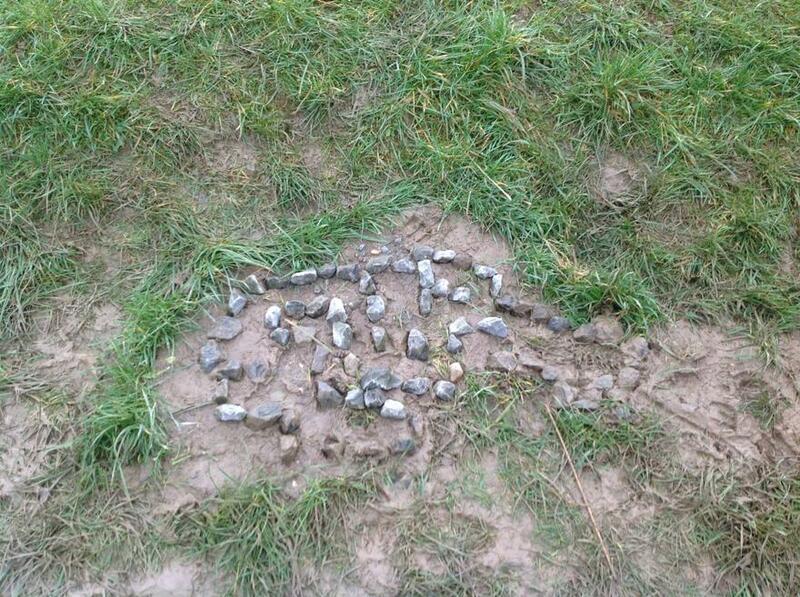 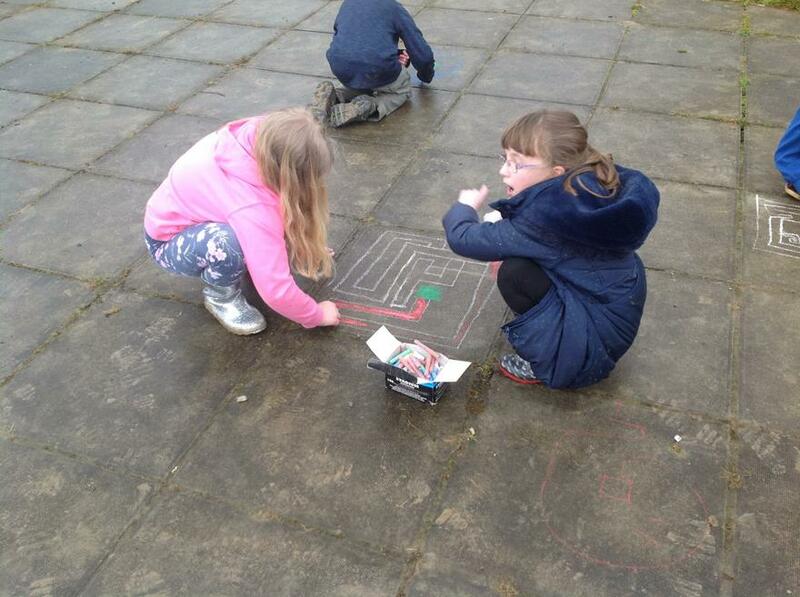 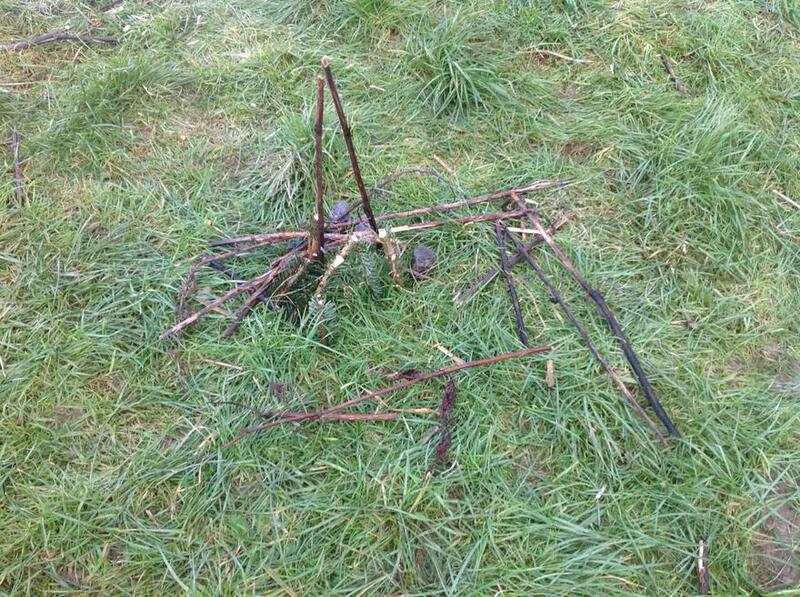 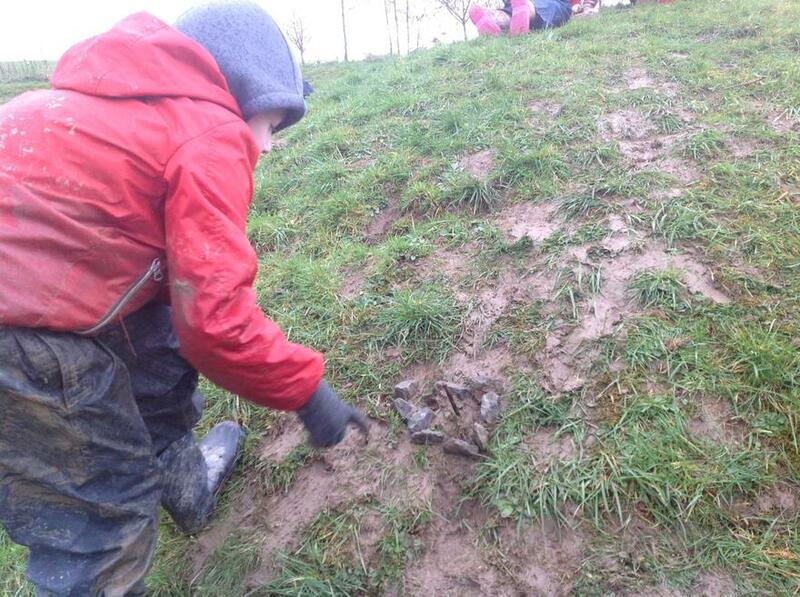 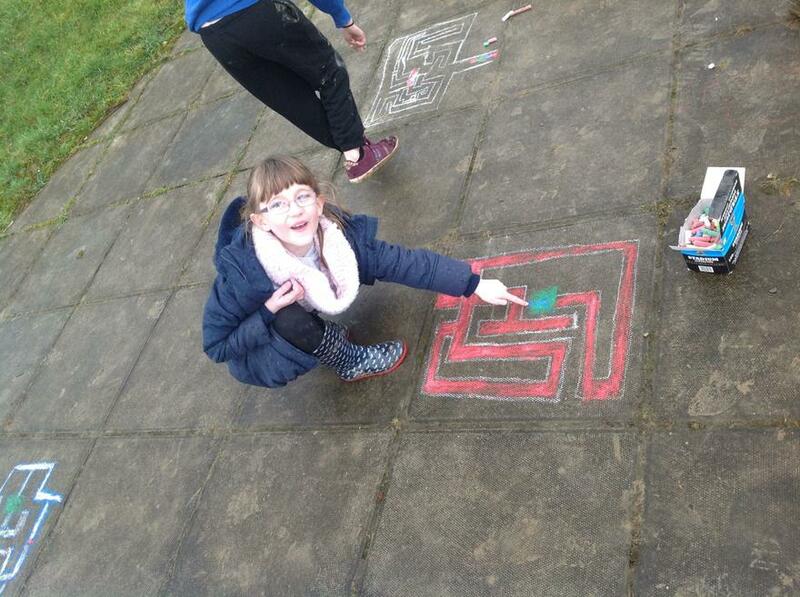 We even managed to find a few beasts (or worms) to go in the middle of our mazes! 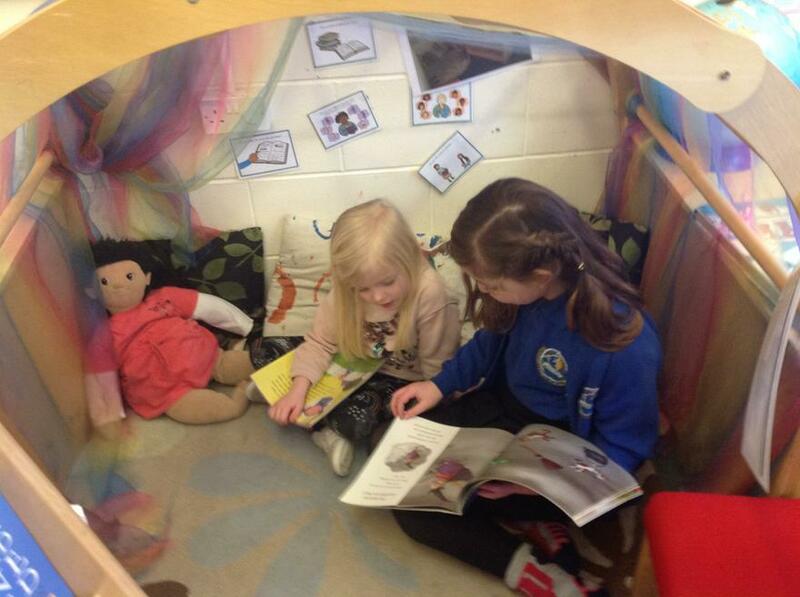 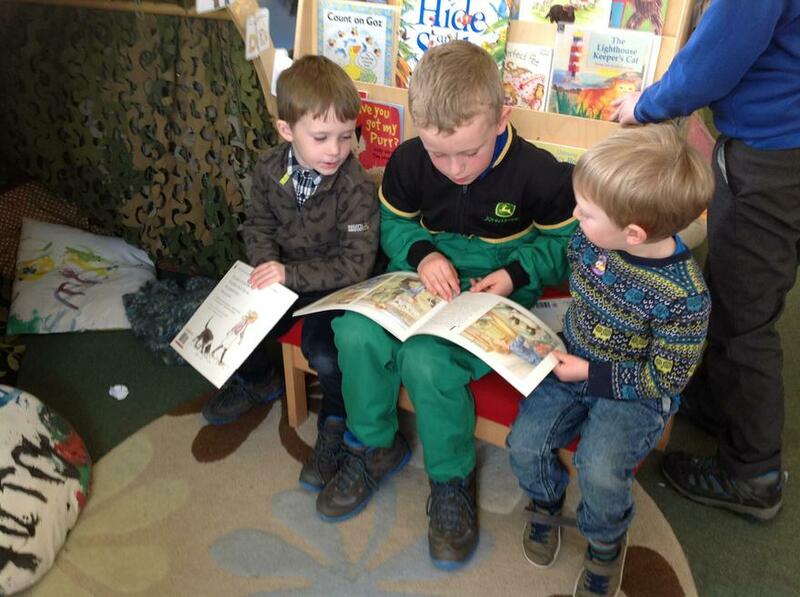 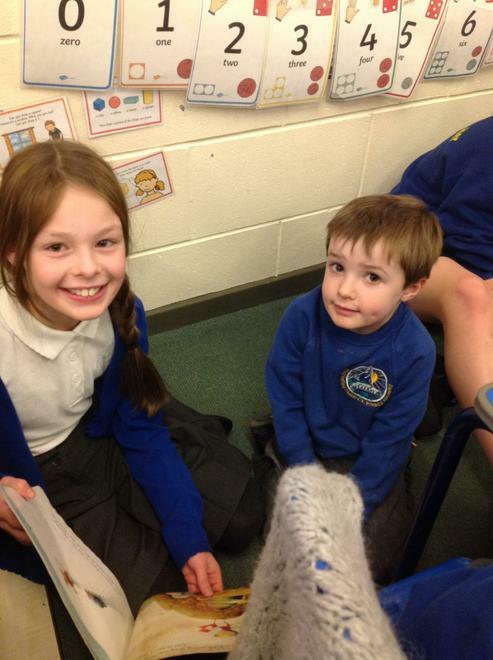 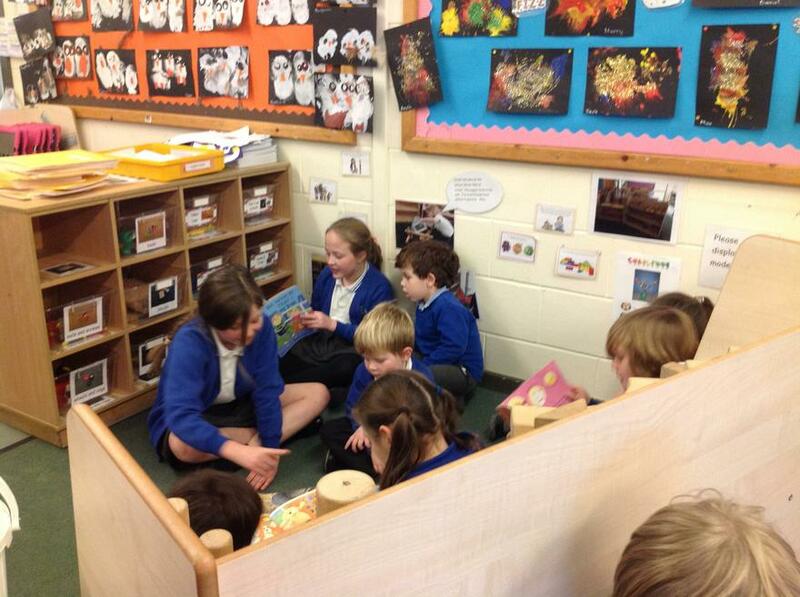 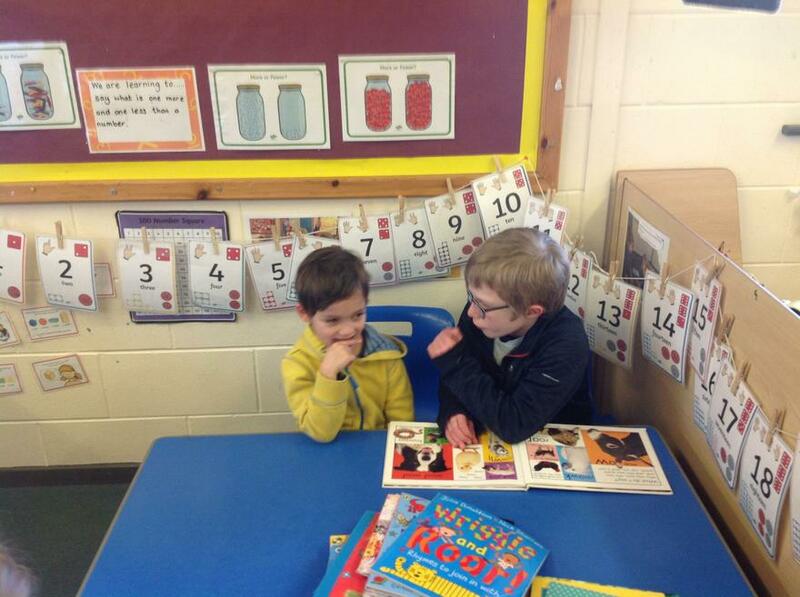 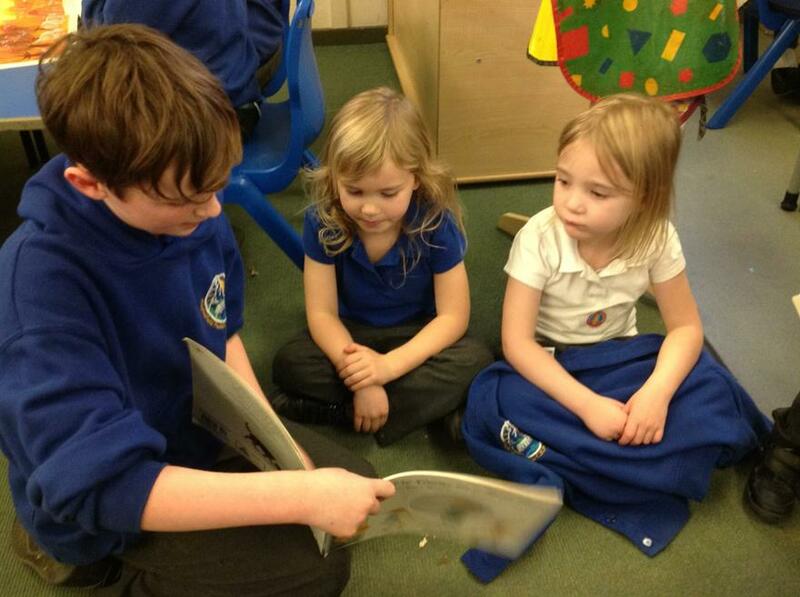 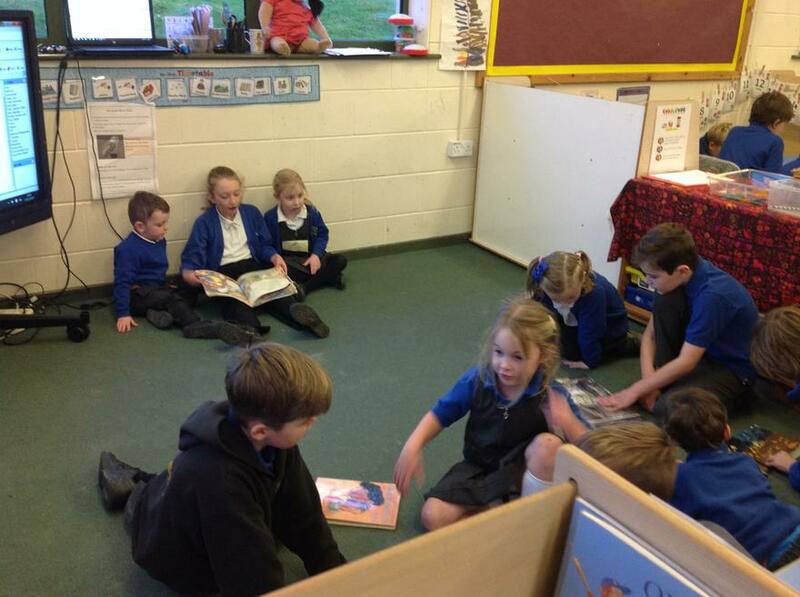 We finished off a lovely afternoon by joining our reception class and read them some stories. 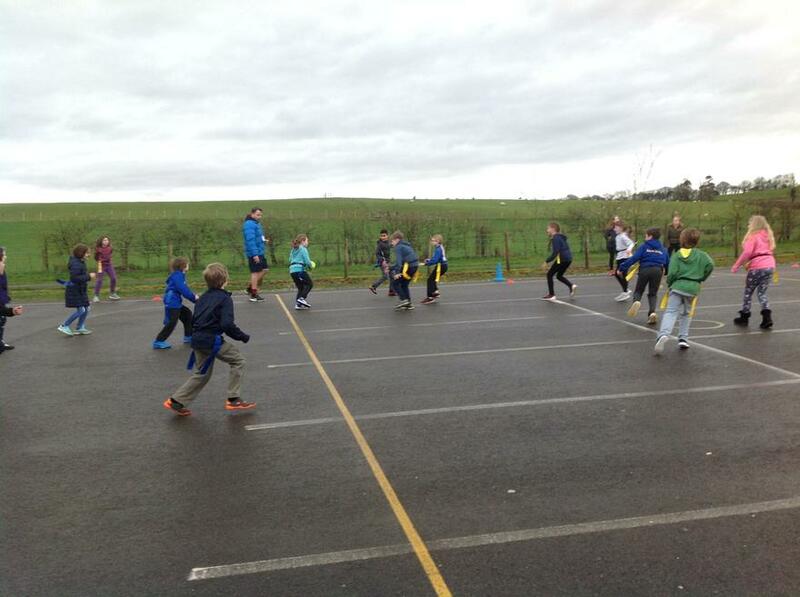 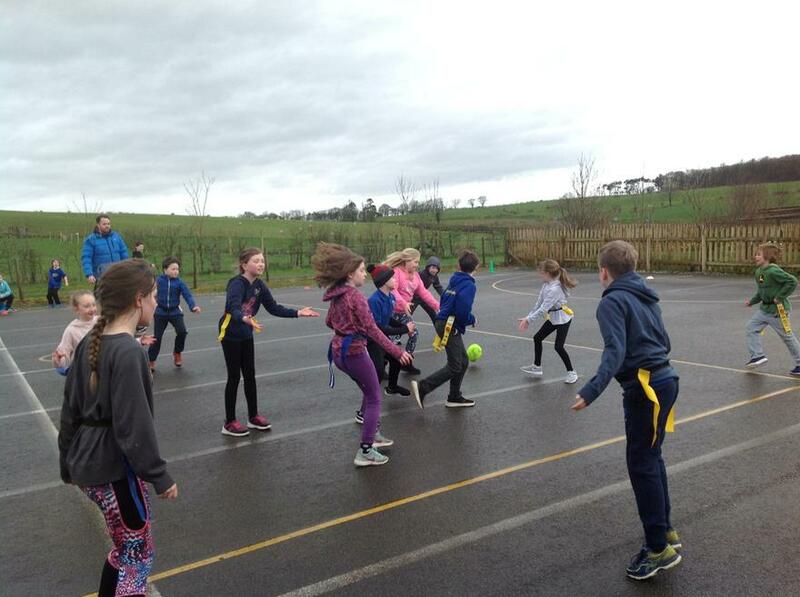 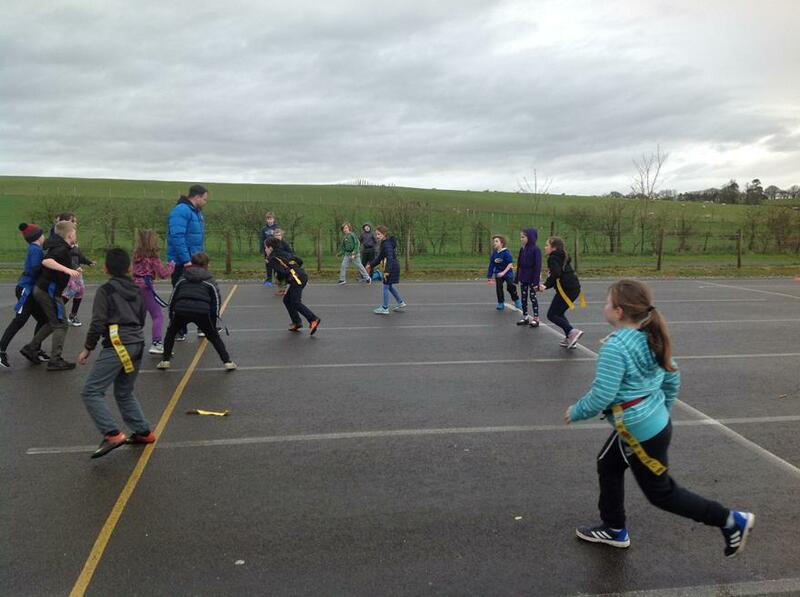 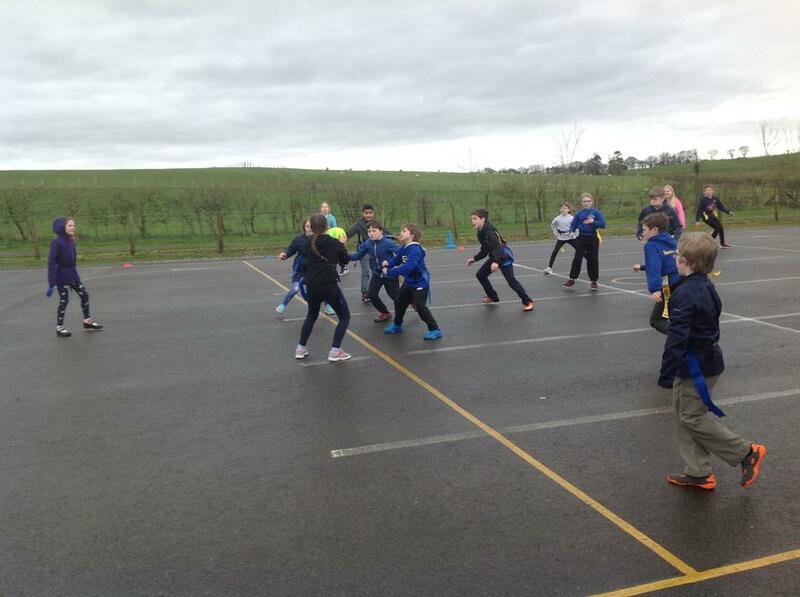 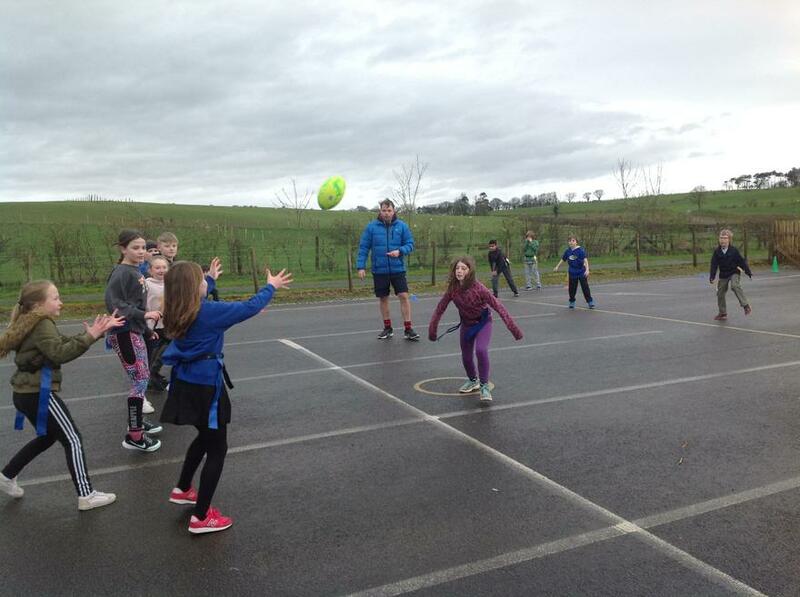 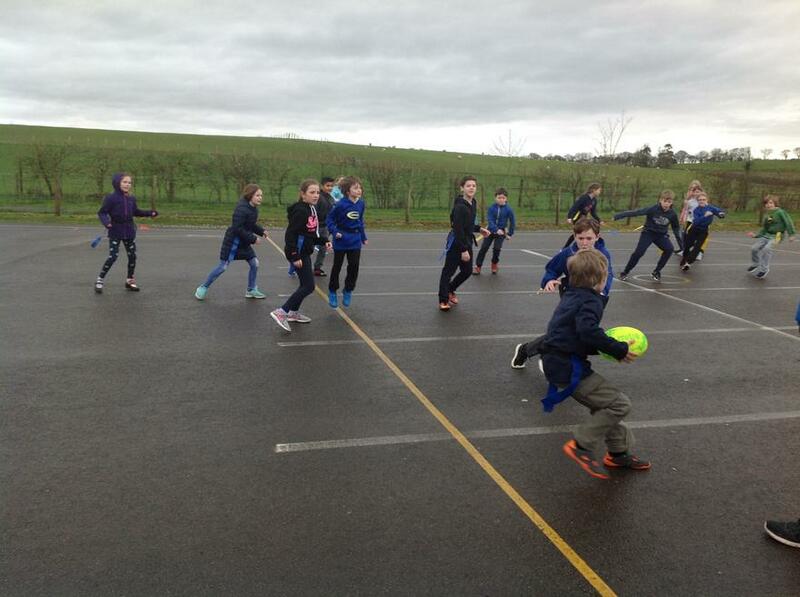 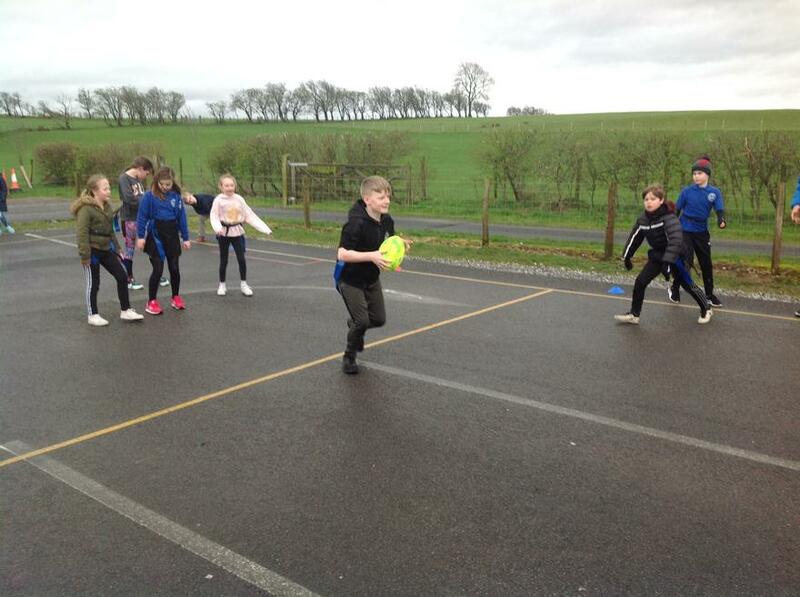 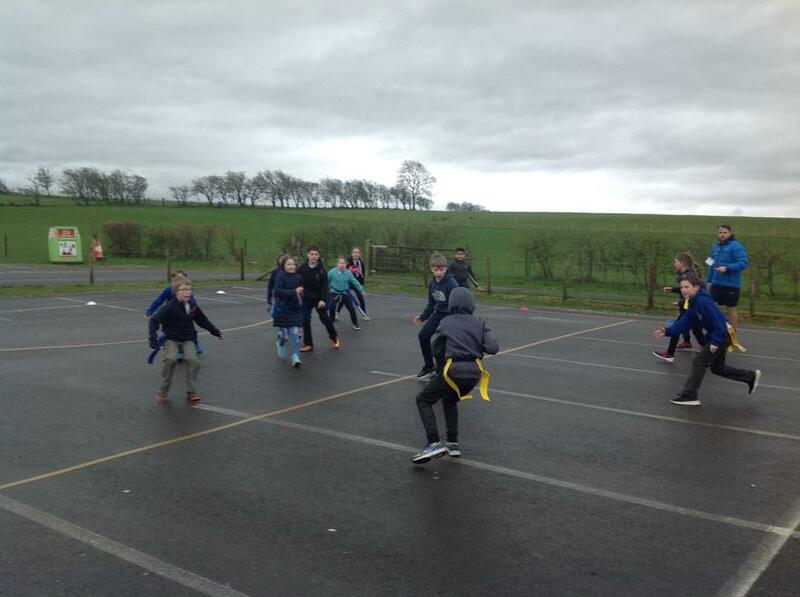 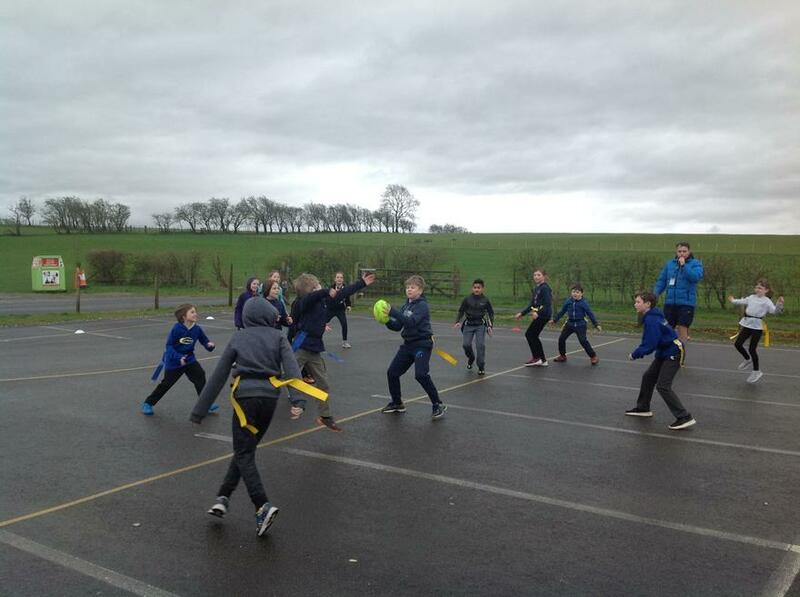 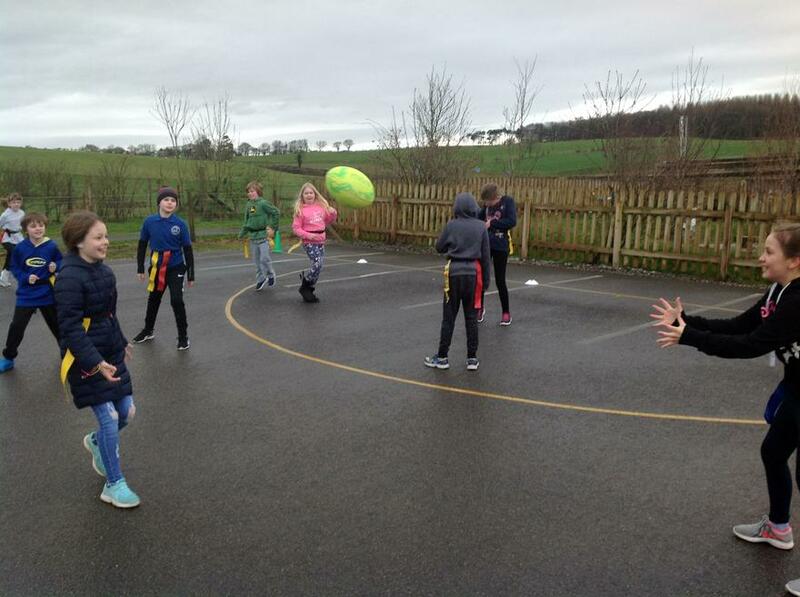 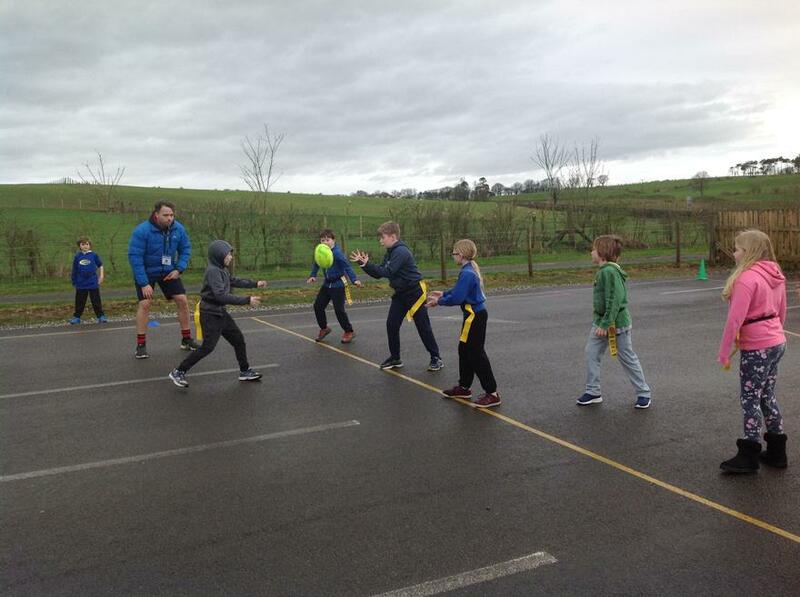 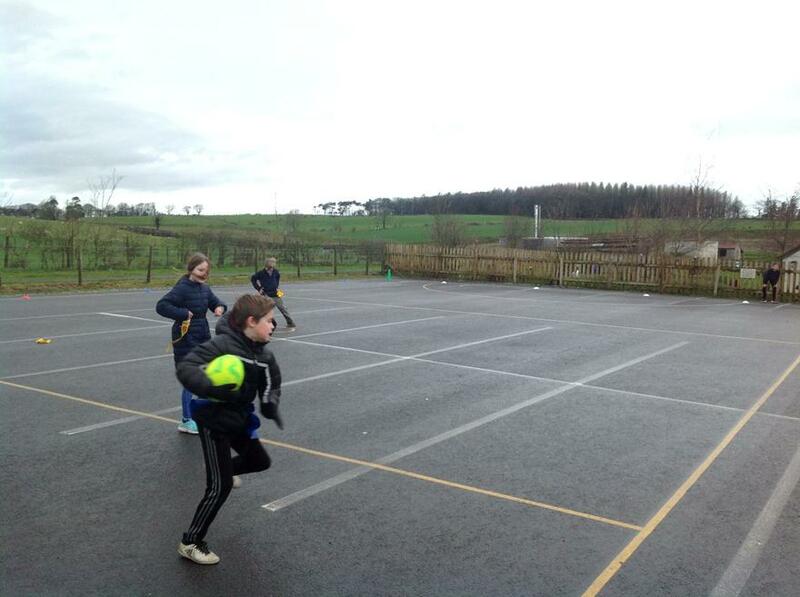 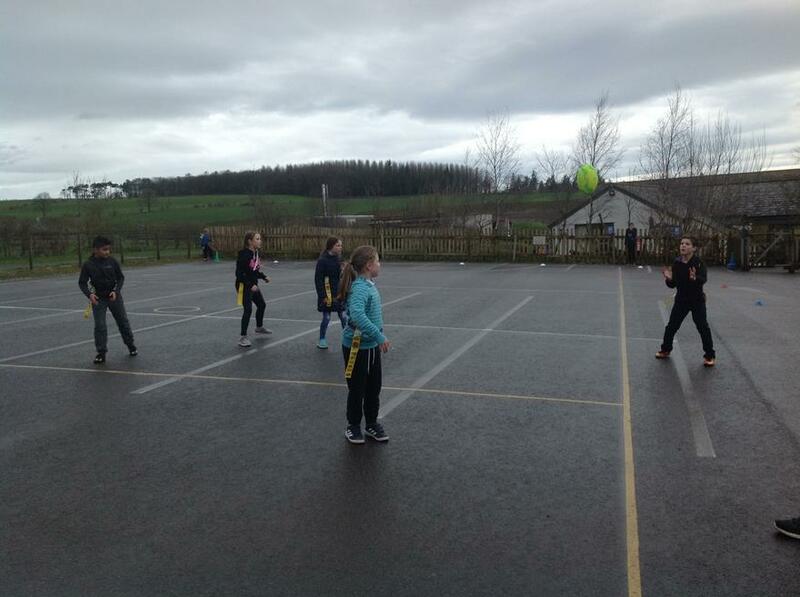 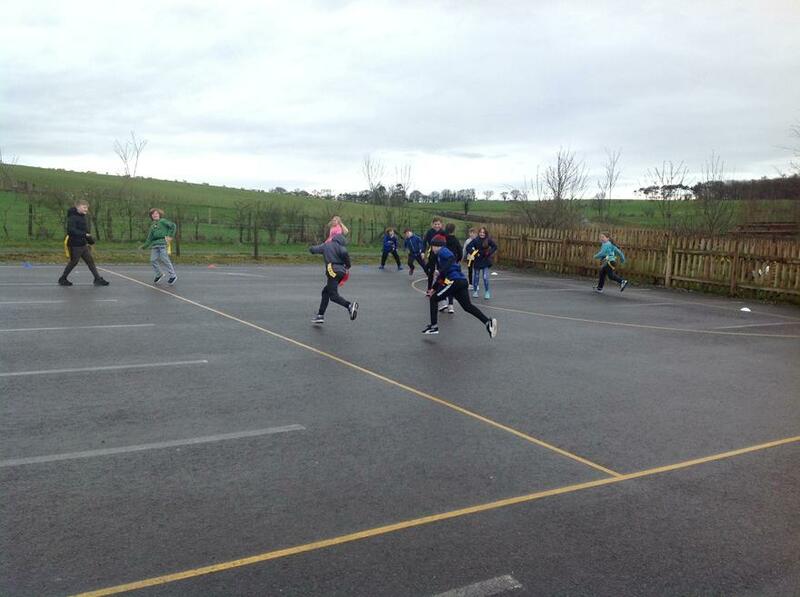 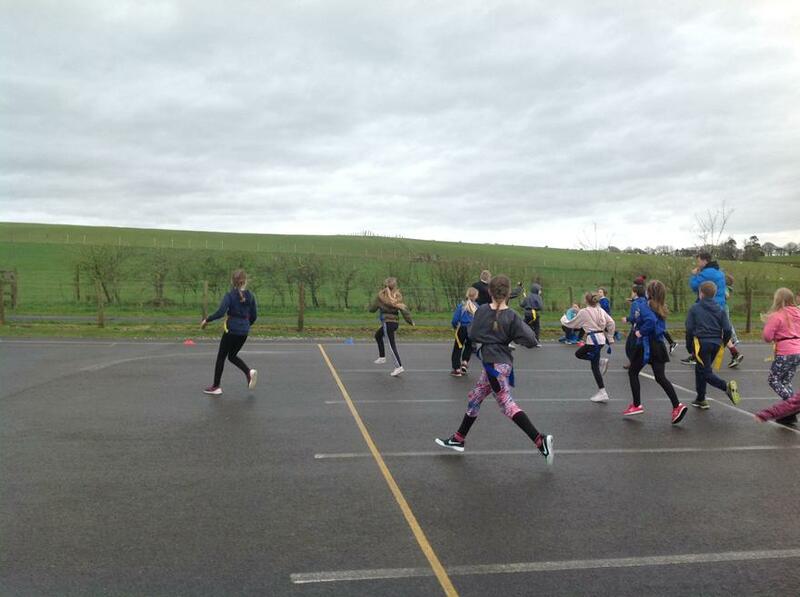 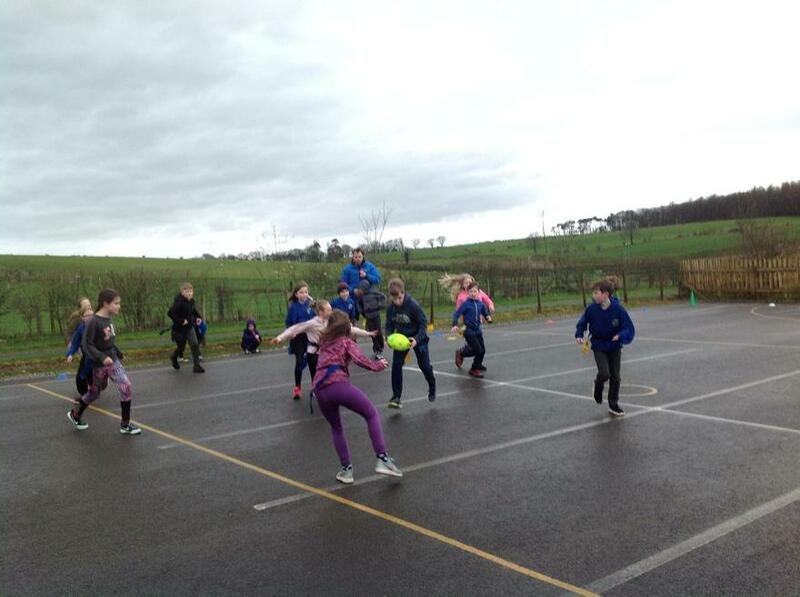 Mr Charters, from Cockermouth School, came in to teach us tag rugby. 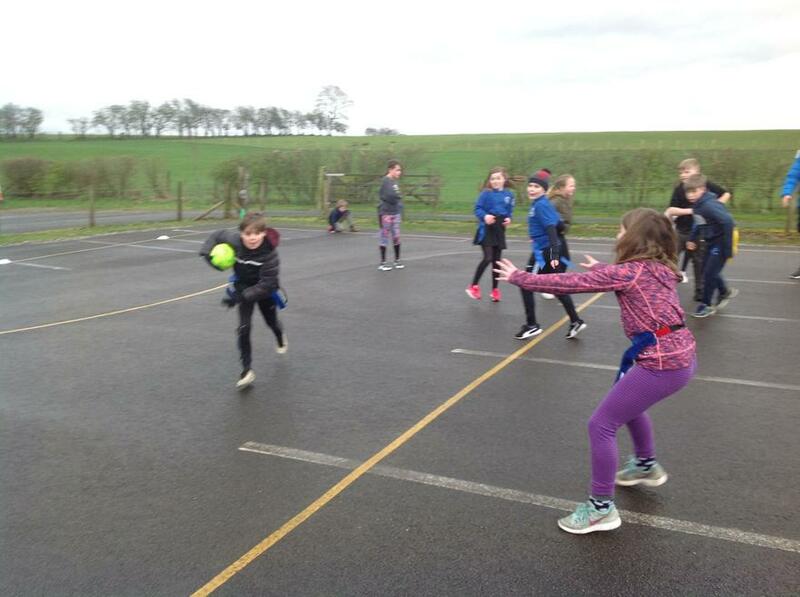 We focused on looking for 'spaces not faces' and playing by the rules of; passing sideways or backwards and running forwards with the ball. 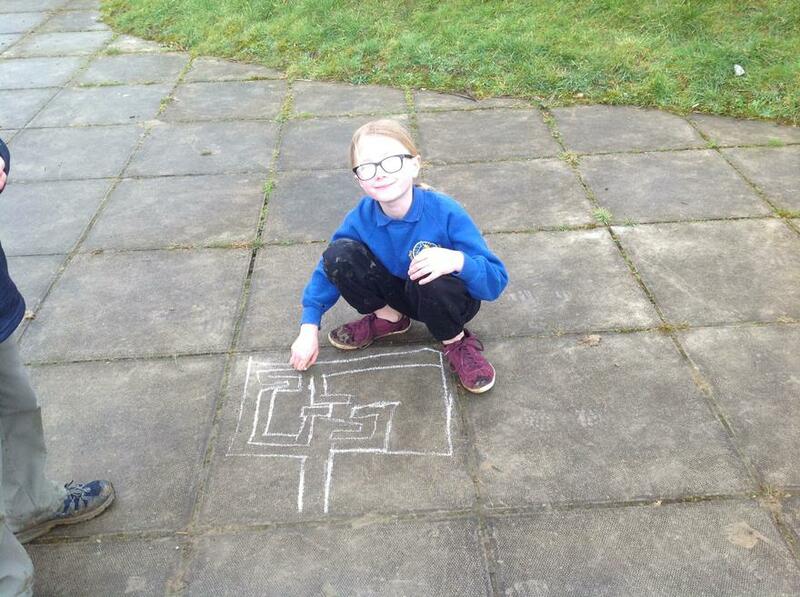 The whole class had an outstanding attitude to this new game and really gave 100%! 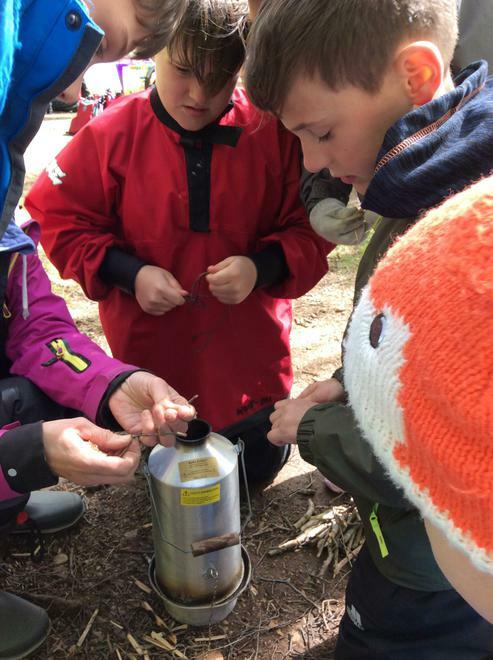 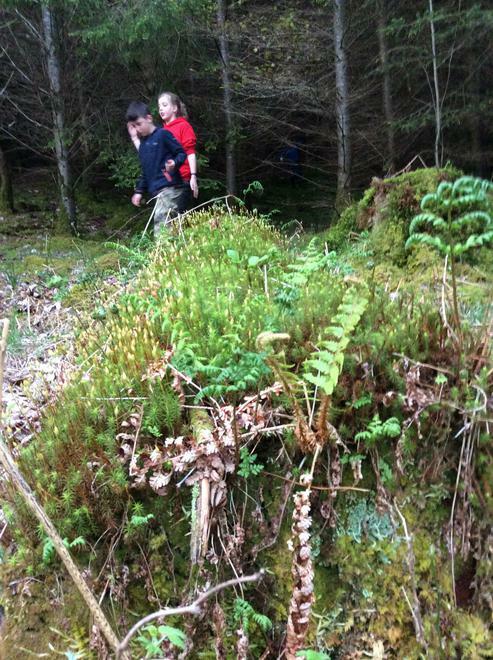 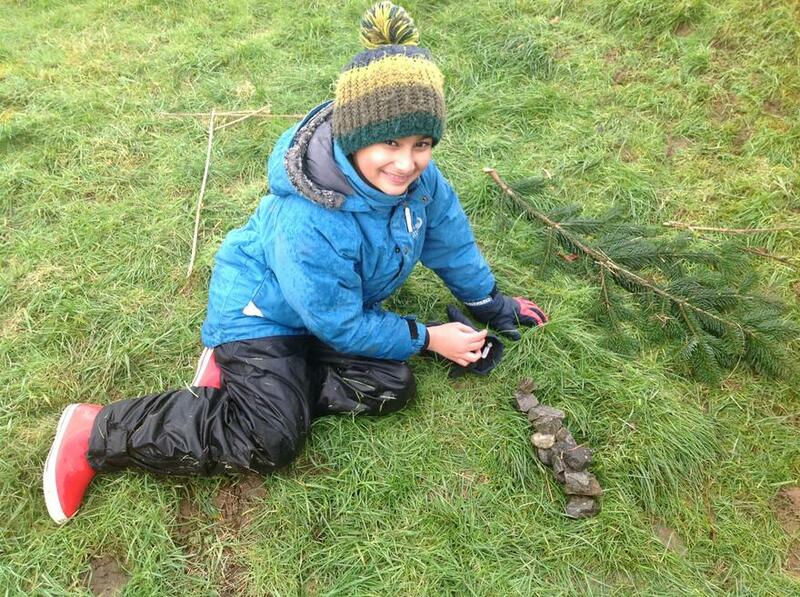 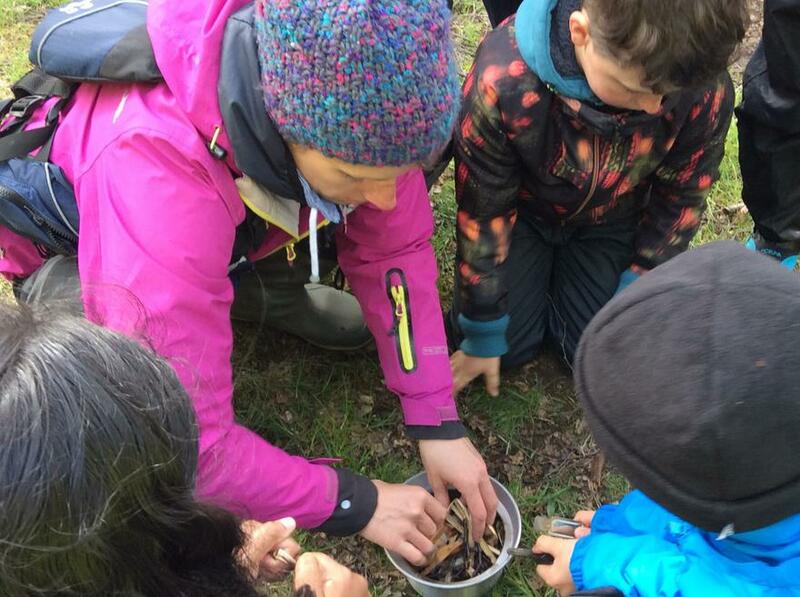 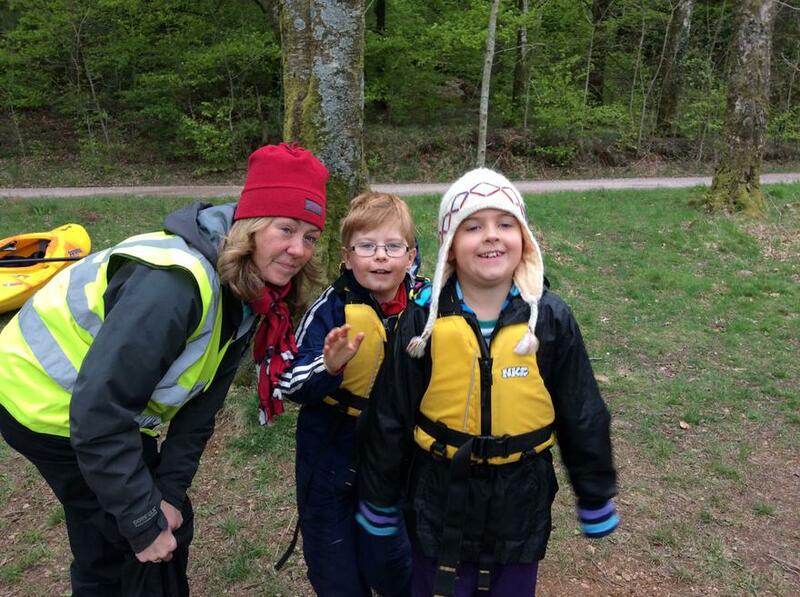 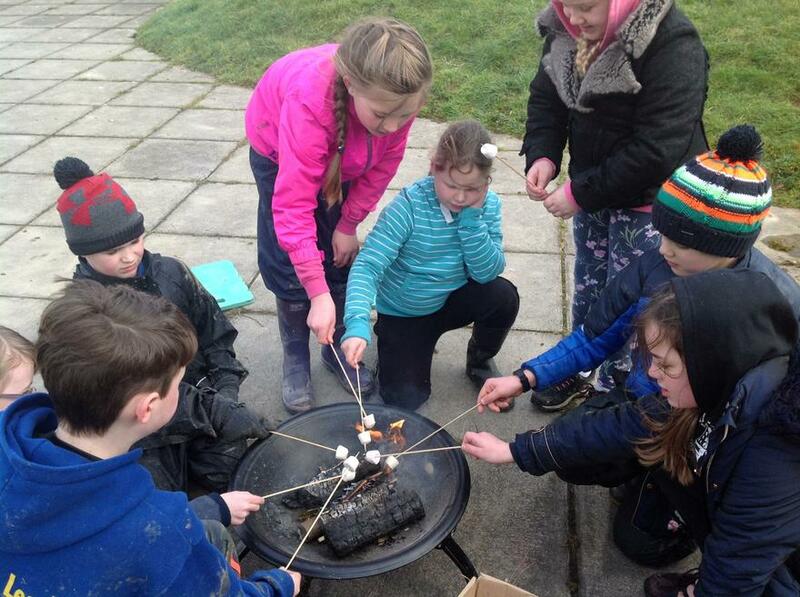 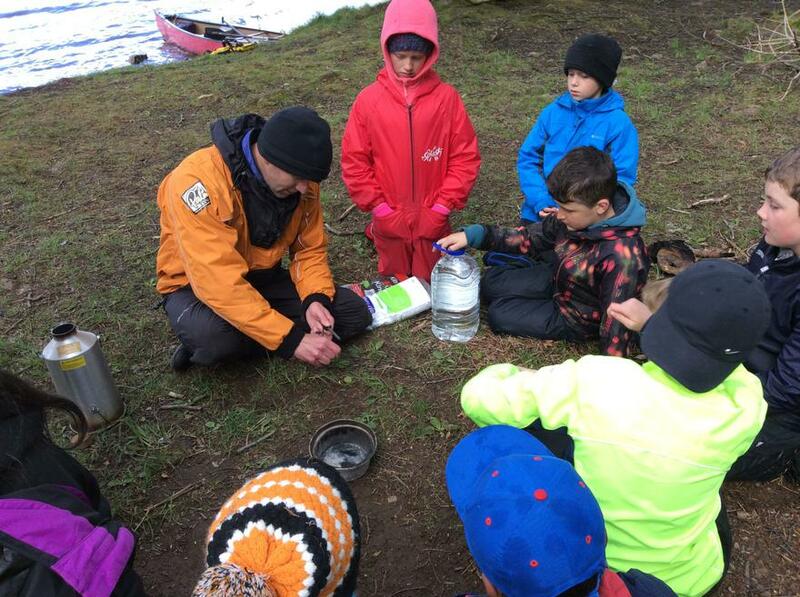 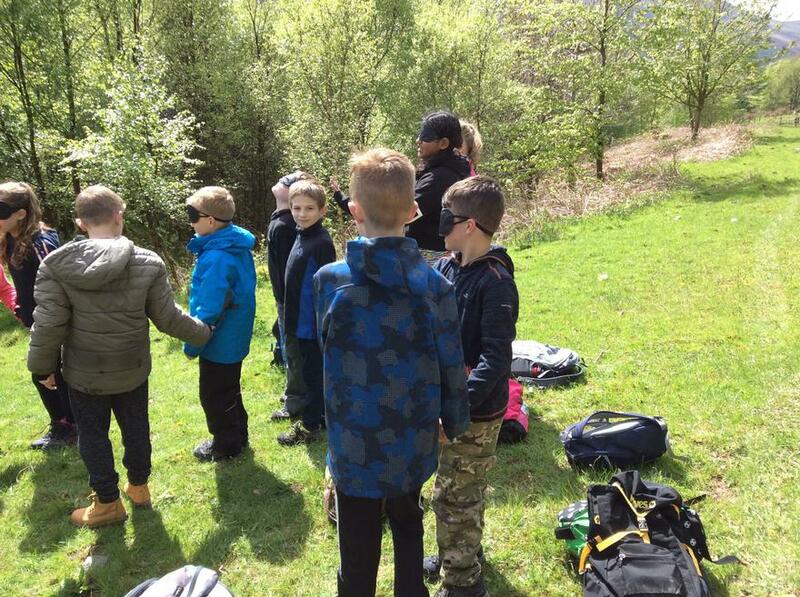 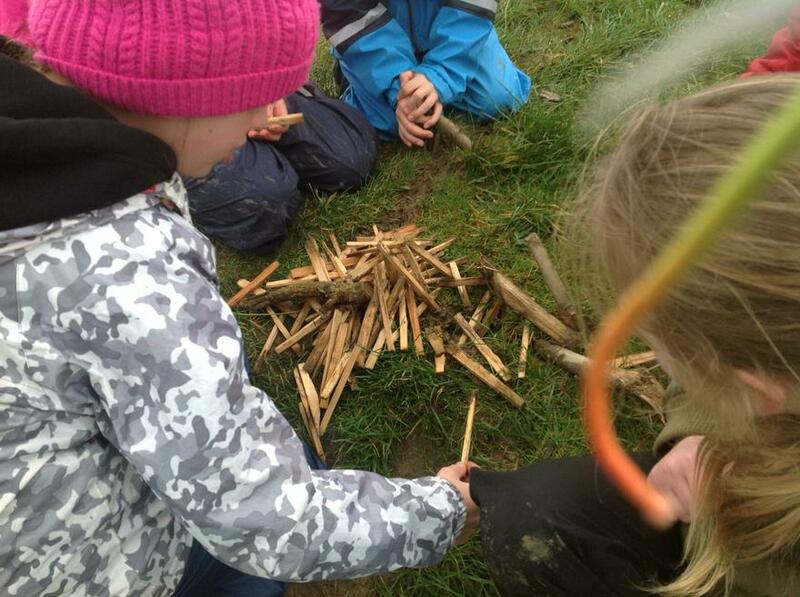 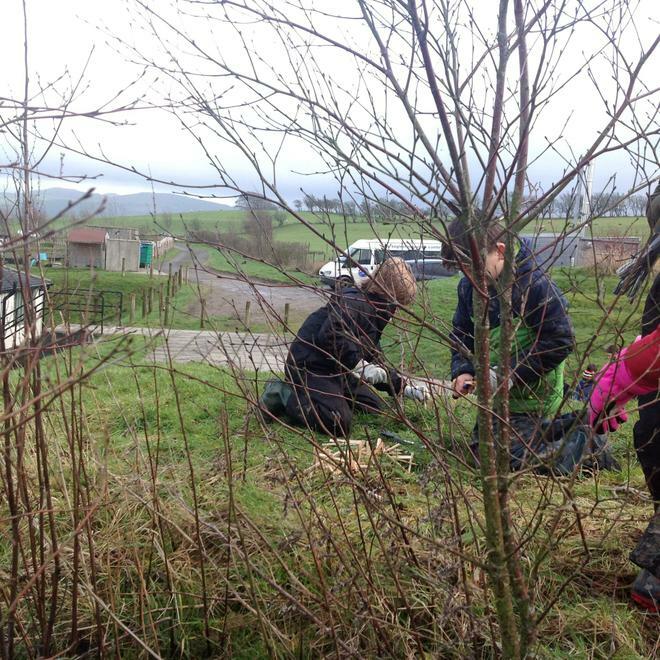 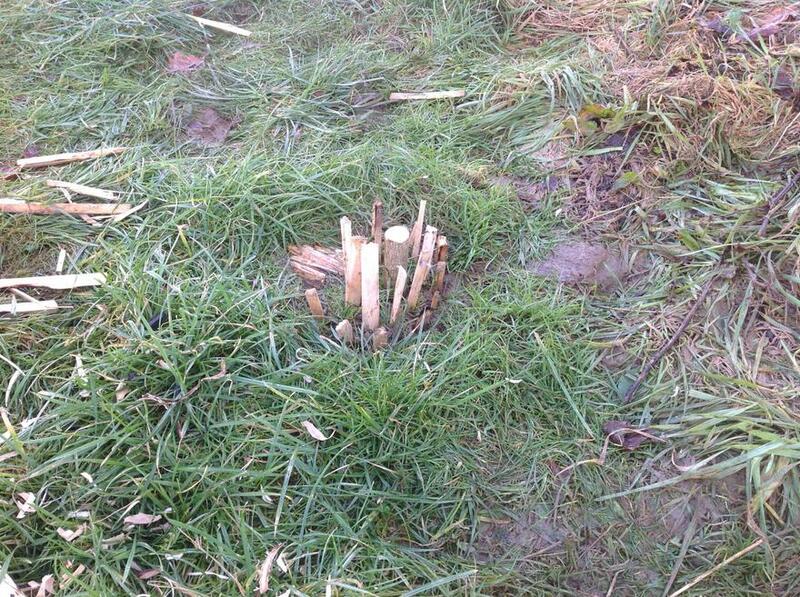 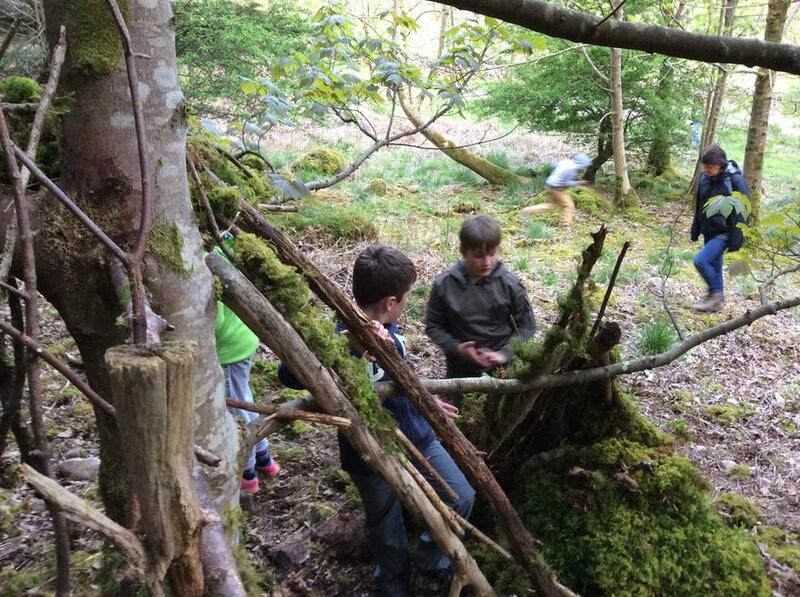 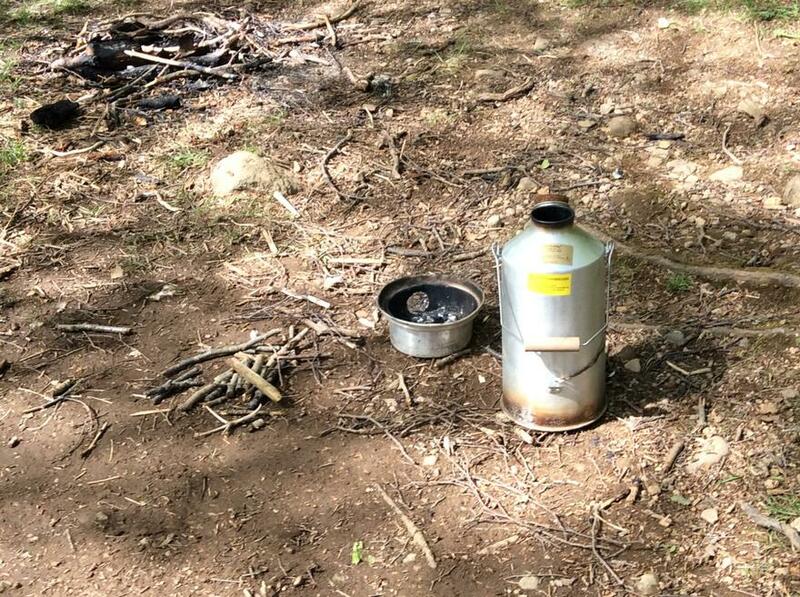 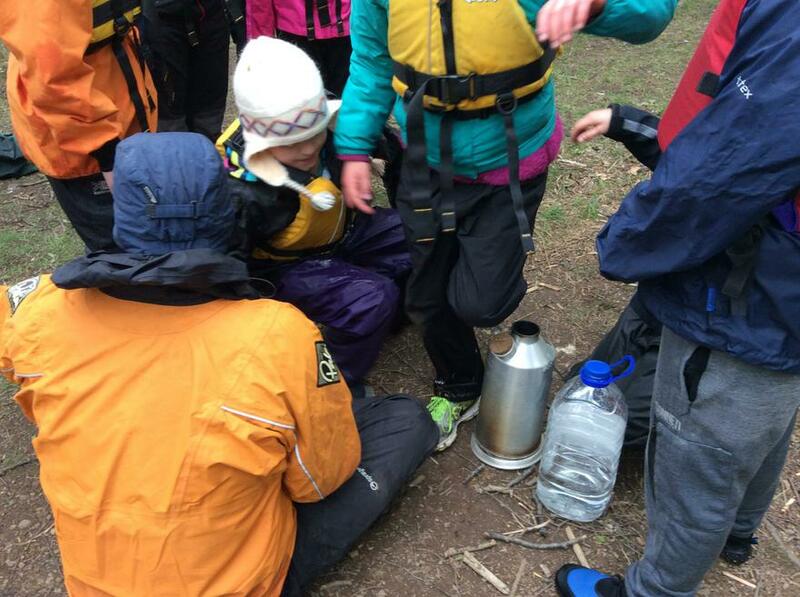 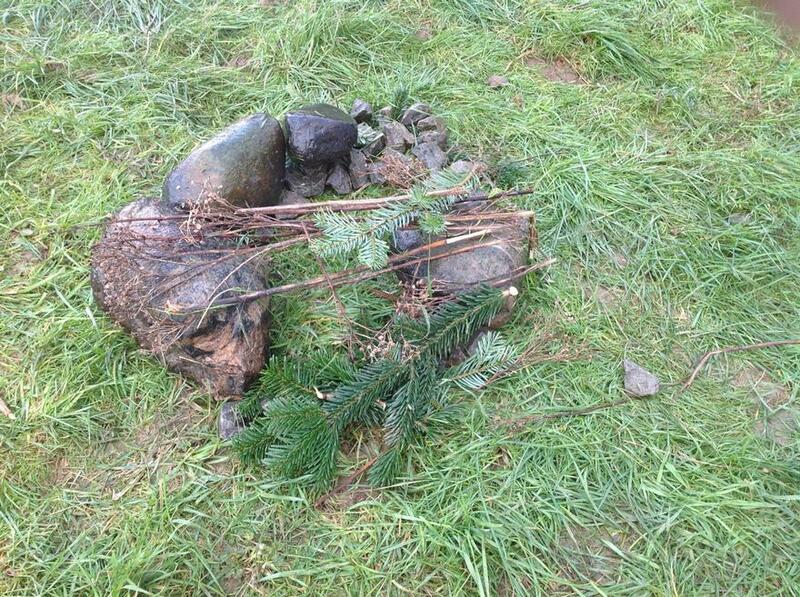 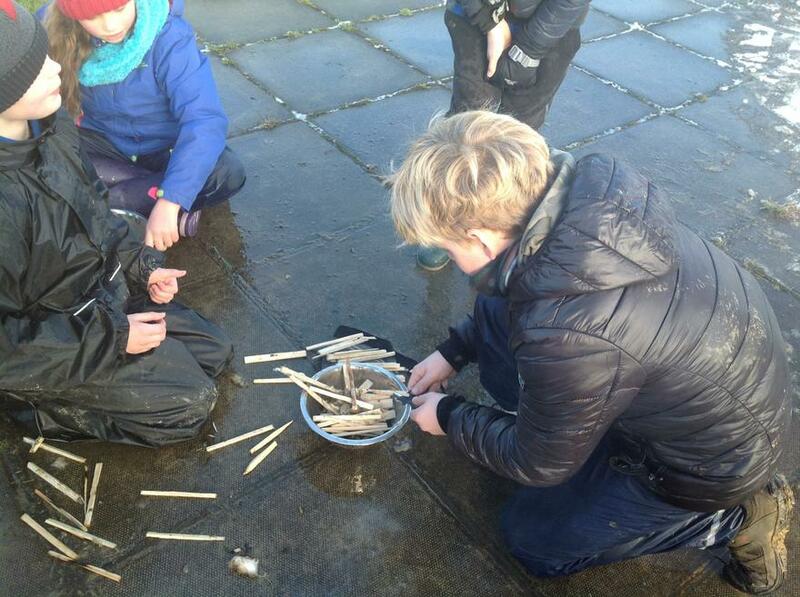 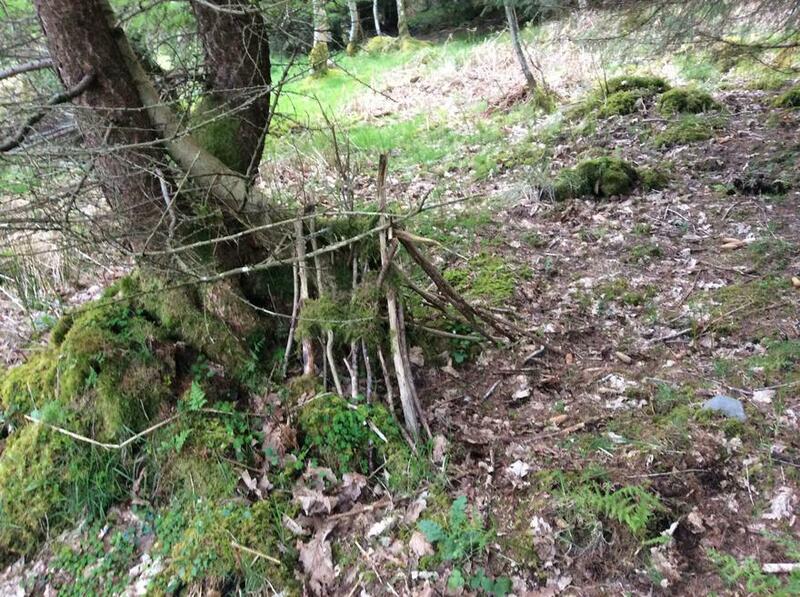 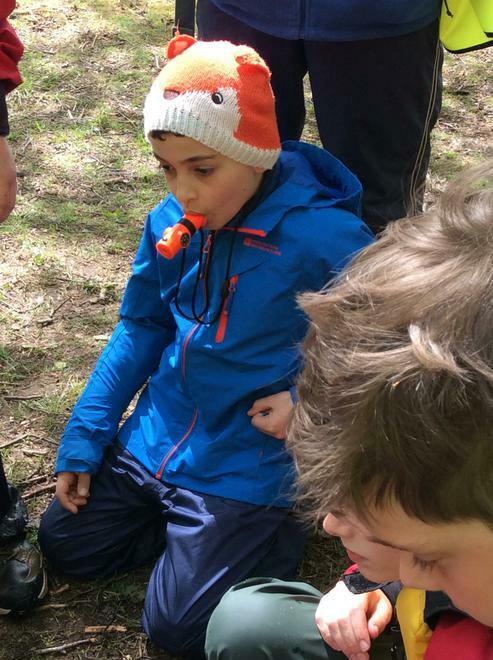 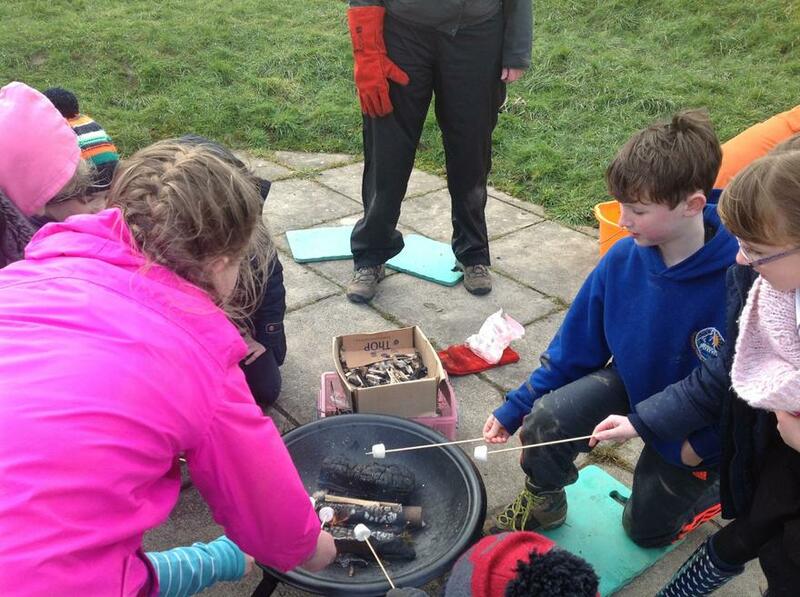 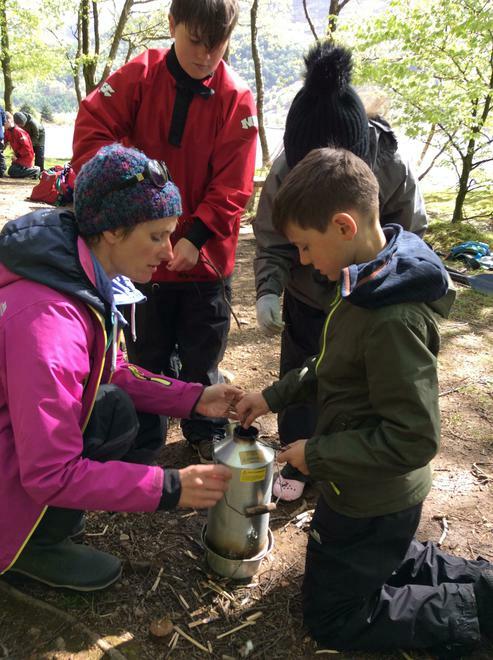 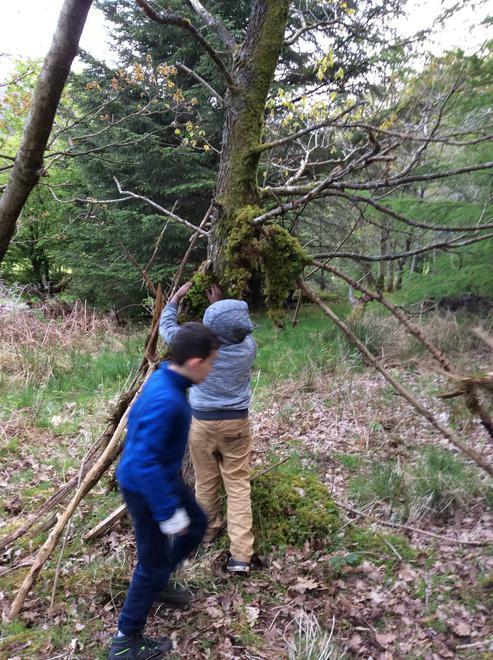 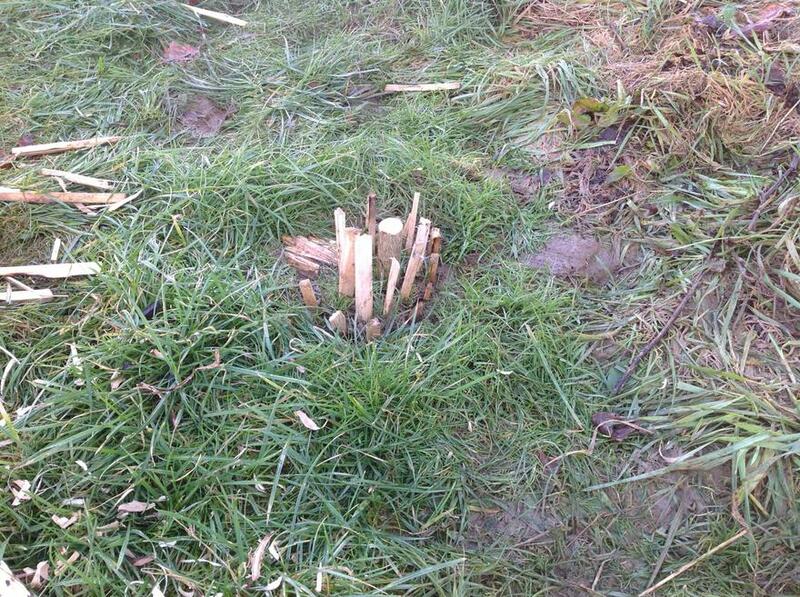 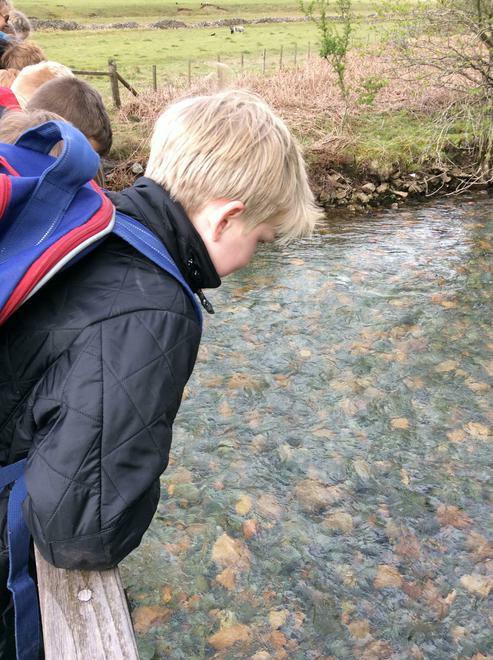 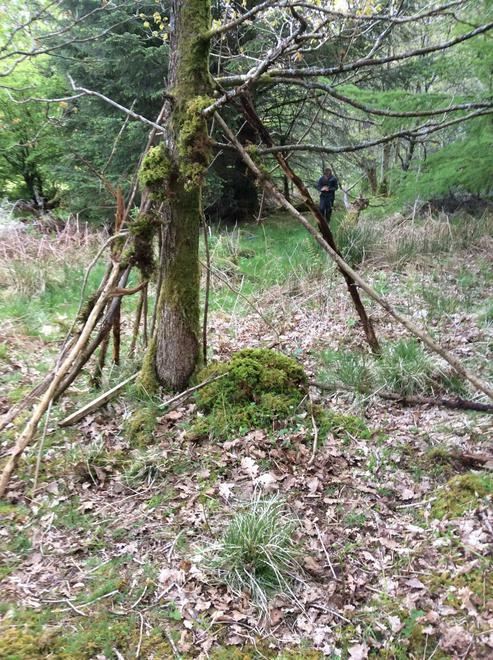 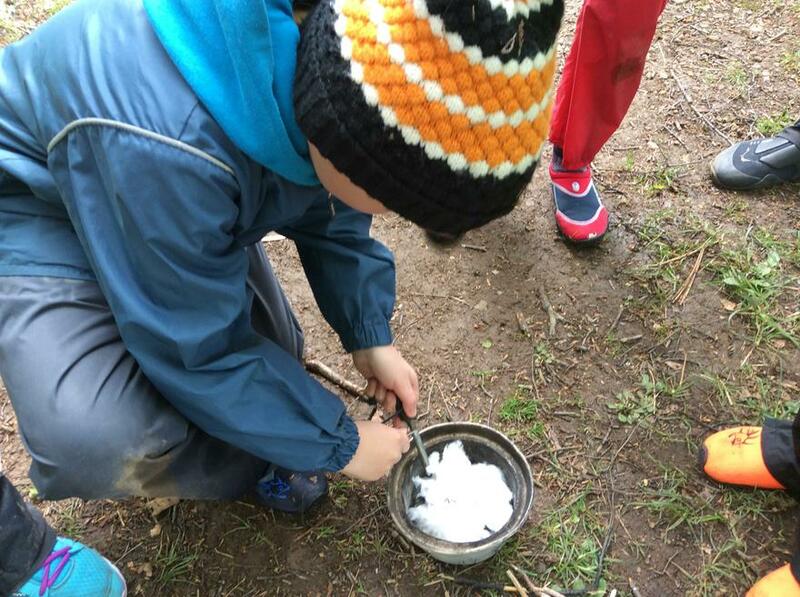 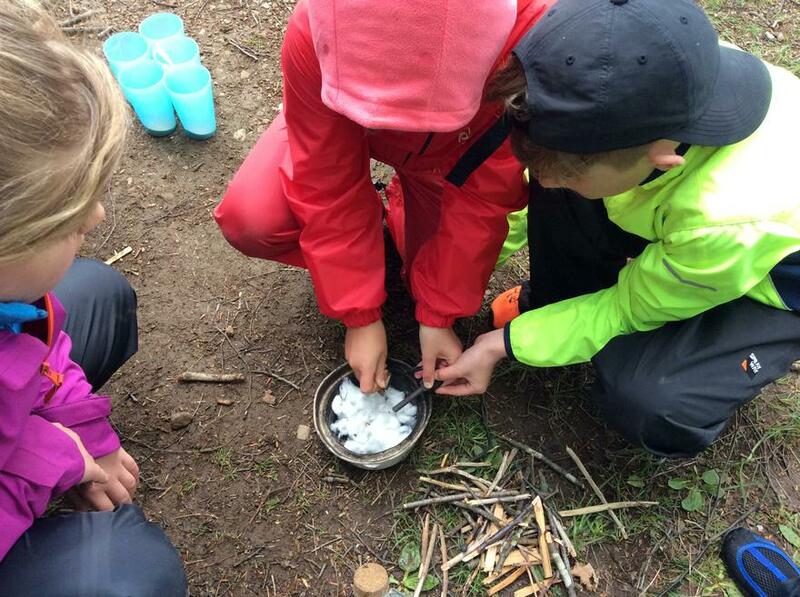 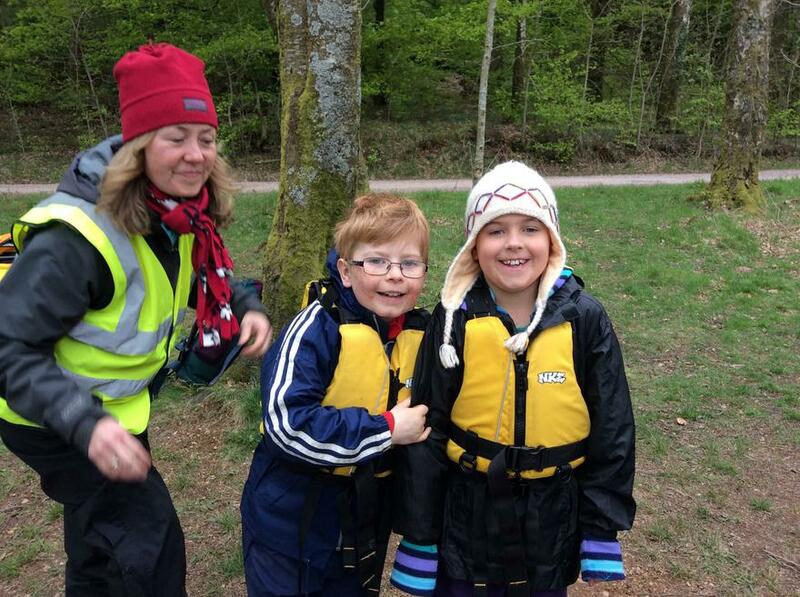 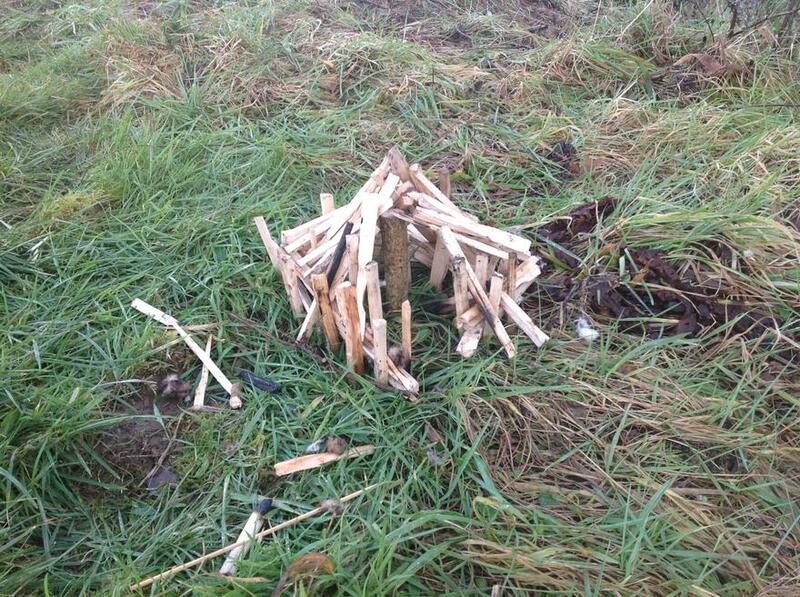 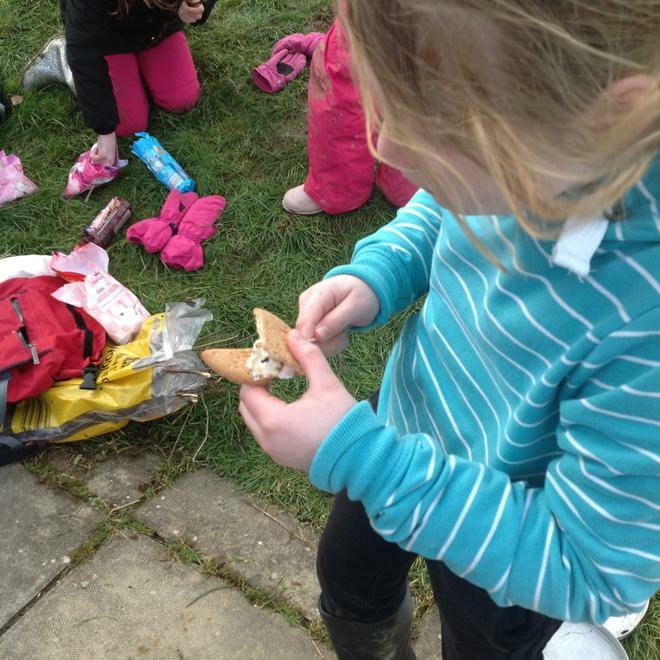 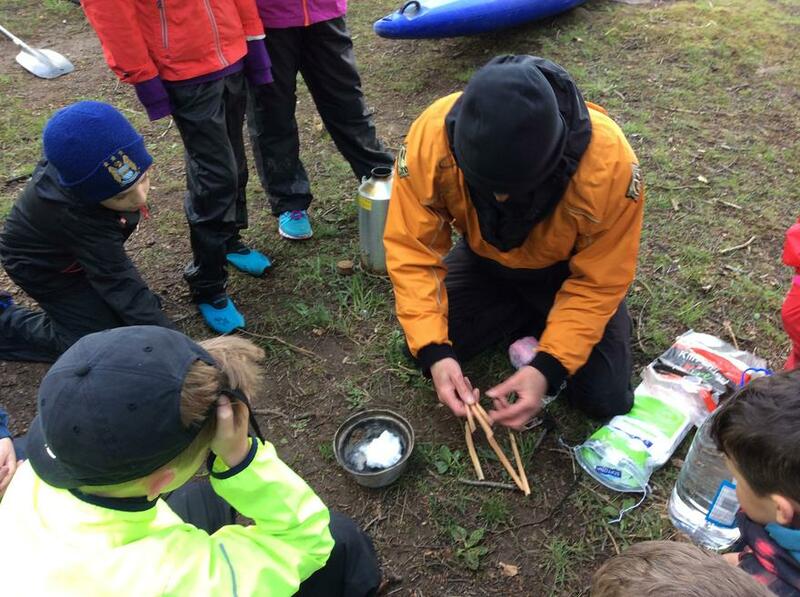 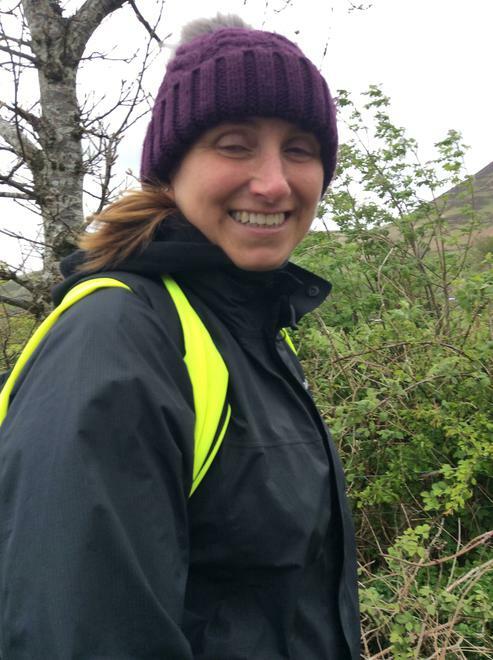 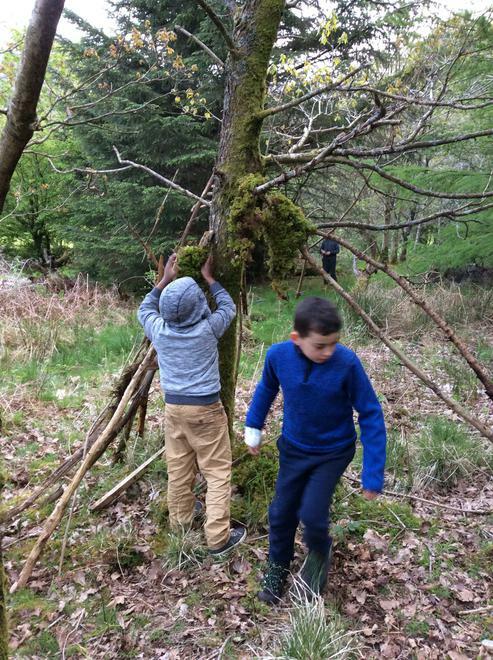 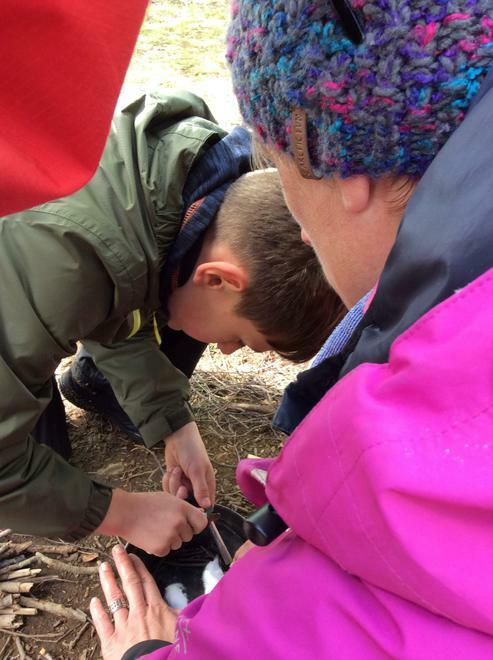 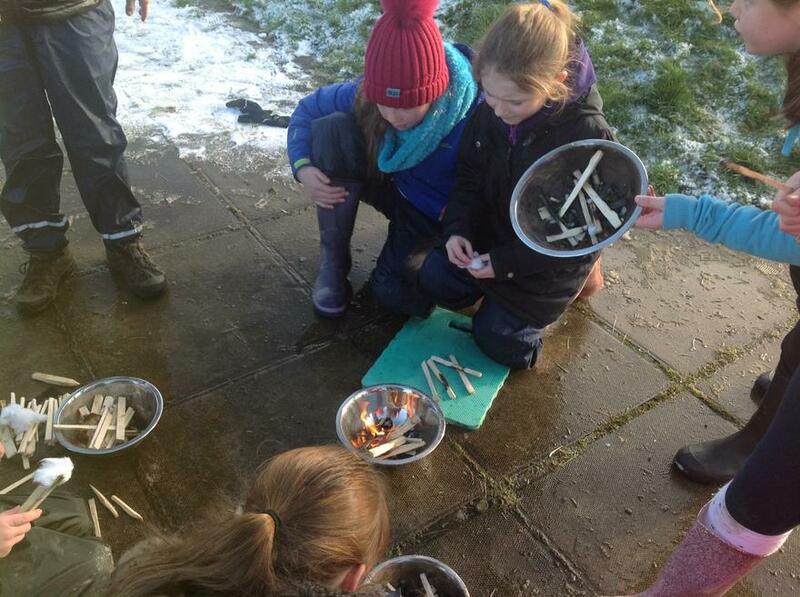 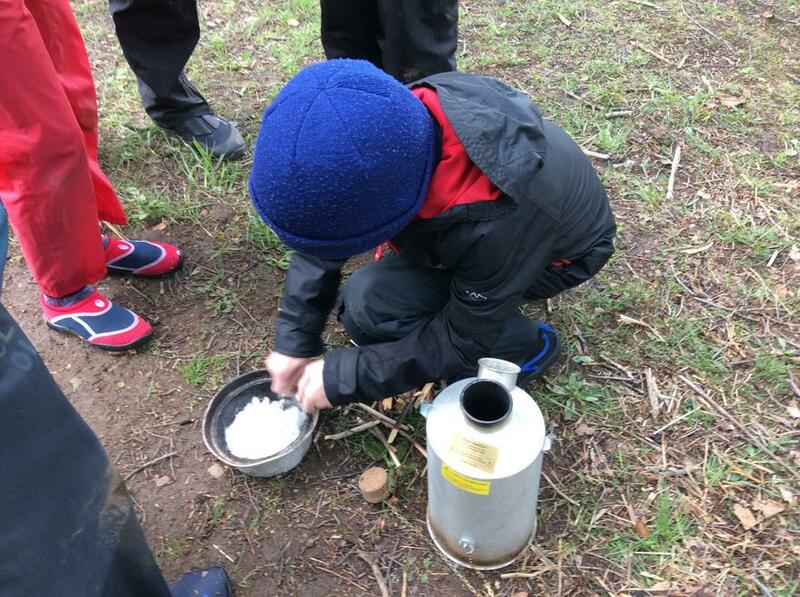 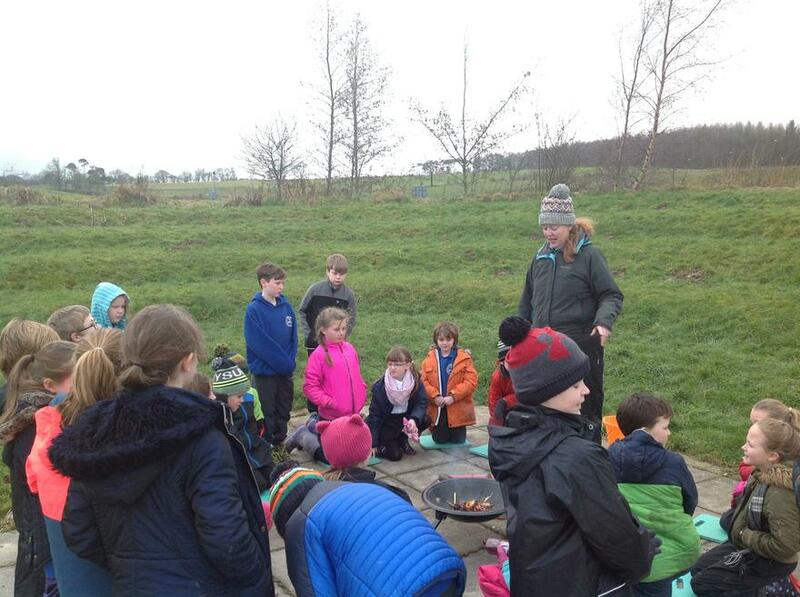 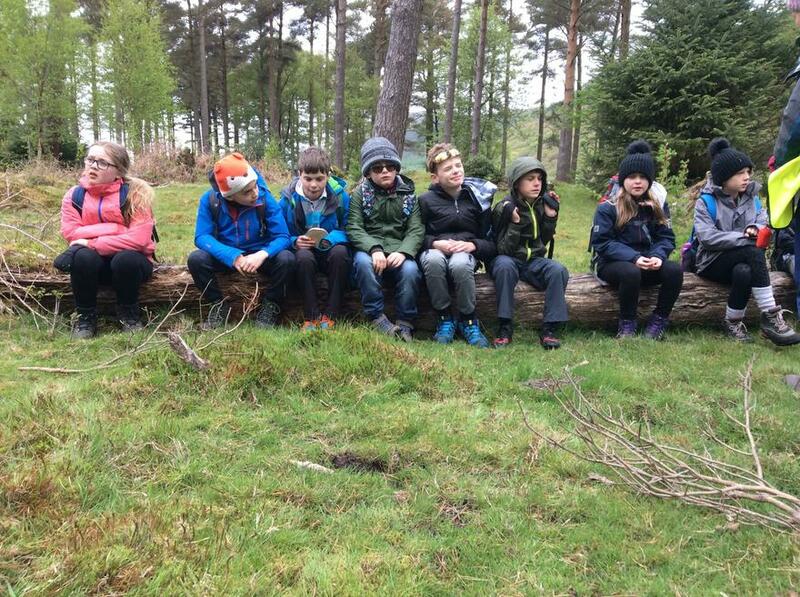 We have been extremely lucky to have the chance to do forest school with Mrs Watkins this half term. 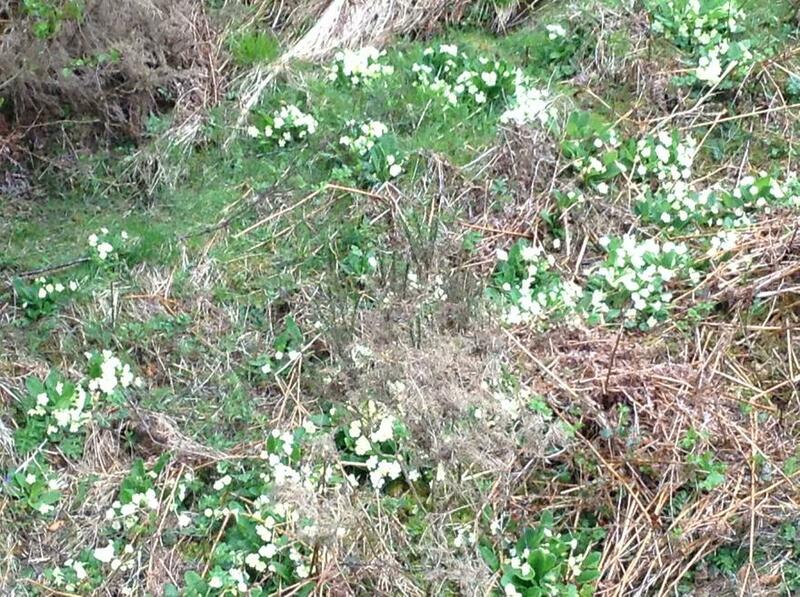 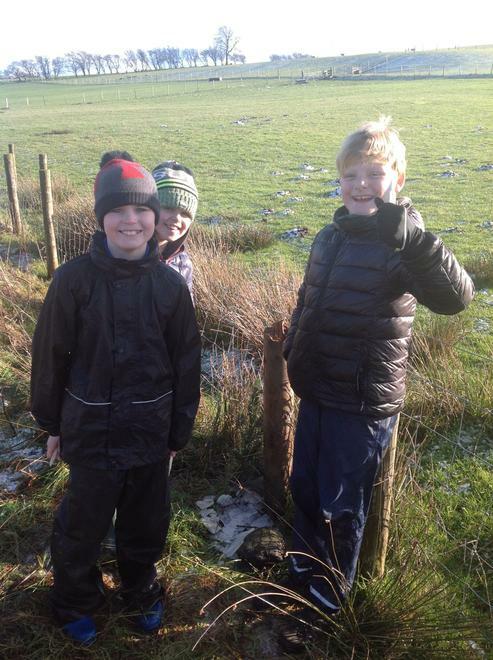 Some weeks have been wet, others windy and others icy cold! 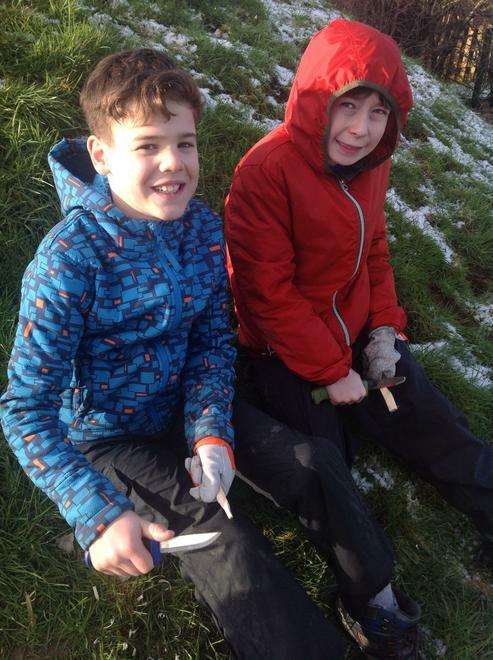 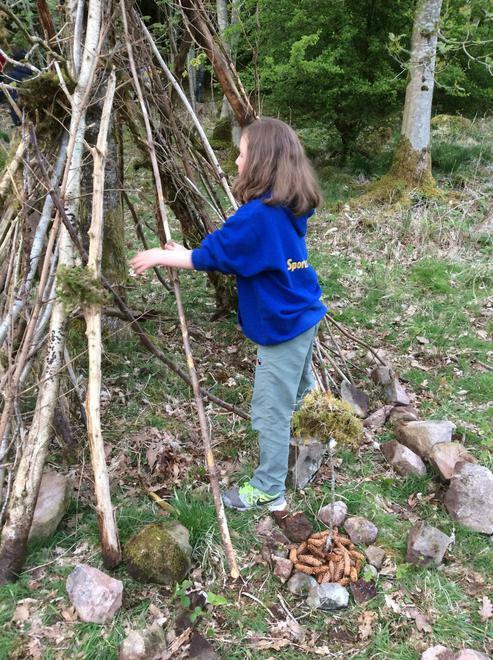 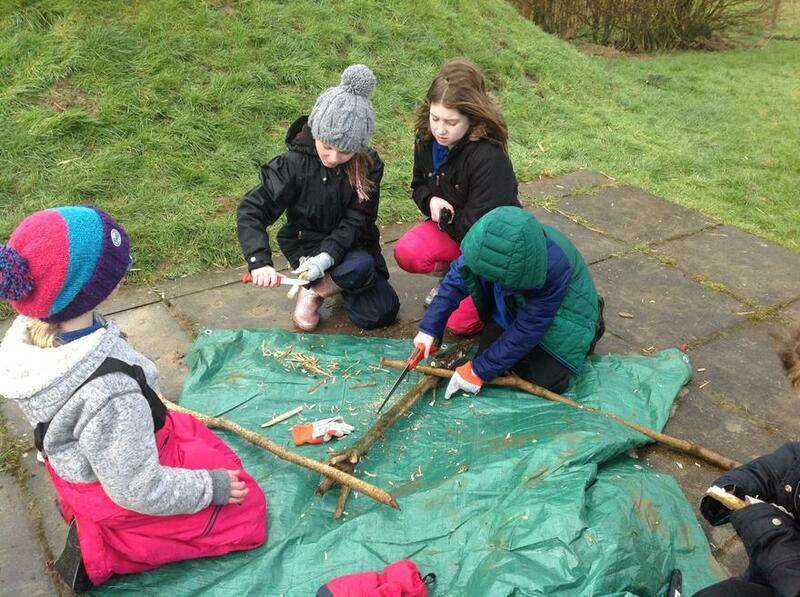 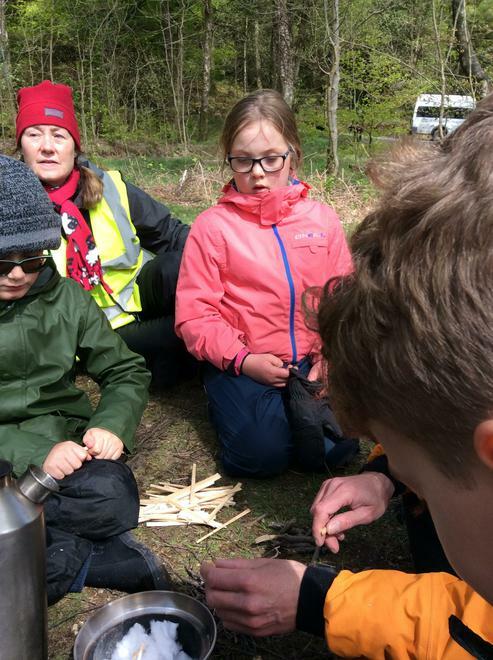 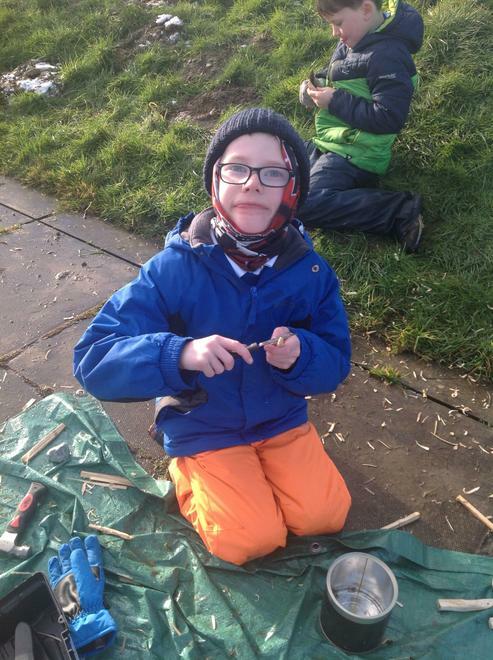 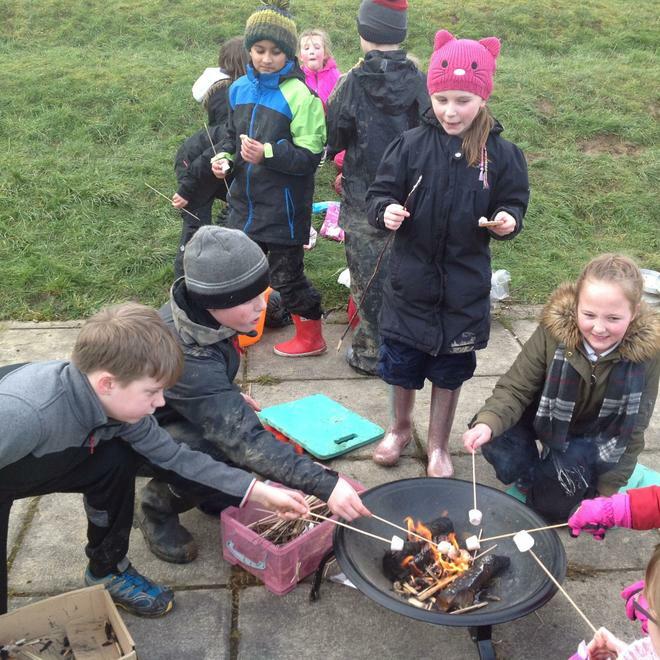 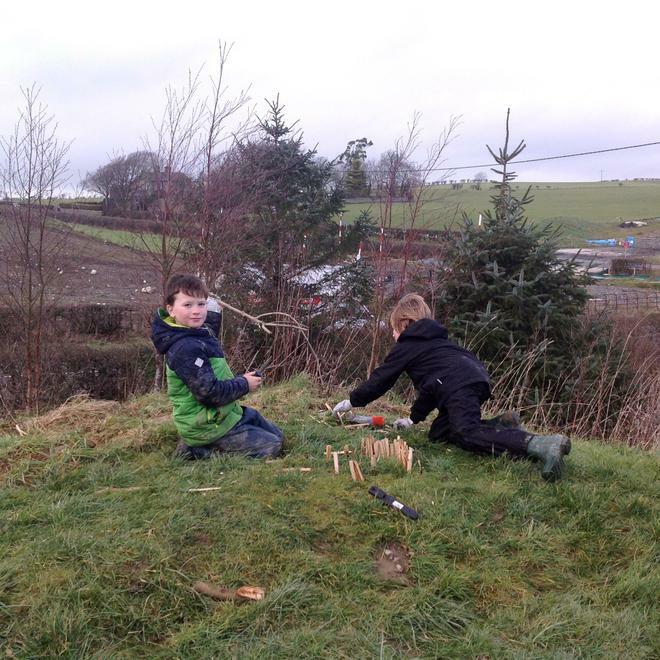 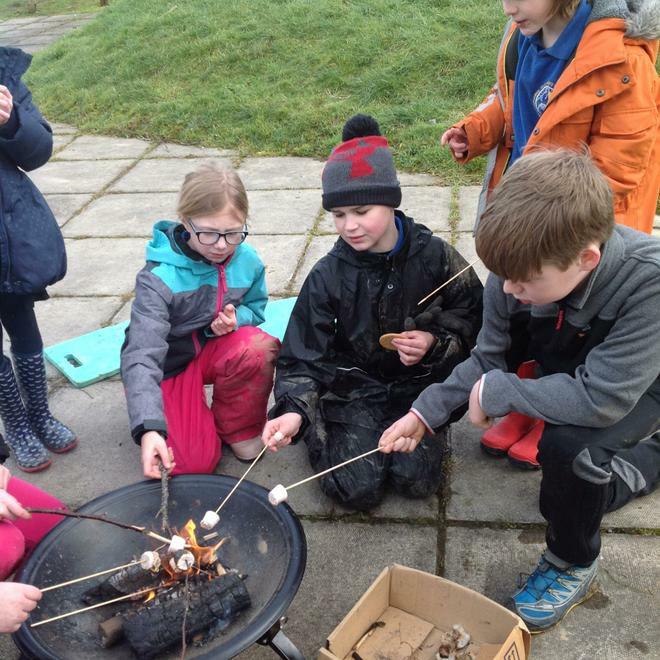 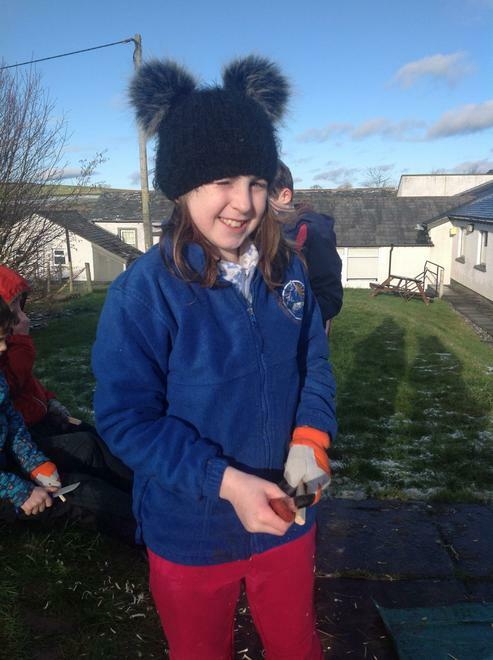 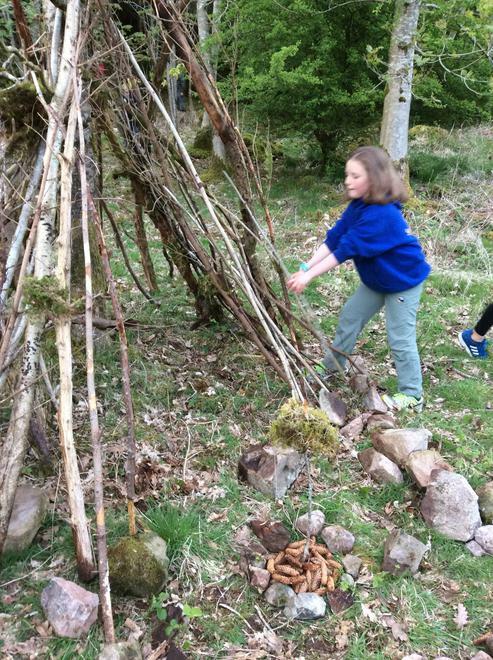 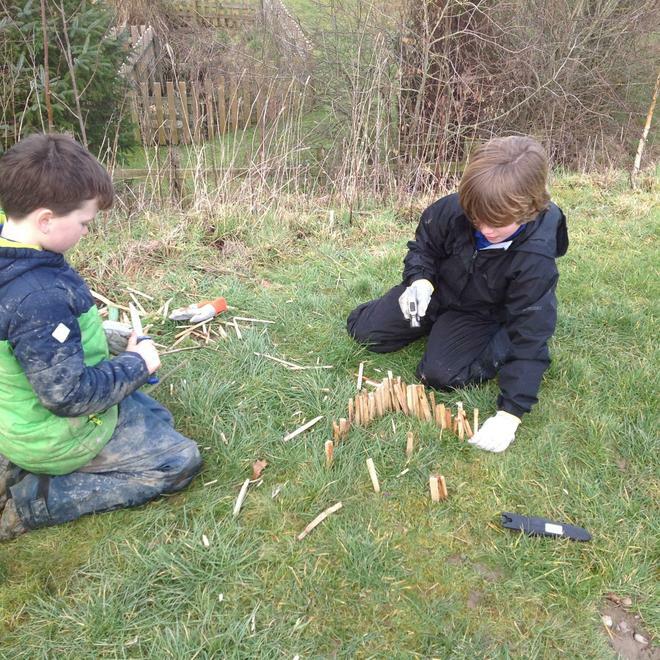 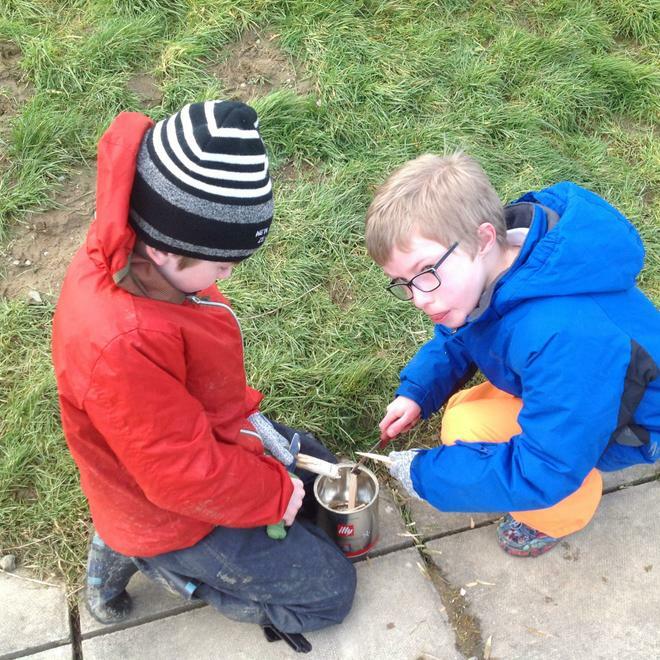 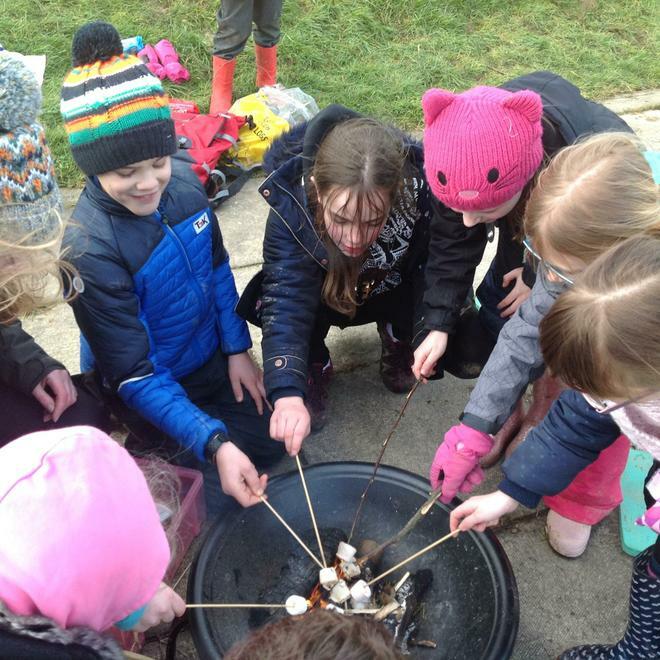 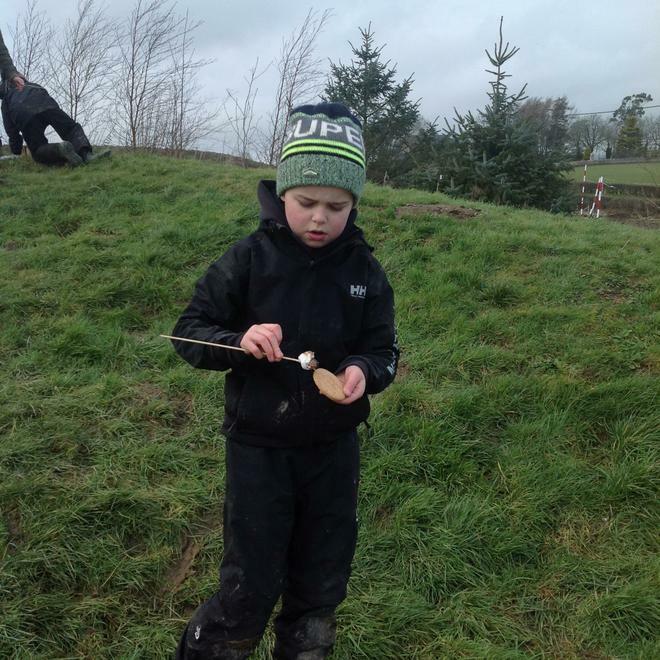 We have so much fun exploring our school outdoor area and learning new skills such as; whittling wood, starting fires and splitting wood. 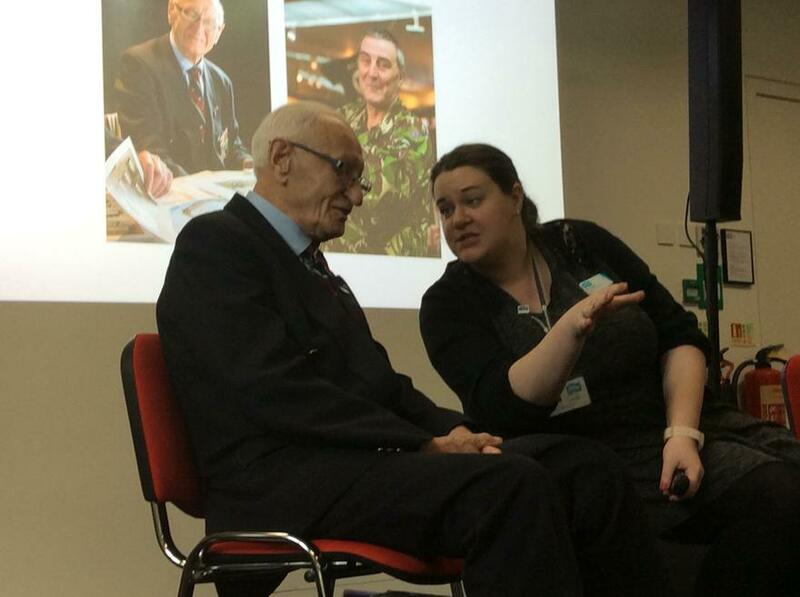 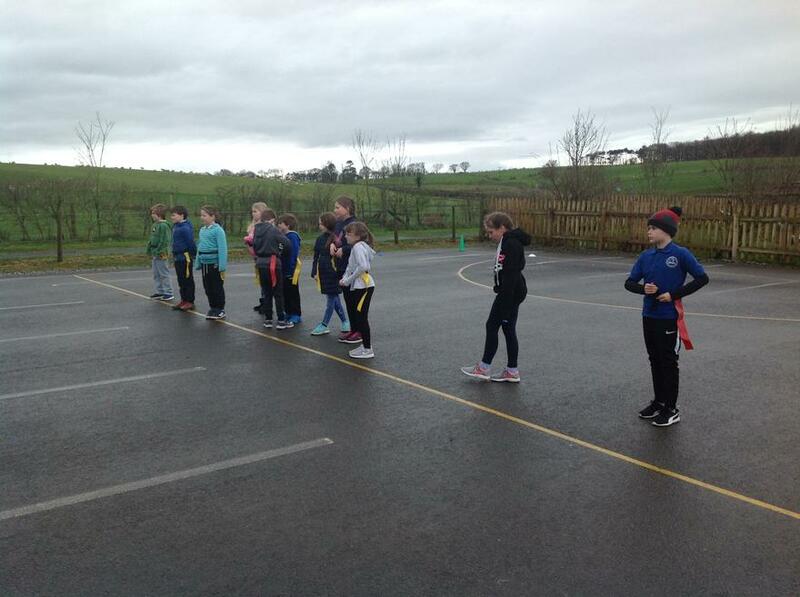 Every session we had the opportunity to have a 'minty moment' and reflect on our session at the end. 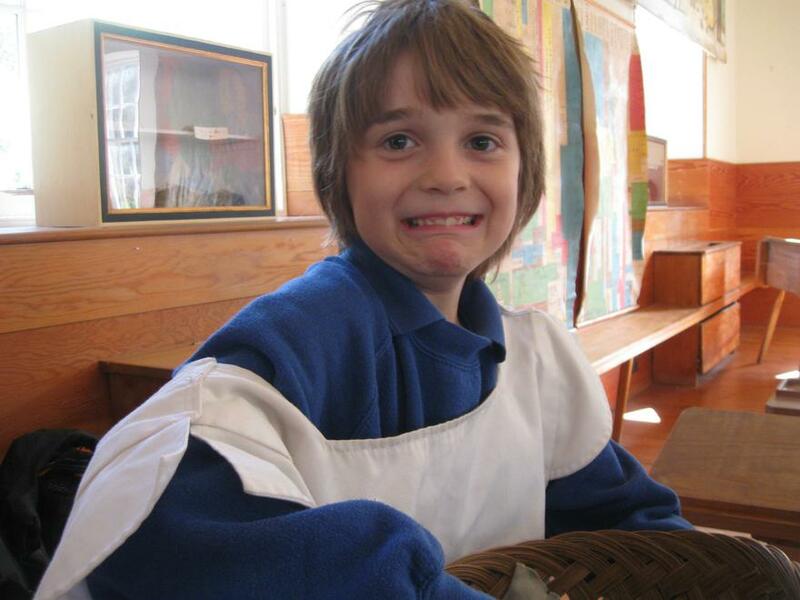 "I loved everything!" 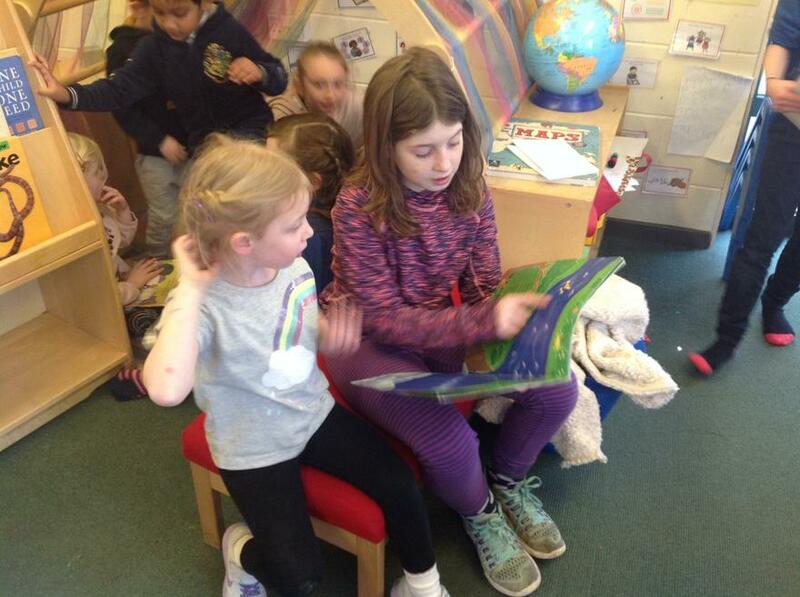 was the feedback from all of our class, which is absolutely wonderful to hear! 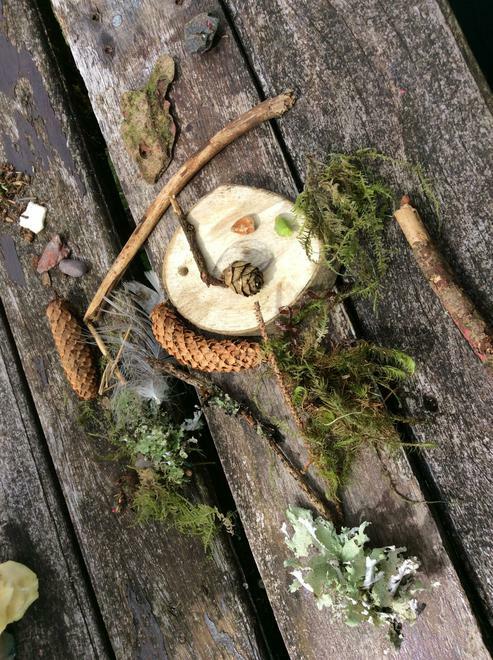 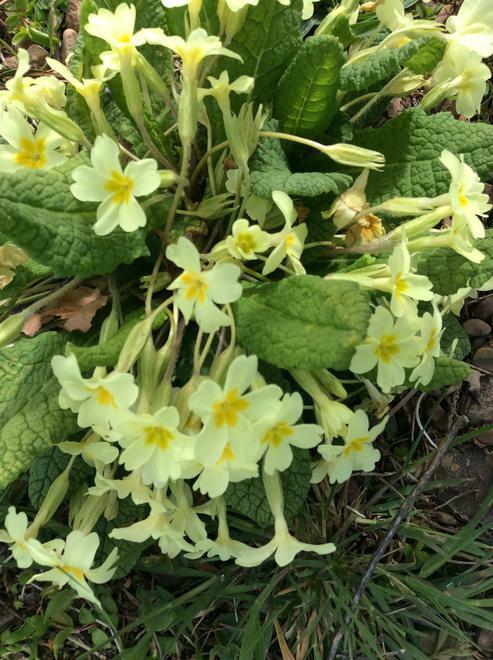 We've had a lovely time in our outdoor area, over the last week, using our senses to inspire poems about our 'home' and reflecting on how lucky we really are! 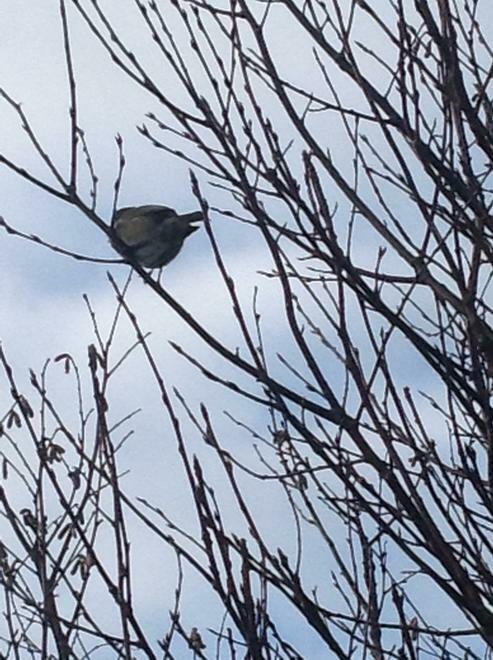 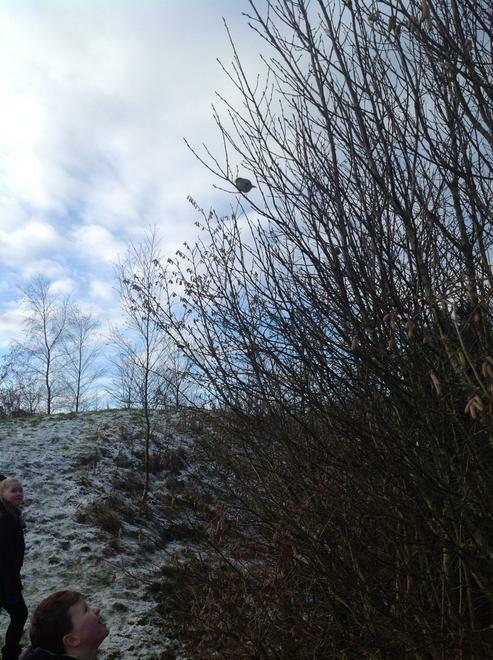 We were honoured to be greeted with a little robin, warbling in the tree, as we stepped outside. 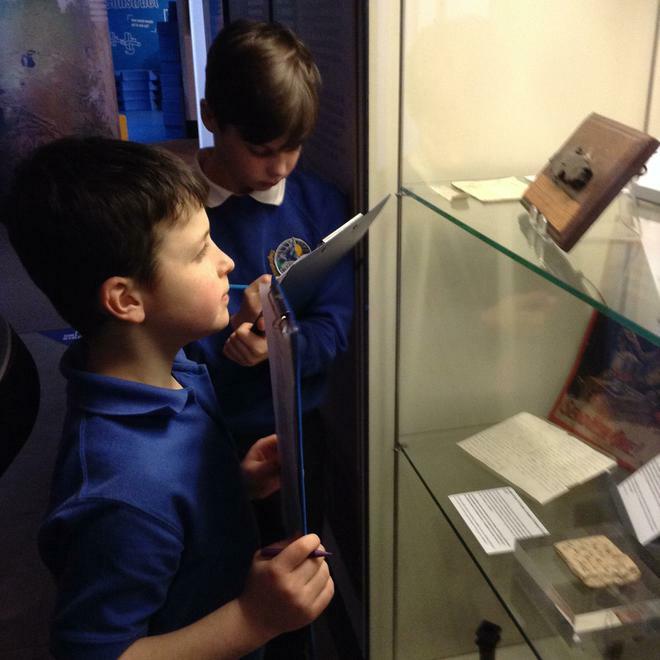 The children have produced some stunning first drafts with incredible description. 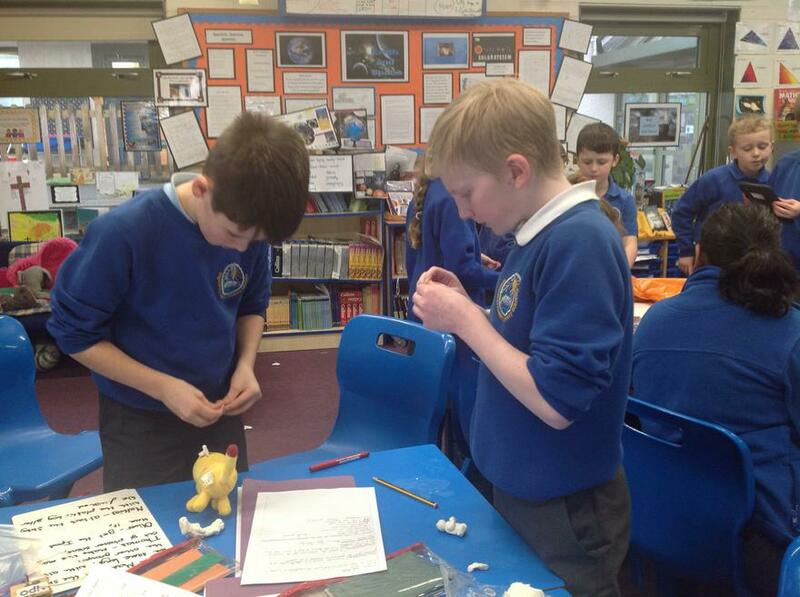 We will be working hard to edit and enhance our work and hope to share our polished poems soon. 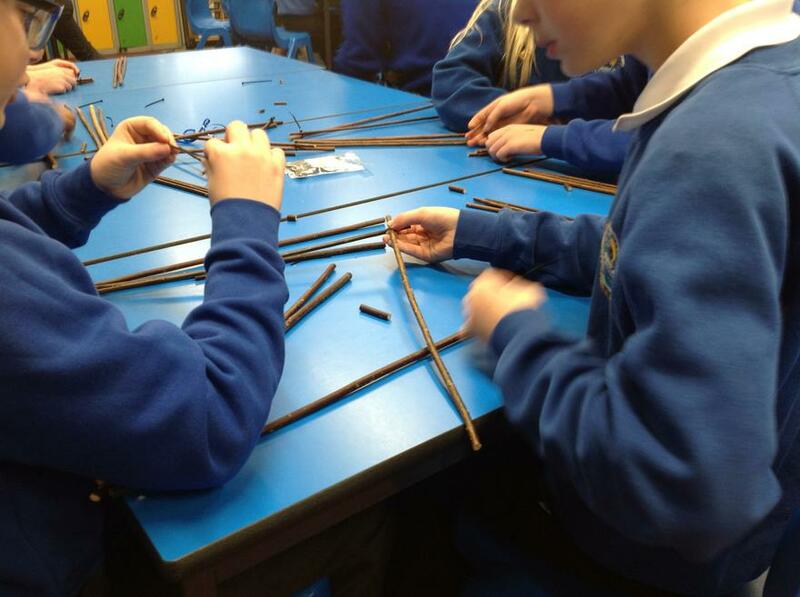 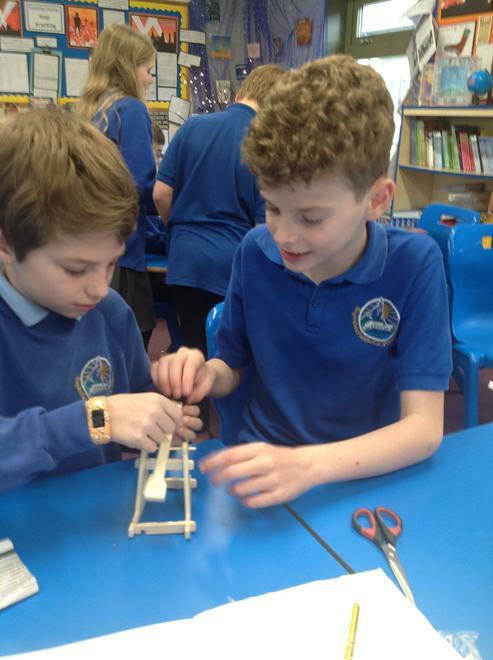 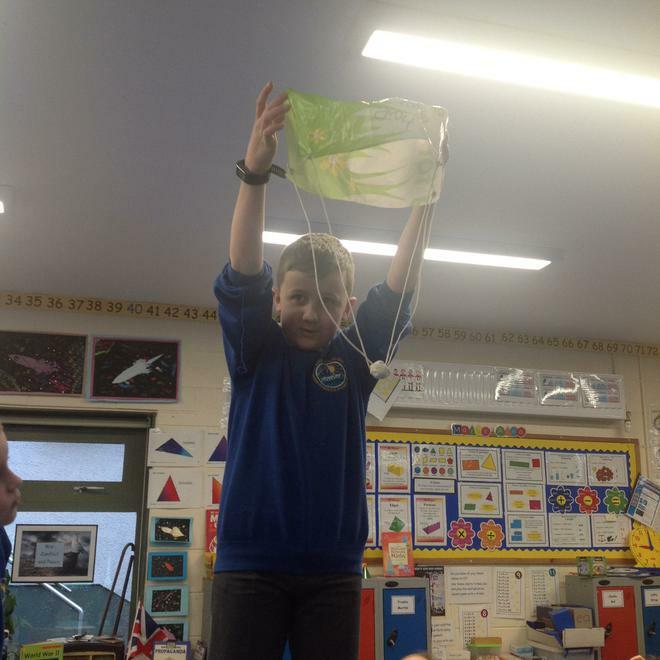 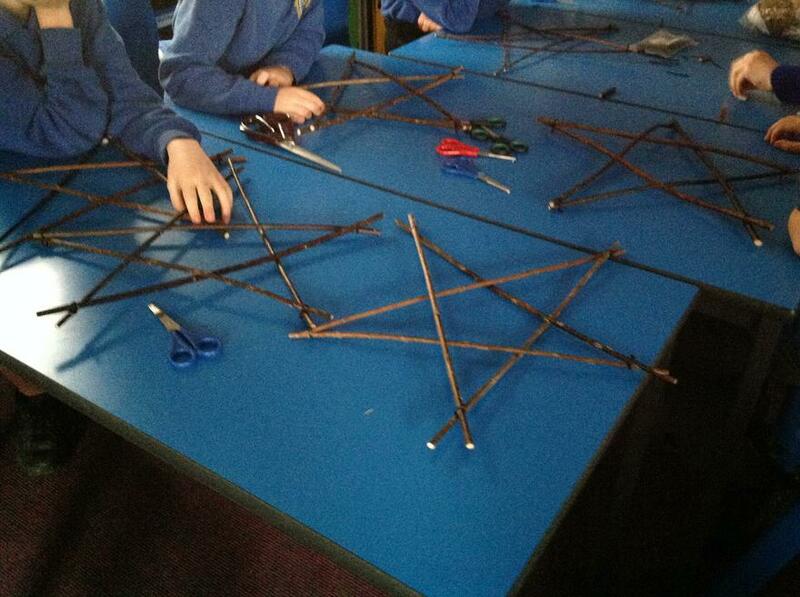 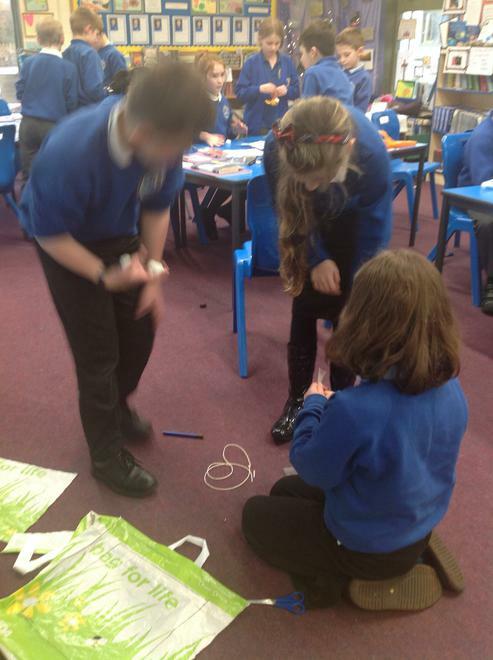 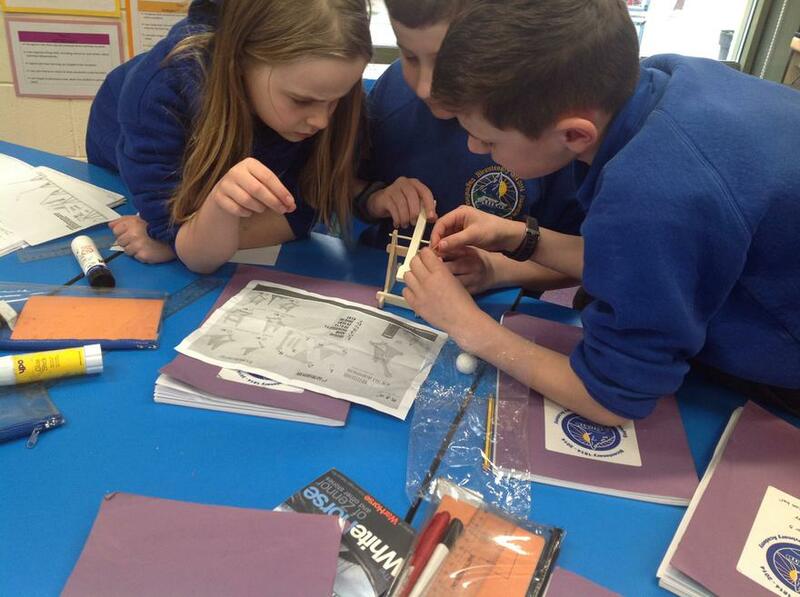 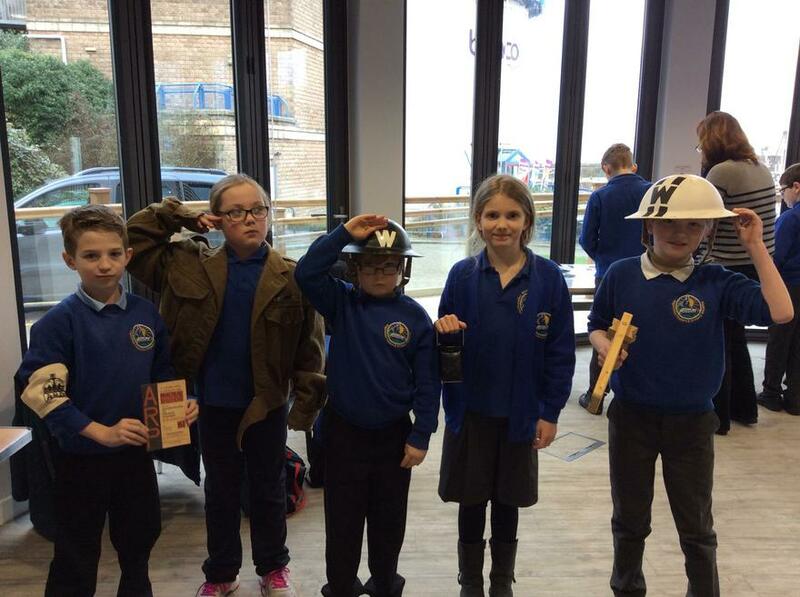 The year 5 children had a fantastic time in Design and Technology researching, designing and building bridges. 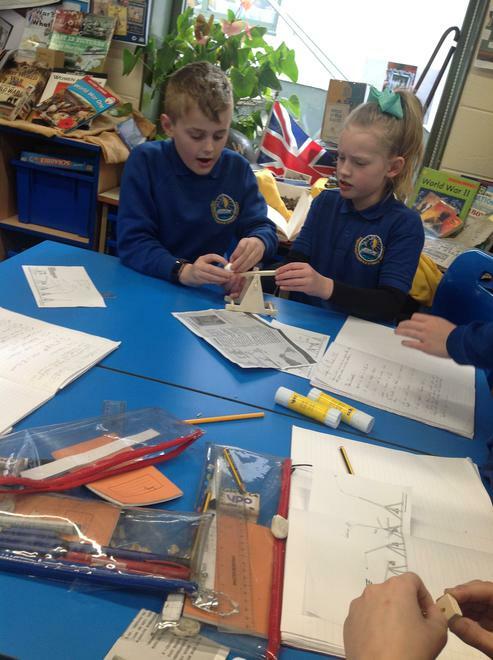 We spent time looking at different types of bridges, their uses and finding out about some of the world's most famous bridges. 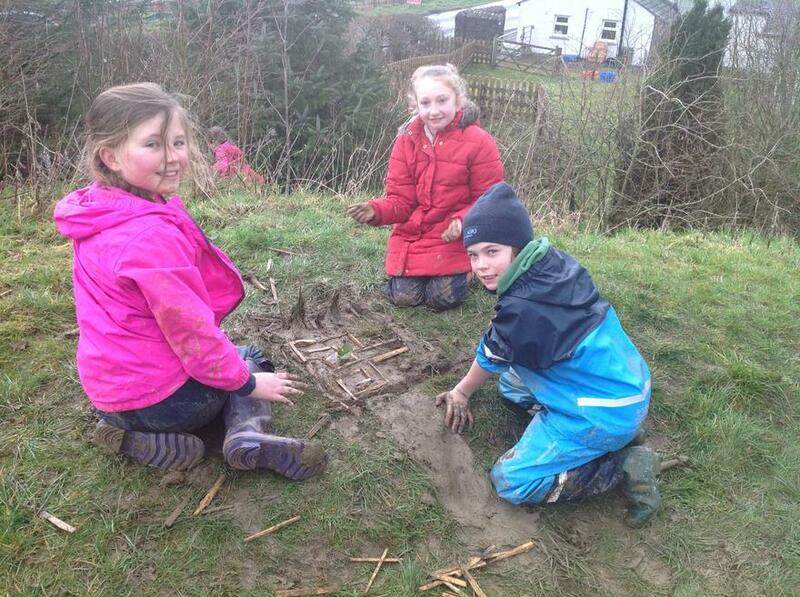 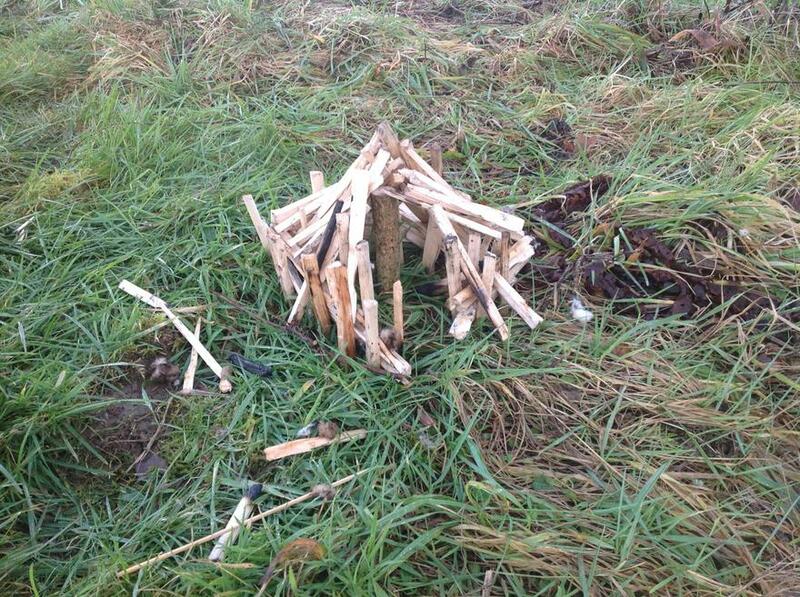 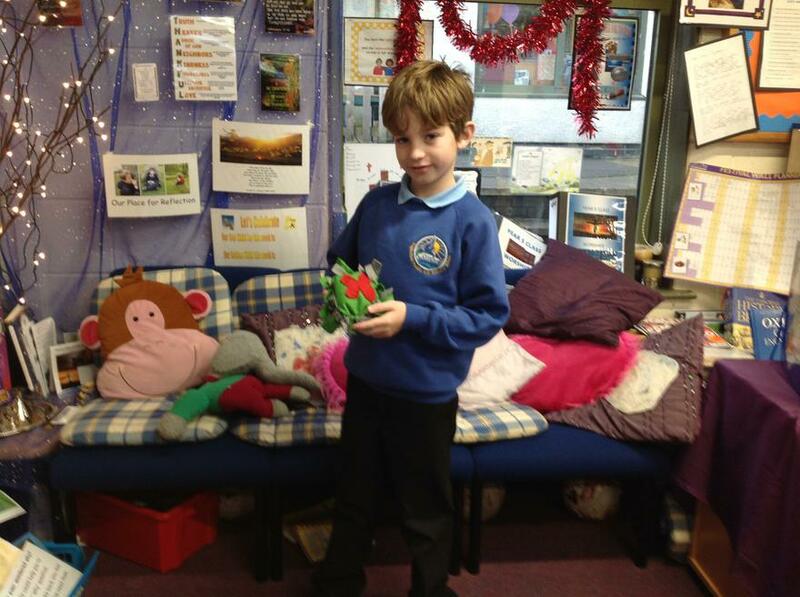 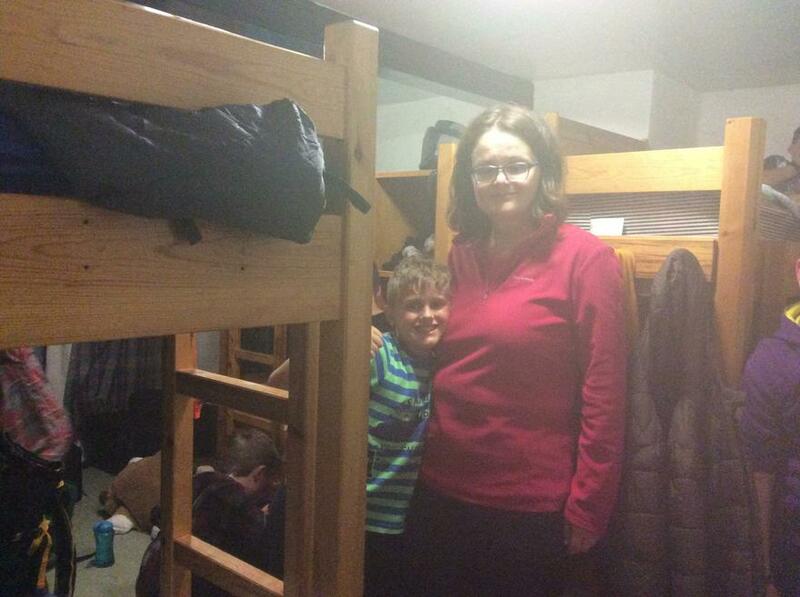 Thank you to all families who sent in materials and helped with building at home.  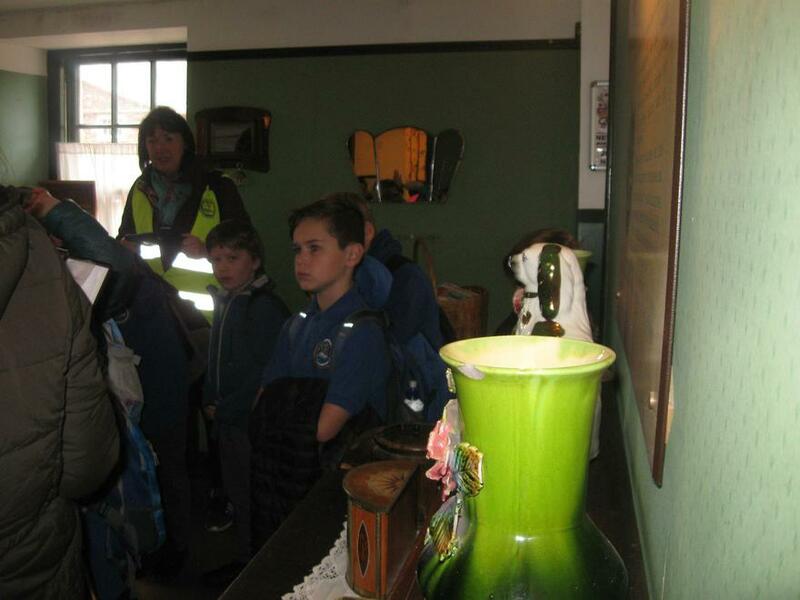 This term our topic is titled: Time Travel. 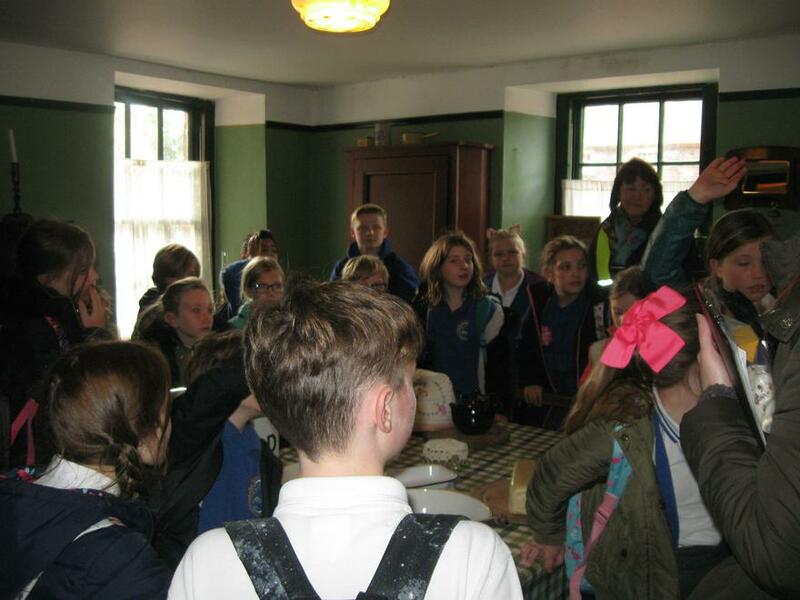 We will be learning about Queen Victoria, the Industrial Revolution and what life was like for children living during this period in history. 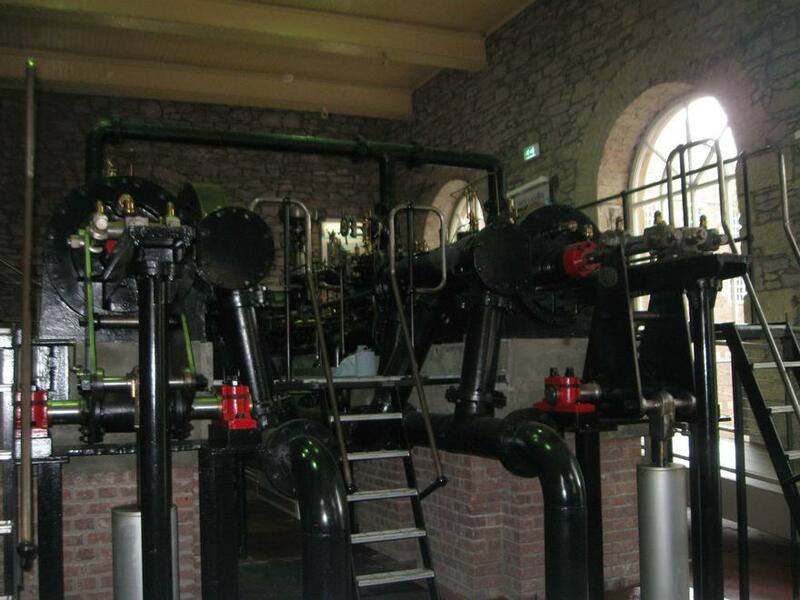 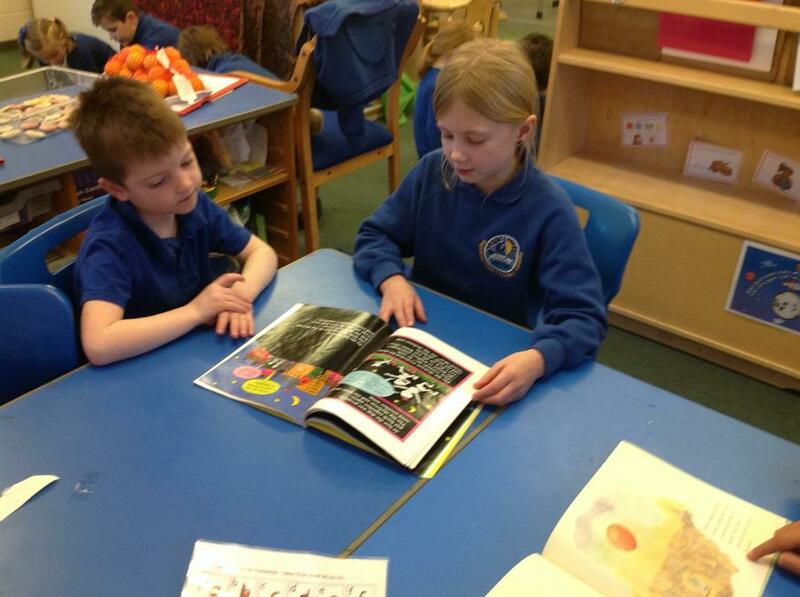 We will also be studying the work of William Morris and why we remember Isambard Kingdom Brunel. 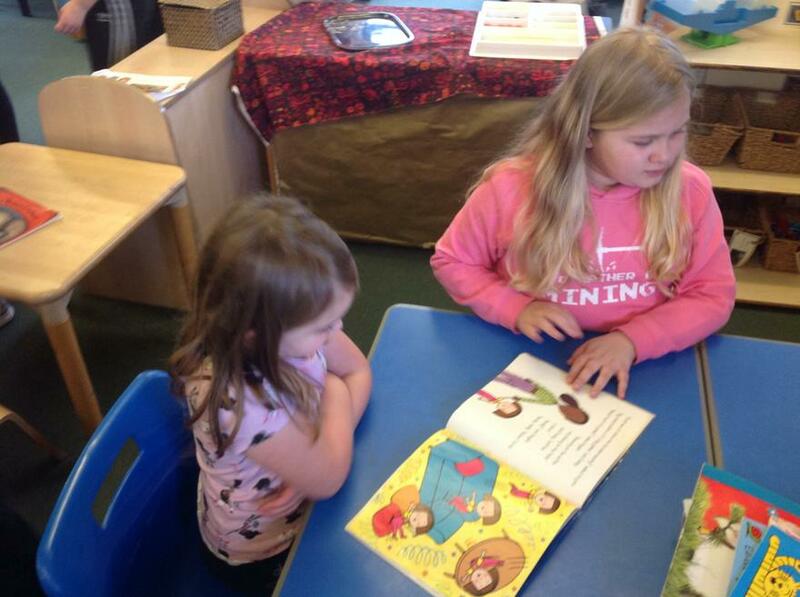 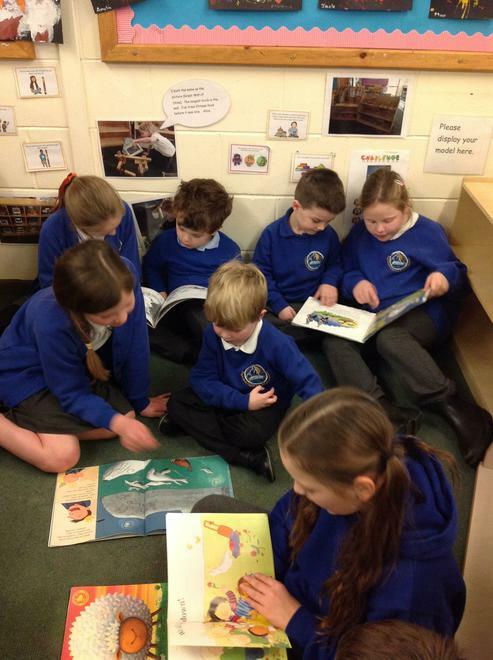 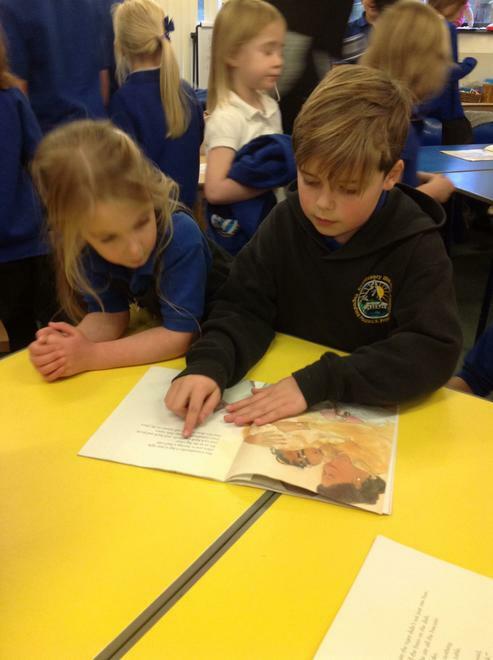 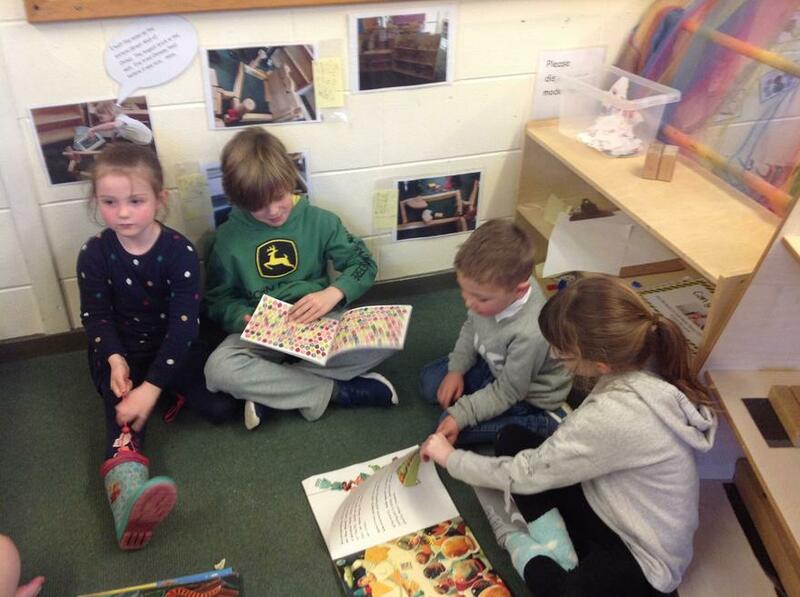 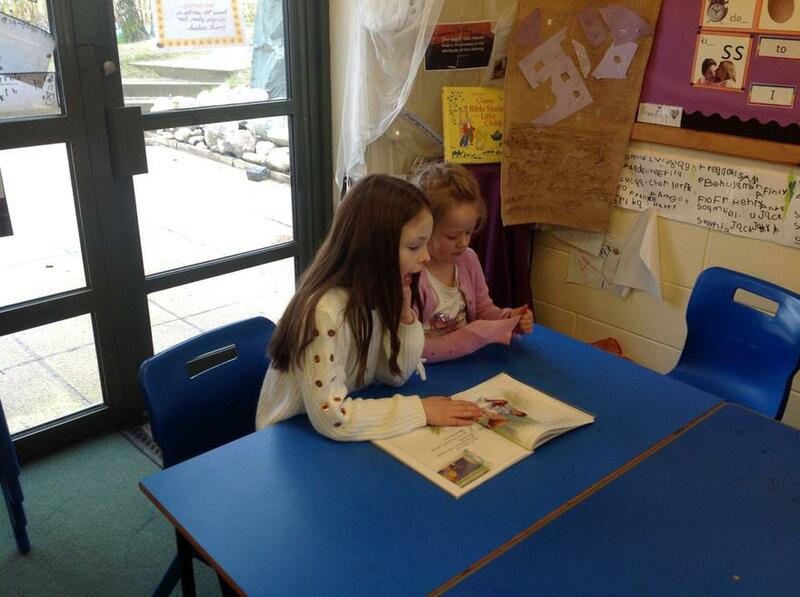 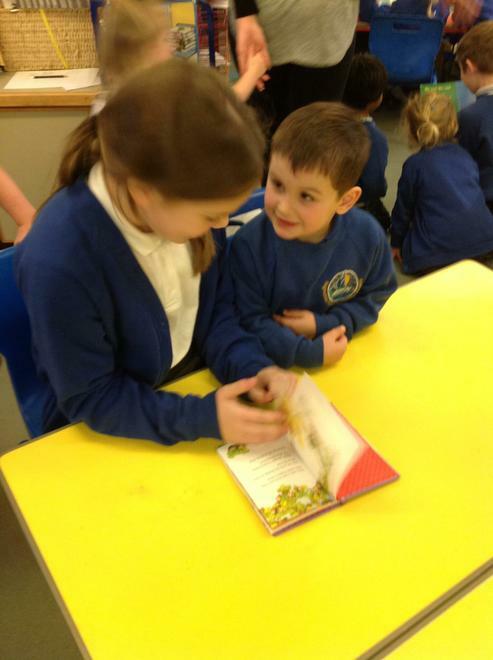 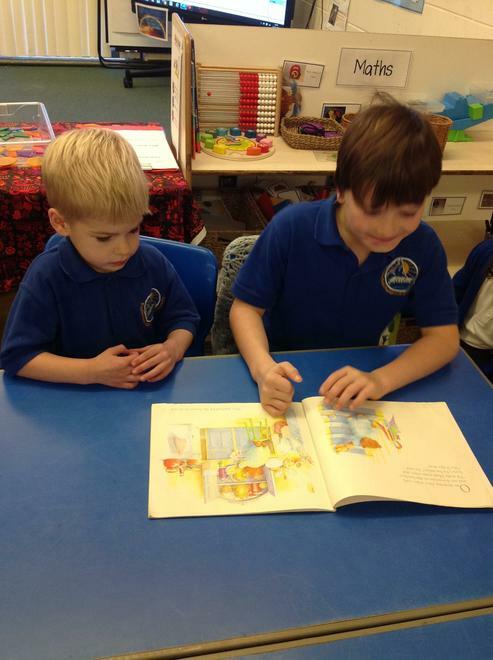 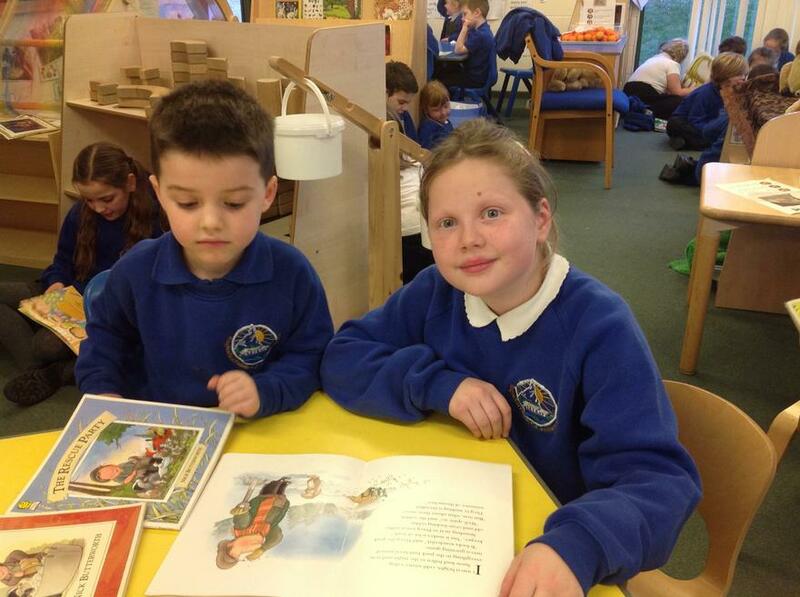 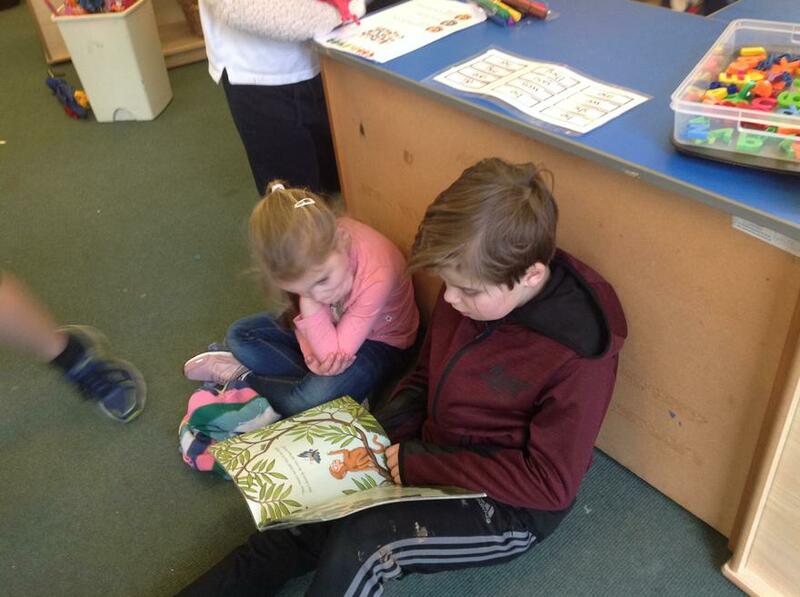 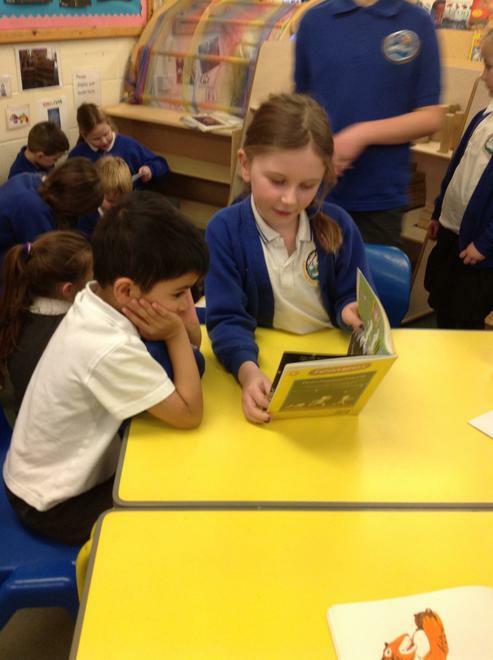 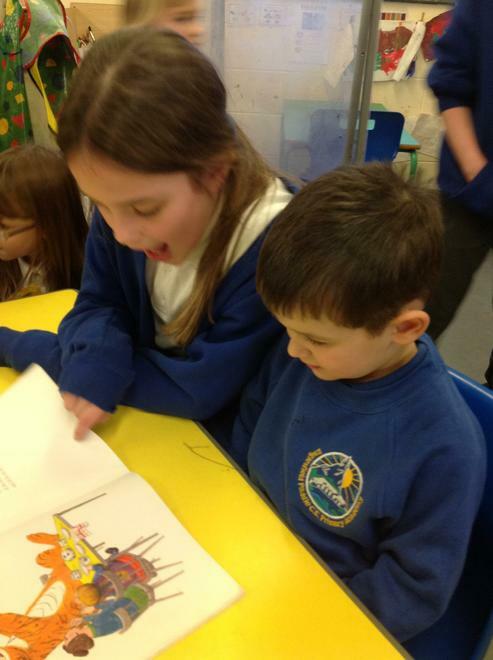 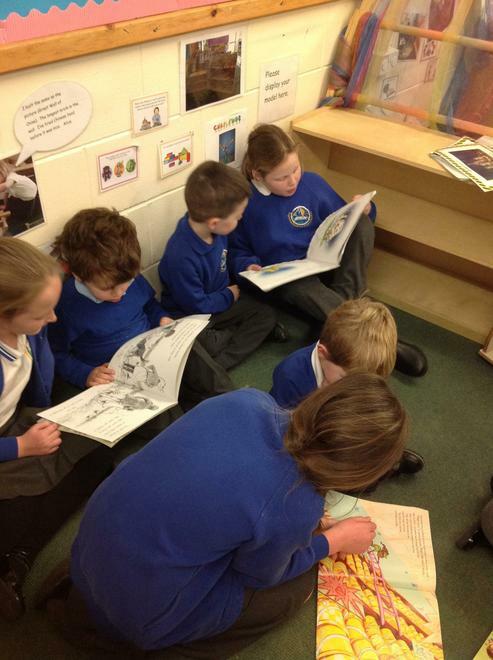 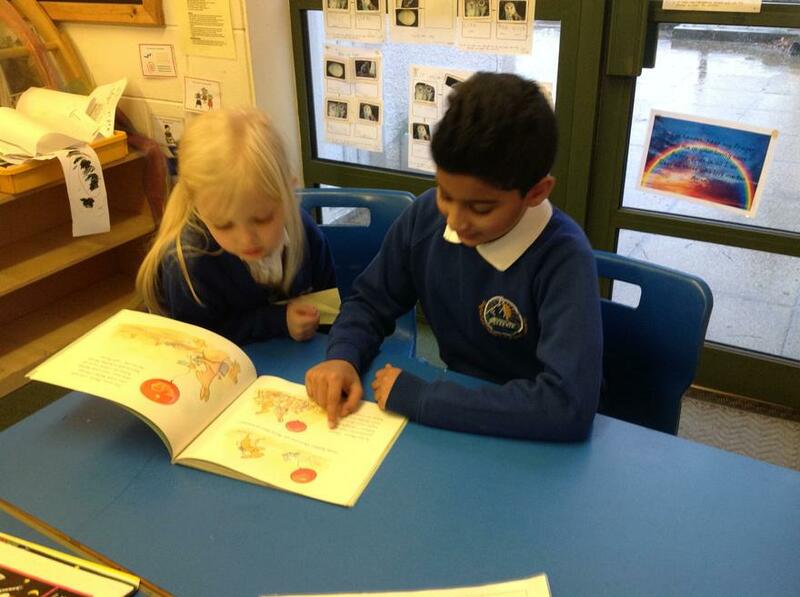 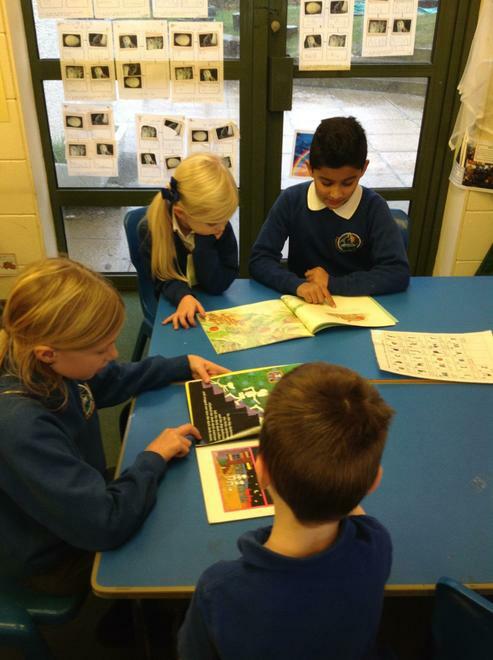 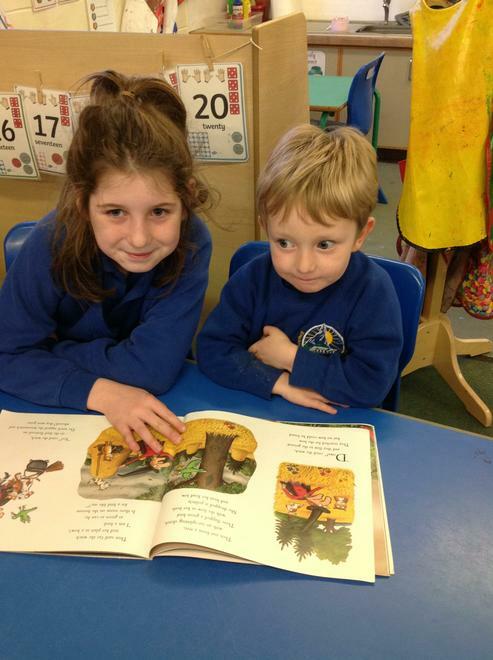 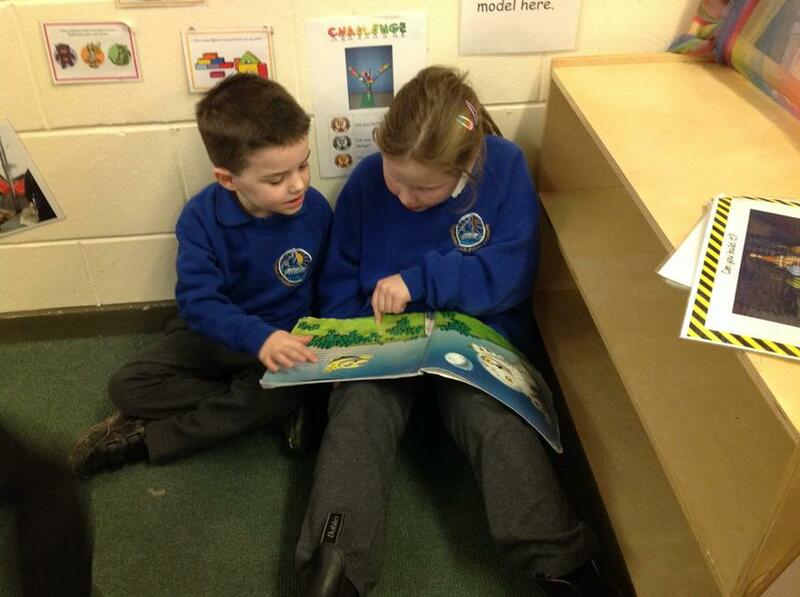 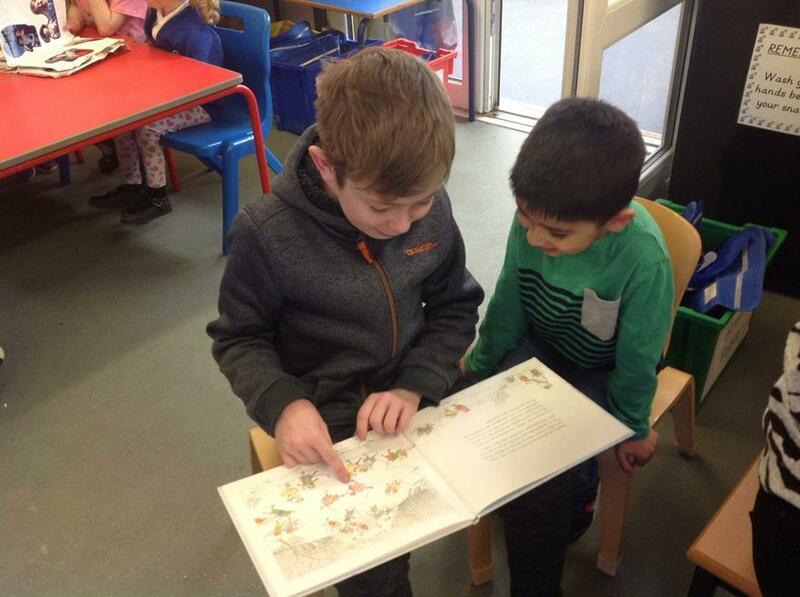 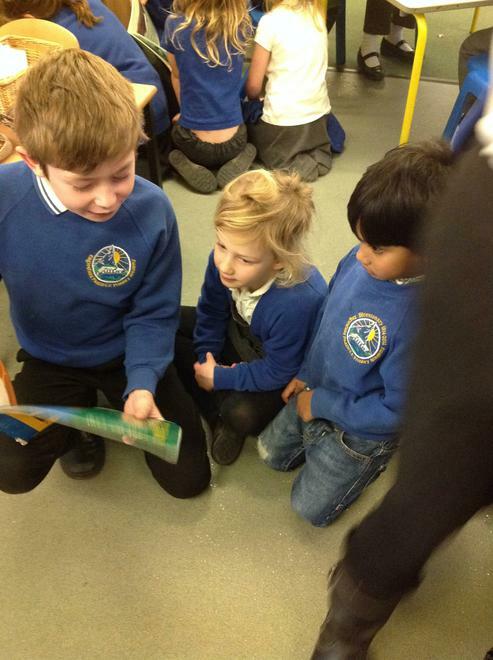 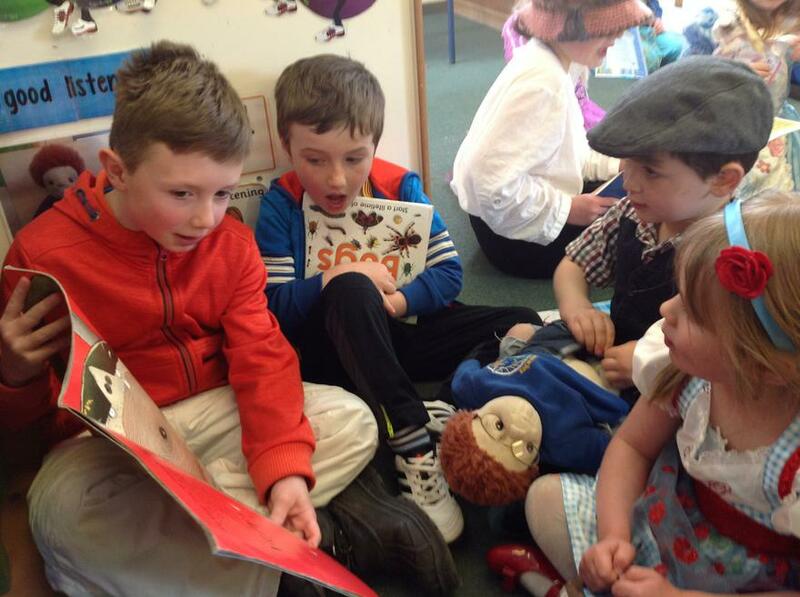 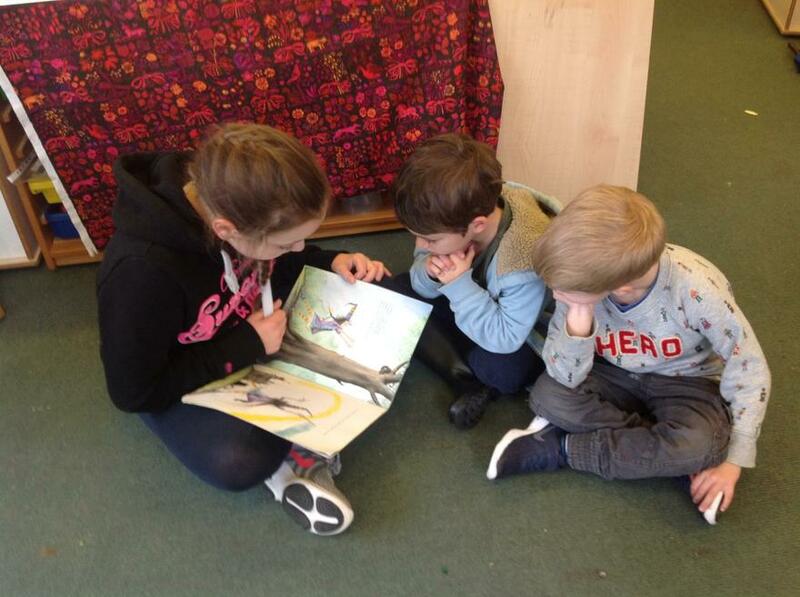 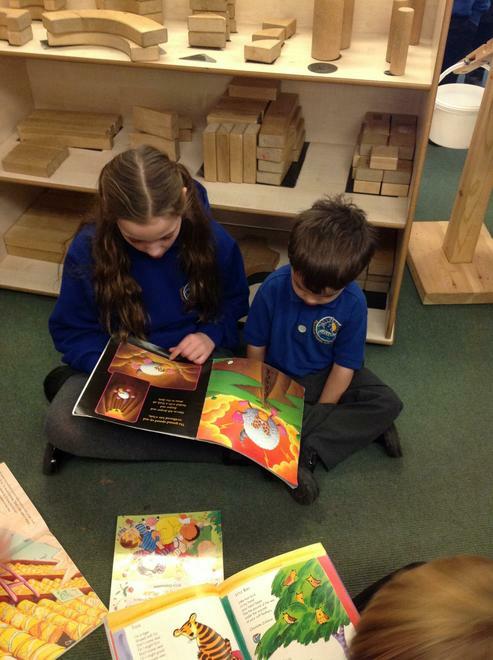 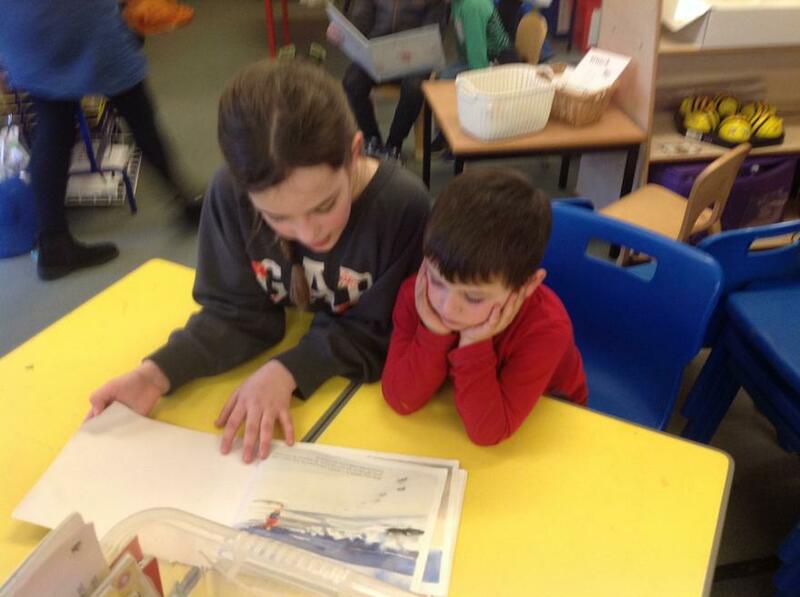 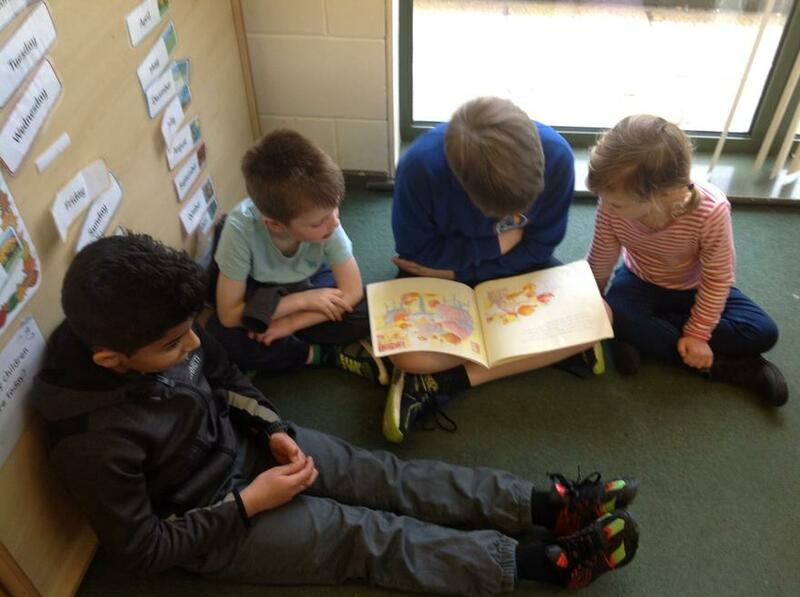 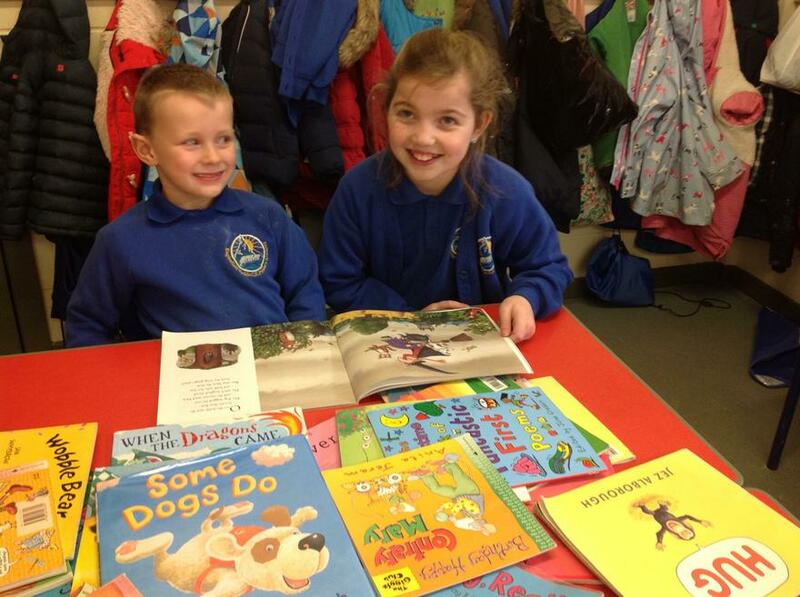 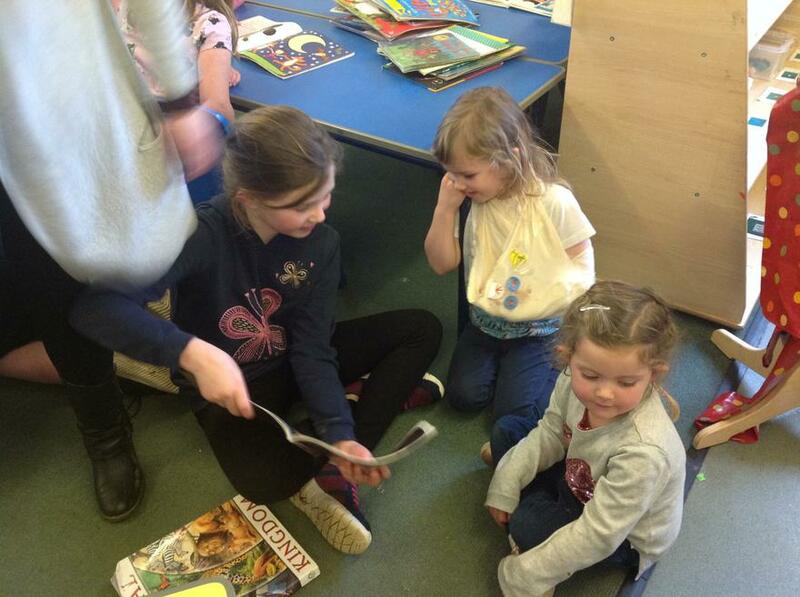 The Year 5 children had a wonderful time when they were given the opportunity to read and share books with the Nursery and Reception children. 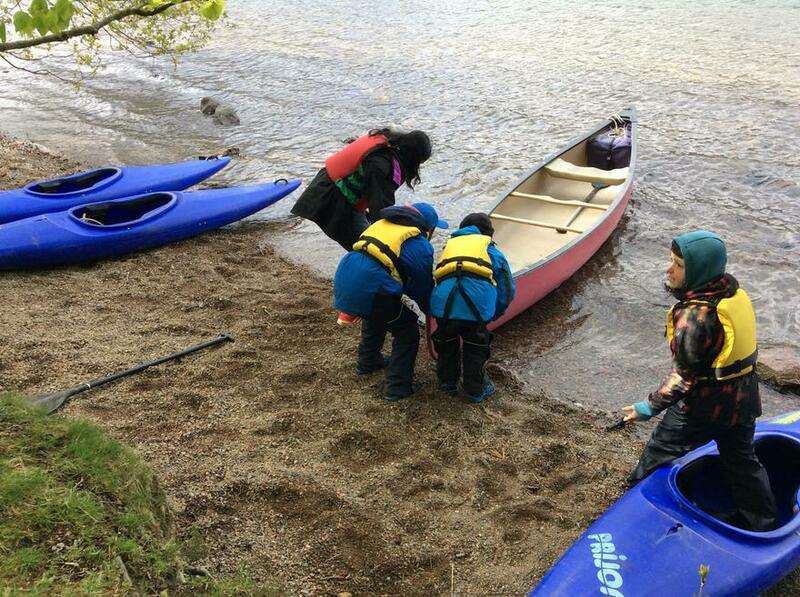 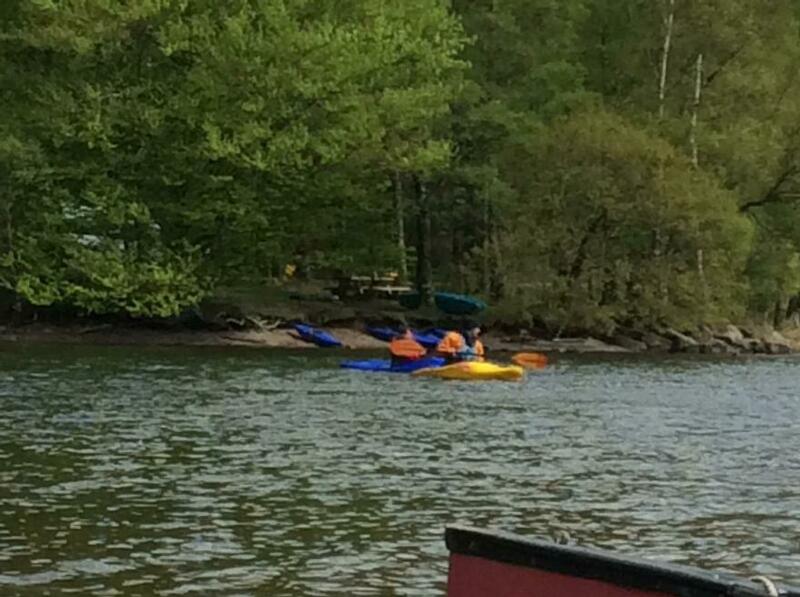 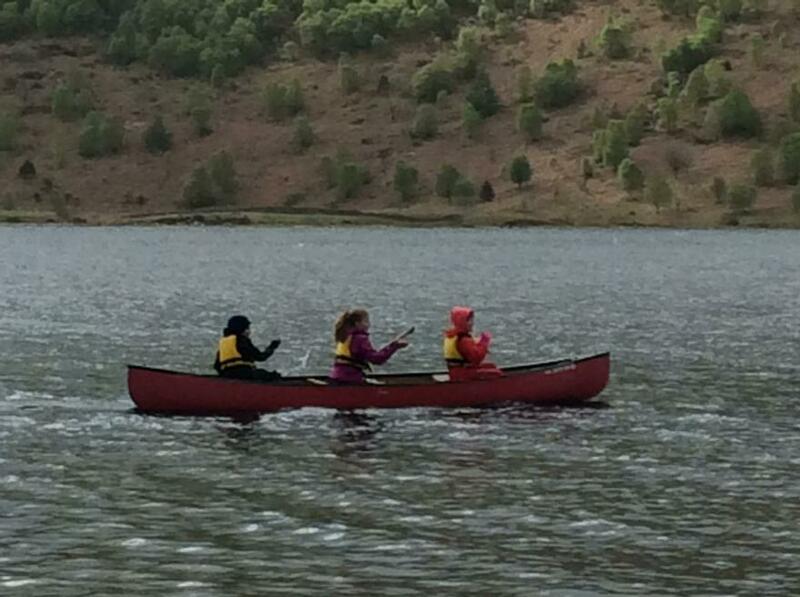 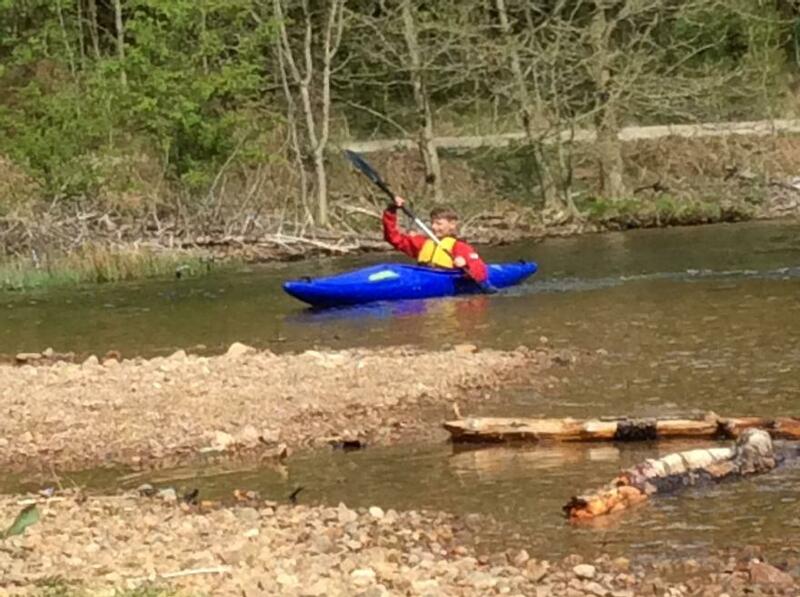 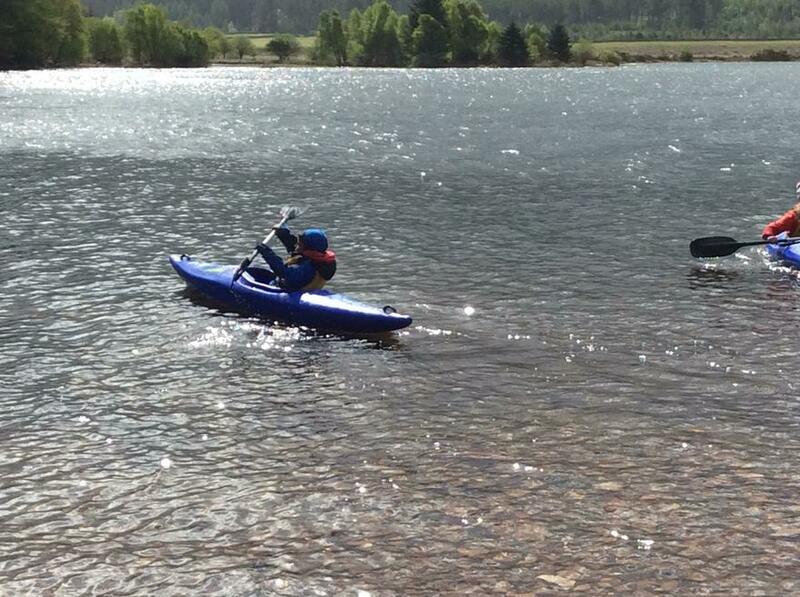 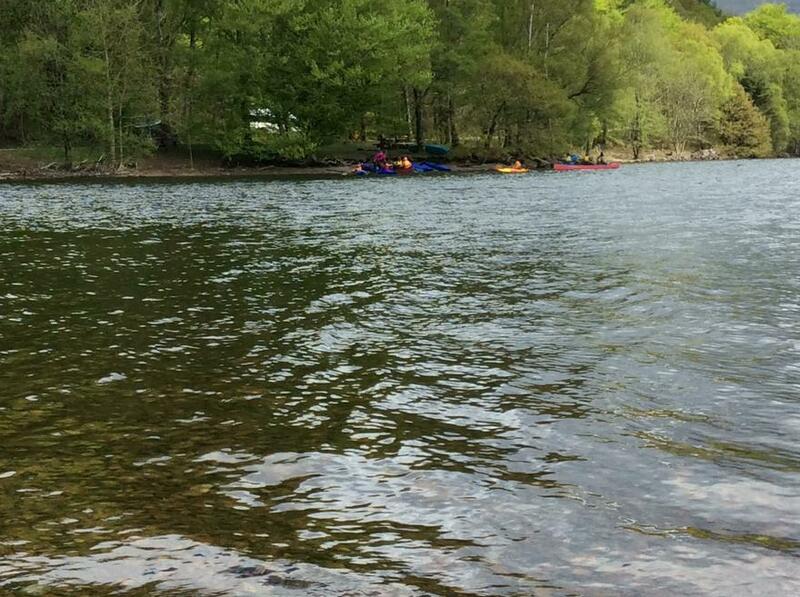 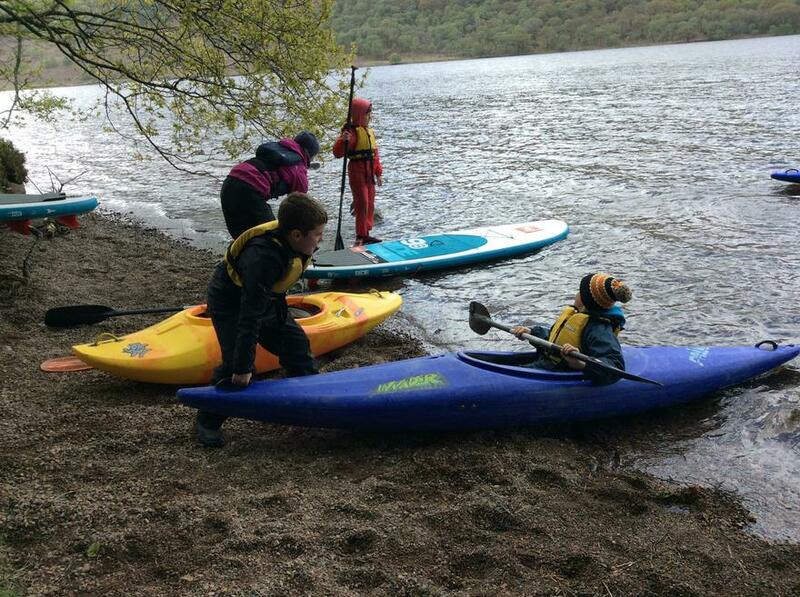 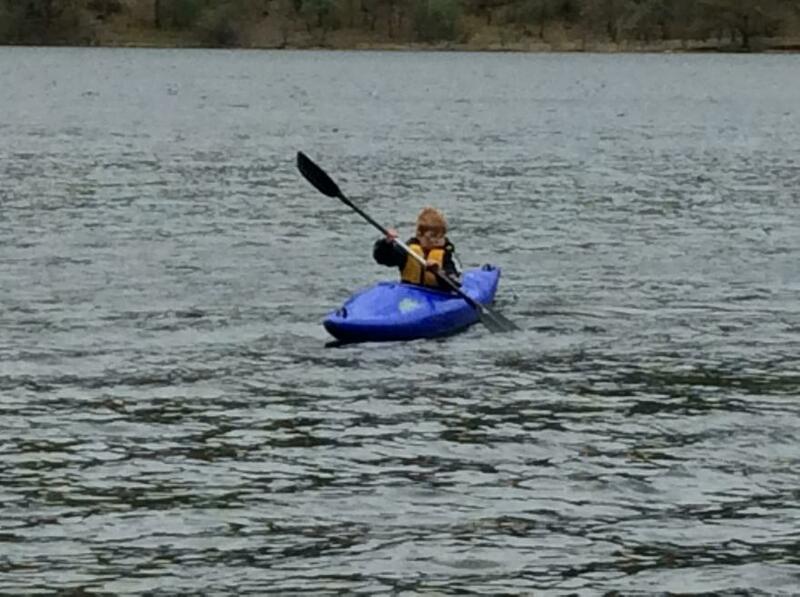 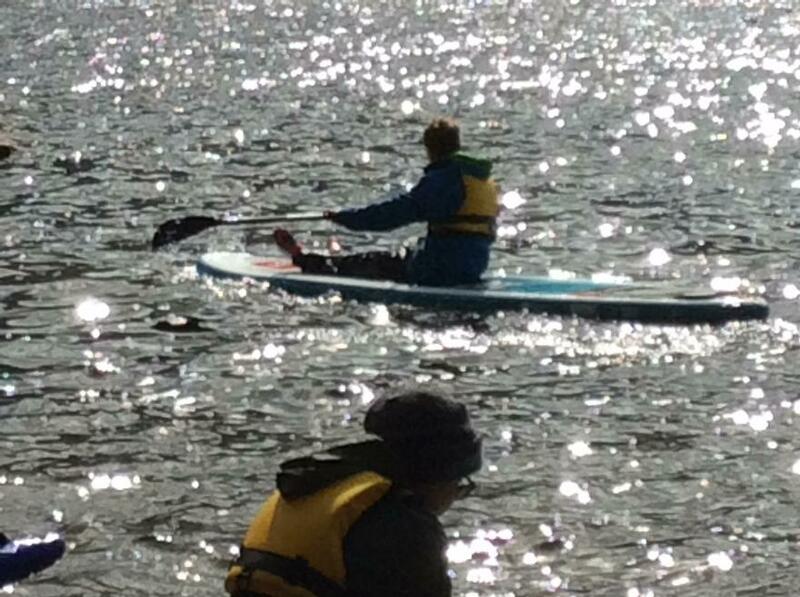 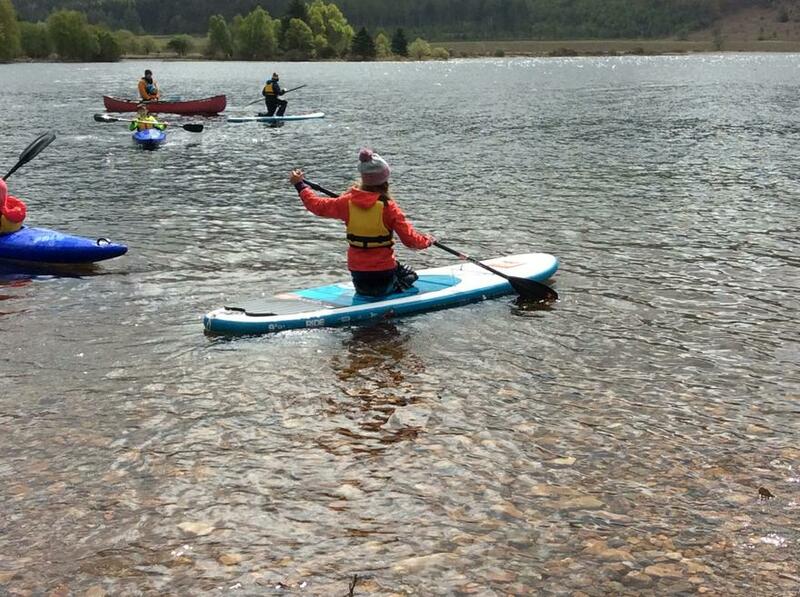 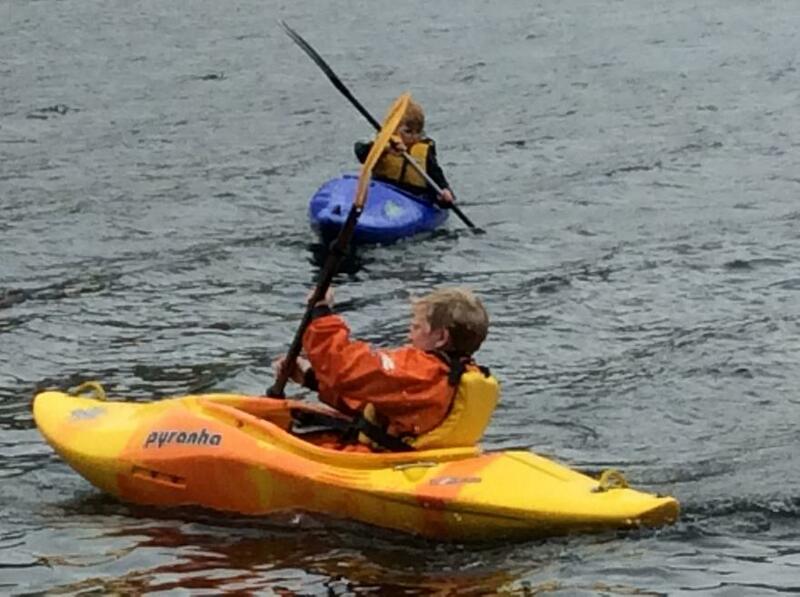 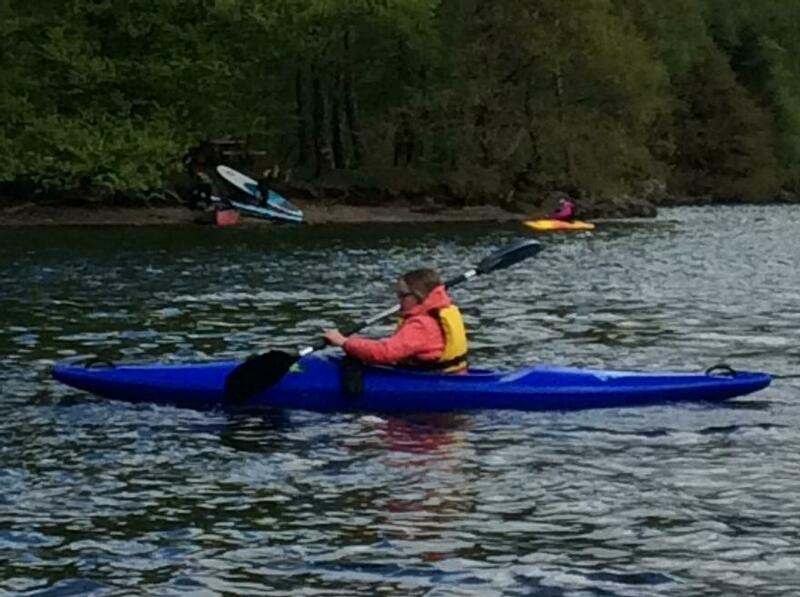 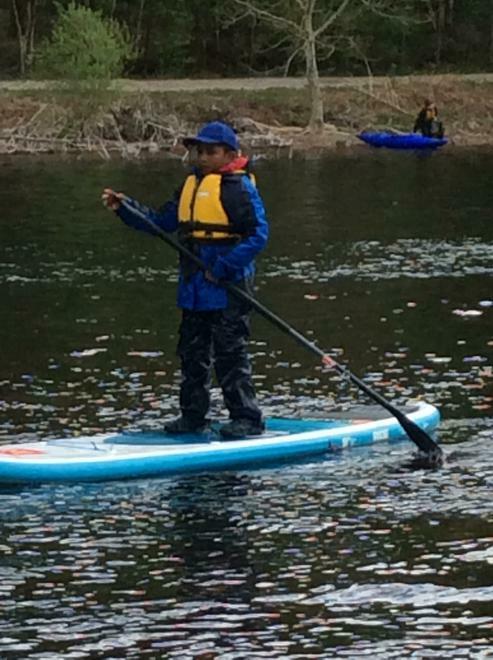 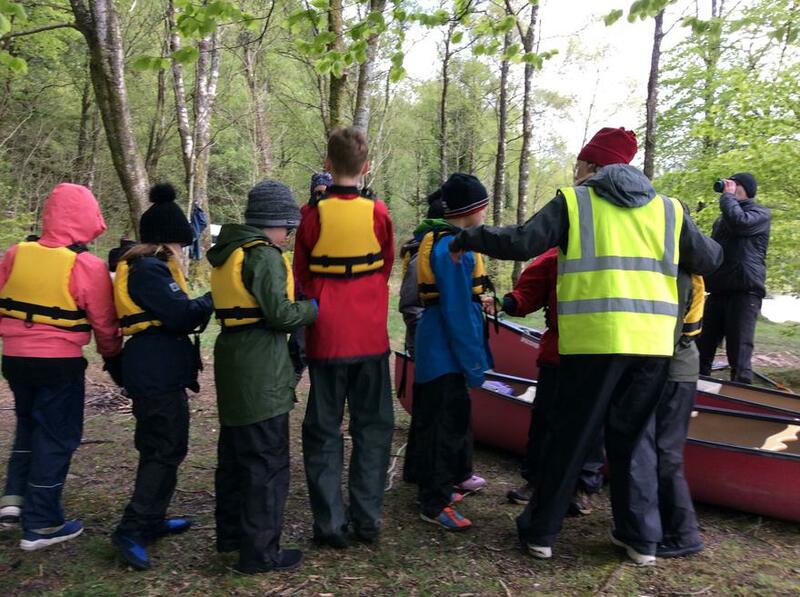 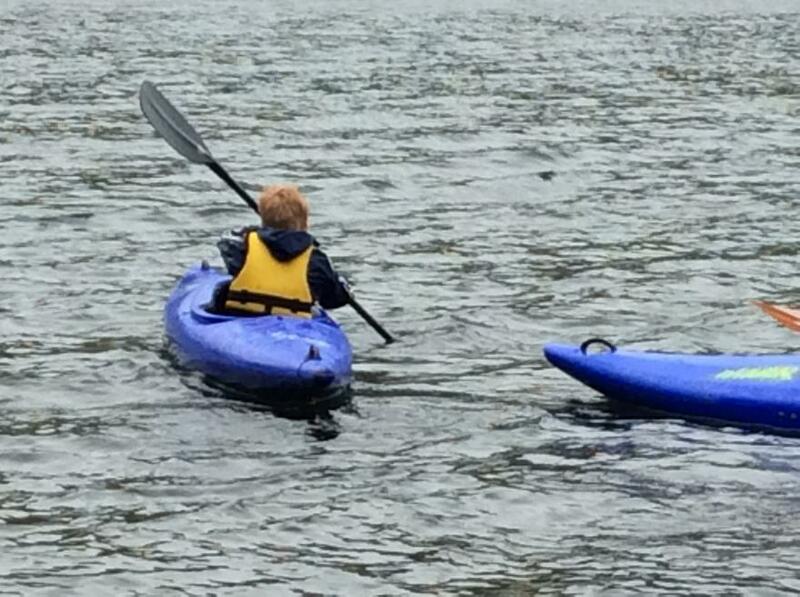 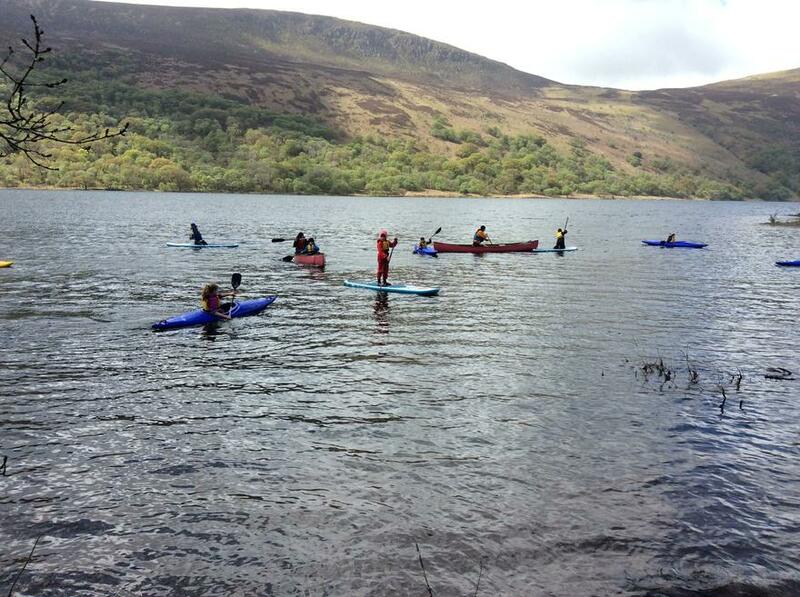 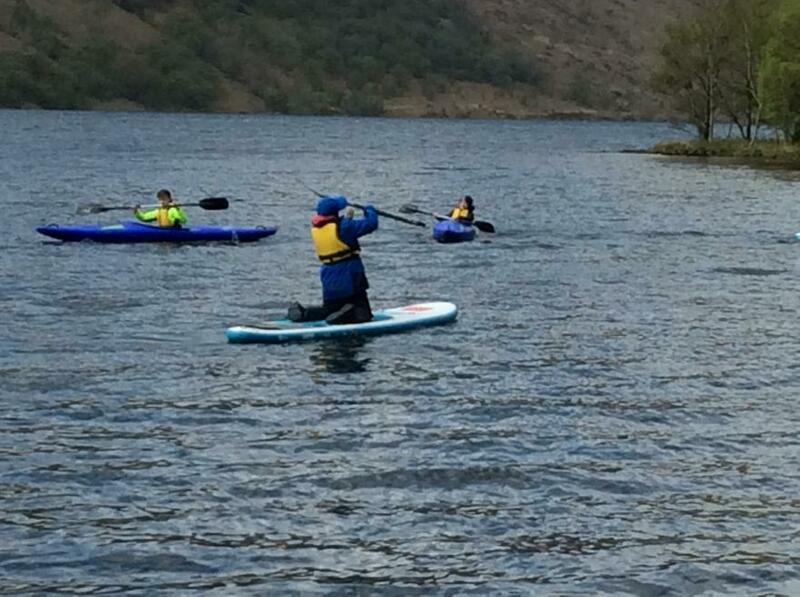 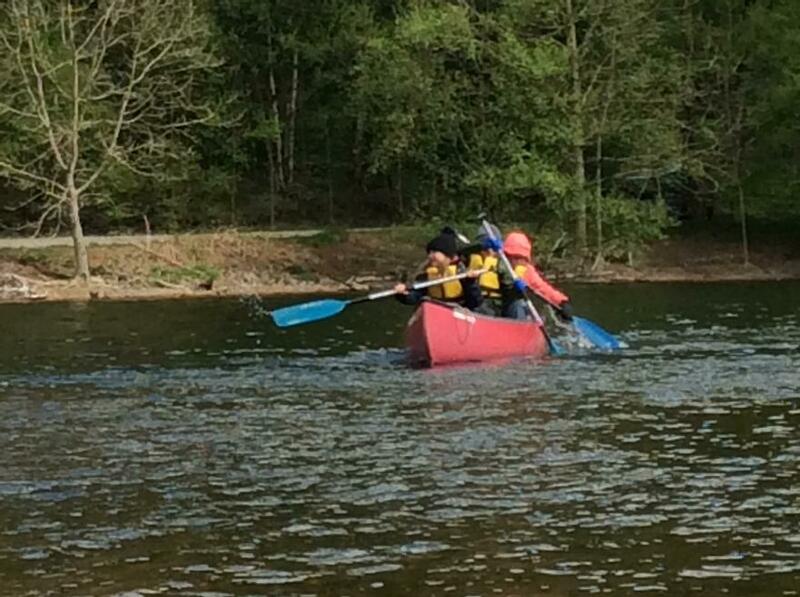 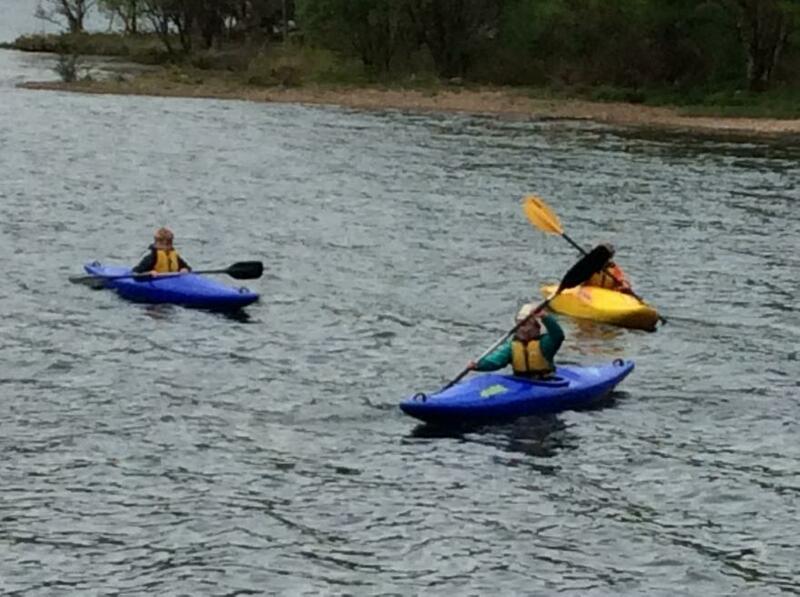 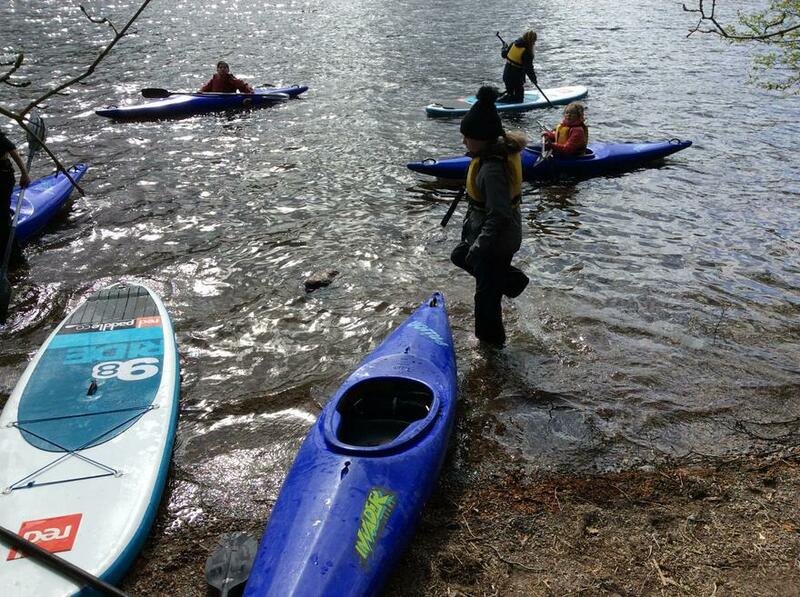 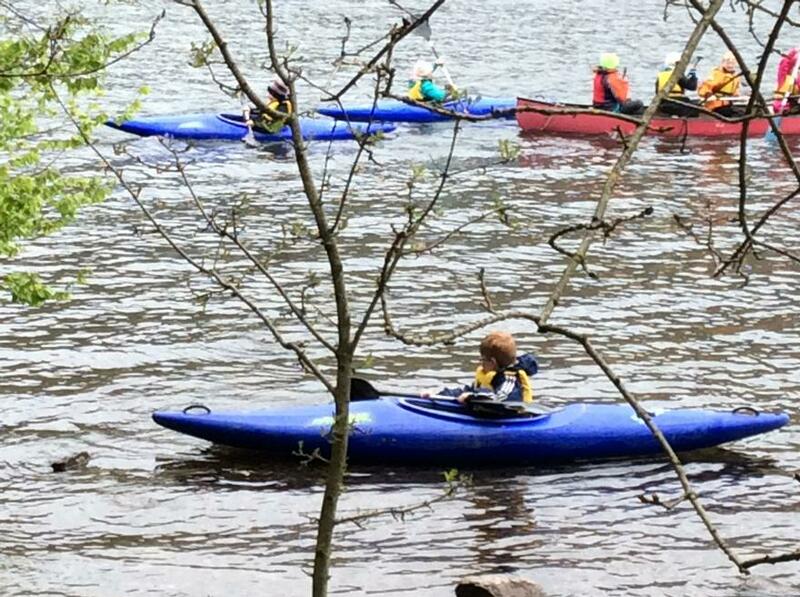 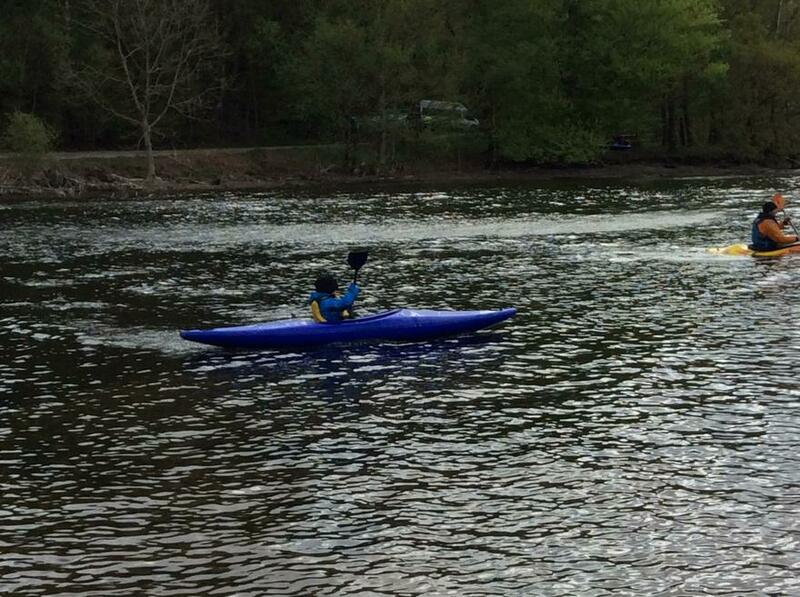 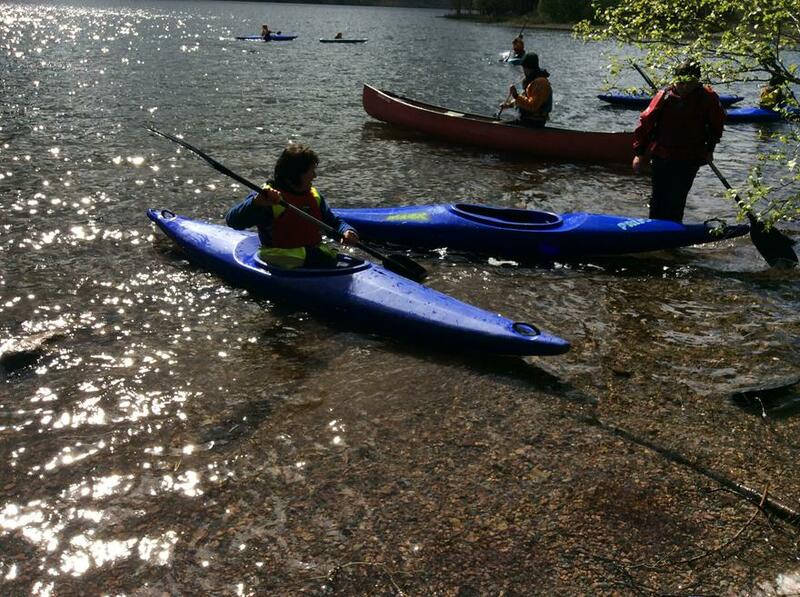 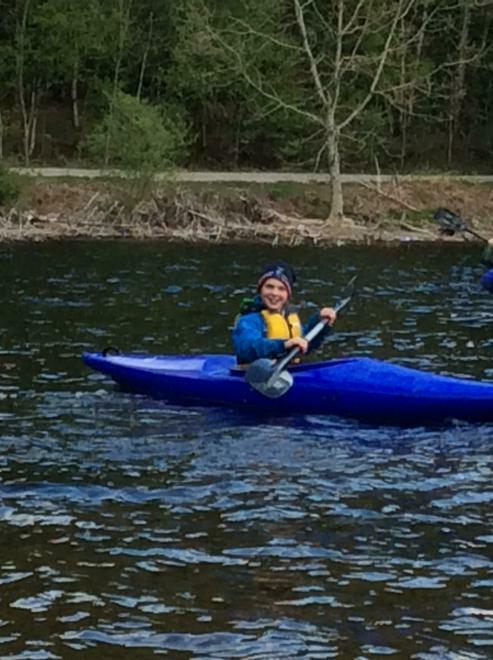 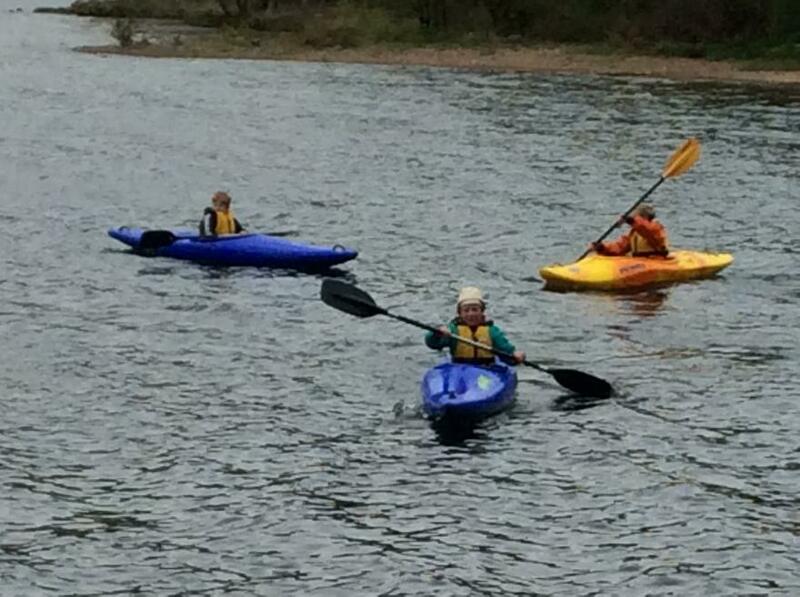 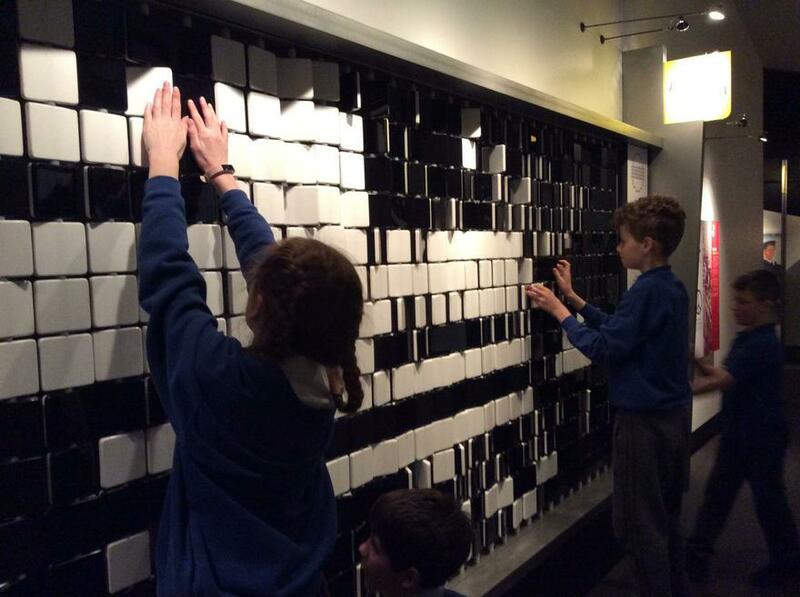 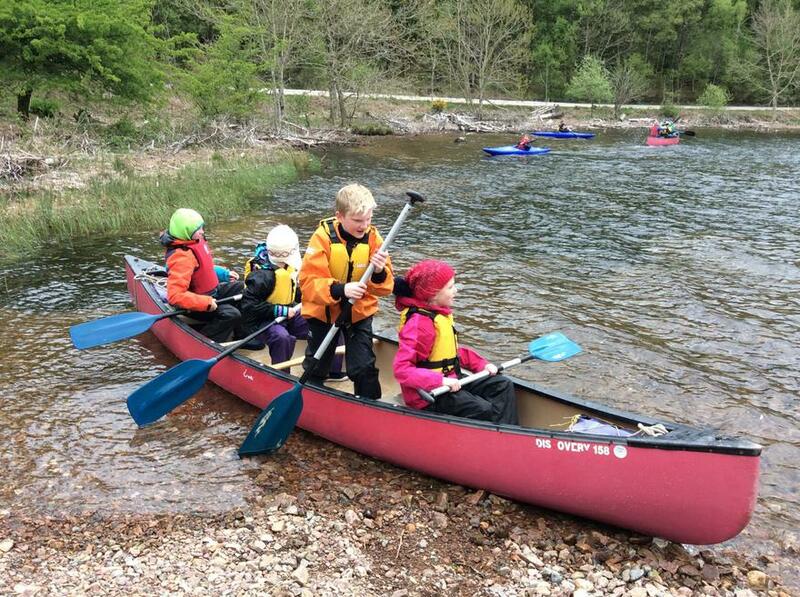 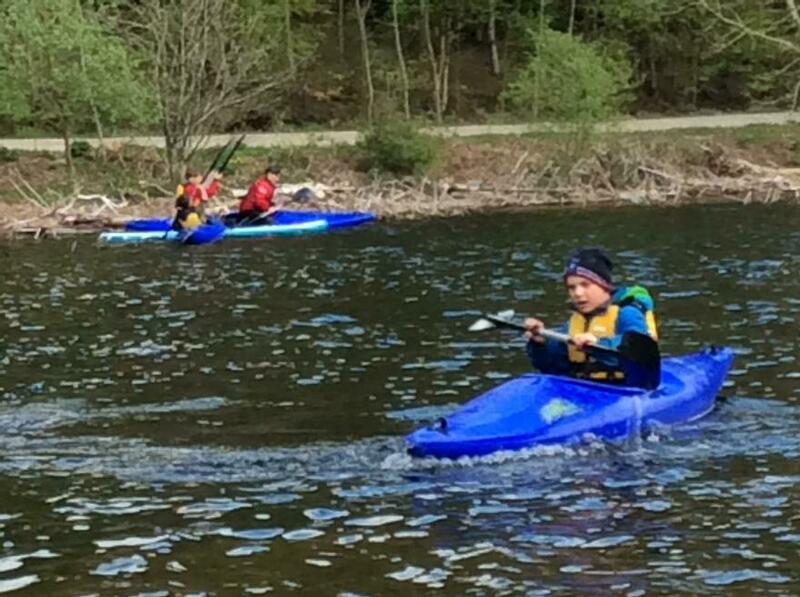 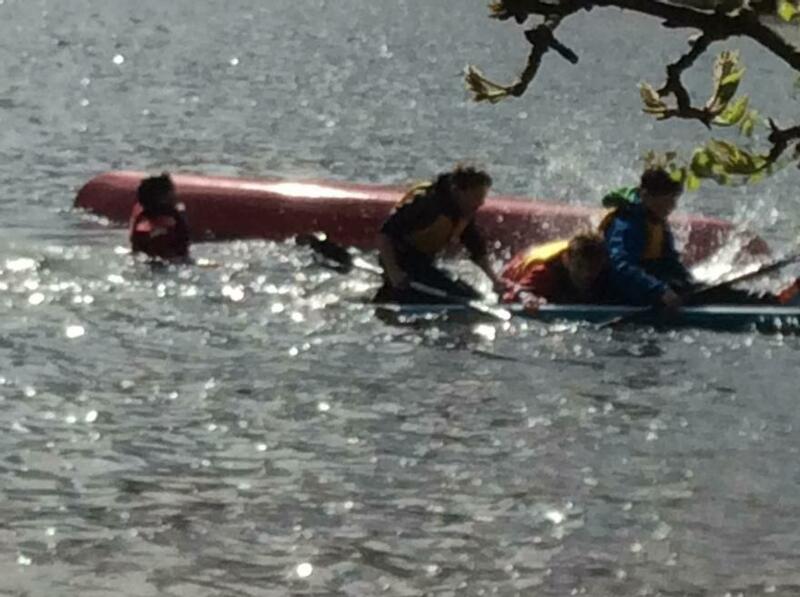 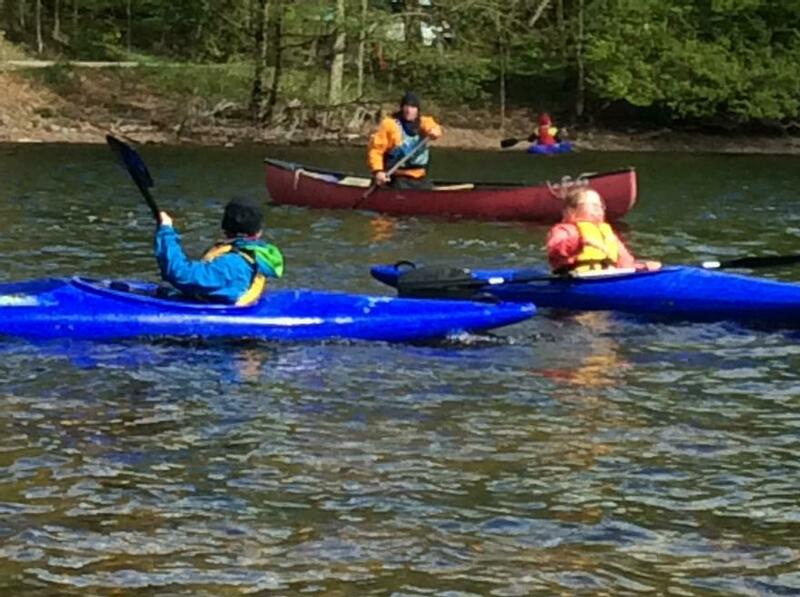 It was lovely to see our Paddle family working together. 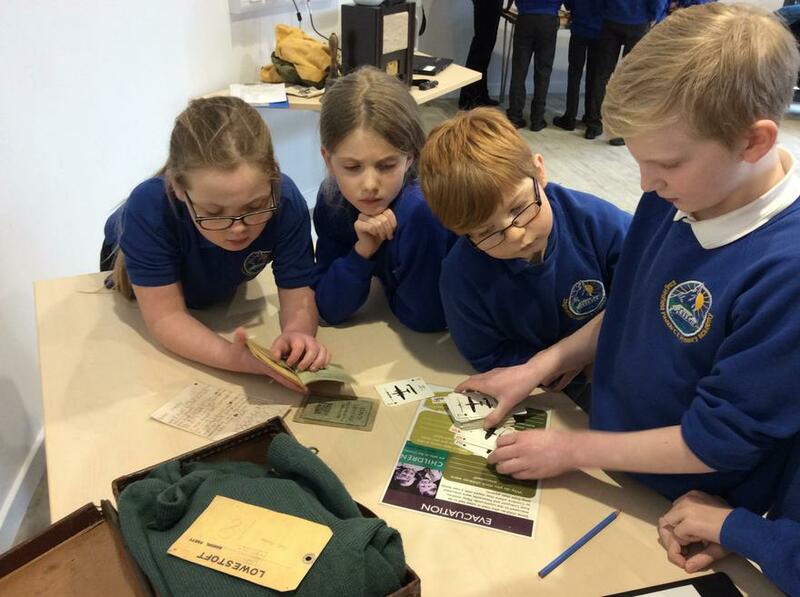 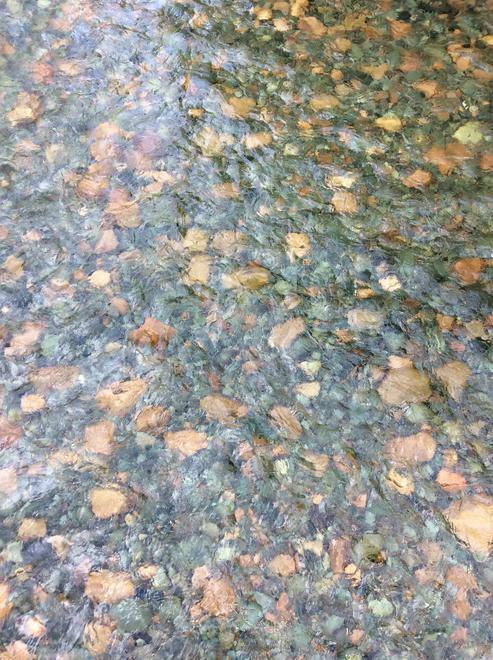 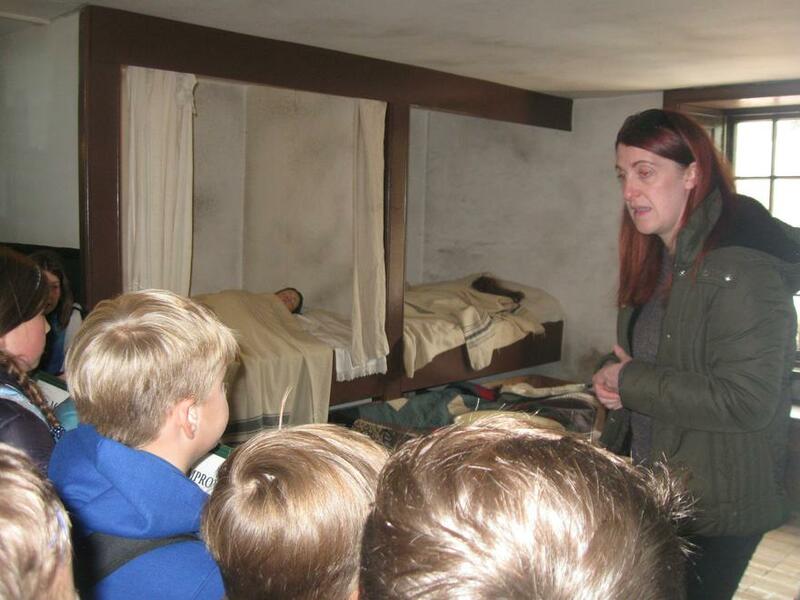 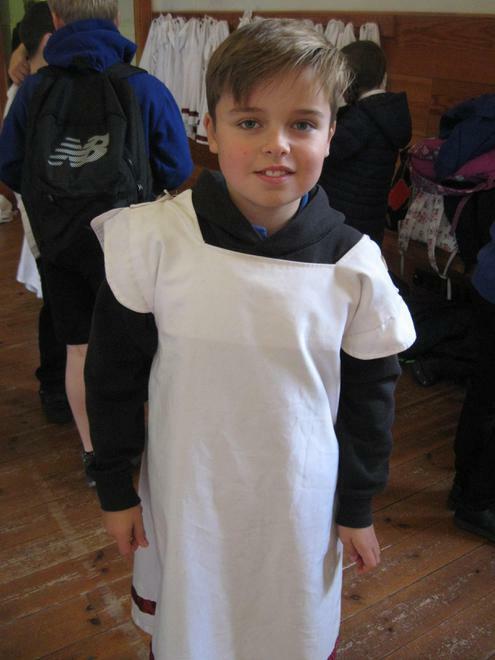 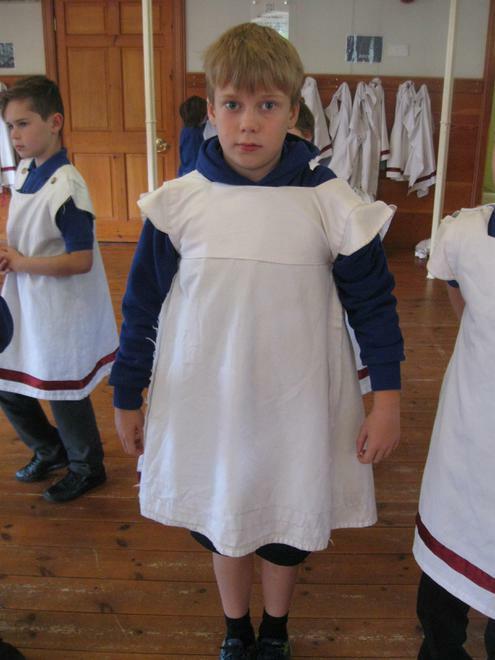 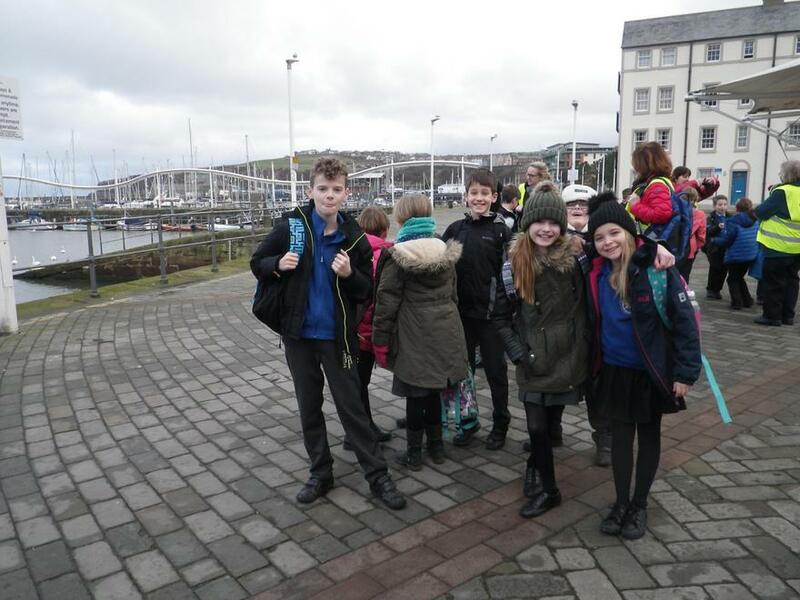 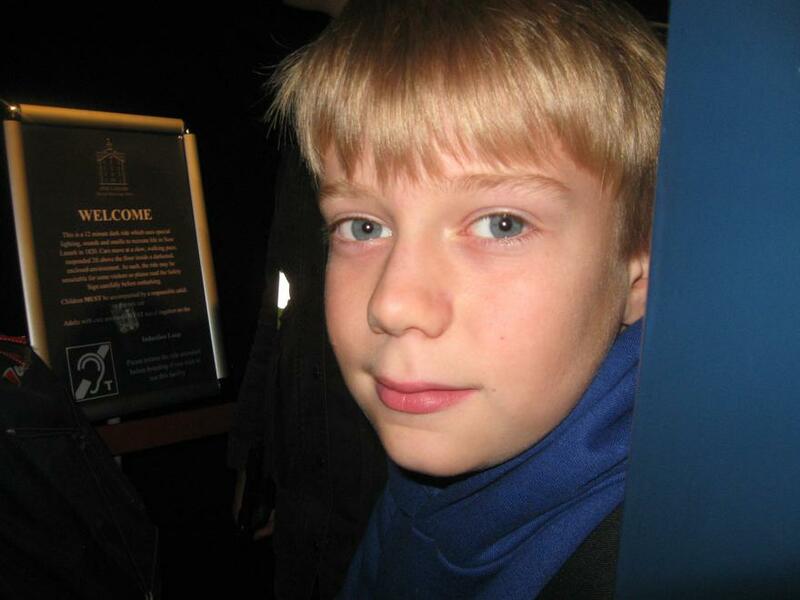 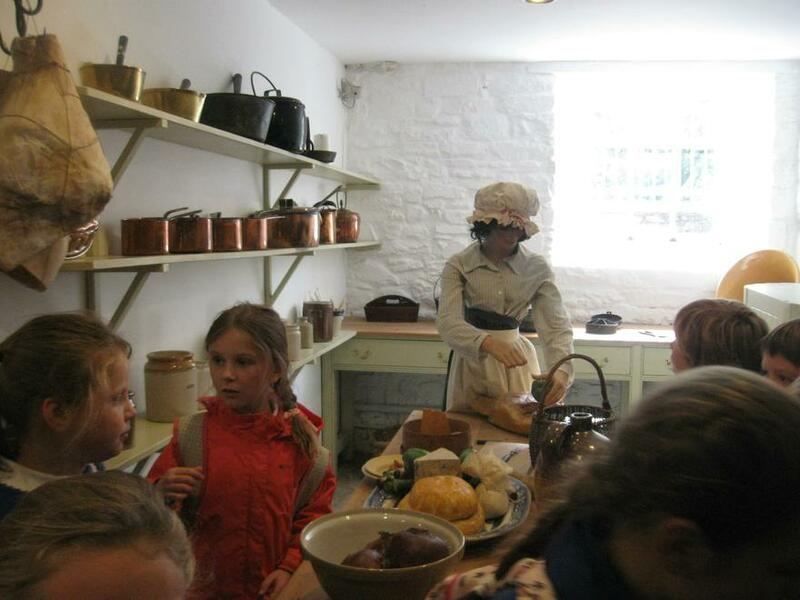 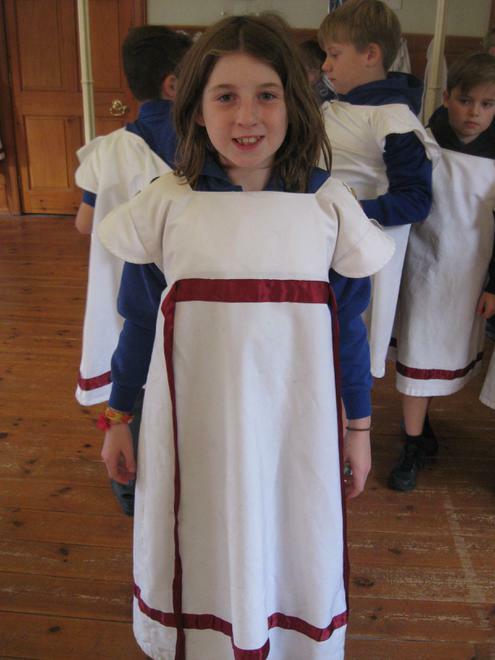 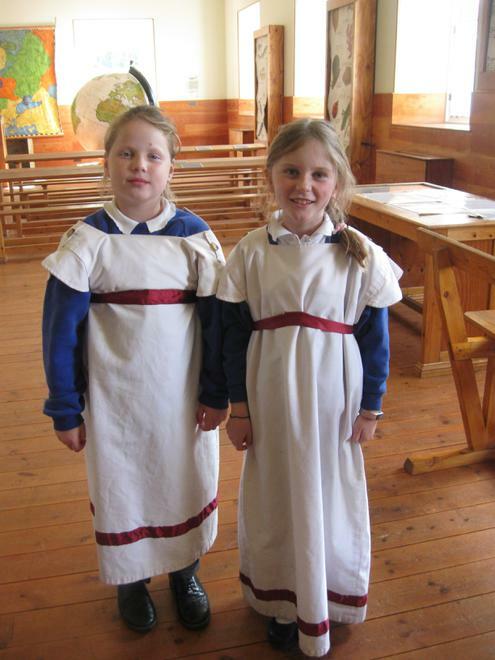 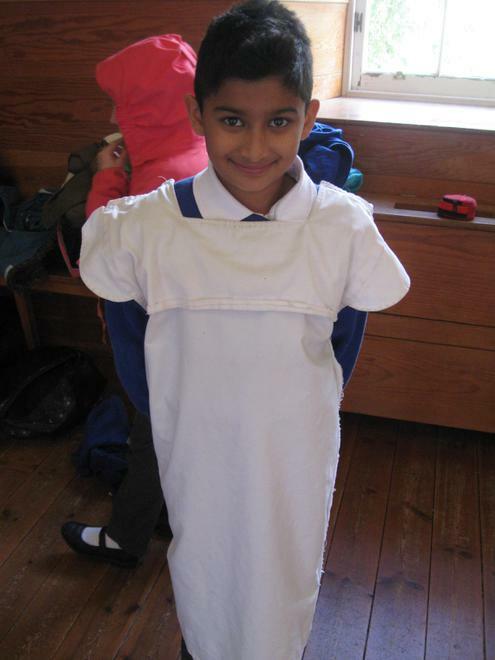 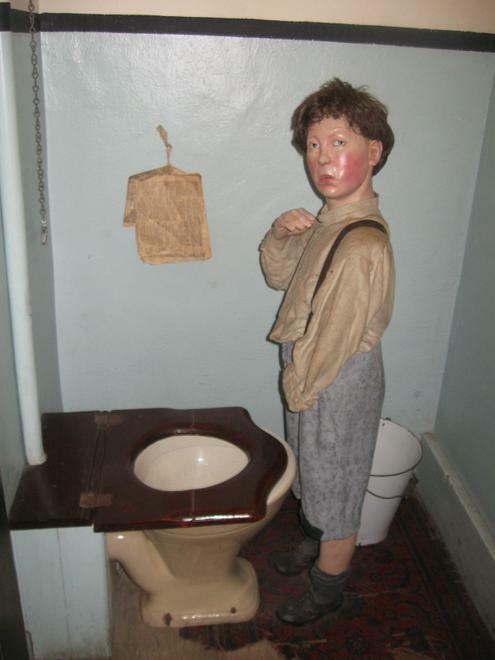 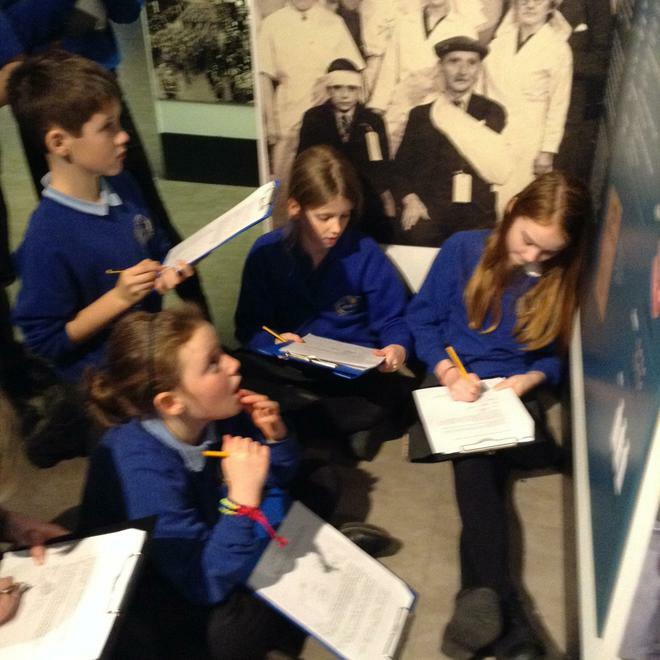 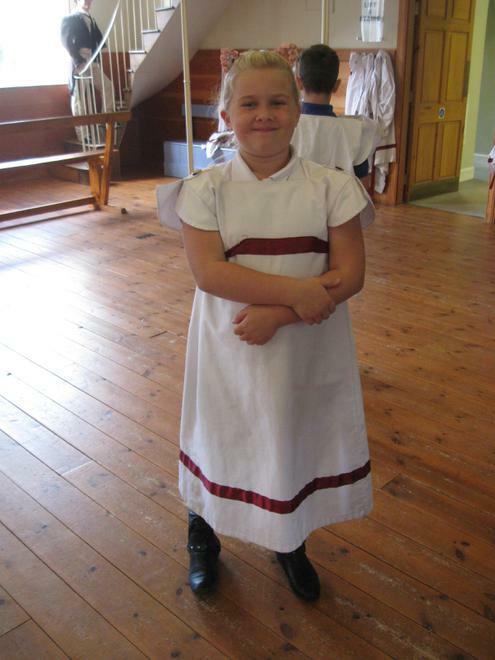 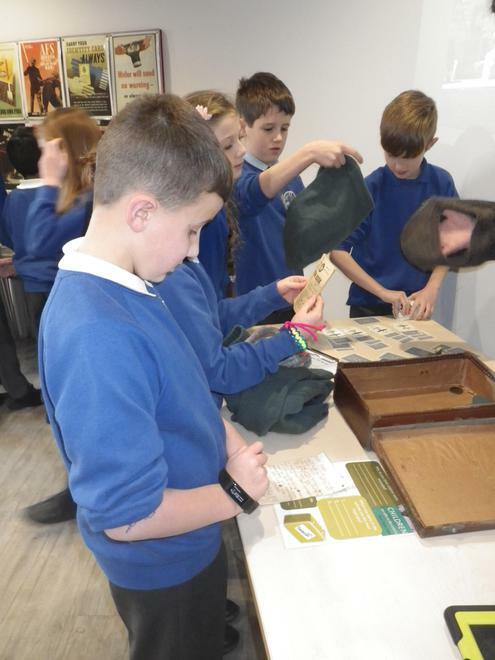 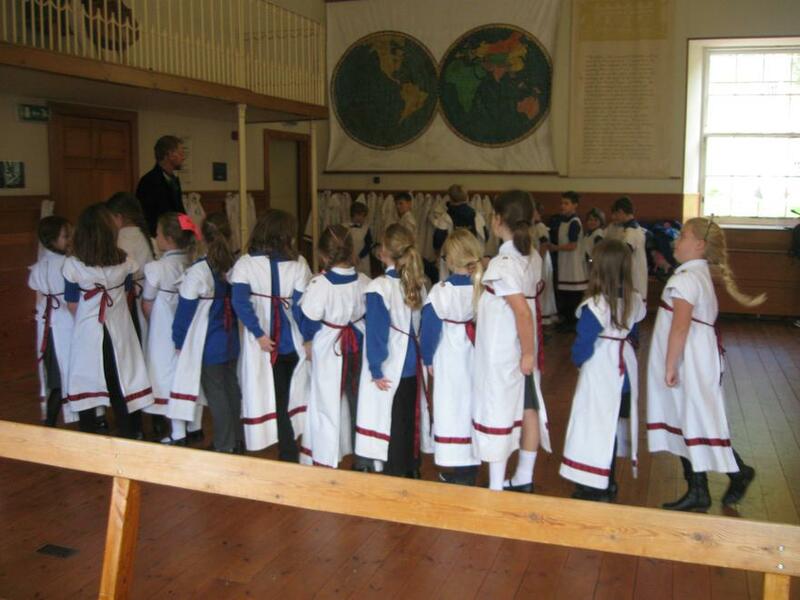 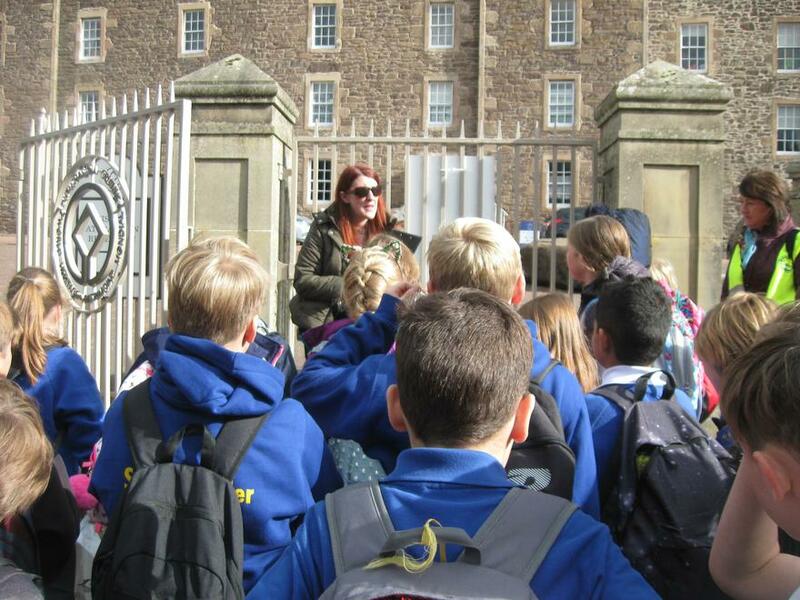 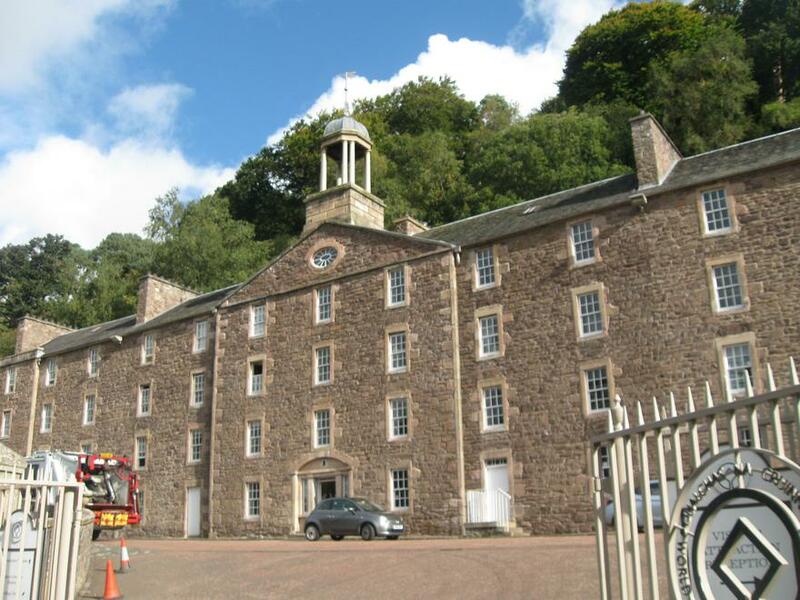 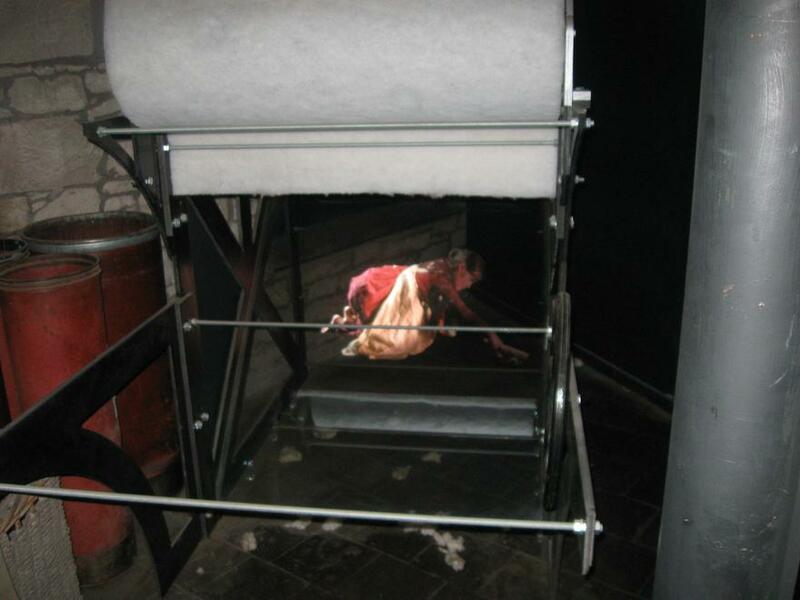 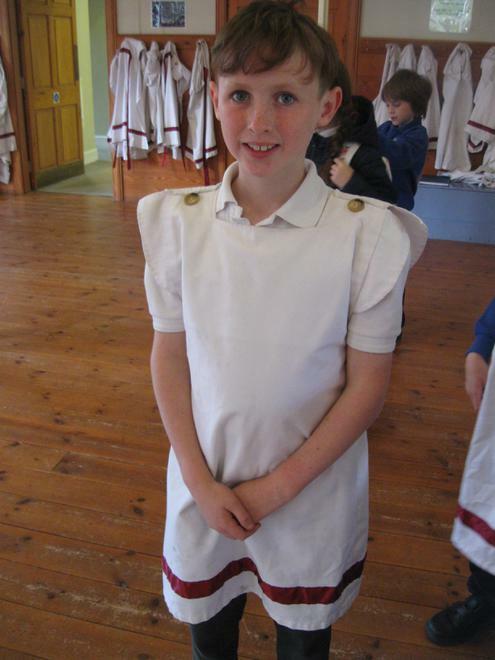 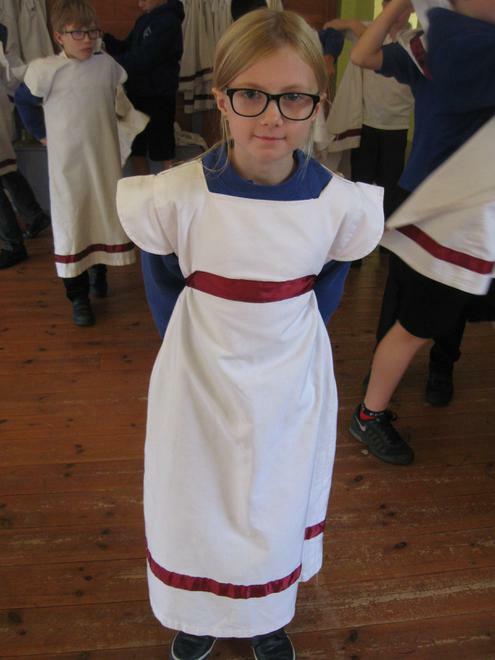 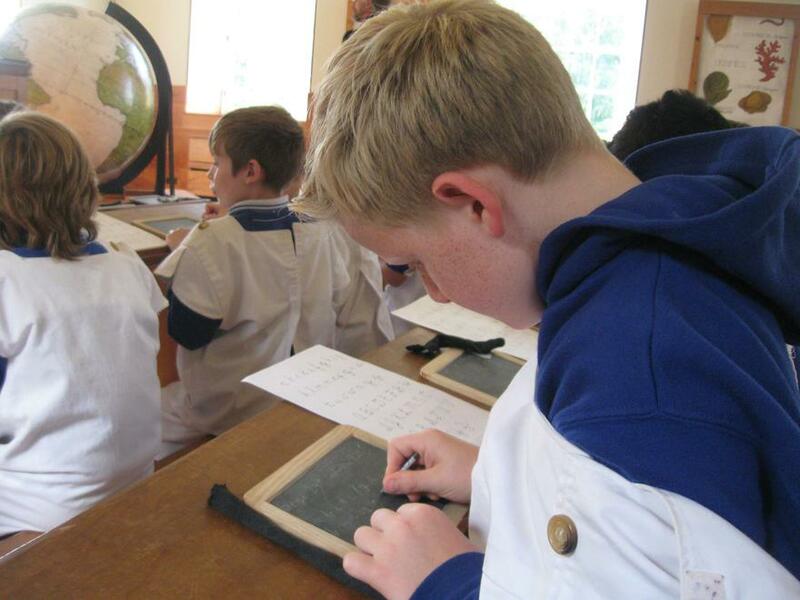 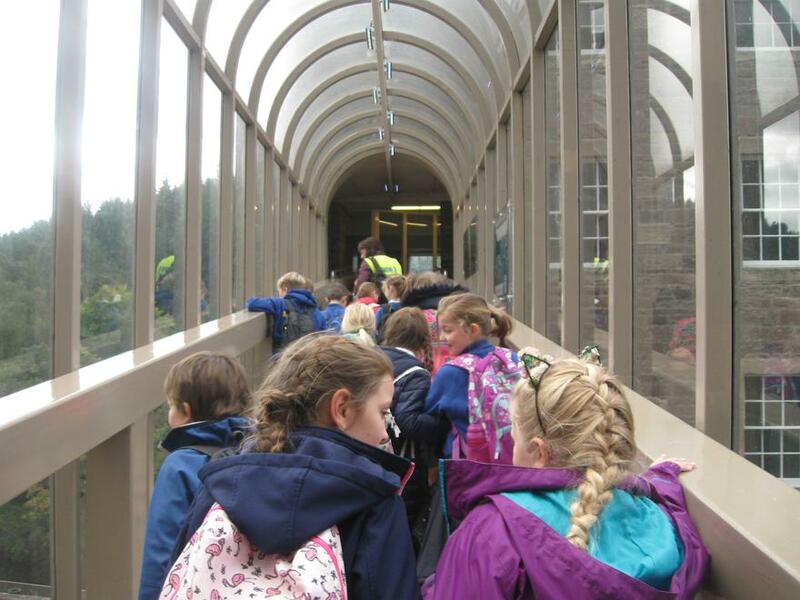 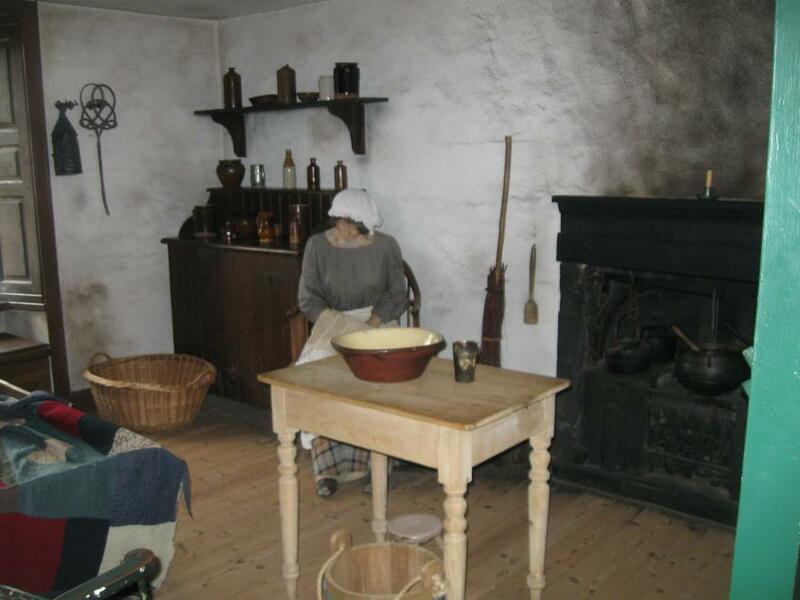 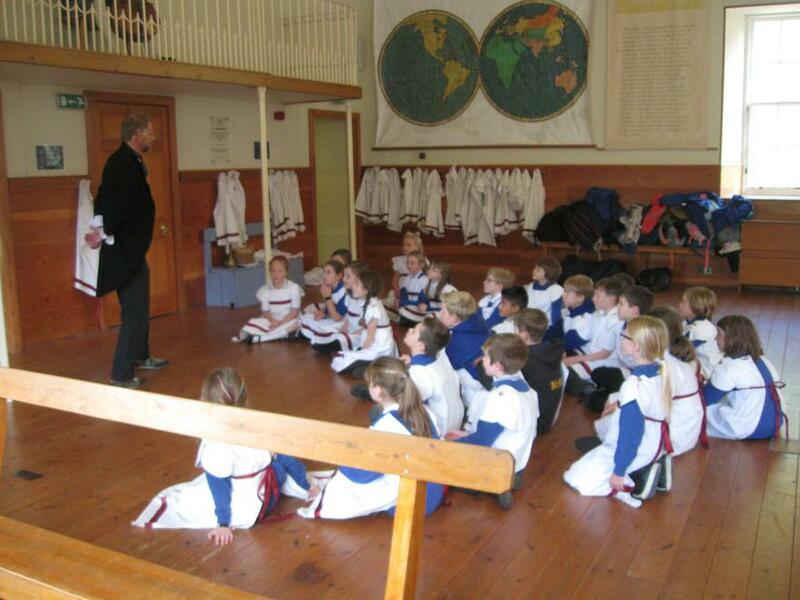 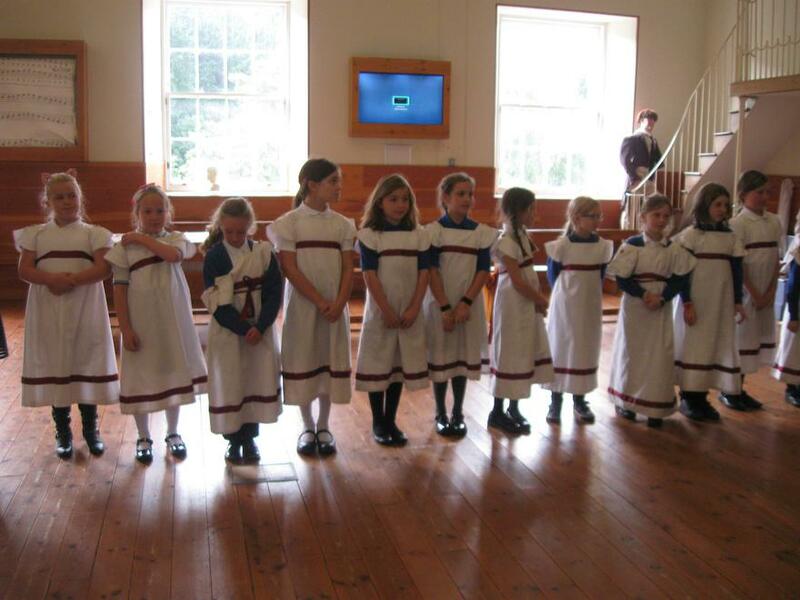 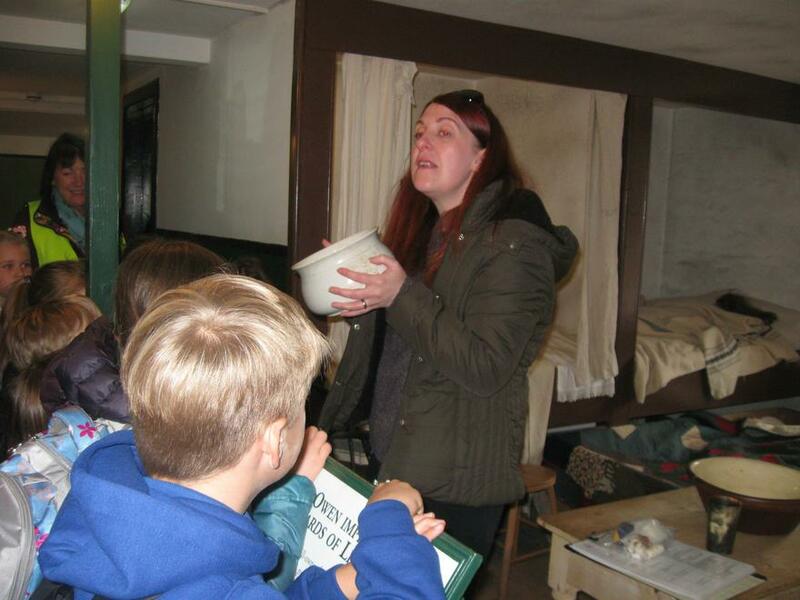 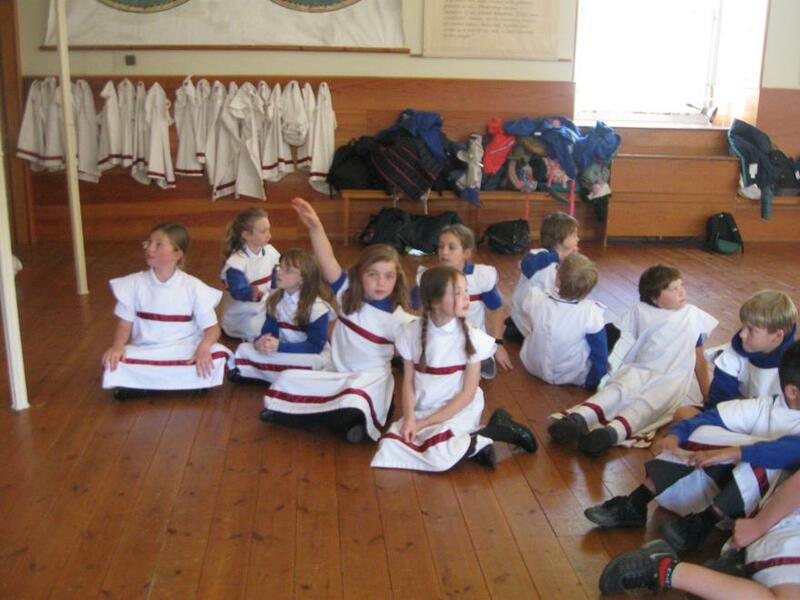 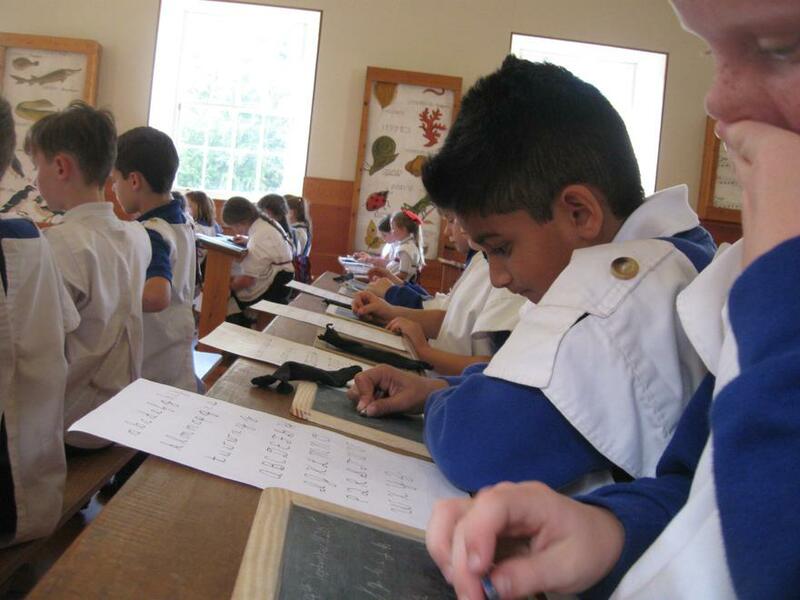 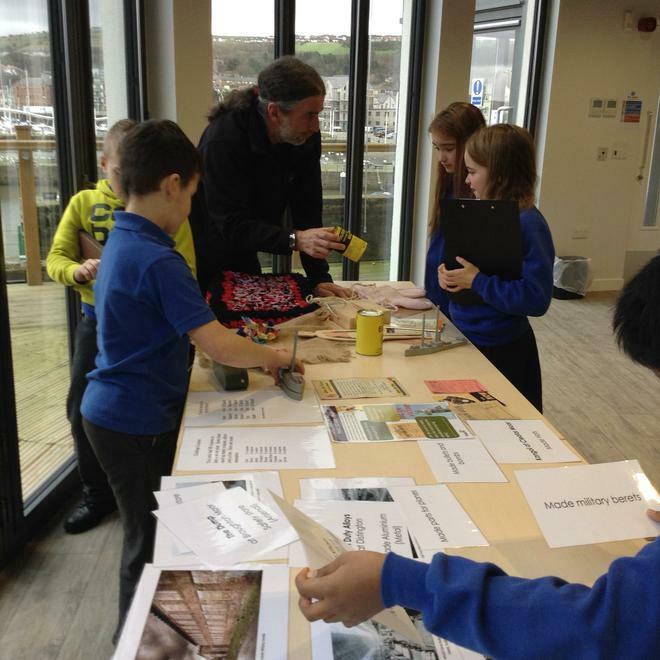 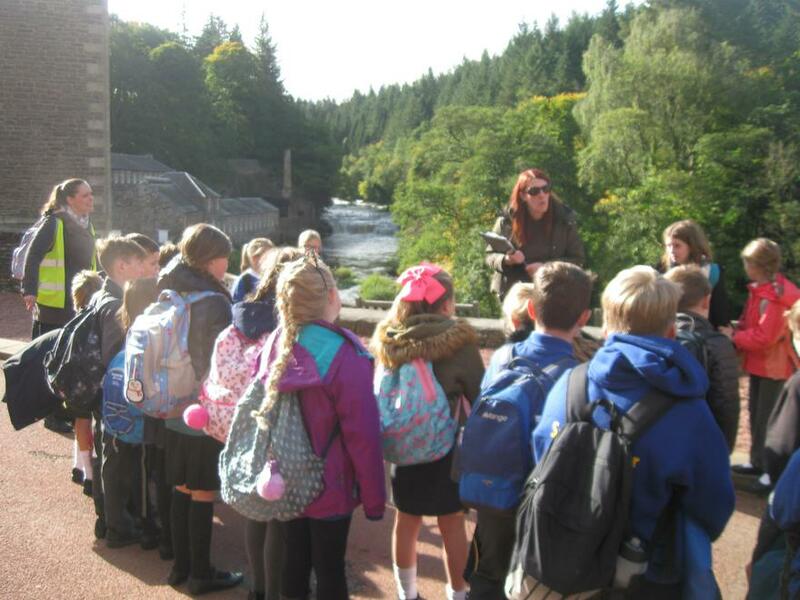 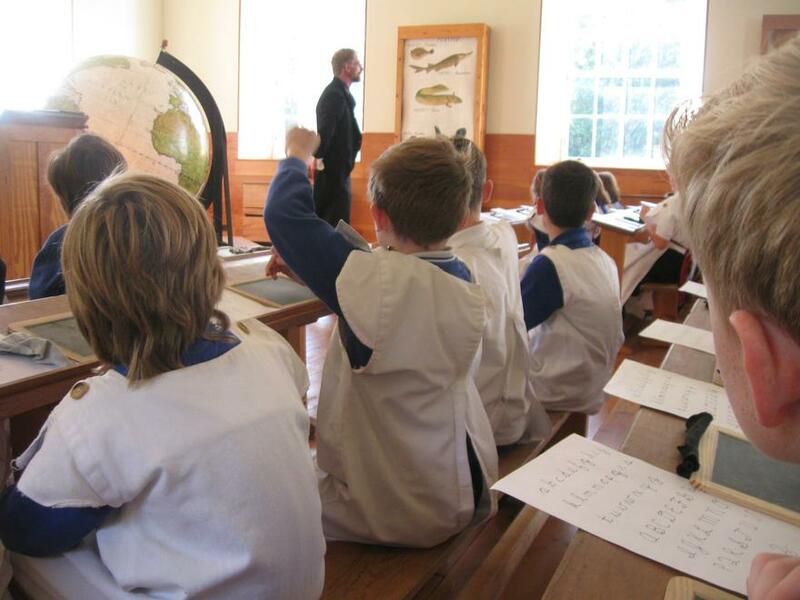 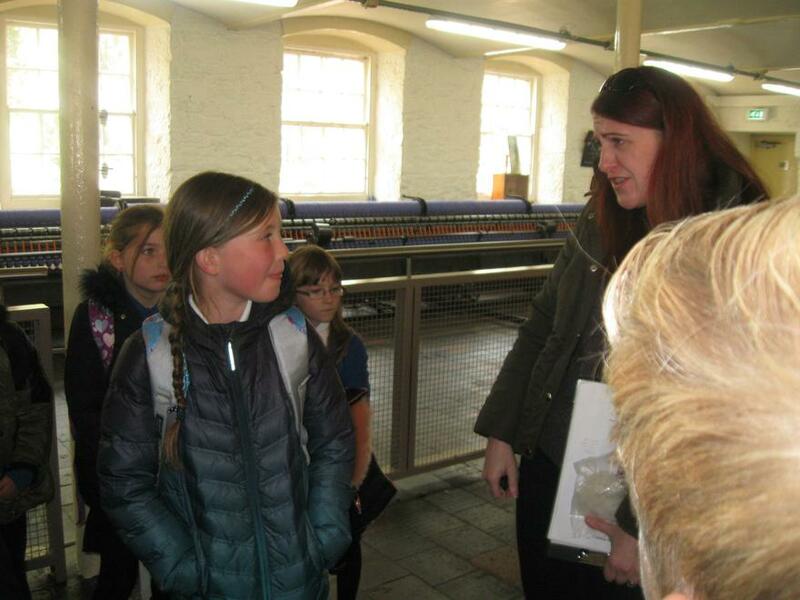 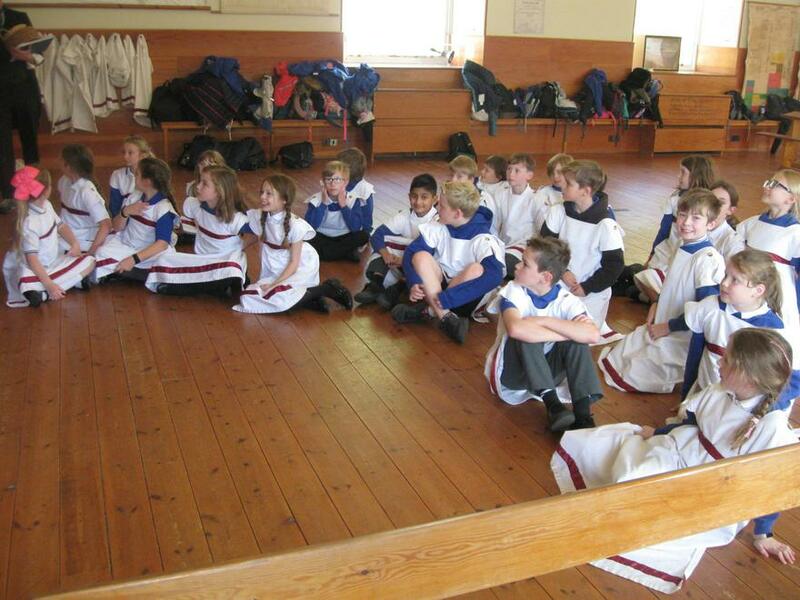 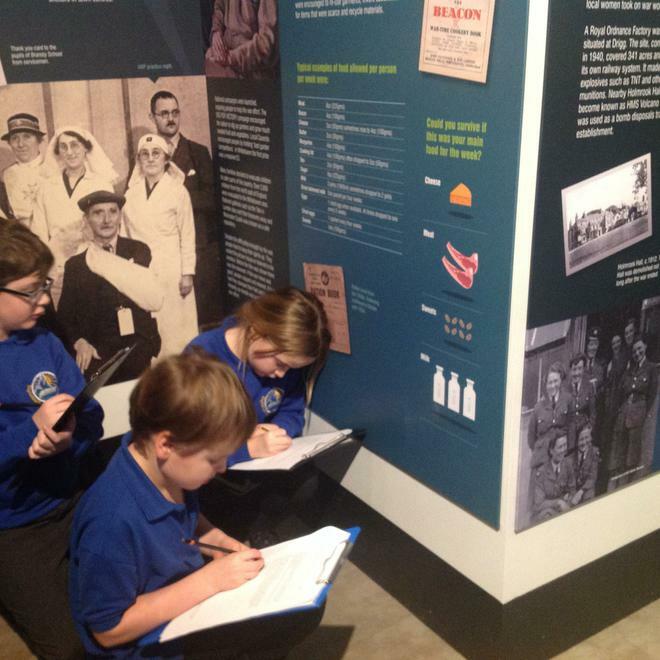 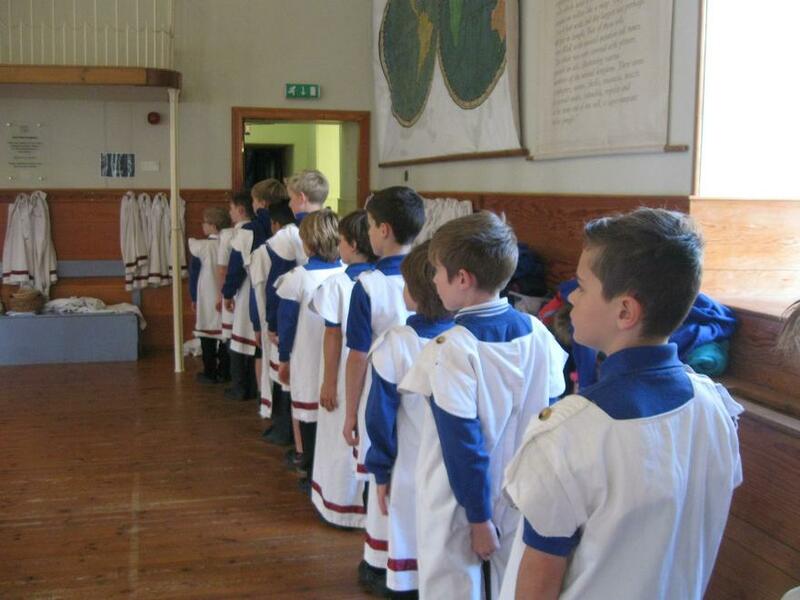 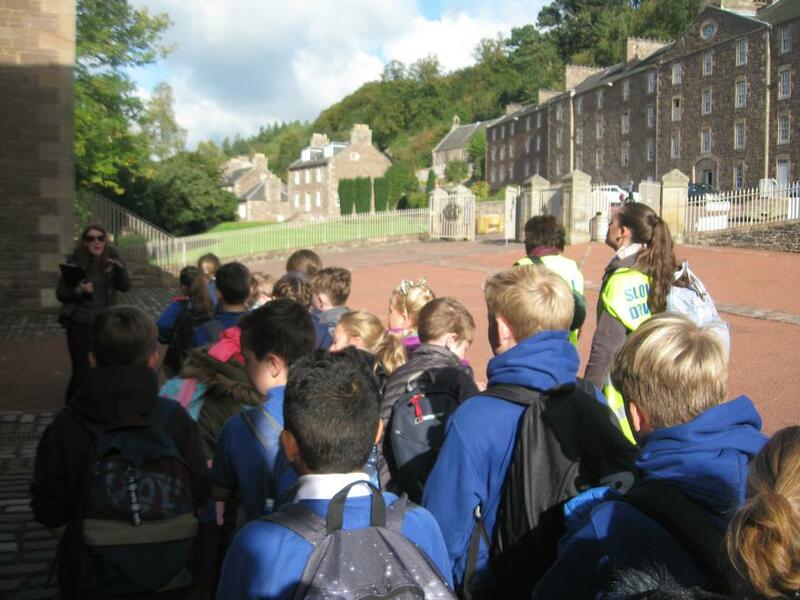 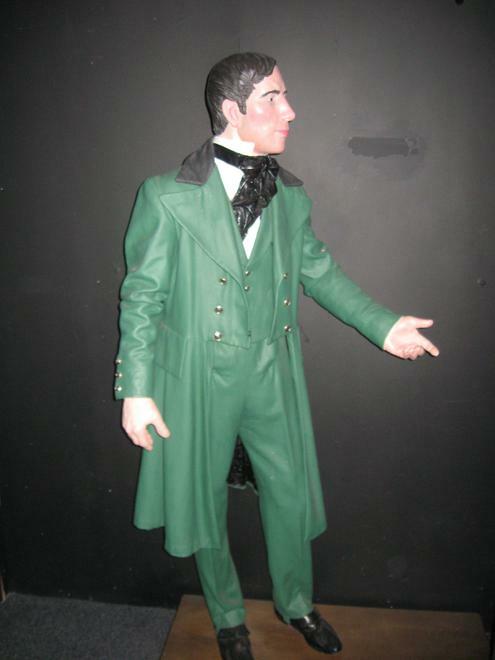 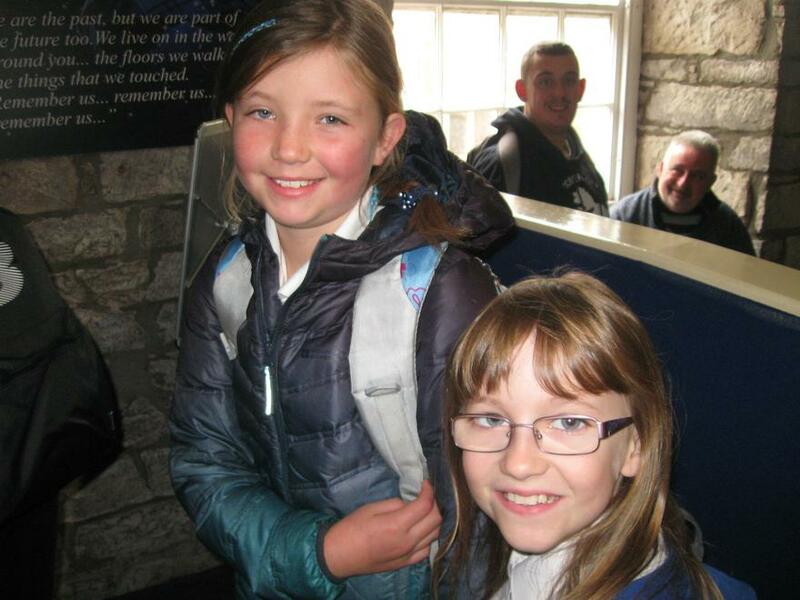 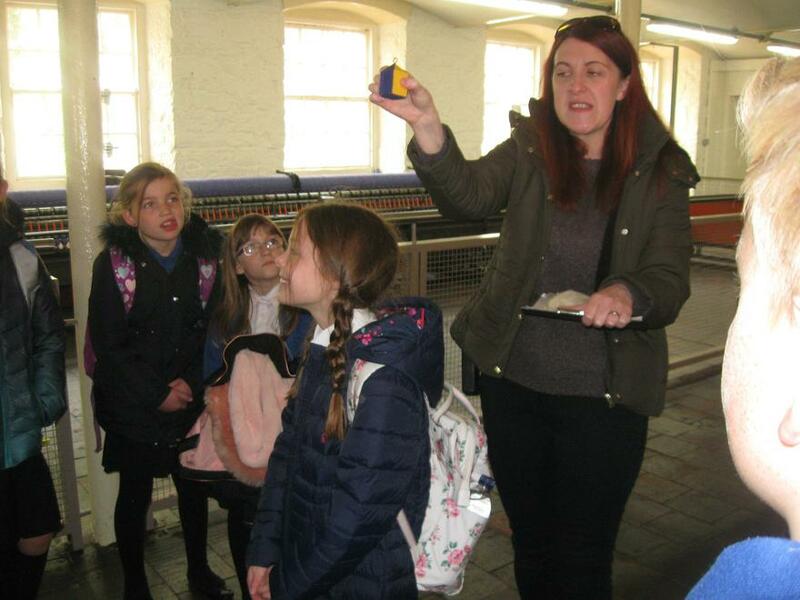 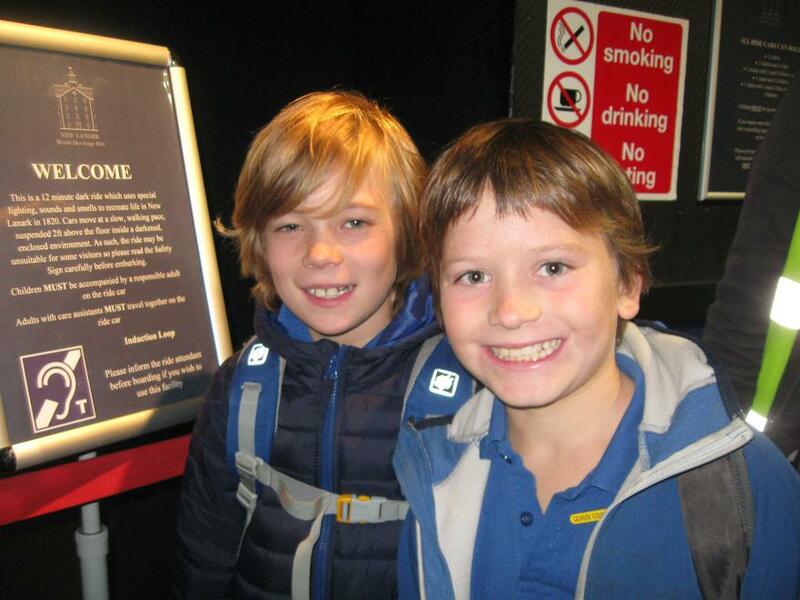 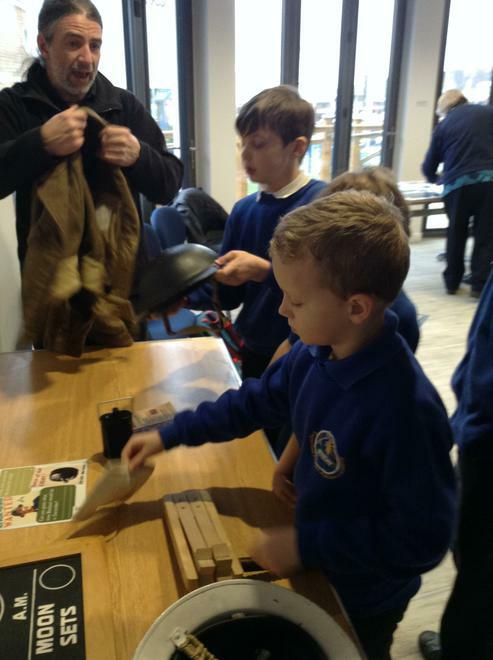 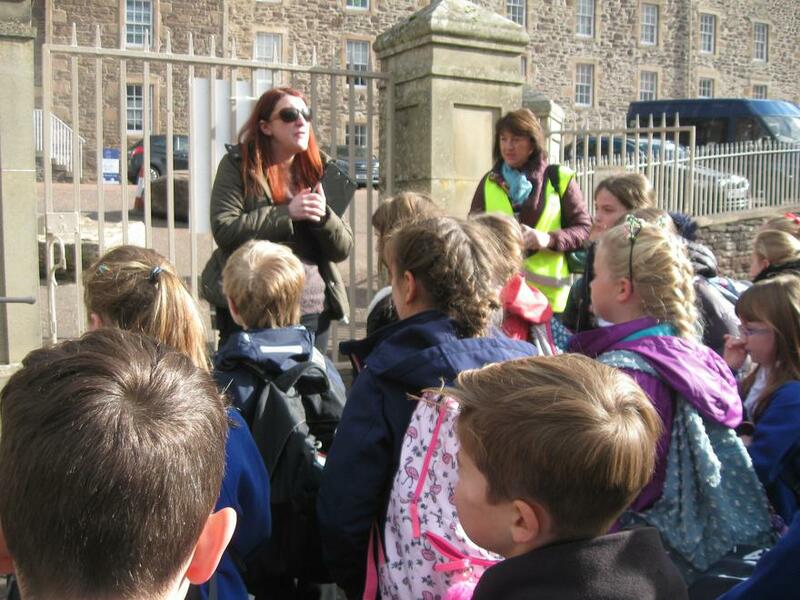 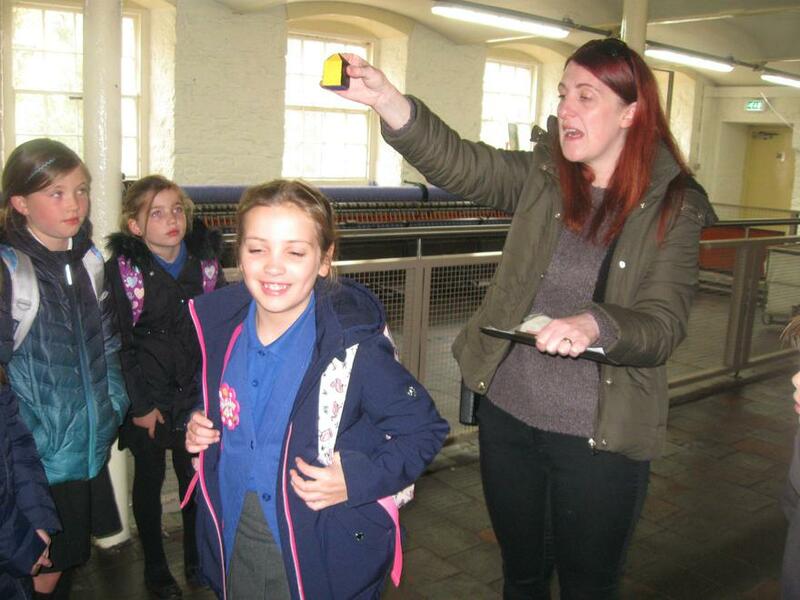 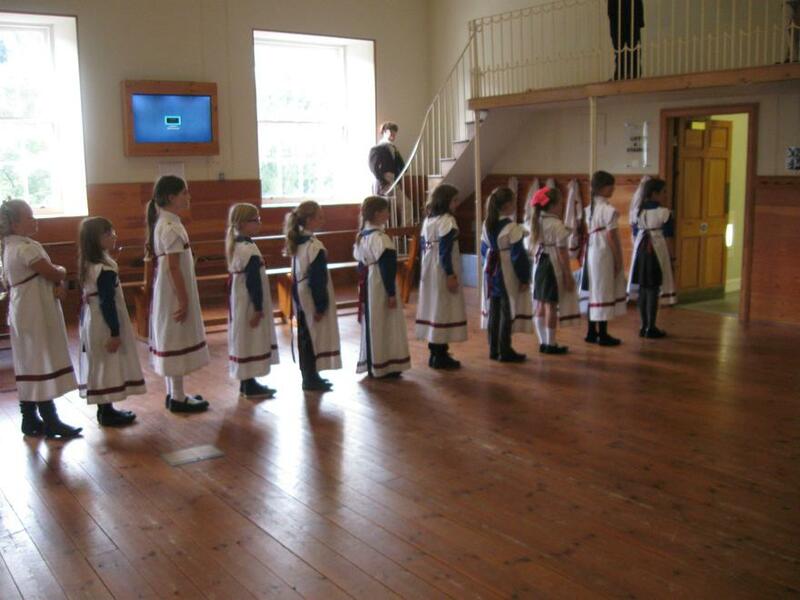 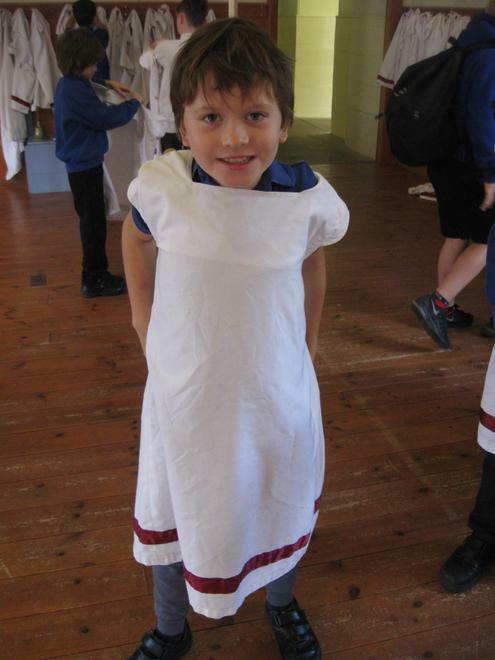 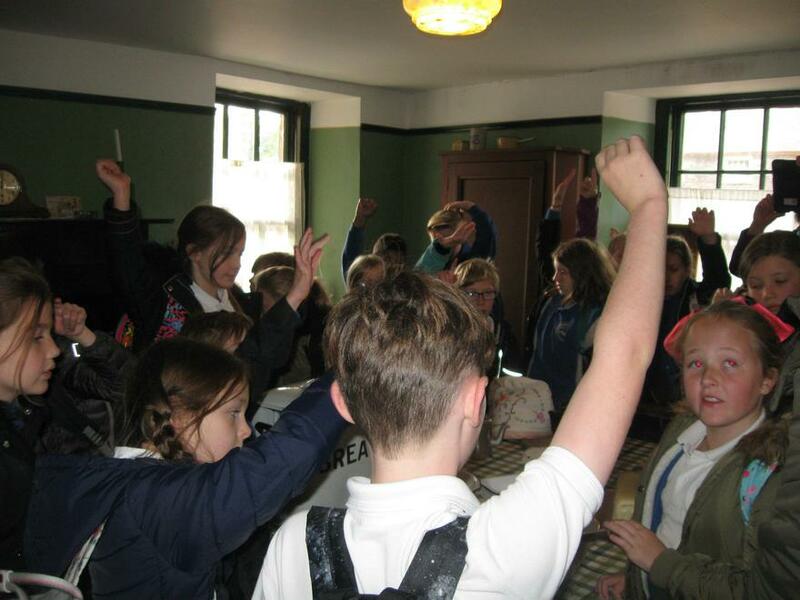 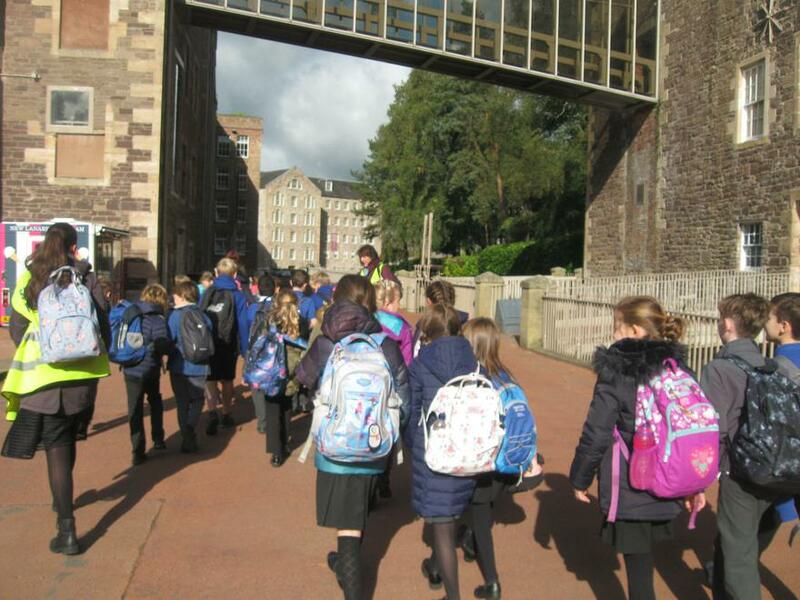 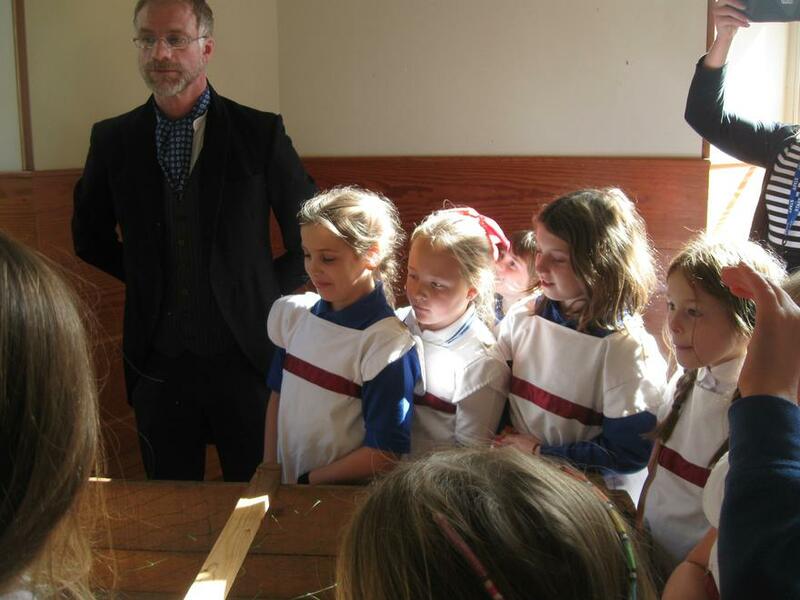 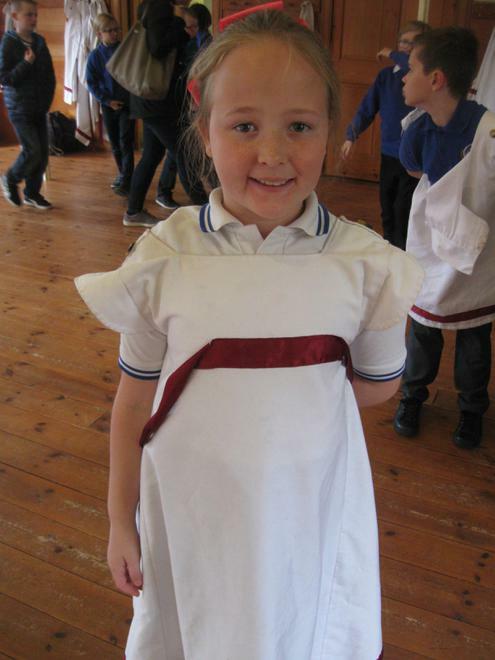 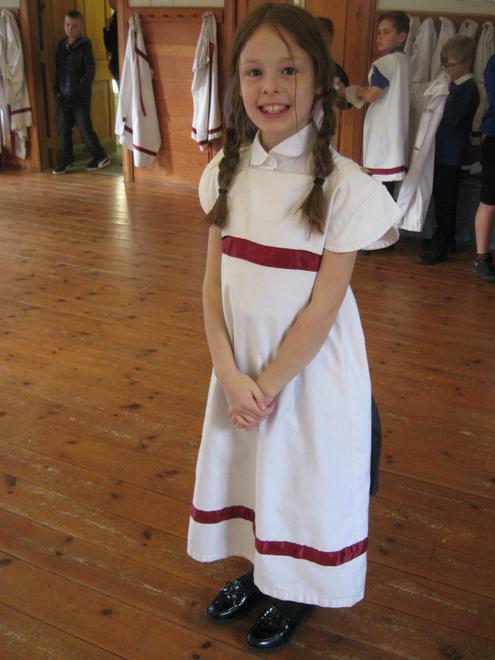 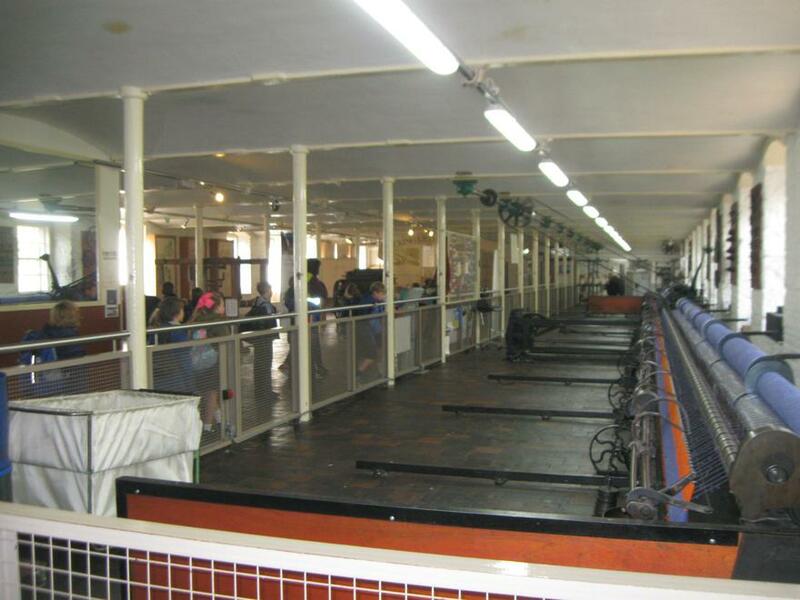 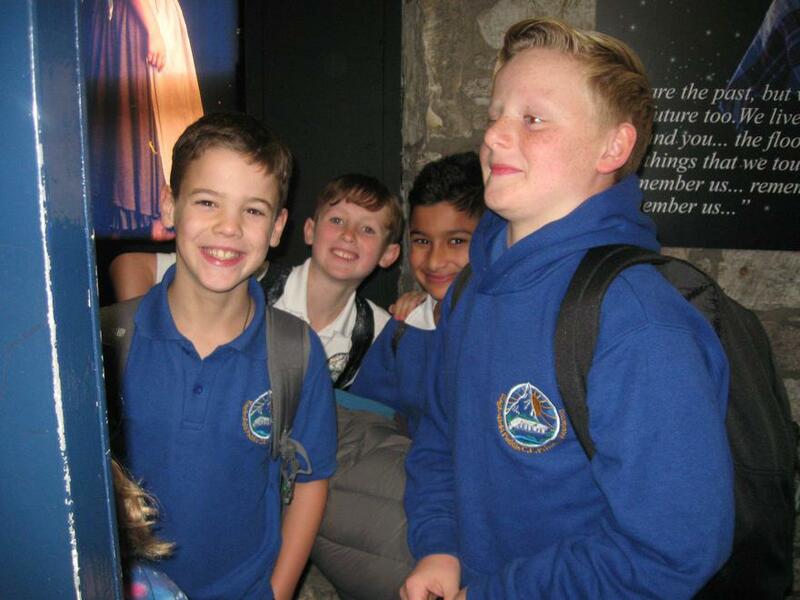 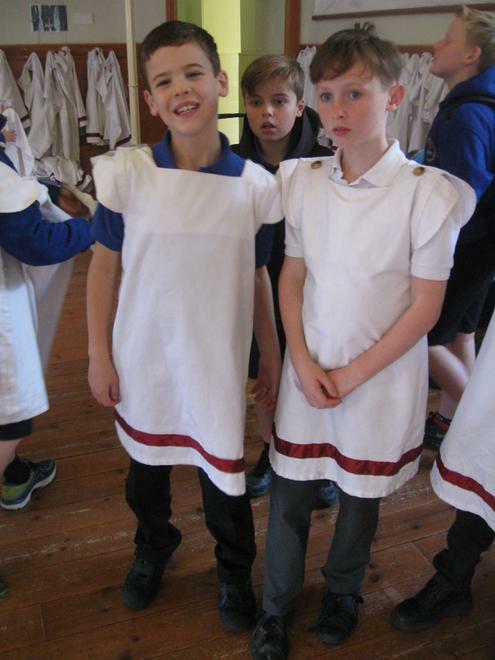 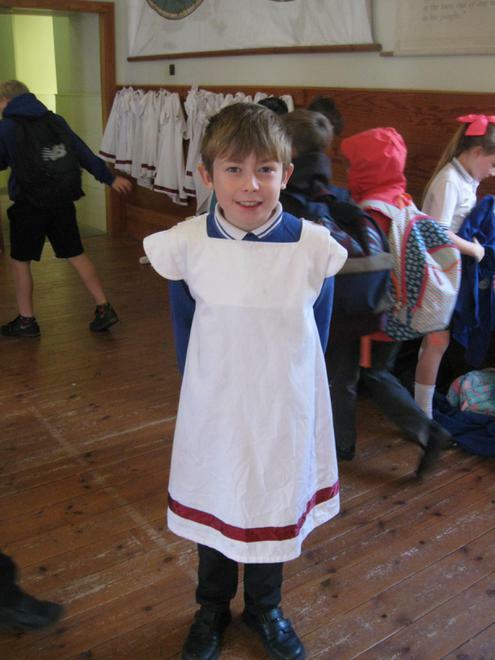 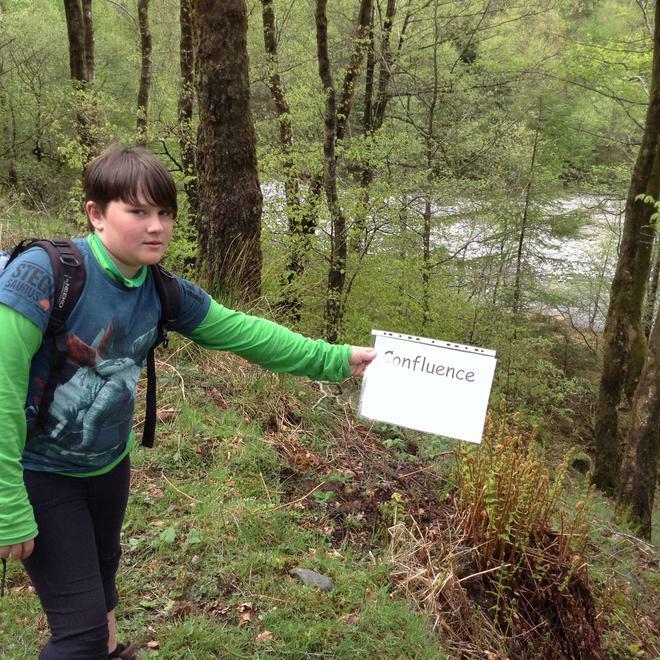 The Year 5 and 6 children visited the New Lanark UNESCO World Heritage site to learn about the social pioneer, Robert Owen and what life was like for children living during the Victorian times. 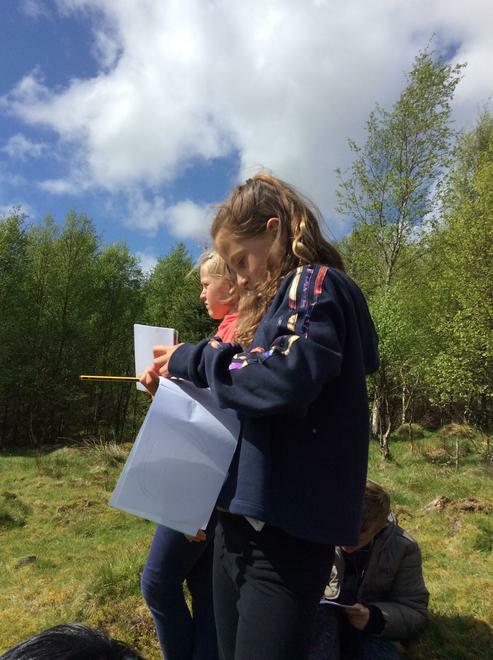 The children began their study of the work of William Morris; they used patterns in nature as inspiration for their own prints. 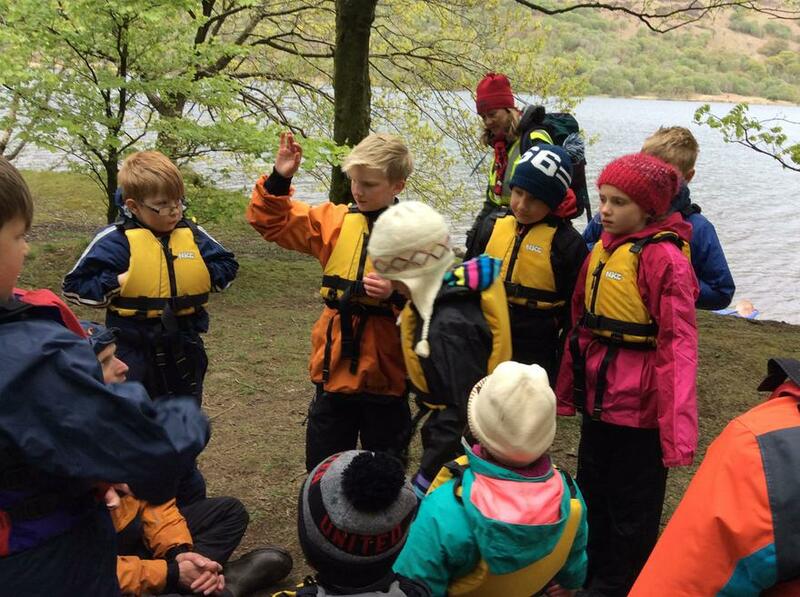 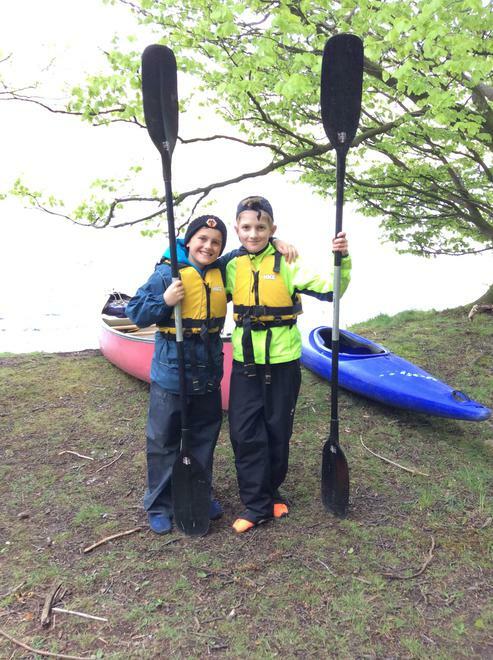 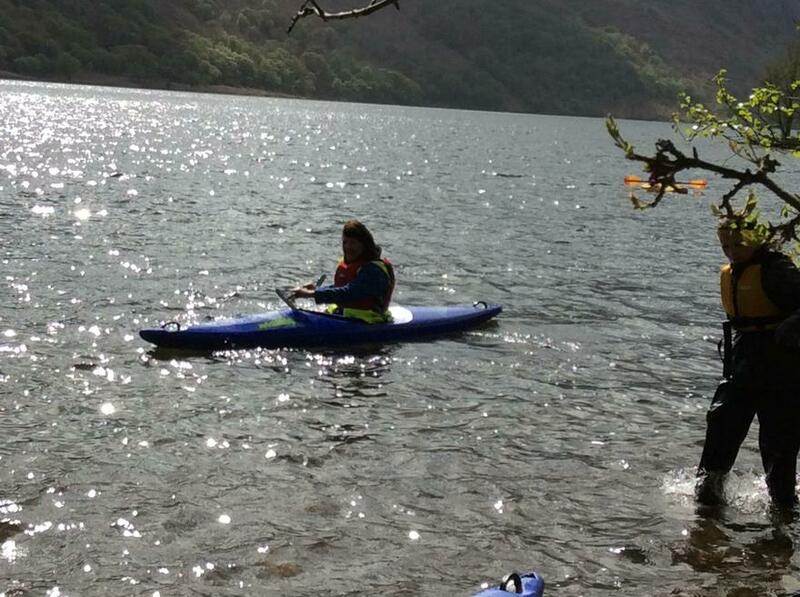 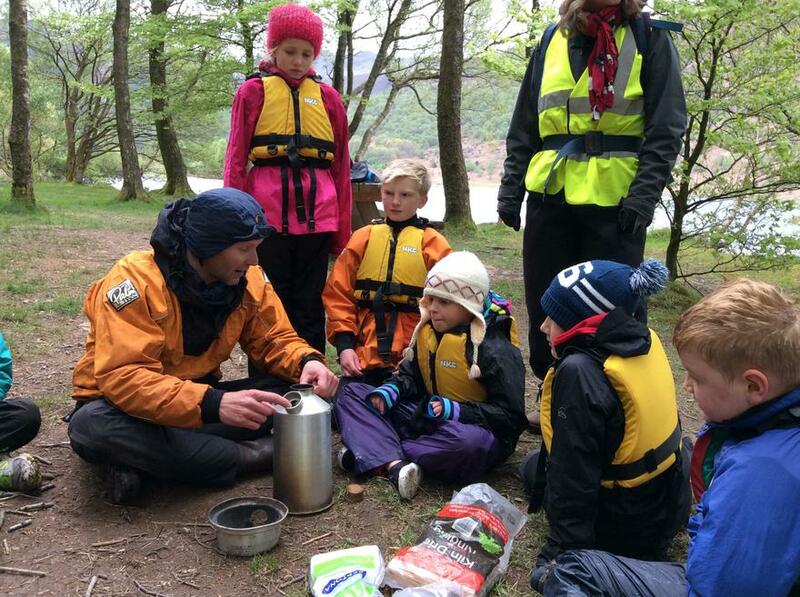 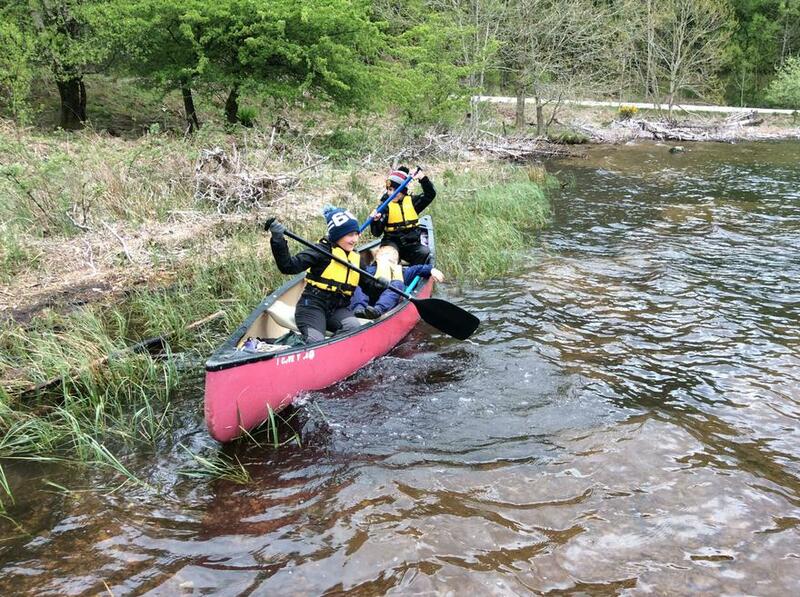 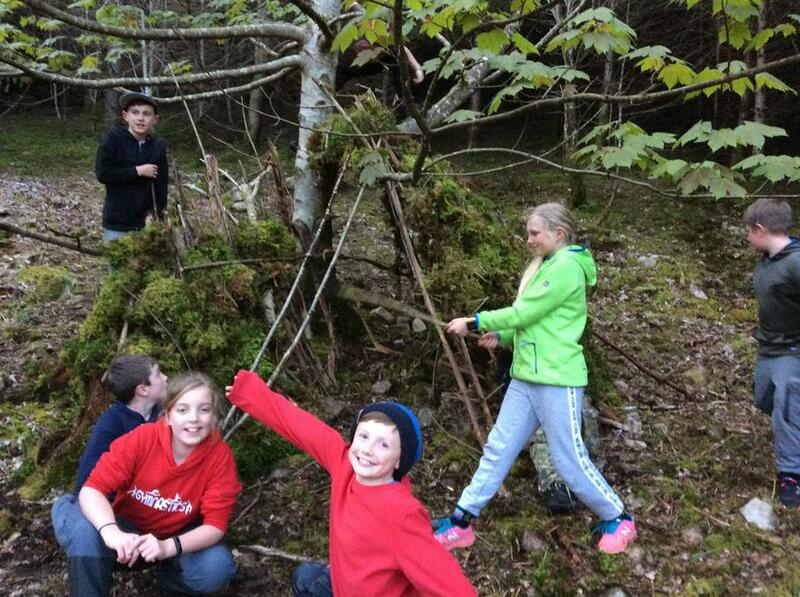 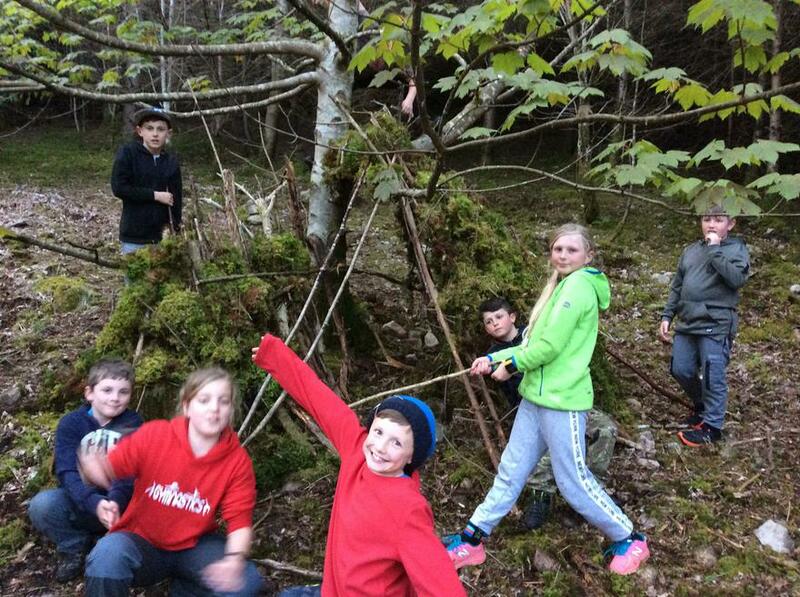 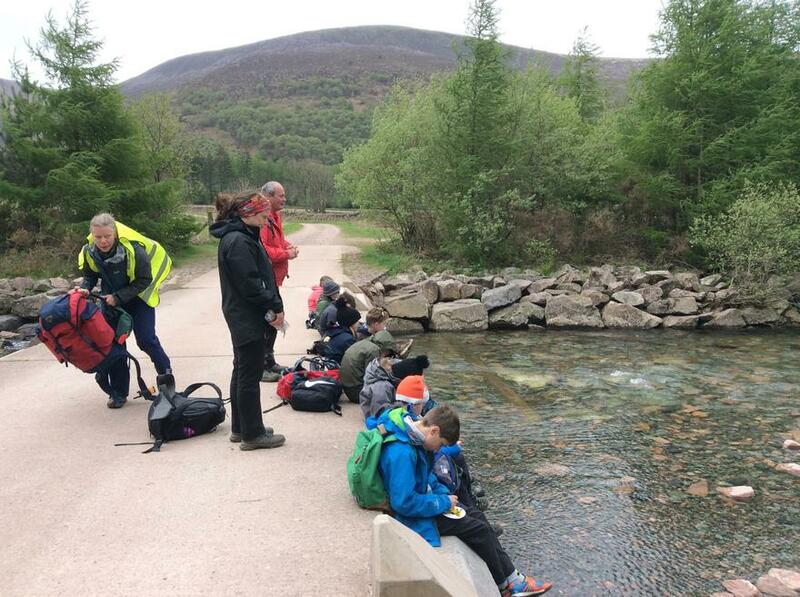 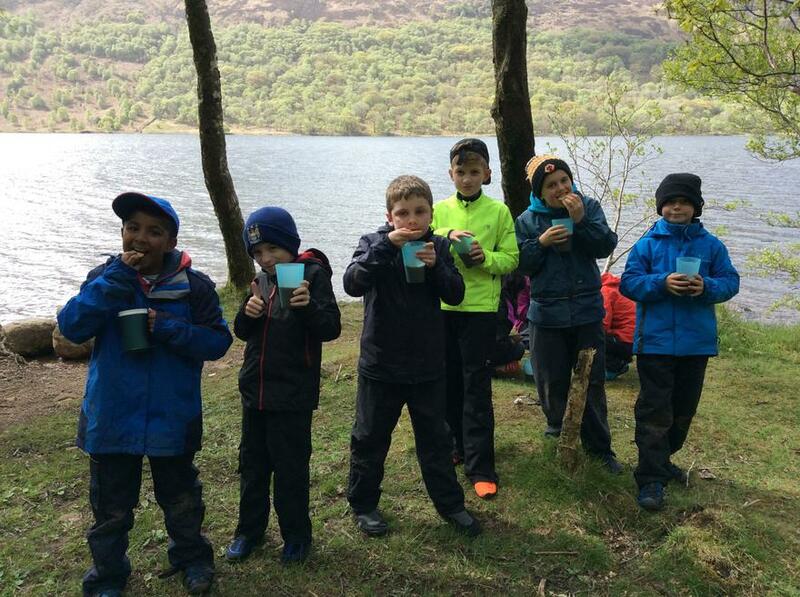 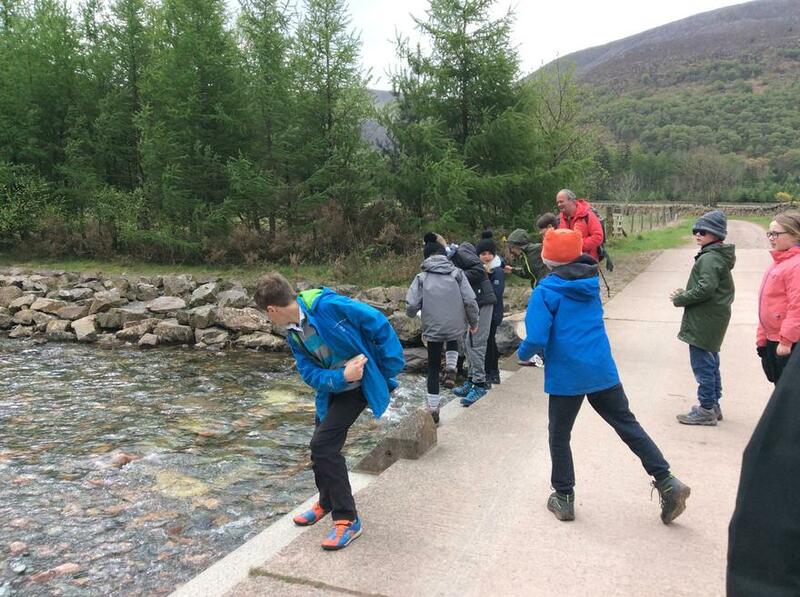 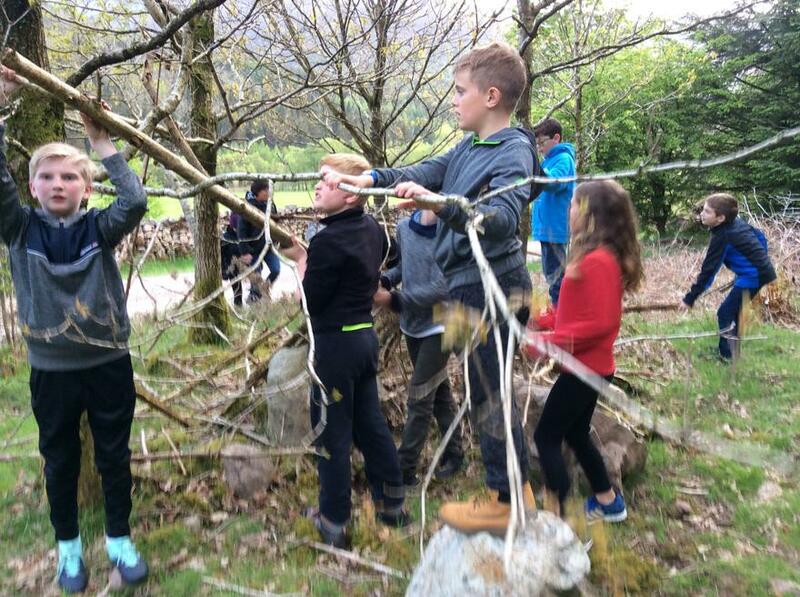 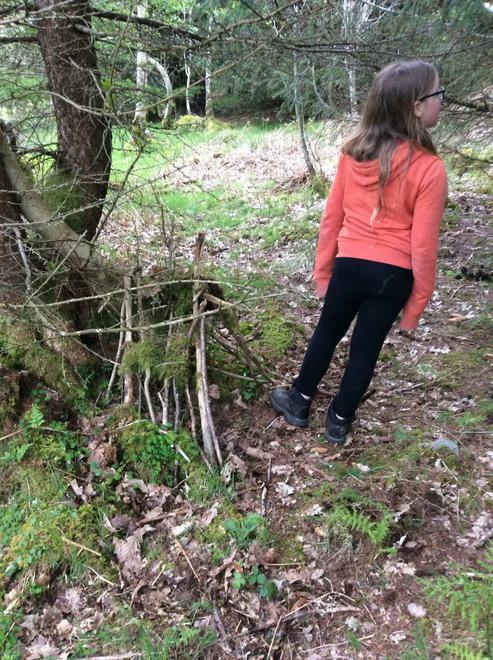 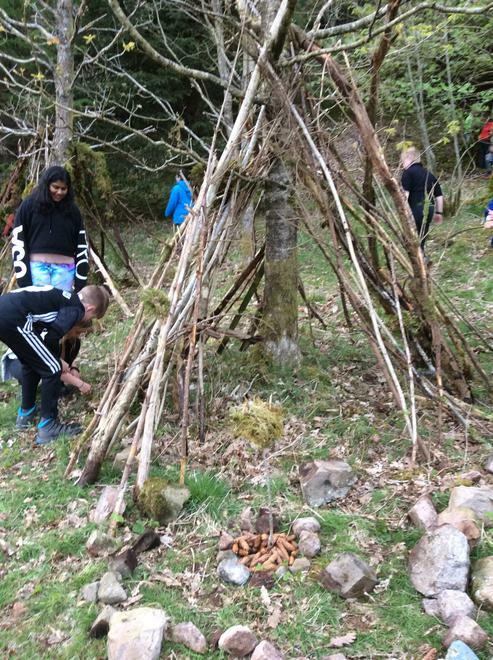 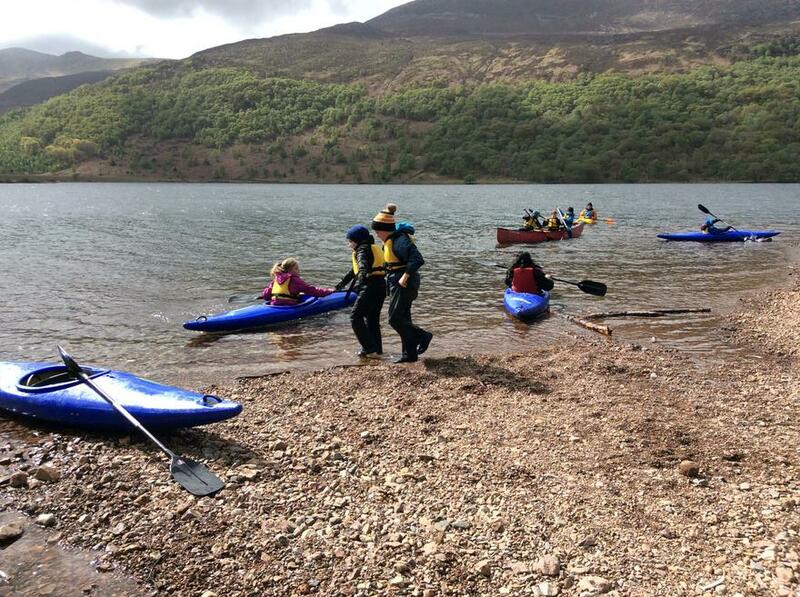 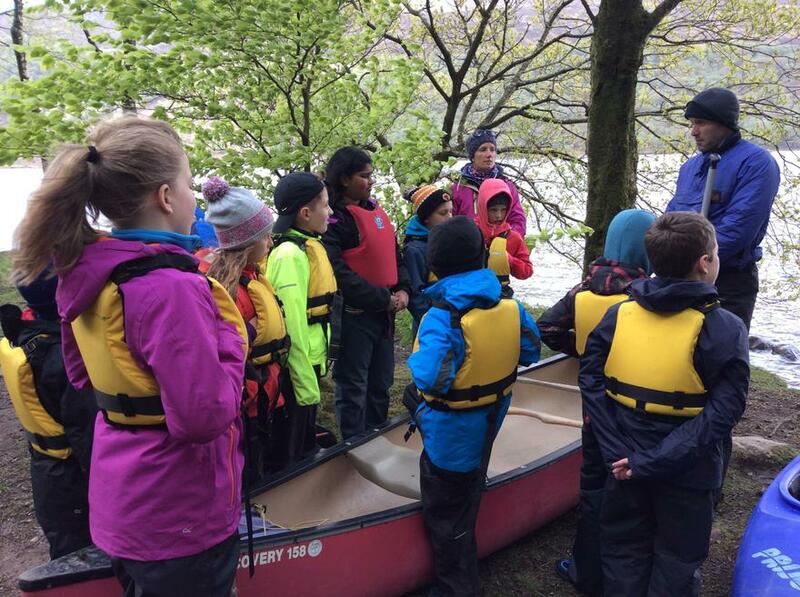 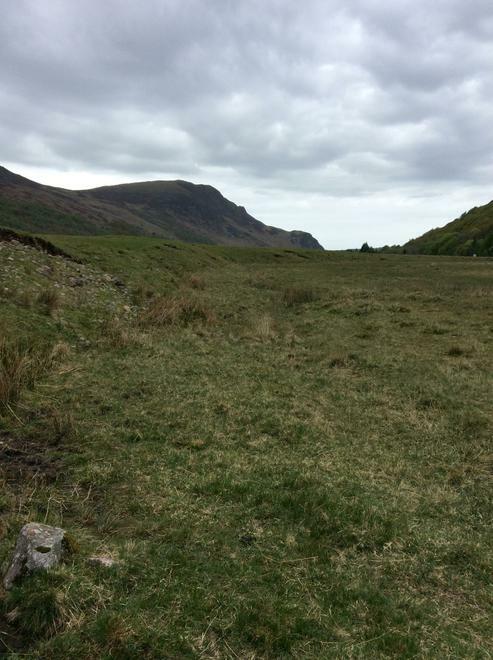 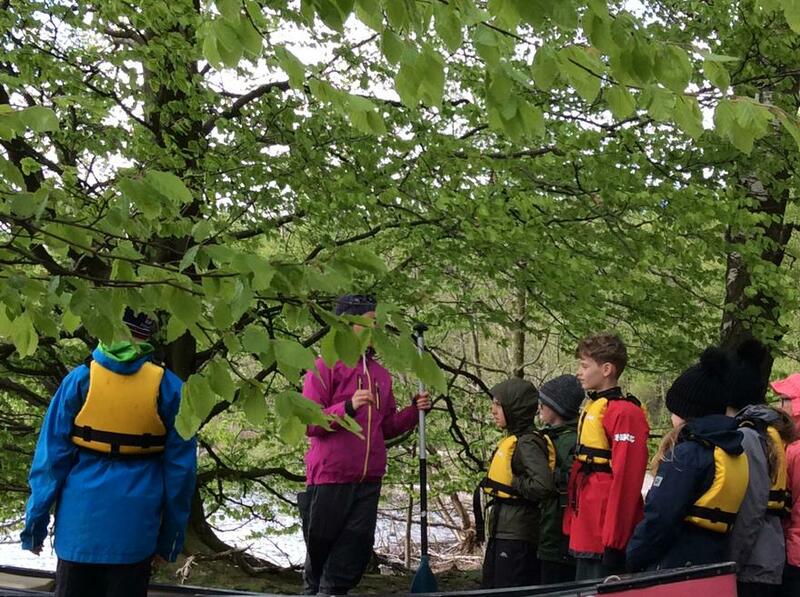 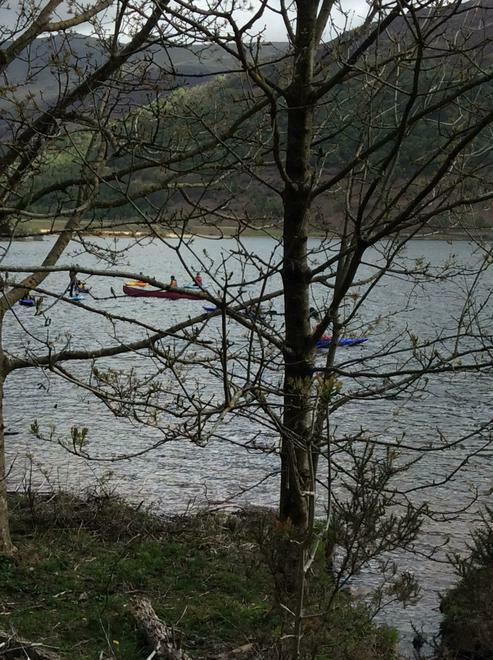 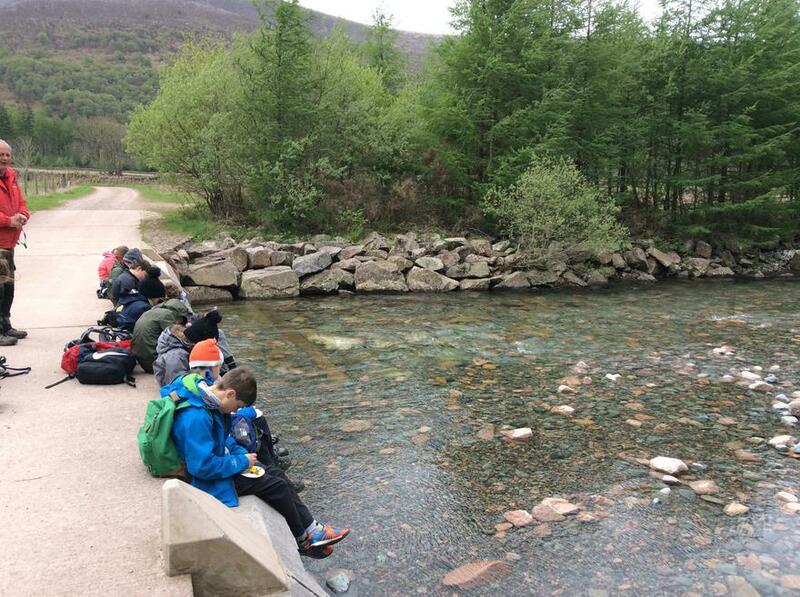 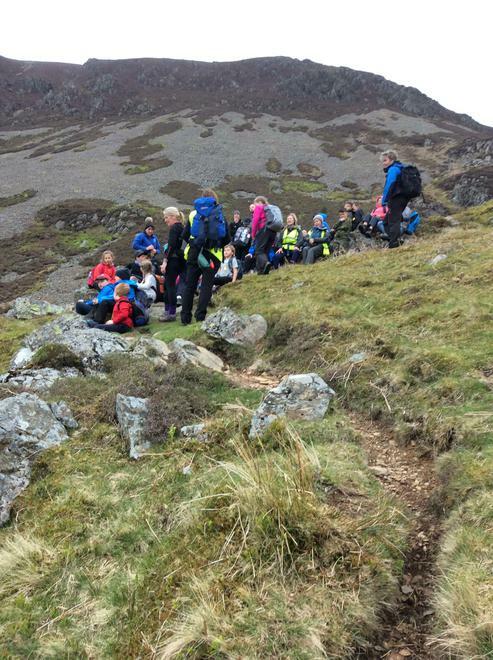 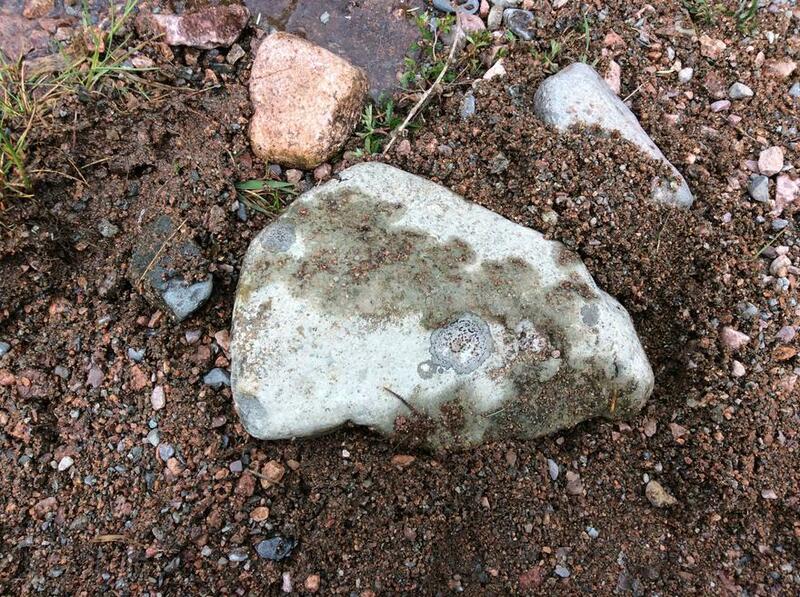 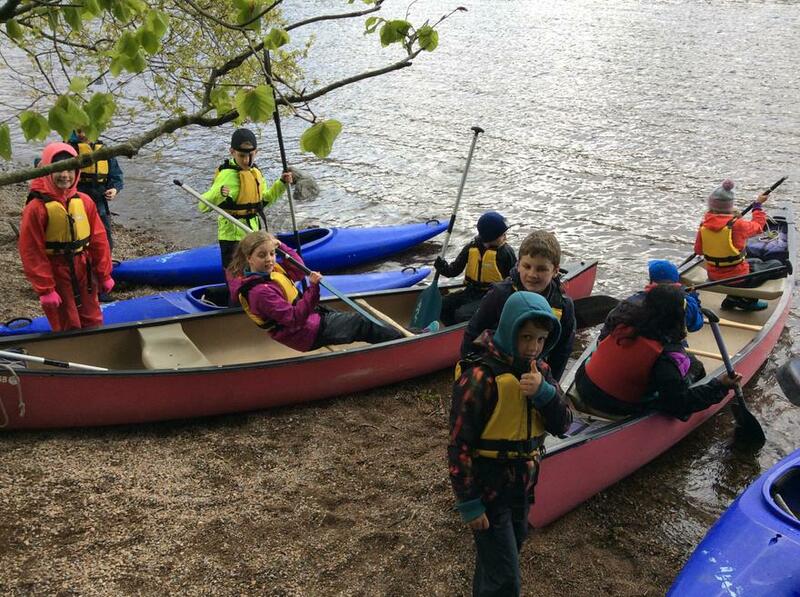 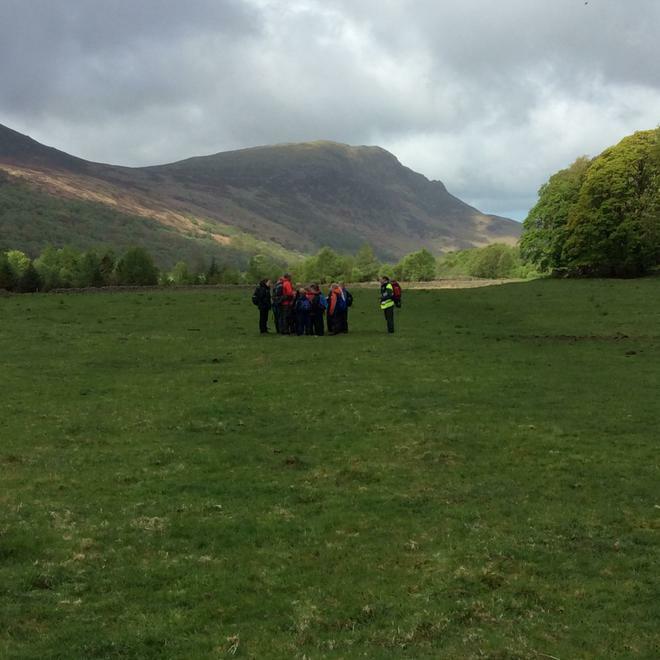 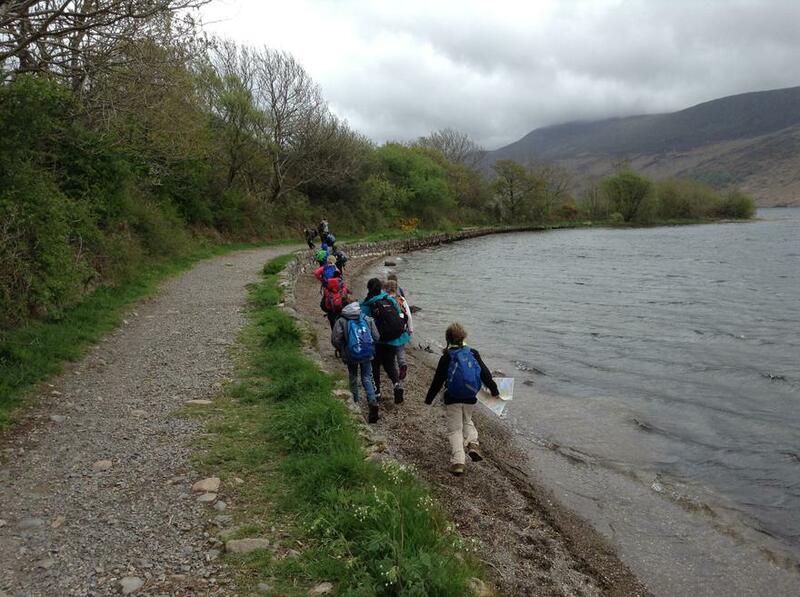 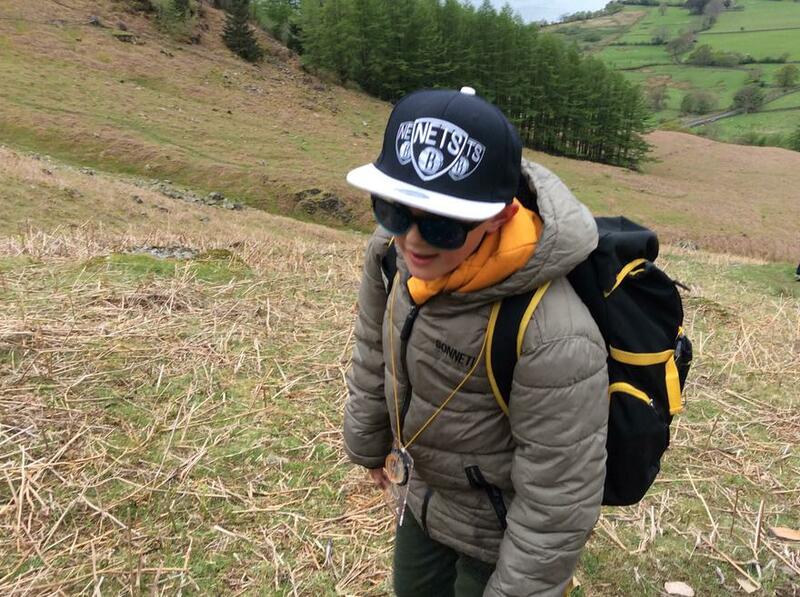 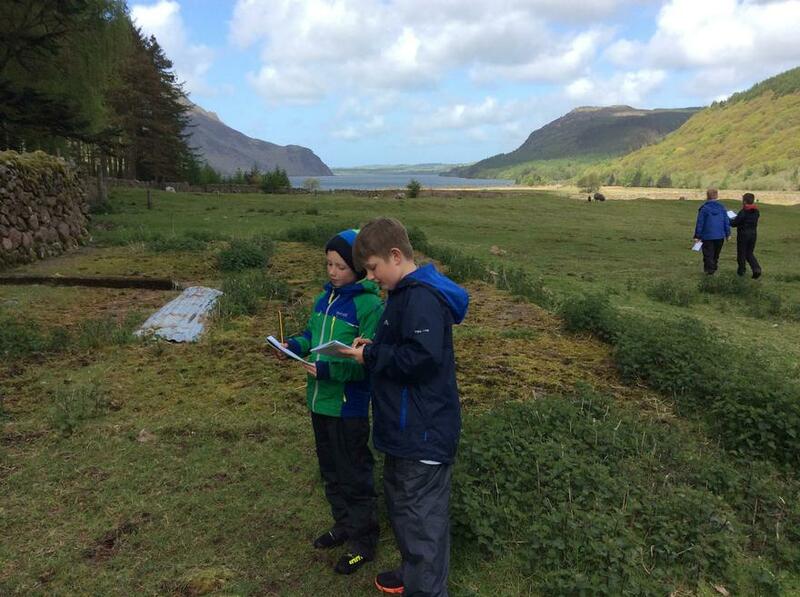 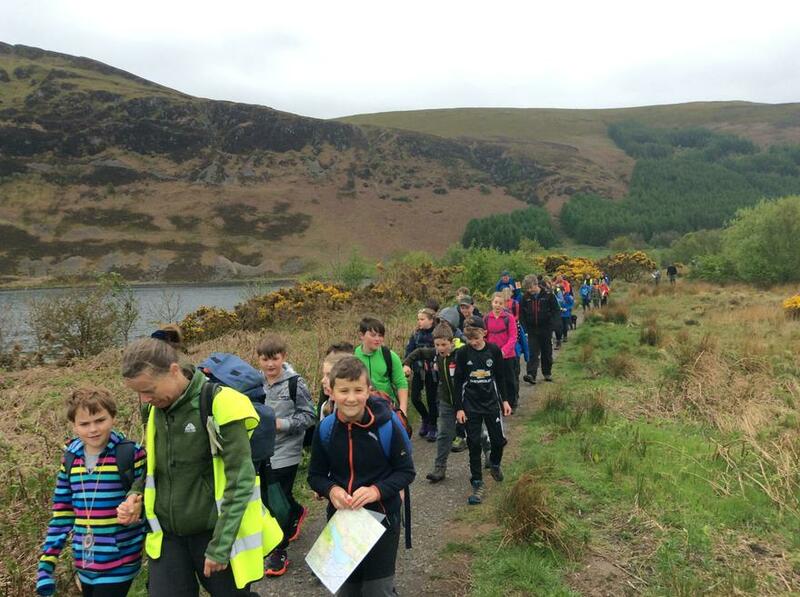 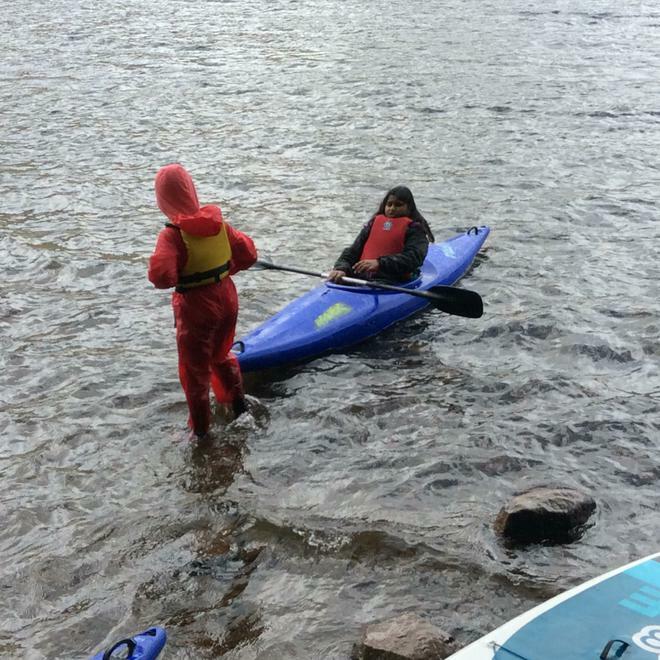 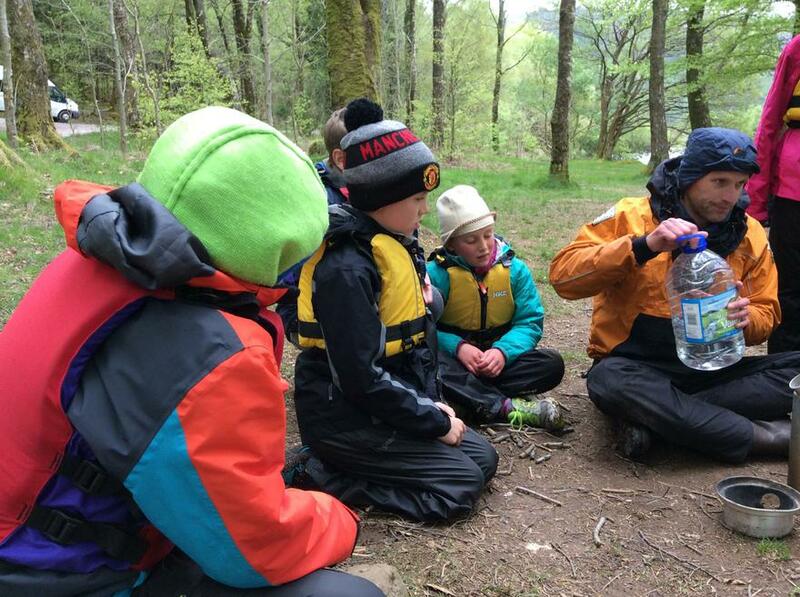 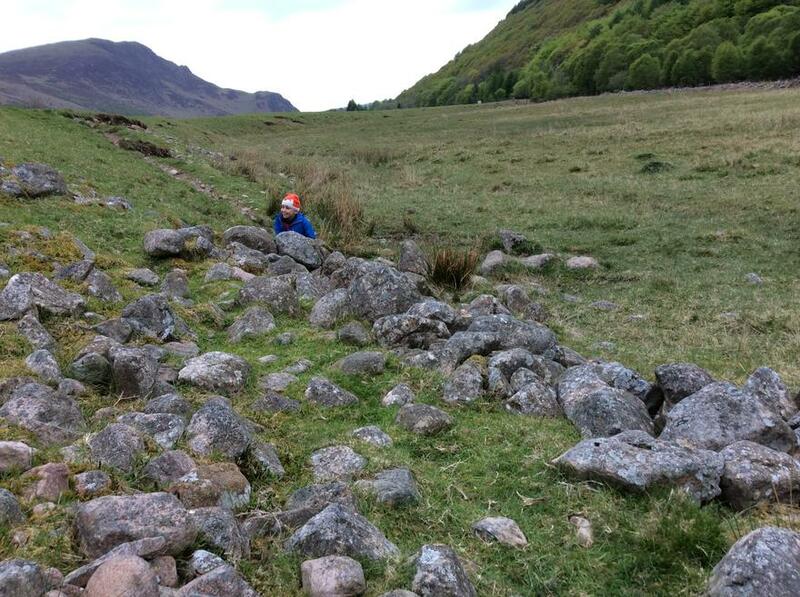 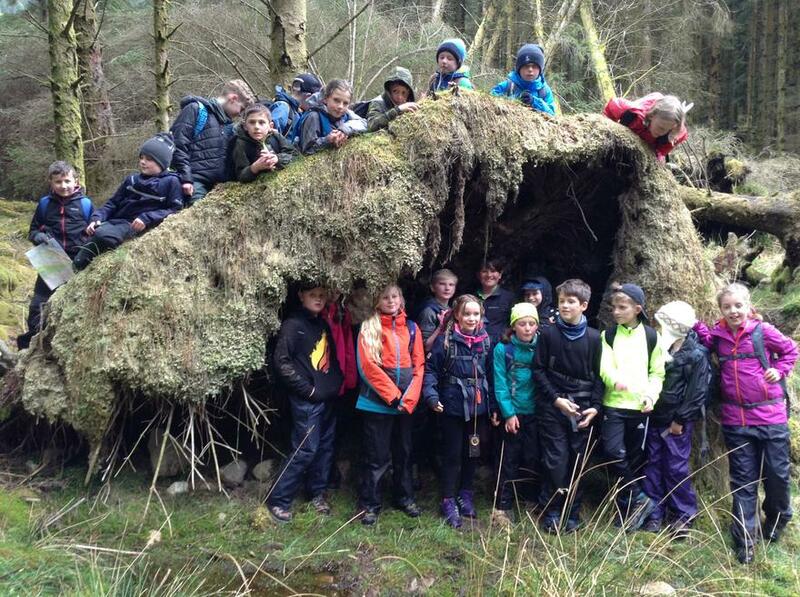 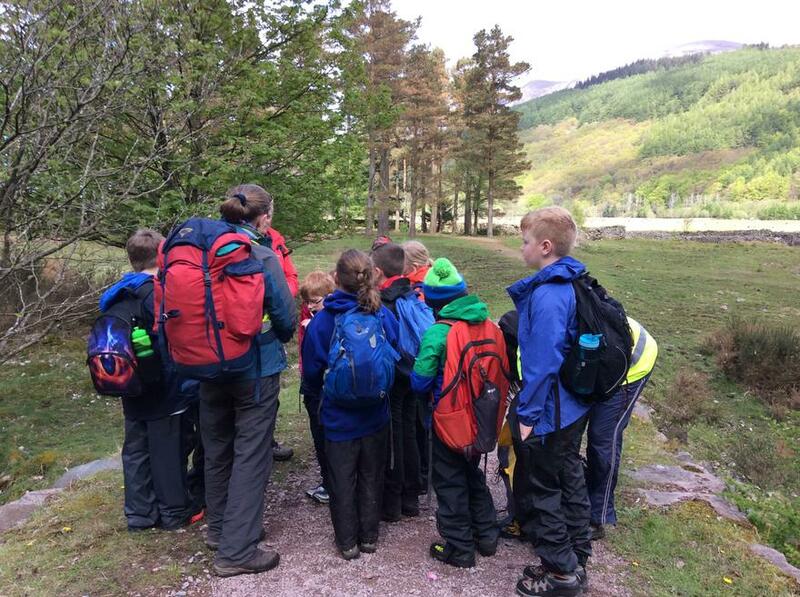 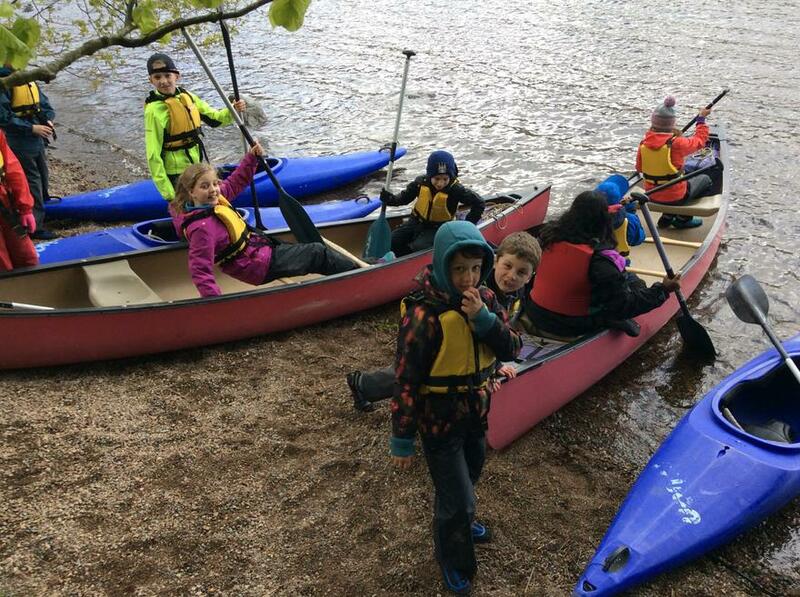 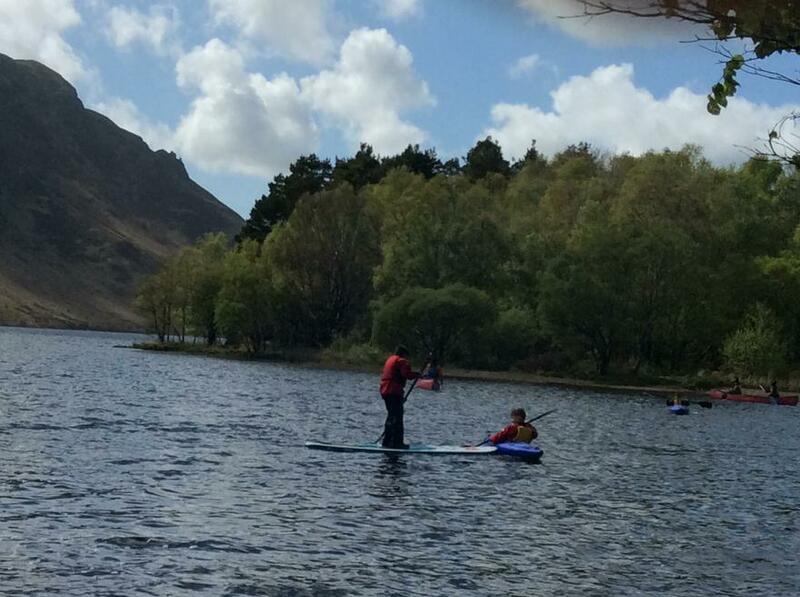 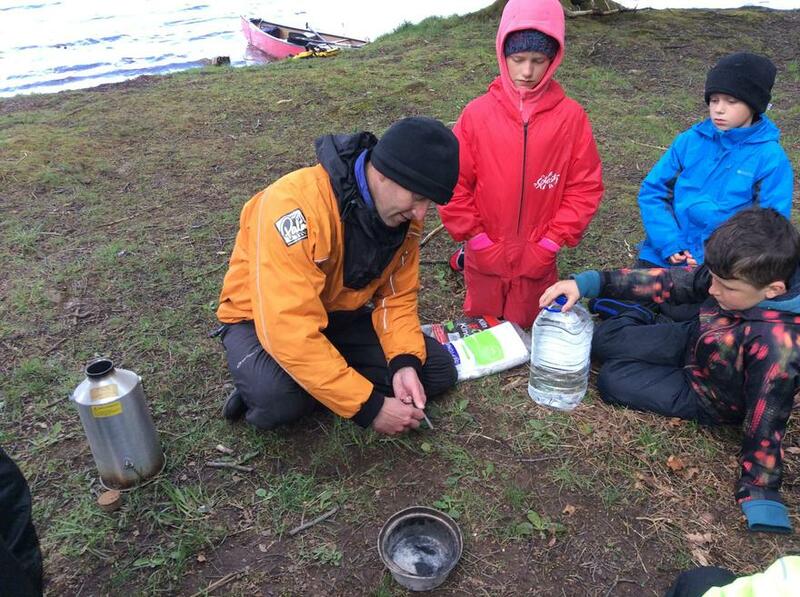 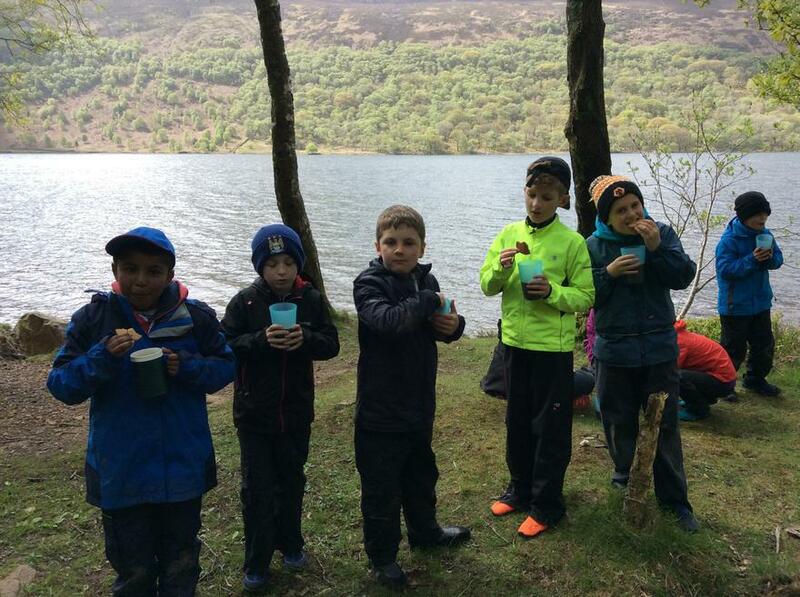 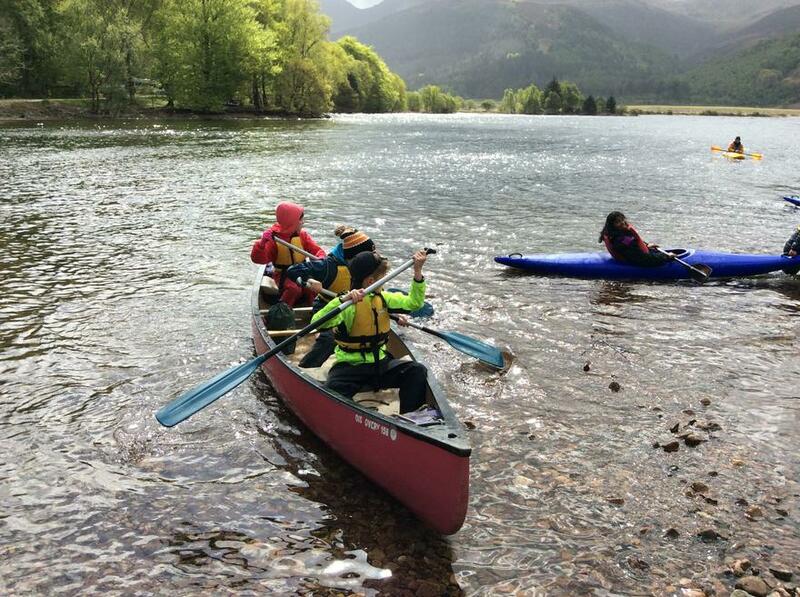 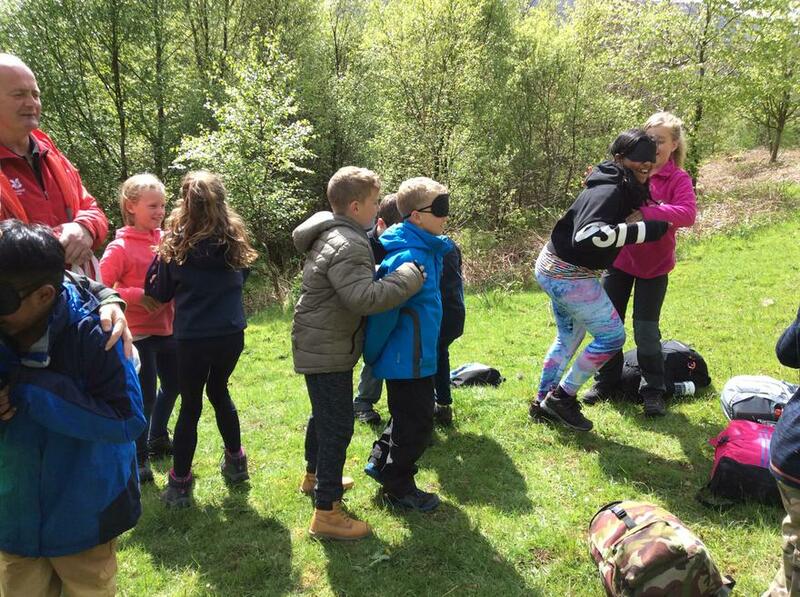 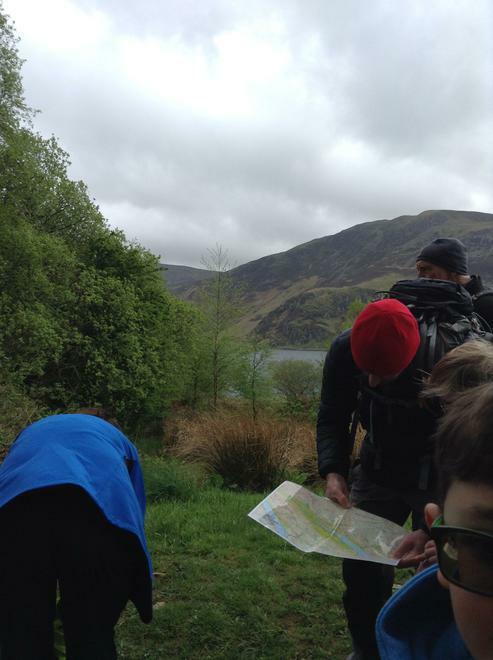 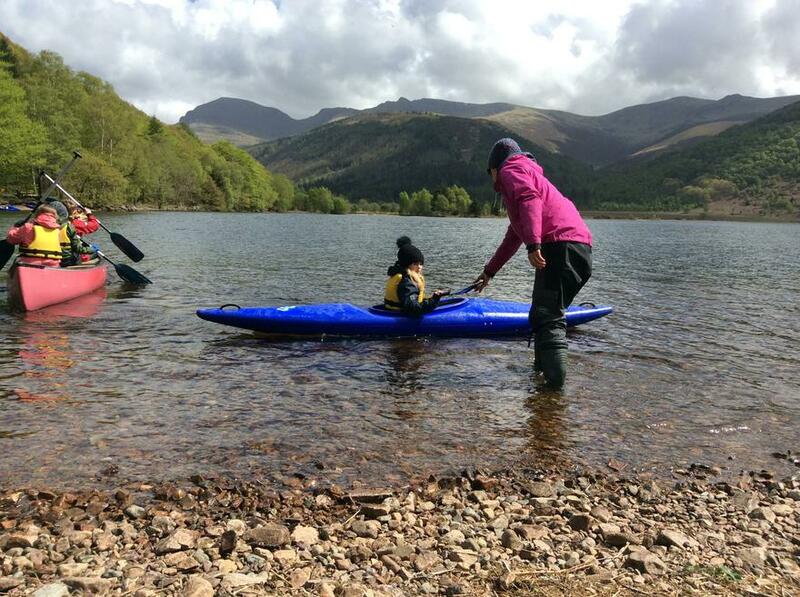 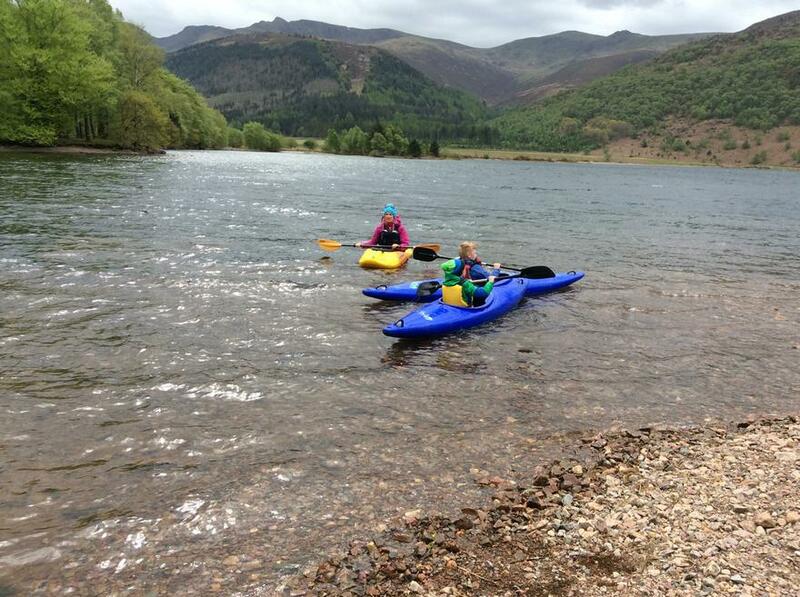 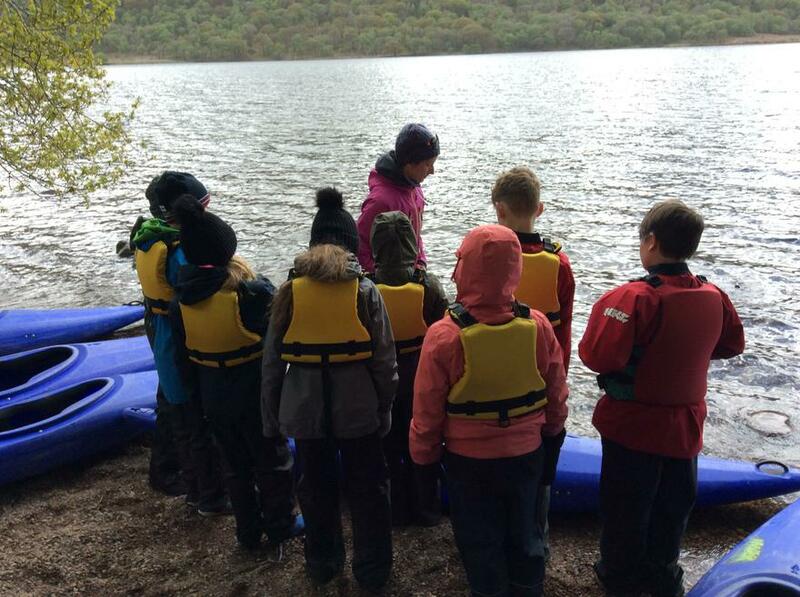 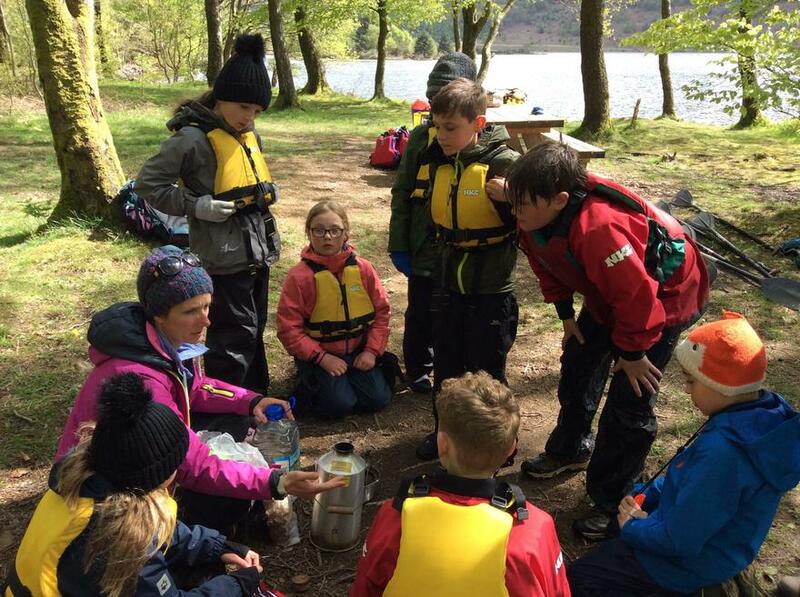 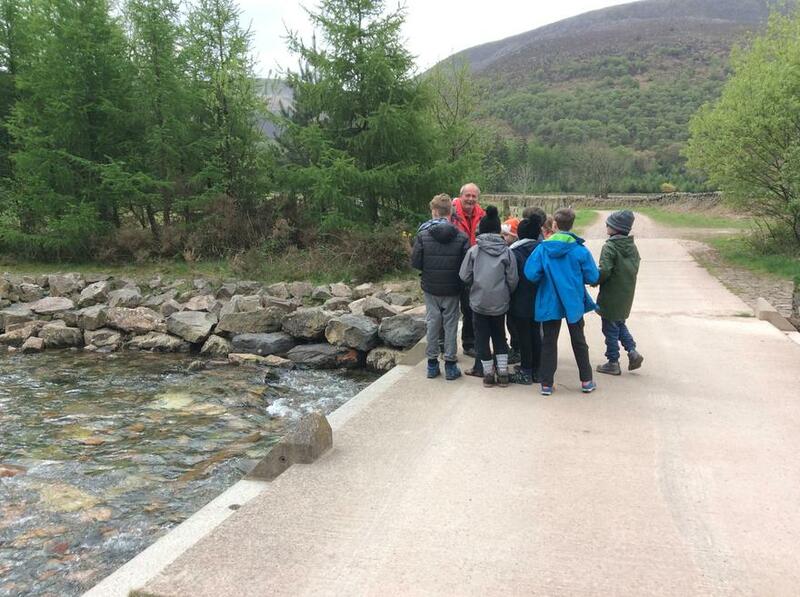 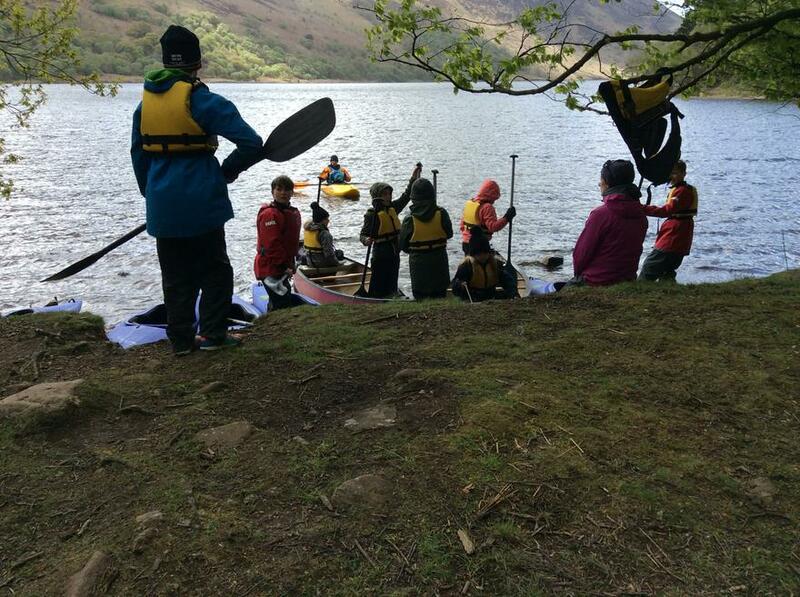 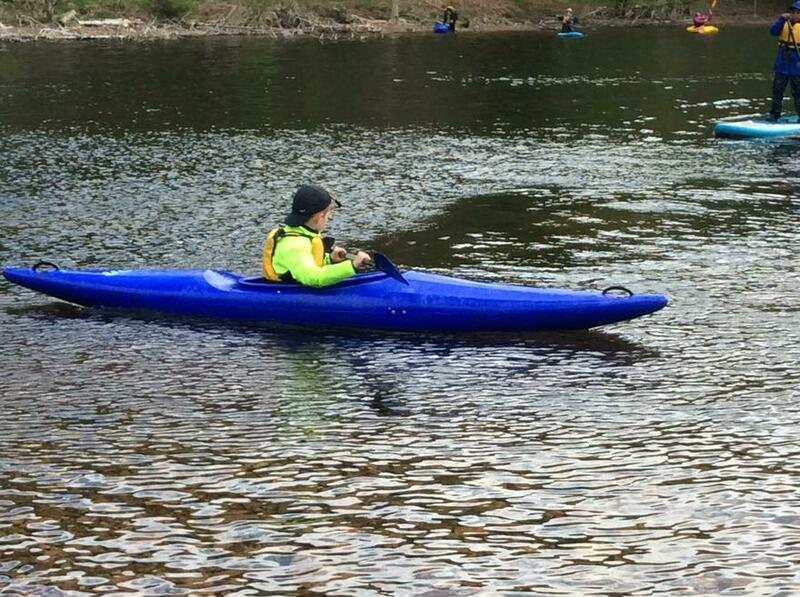 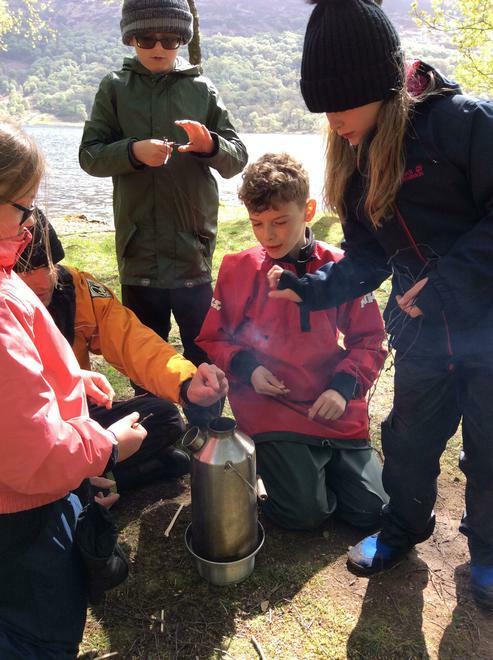 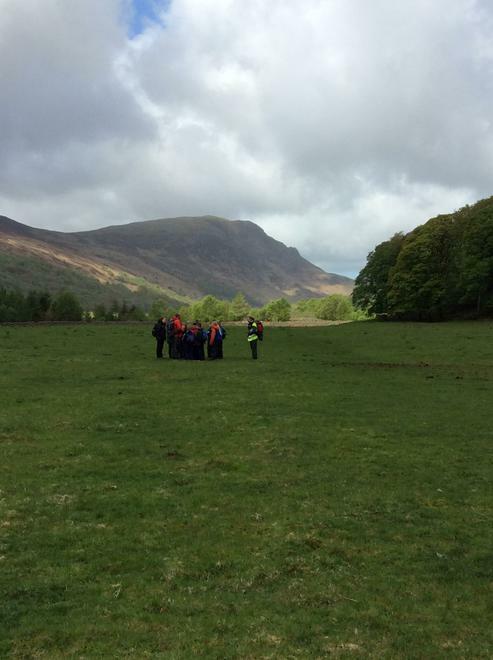 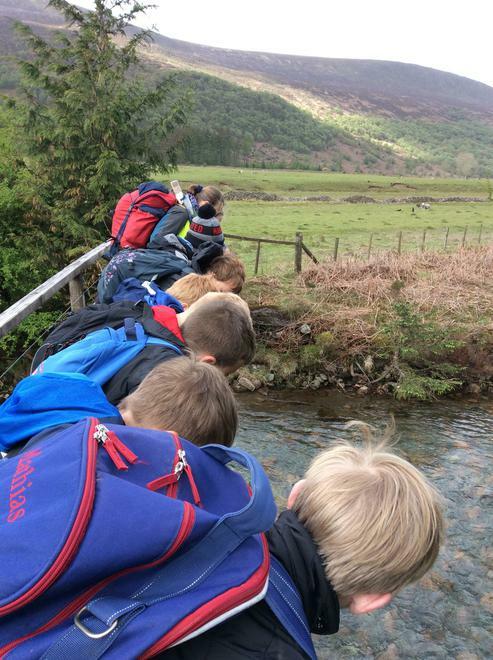 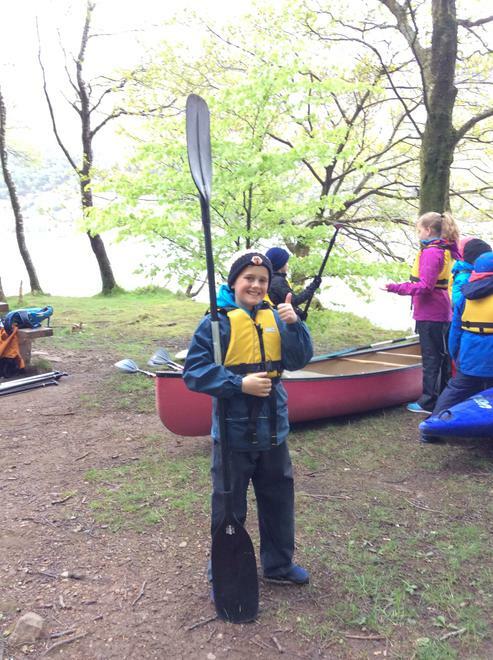 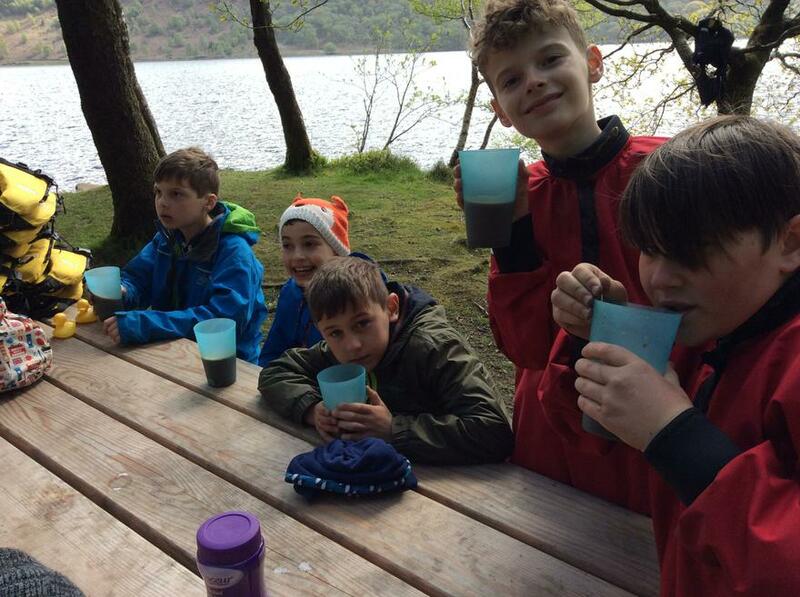 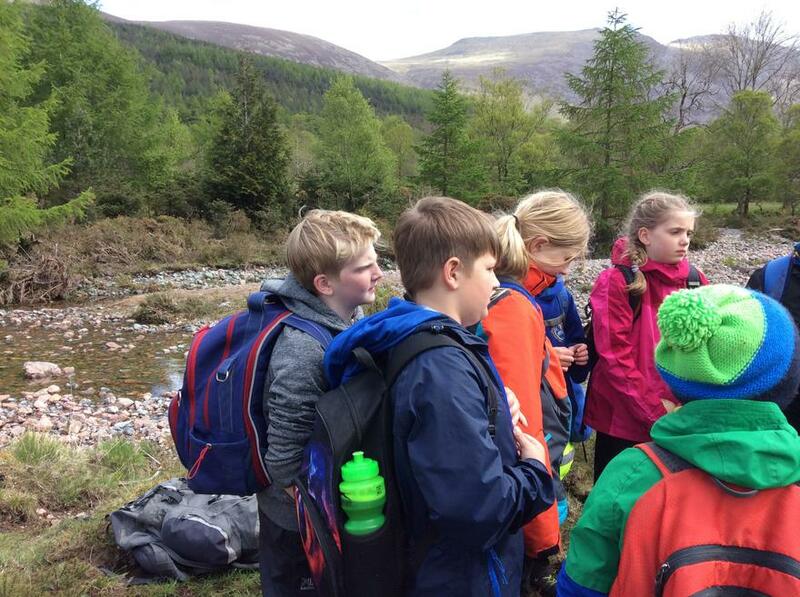 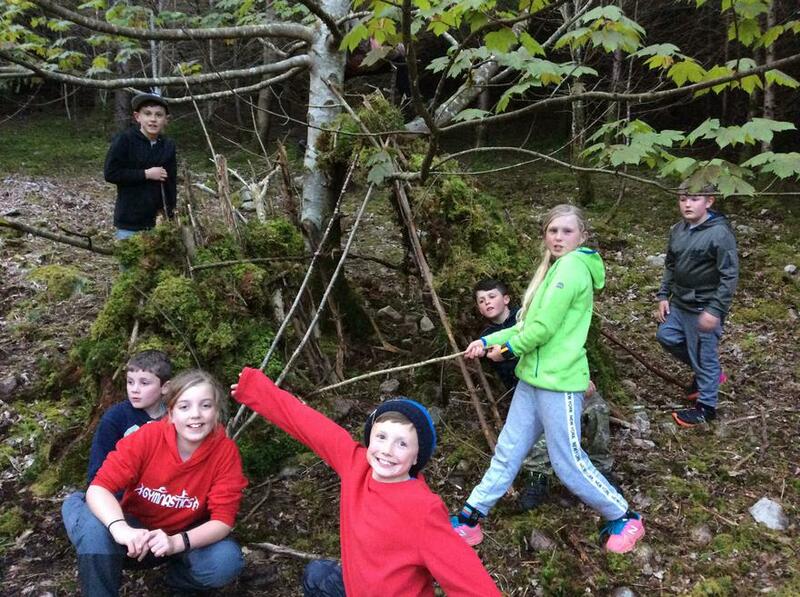 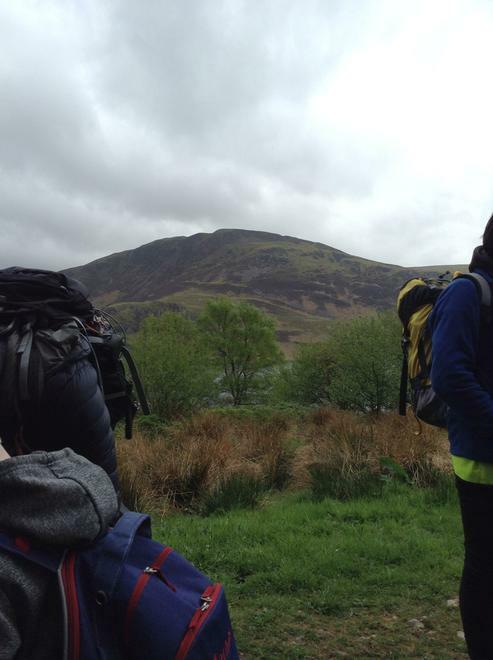 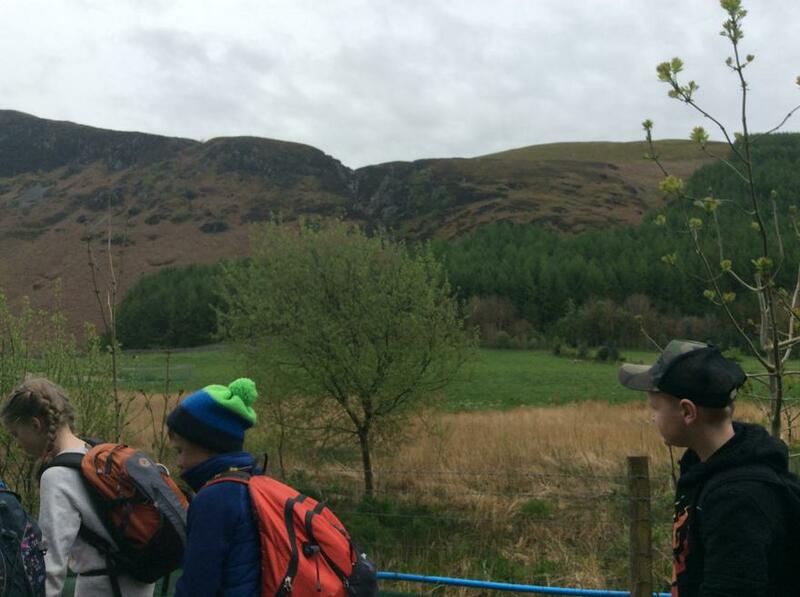 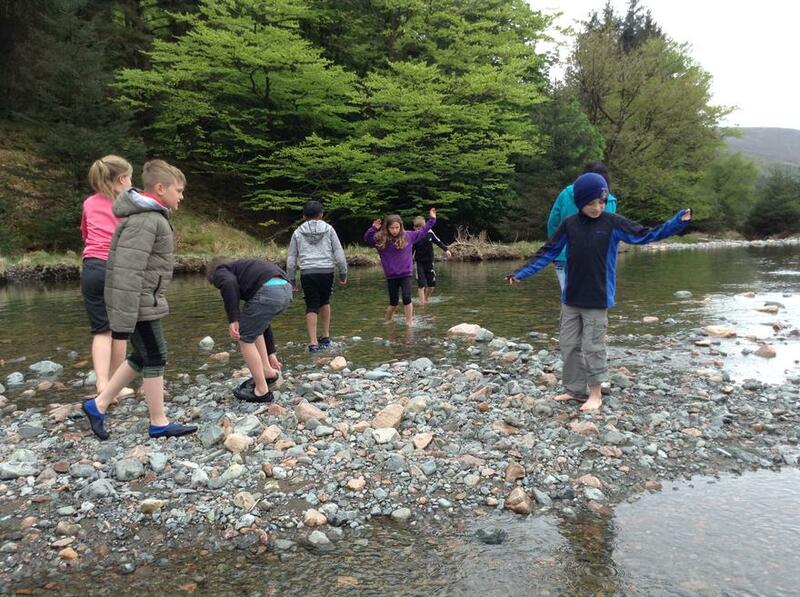 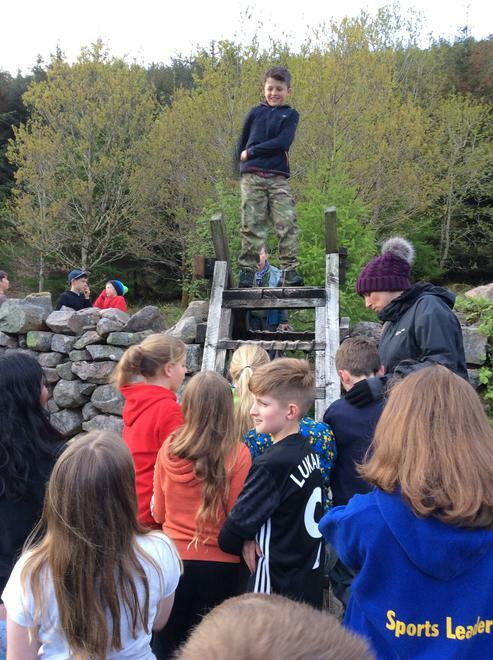 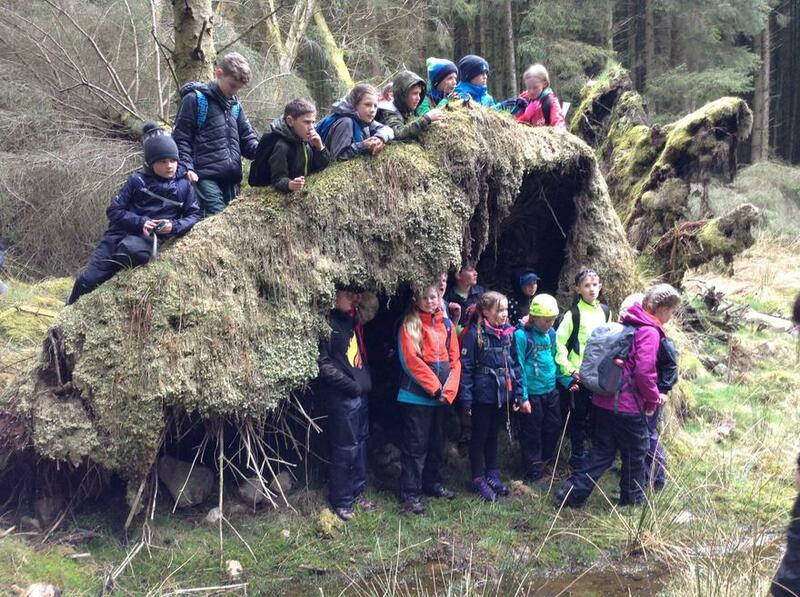 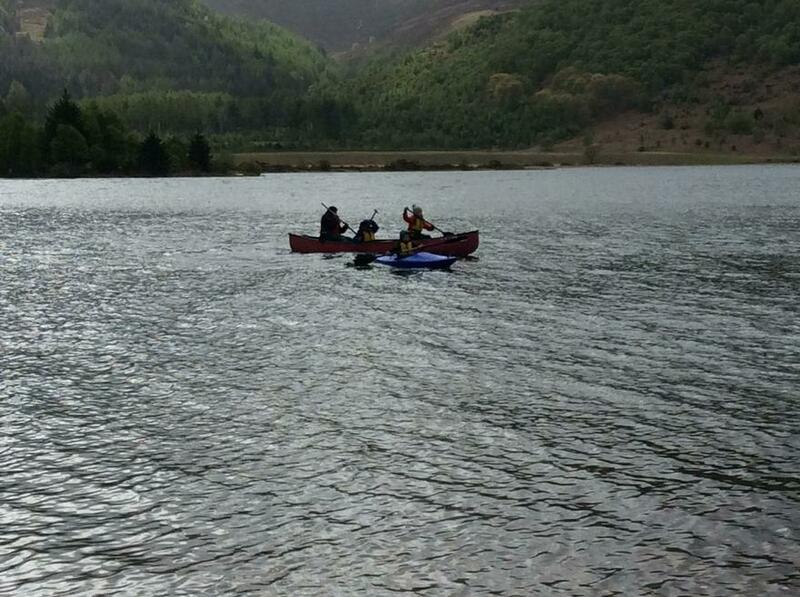 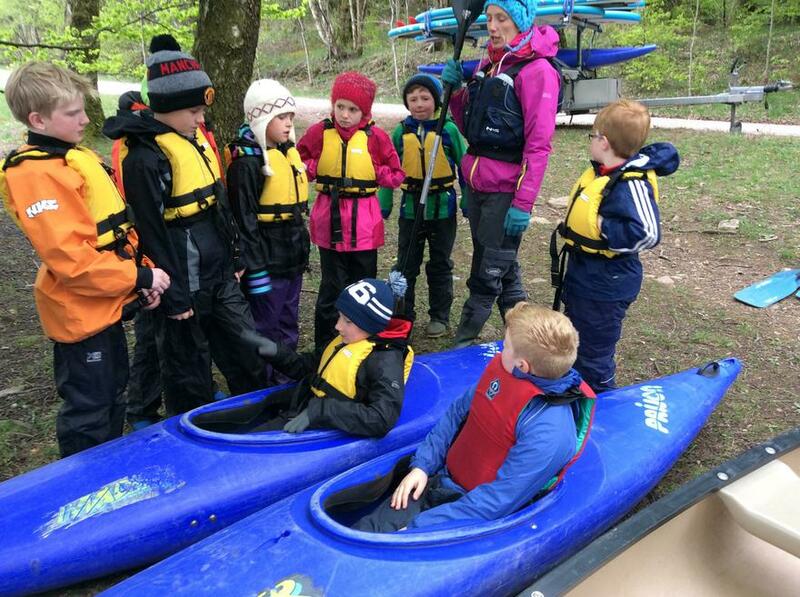 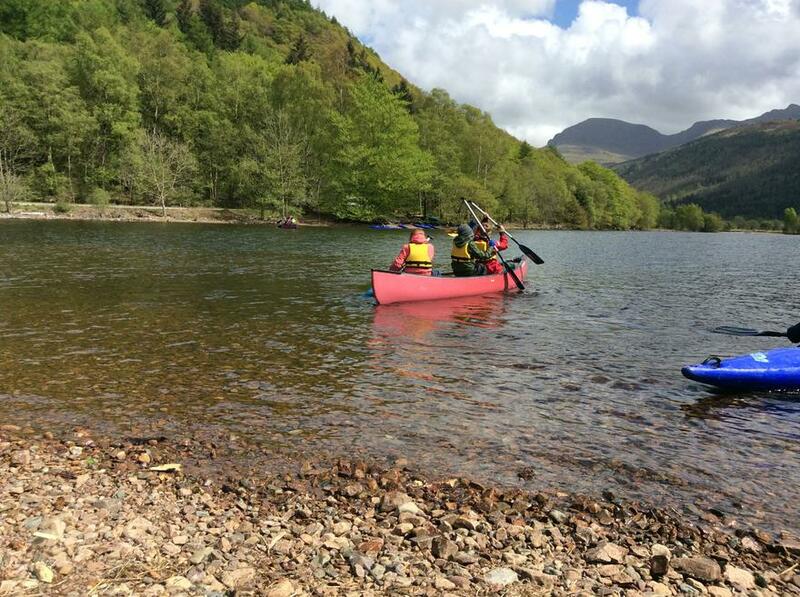 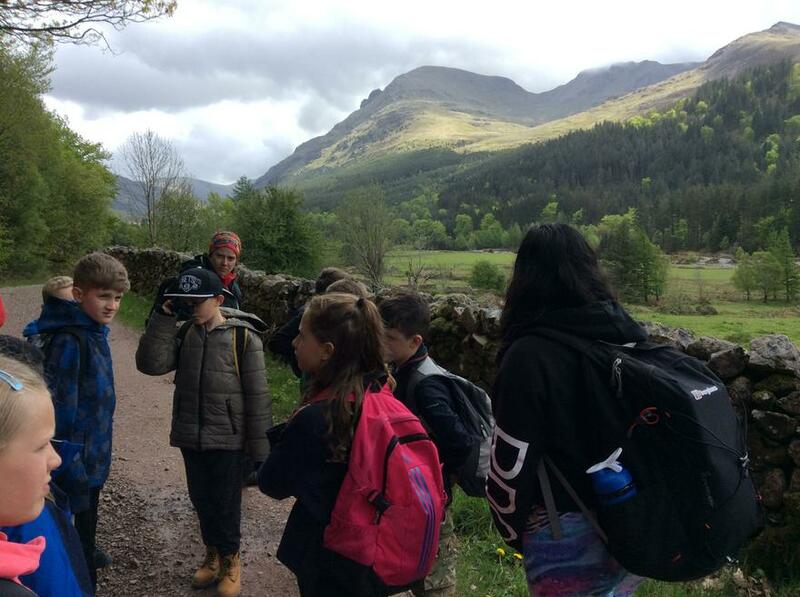 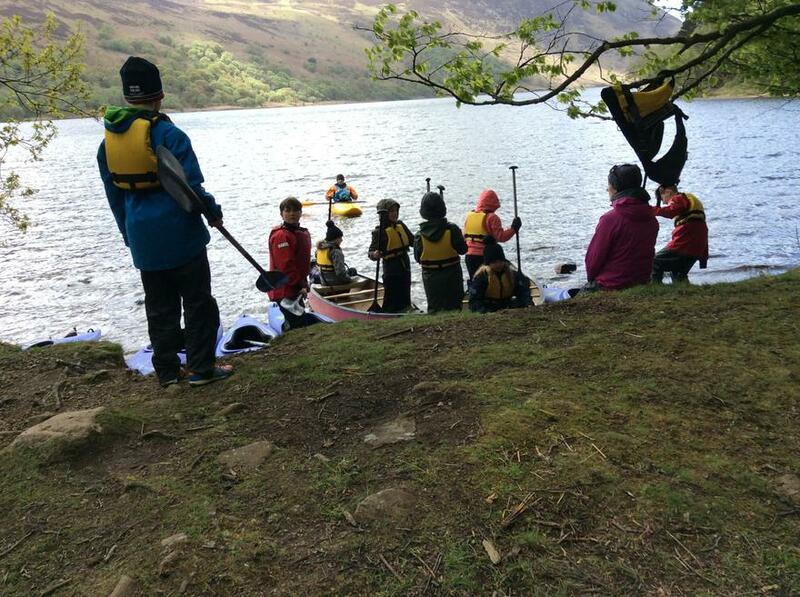 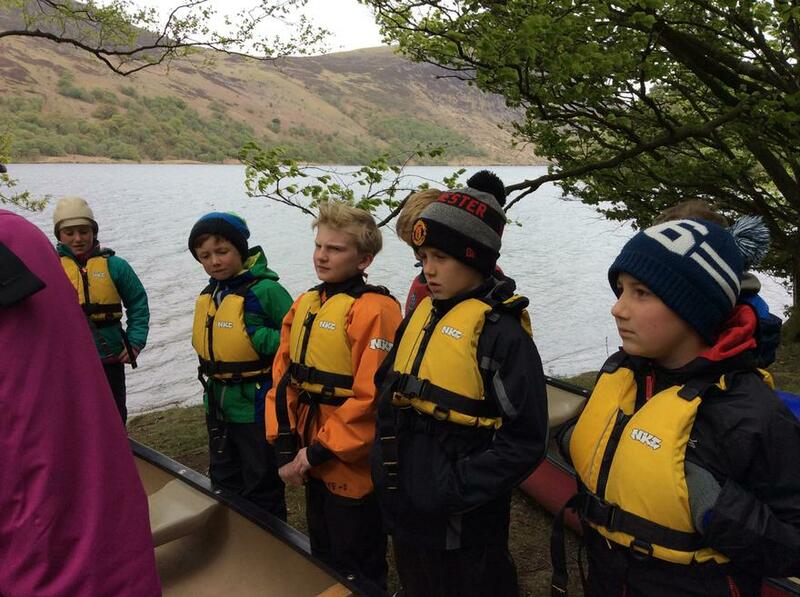 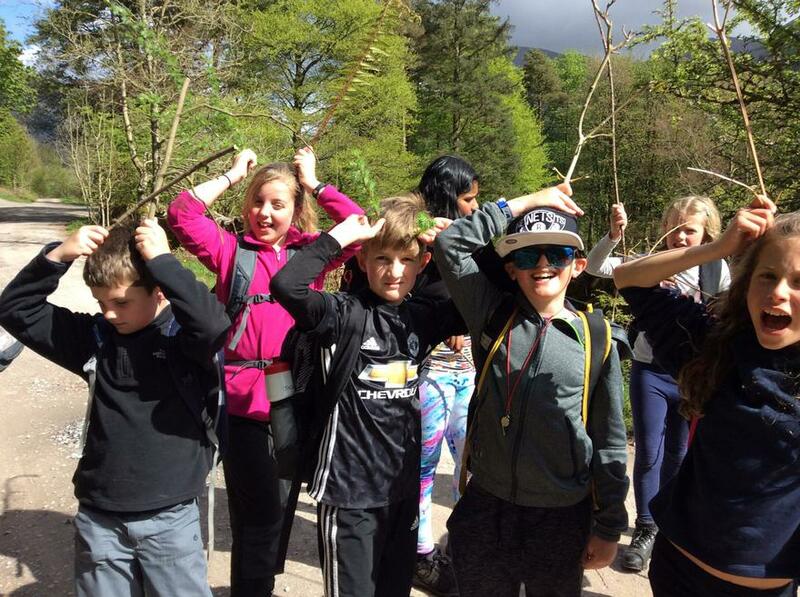 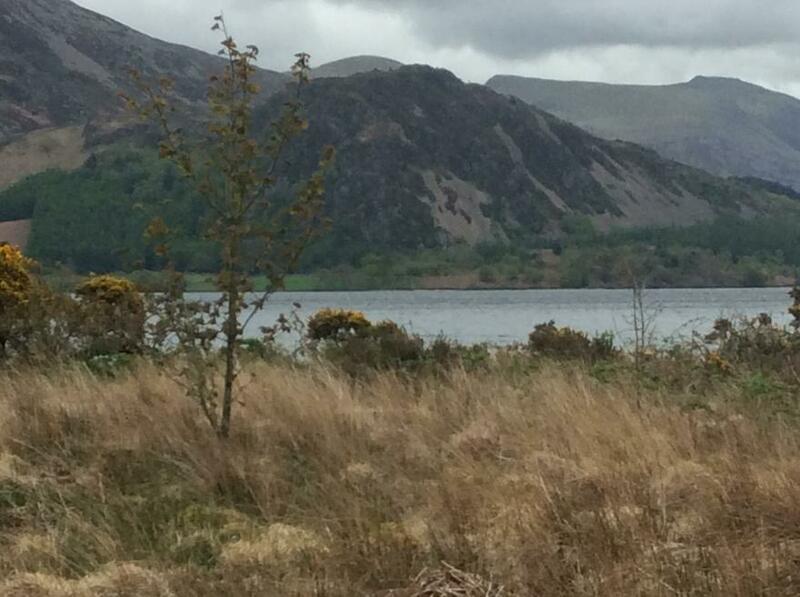 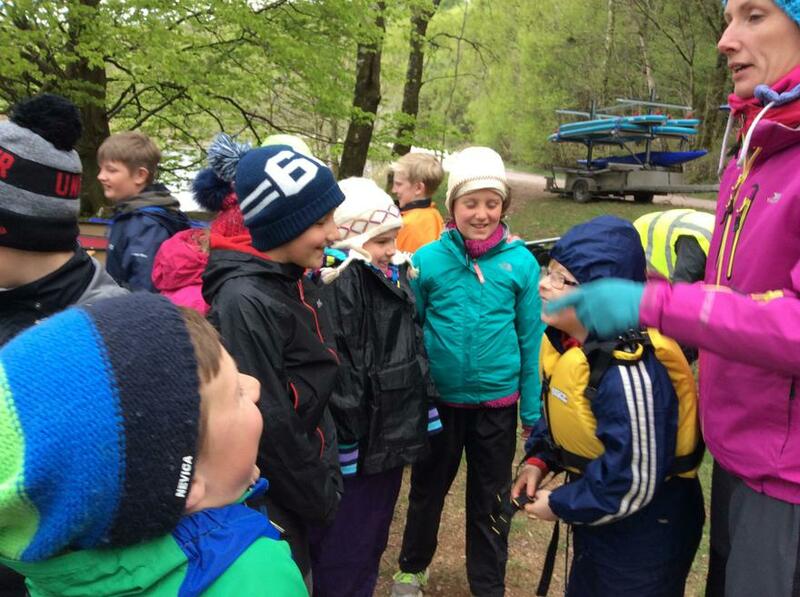 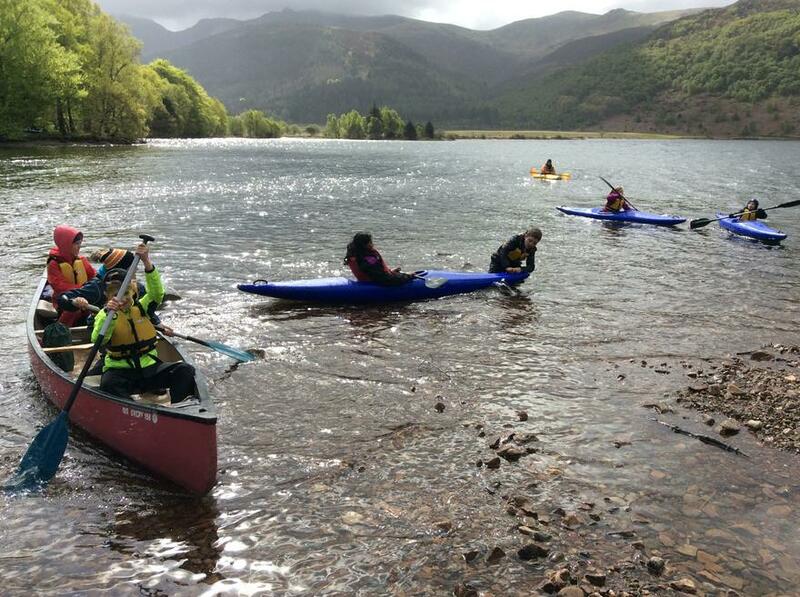 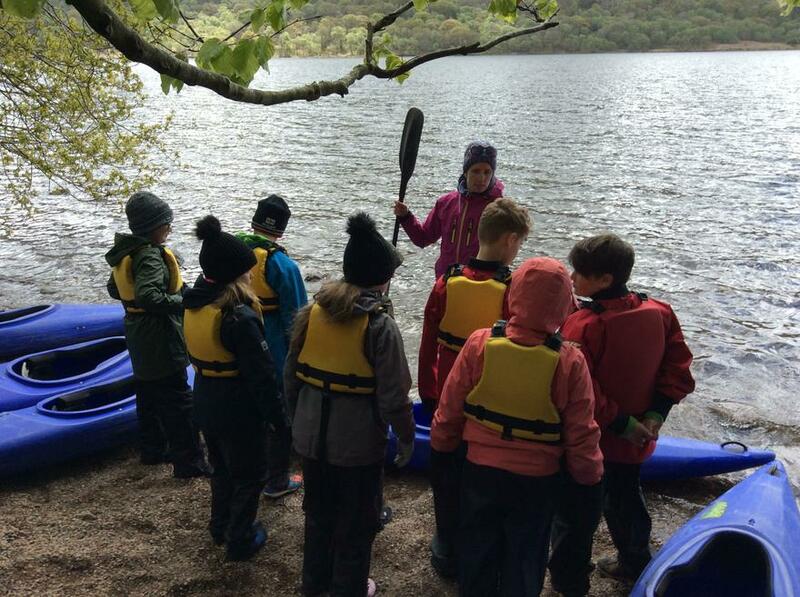 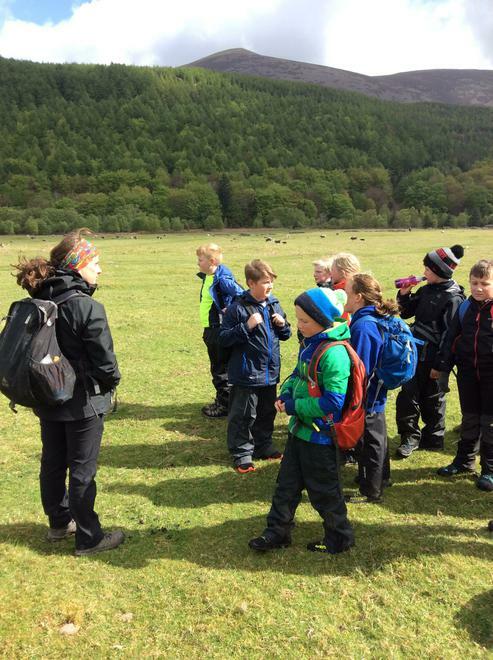 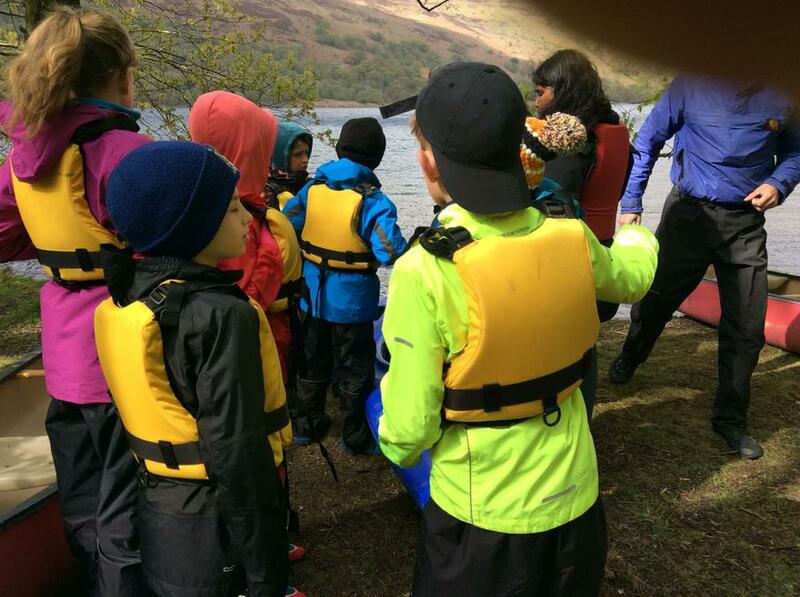 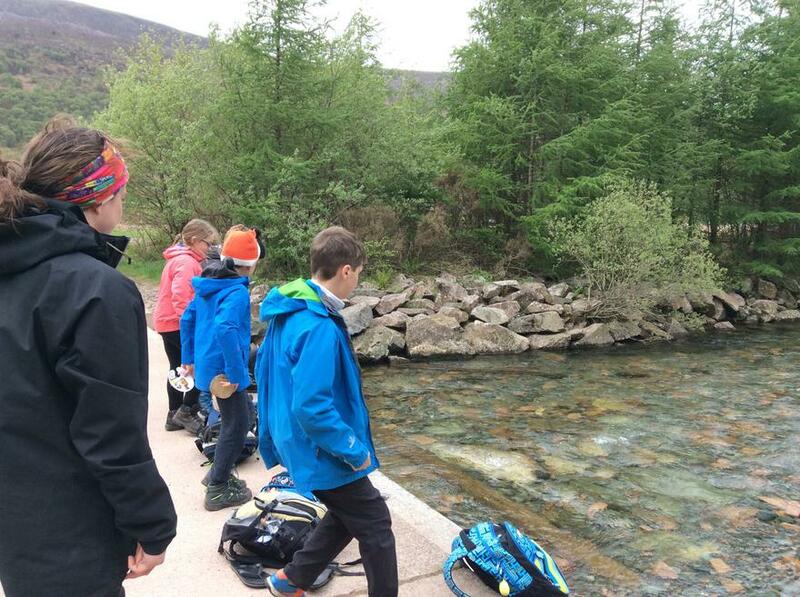 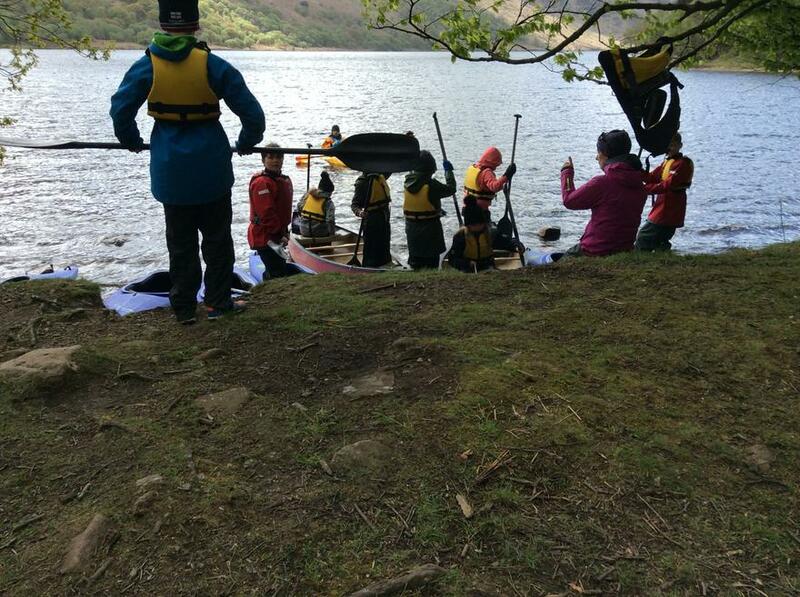 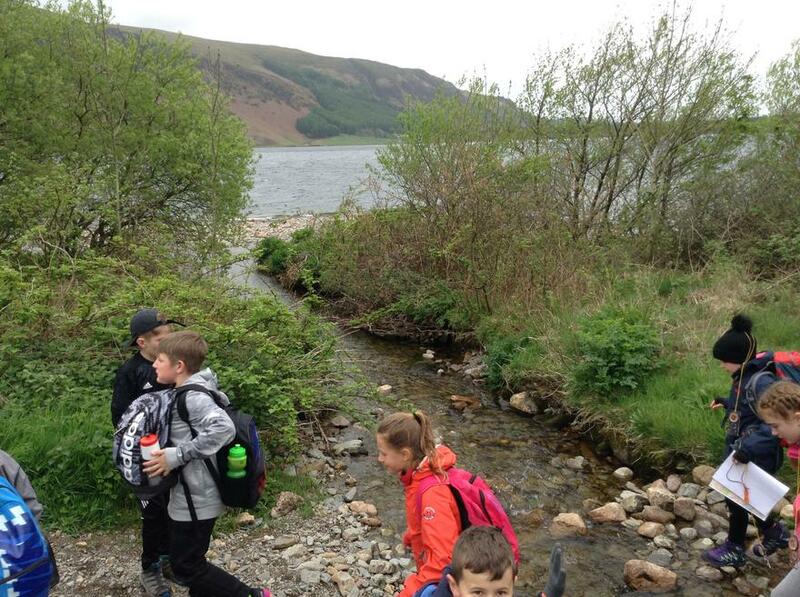 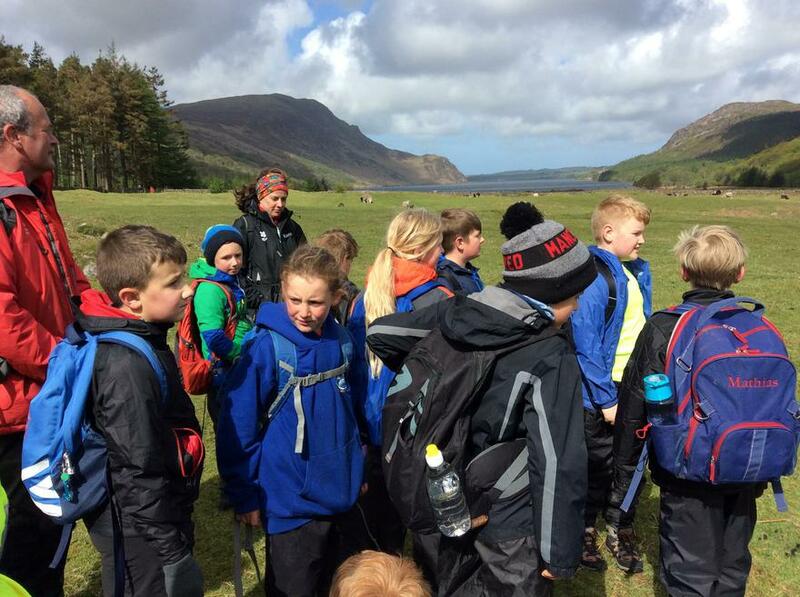 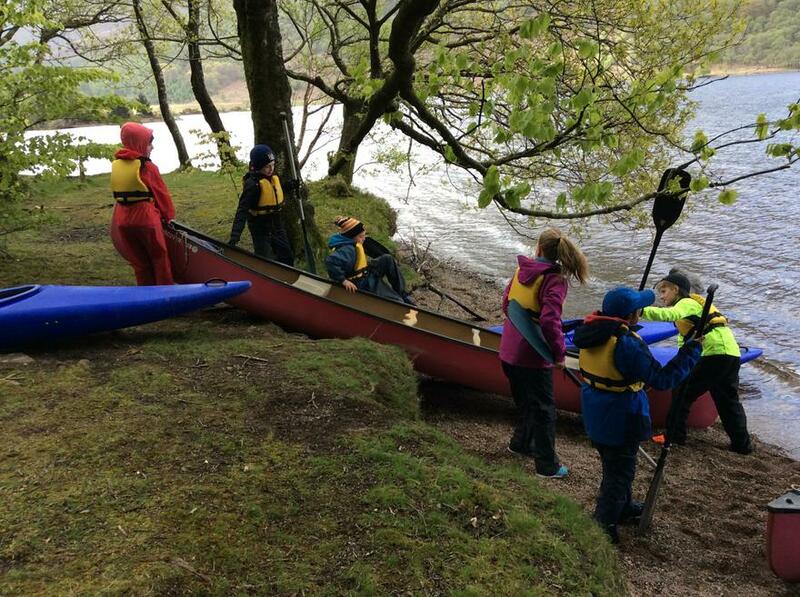 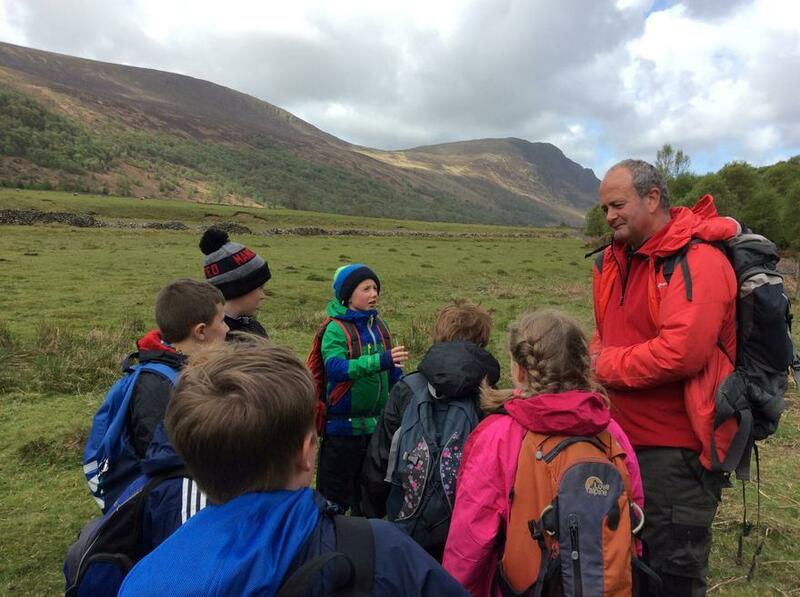 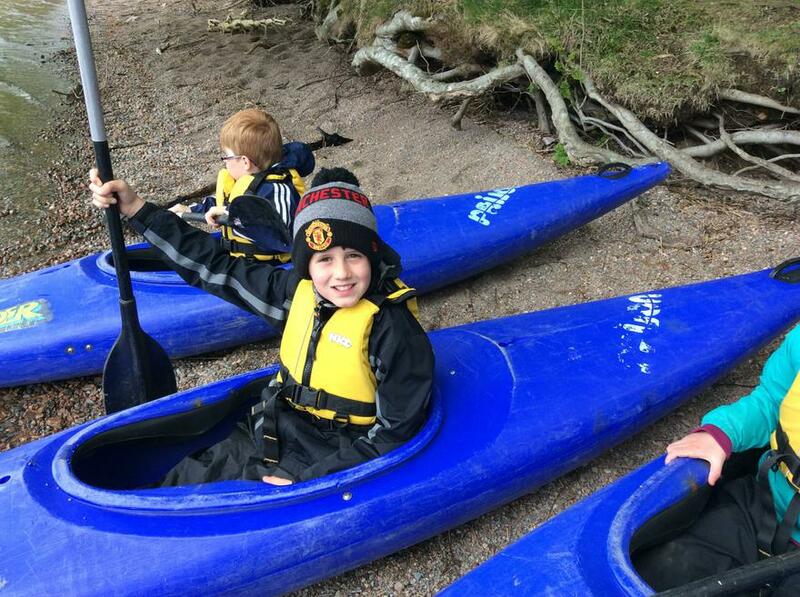 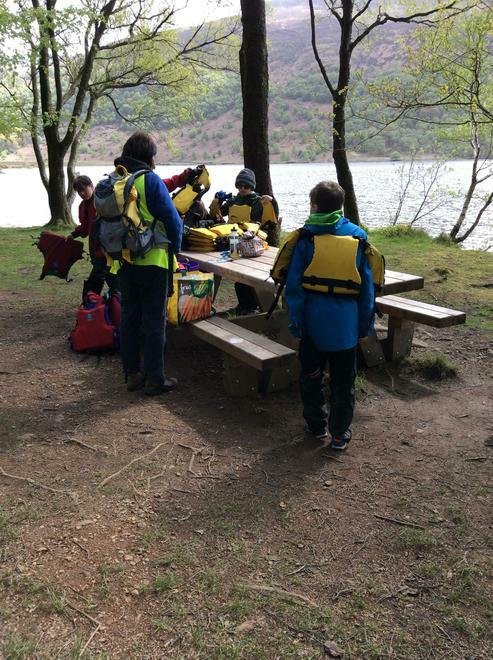 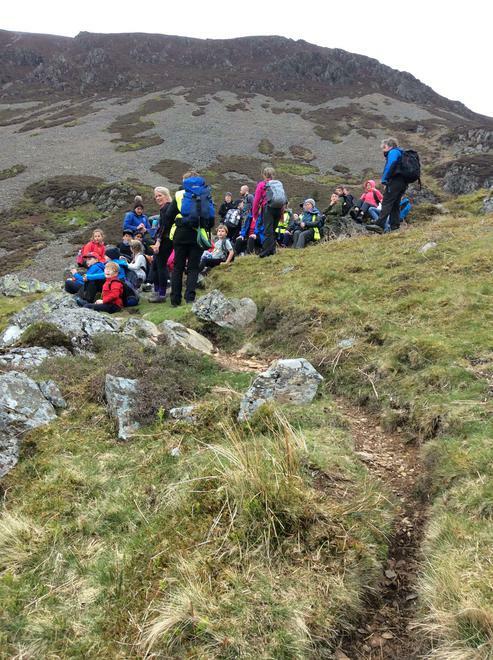 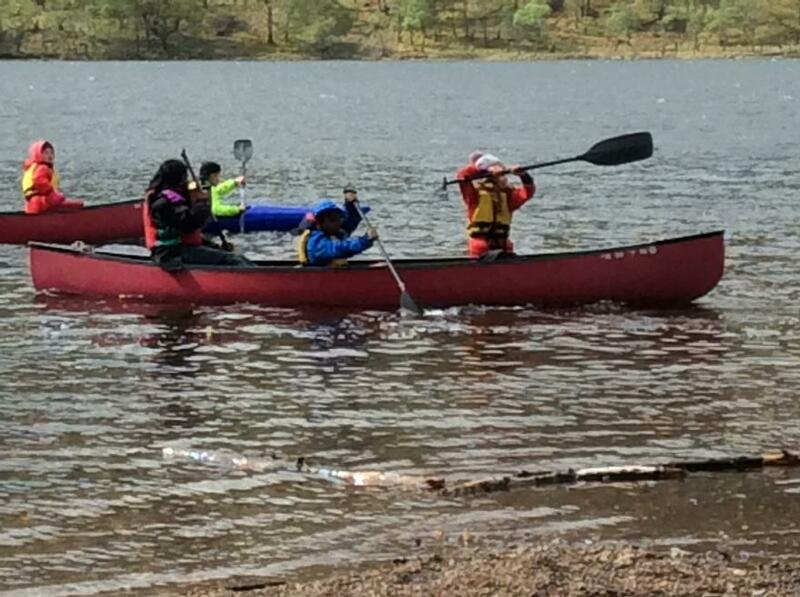 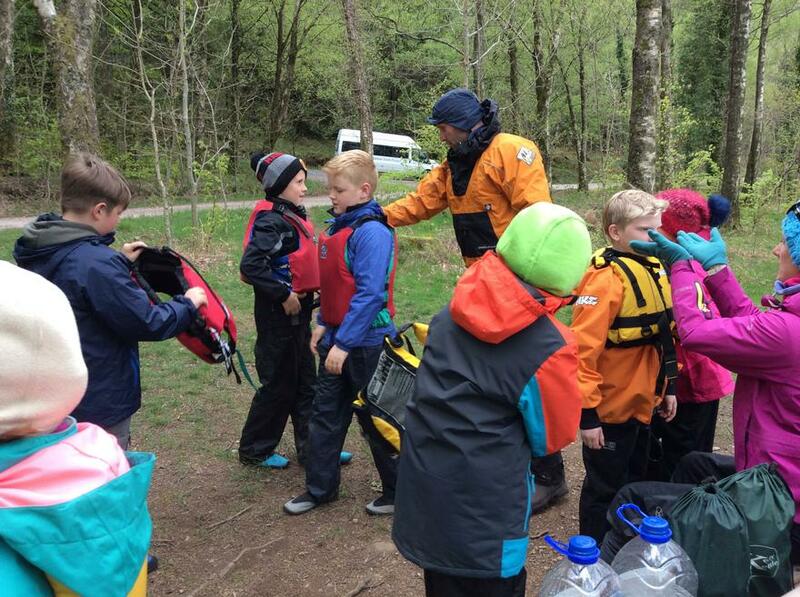 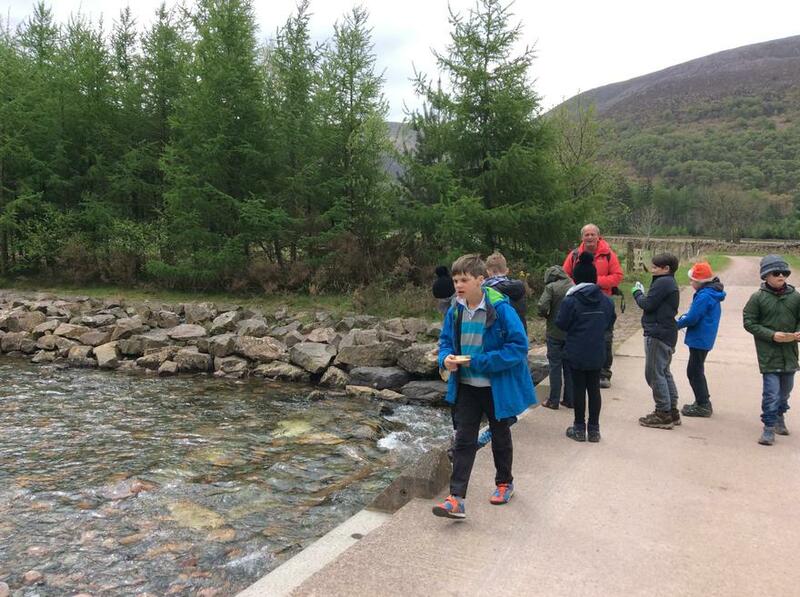 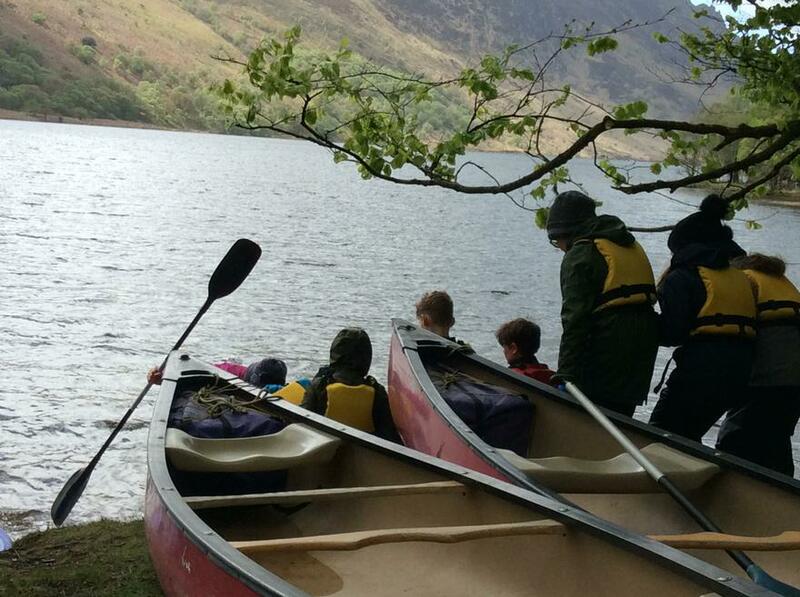 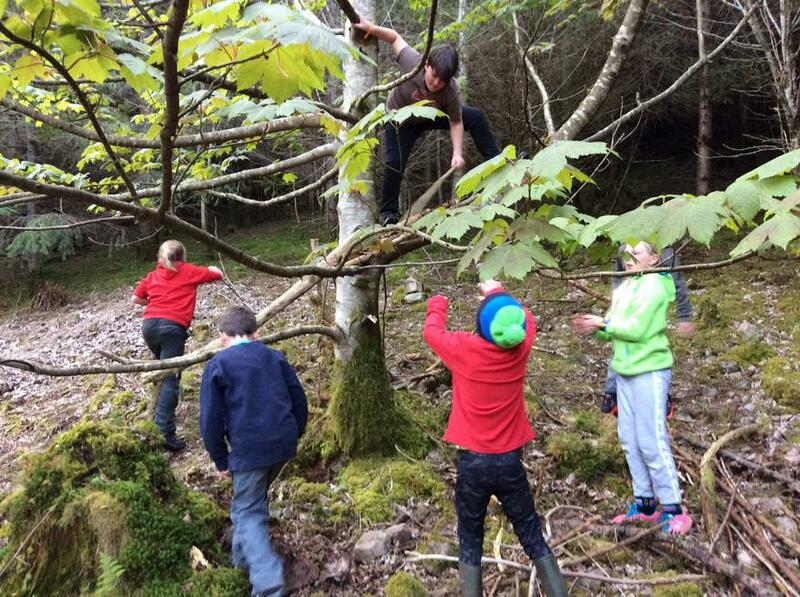 Year 5 Residential - Wild Ennerdale. 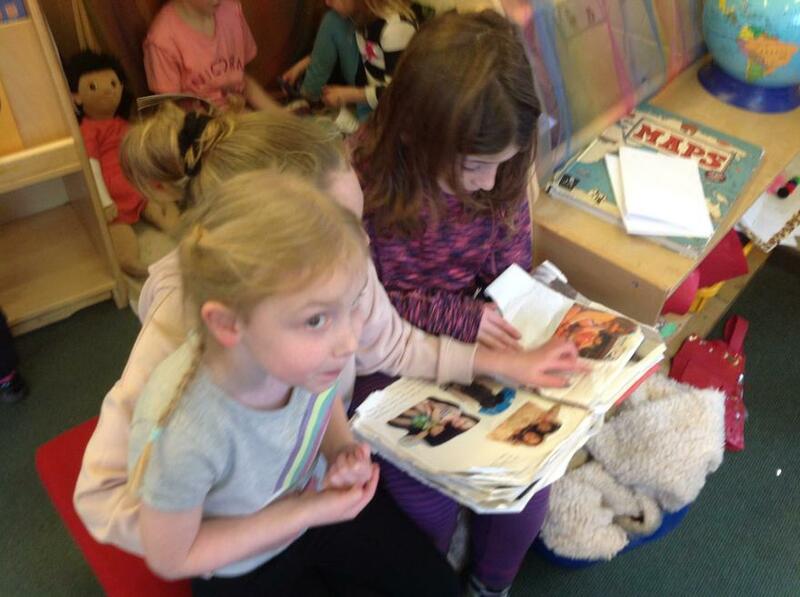 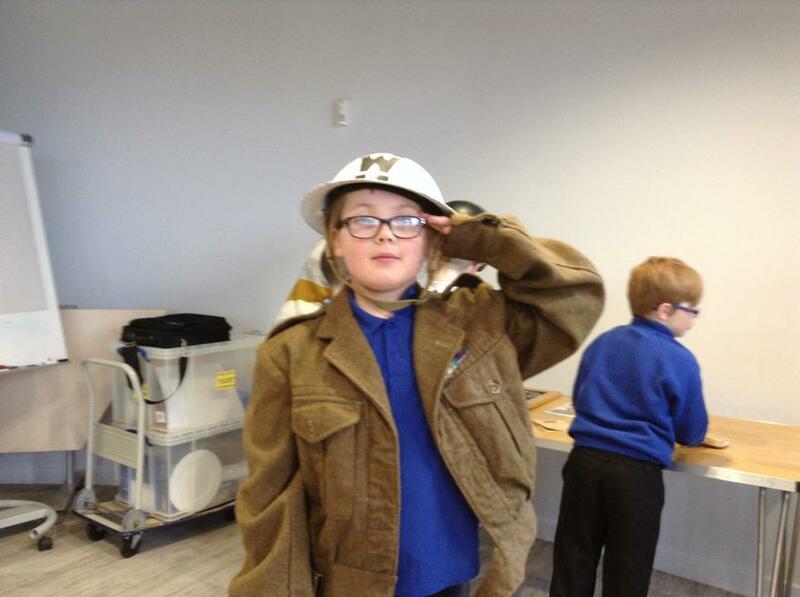 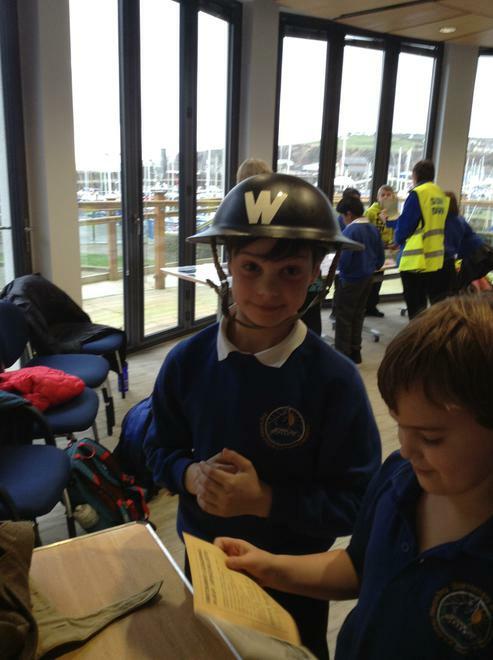 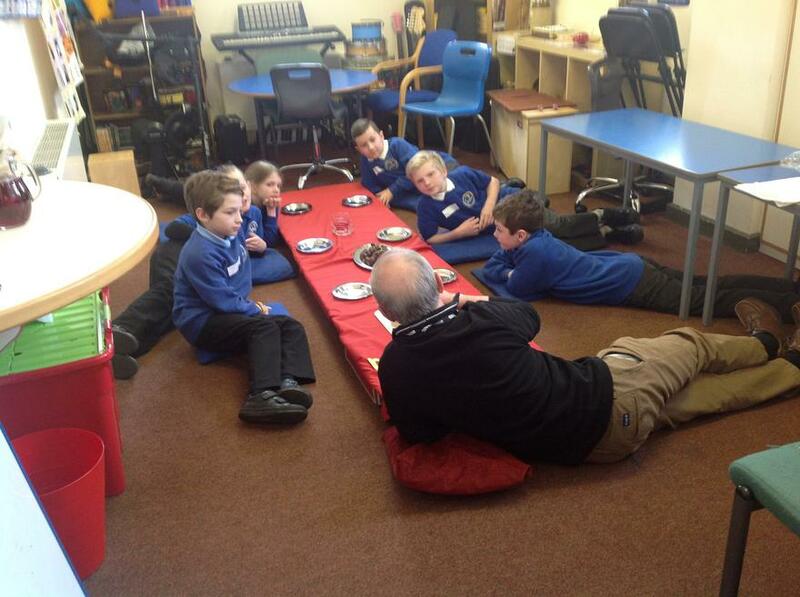 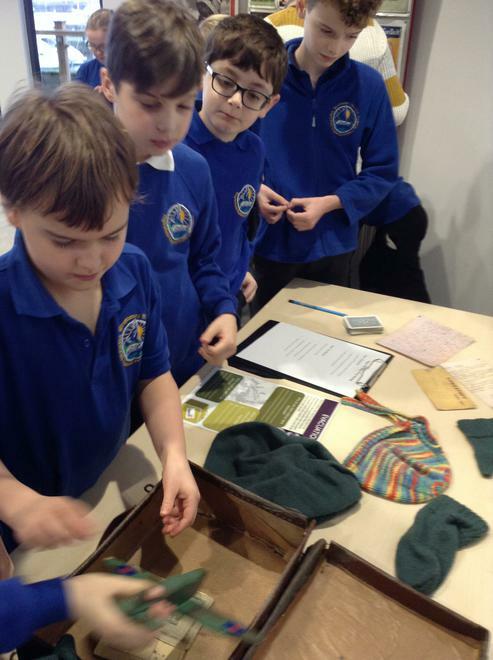 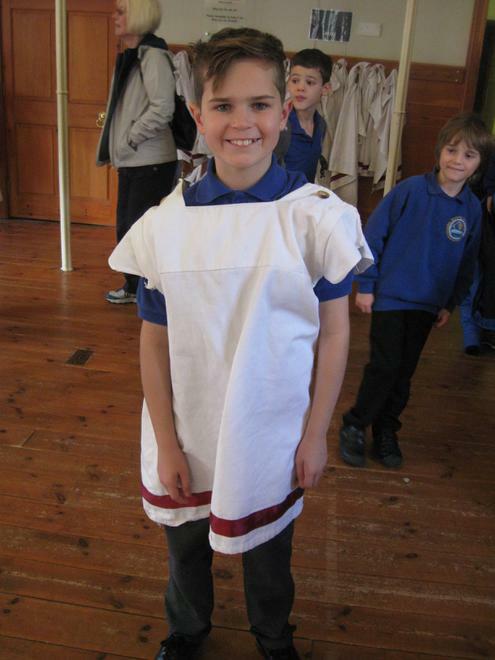 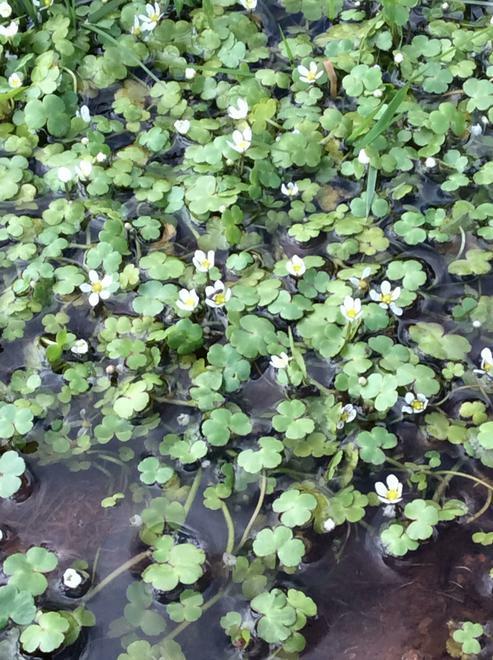 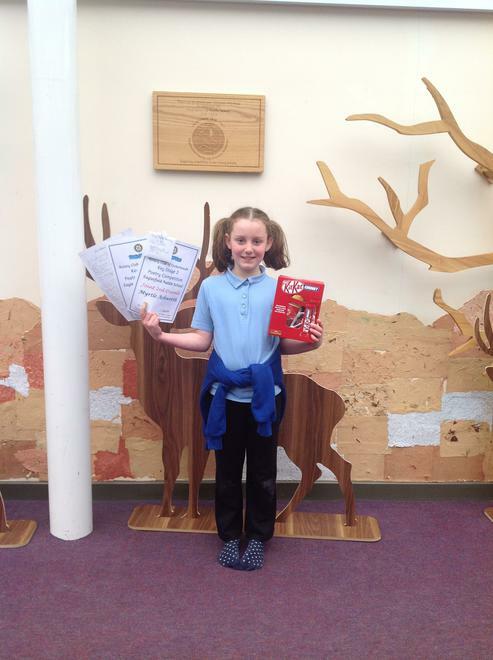 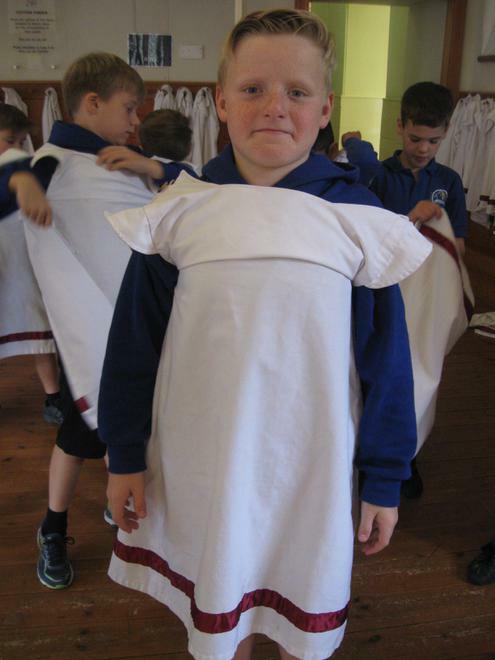 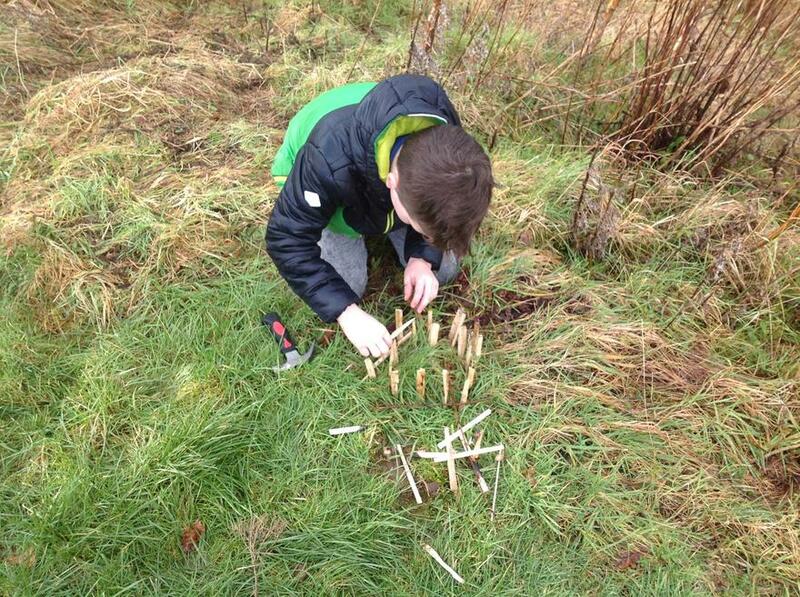 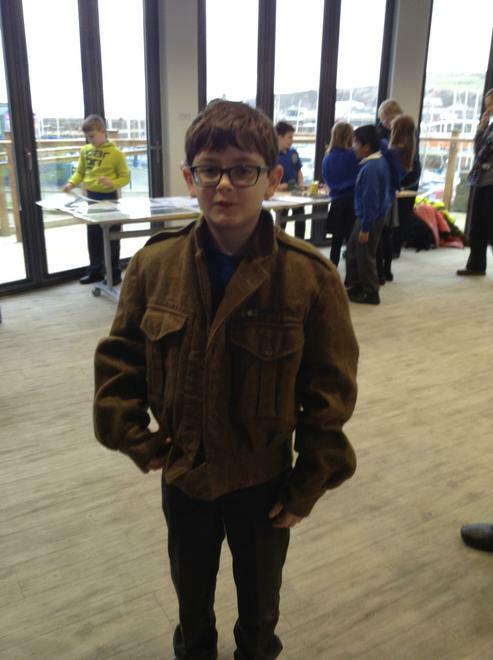 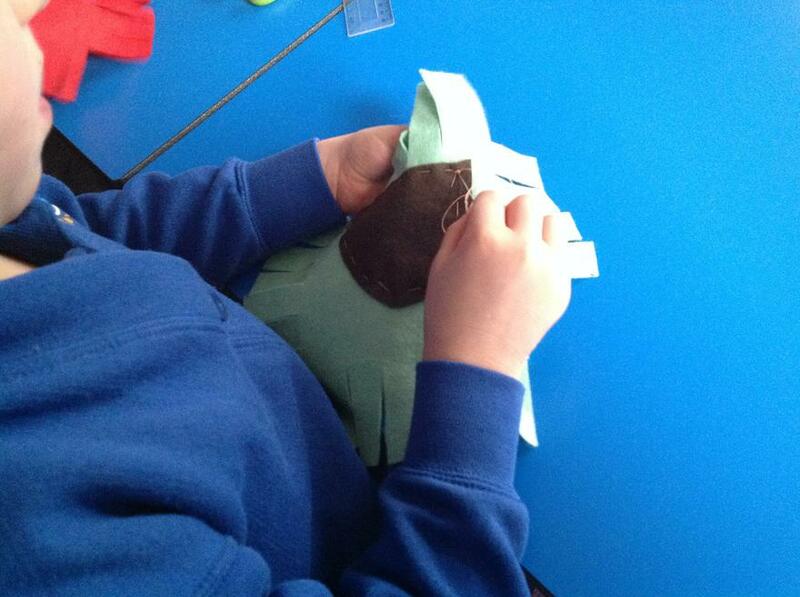 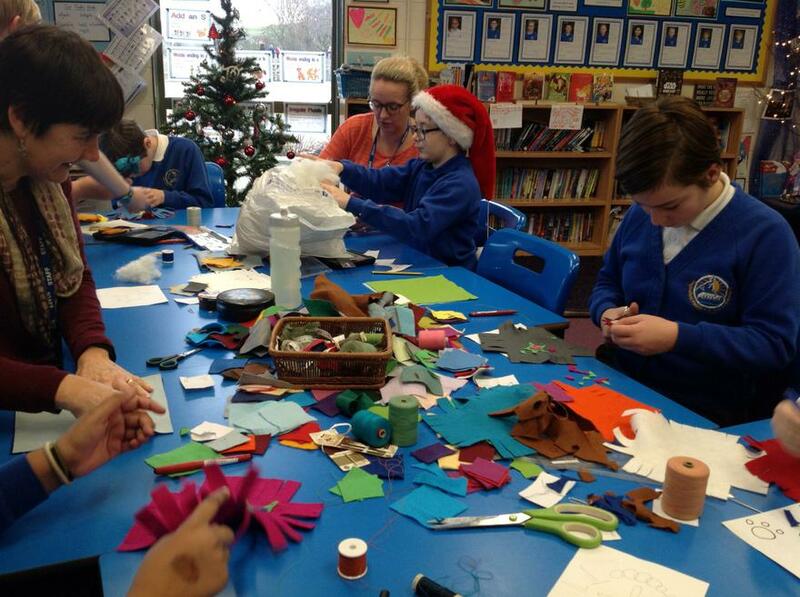 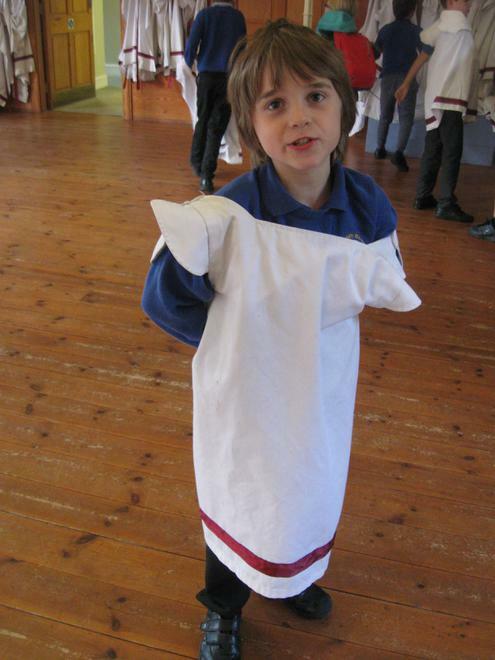 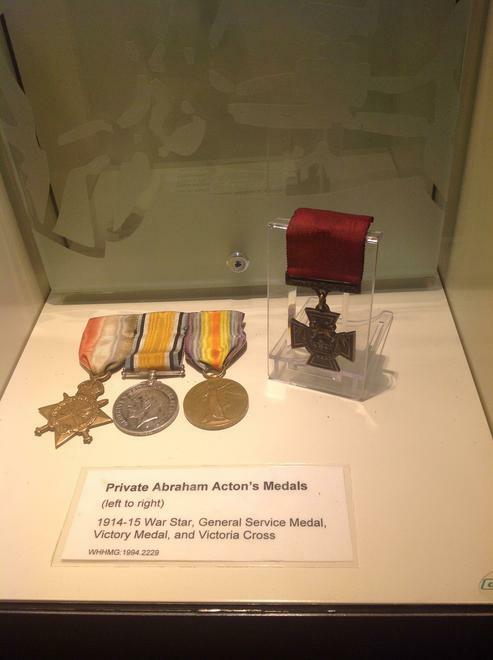 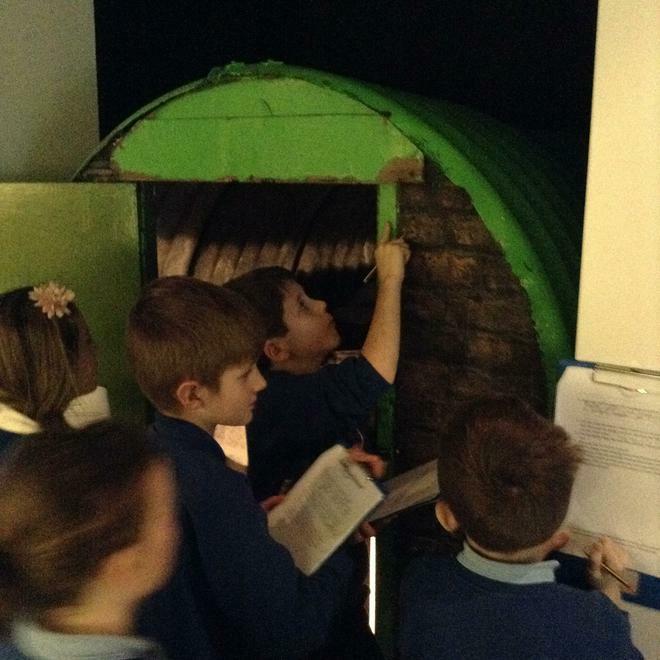 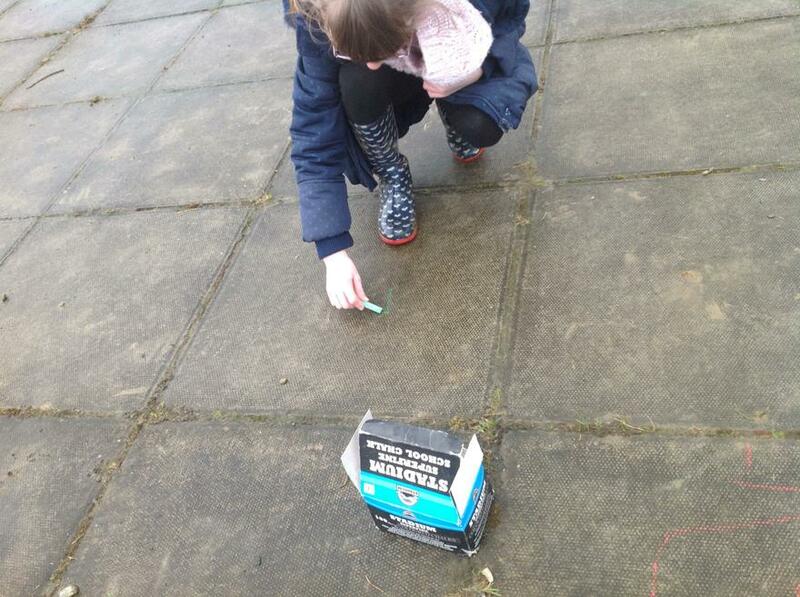 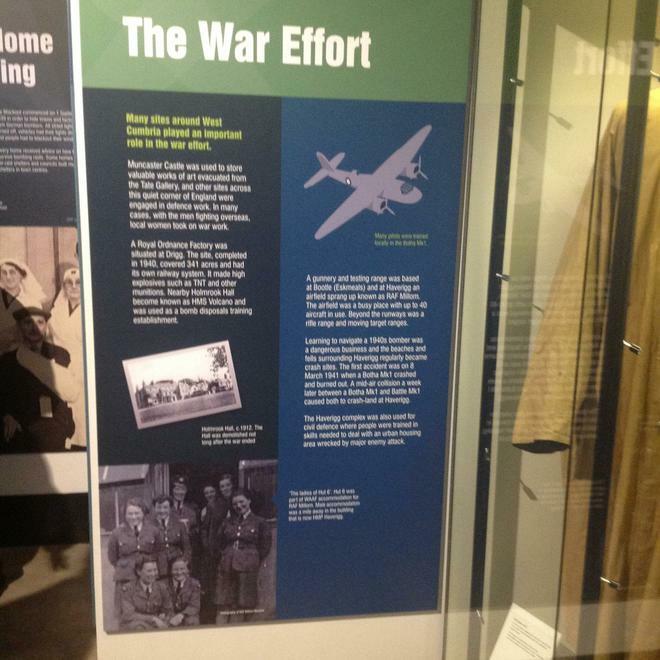 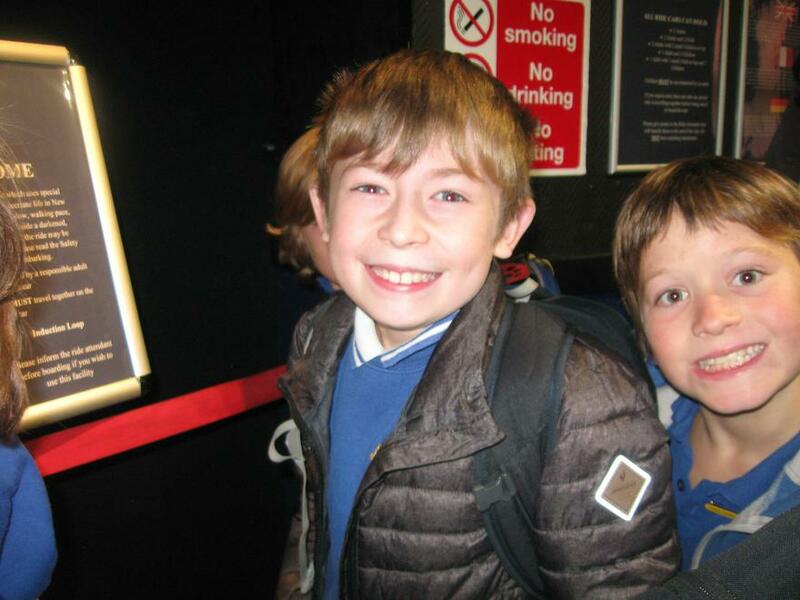 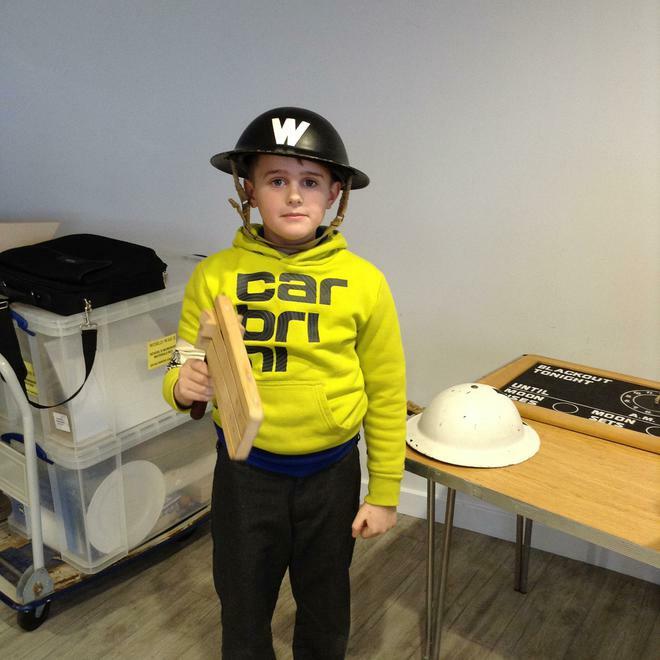 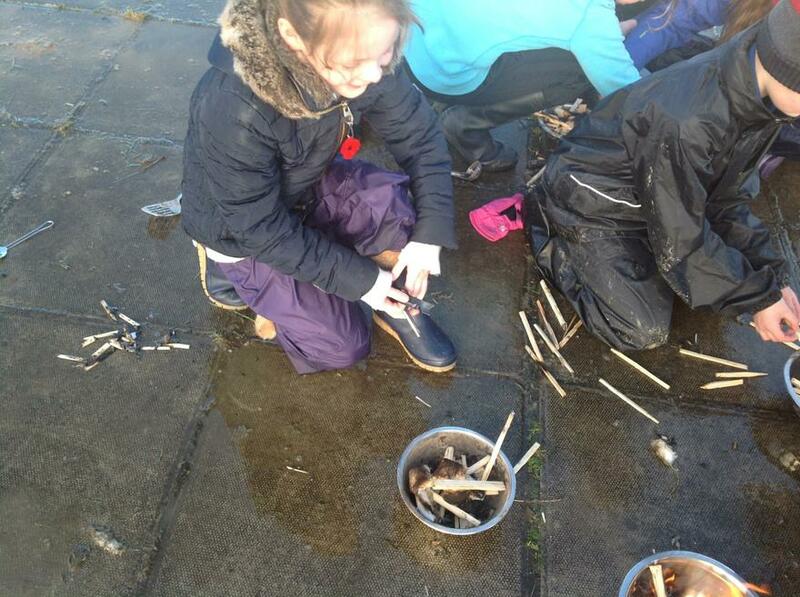 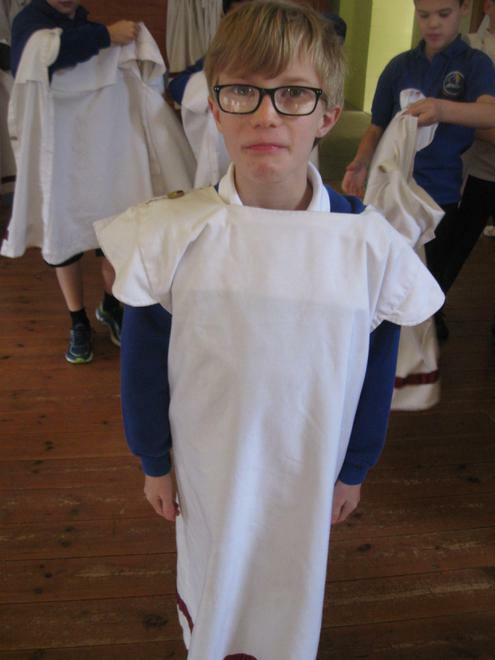 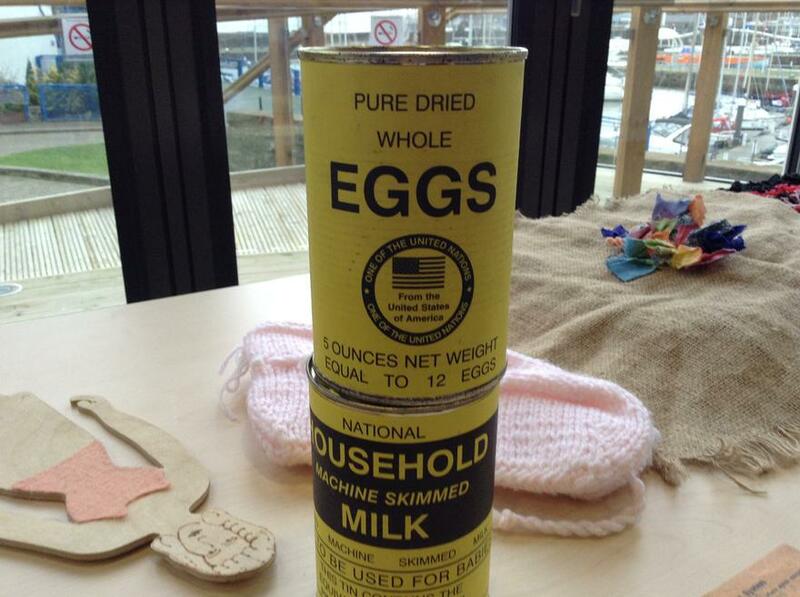 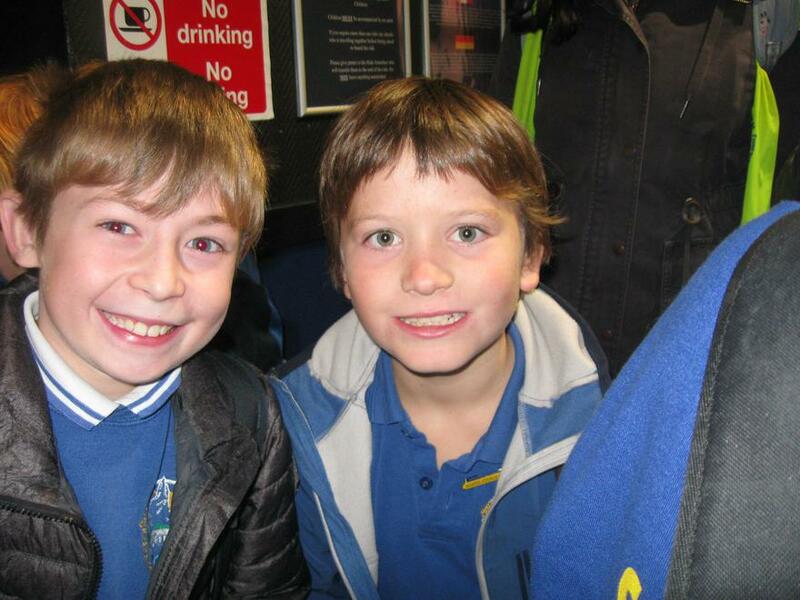 Some photographs of this term's many different learning experiences. 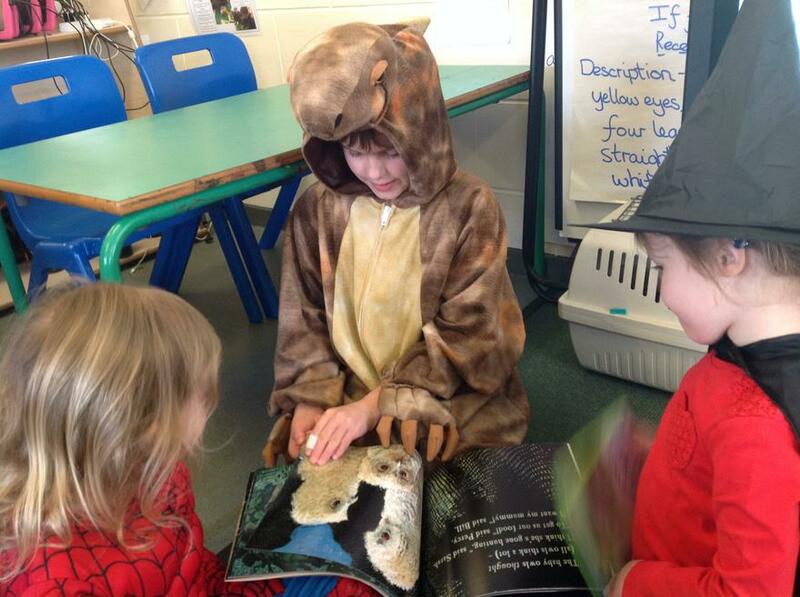 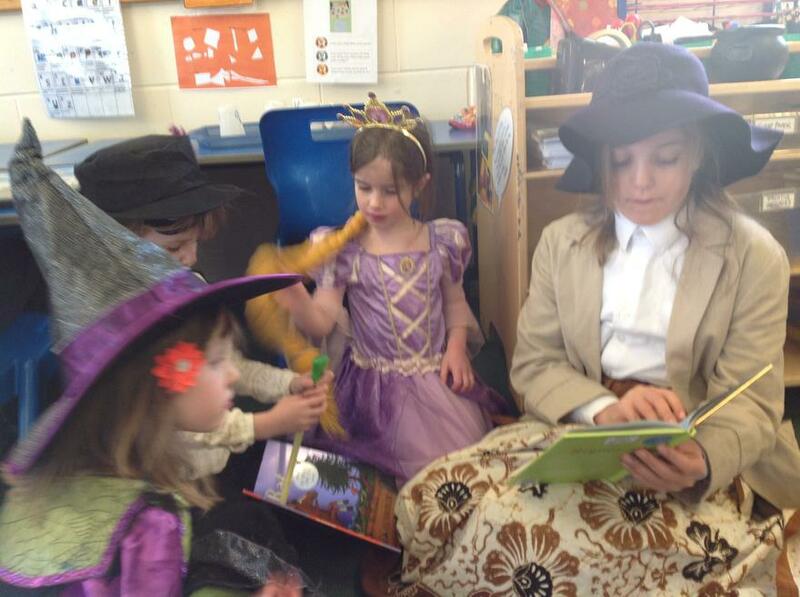 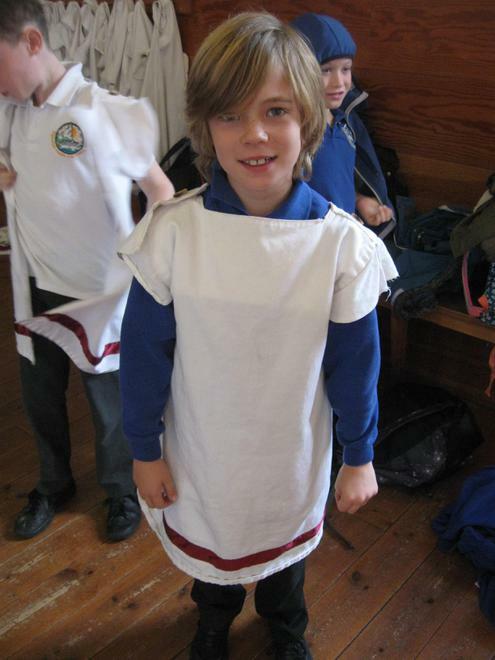 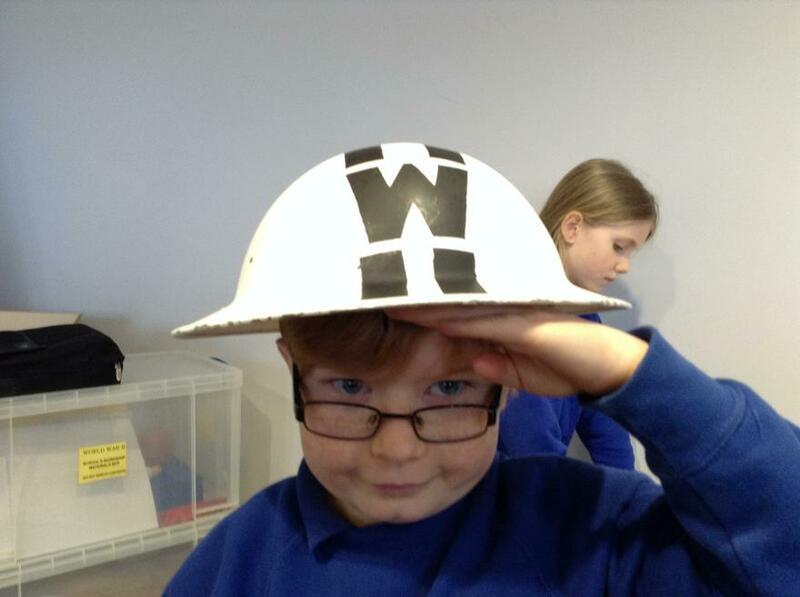 The Year 5 children had such fun on World Book Day. 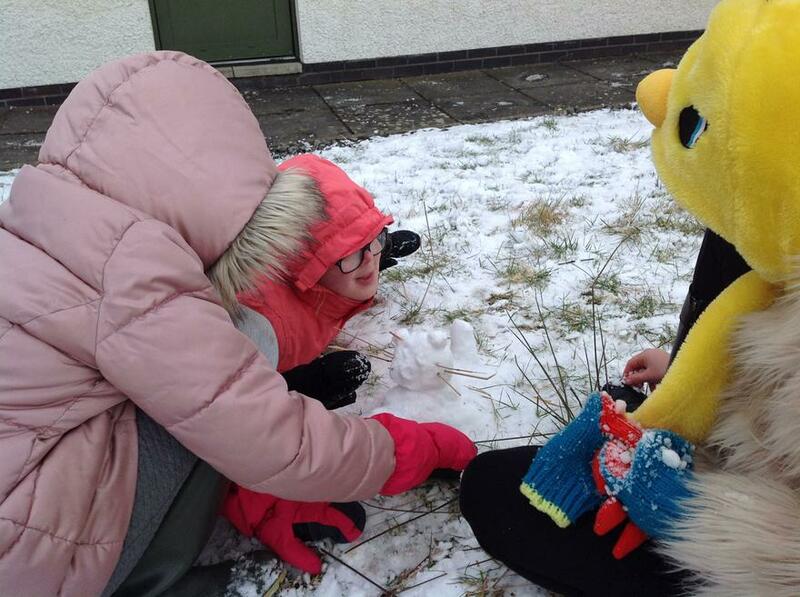 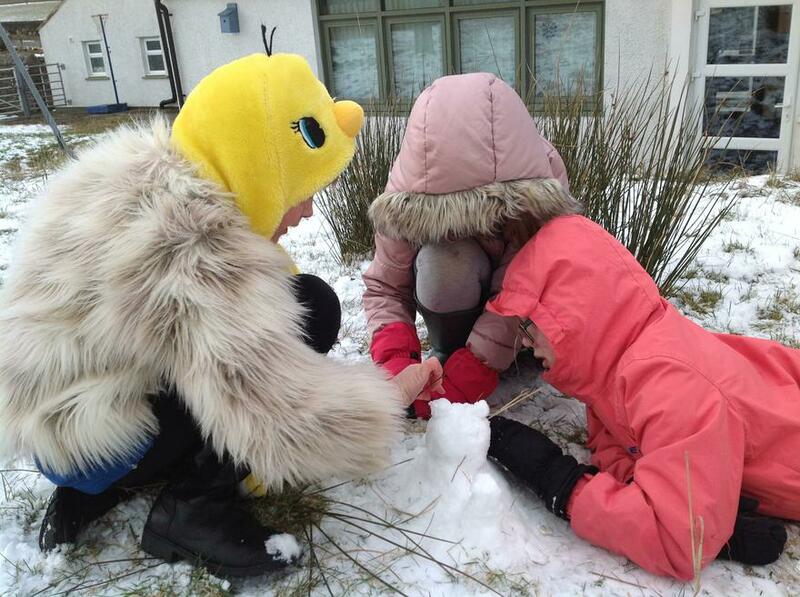 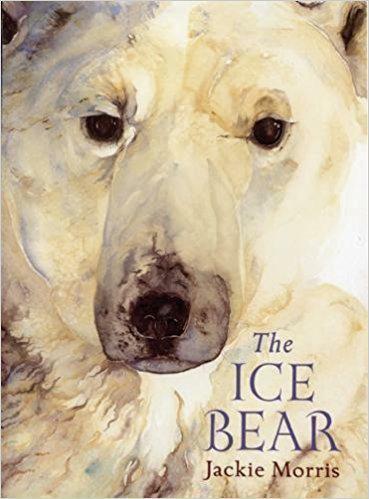 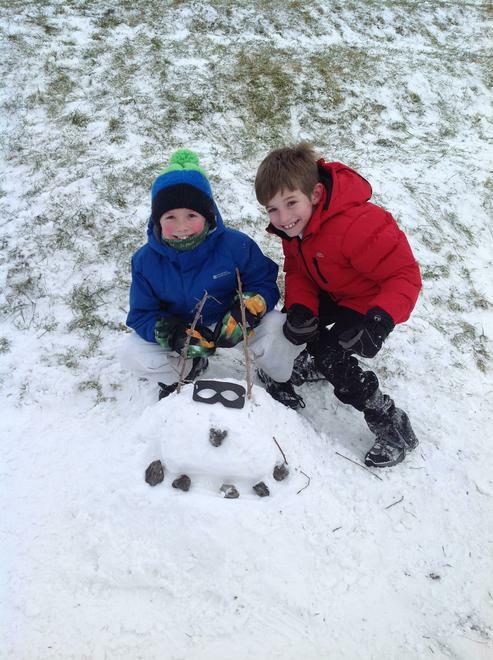 We shared our favourite story books with the Nursery, Reception and Year 1 children, we drew and painted book characters, and then ventured out into the snow with the Year 4's to make book characters out of snow. 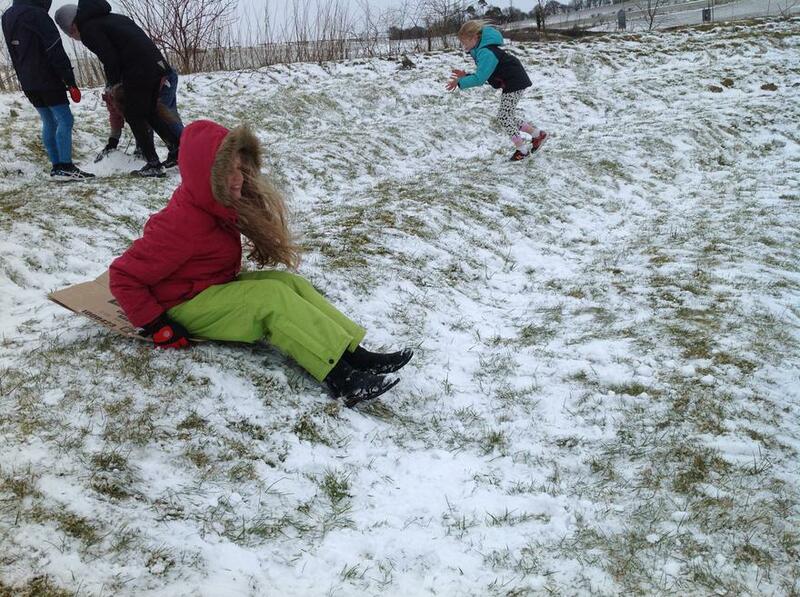 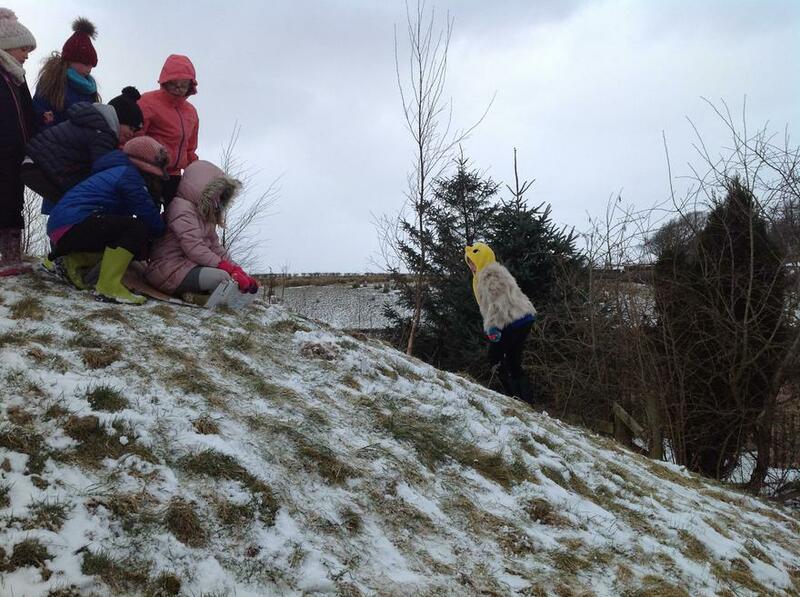 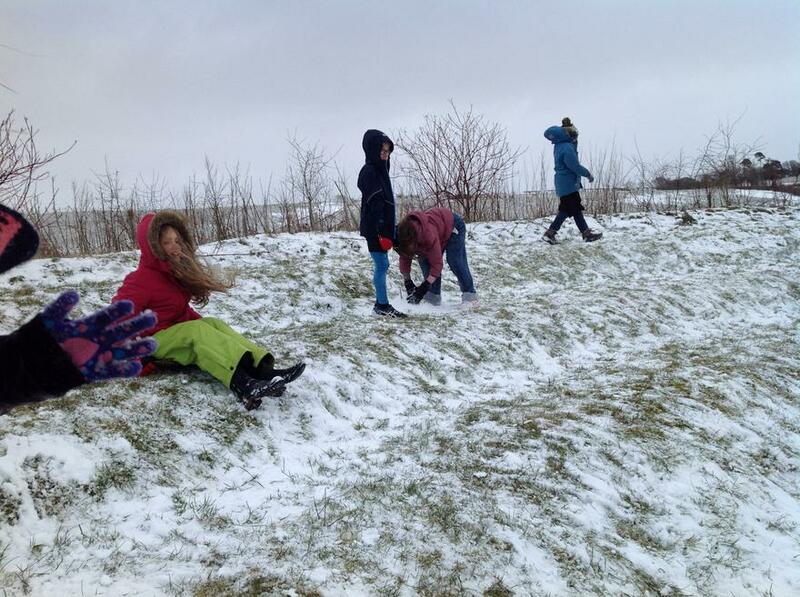 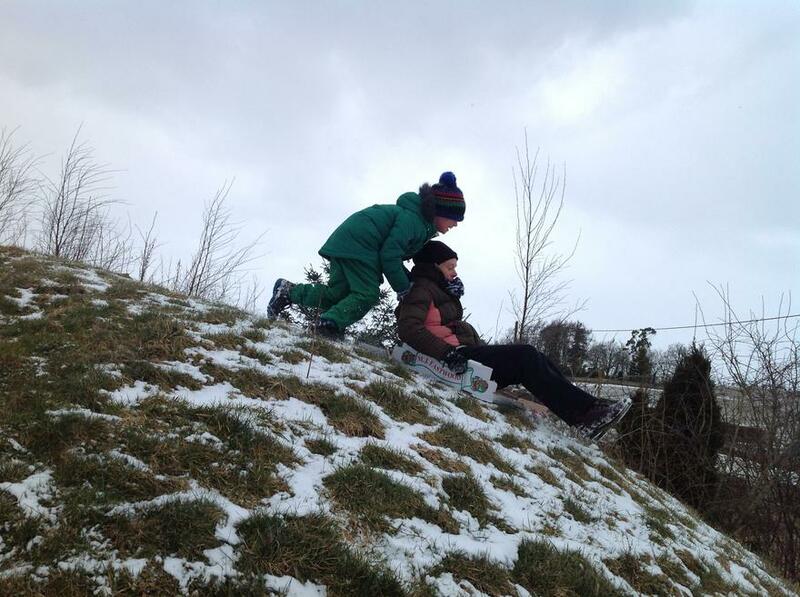 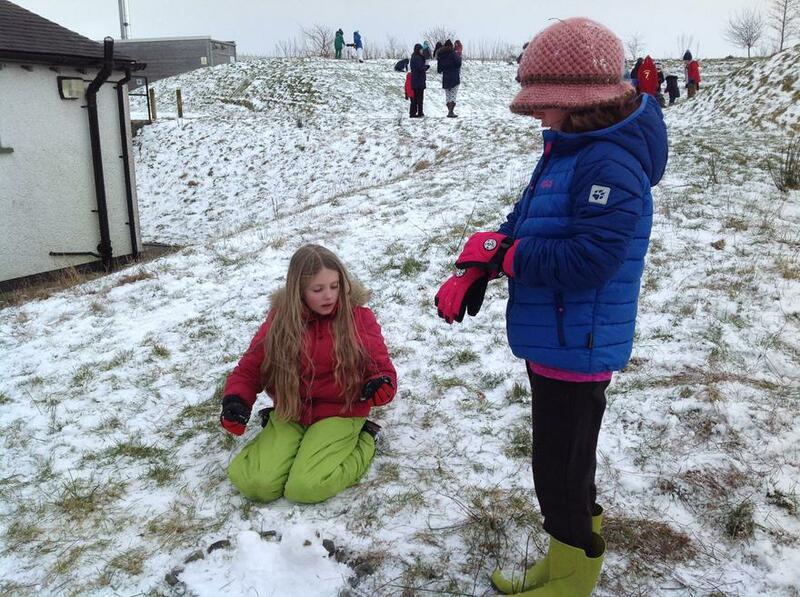 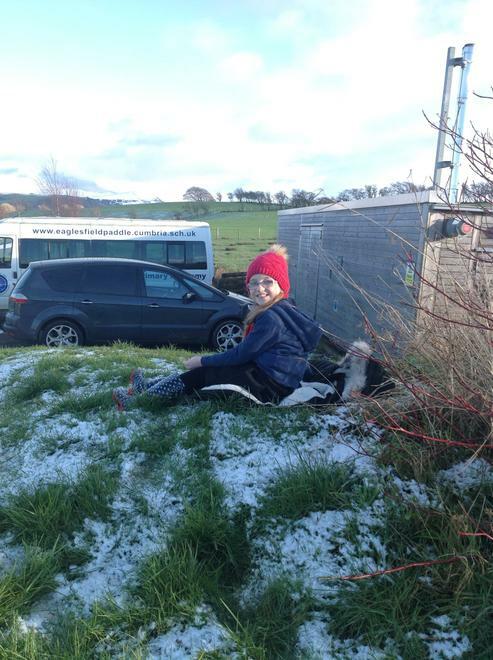 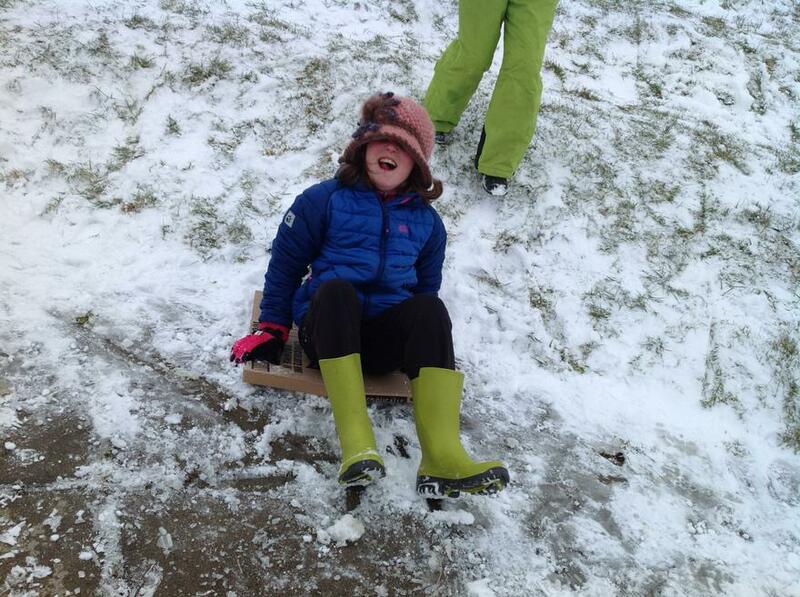 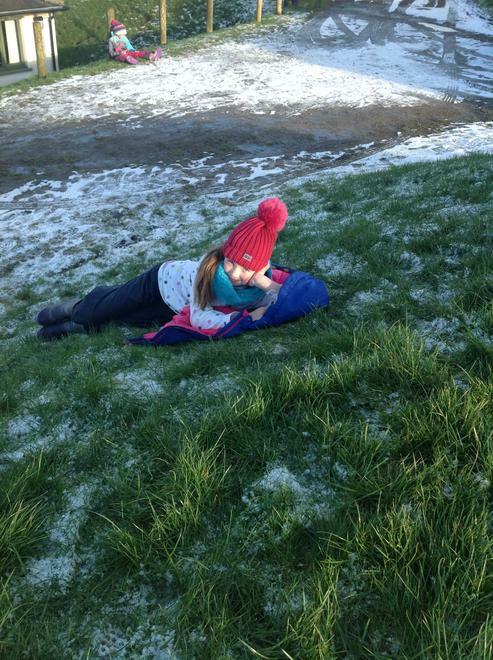 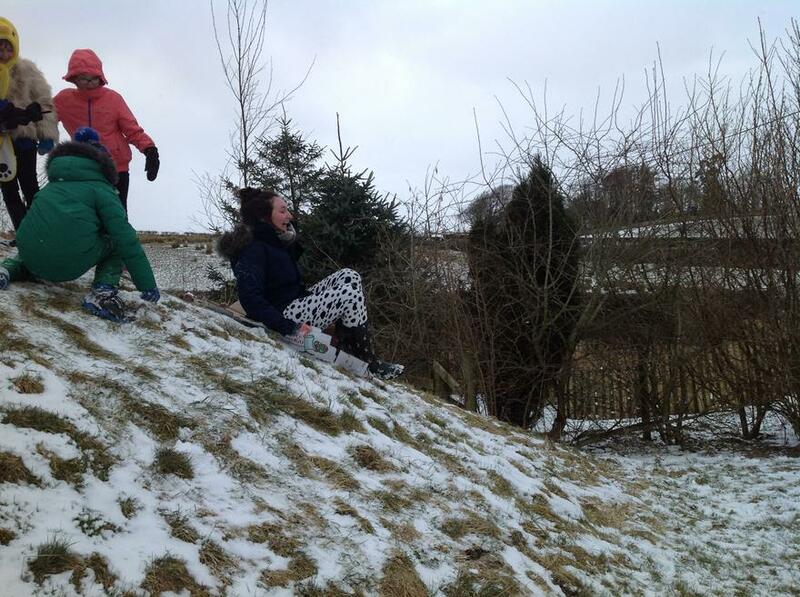 Of course, we had to try a bit of sledging too! 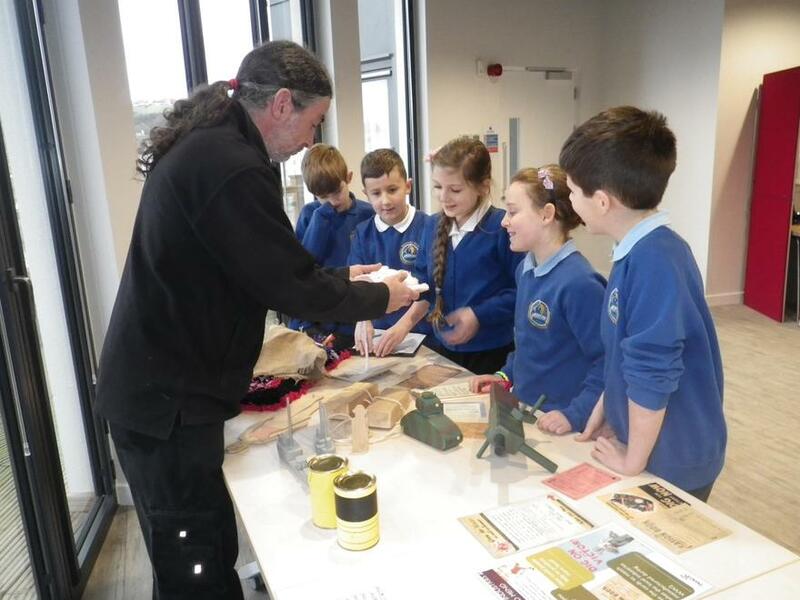 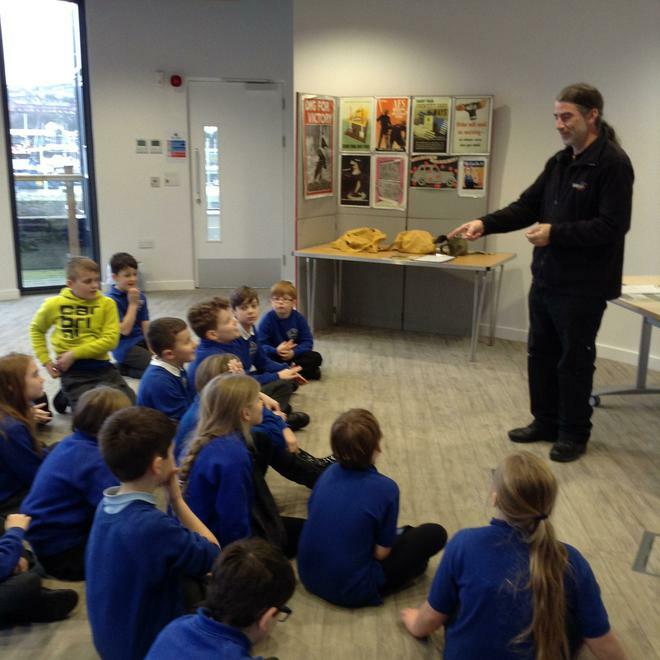 A Visit from Stuart Atkinson, an Astronomer. 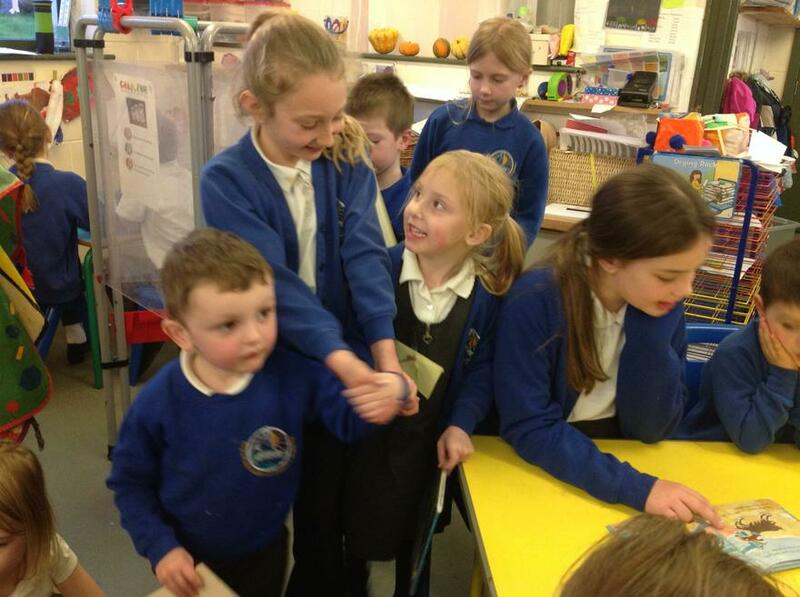 What a busy and exciting day. 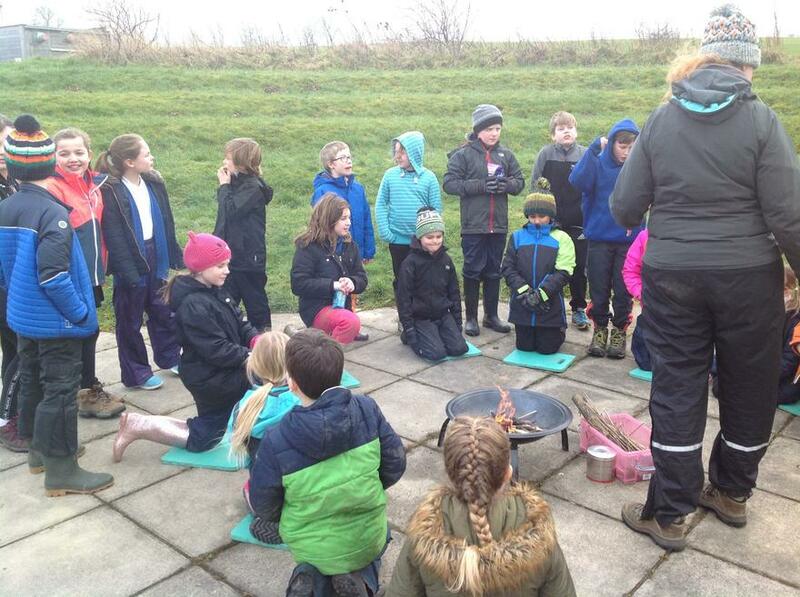 In the morning, Year 5 took part in real life Maths - measuring the potato harvest and then following a recipe to make Potato Dauphnoise. 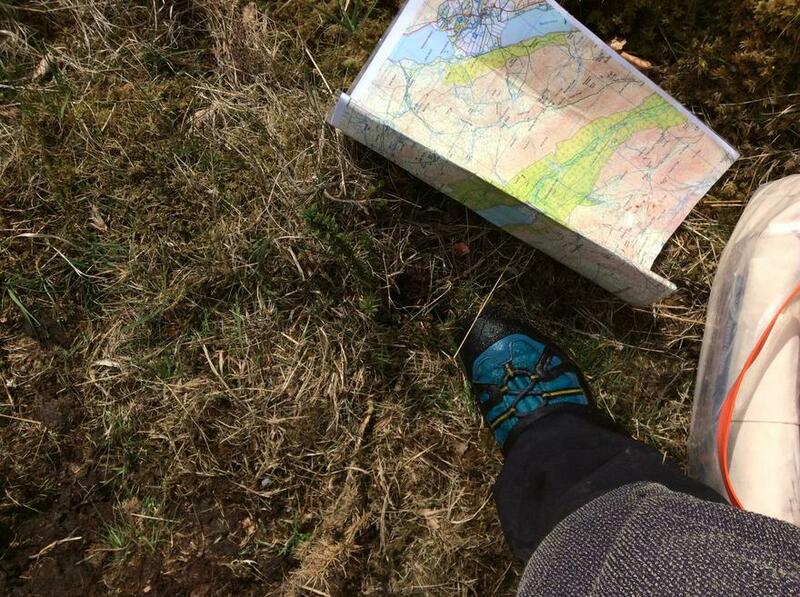 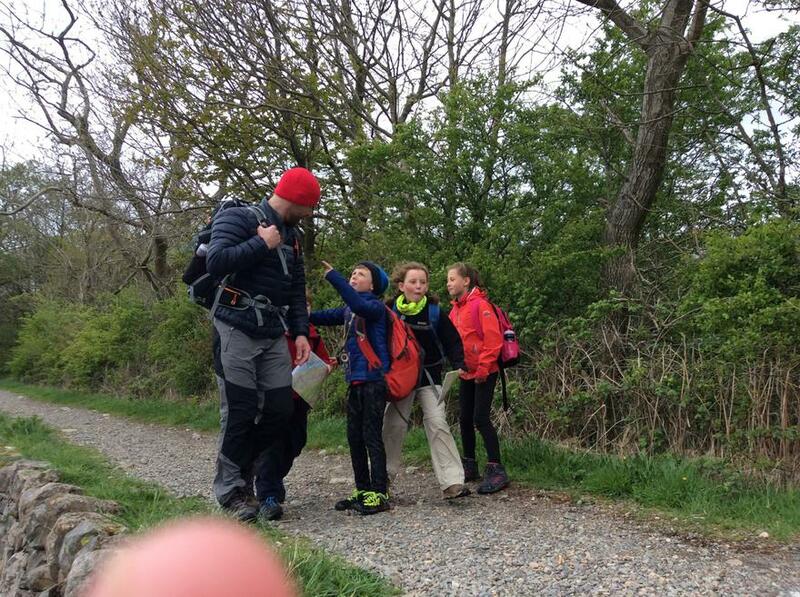 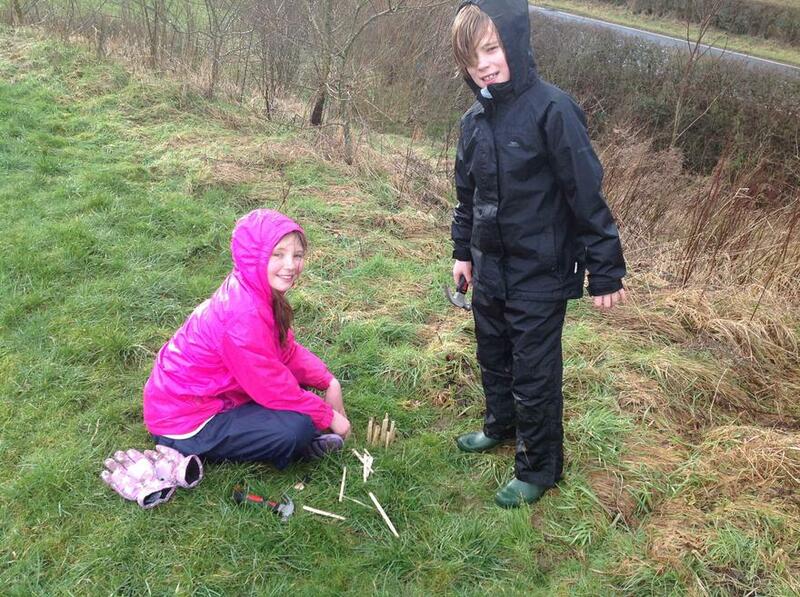 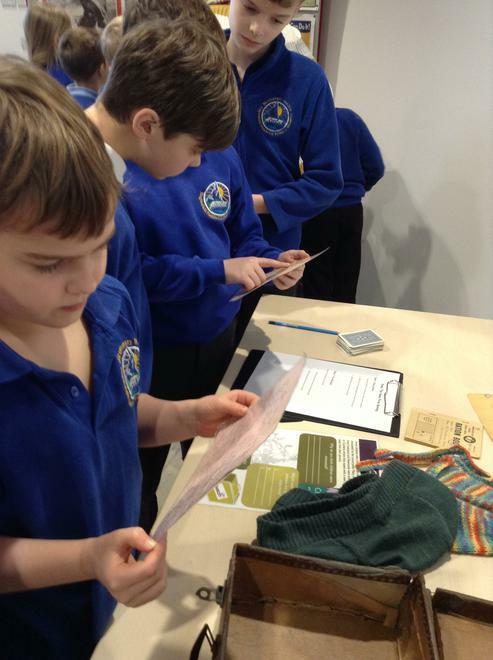 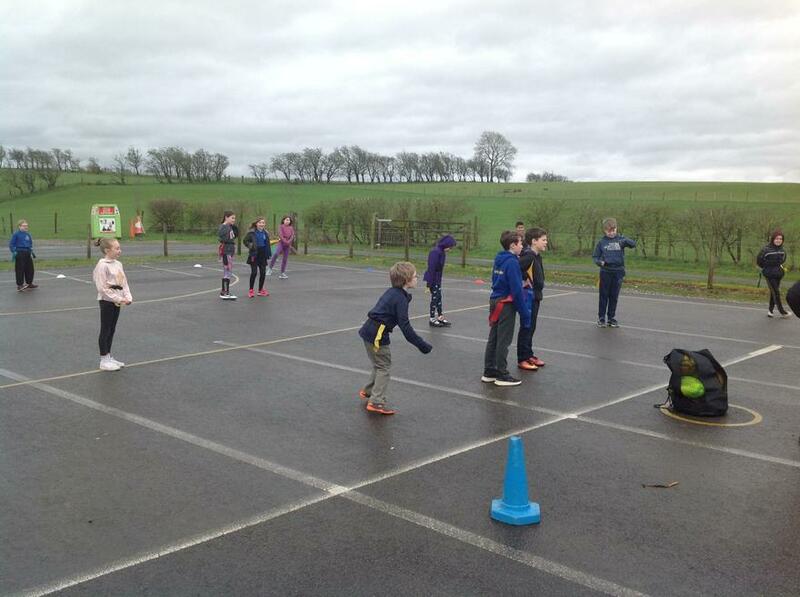 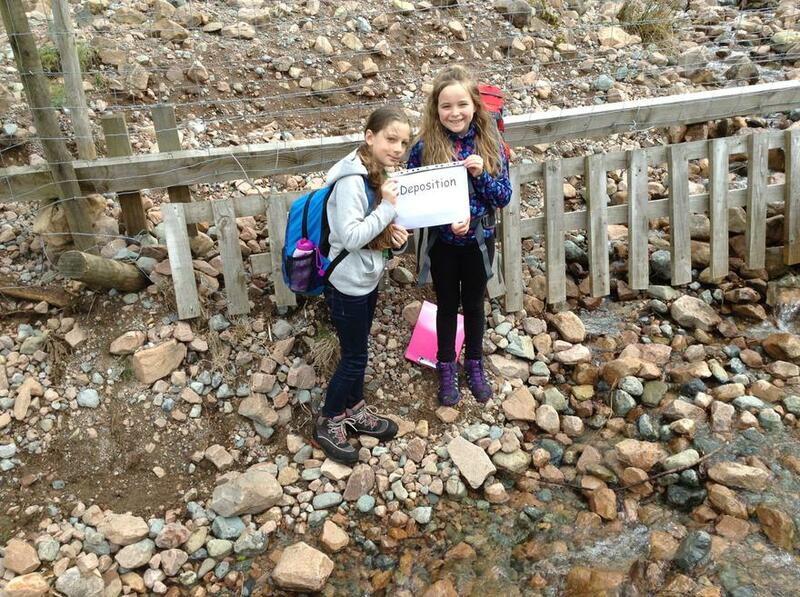 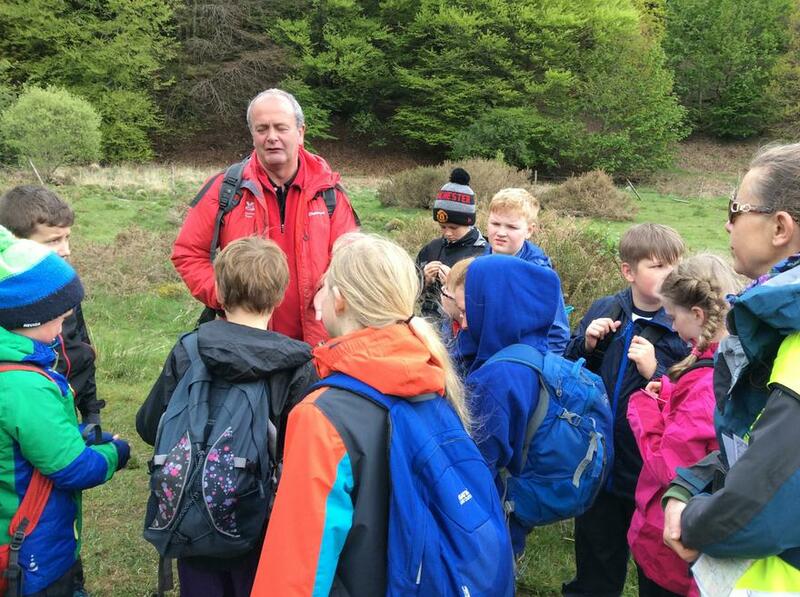 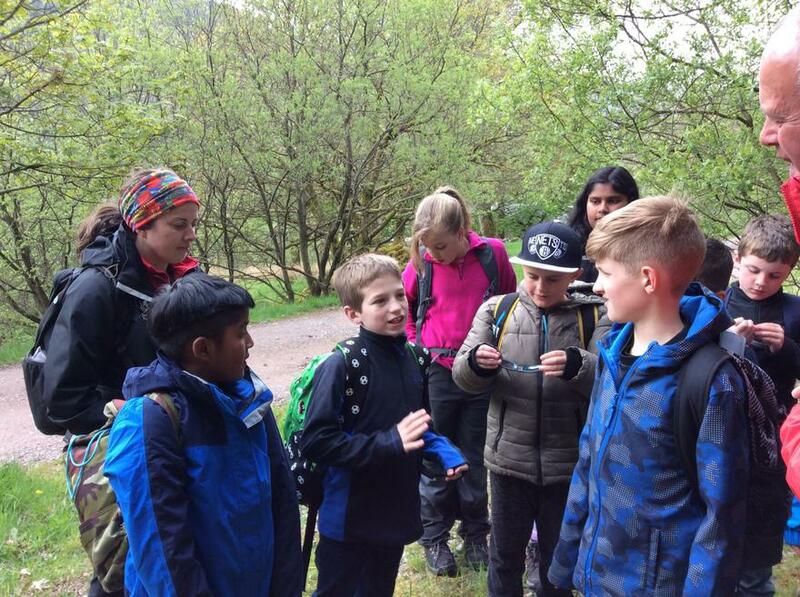 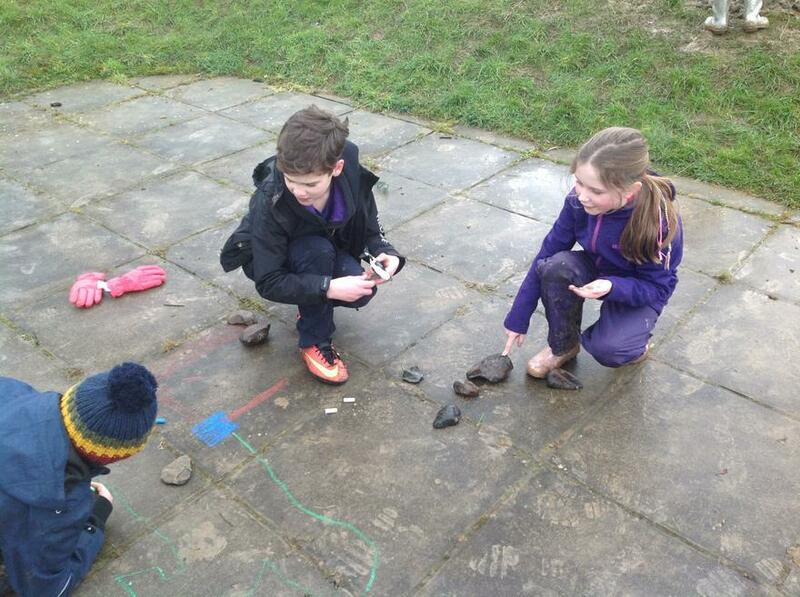 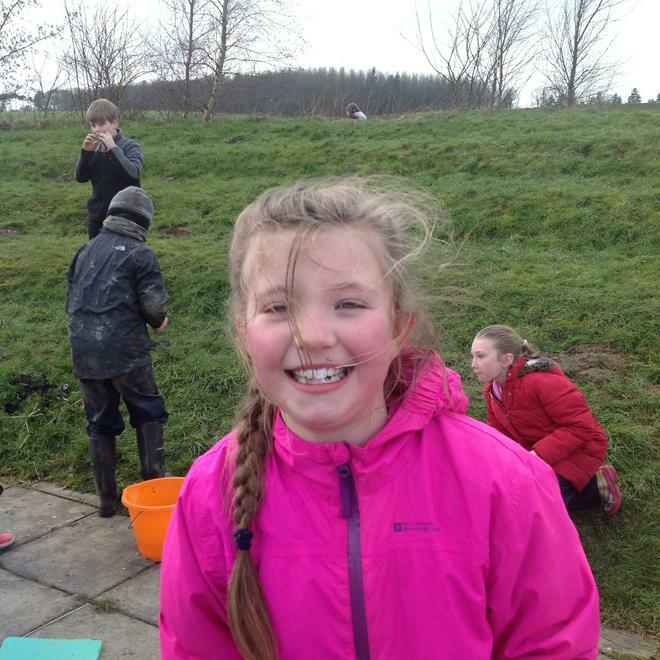 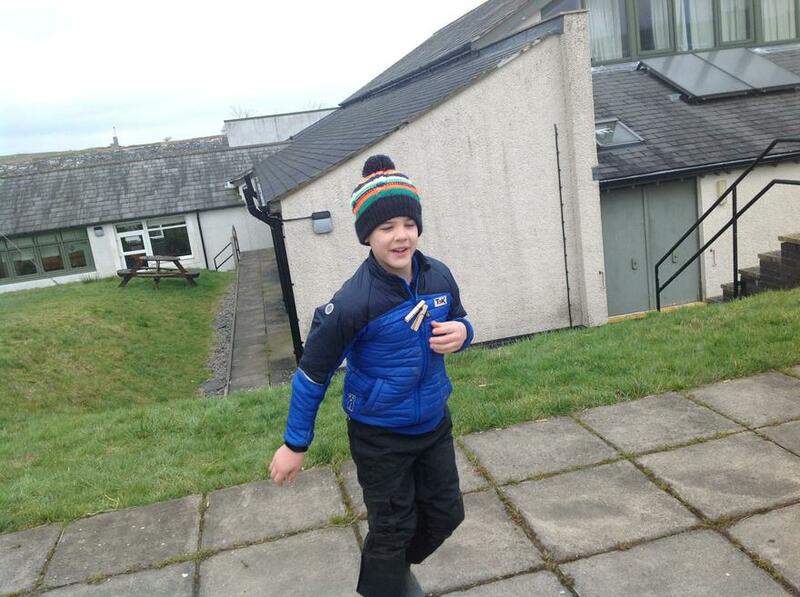 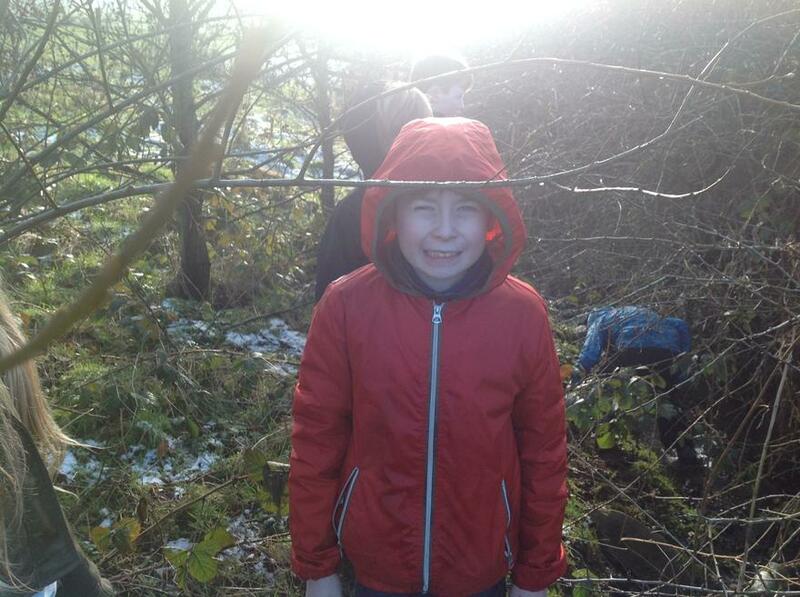 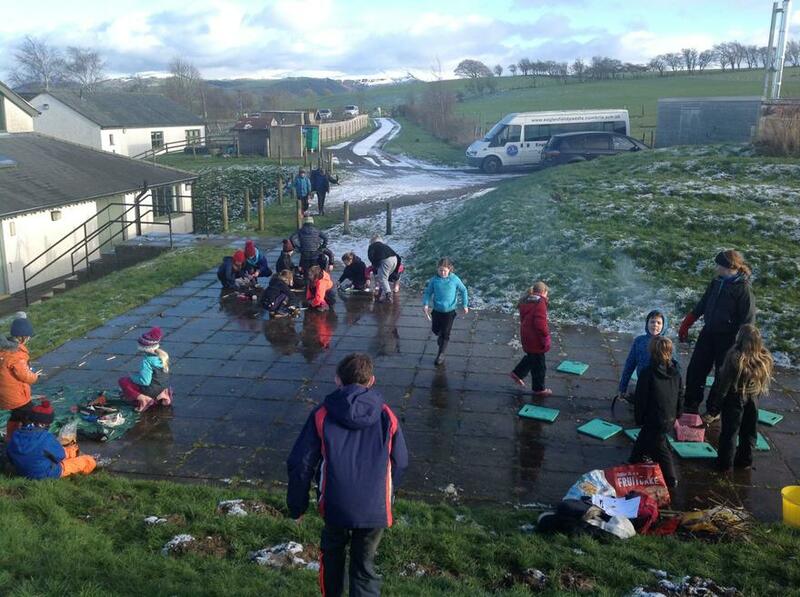 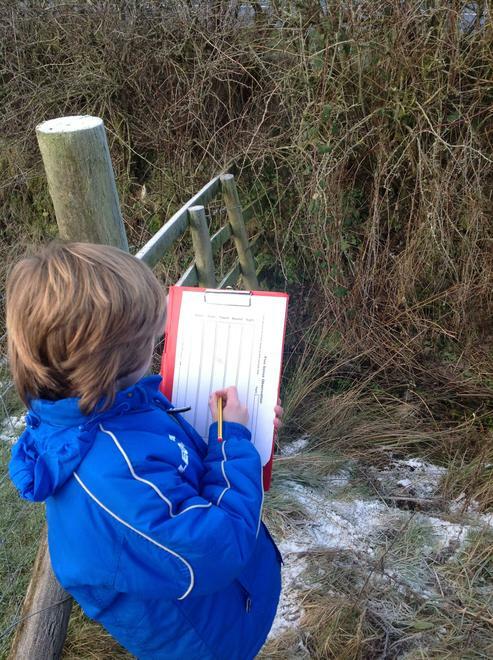 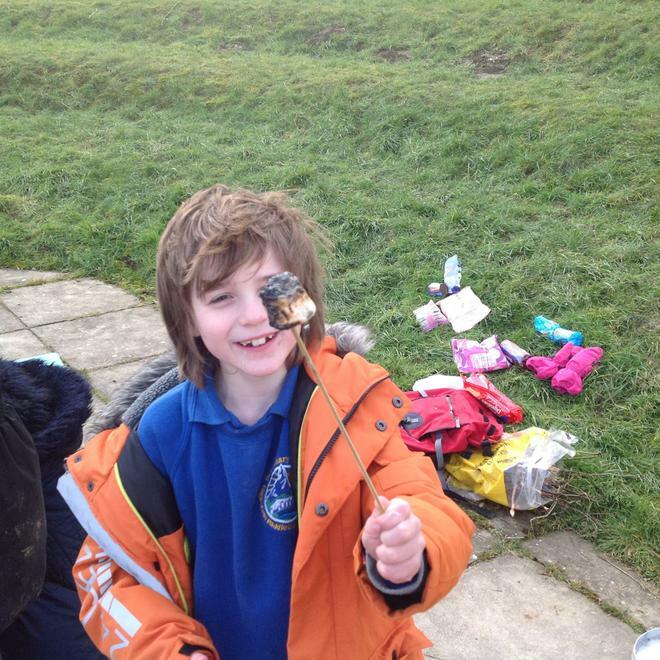 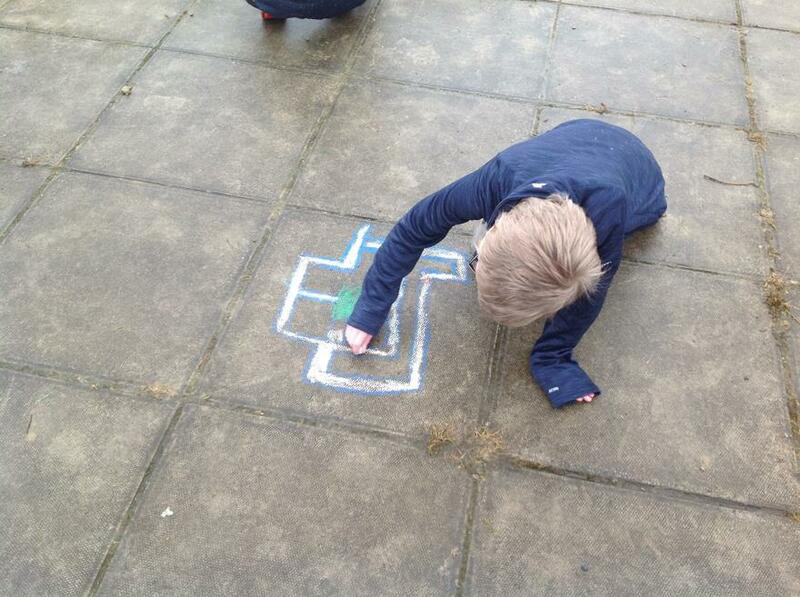 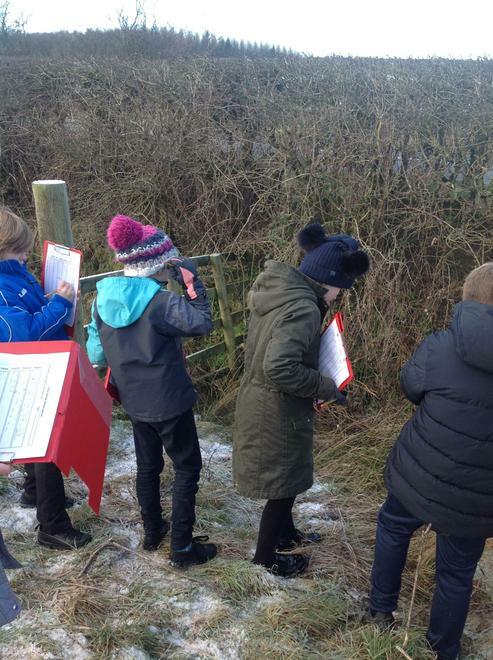 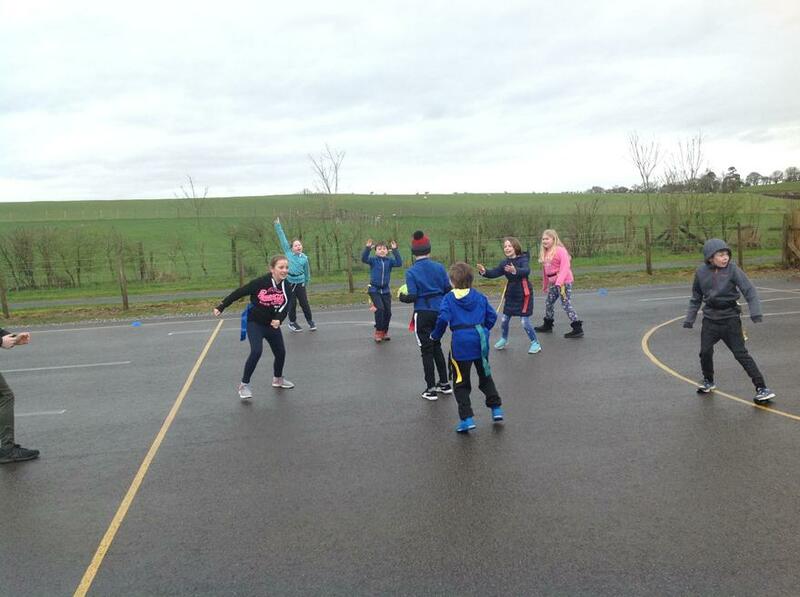 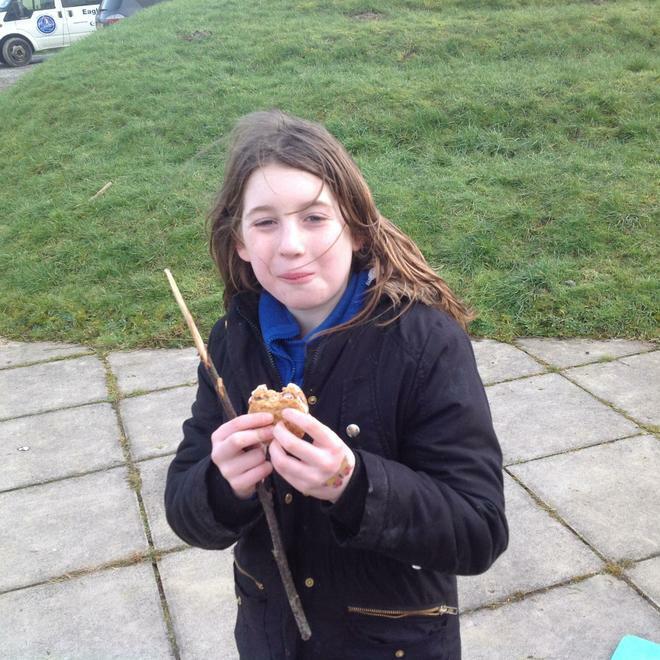 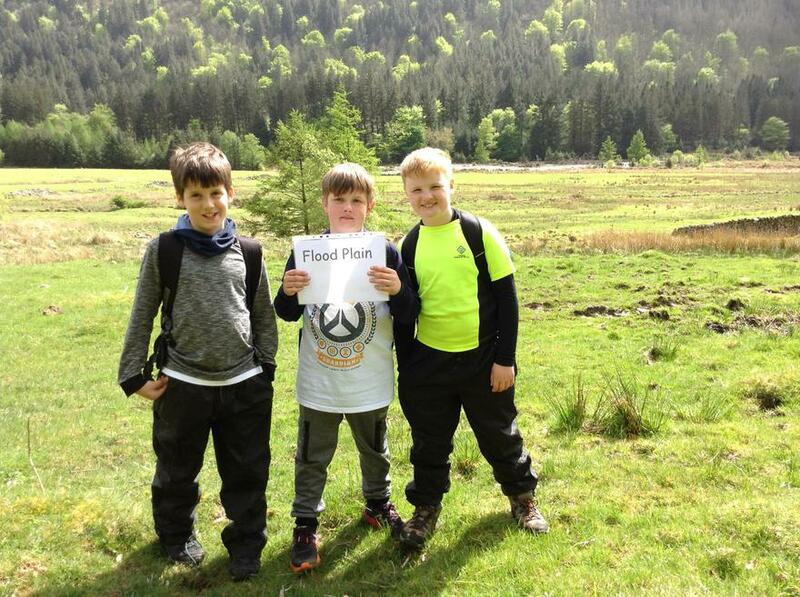 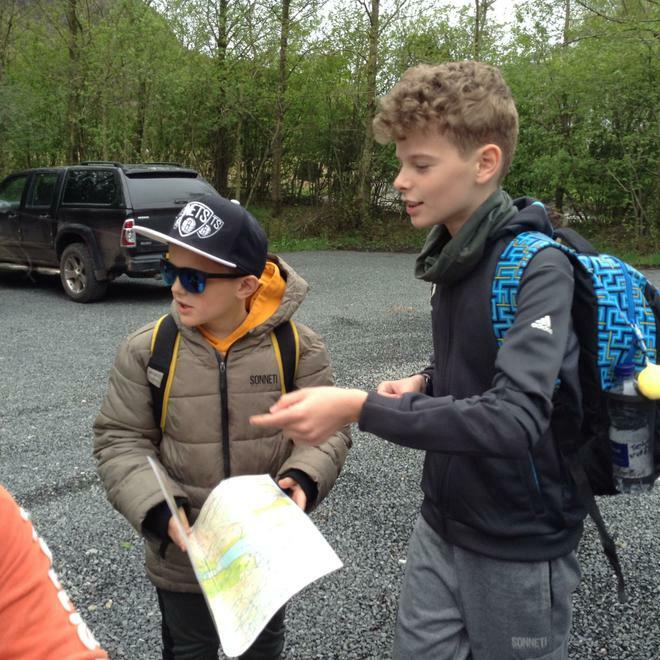 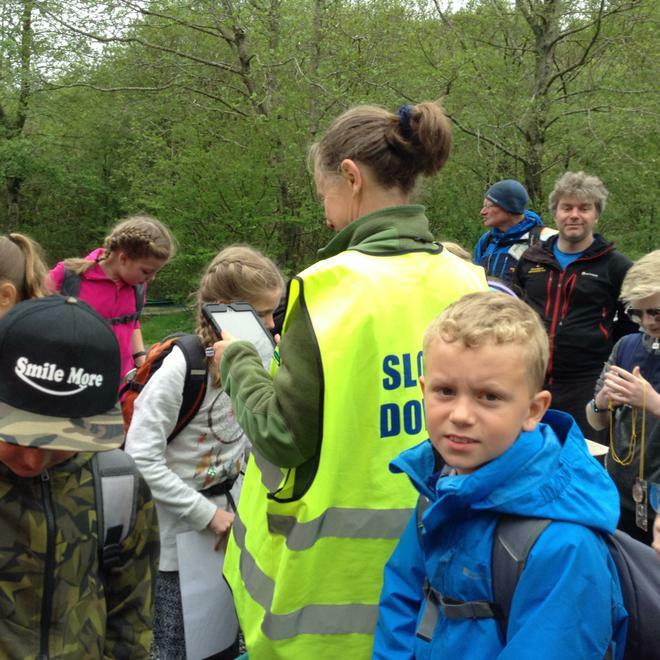 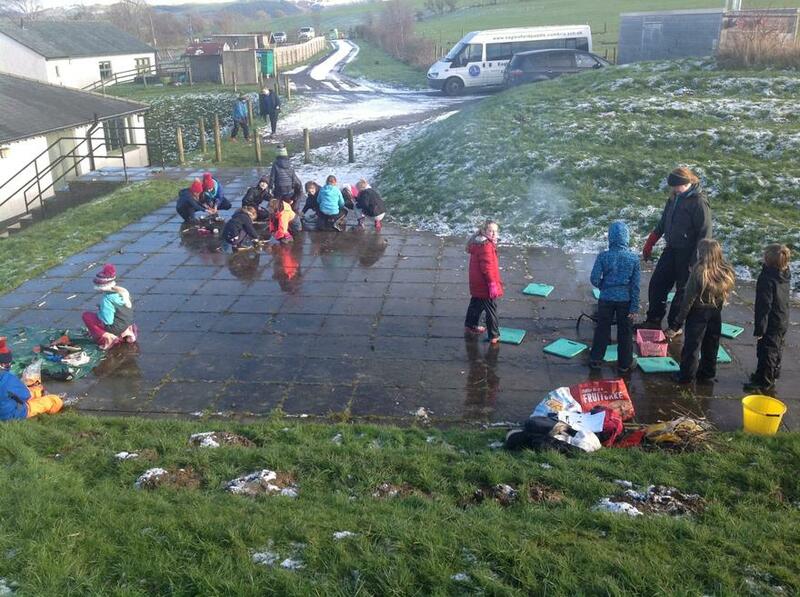 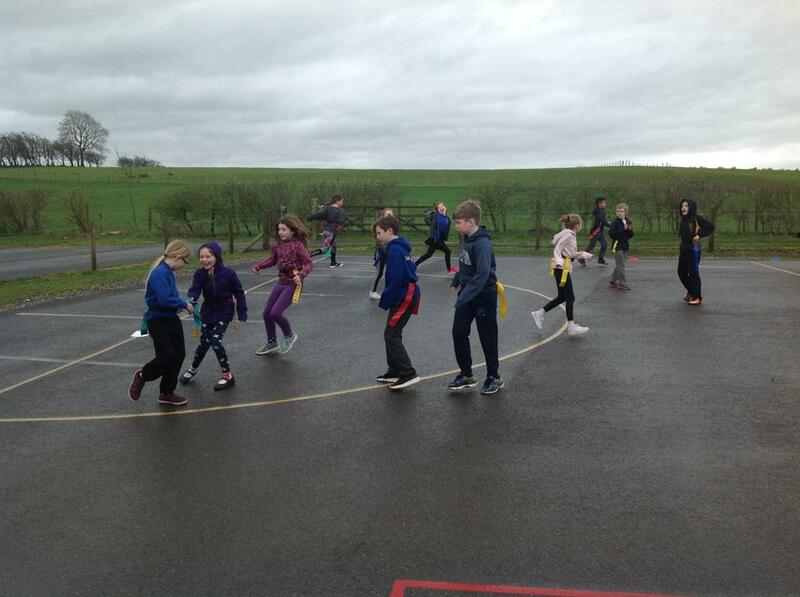 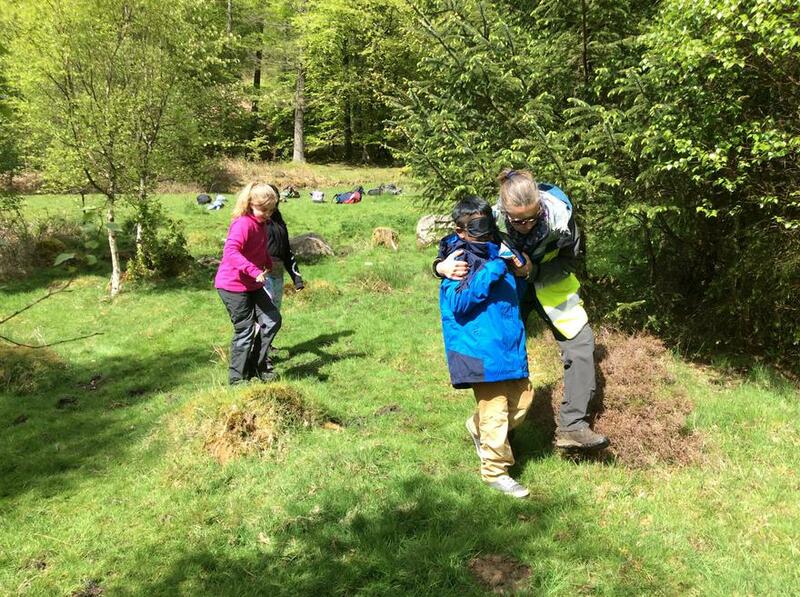 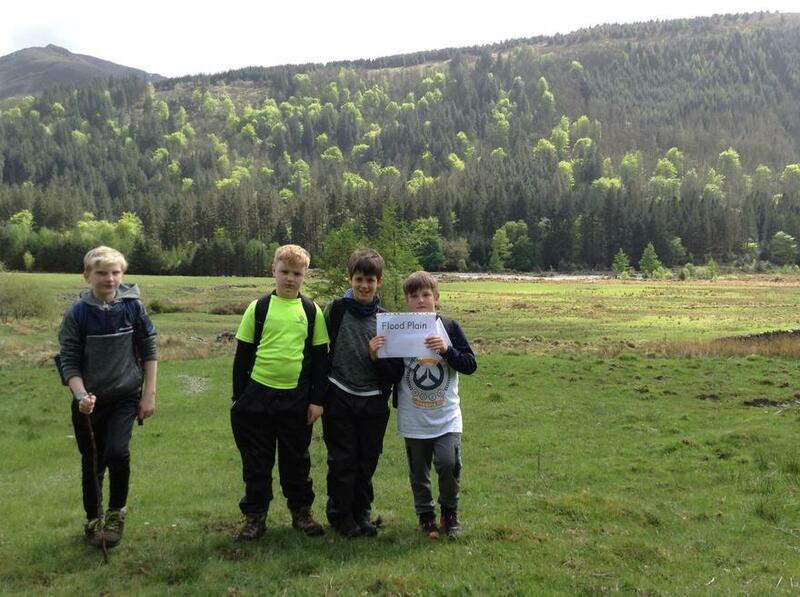 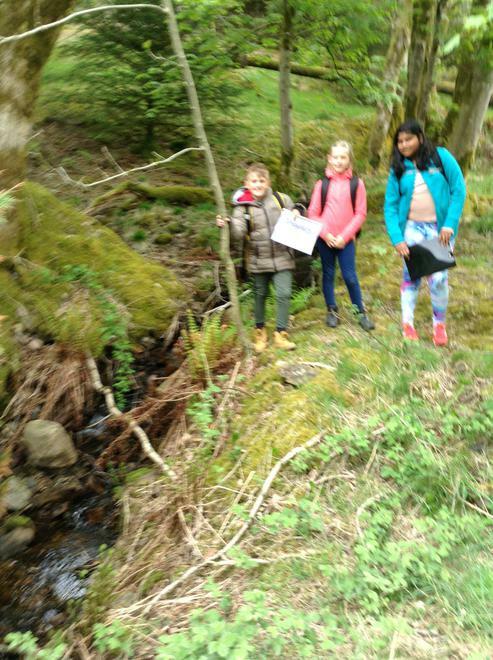 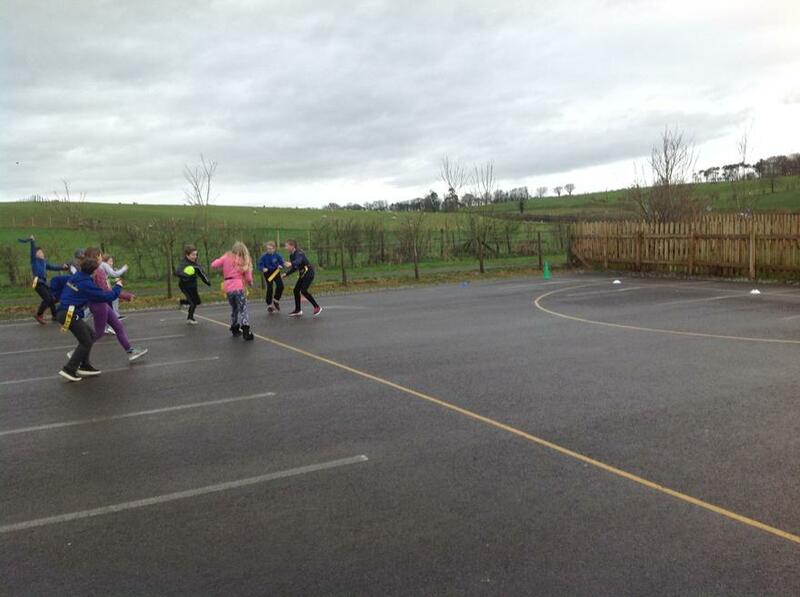 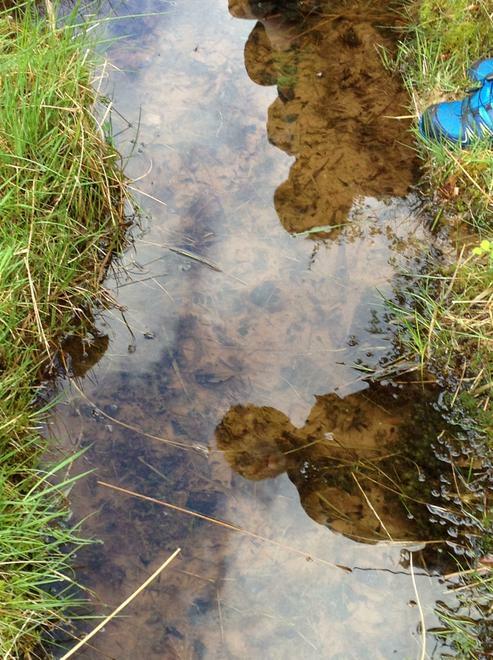 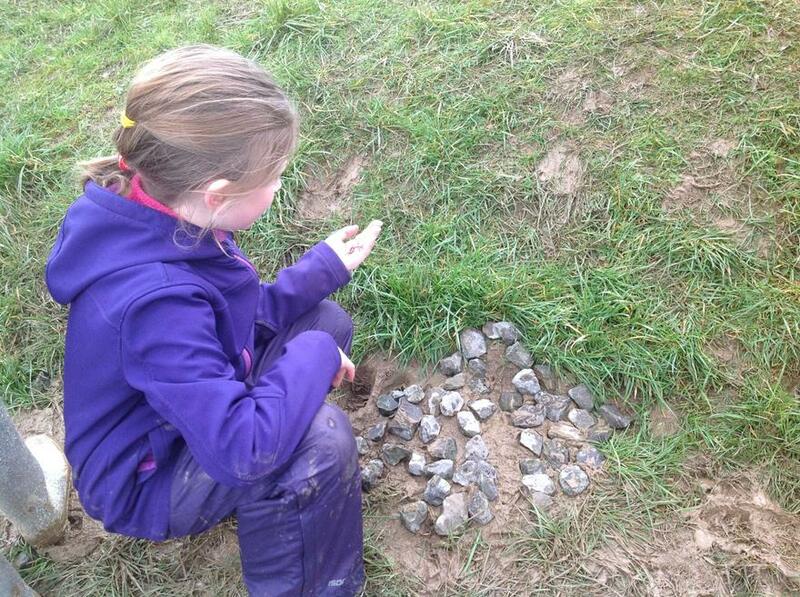 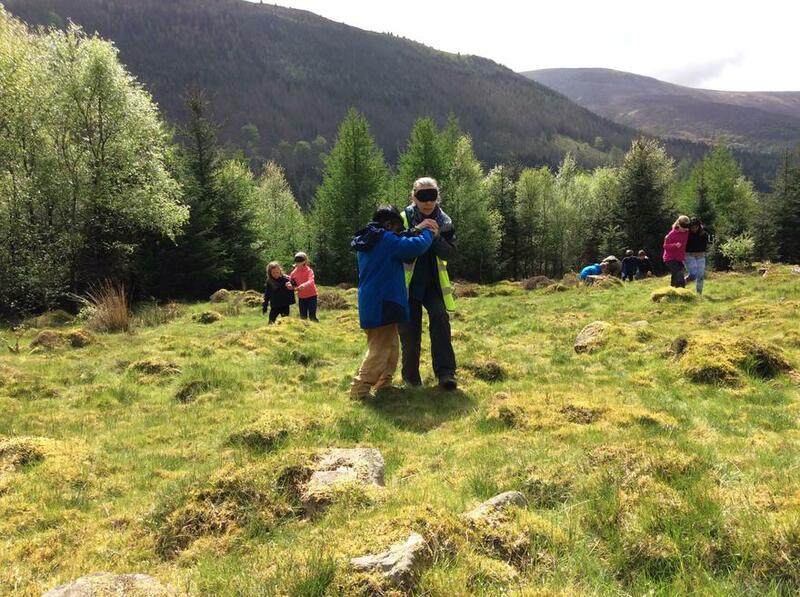 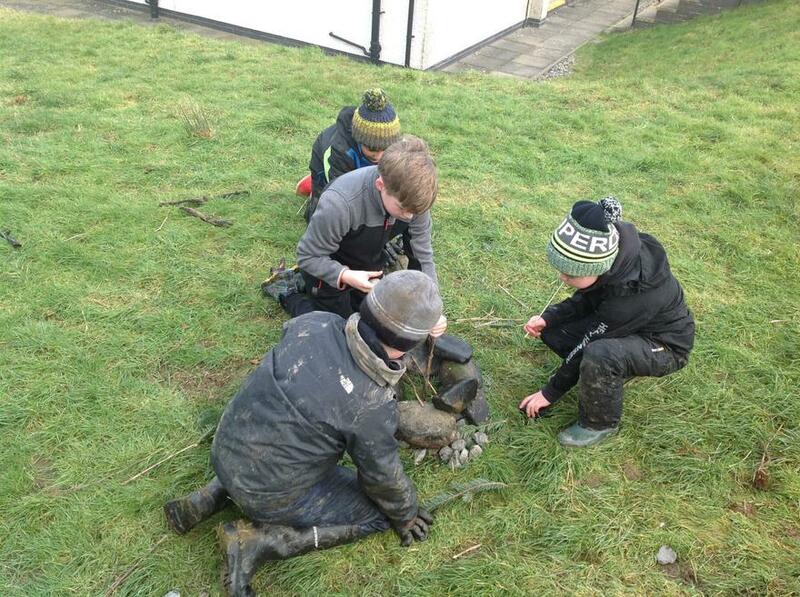 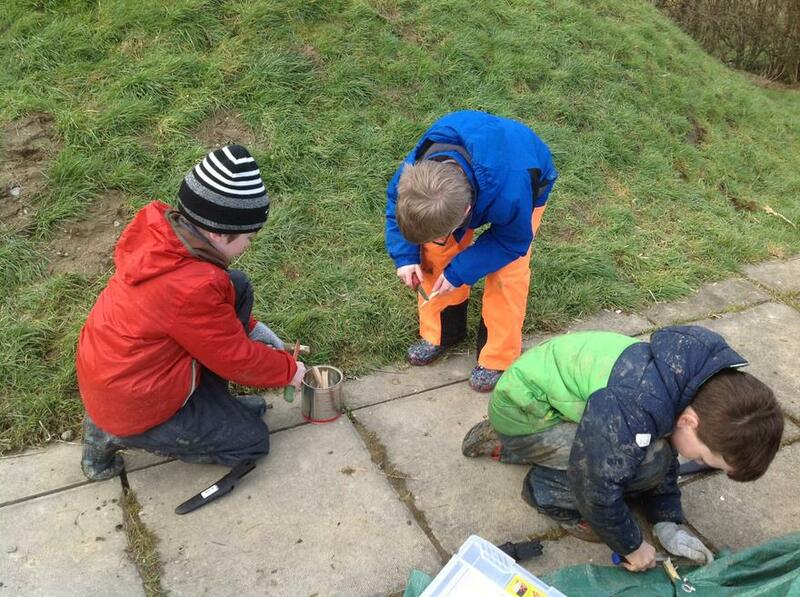 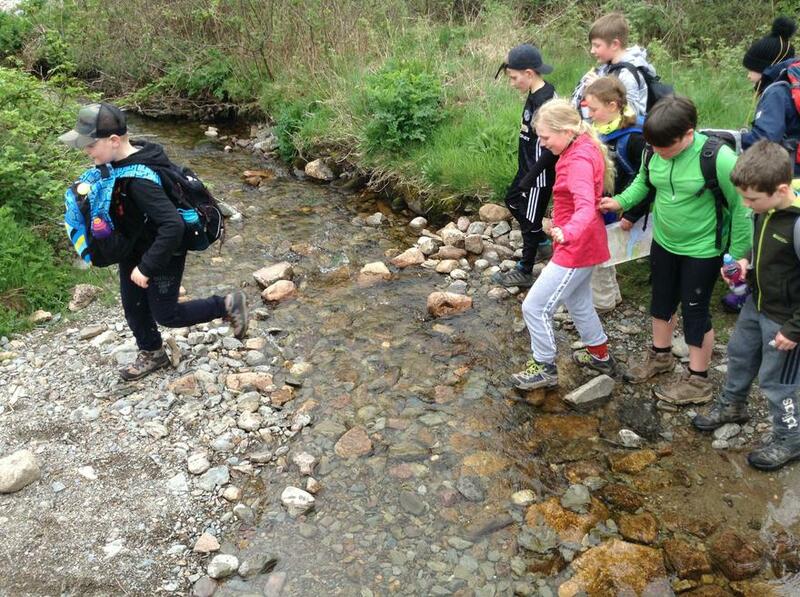 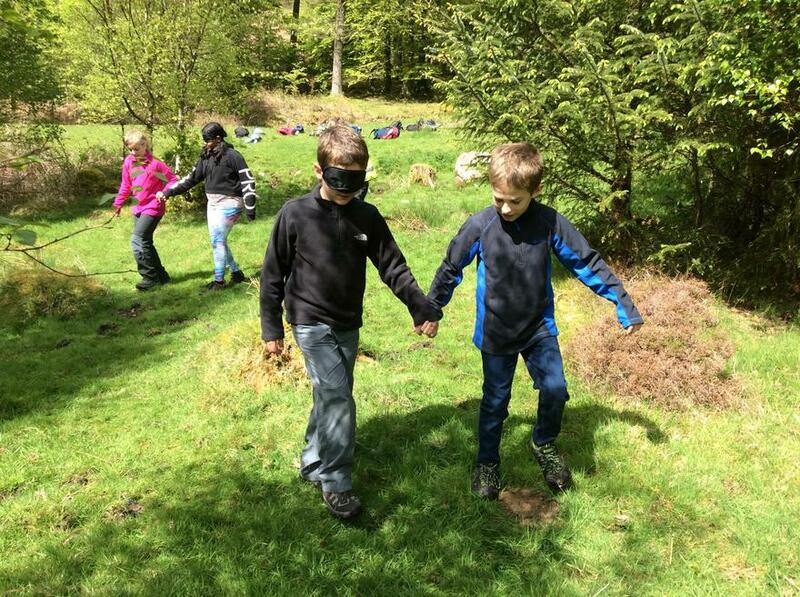 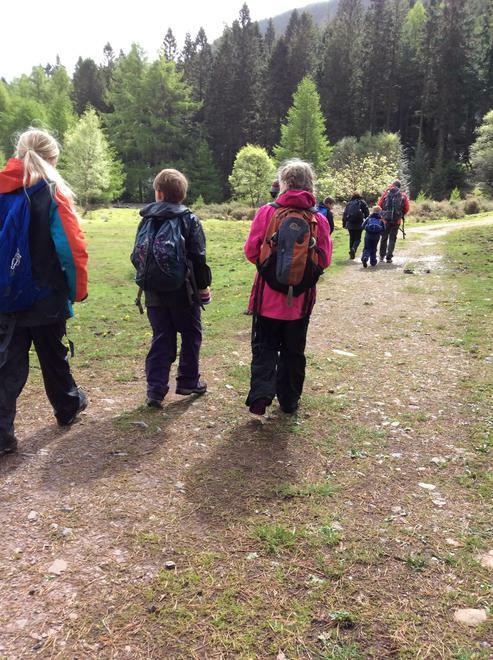 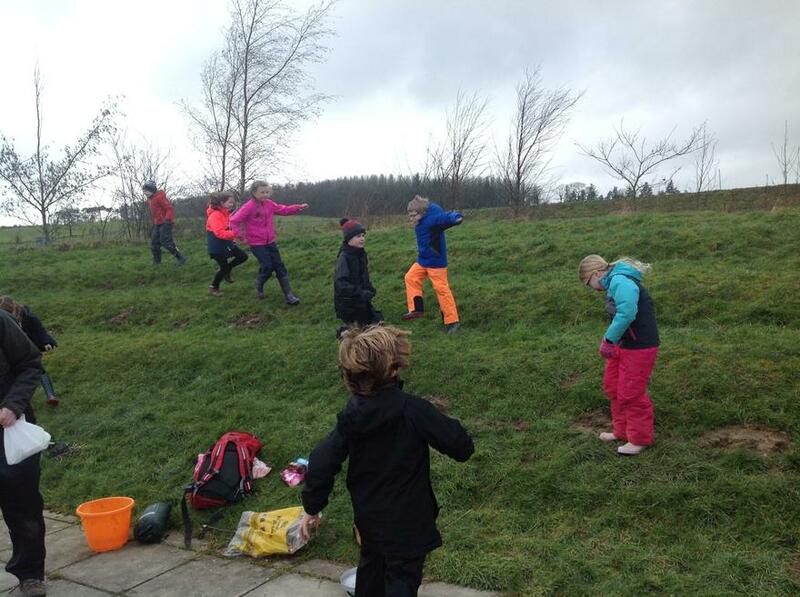 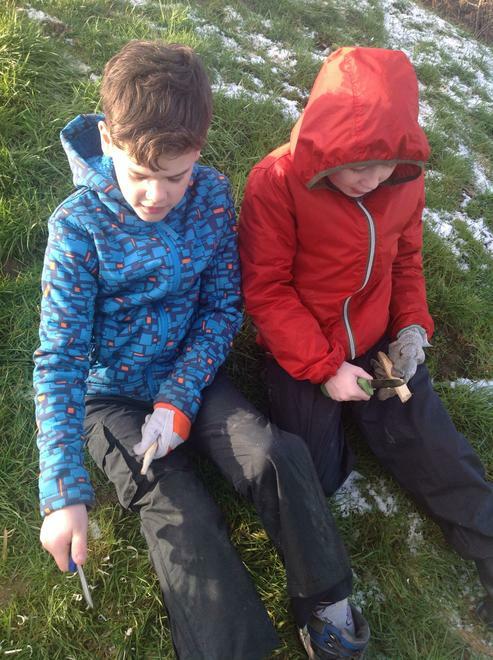 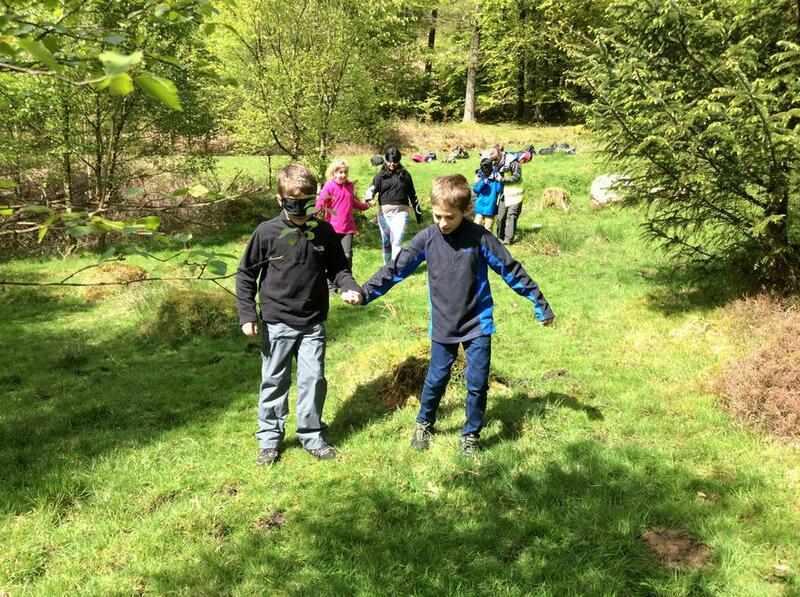 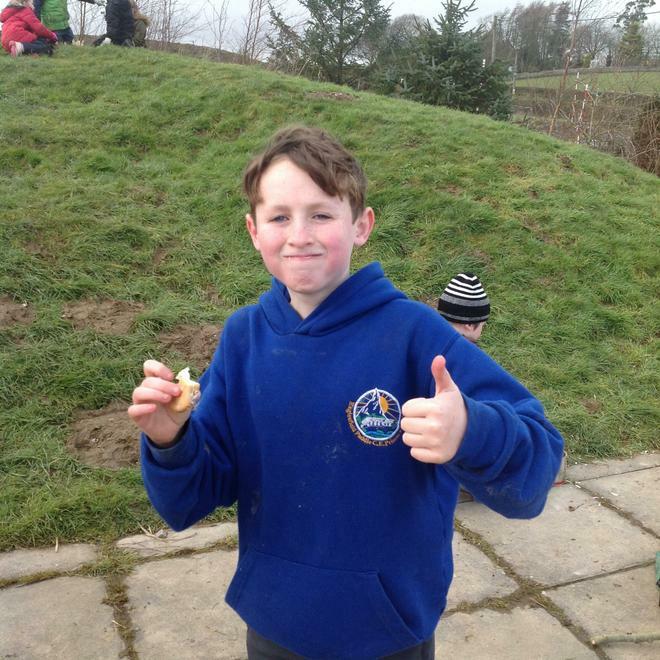 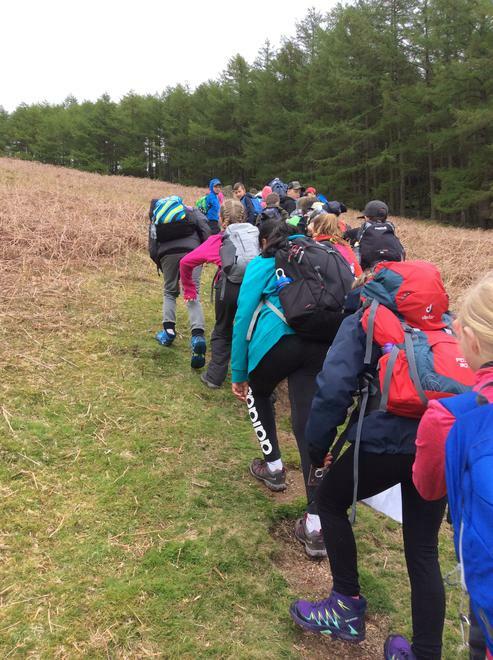 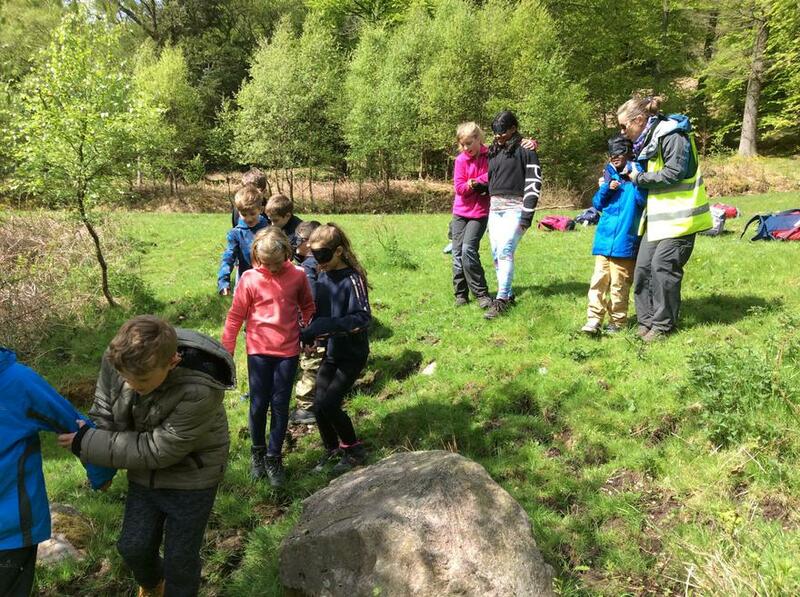 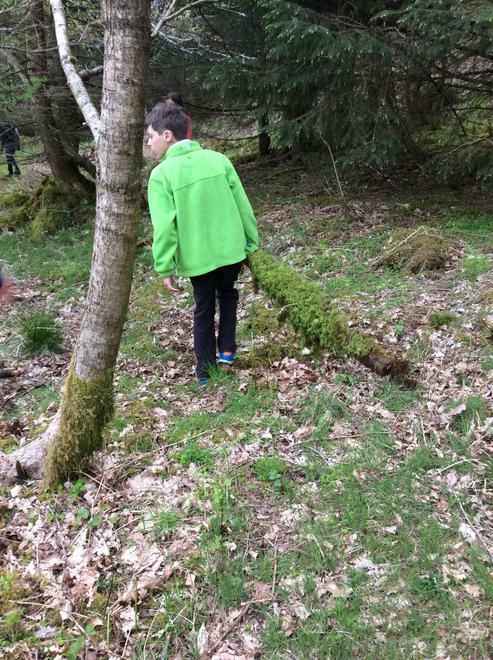 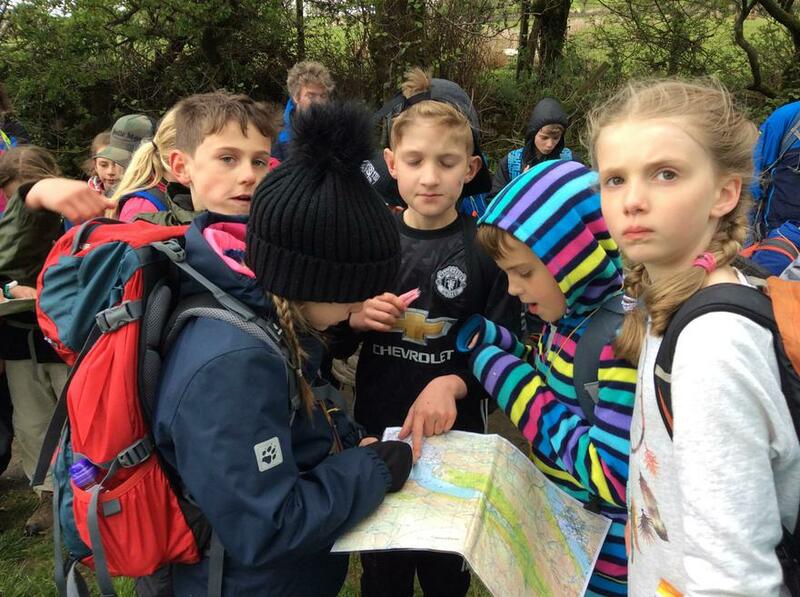 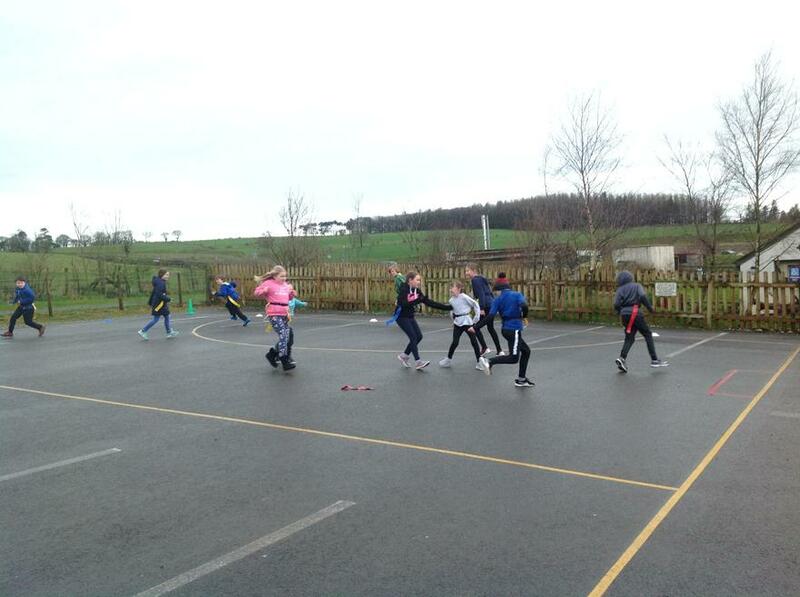 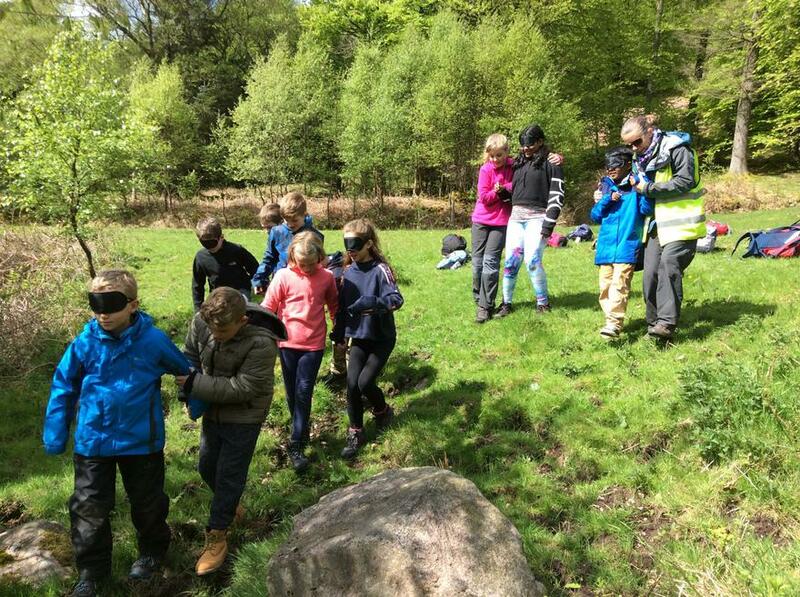 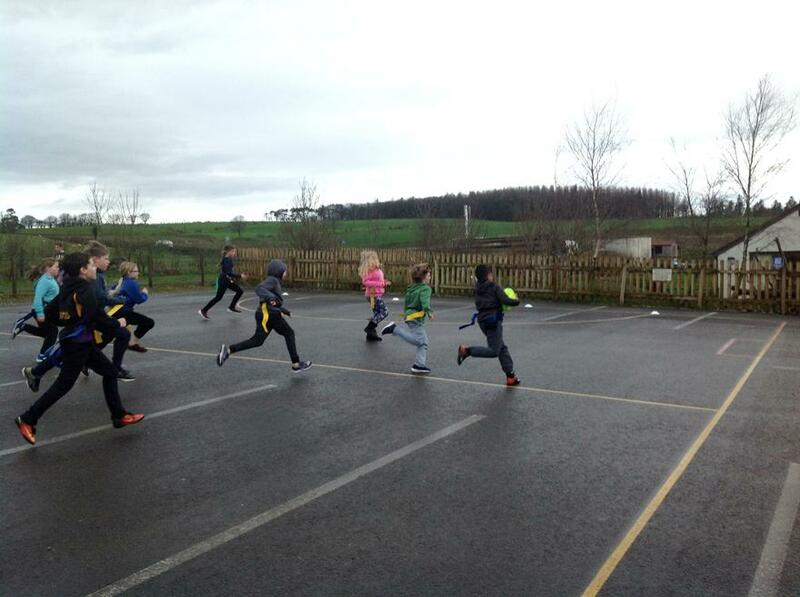 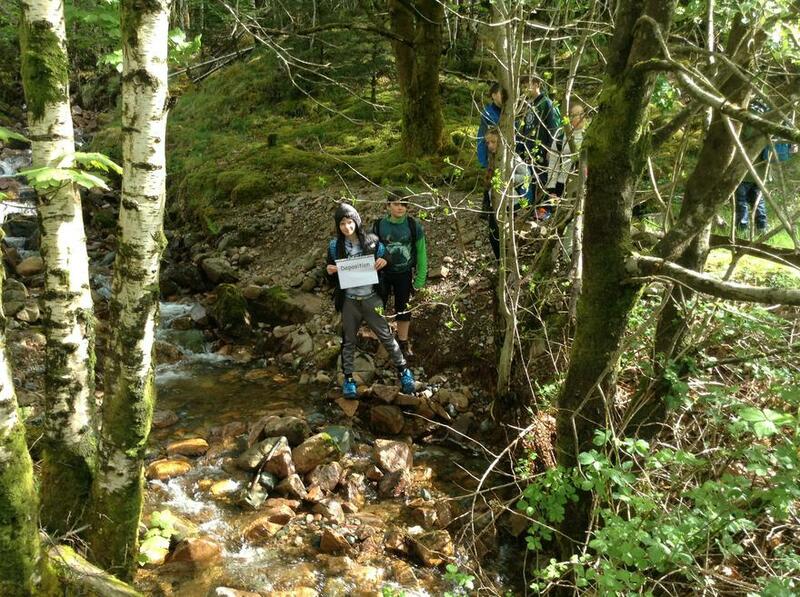 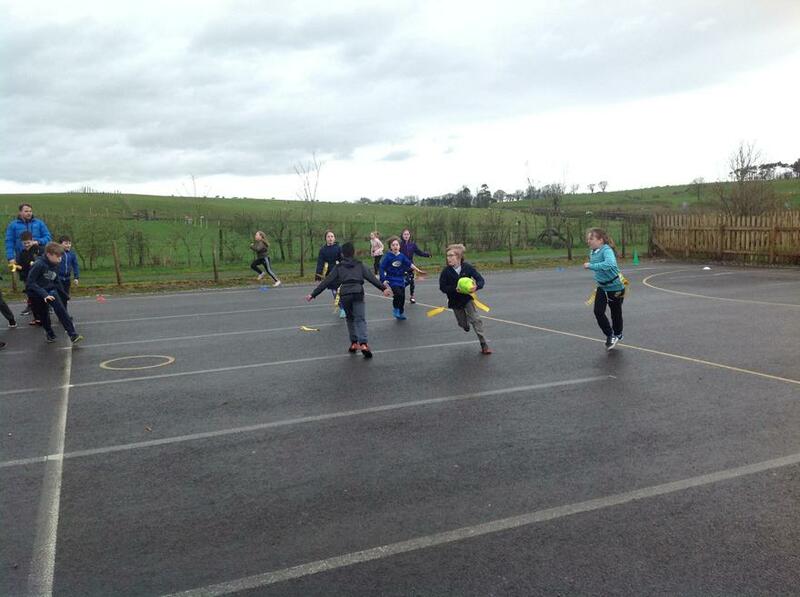 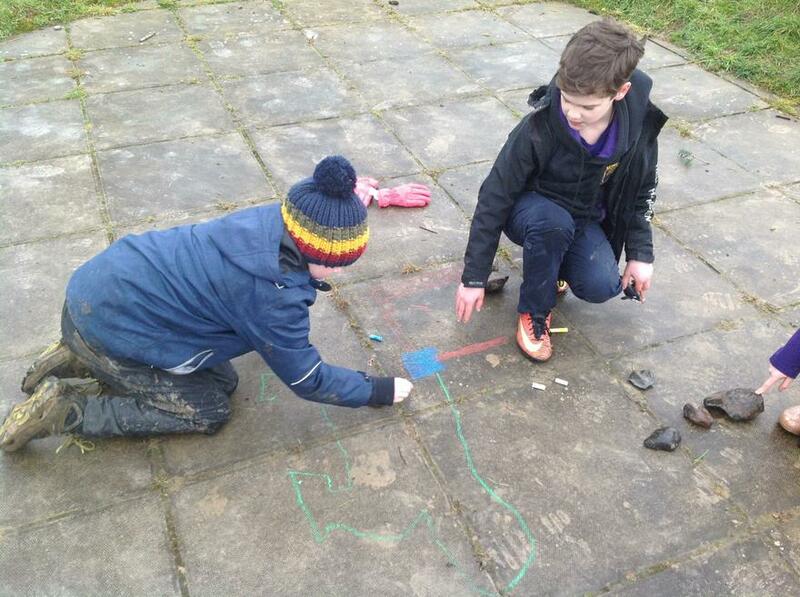 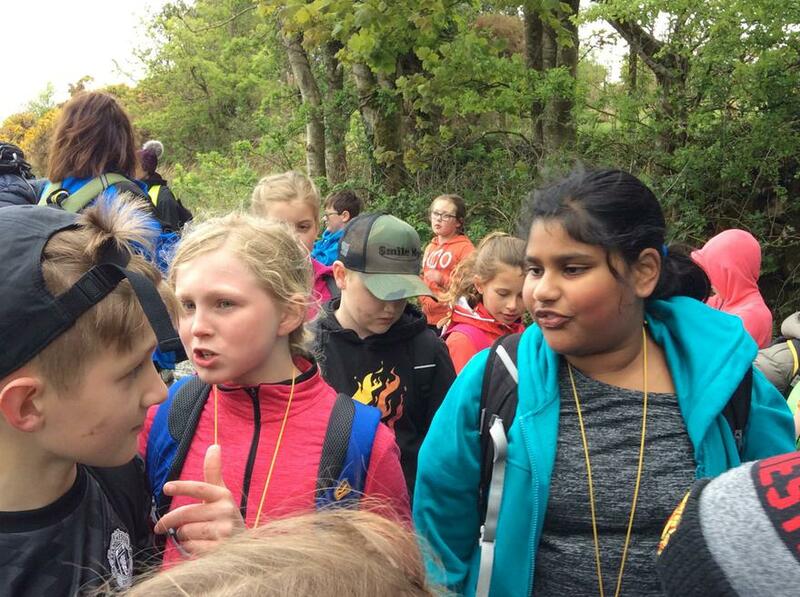 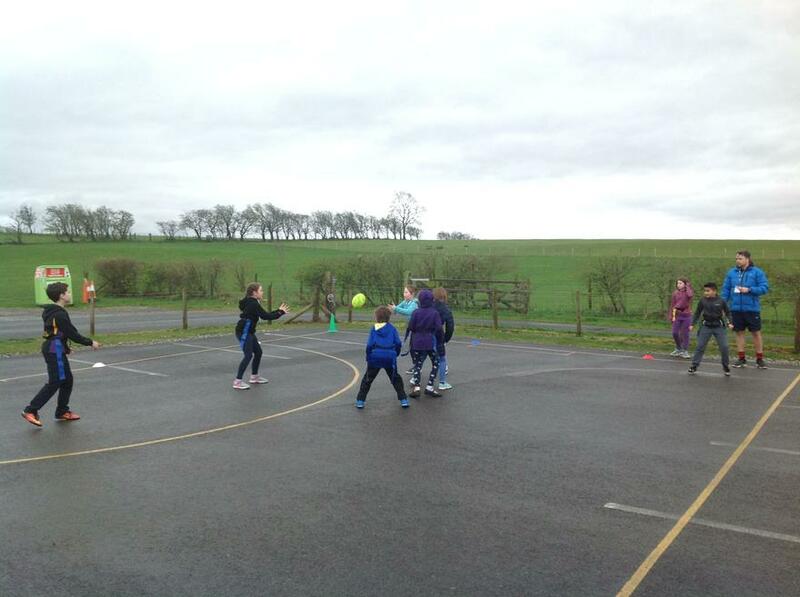 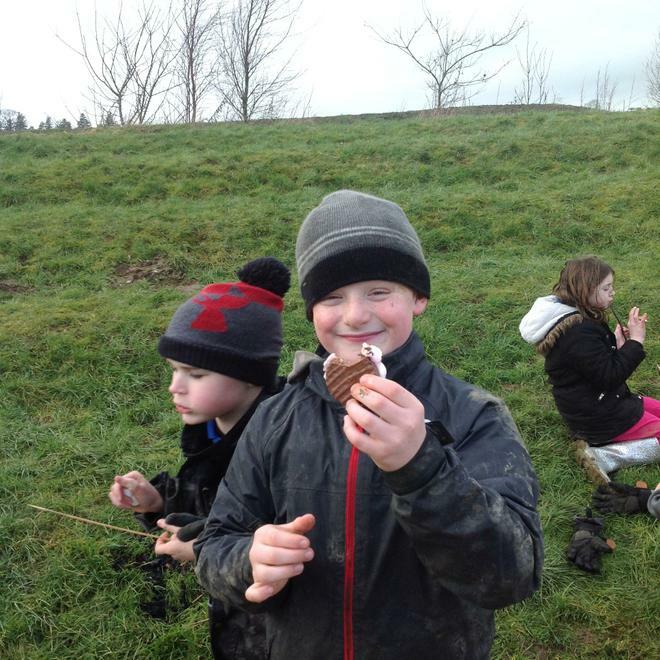 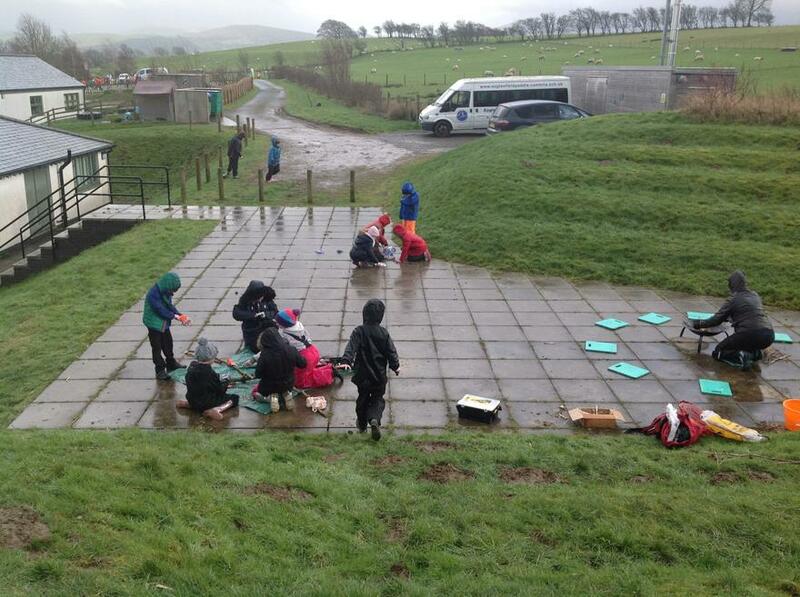 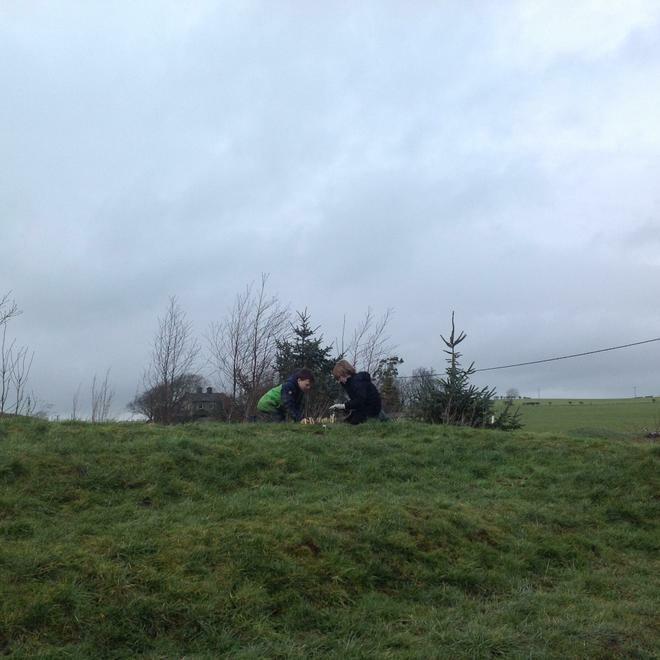 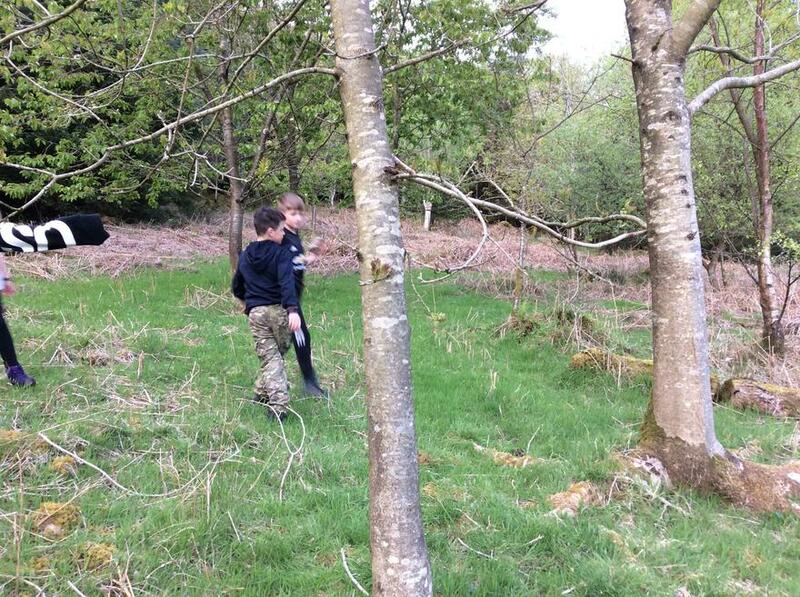 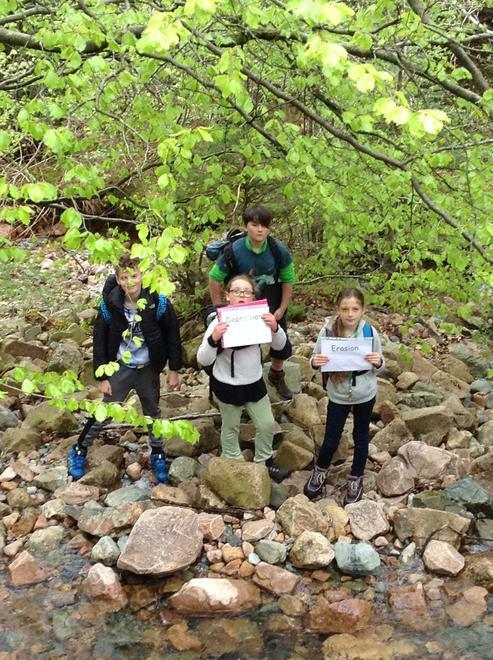 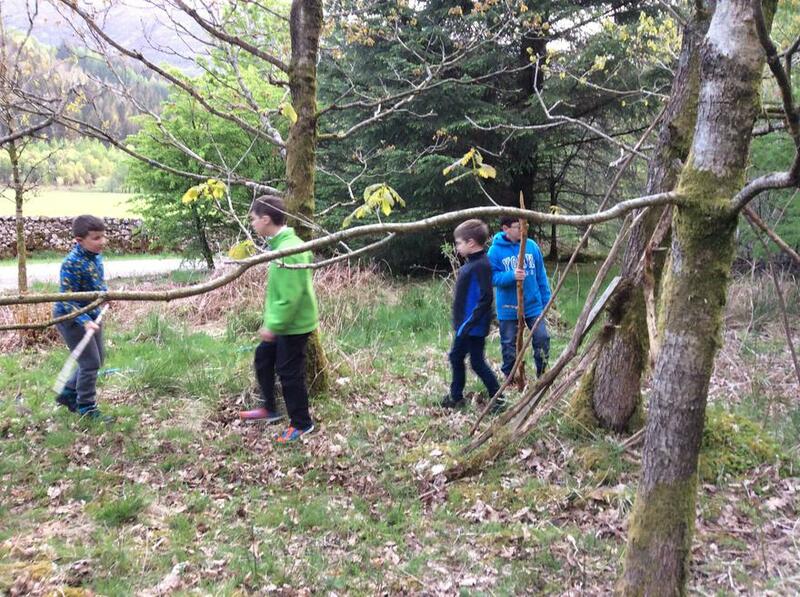 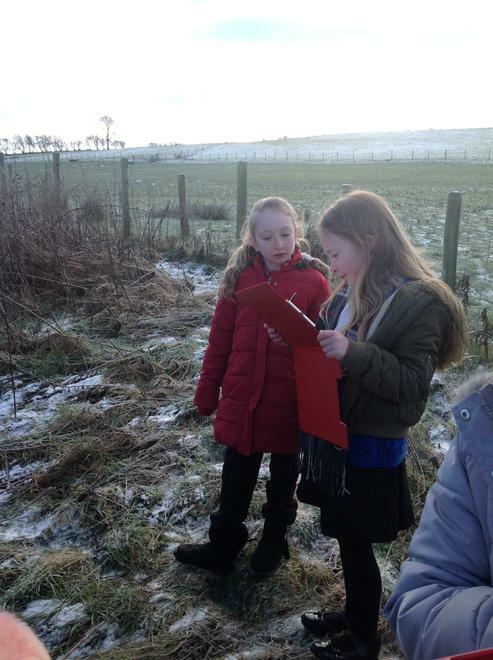 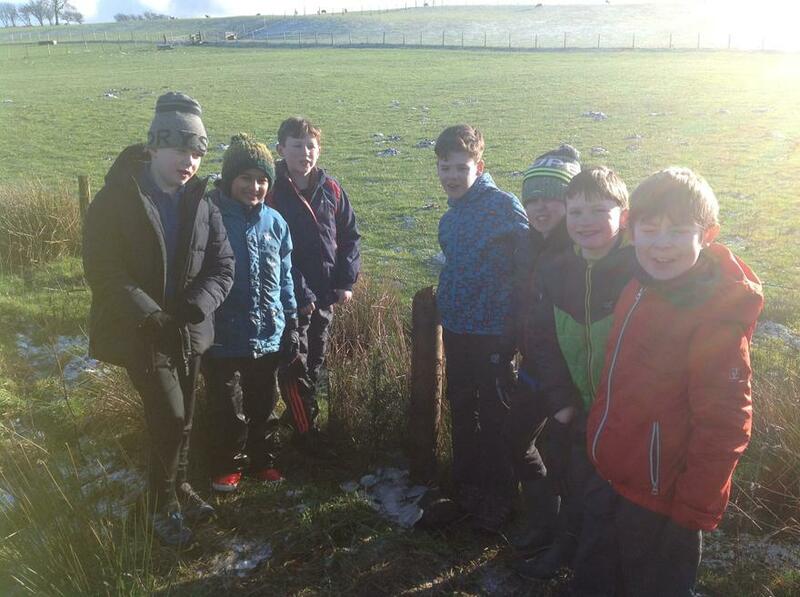 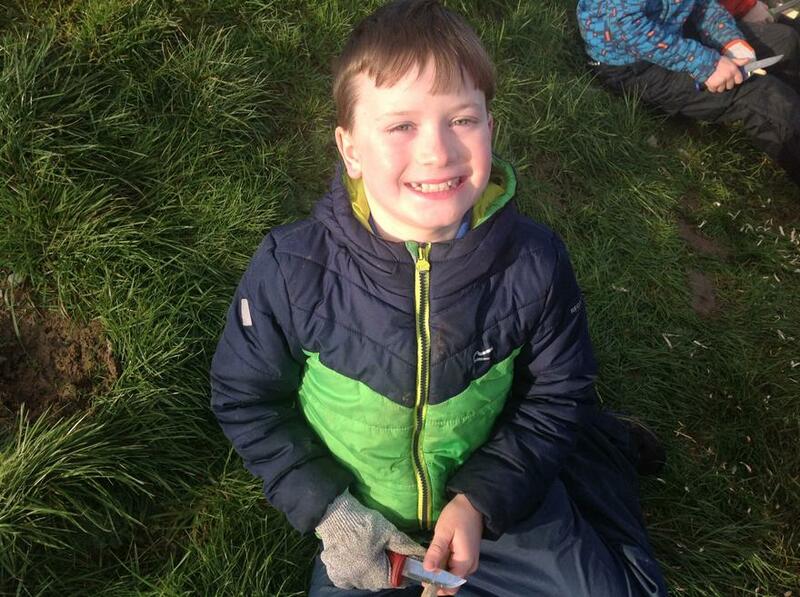 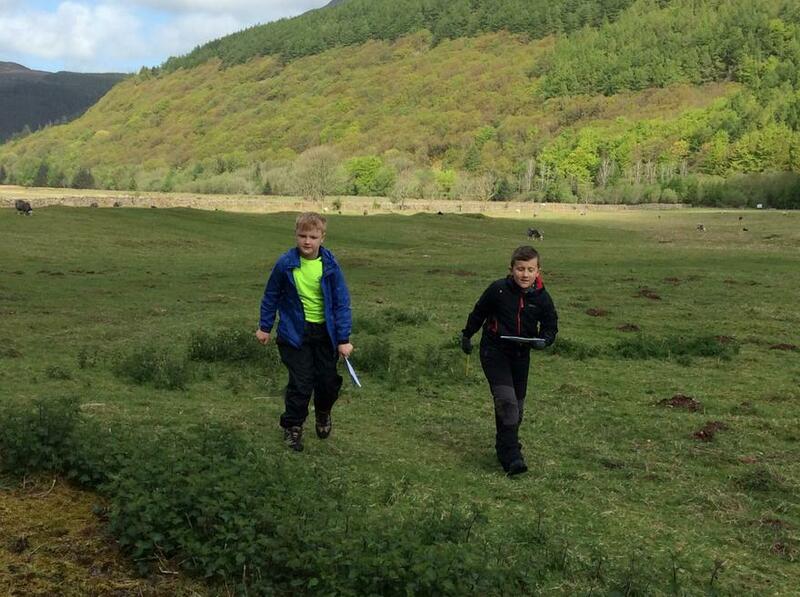 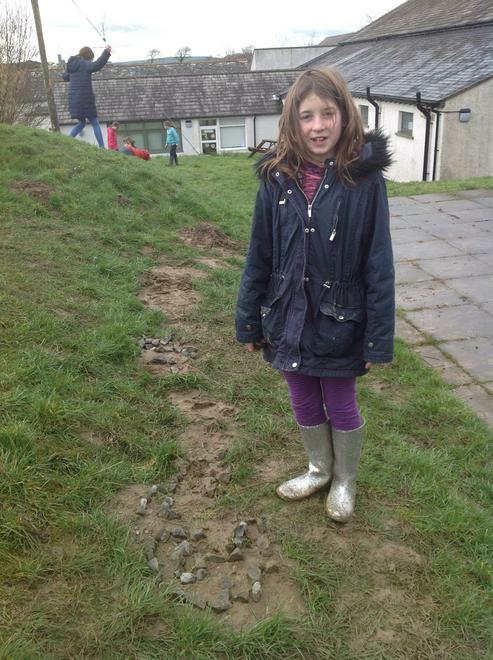 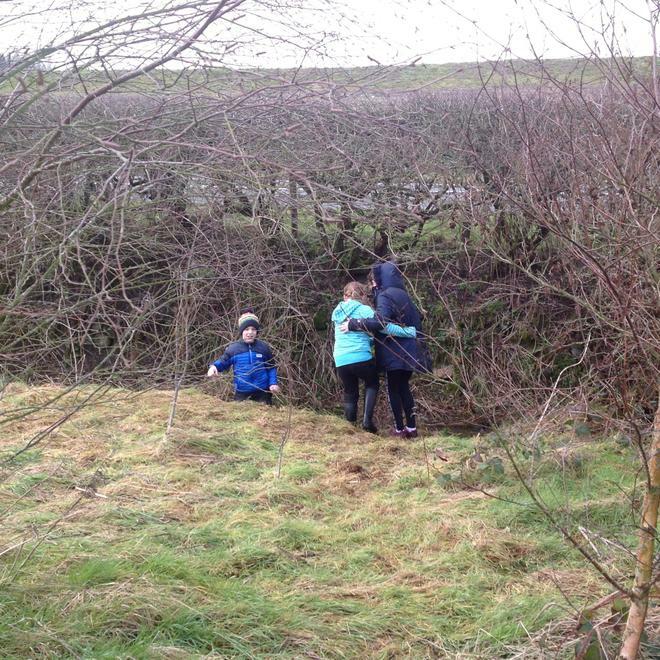 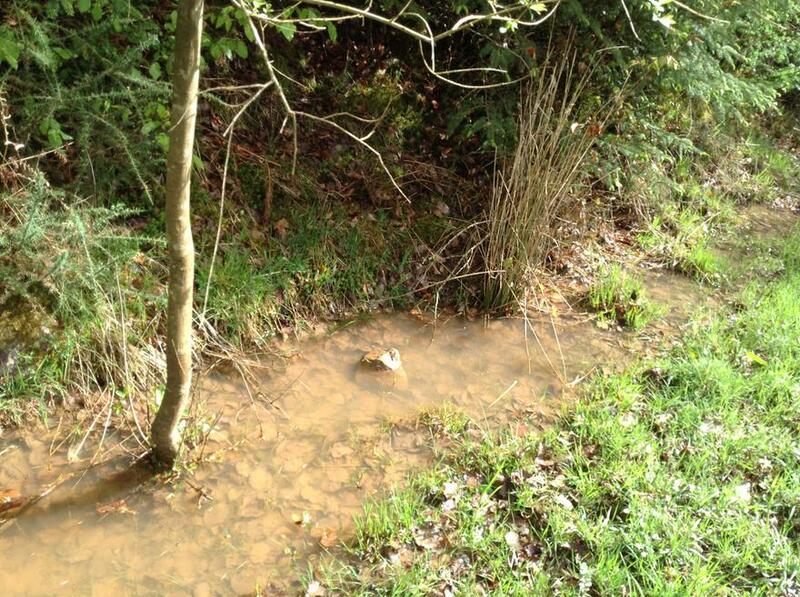 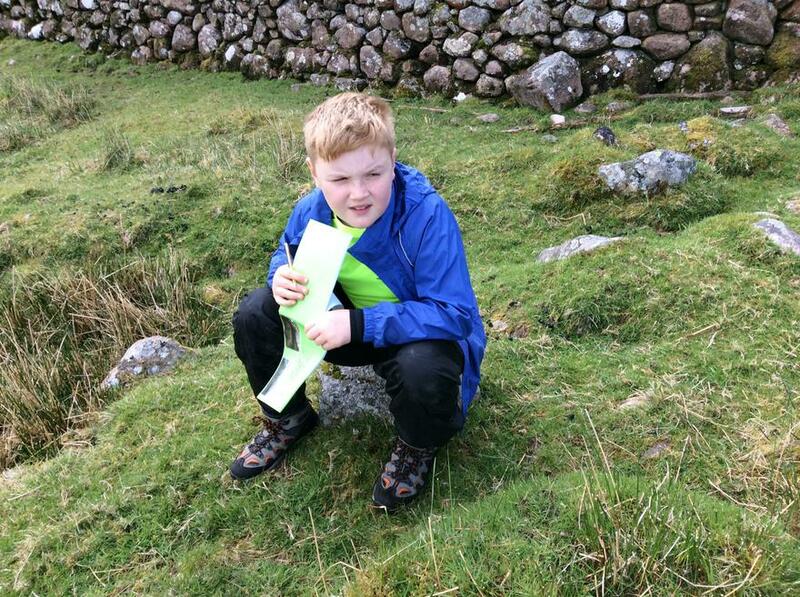 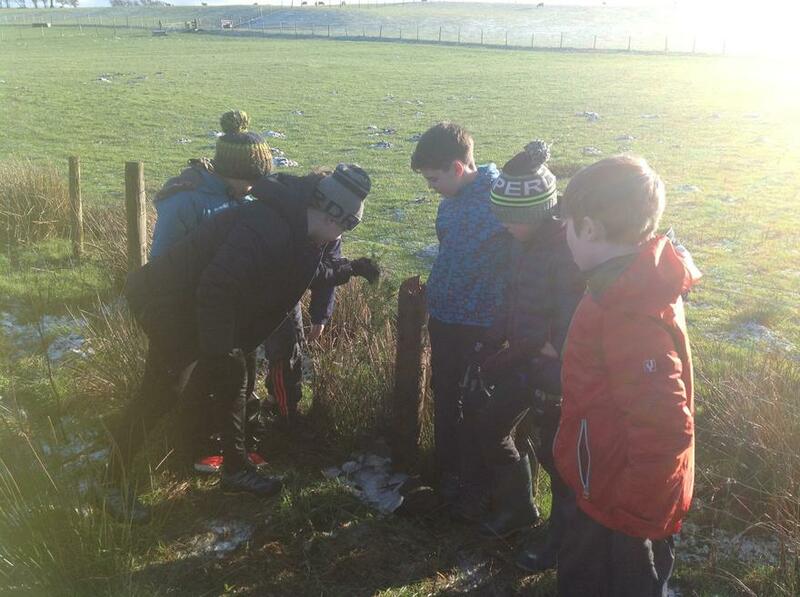 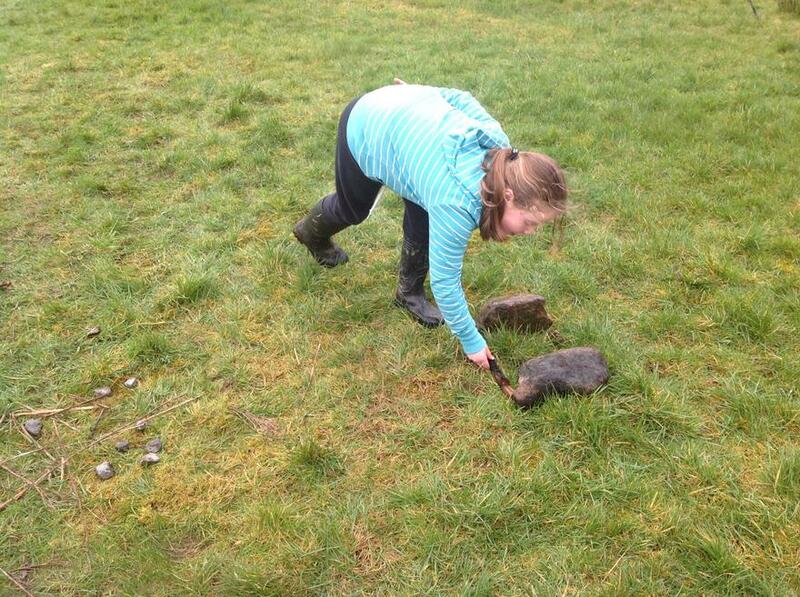 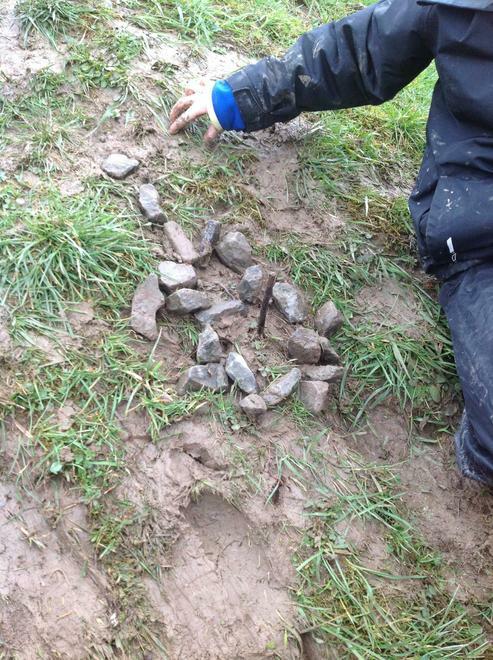 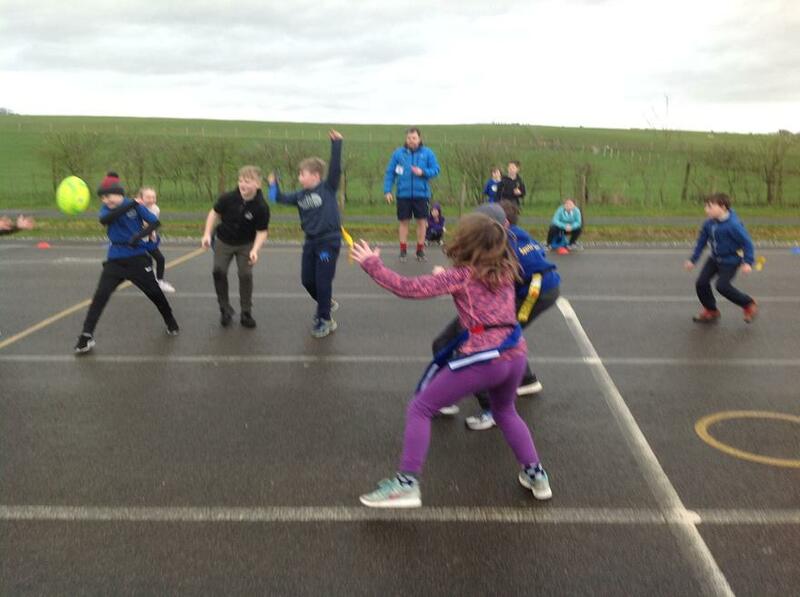 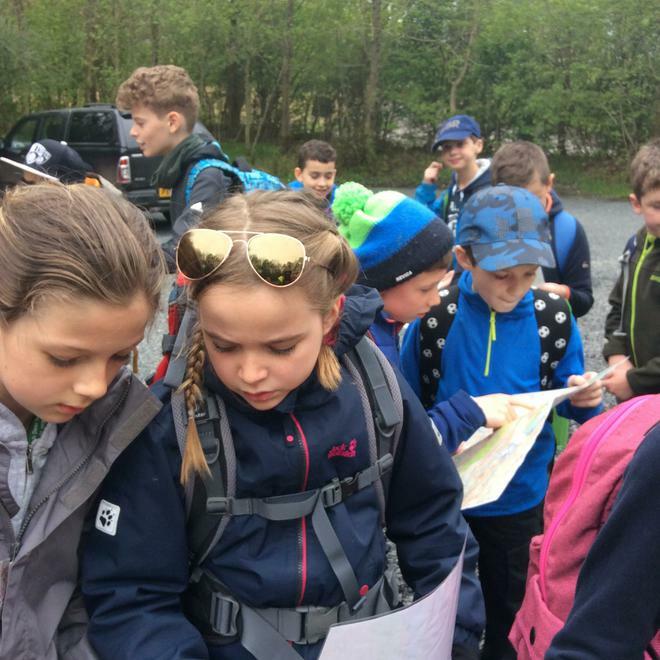 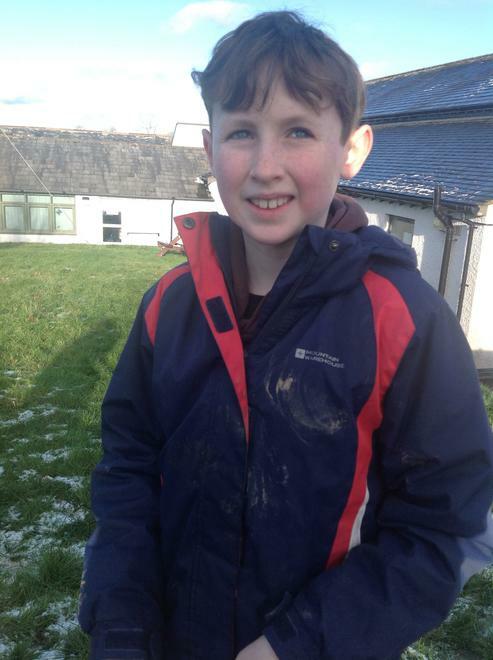 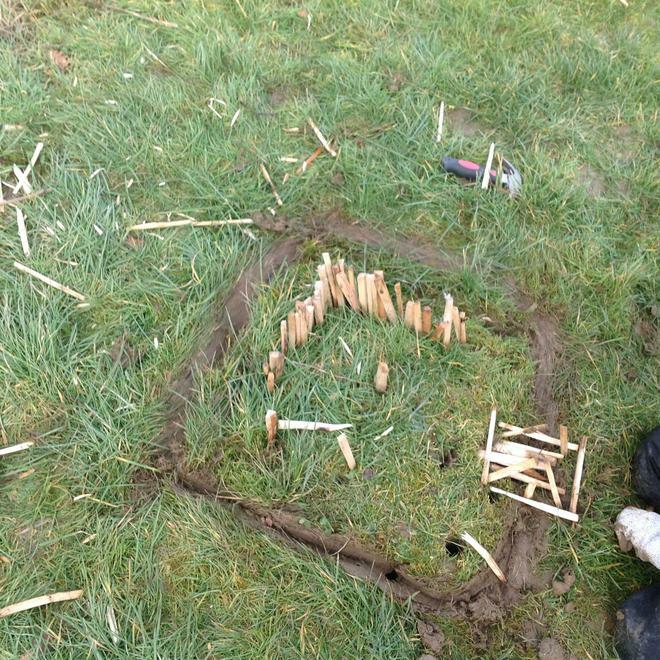 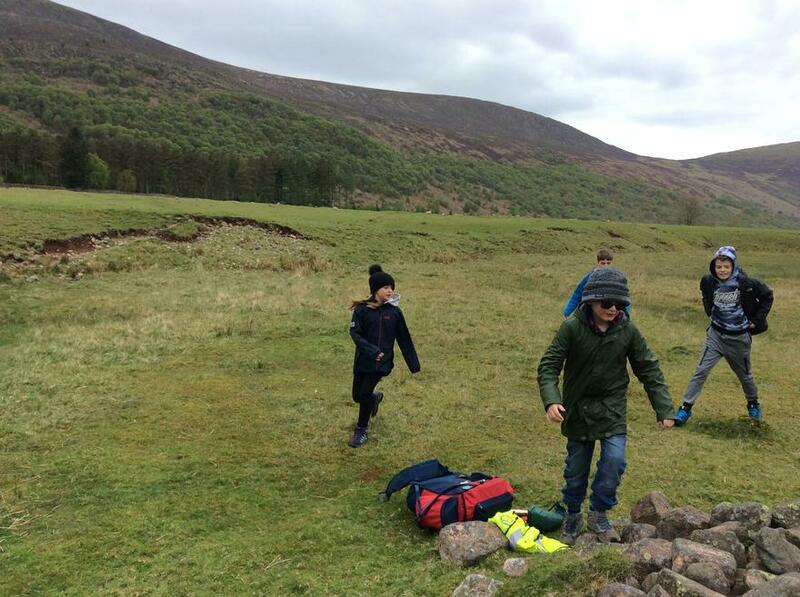 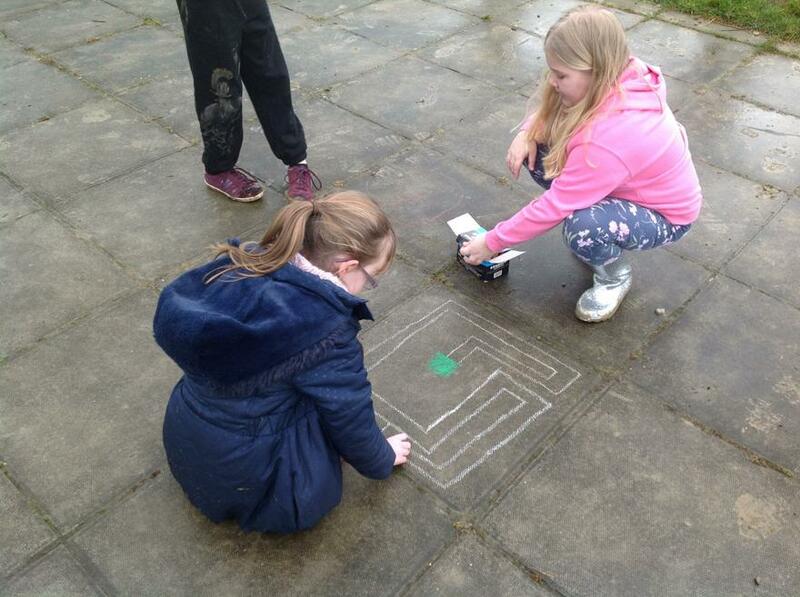 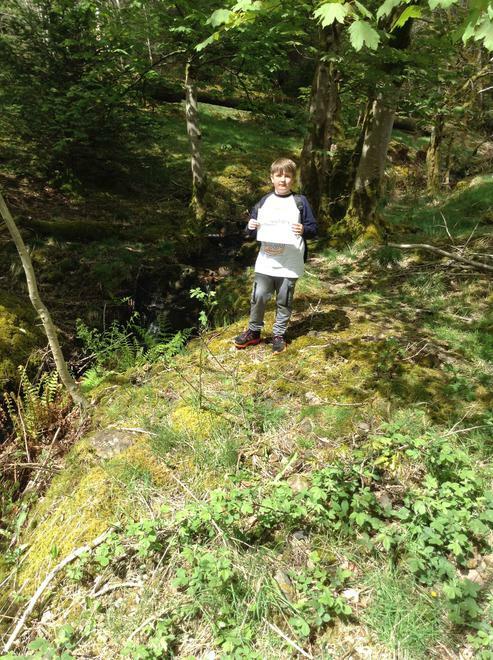 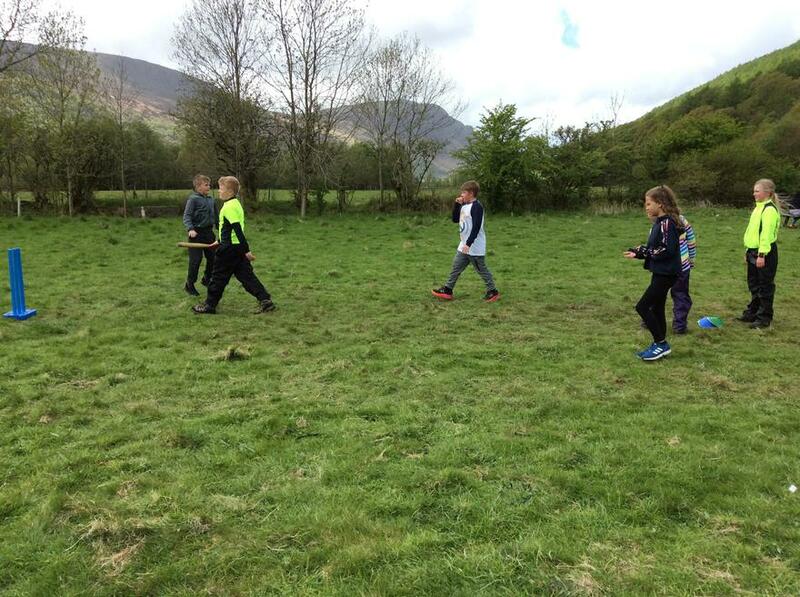 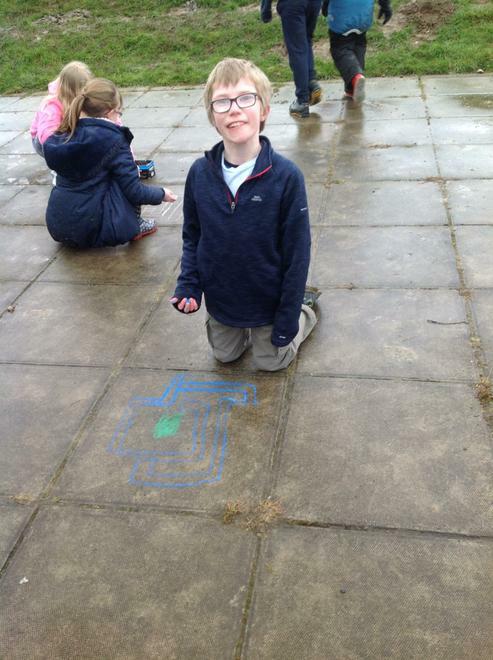 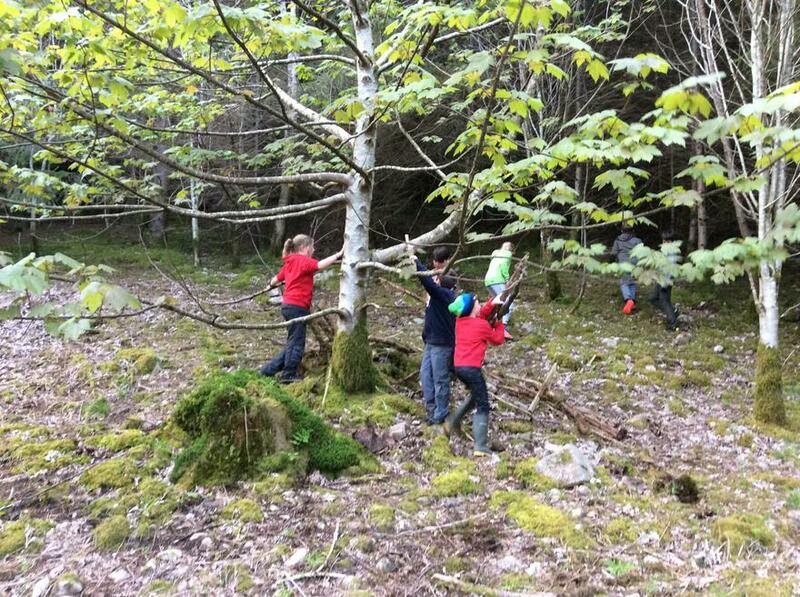 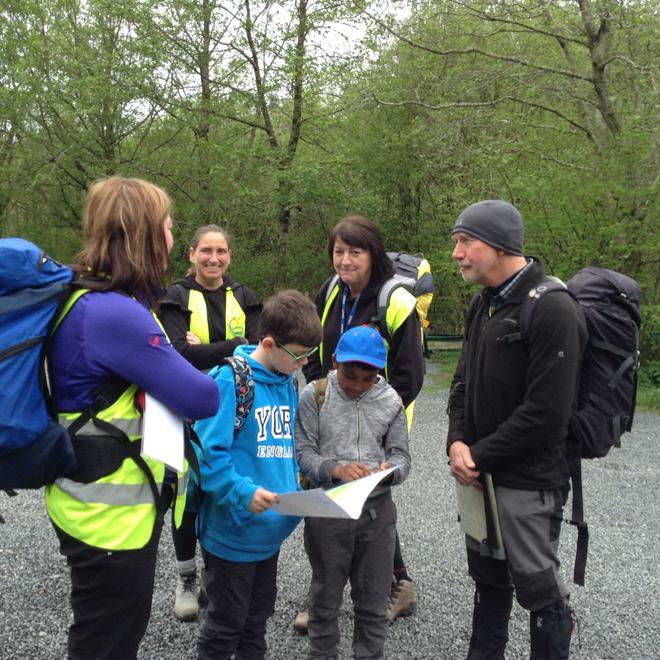 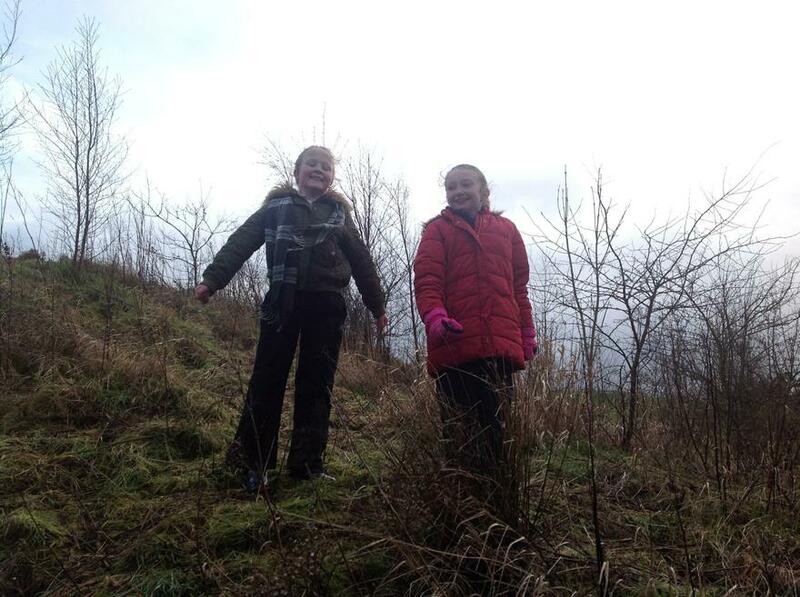 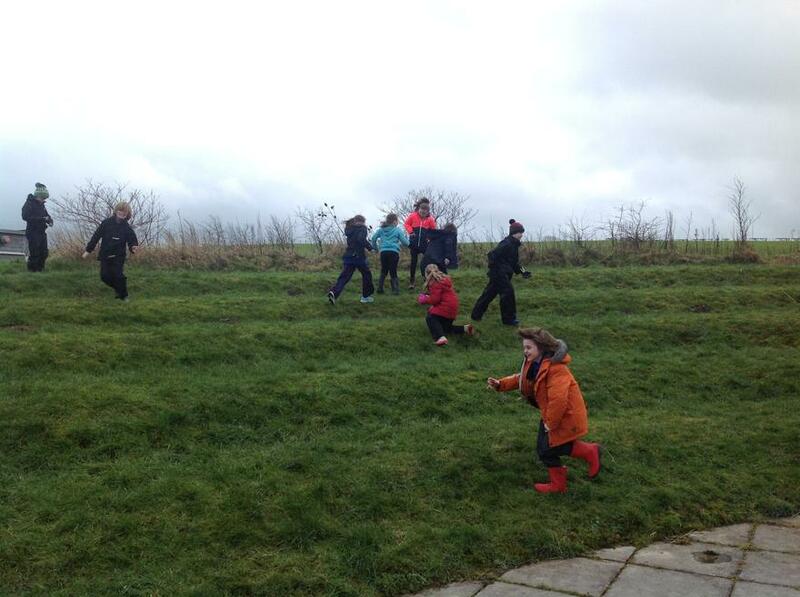 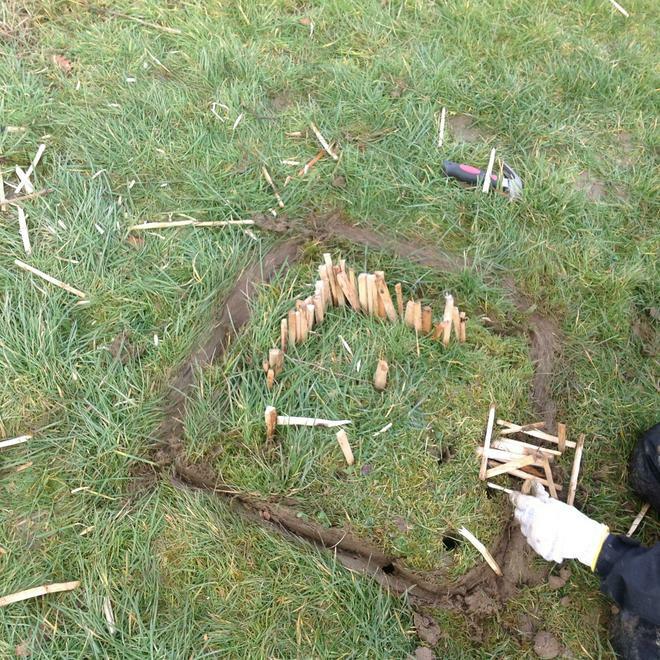 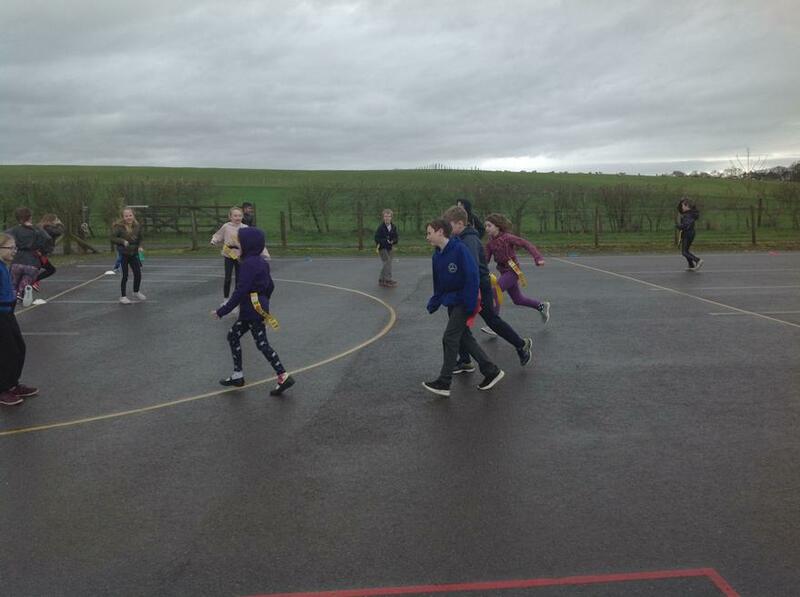 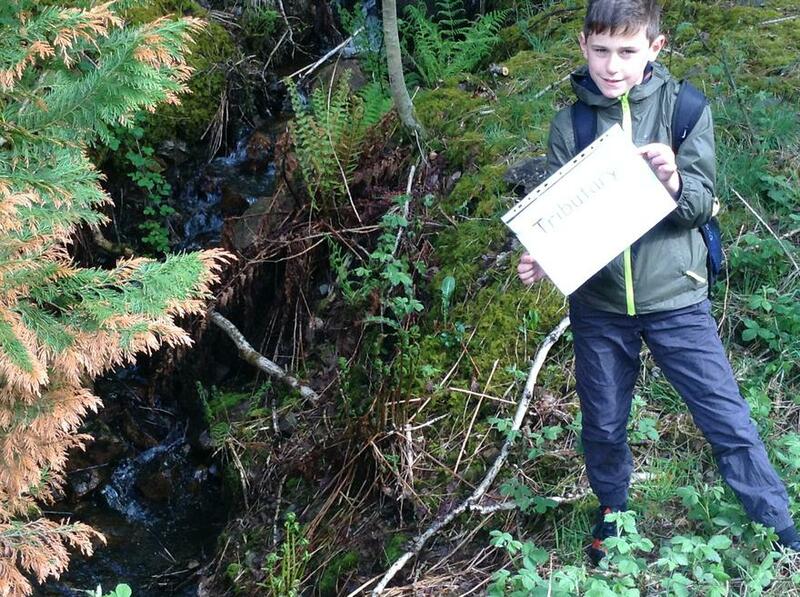 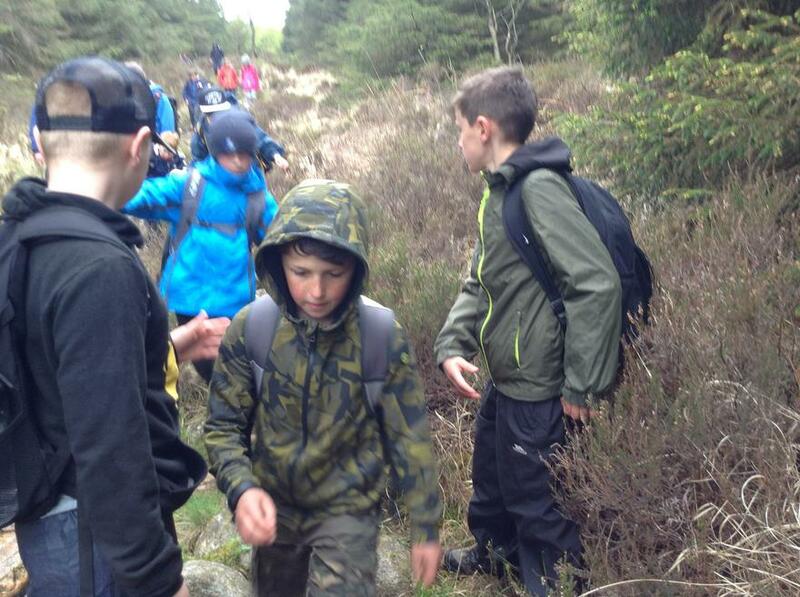 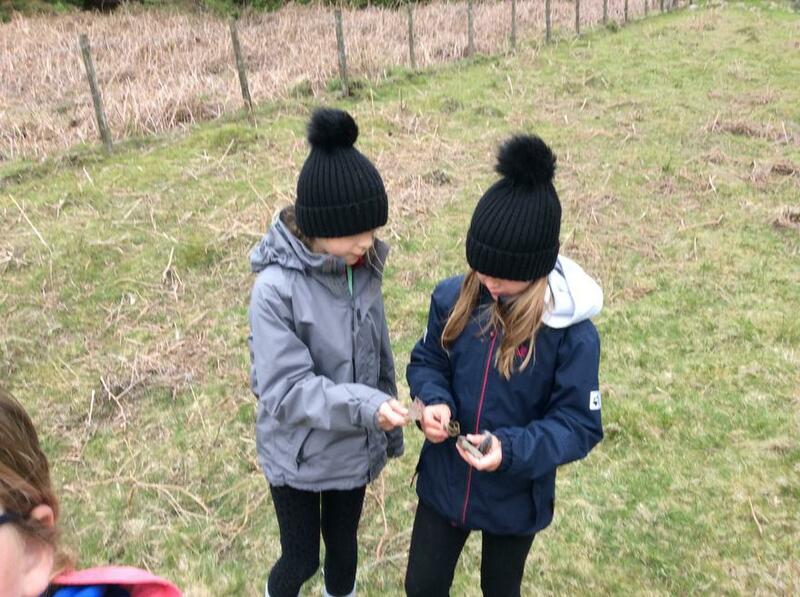 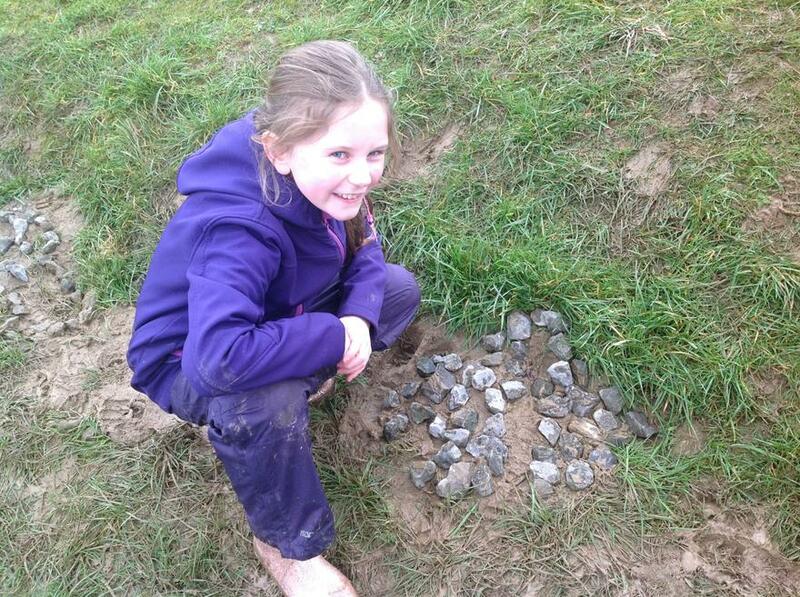 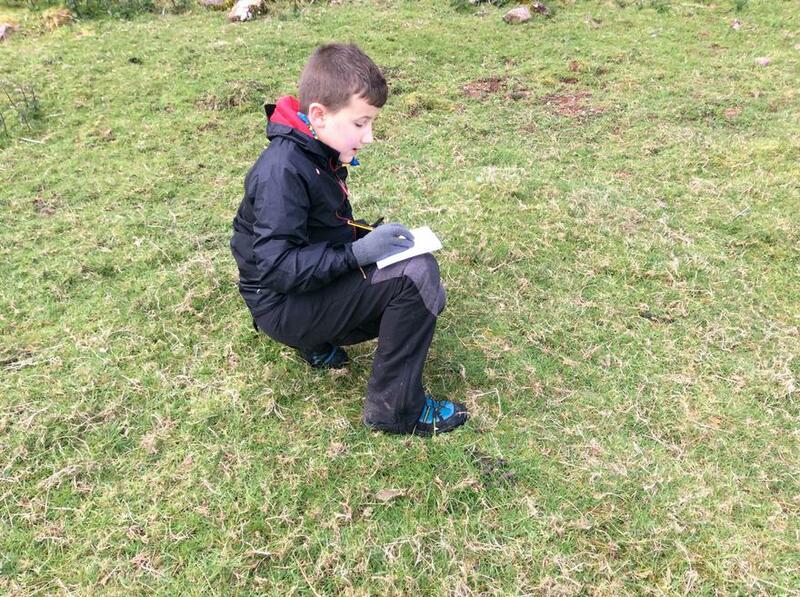 In the afternoon, the Year 5 children were involved in Mathematical orienteering, which was very muddy and great fun. 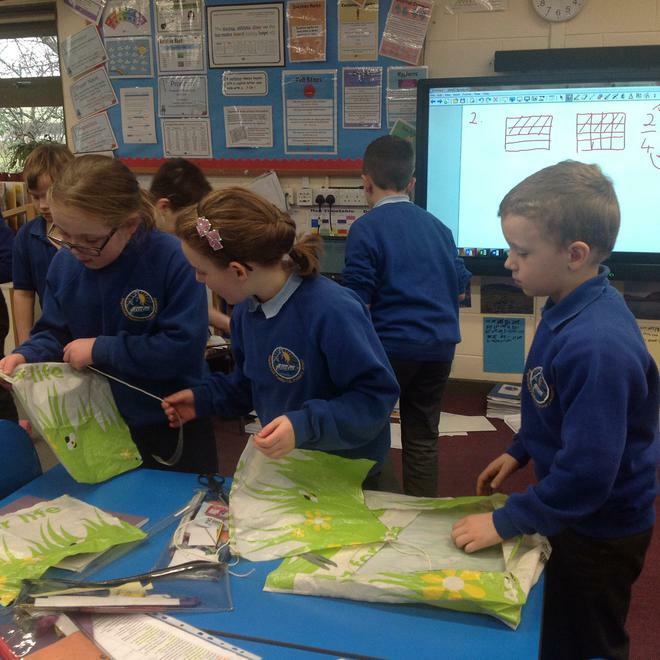 Many thanks to all the parents and volunteers , who helped to make our Maths day such a success. 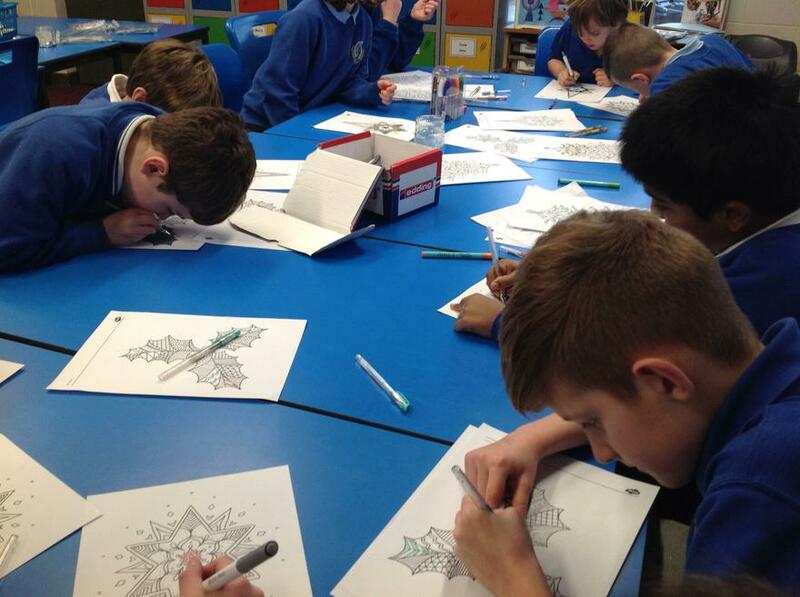 Times Tables Rockstars in the making! 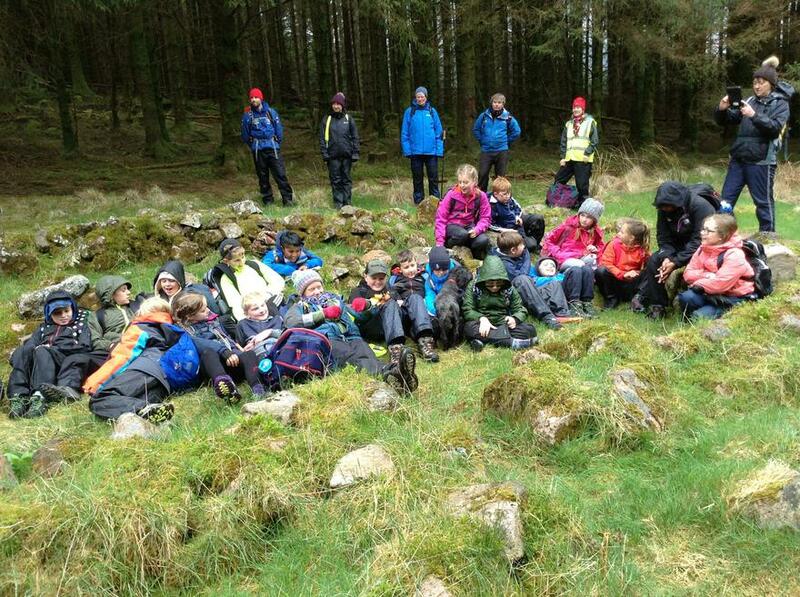 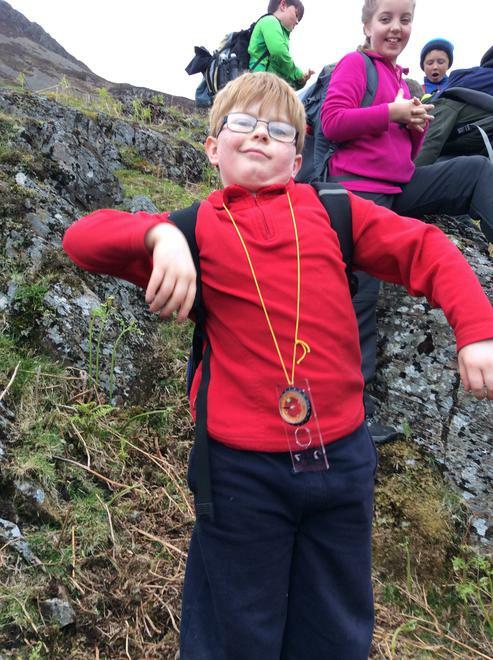 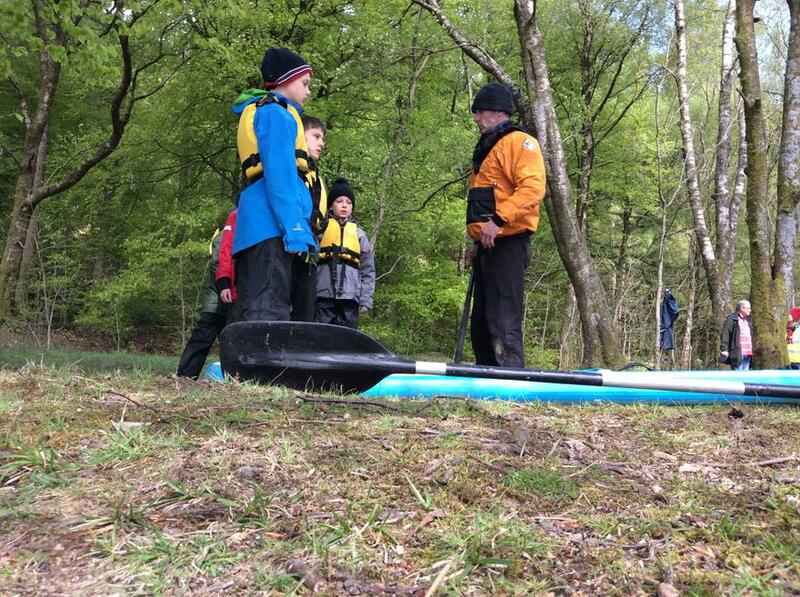 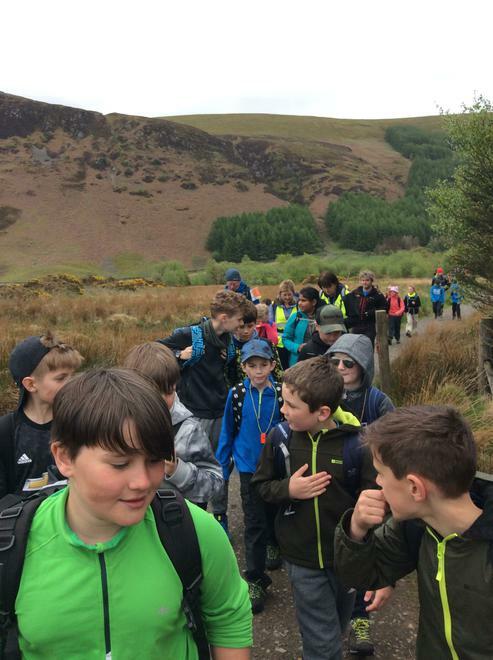 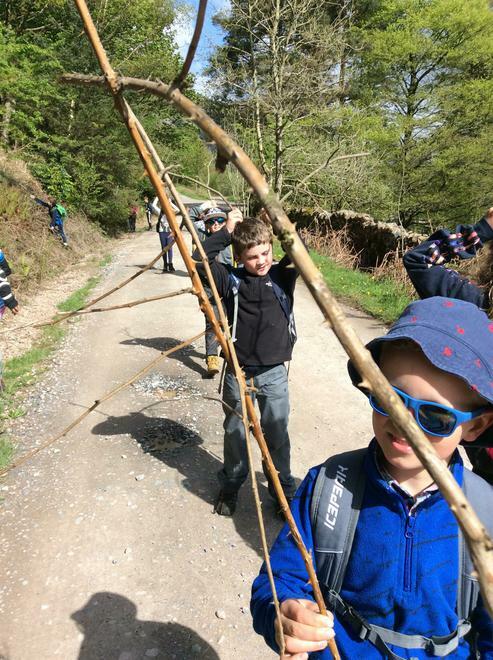 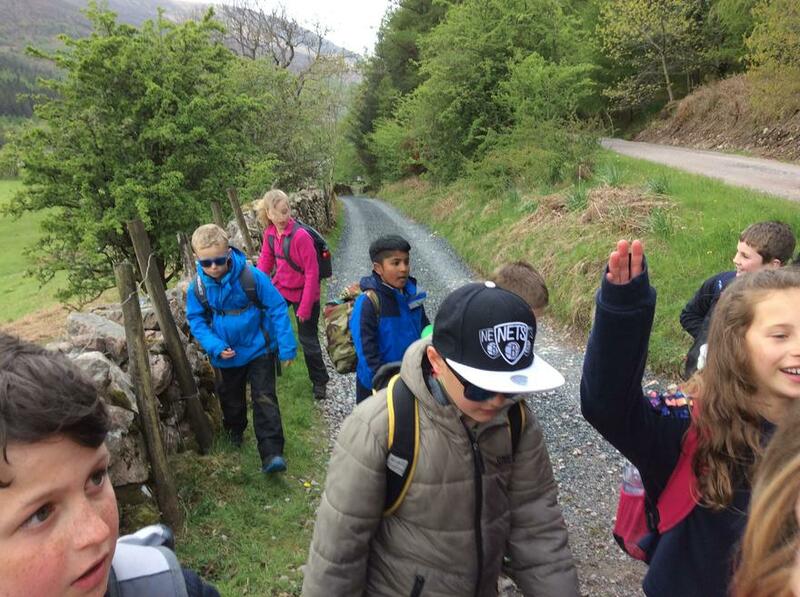 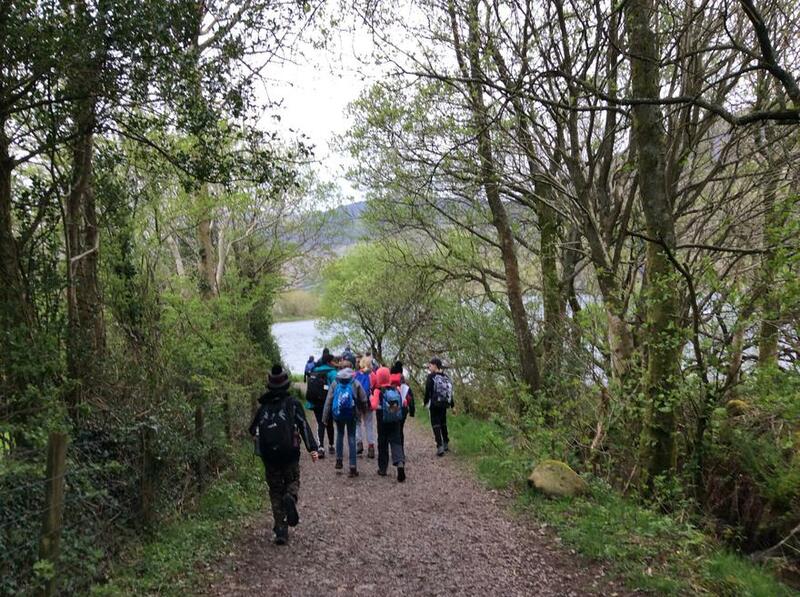 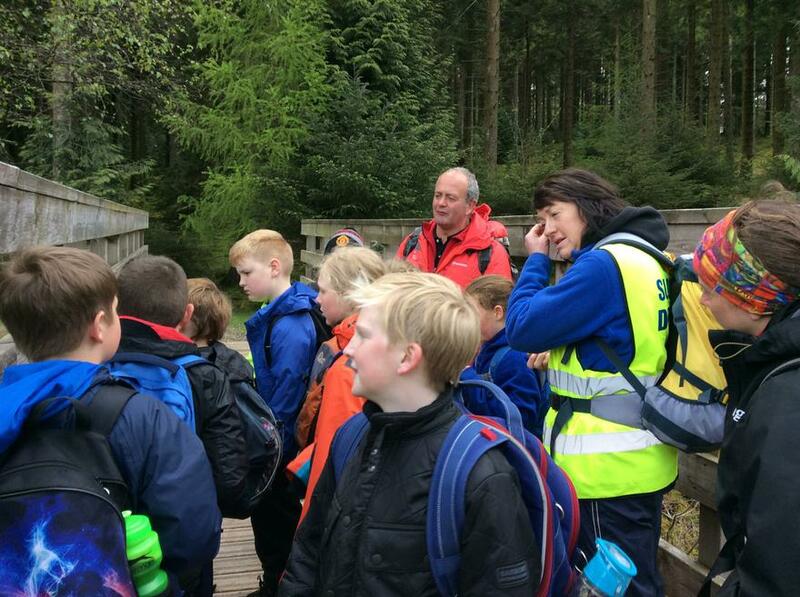 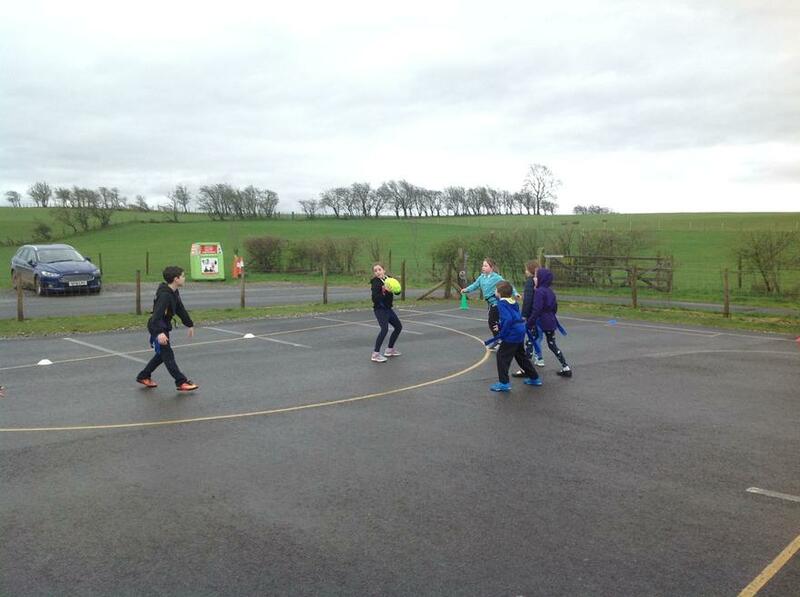 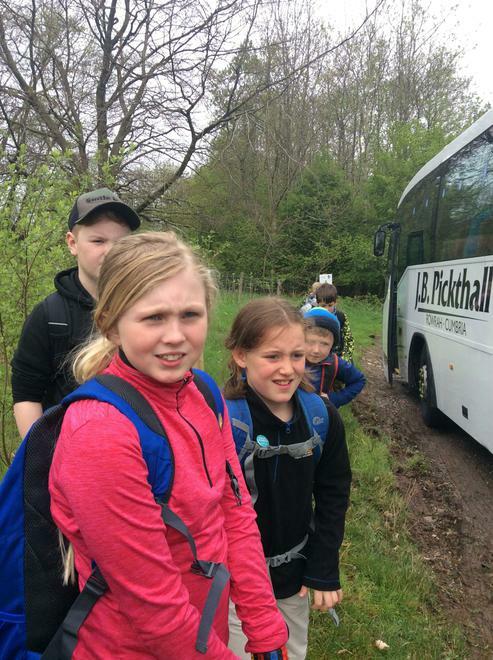 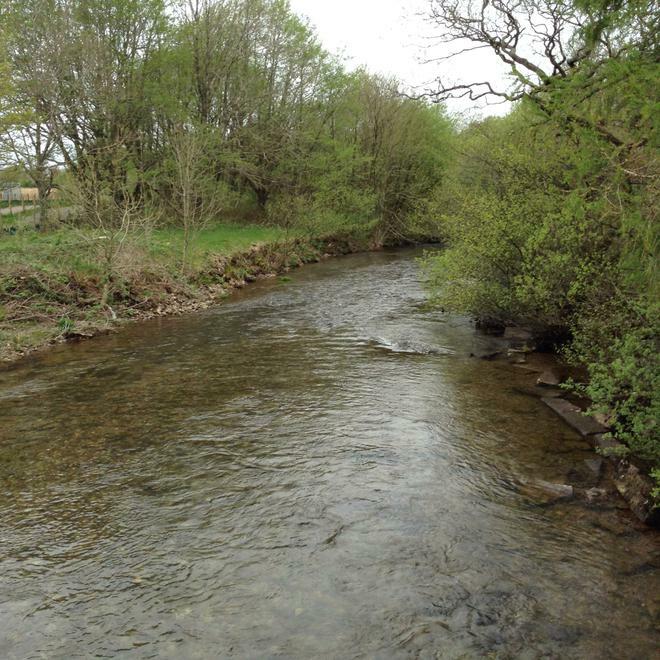 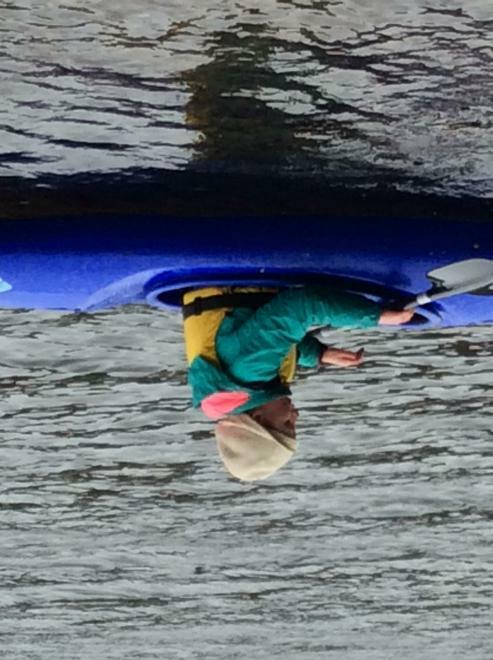 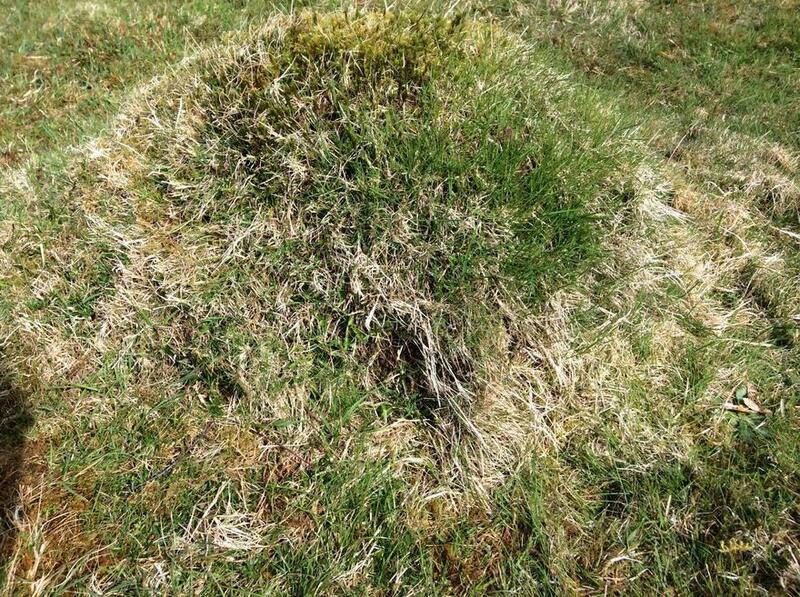 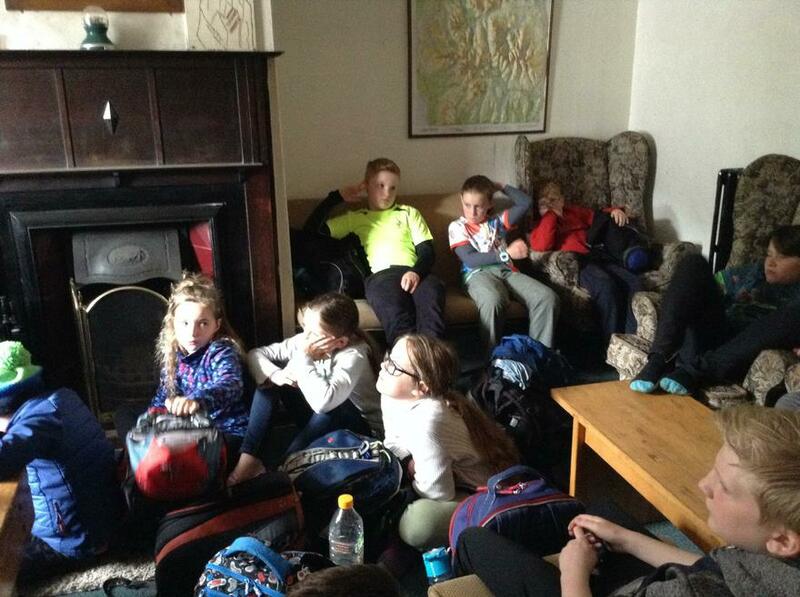 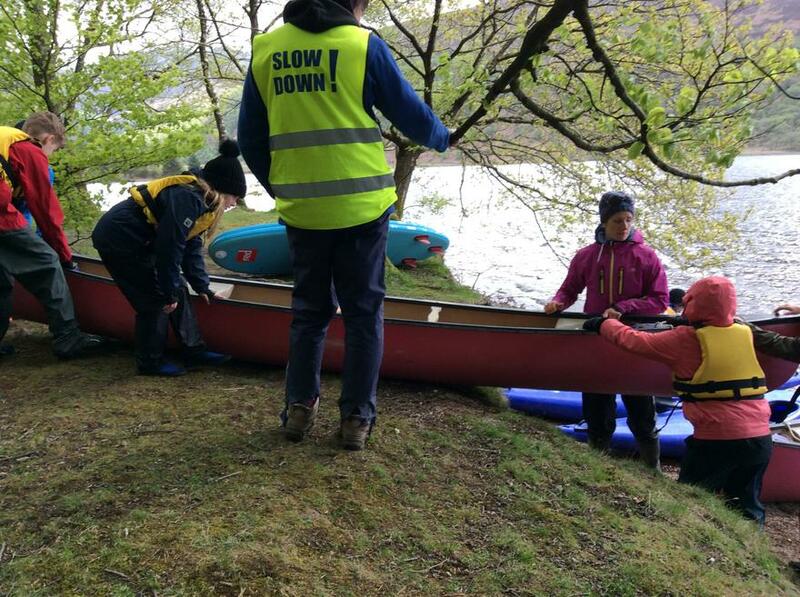 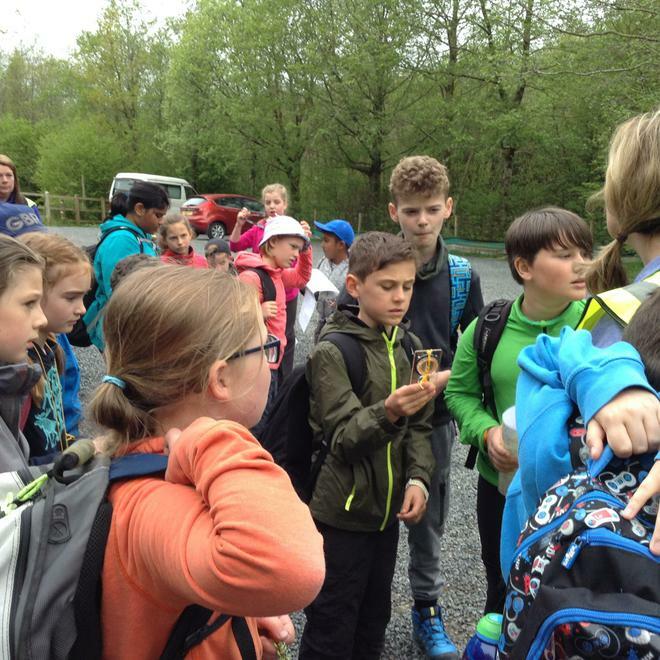 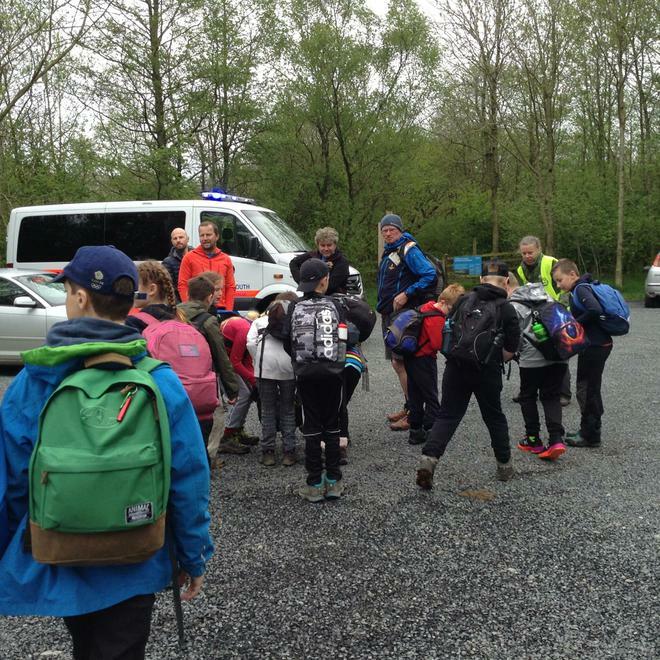 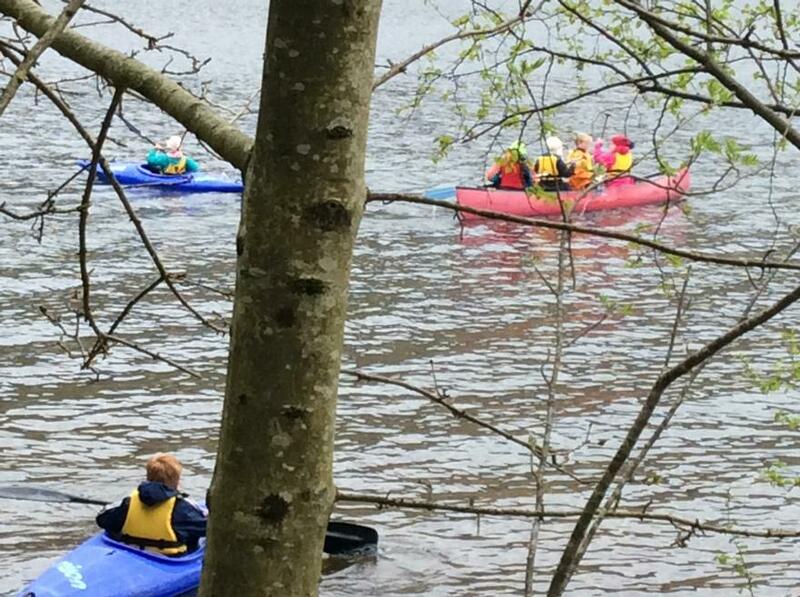 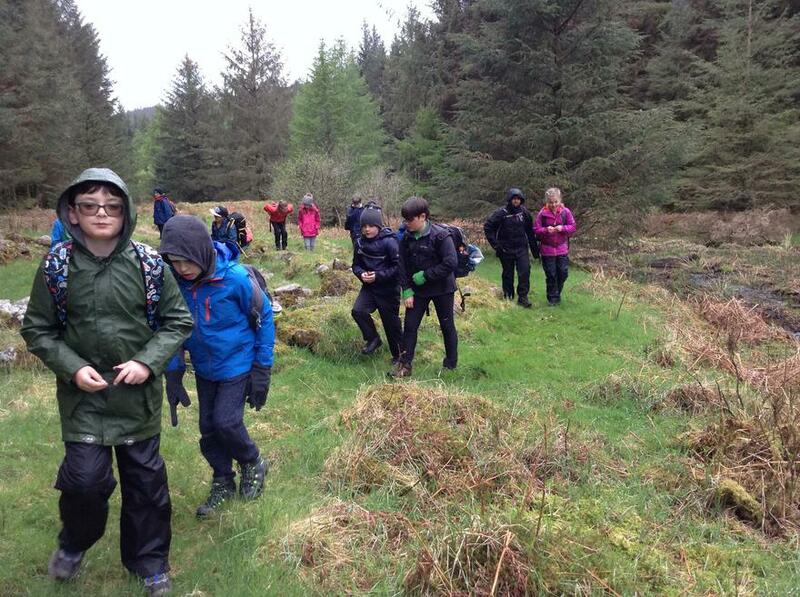 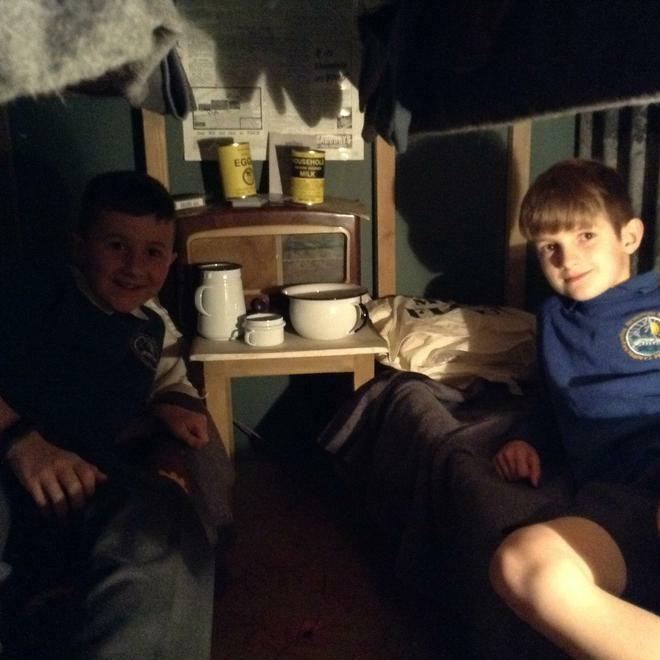 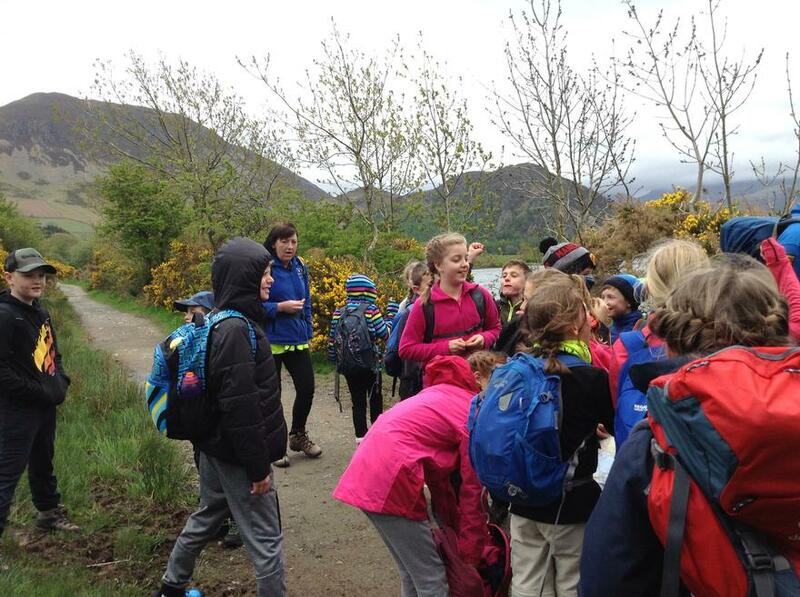 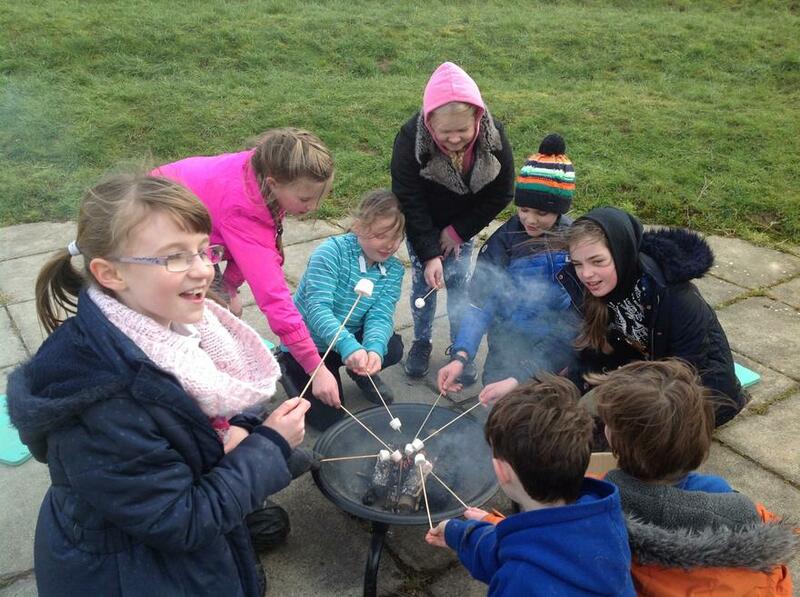 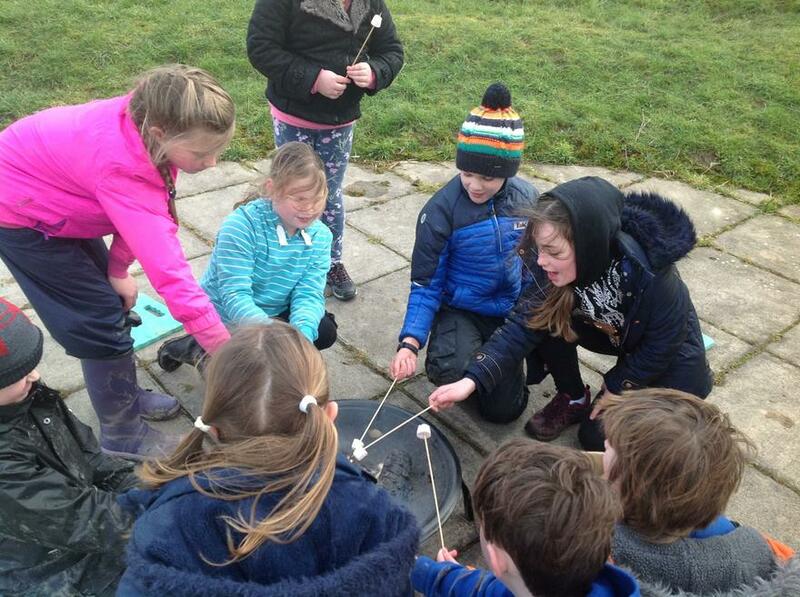 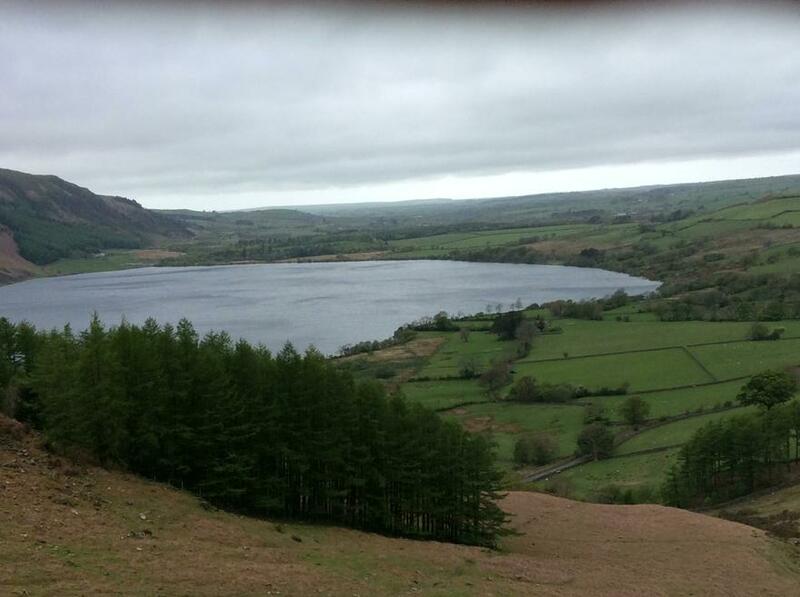 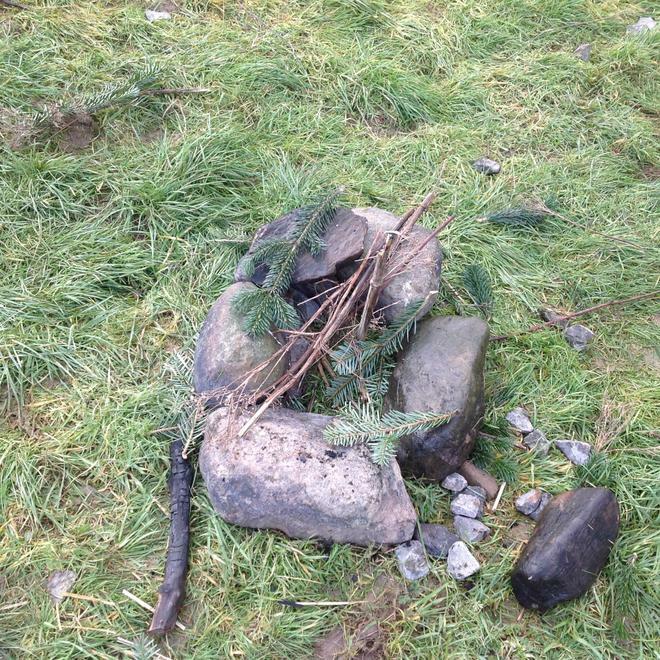 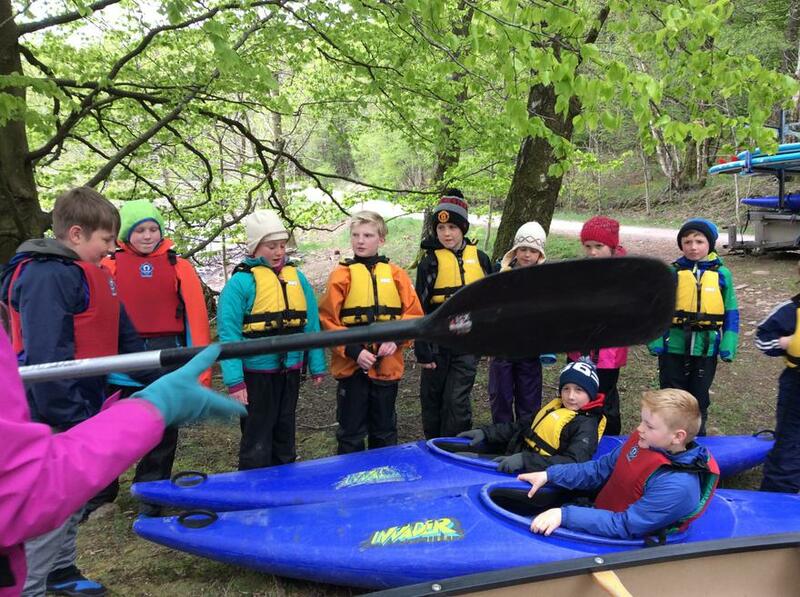 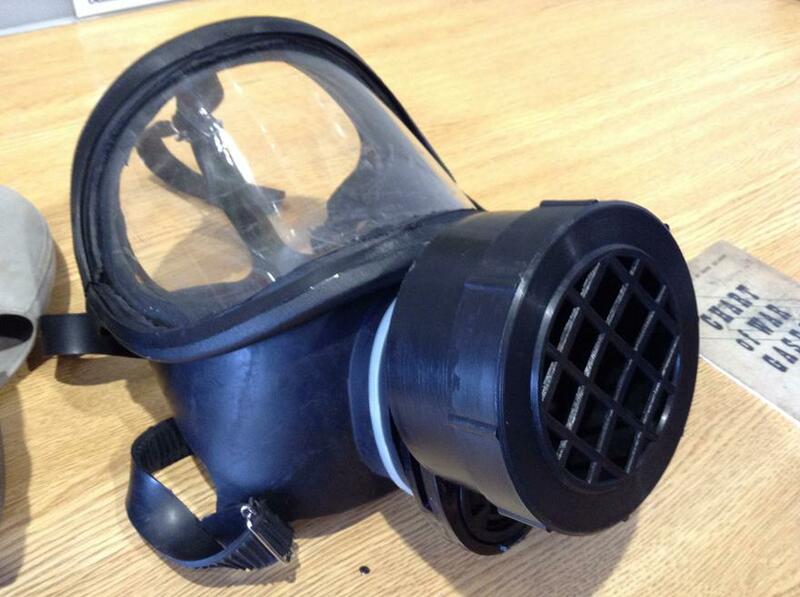 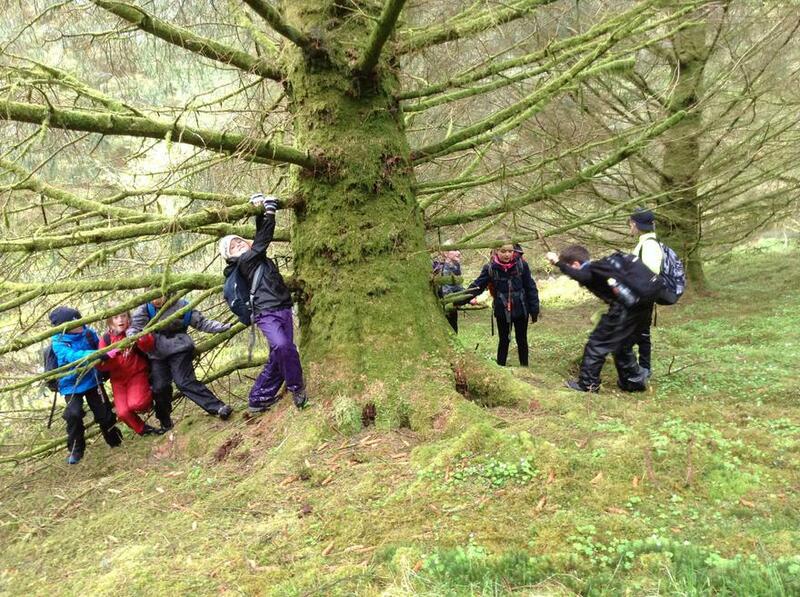 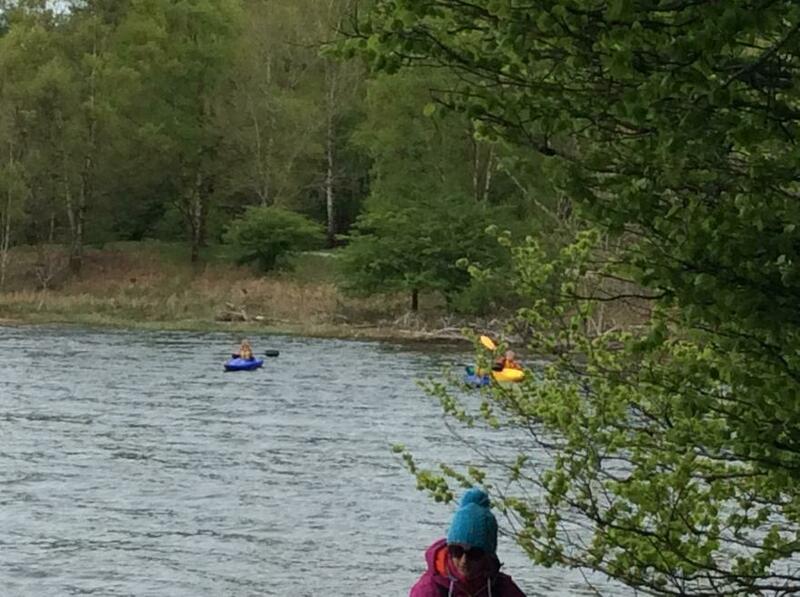 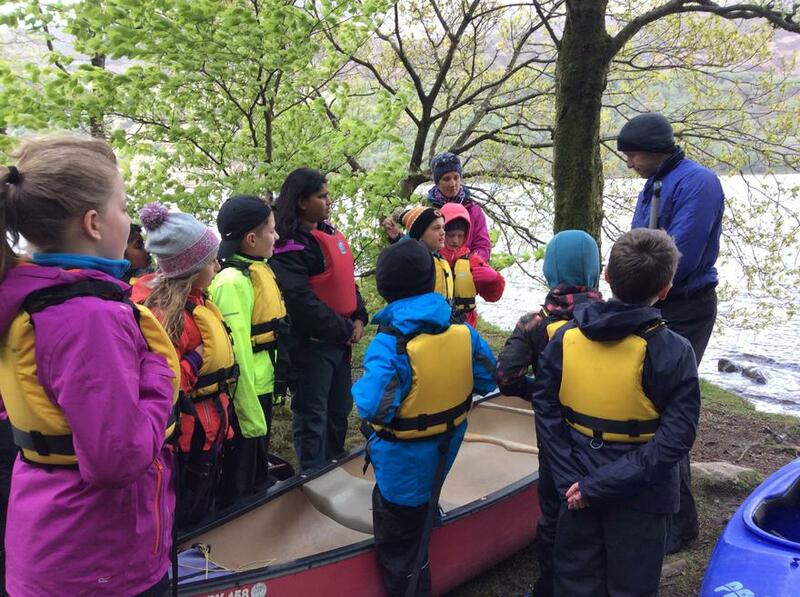 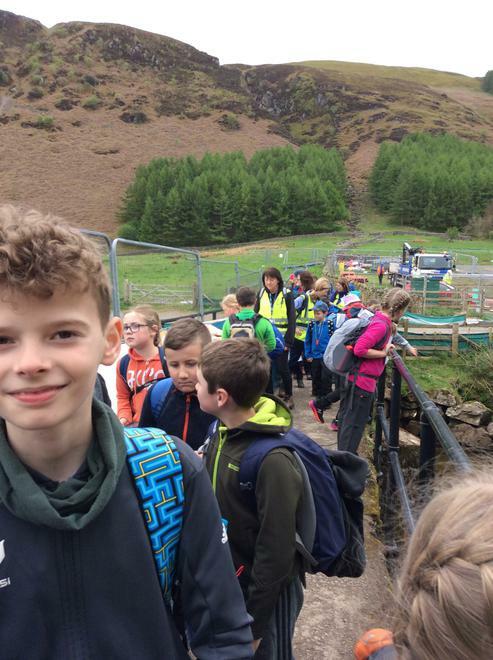 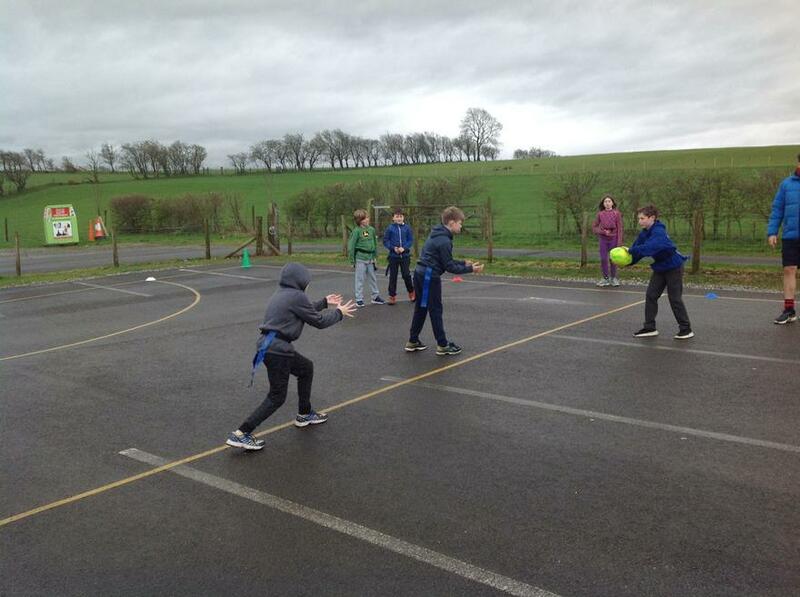 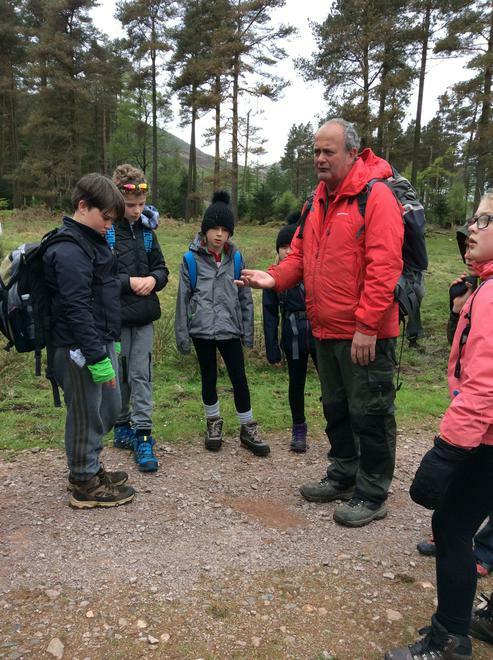 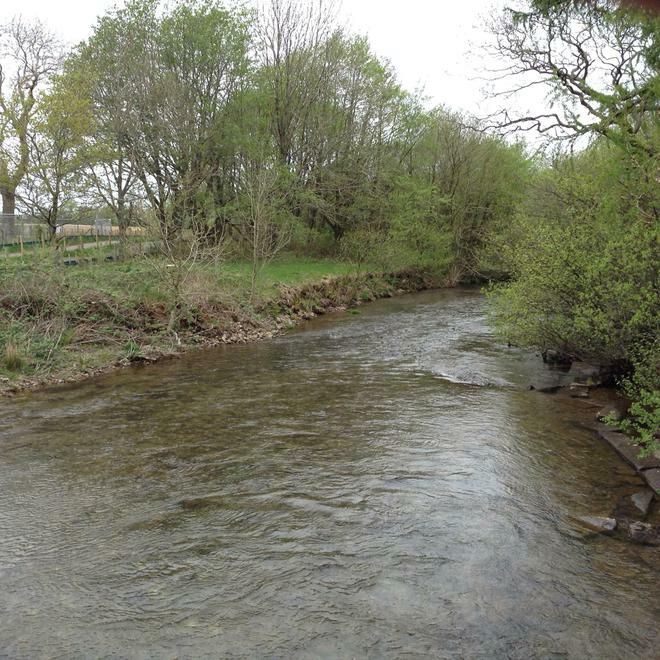 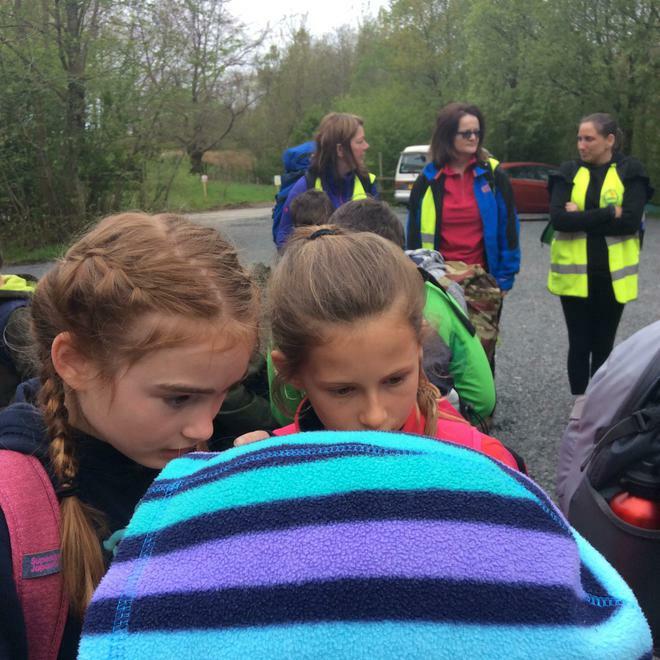 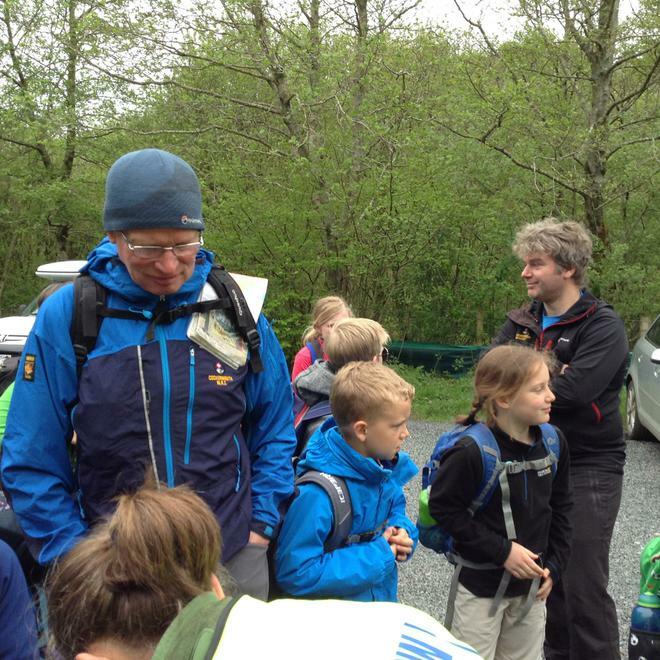 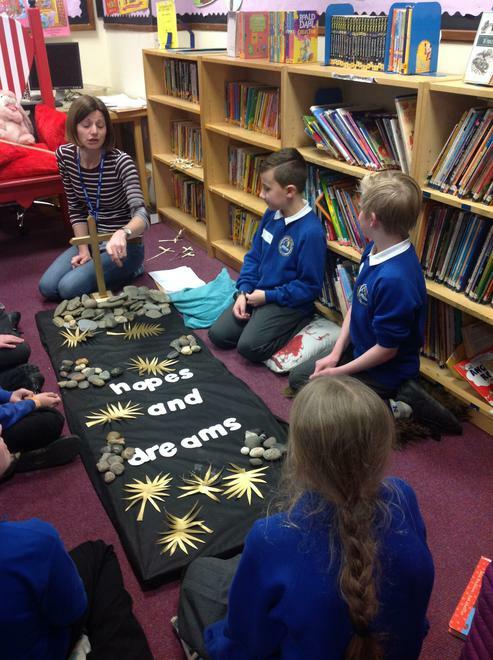 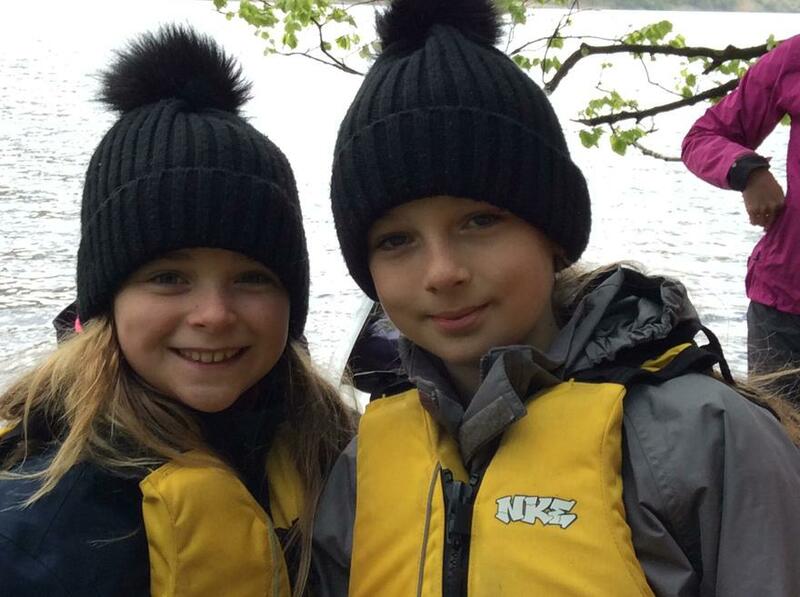 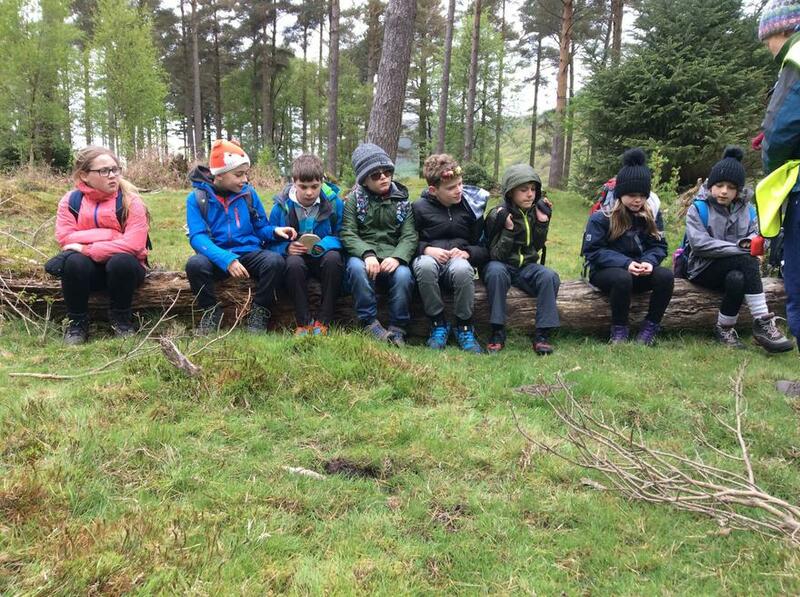 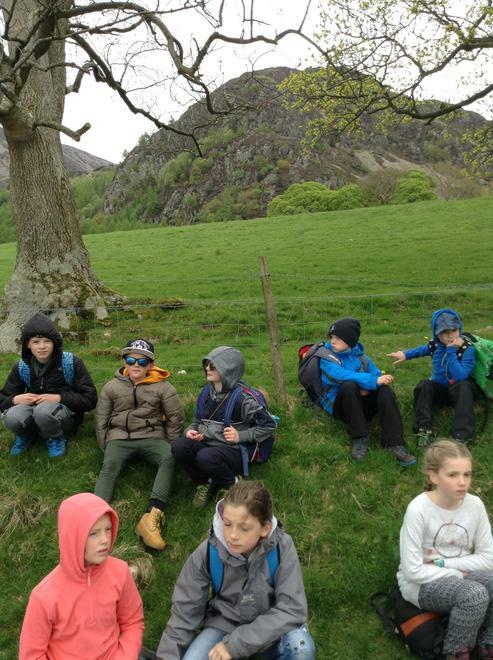 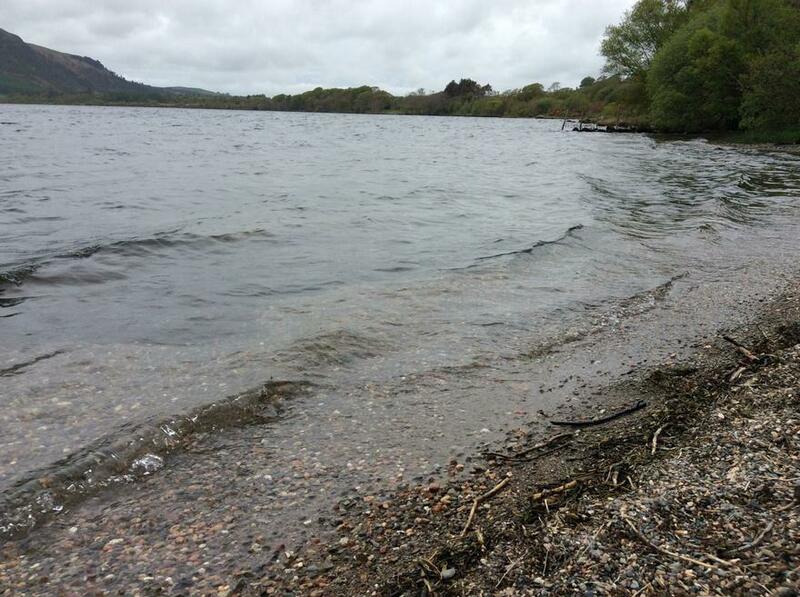 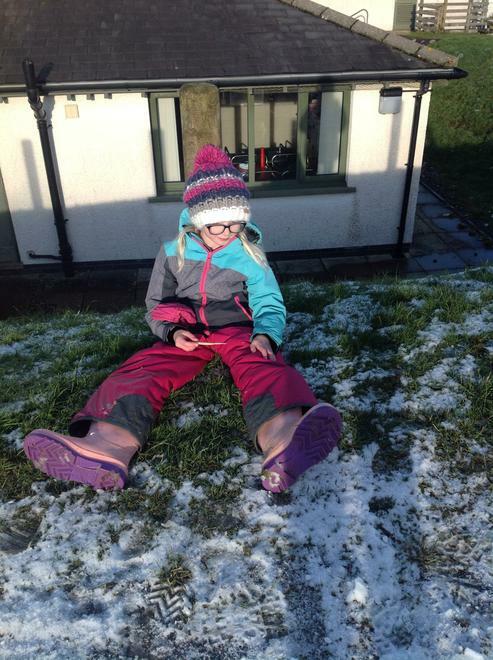 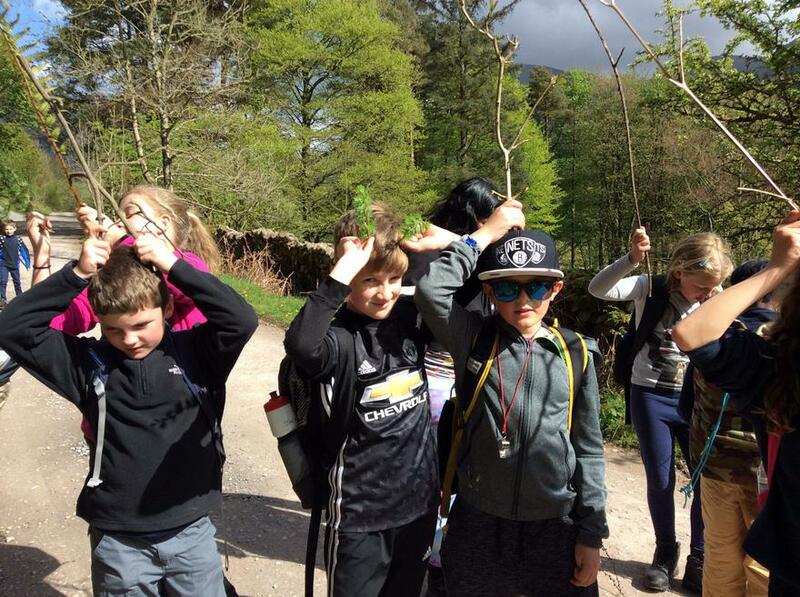 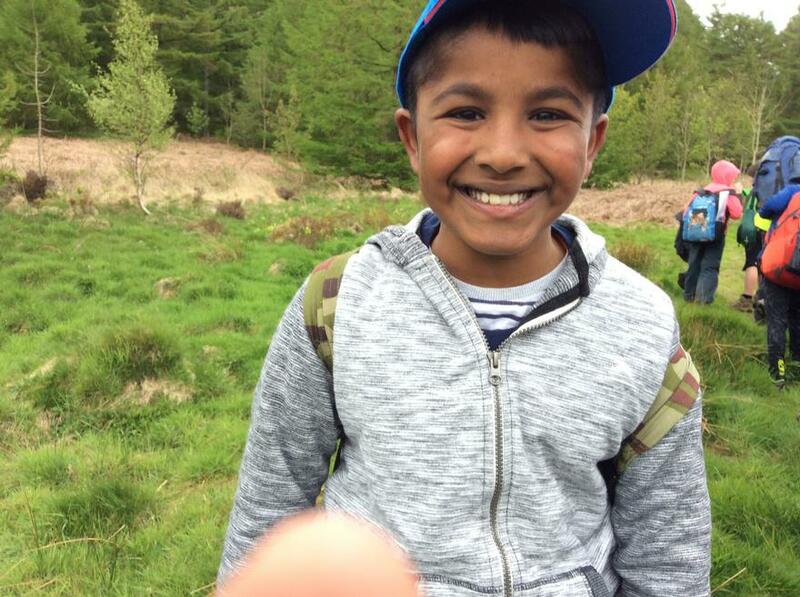 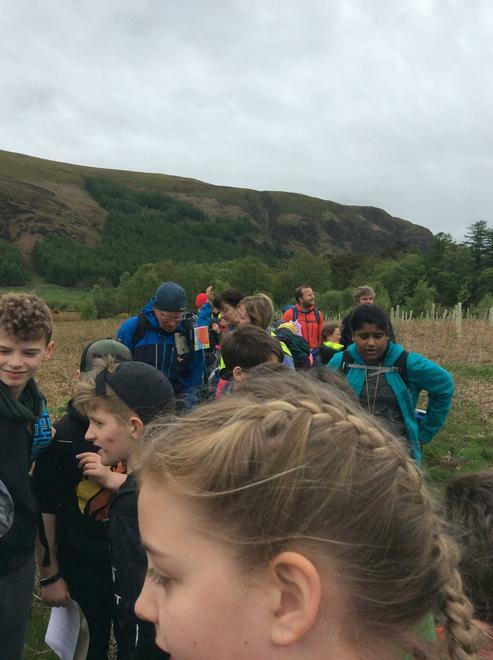 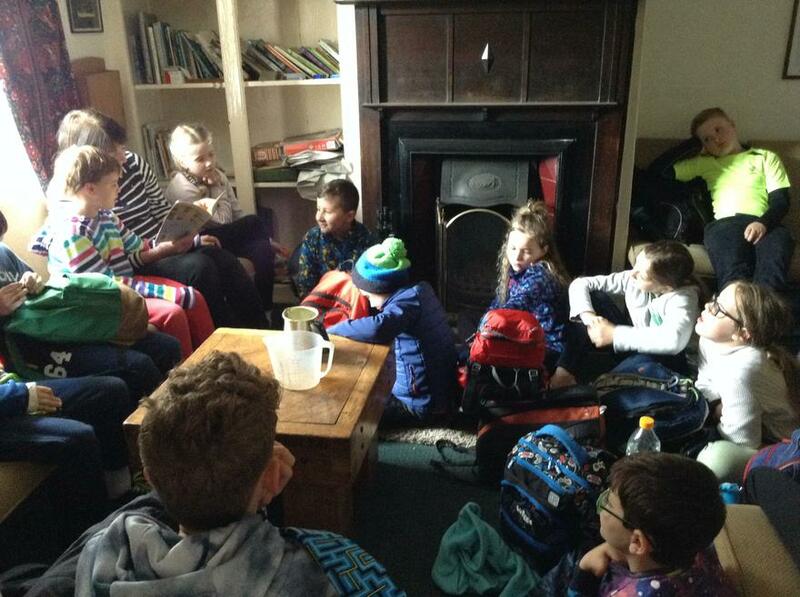 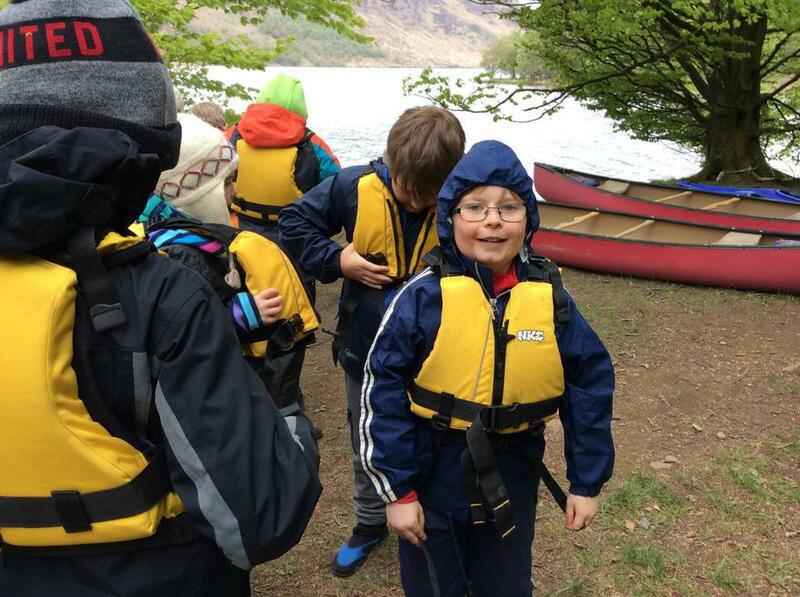 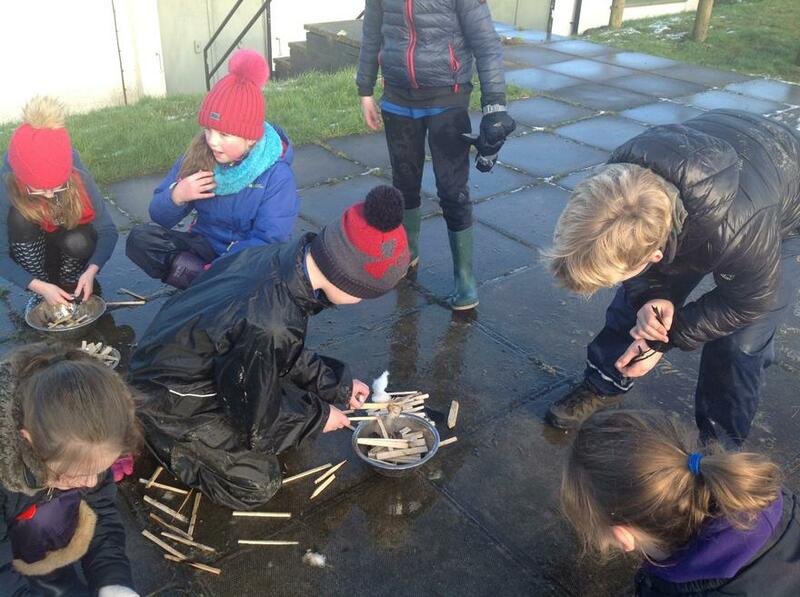 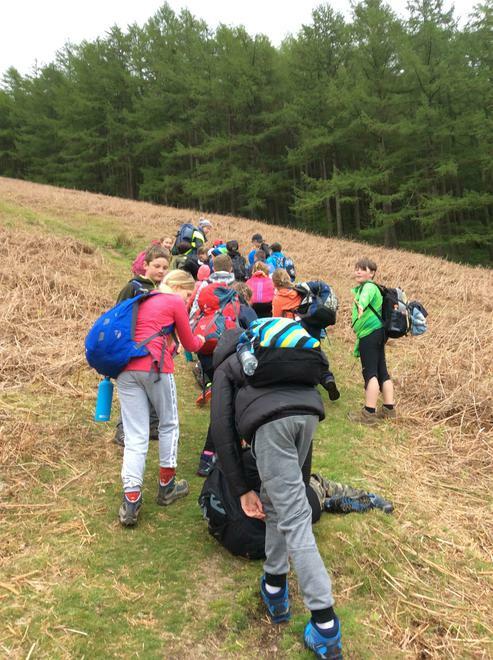 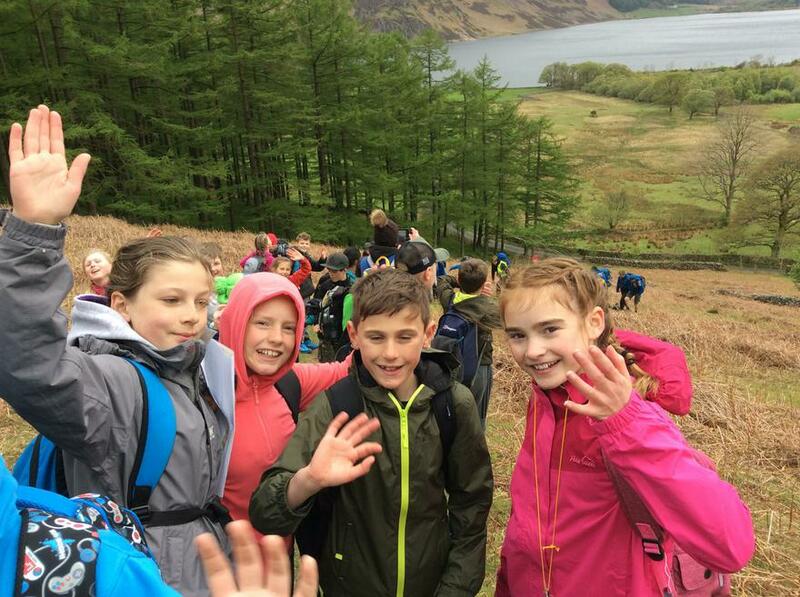 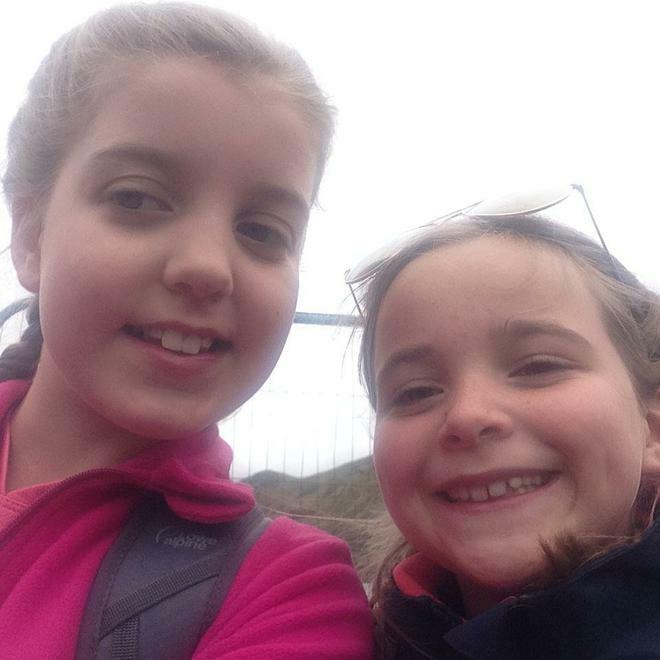 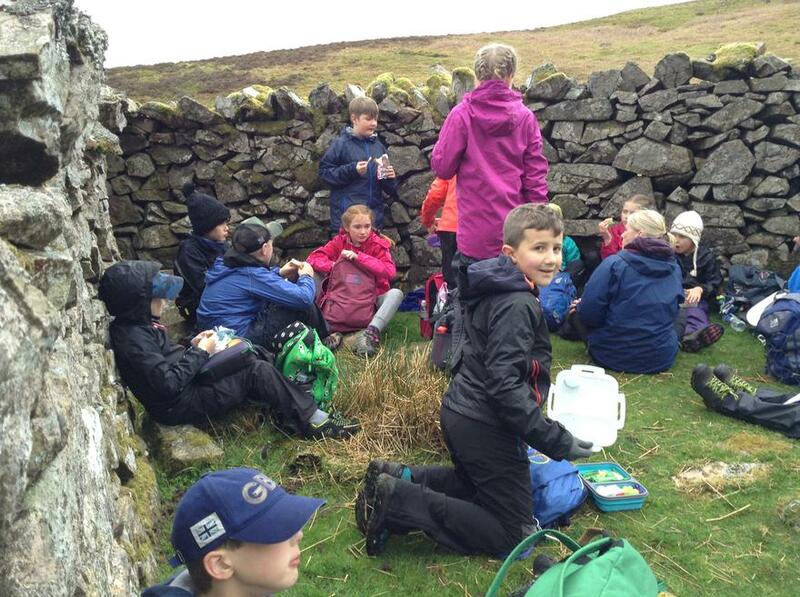 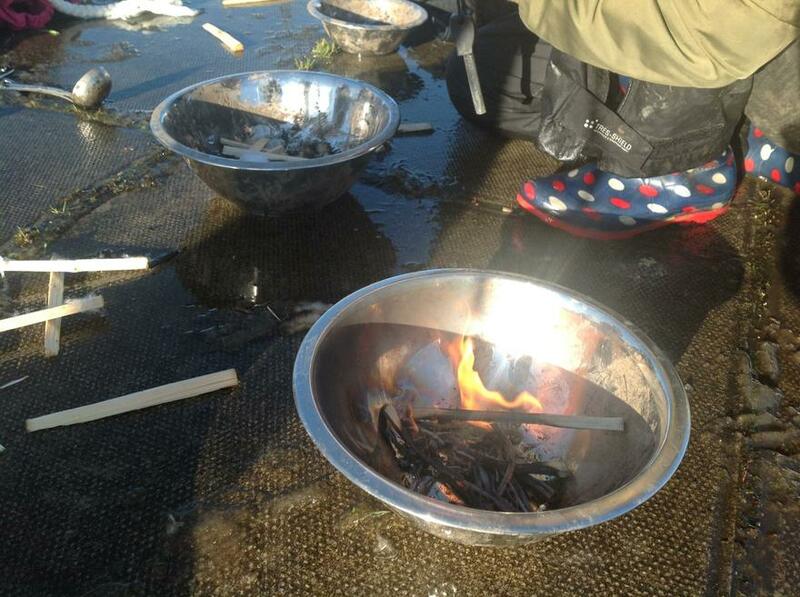 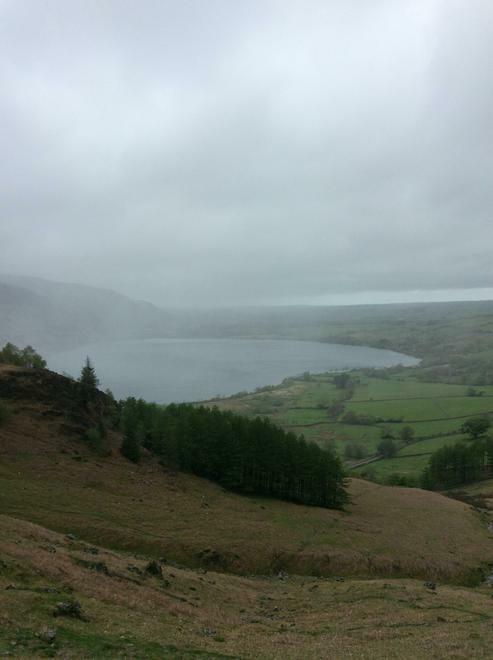 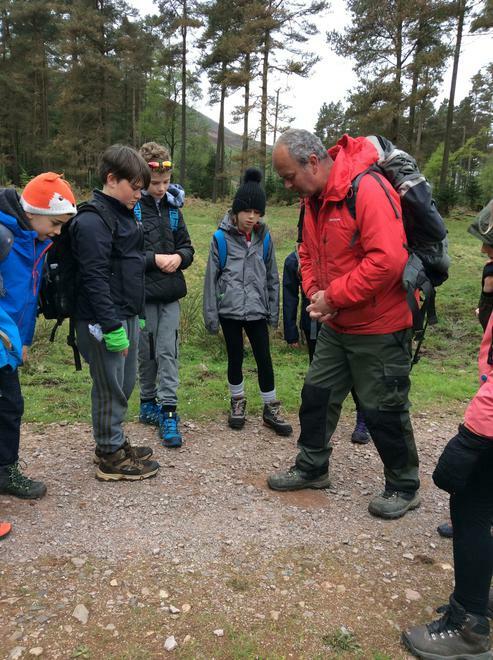 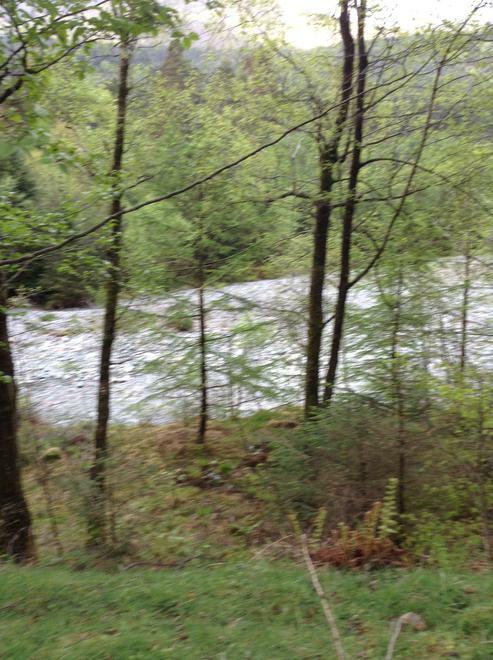 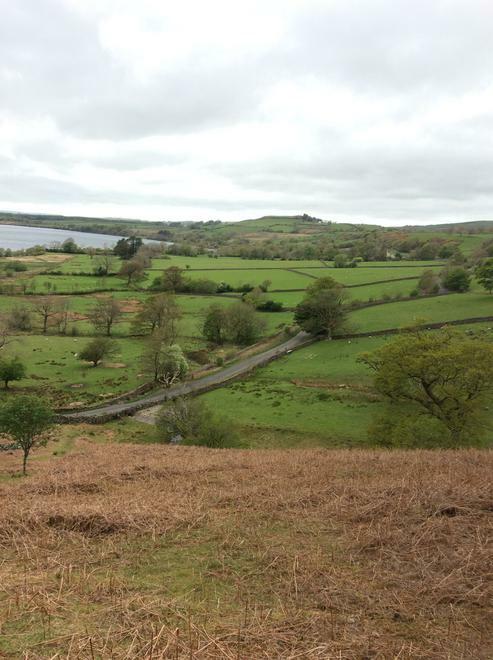 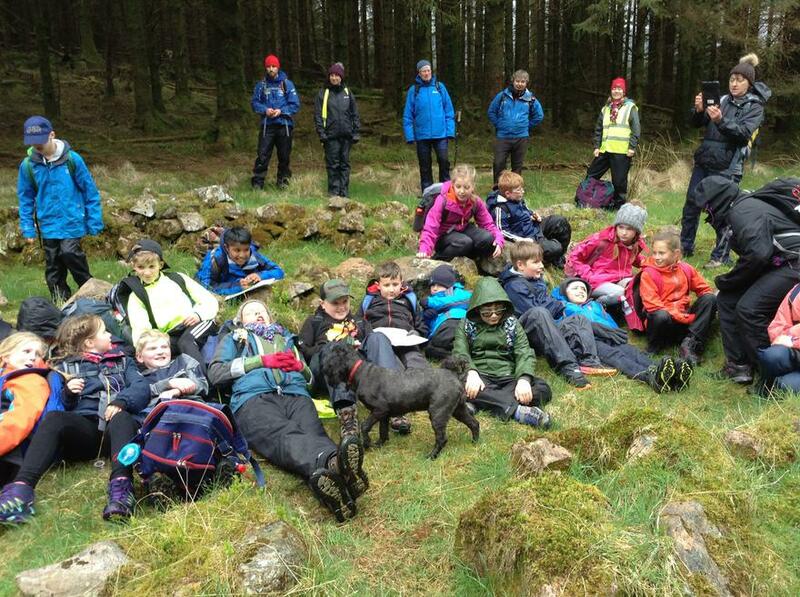 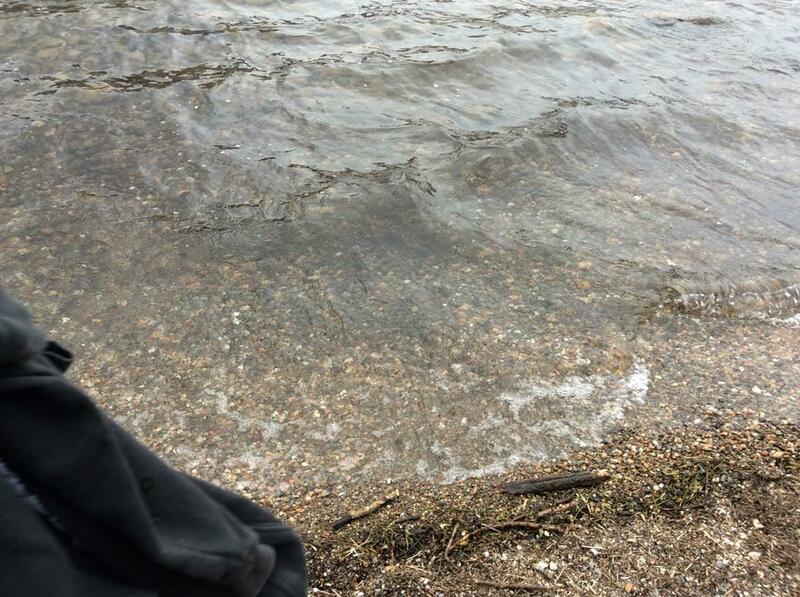 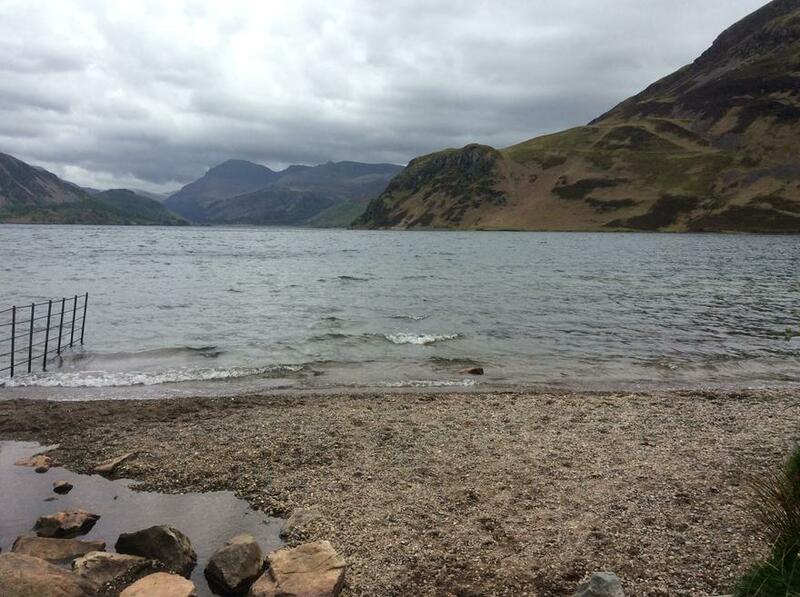 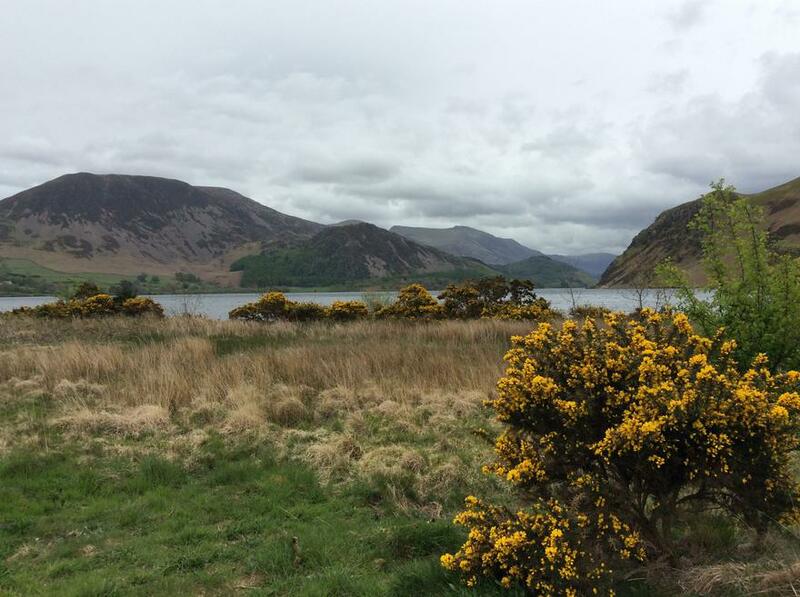 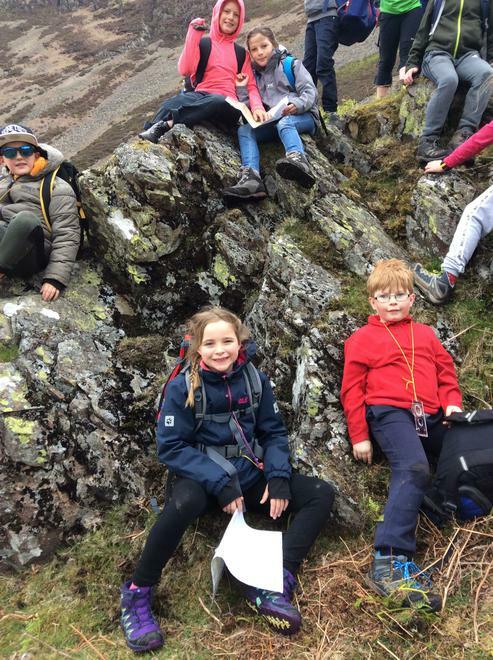 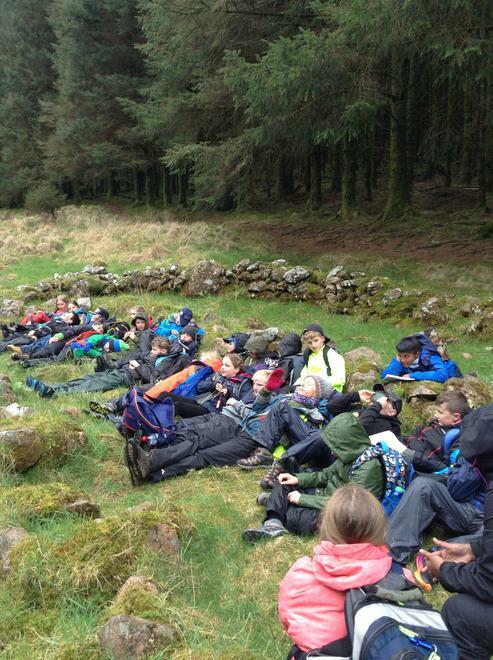 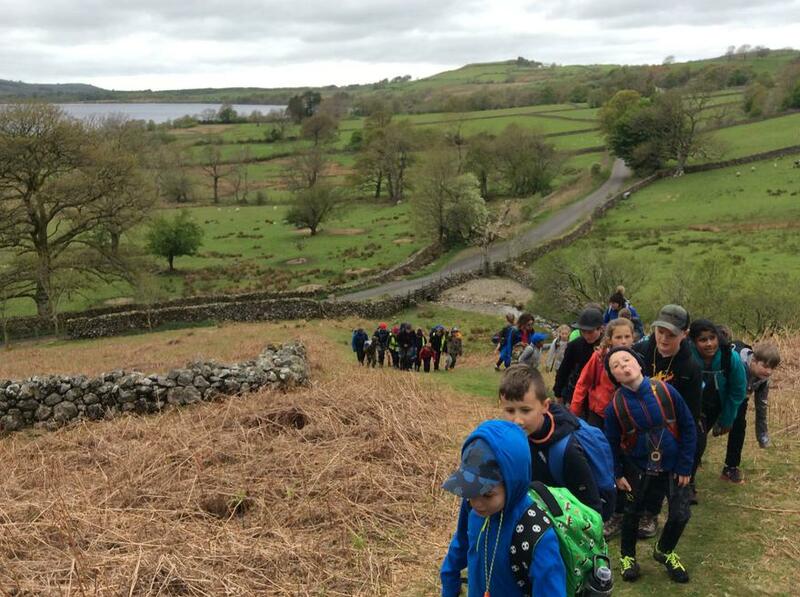 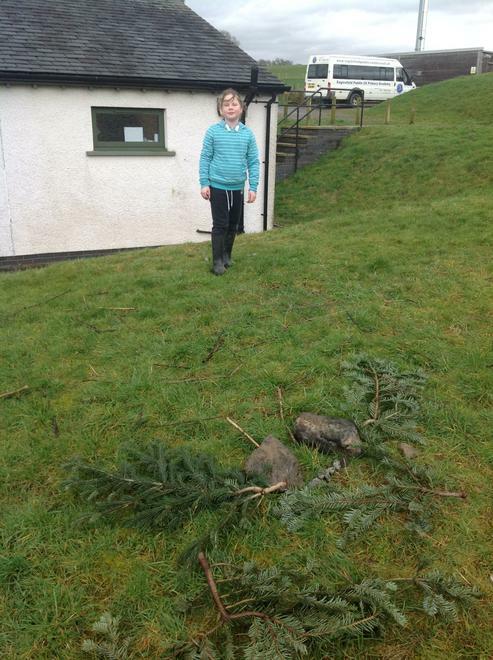 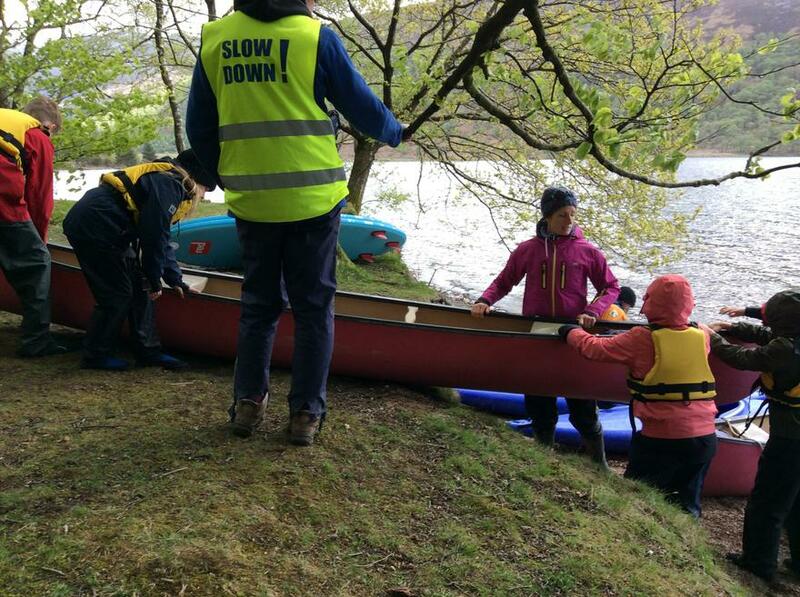 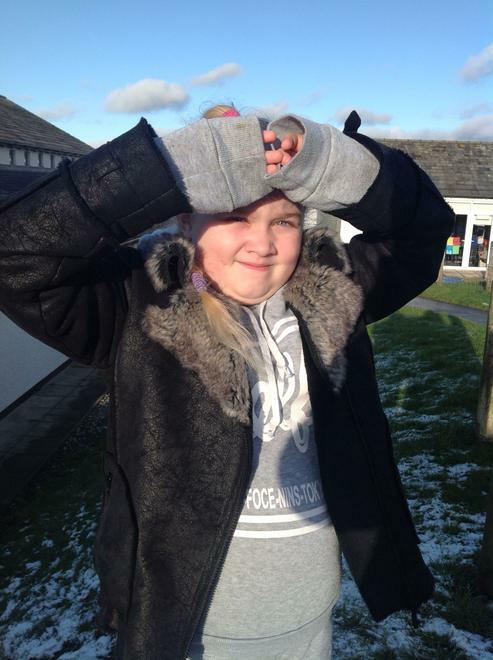 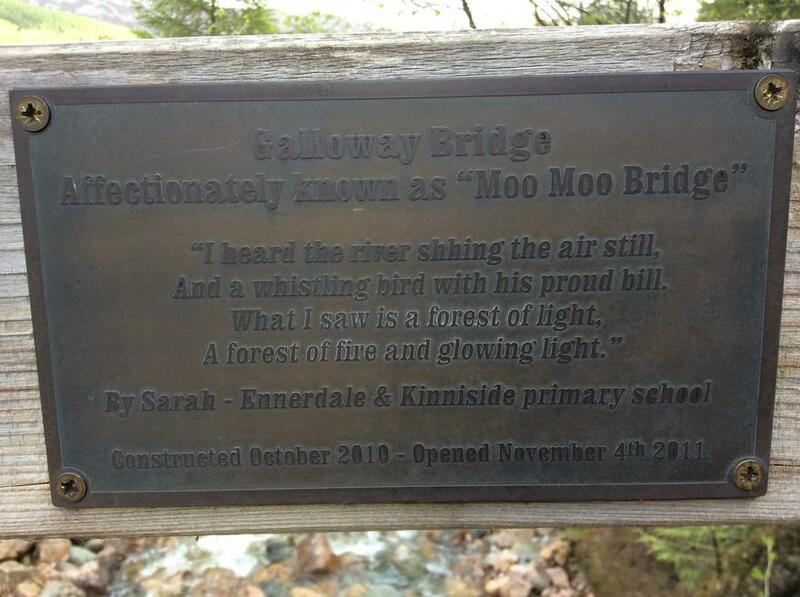 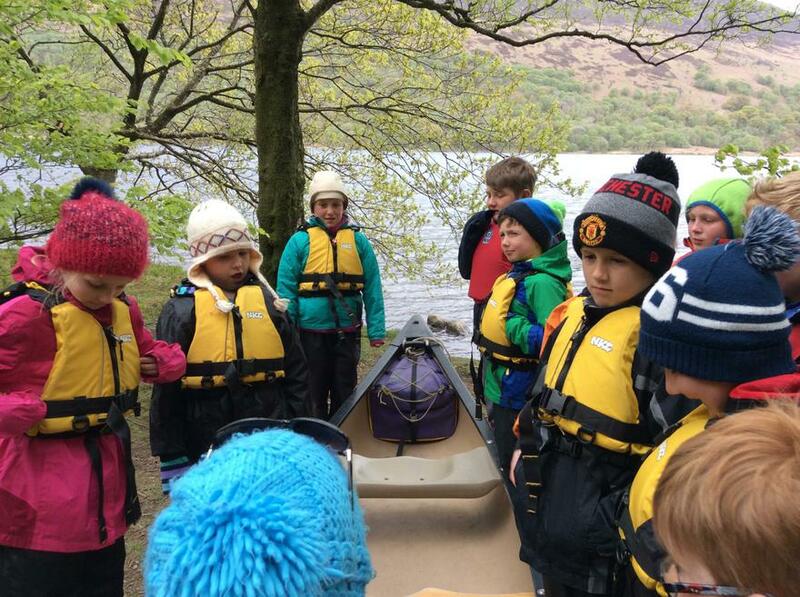 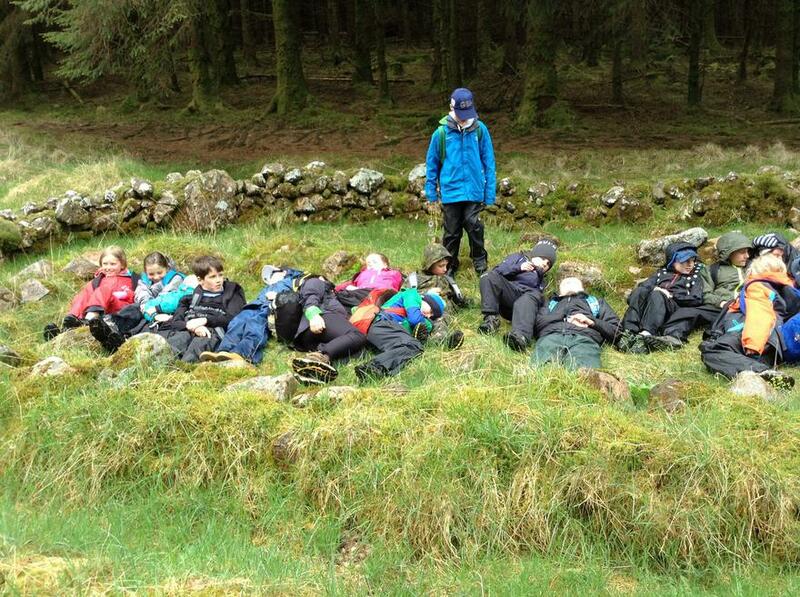 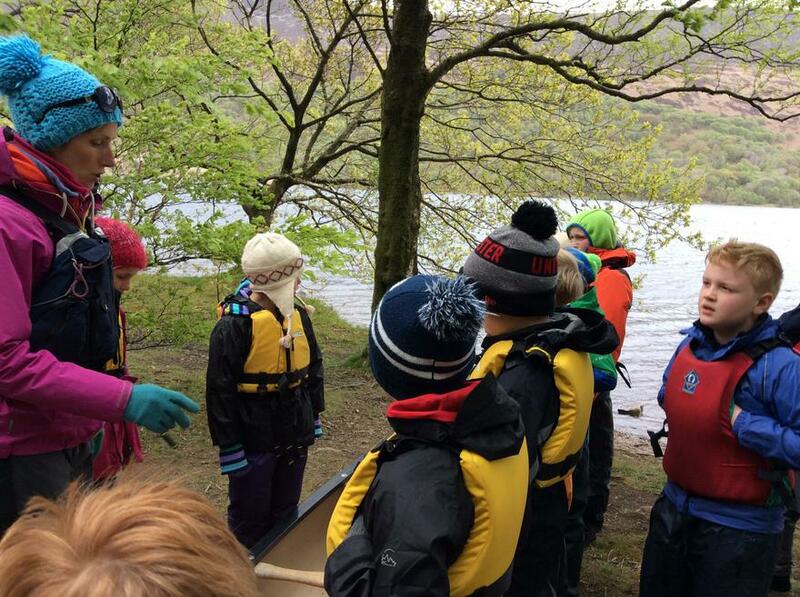 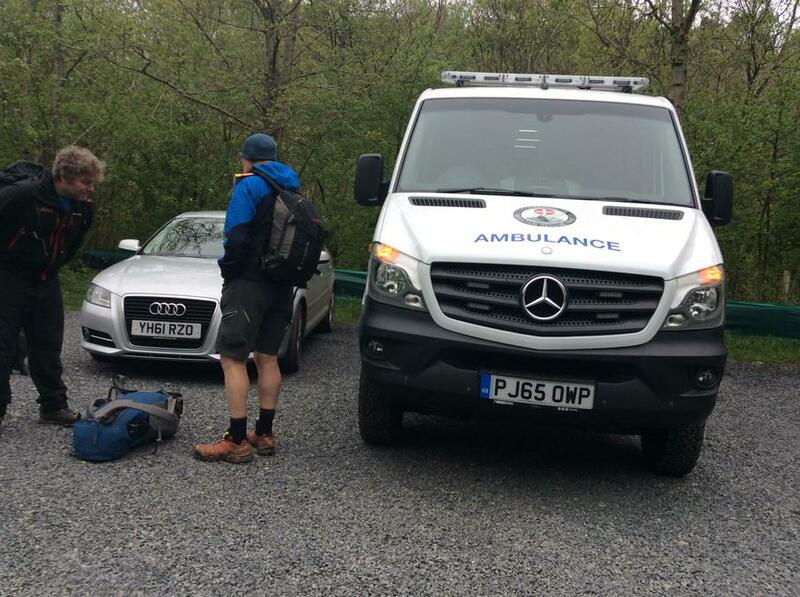 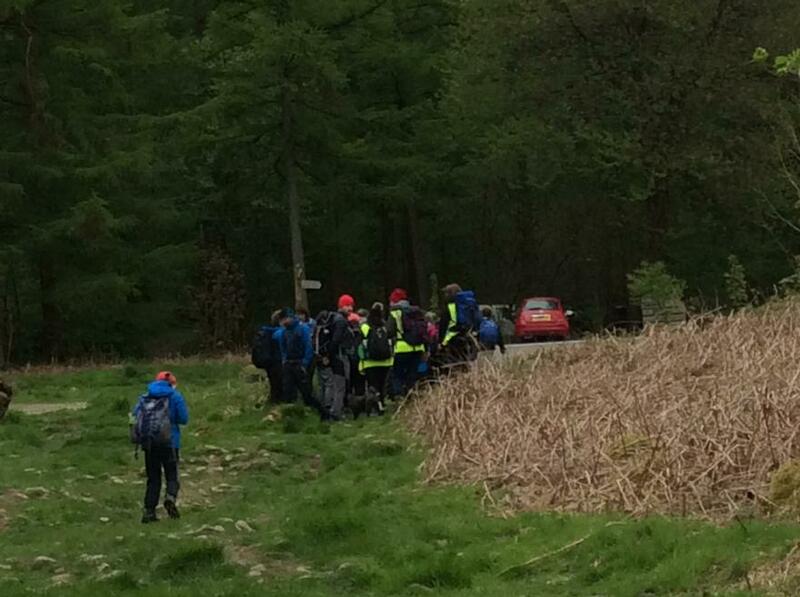 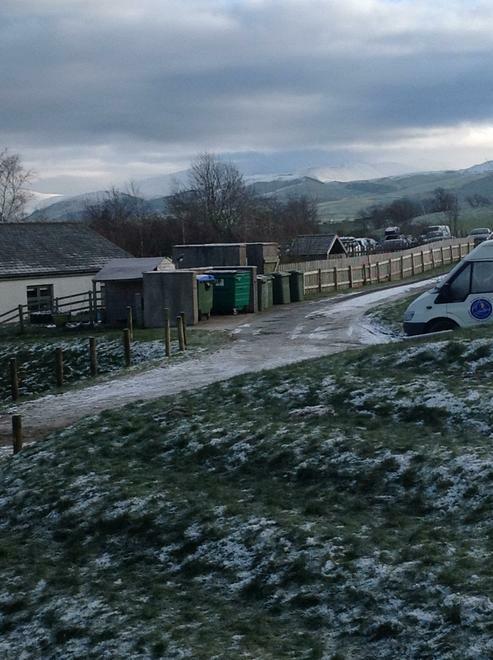 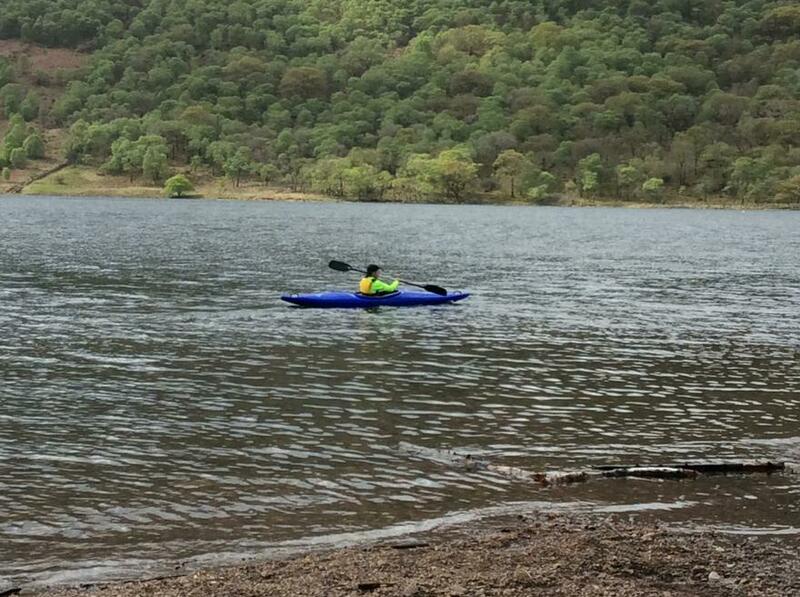 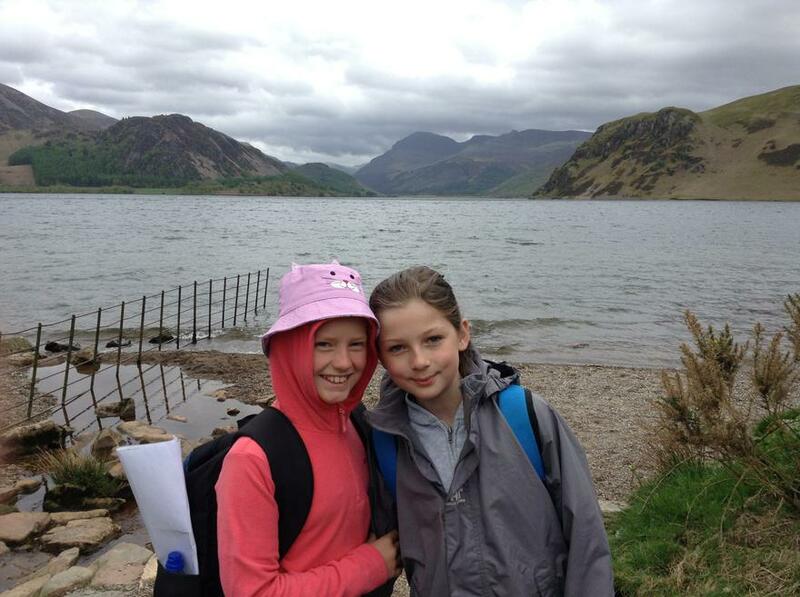 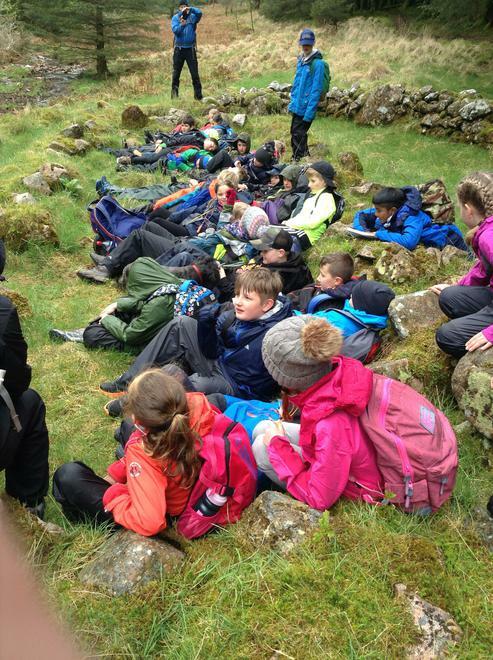 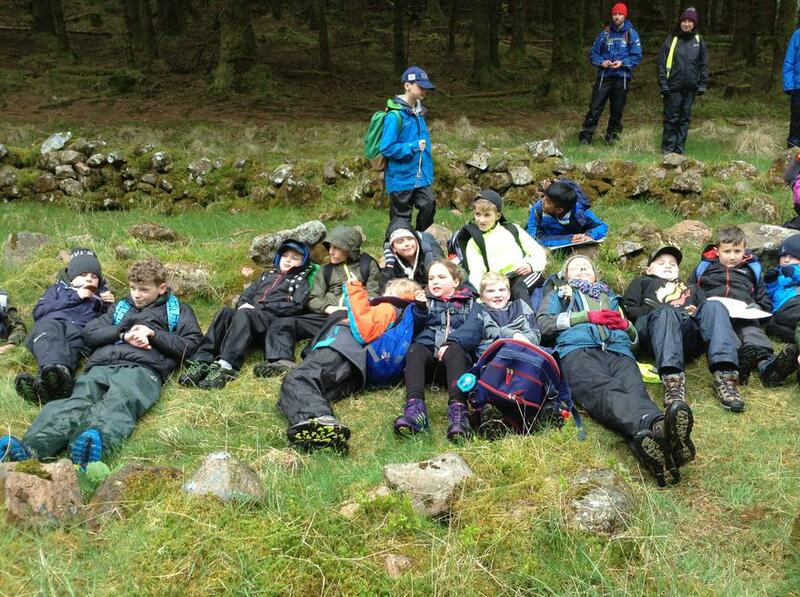 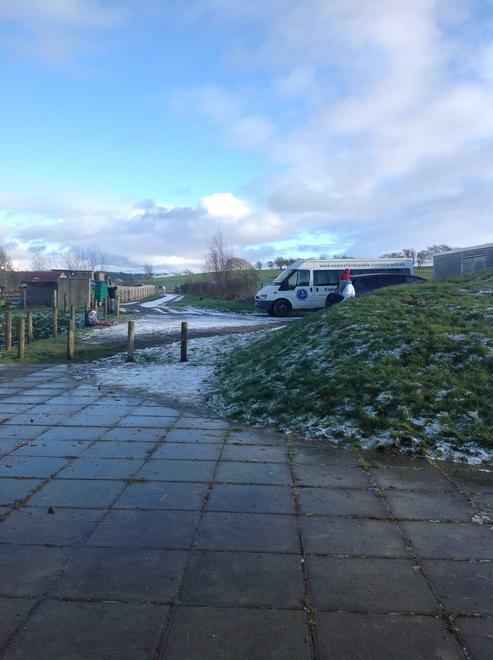 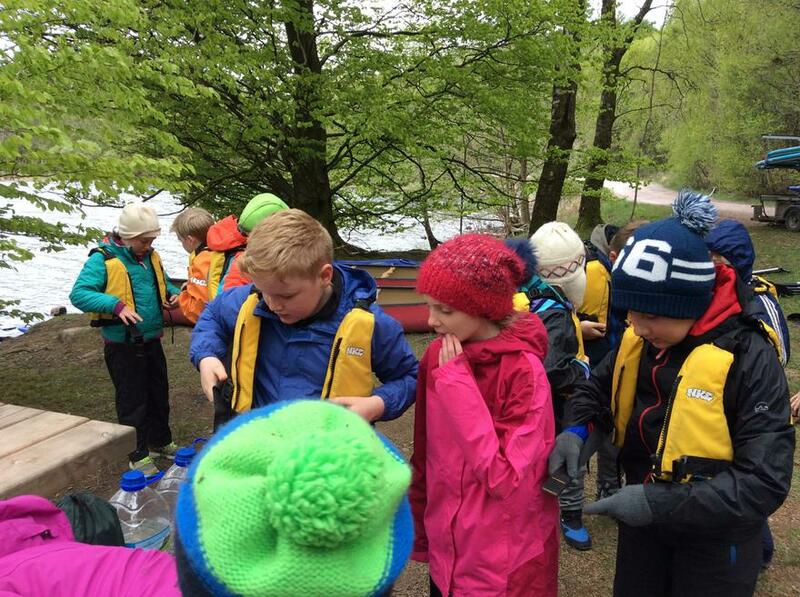 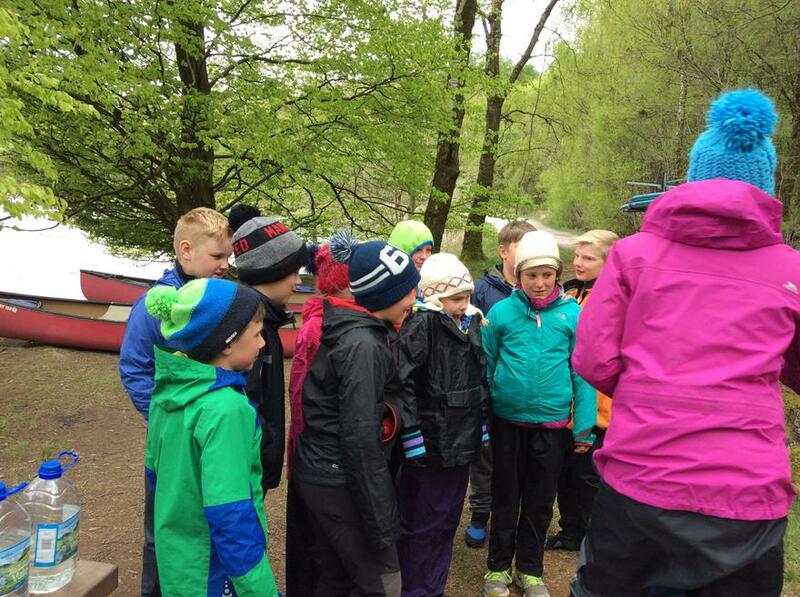 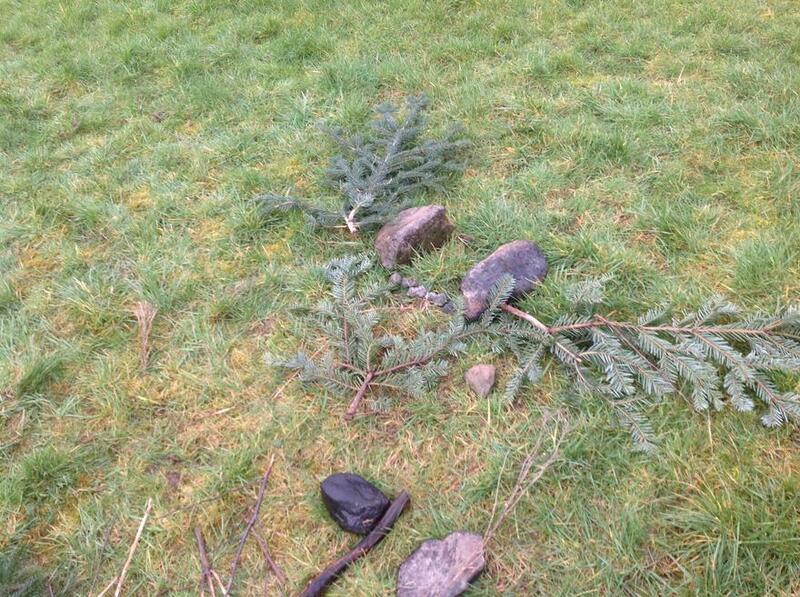 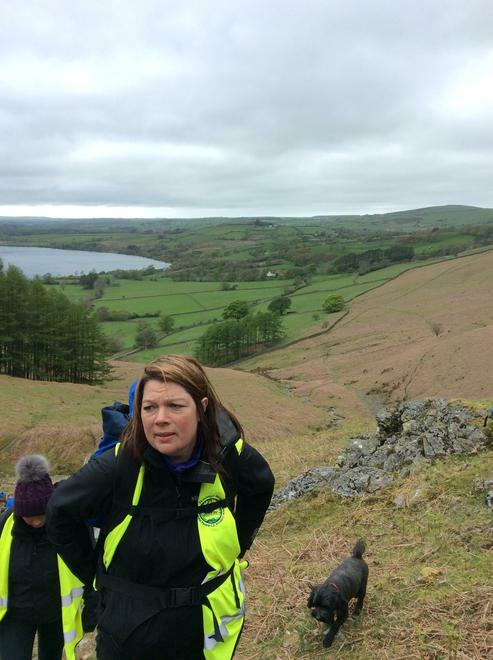 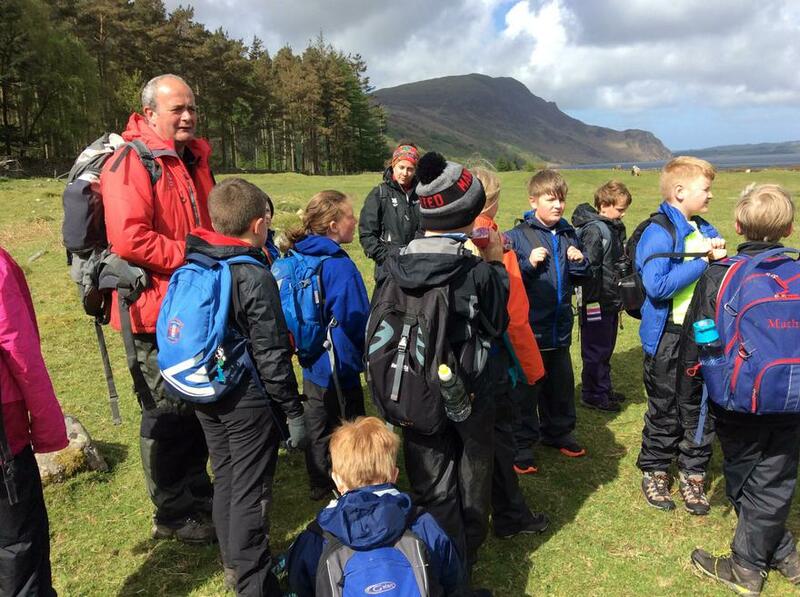 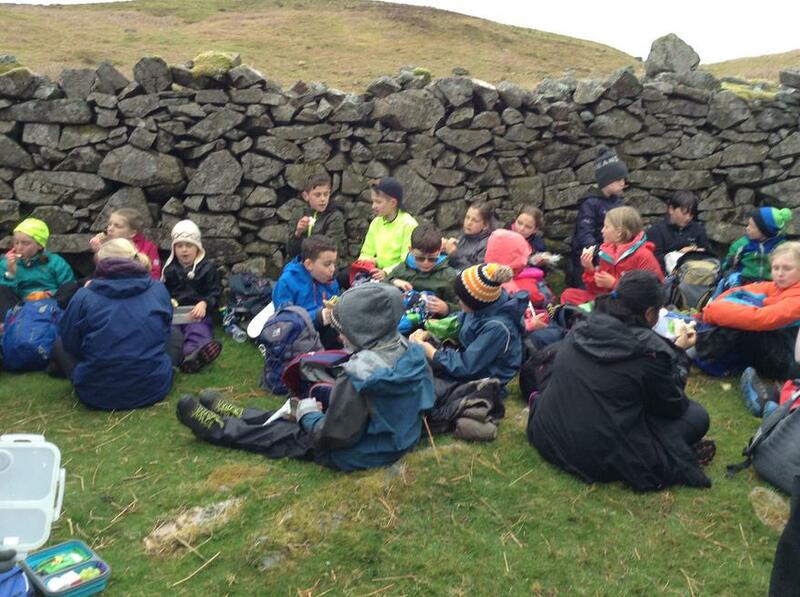 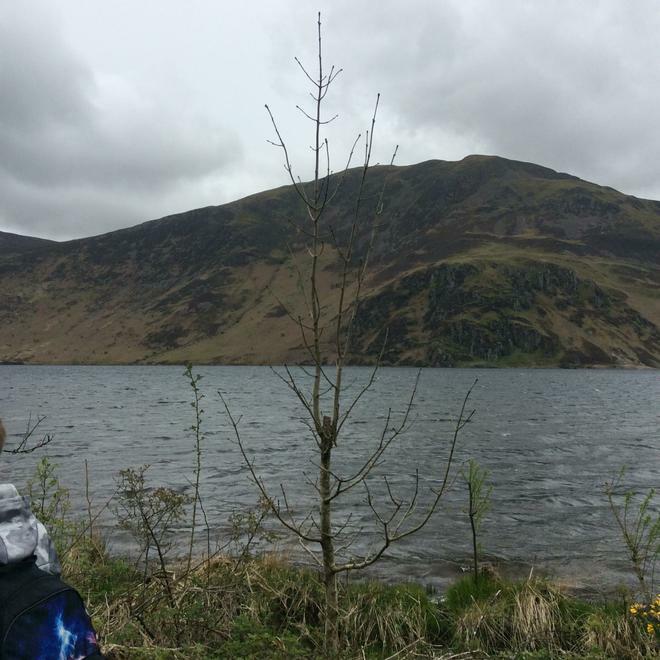 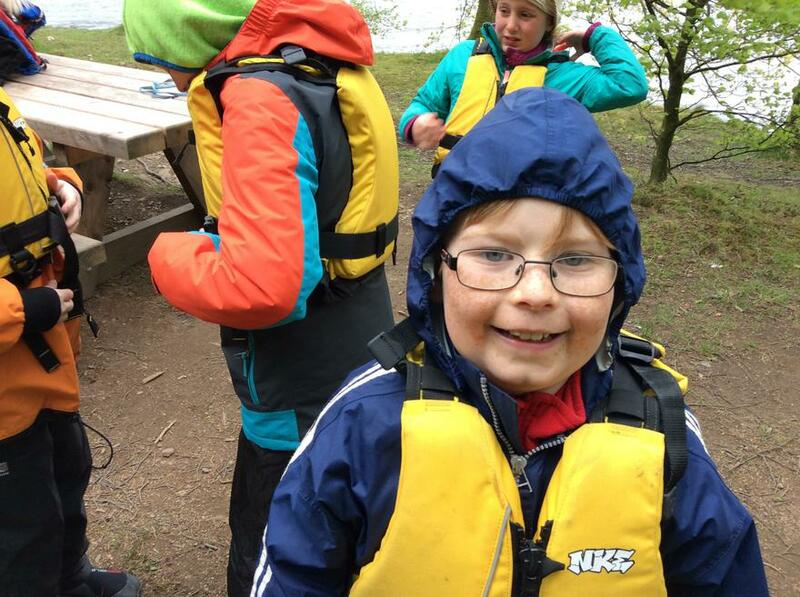 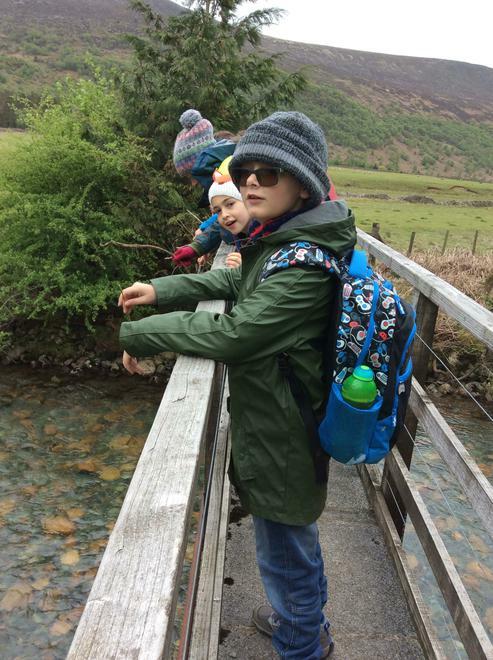 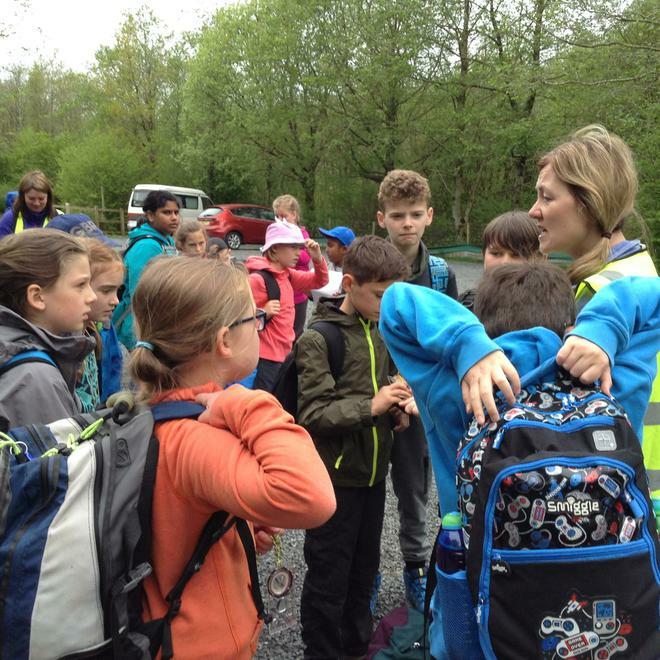 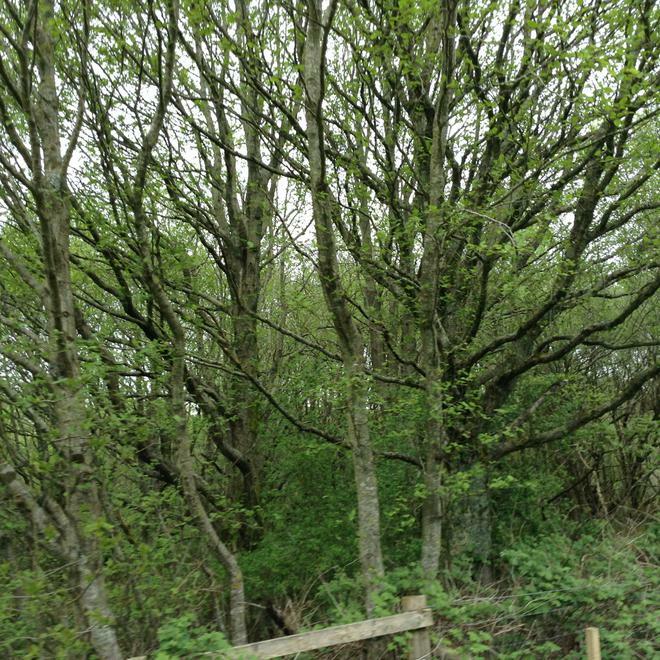 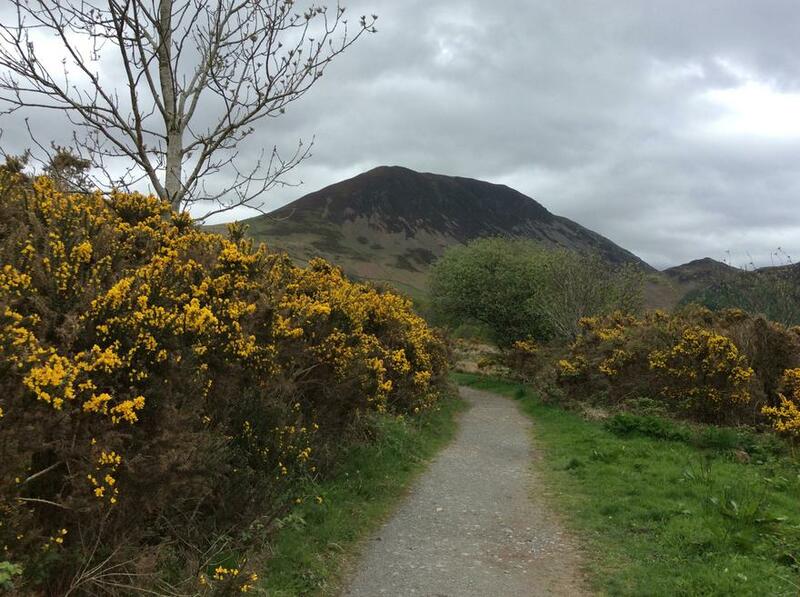 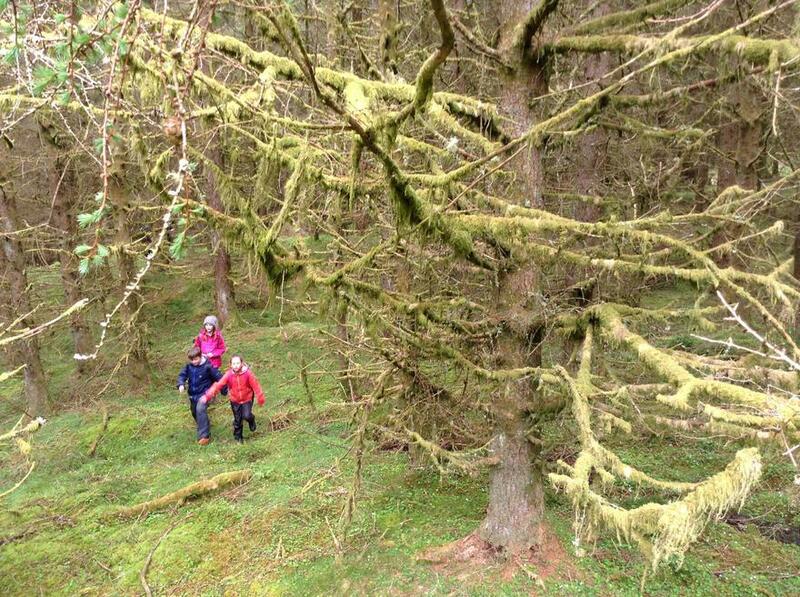 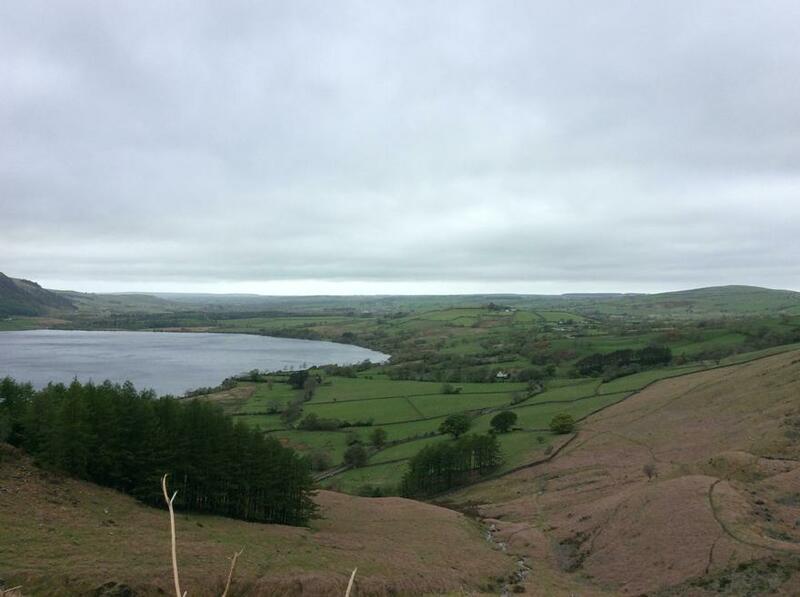 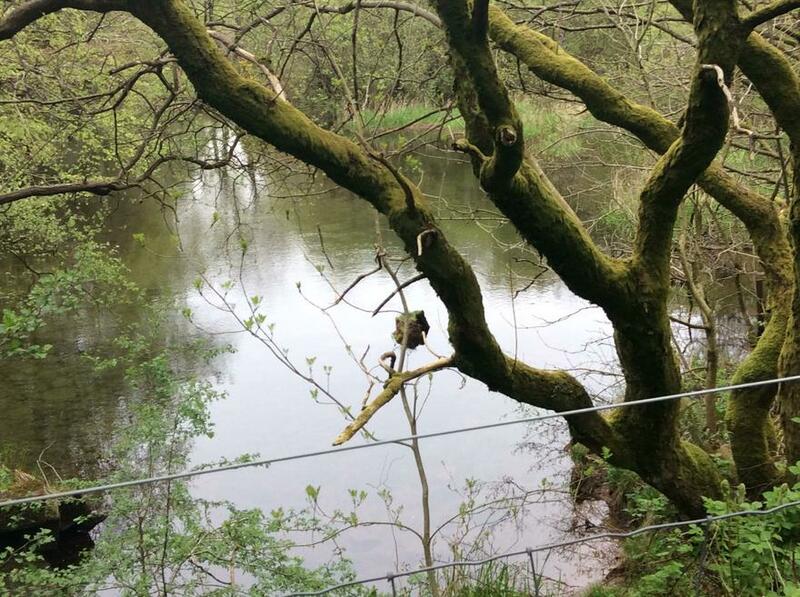 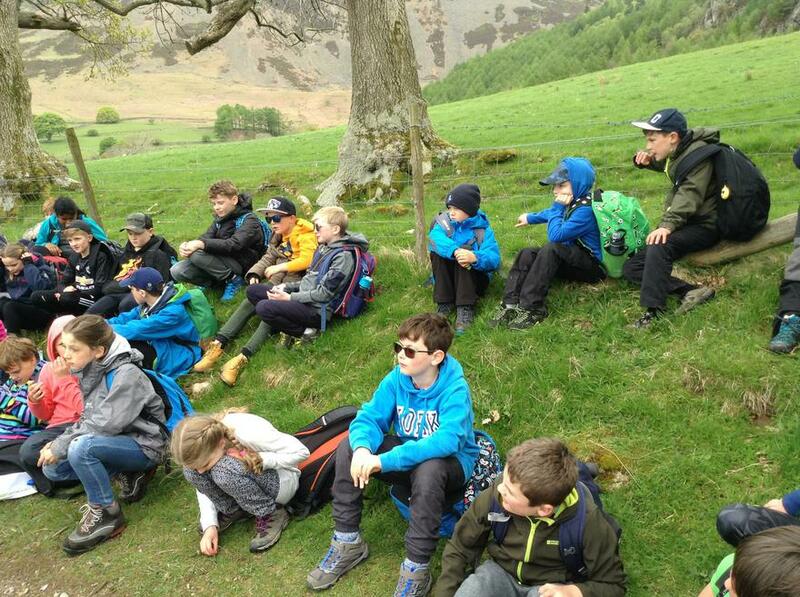 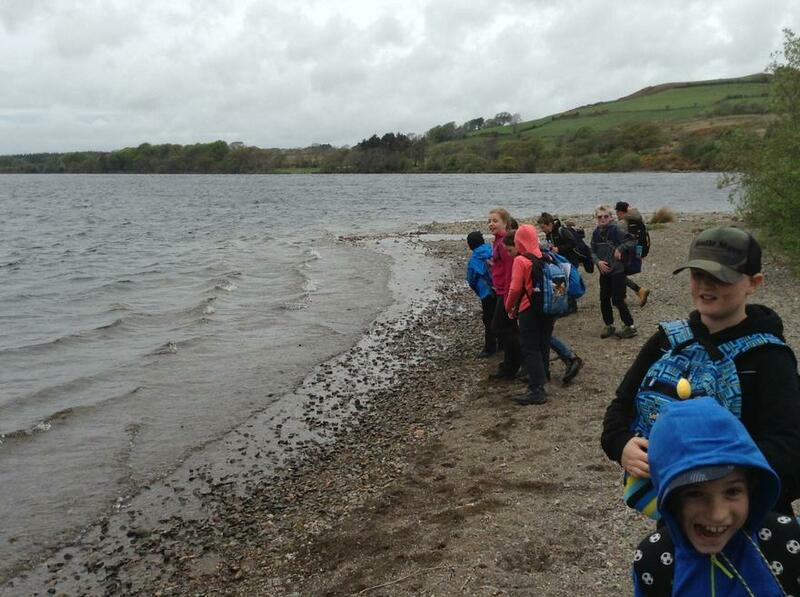 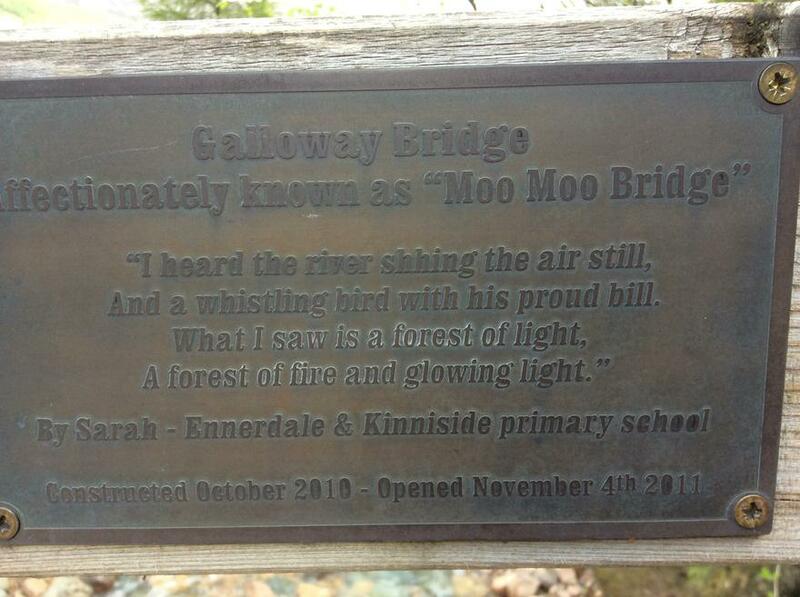 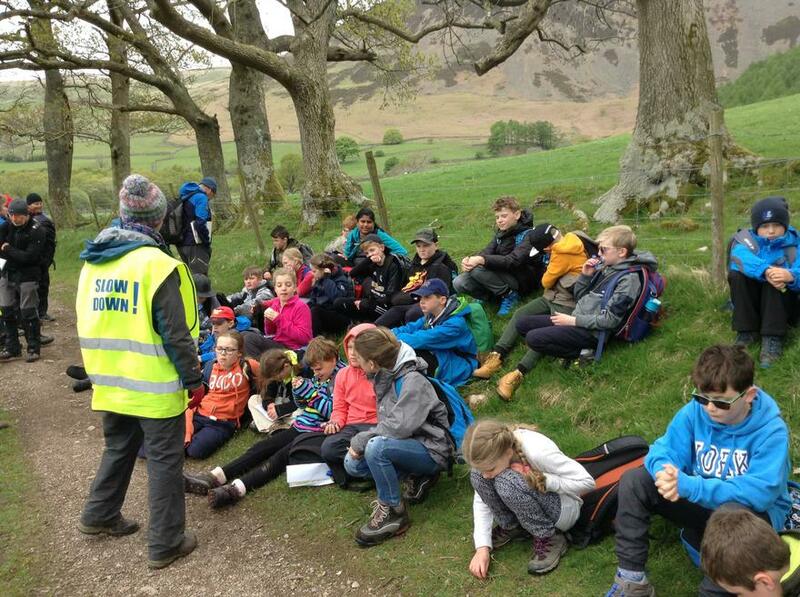 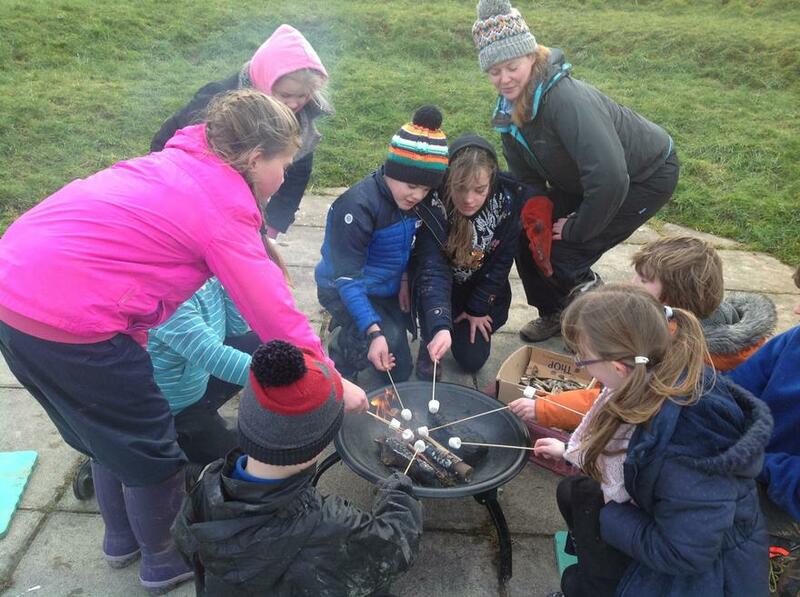 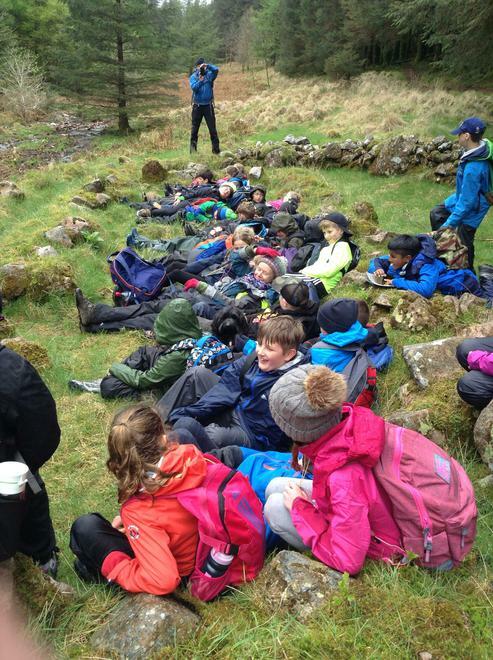 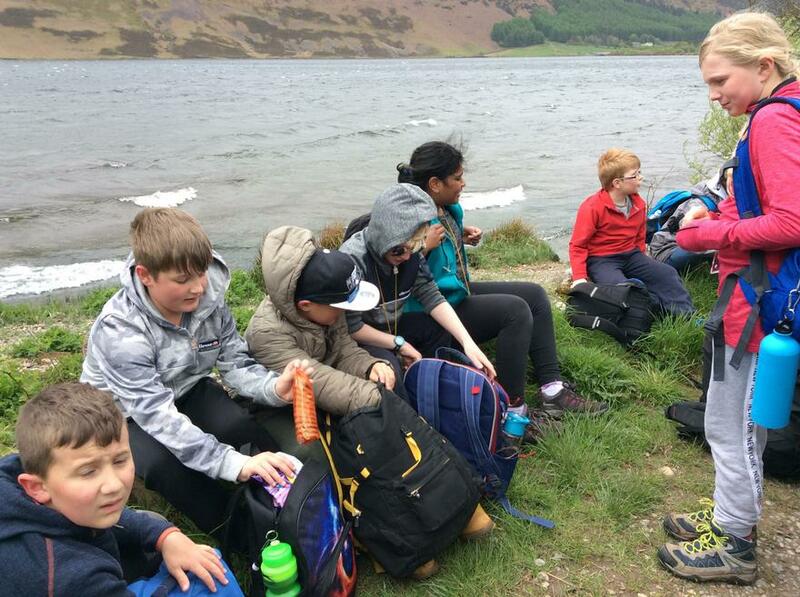 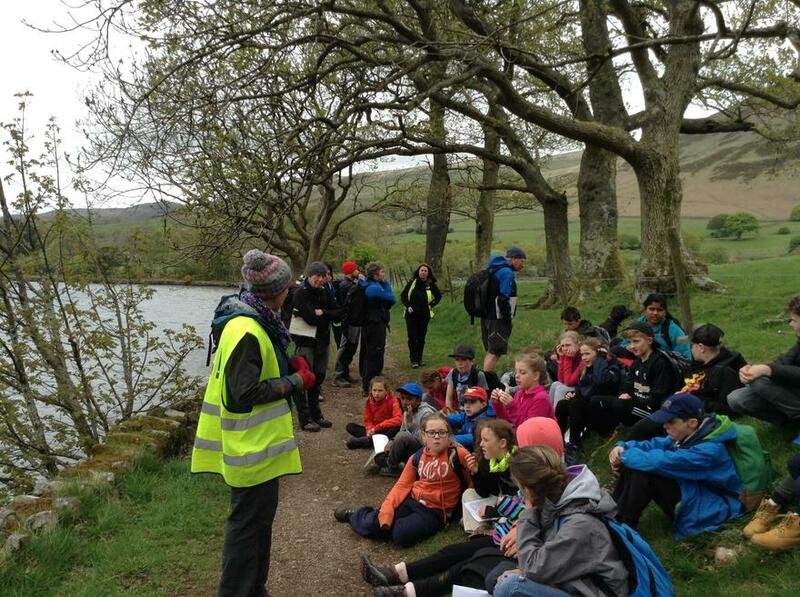 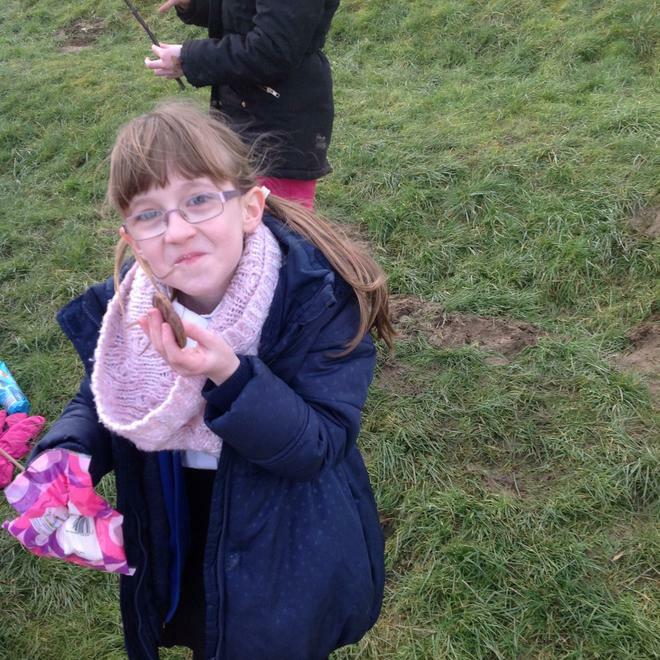 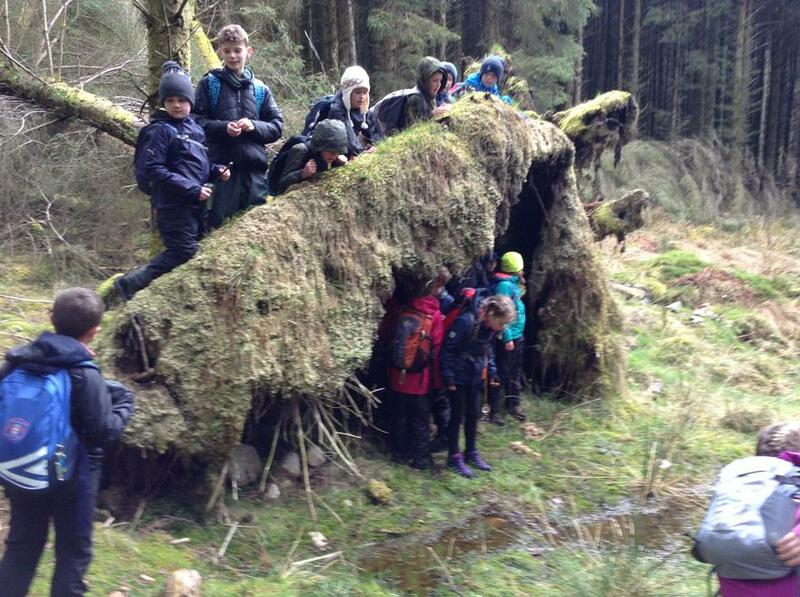 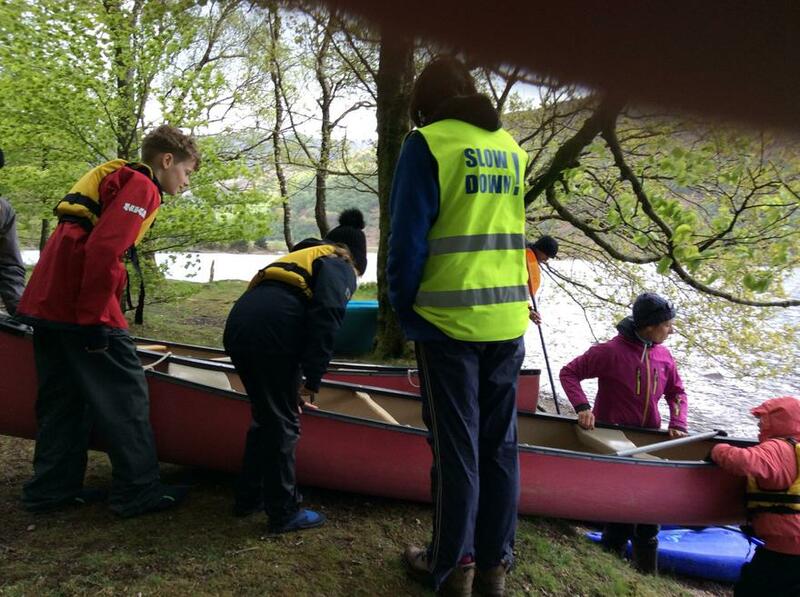 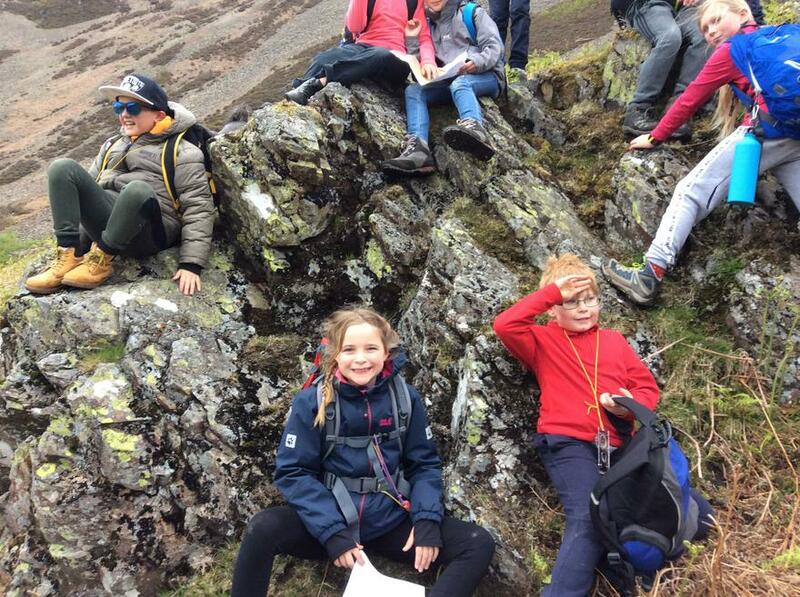 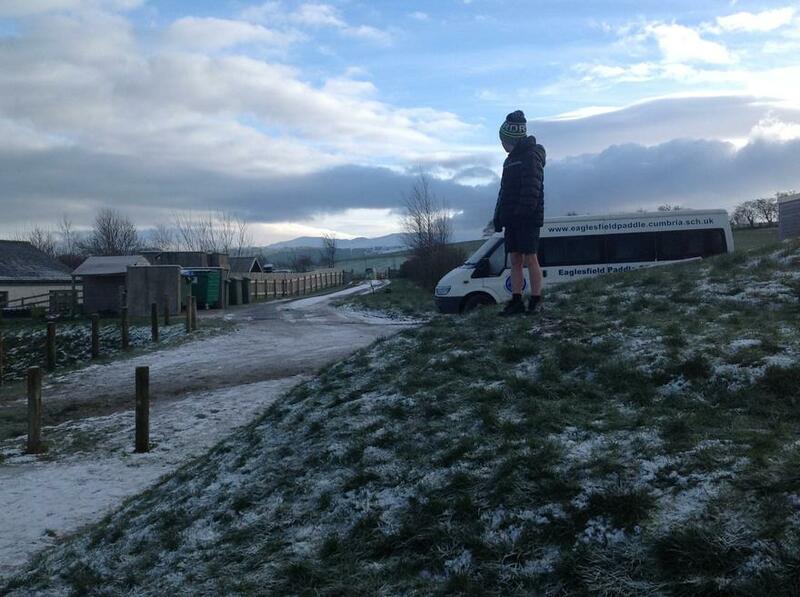 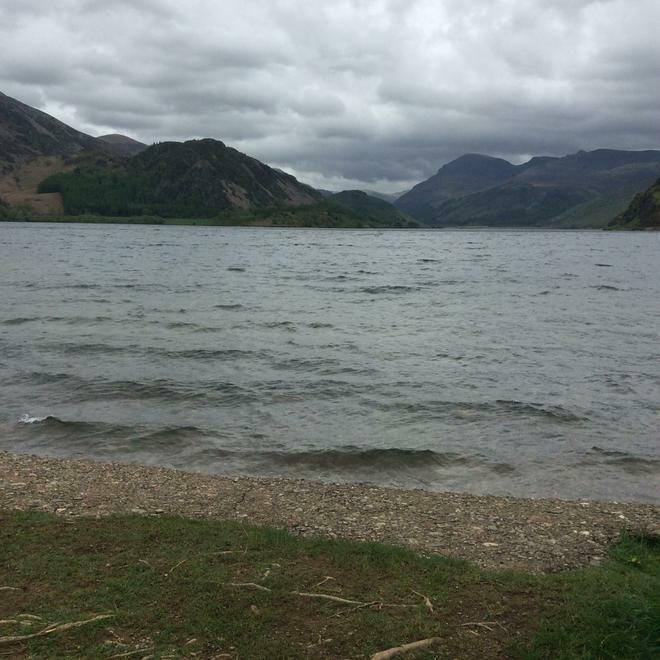 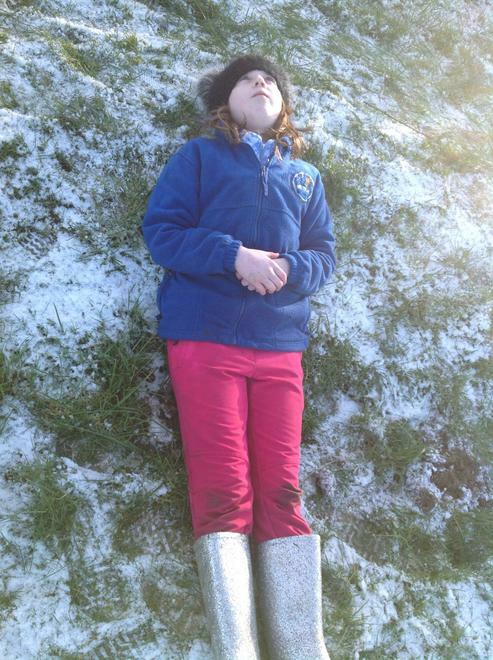 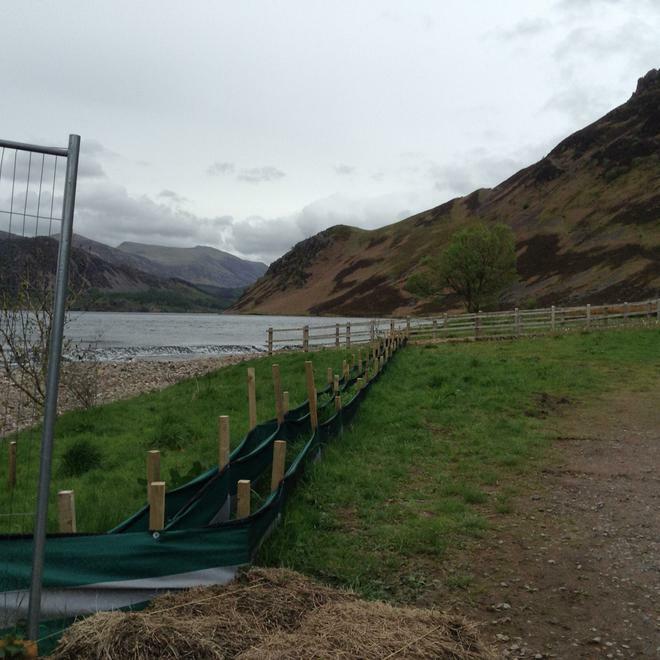 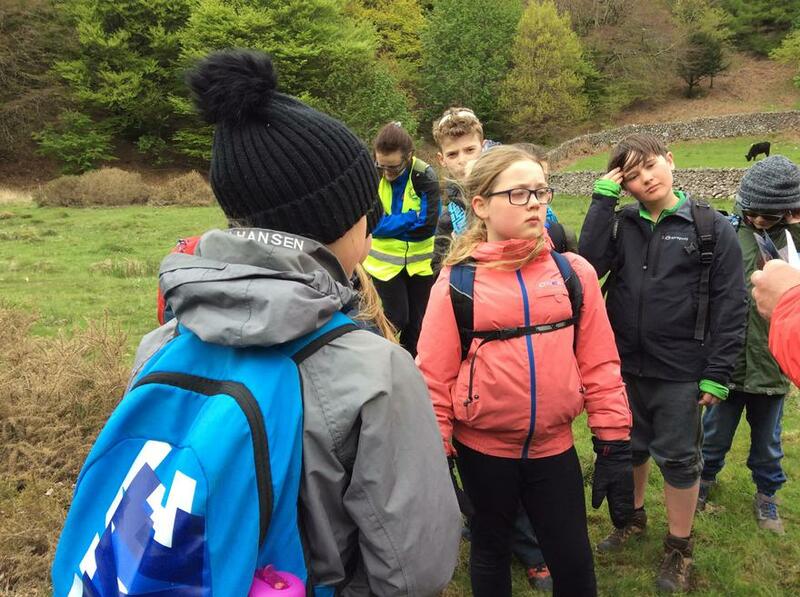 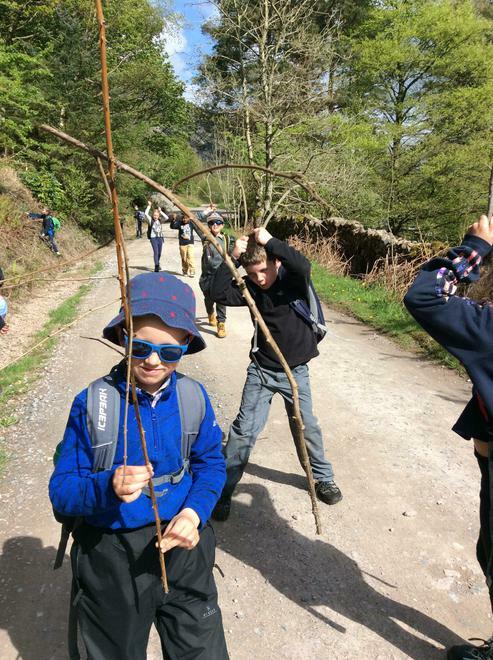 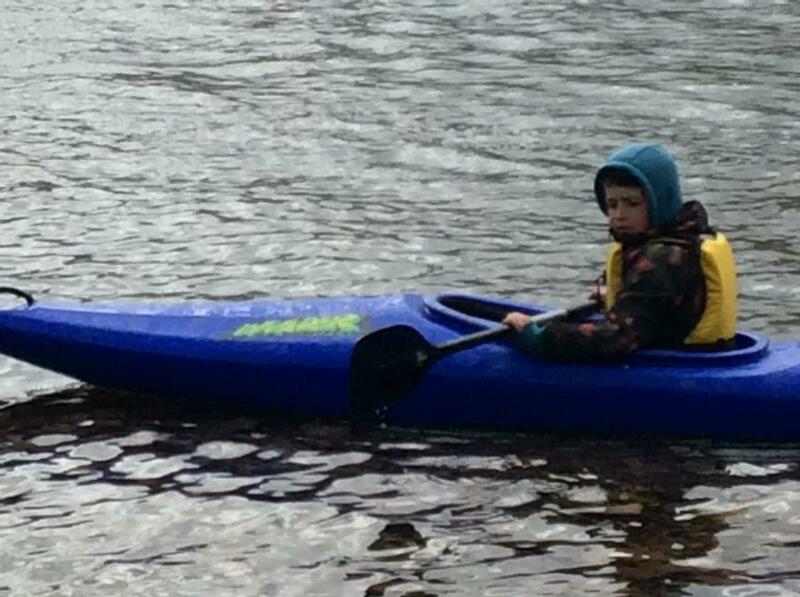 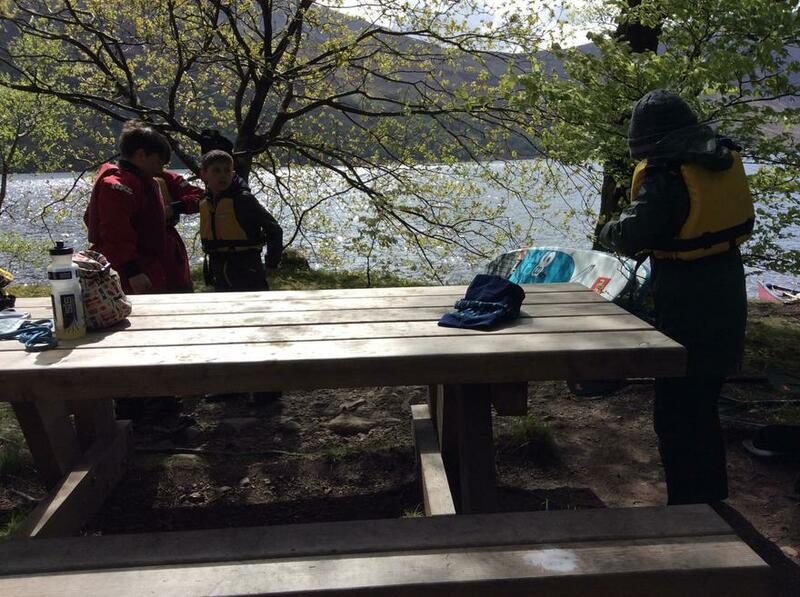 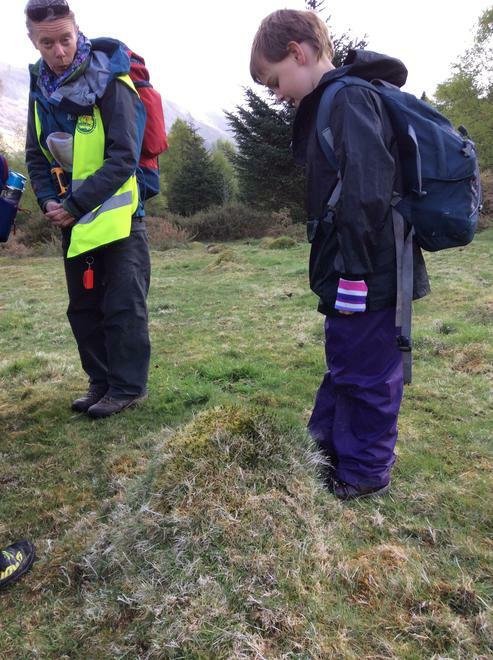 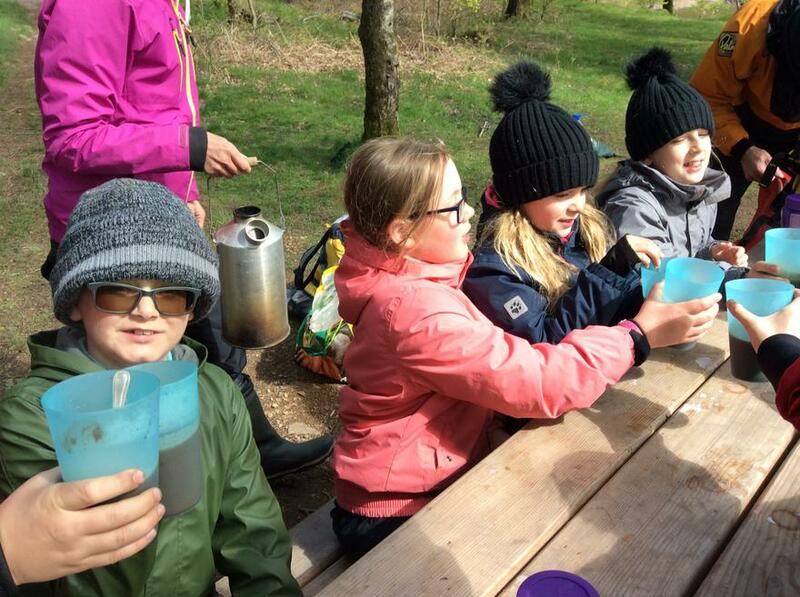 Year 5 were due to go to Holmewood, Loweswater last Friday, but because of the gales we were sadly unable to go. 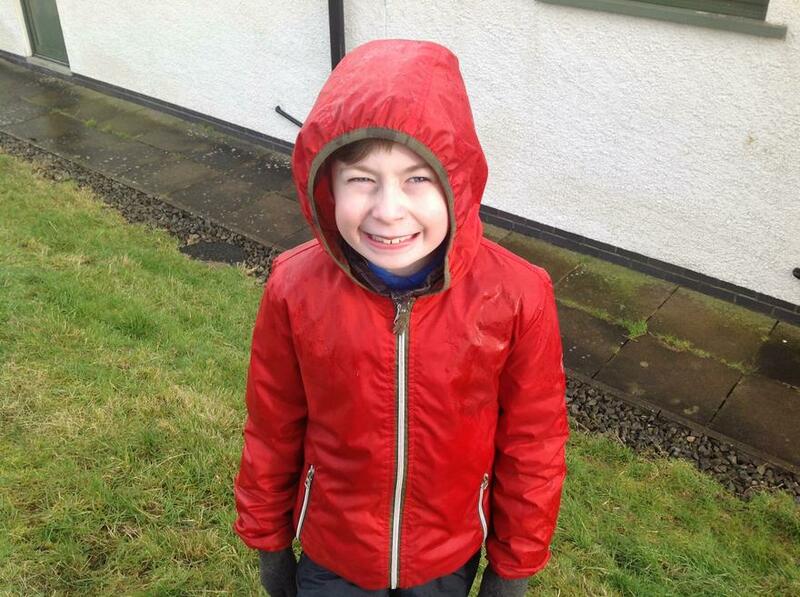 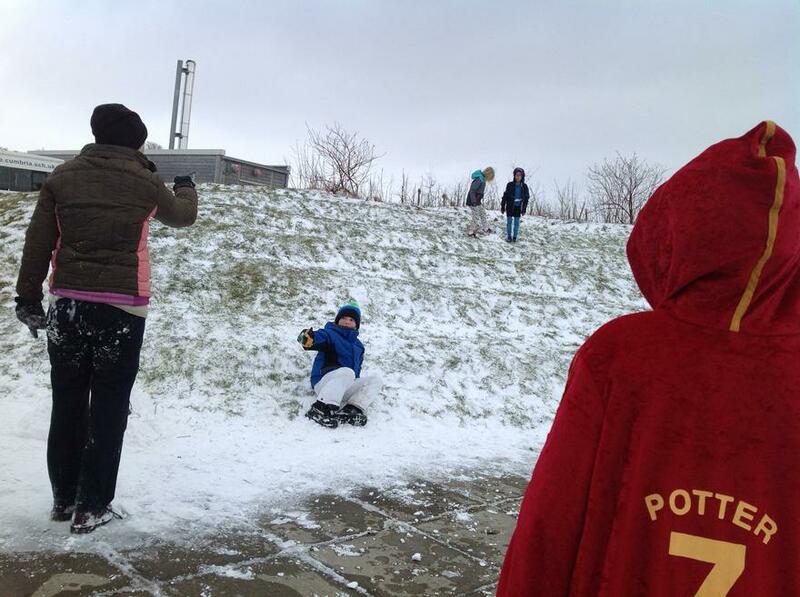 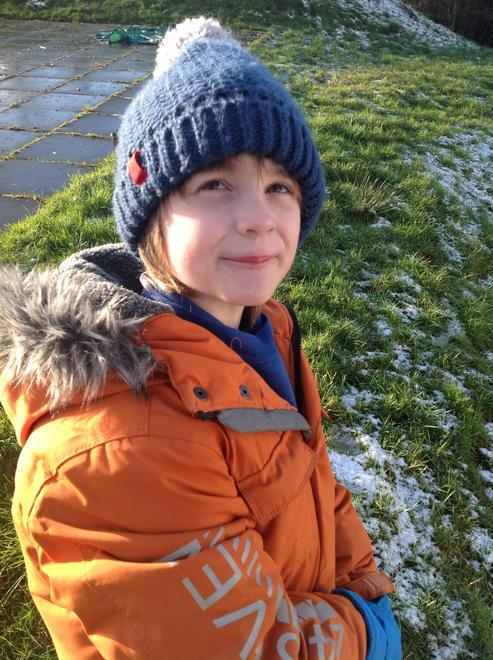 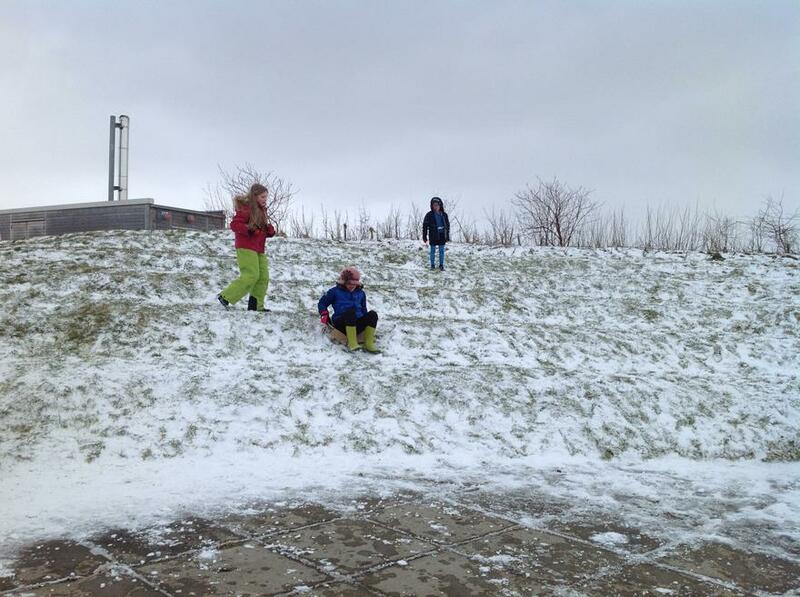 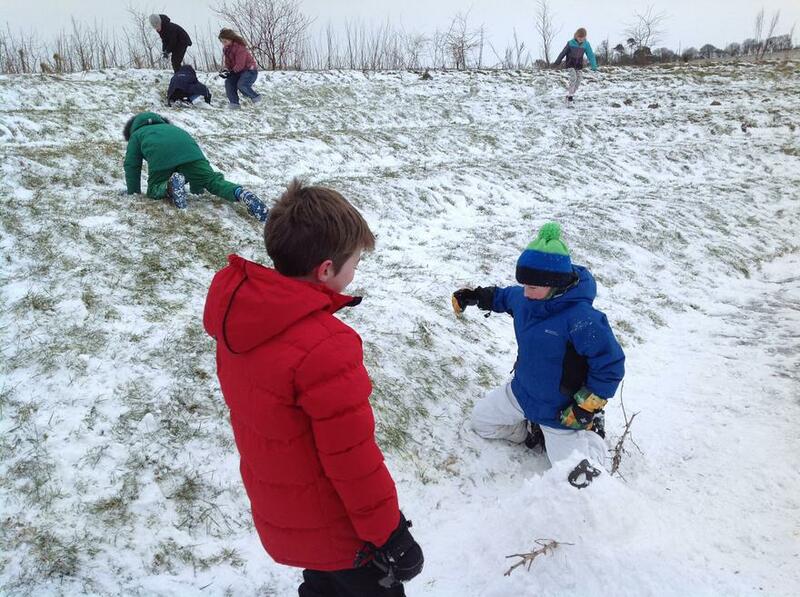 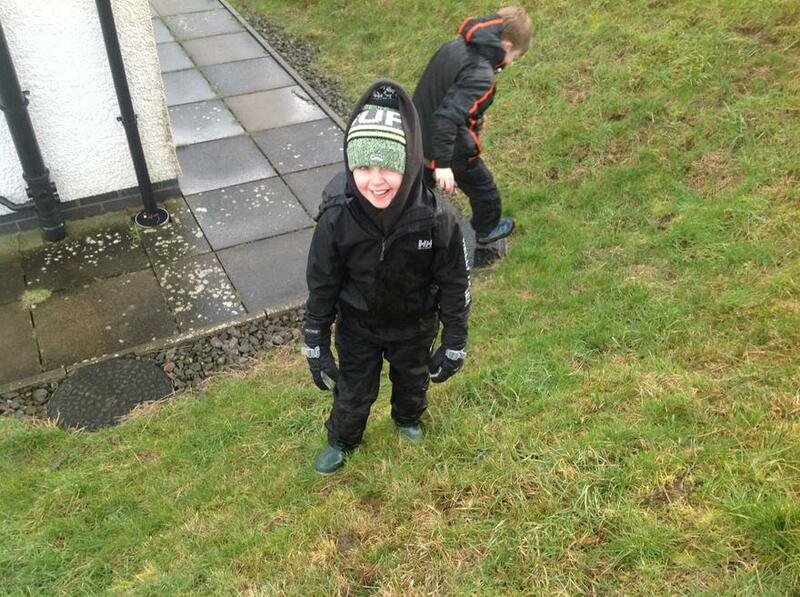 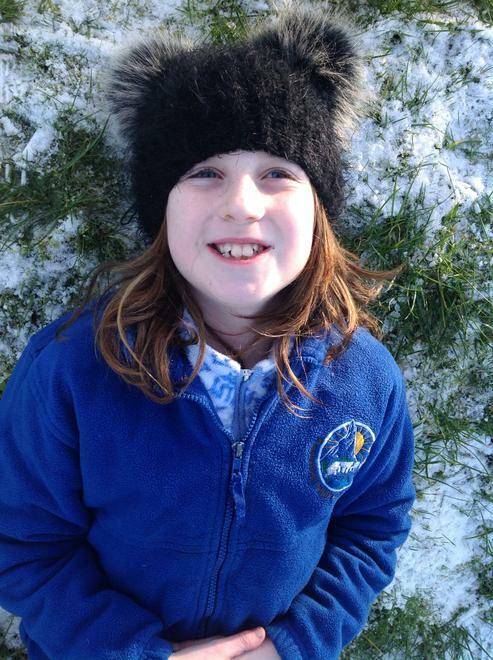 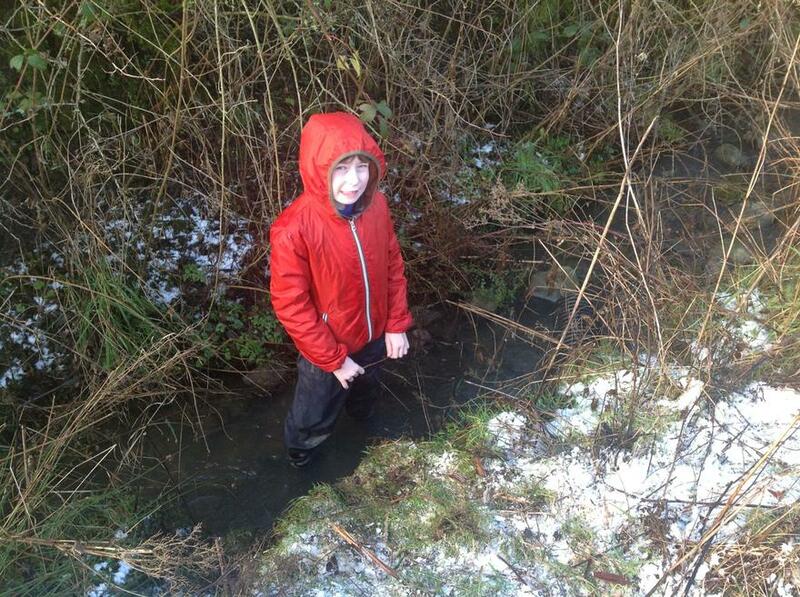 At first we were down -hearted, and then we decided to put on our outdoor gear and explore our school grounds. 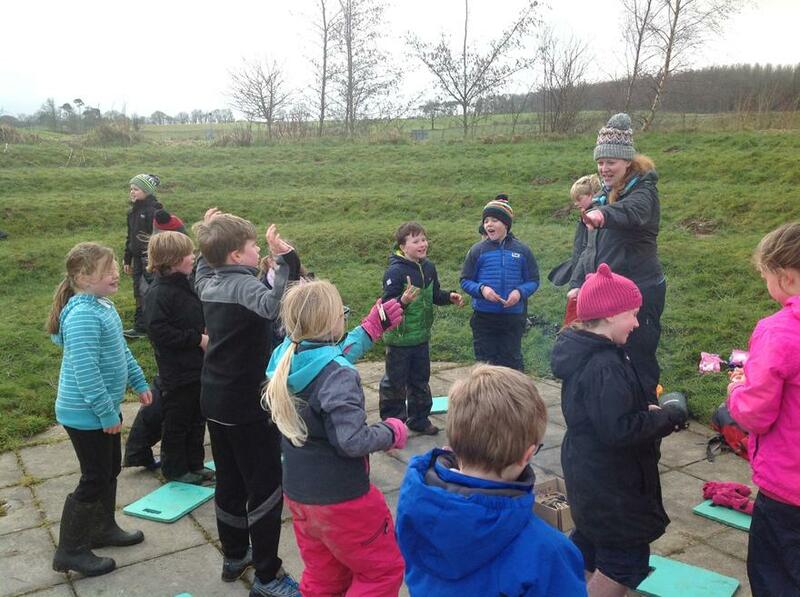 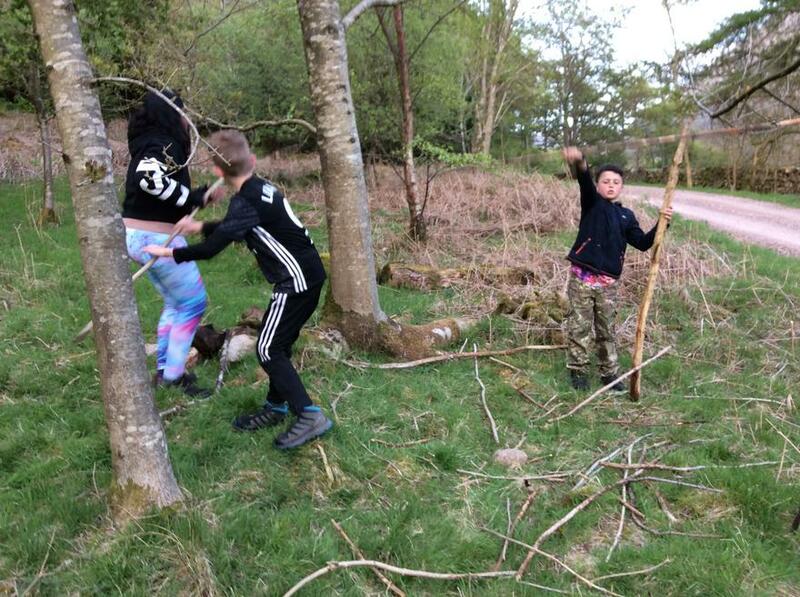 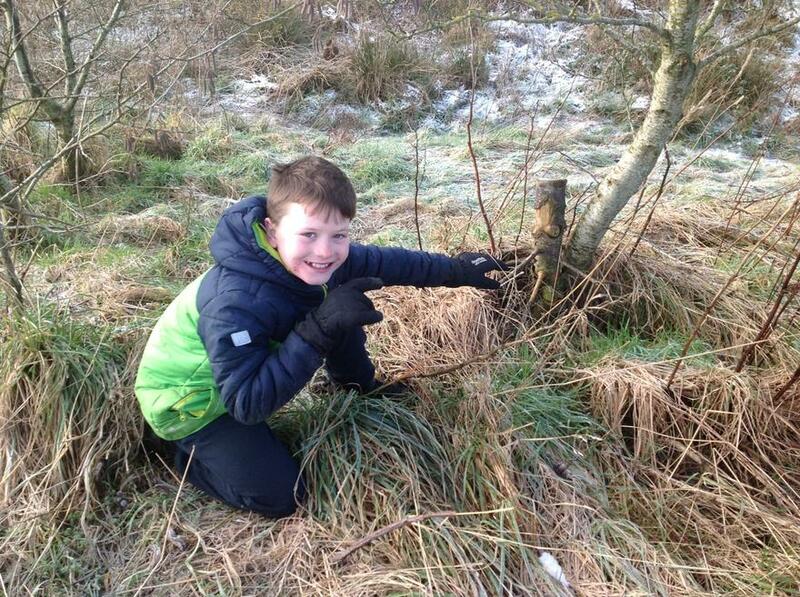 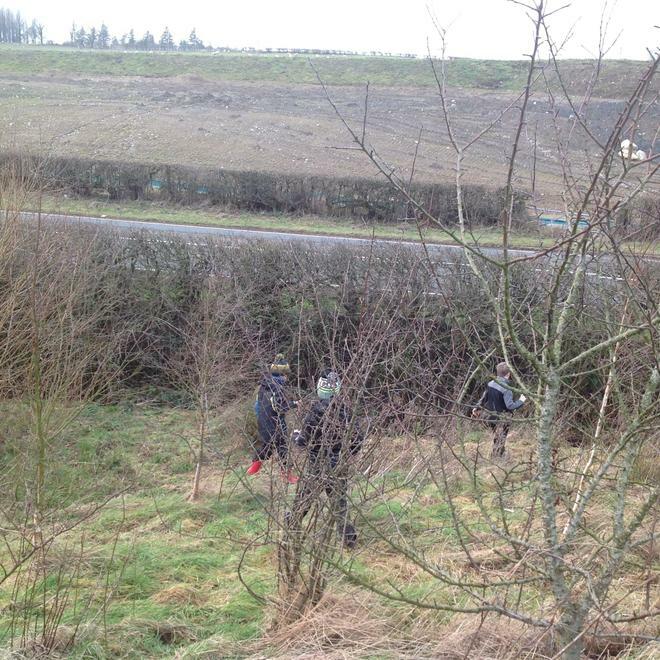 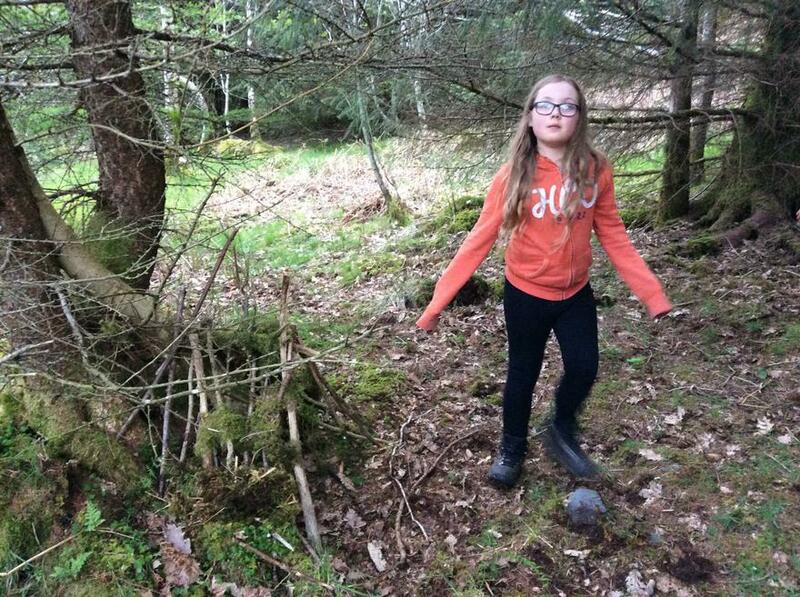 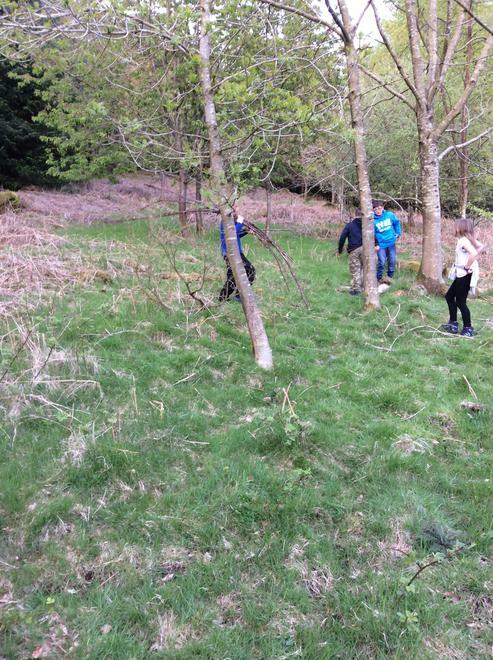 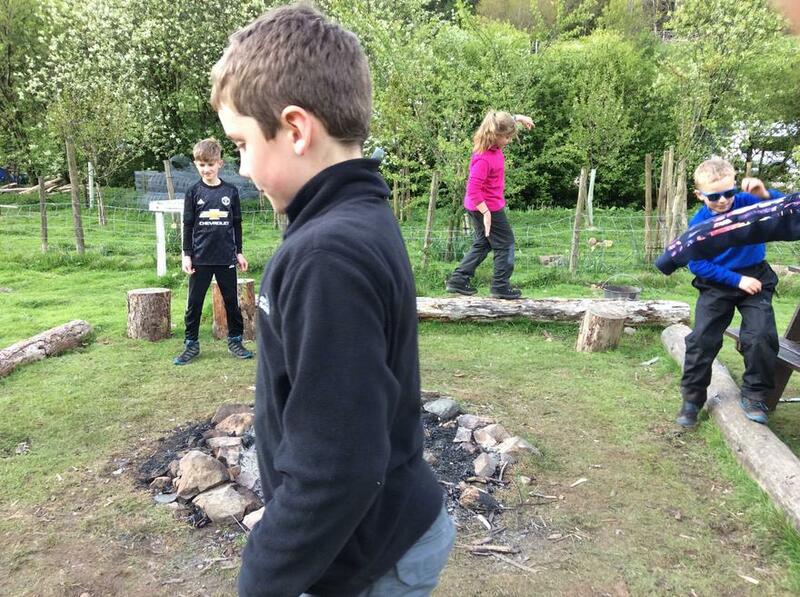 We played games, identified trees (we found 19 species of trees and shrubs around the field and secret garden! 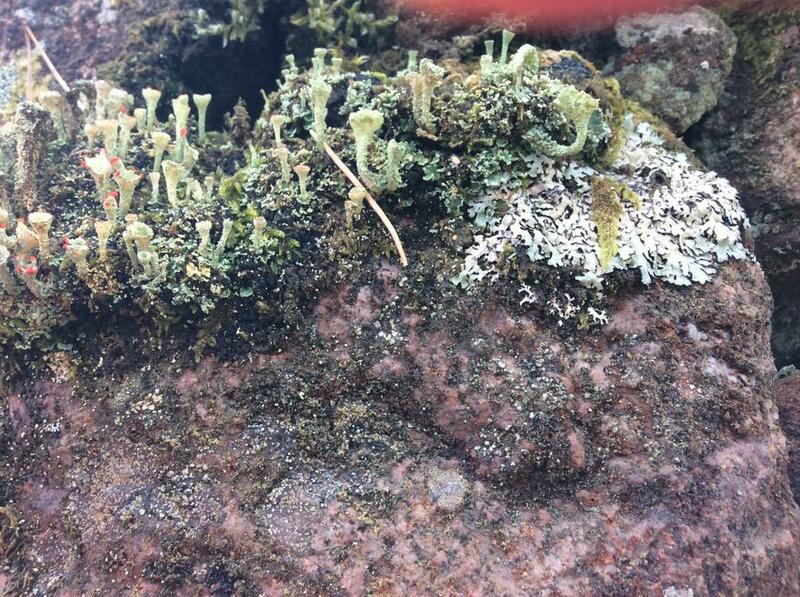 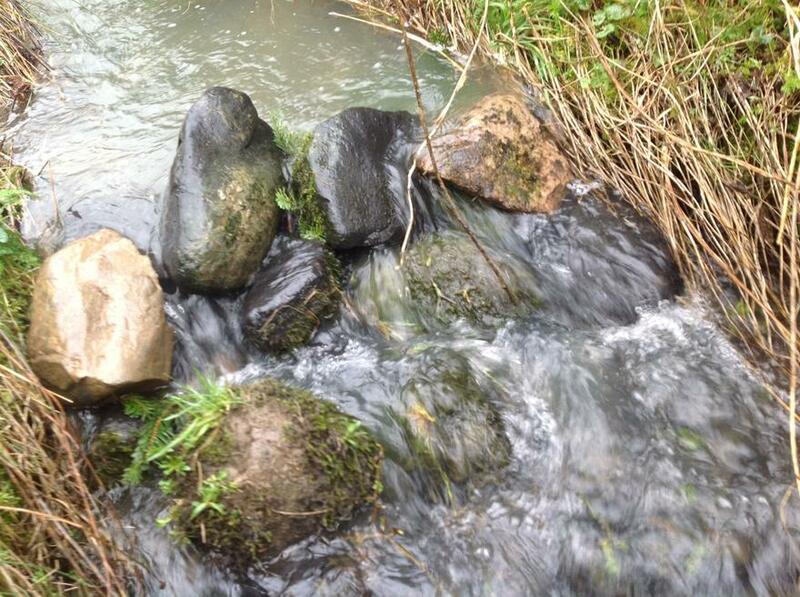 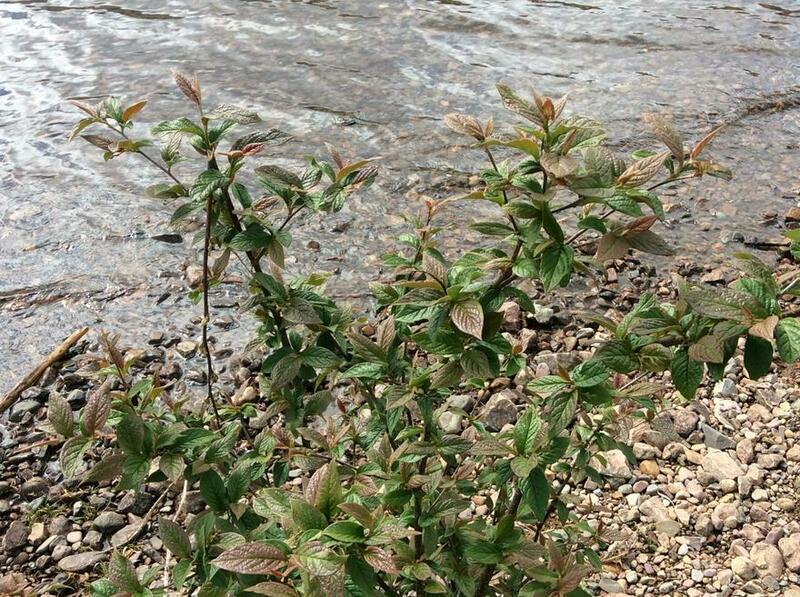 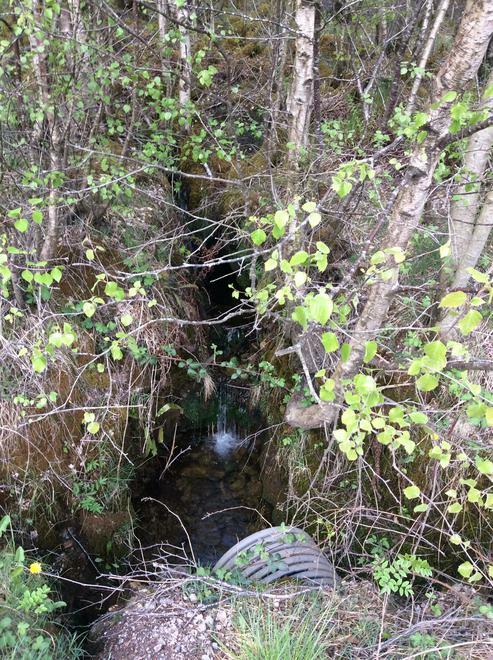 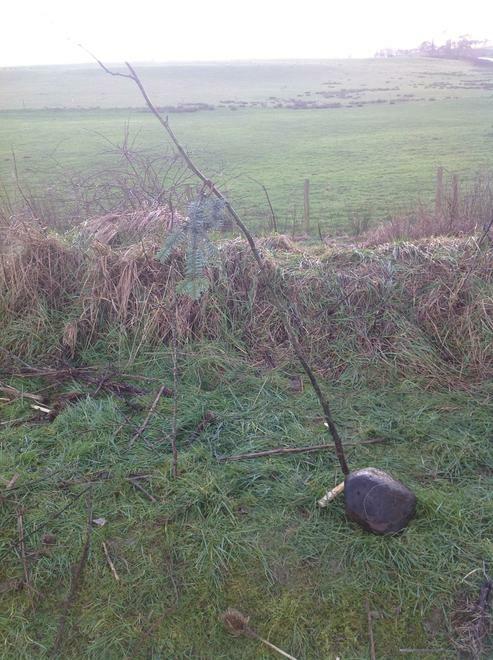 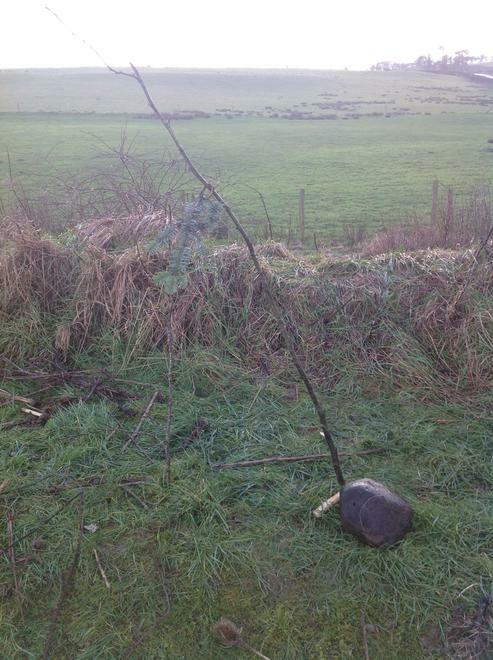 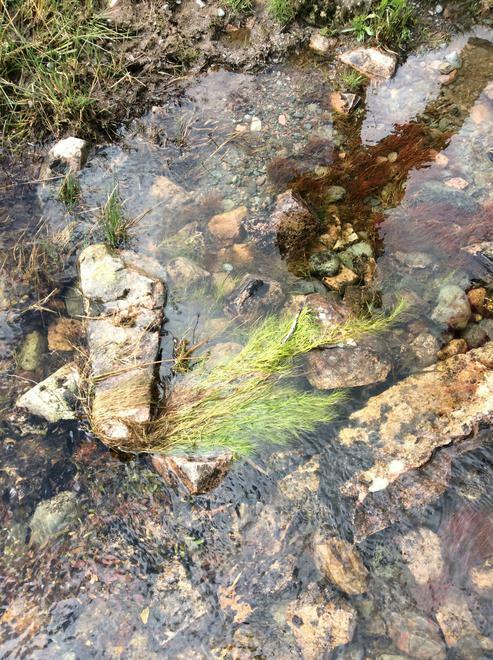 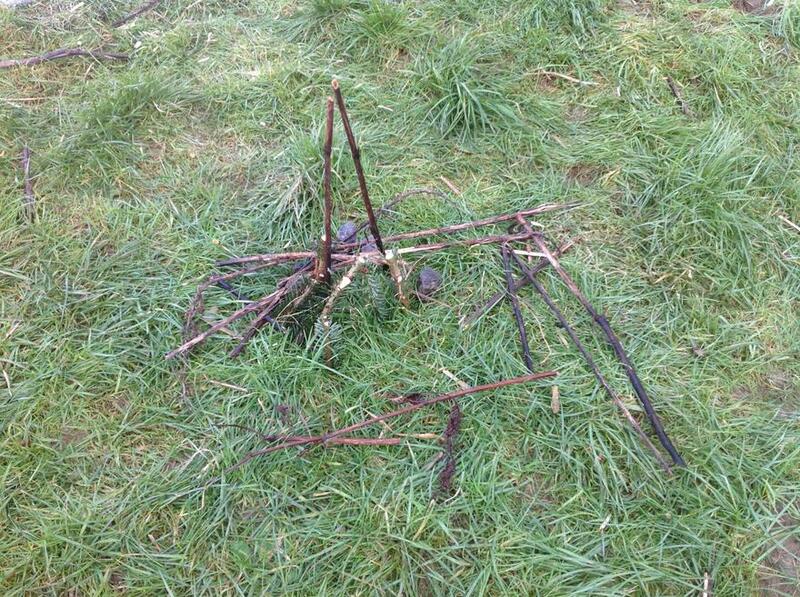 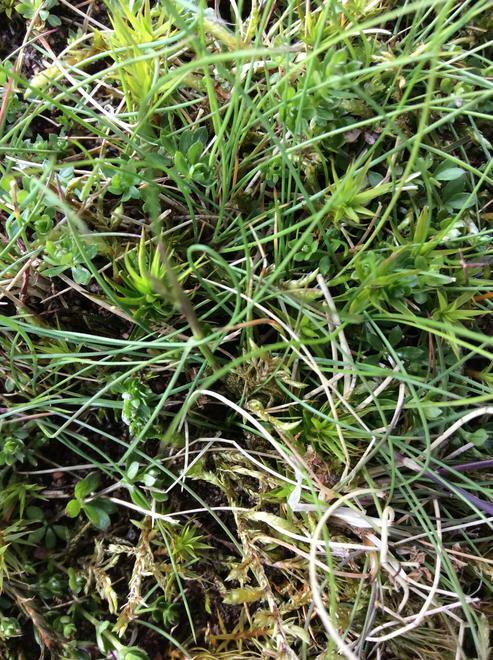 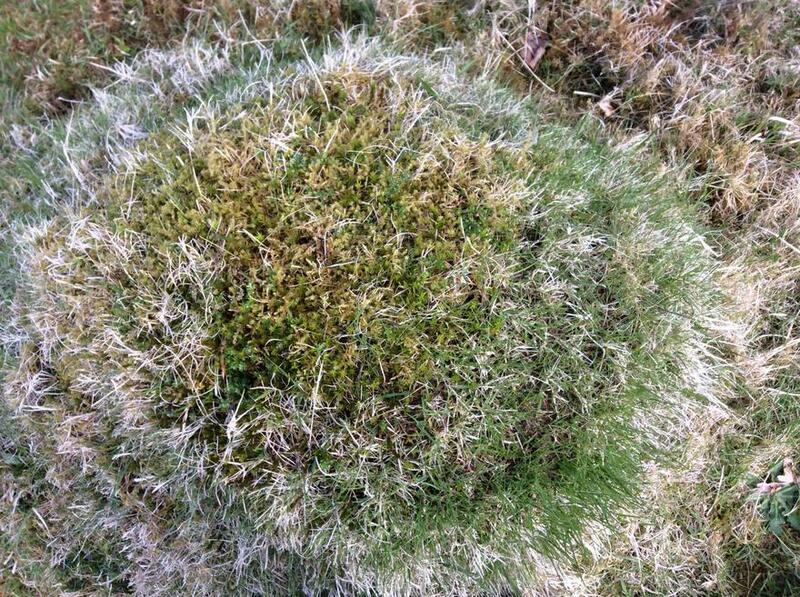 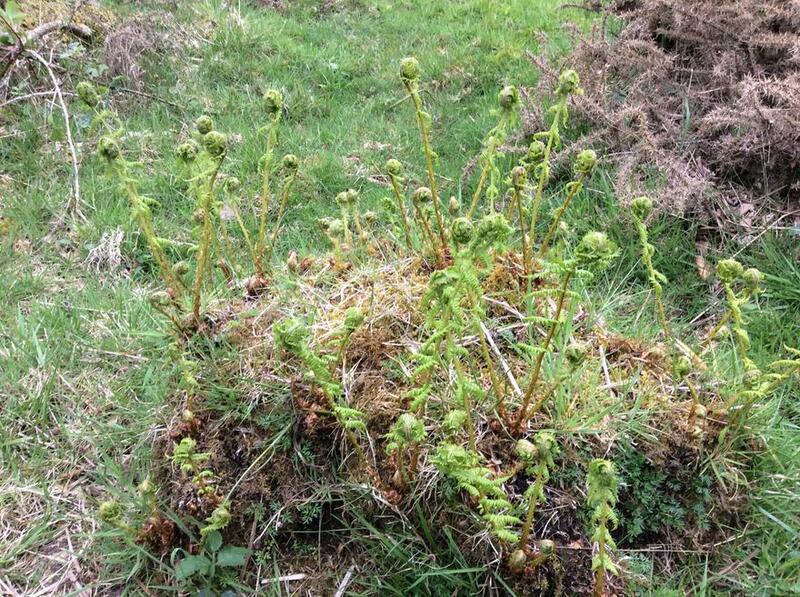 ), took photographs of the life cycles of plants and created natural sculptures. 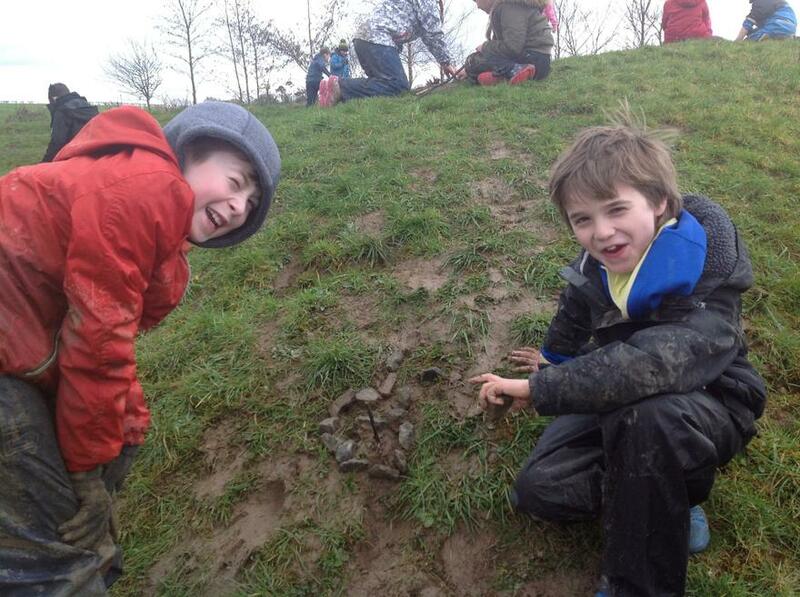 We had so much fun and got very, very muddy! 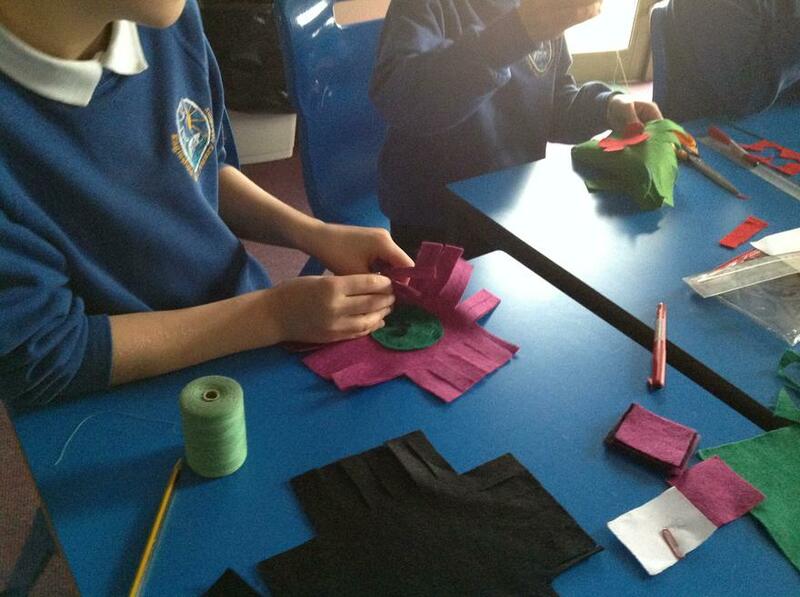 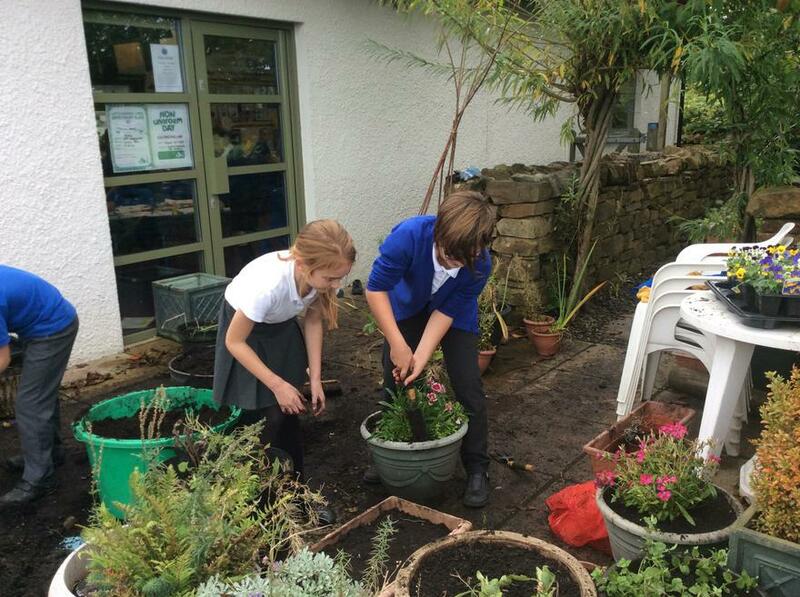 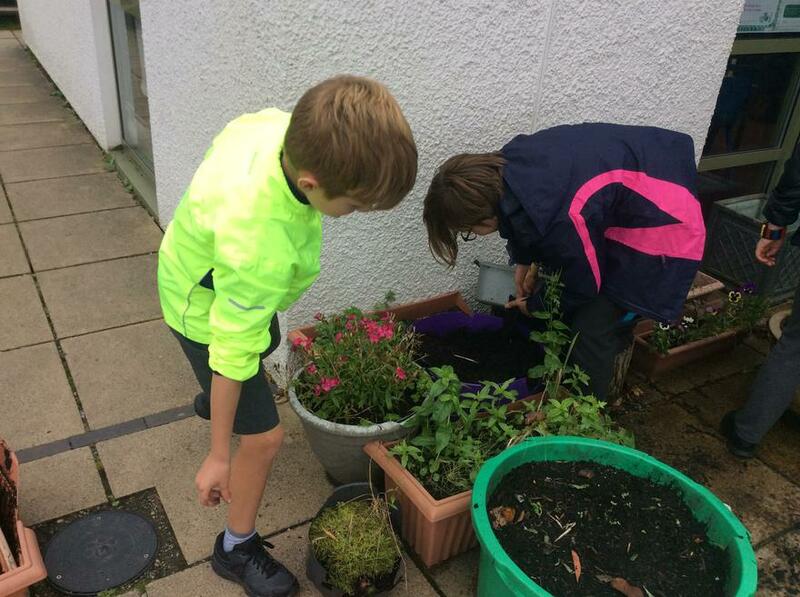 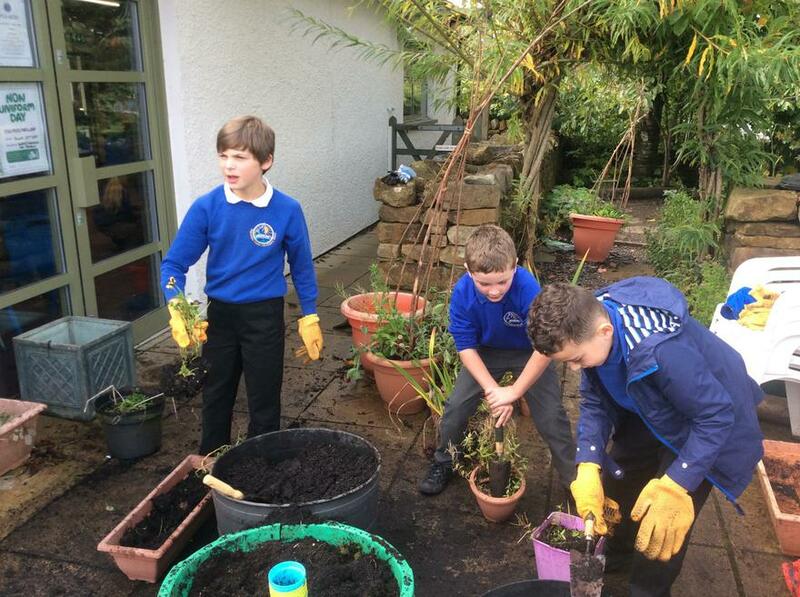 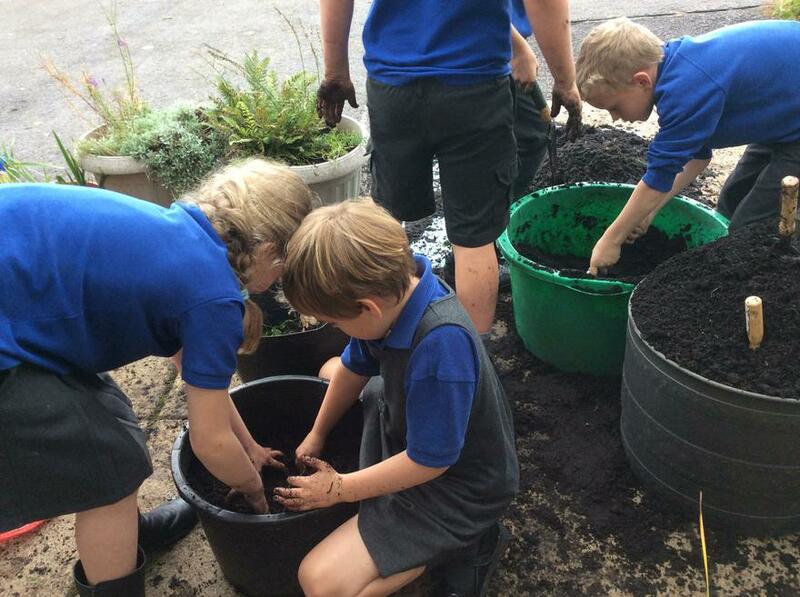 Enhancing the 'Secret Garden' and learning about flowering plants. 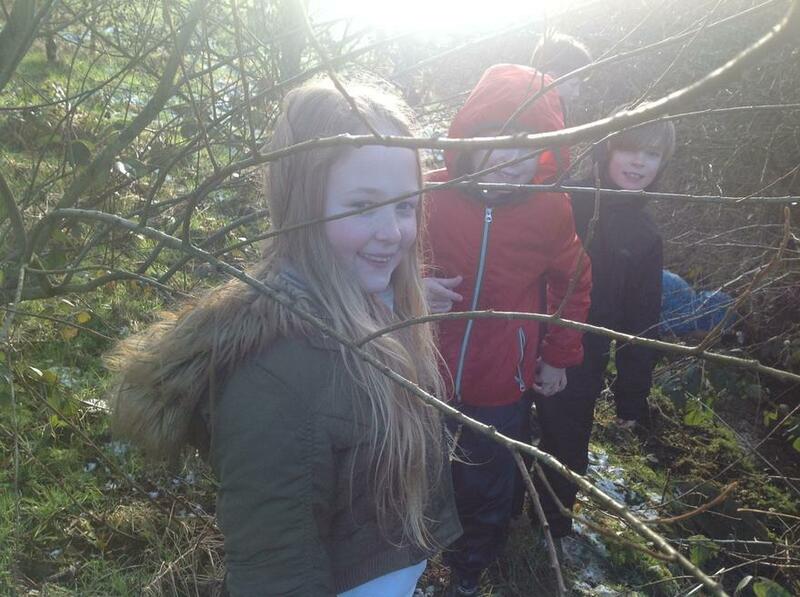 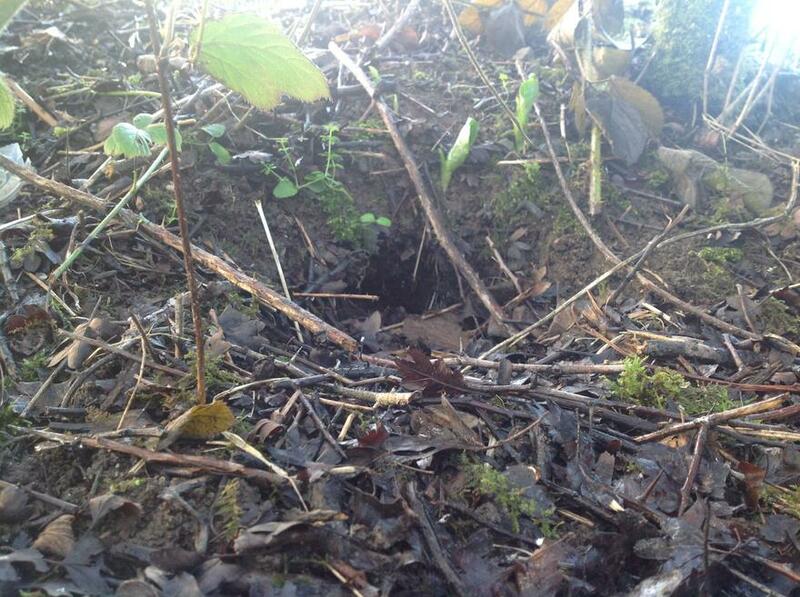 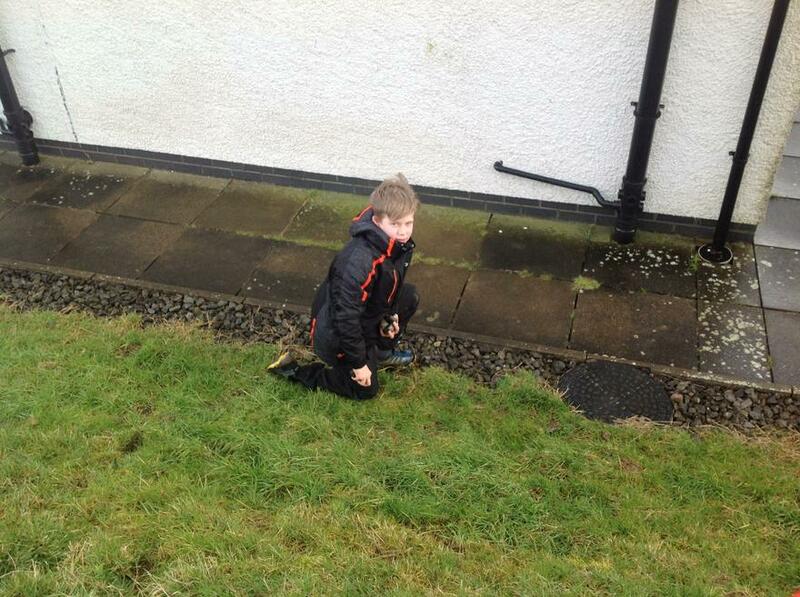 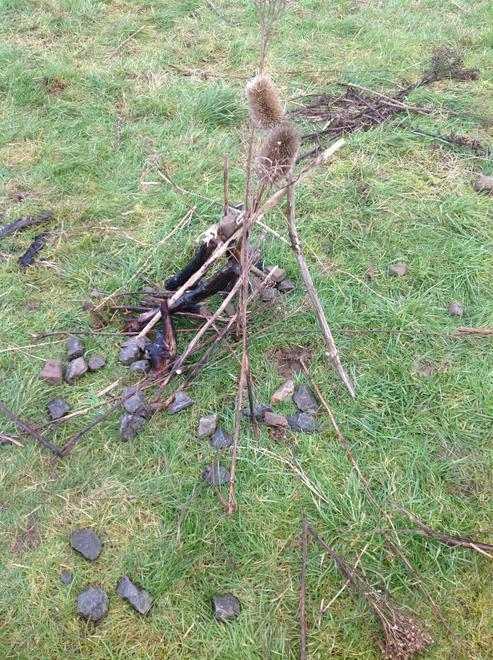 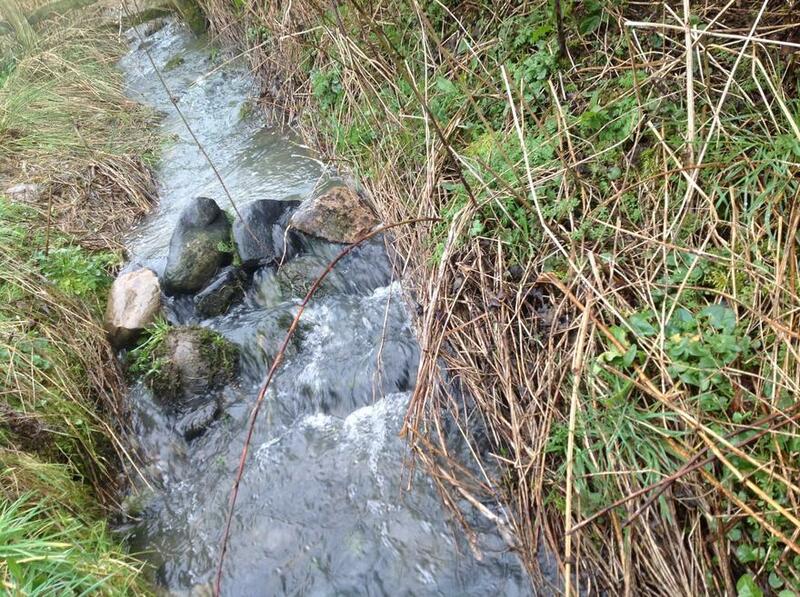 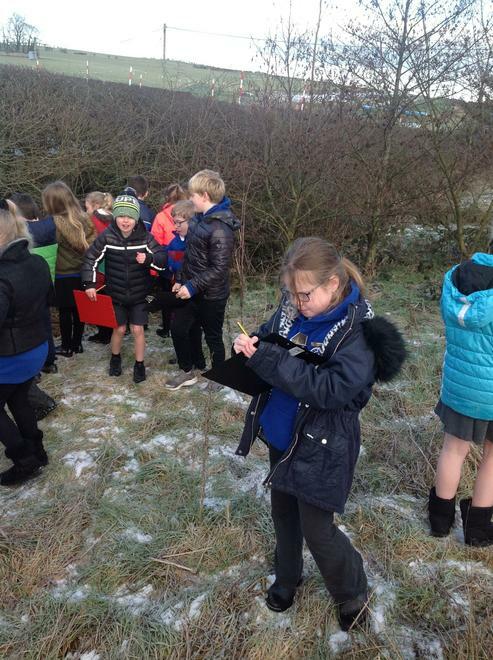 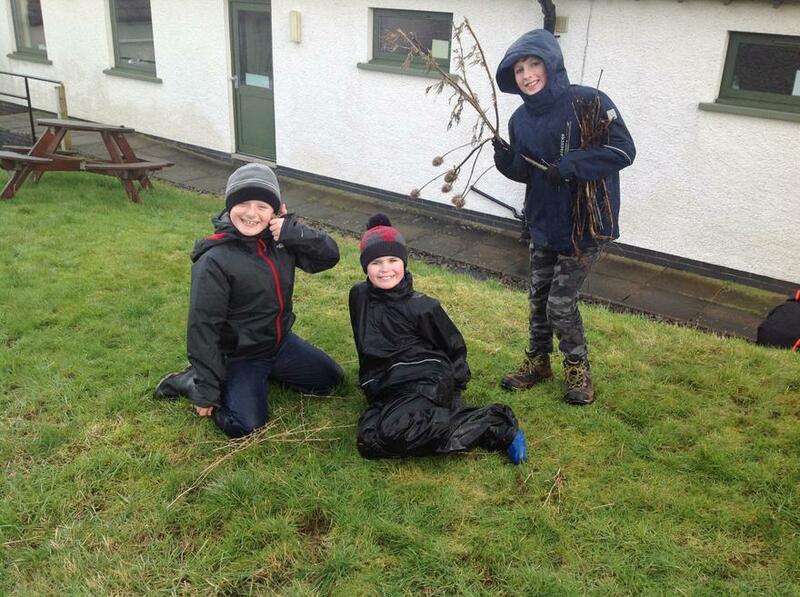 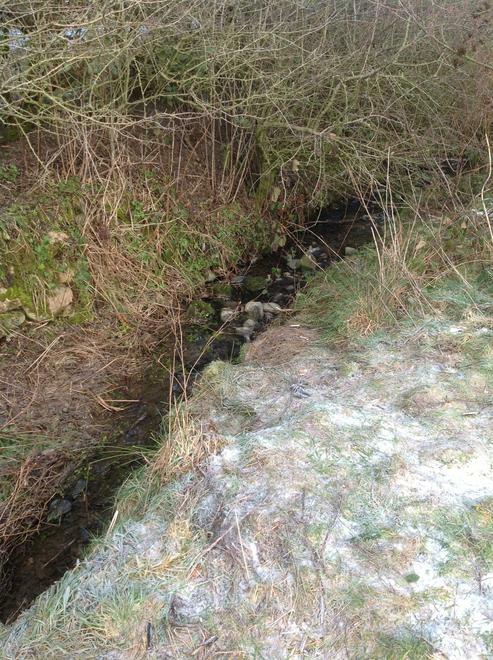 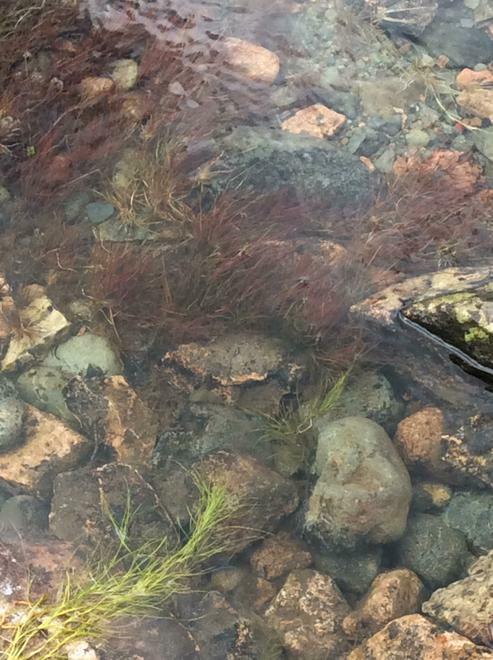 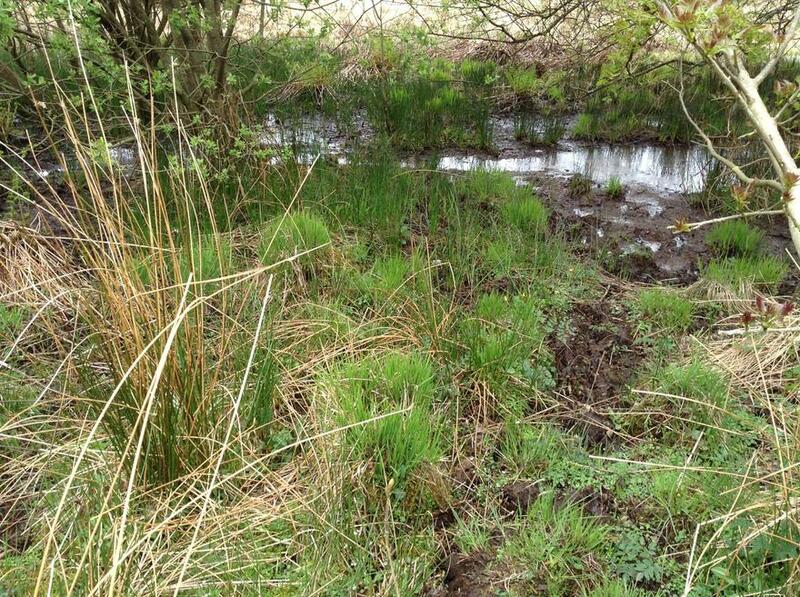 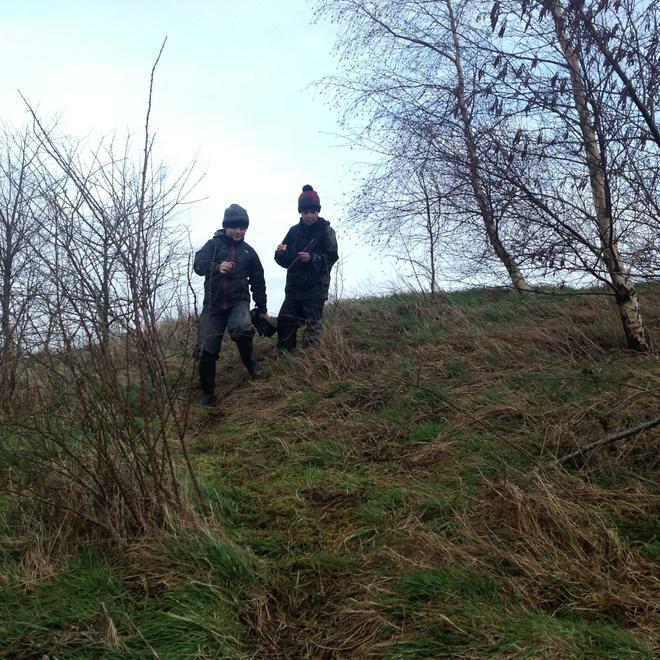 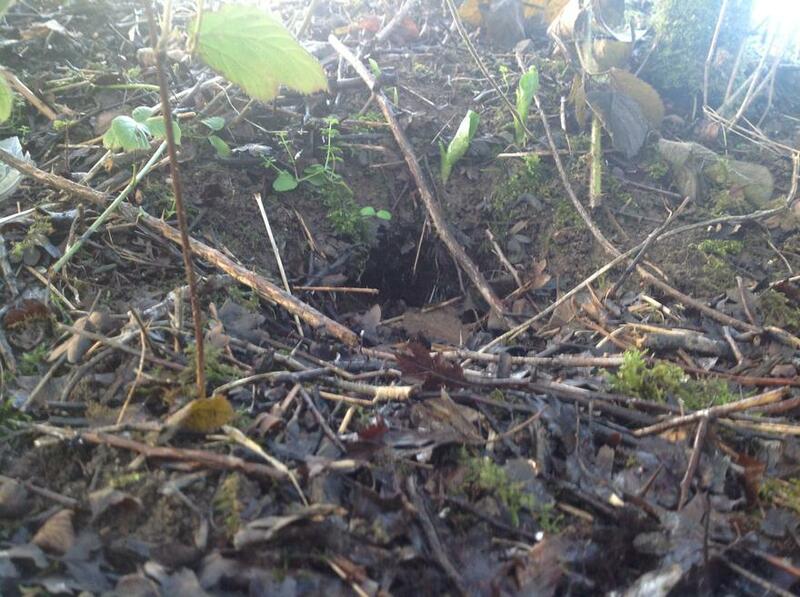 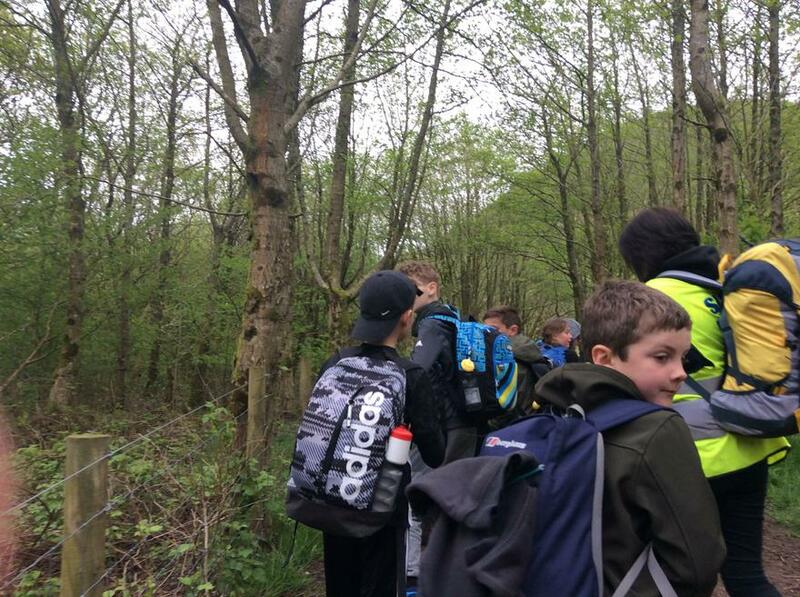 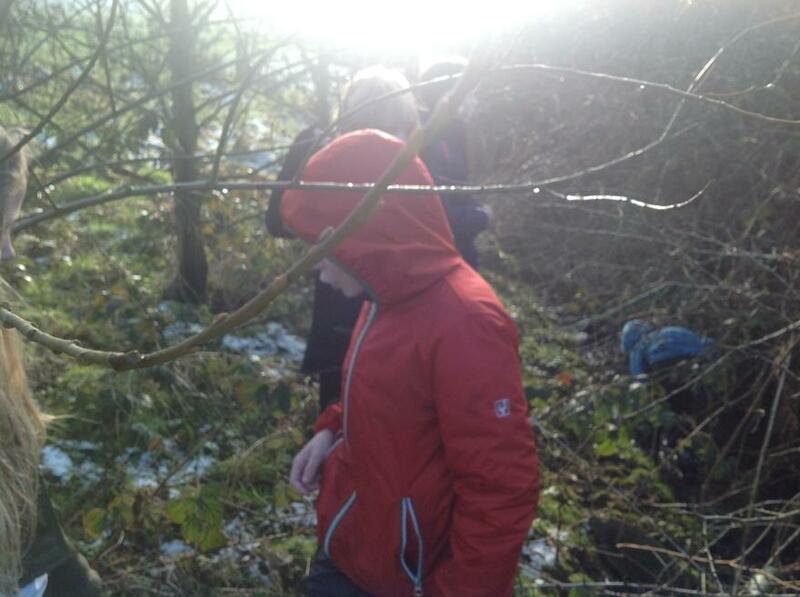 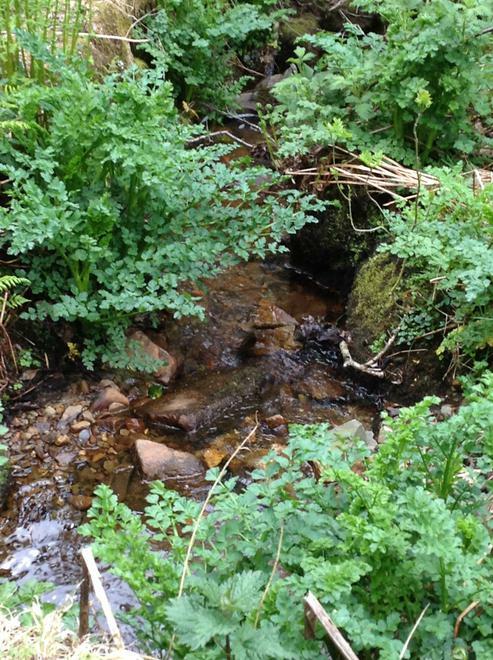 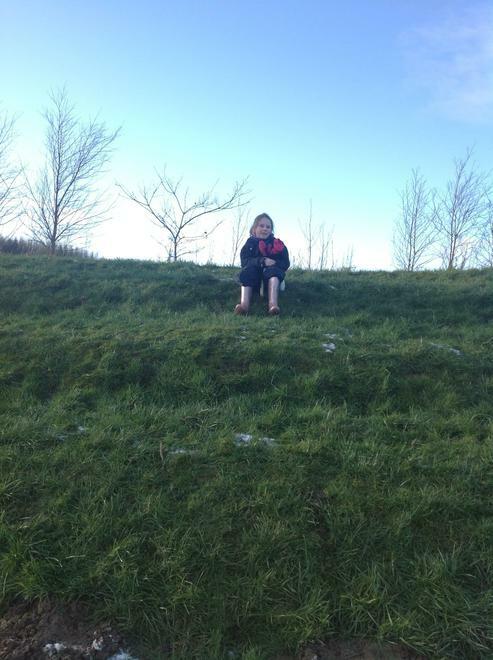 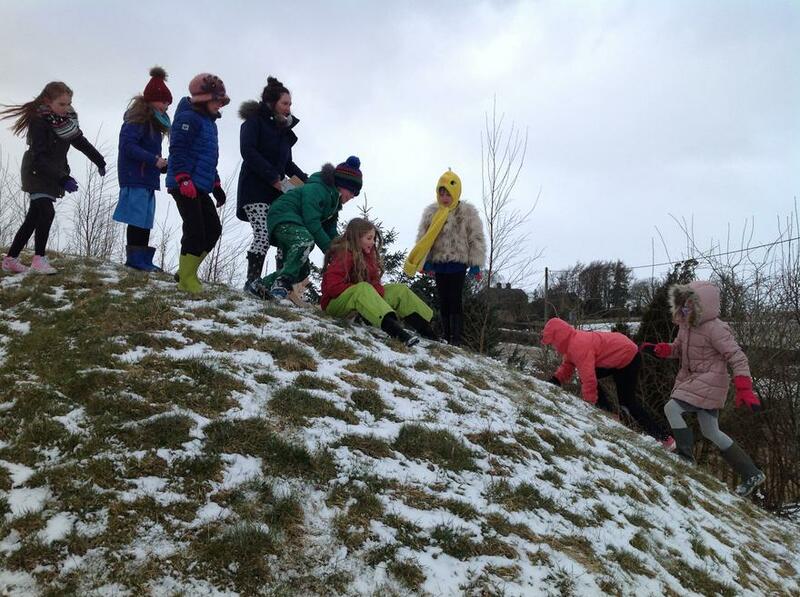 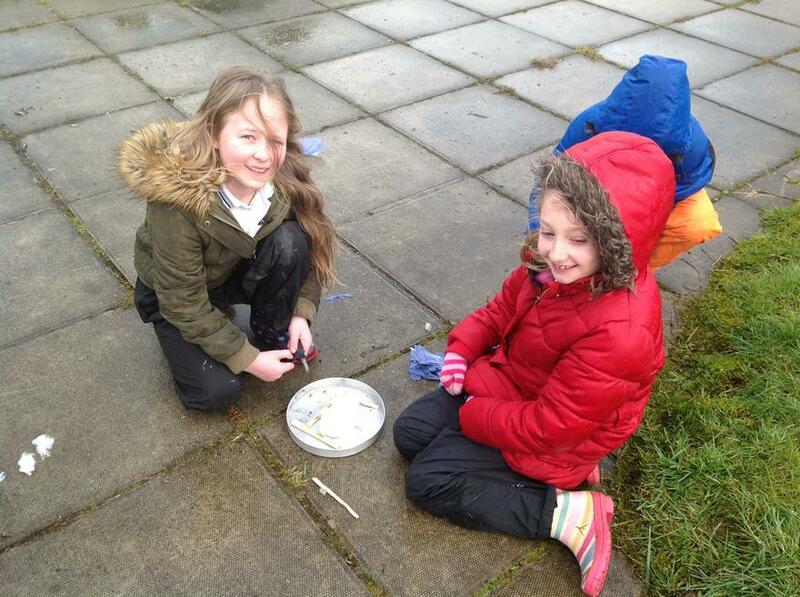 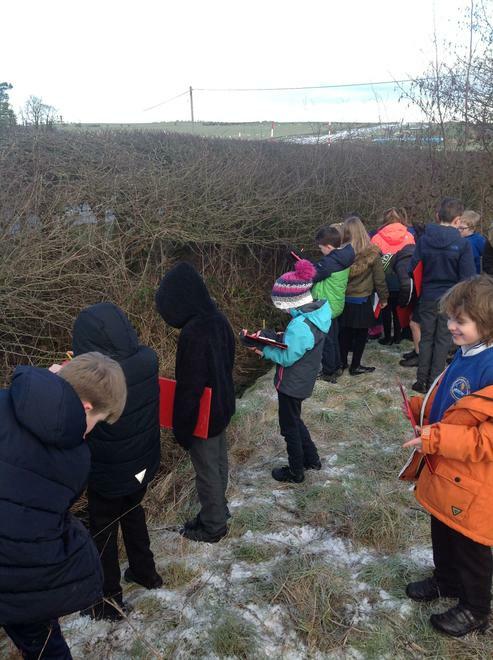 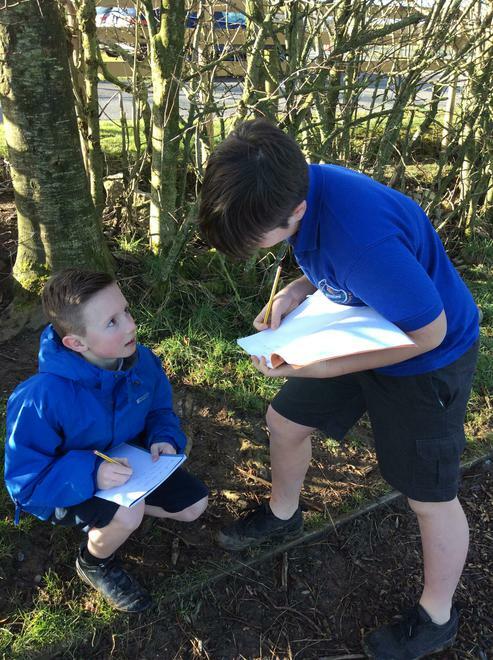 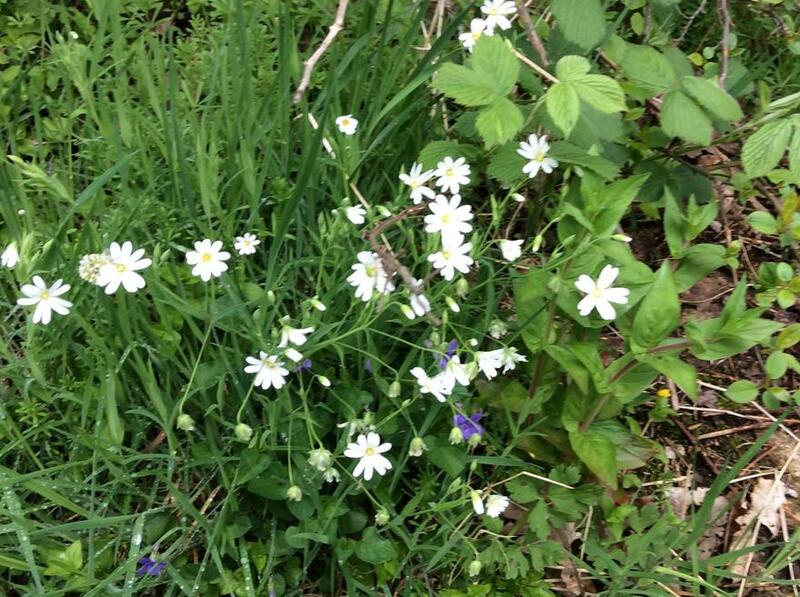 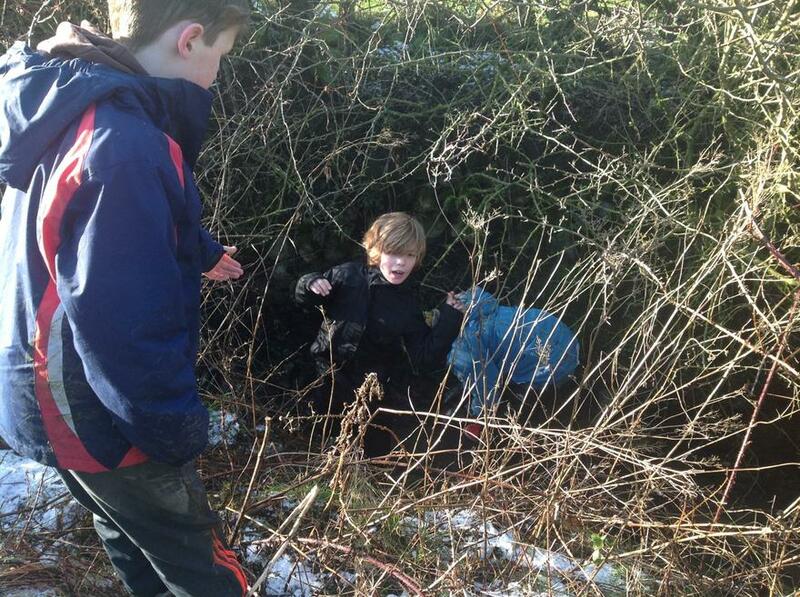 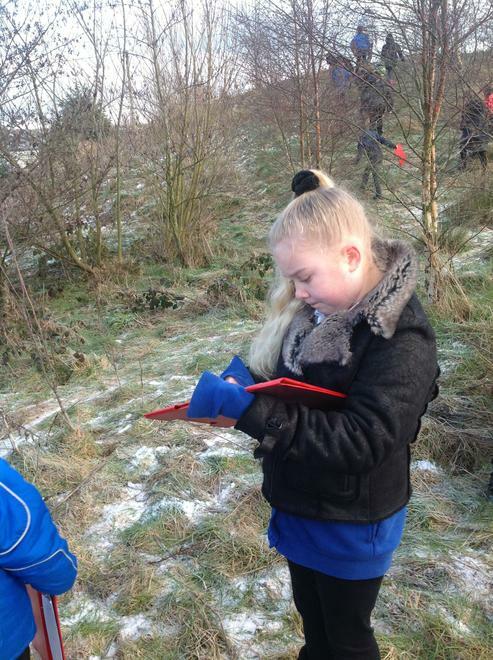 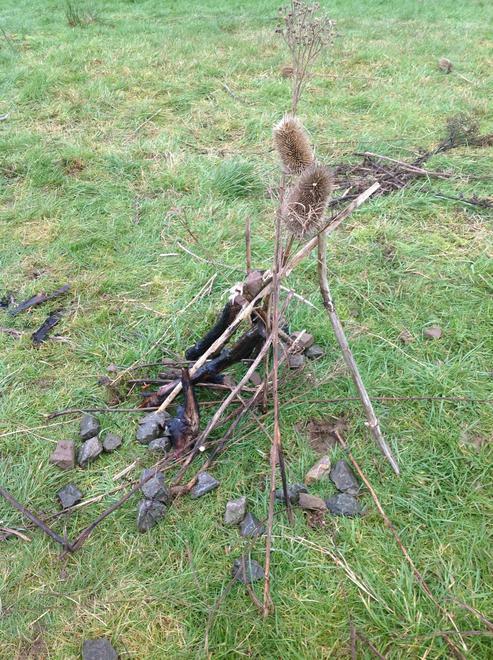 A new year has begun, and Year 5 have been out and about in the school grounds, exploring the different habitats. 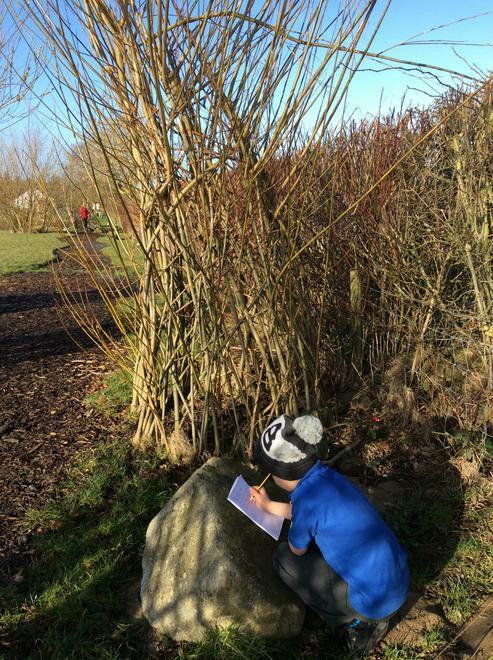 We have been searching for plants and busily creating imaginative poetry and detailed drawings.